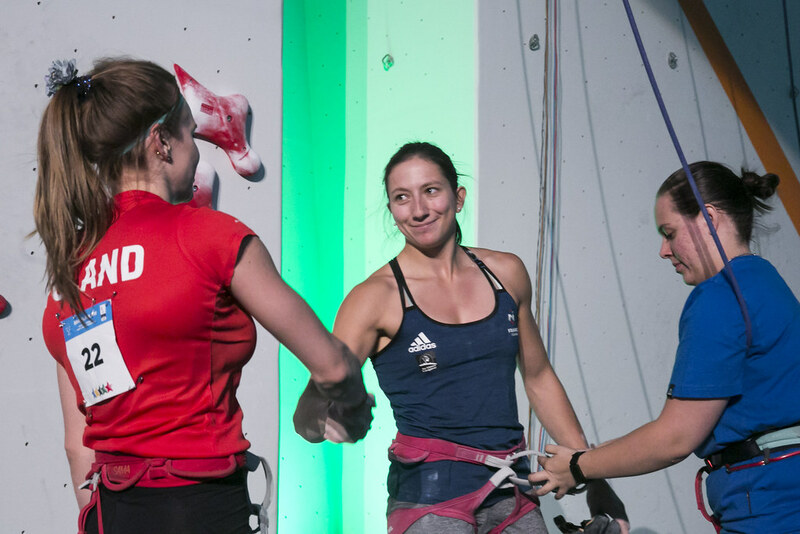 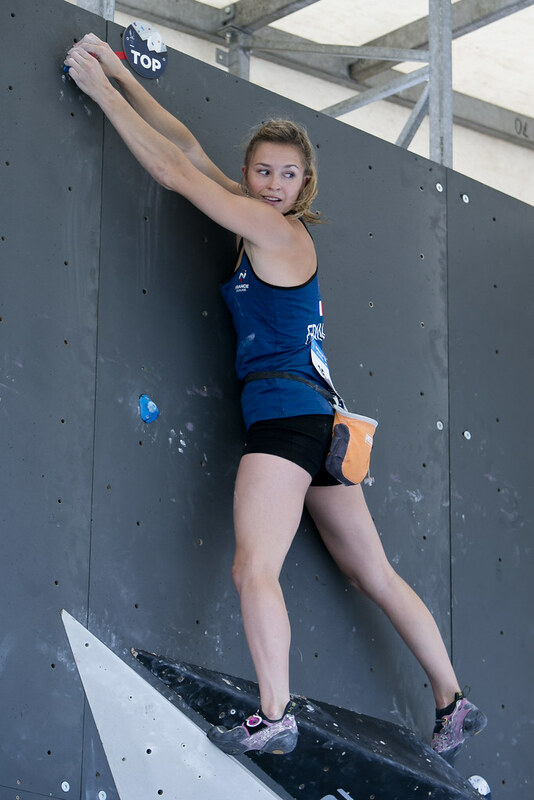 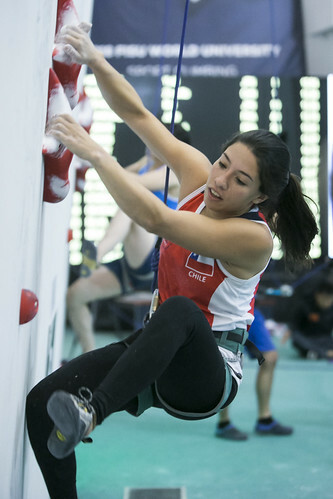 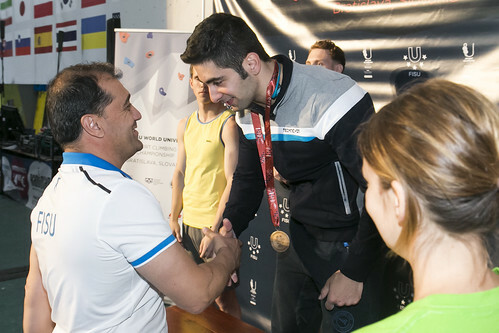 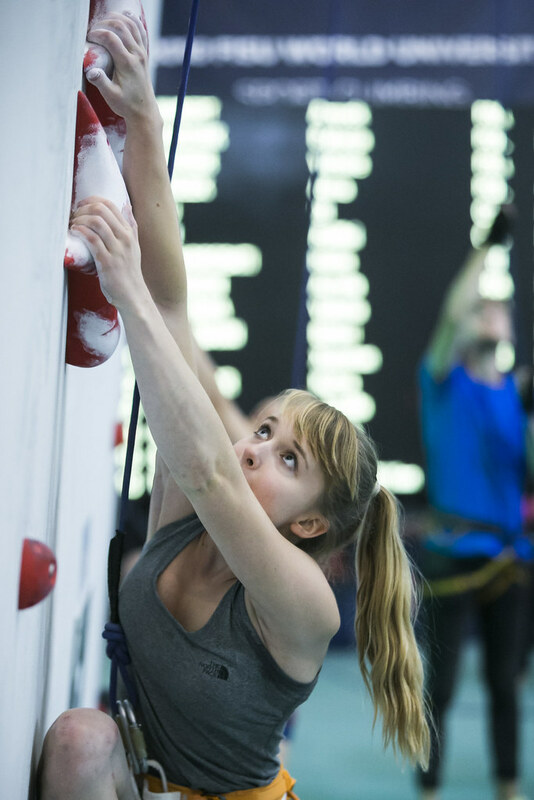 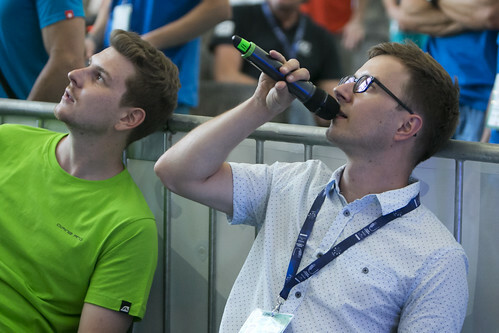 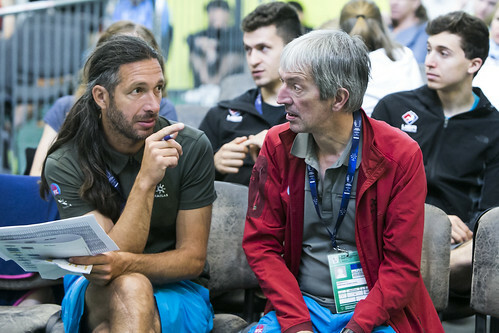 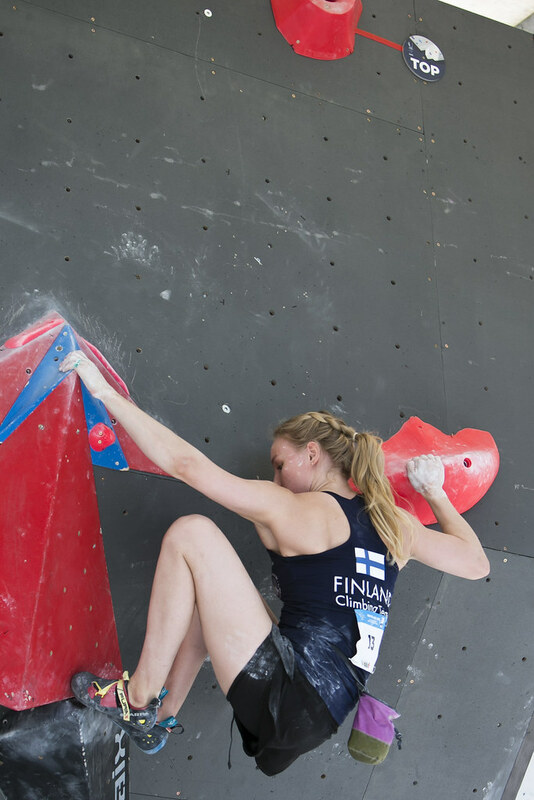 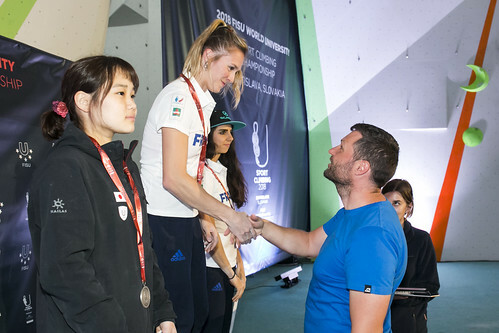 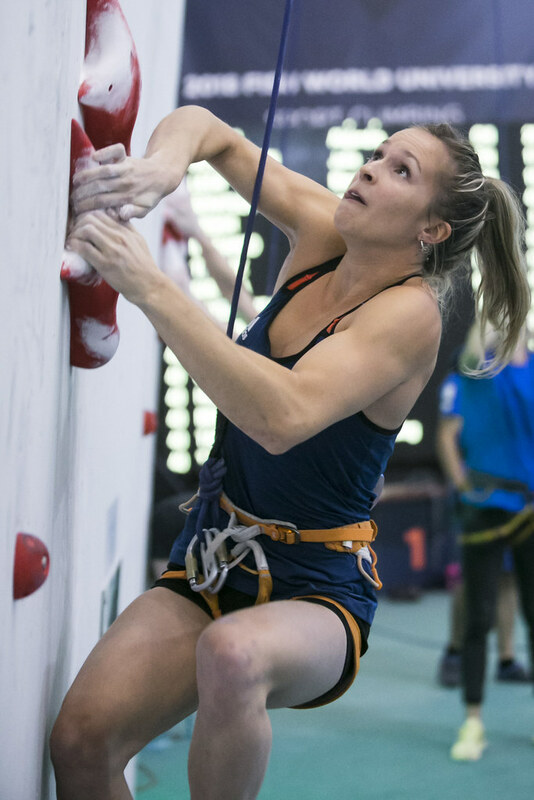 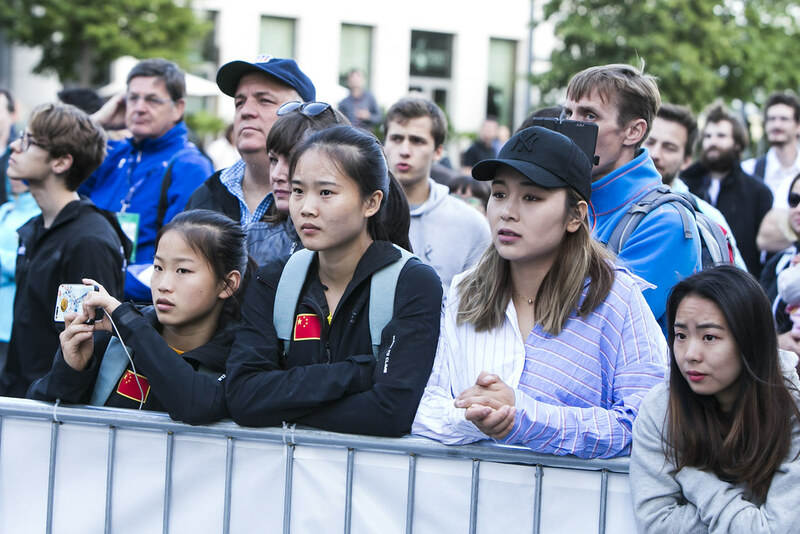 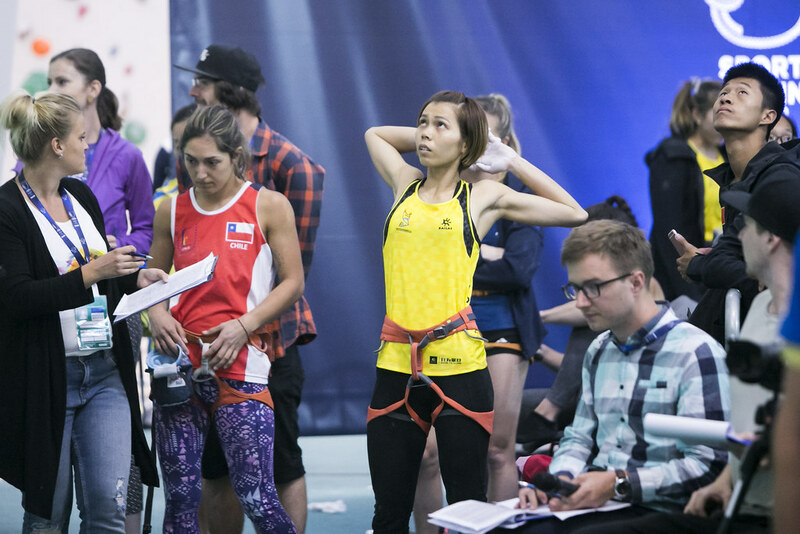 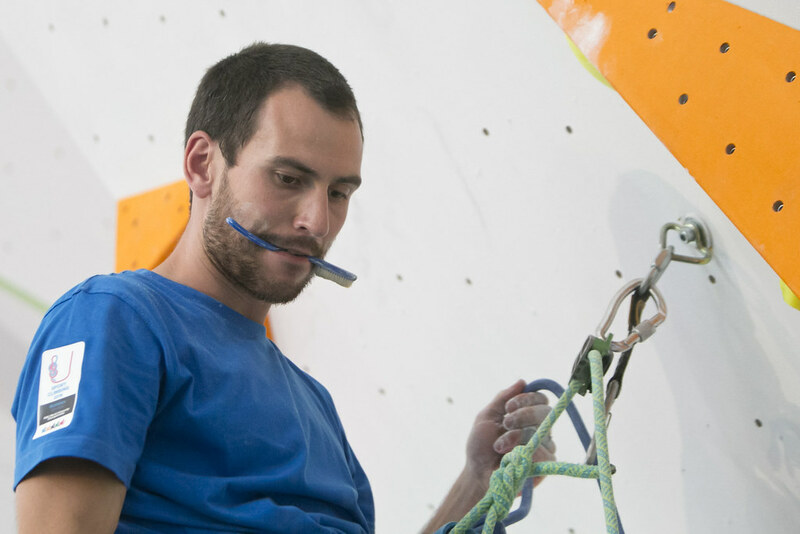 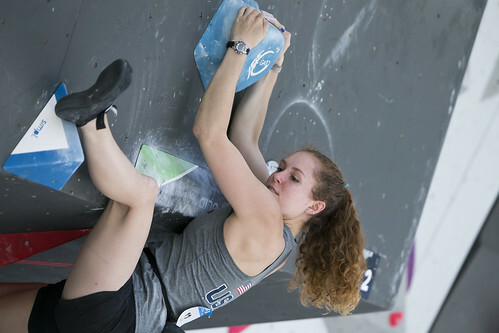 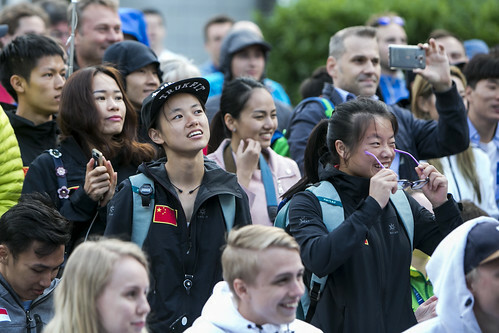 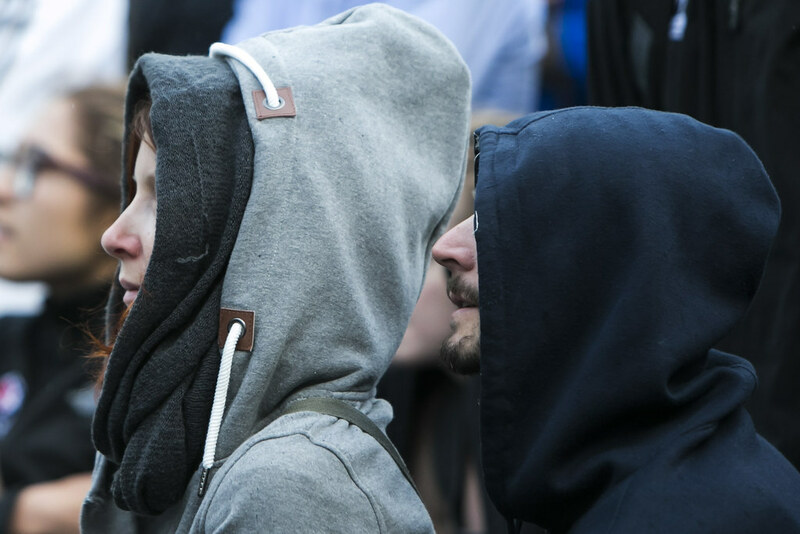 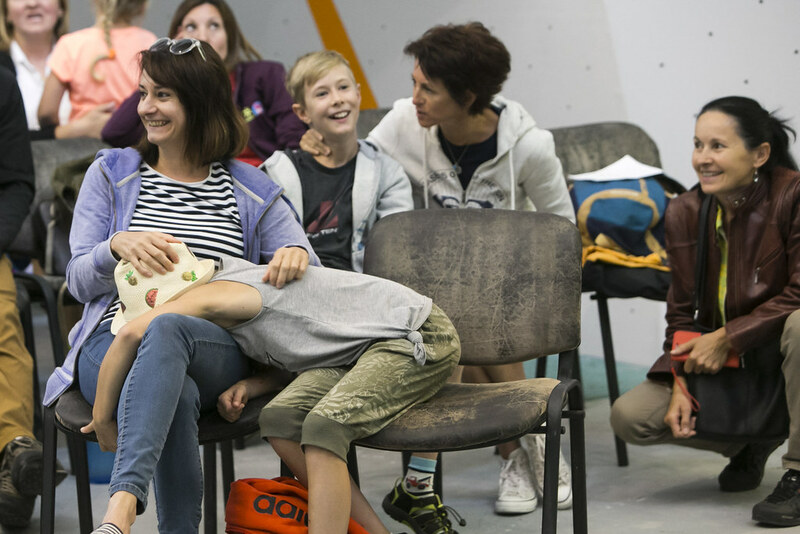 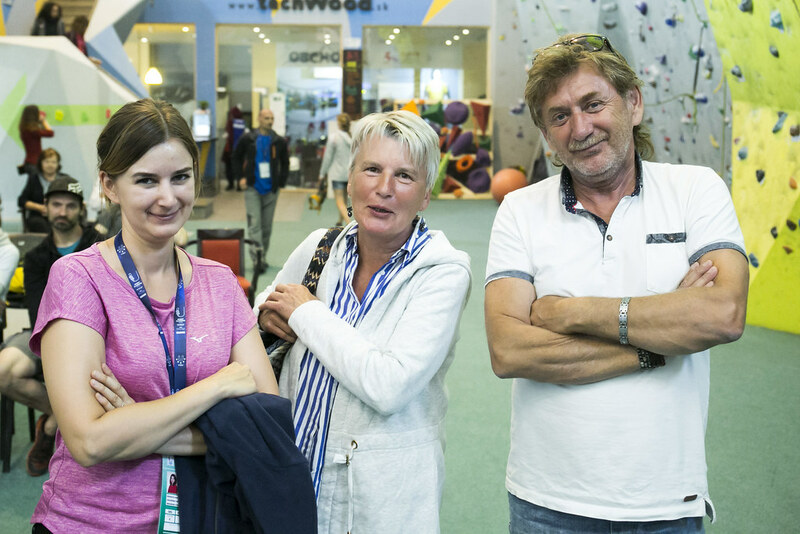 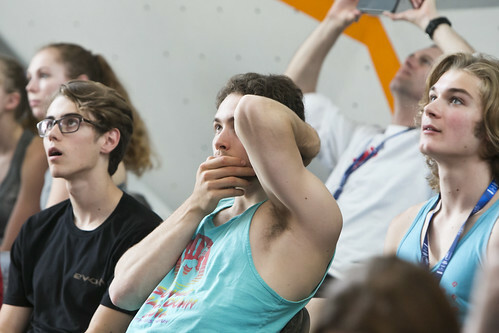 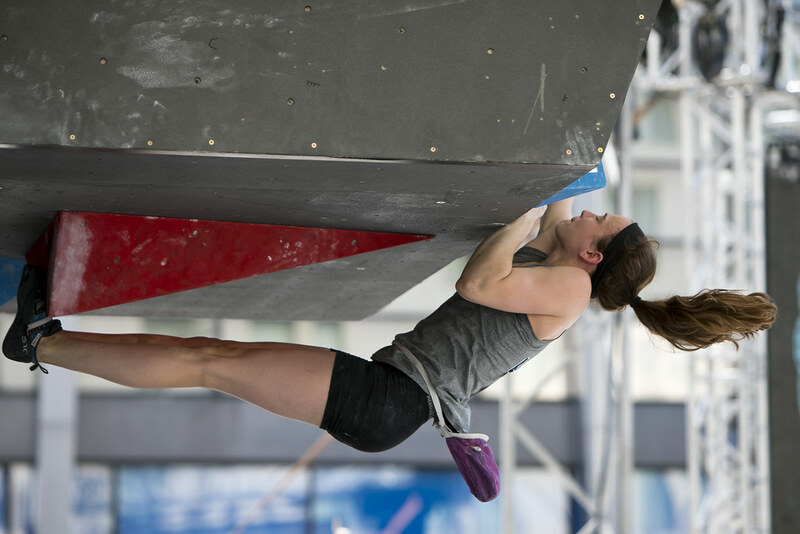 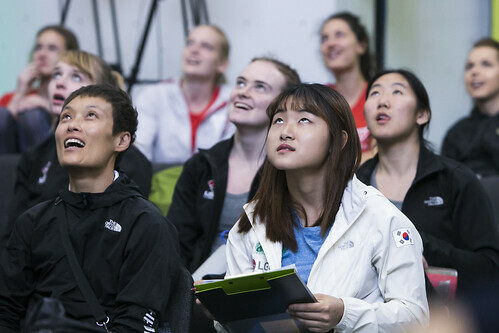 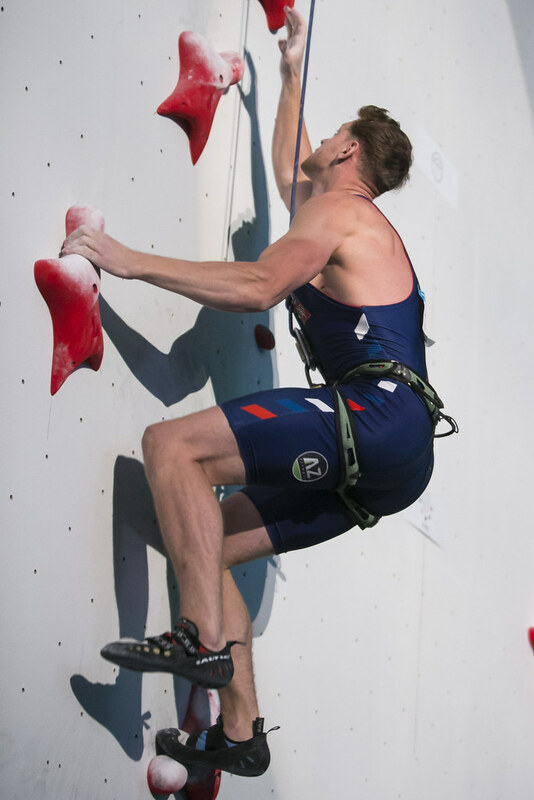 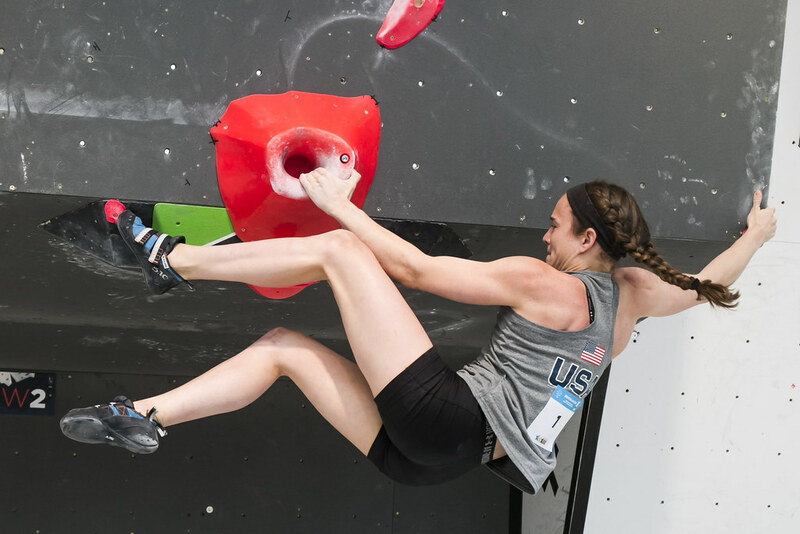 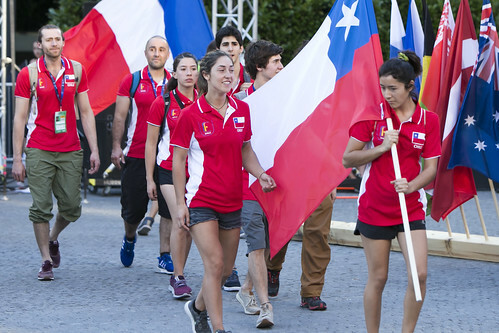 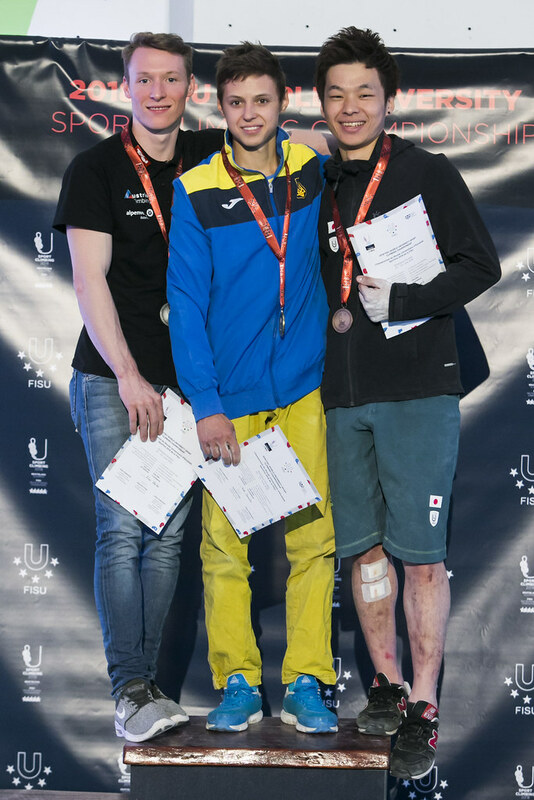 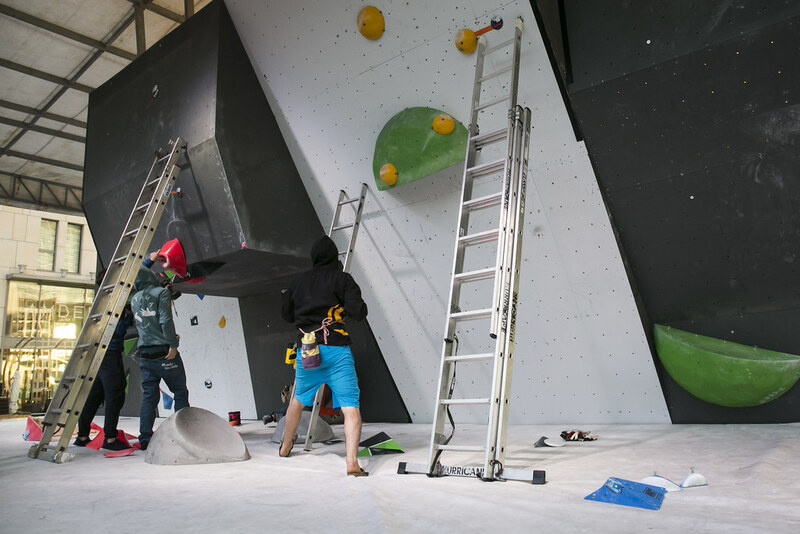 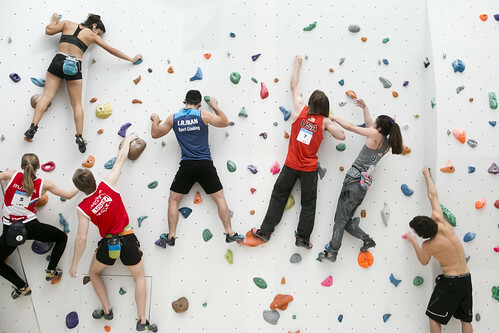 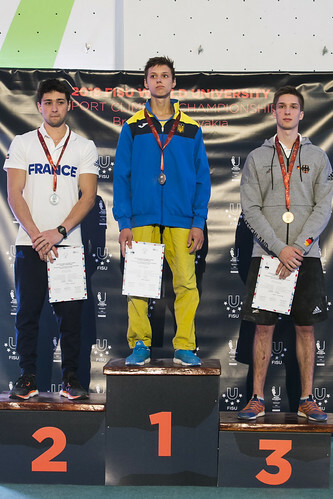 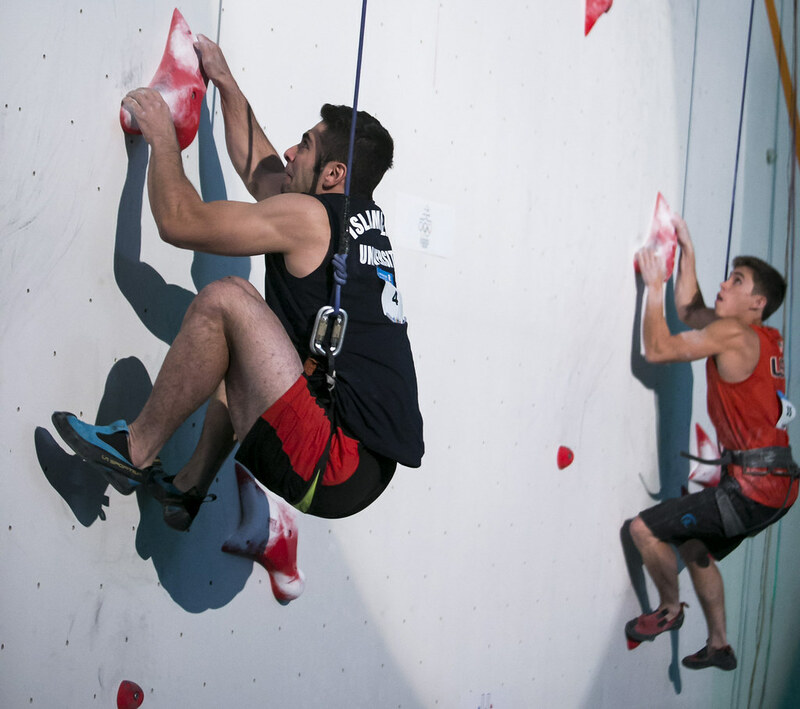 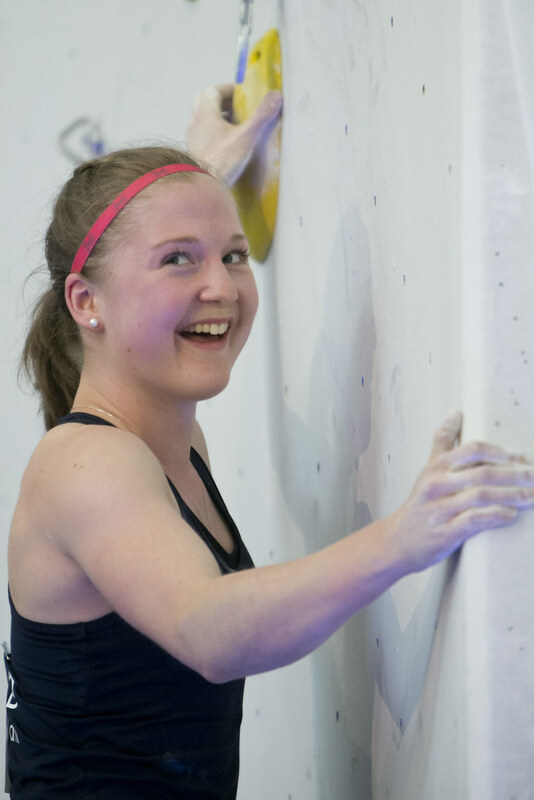 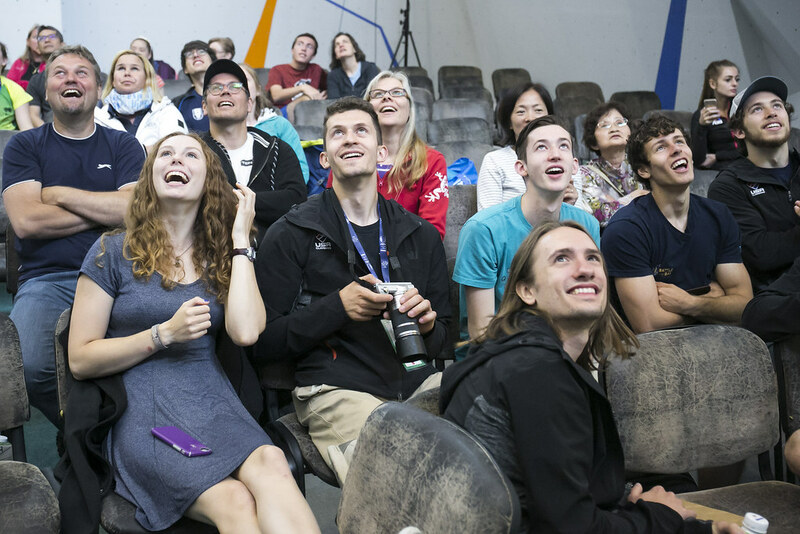 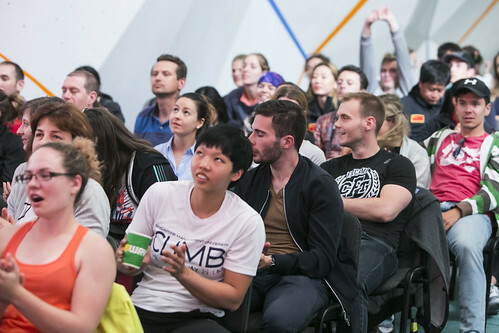 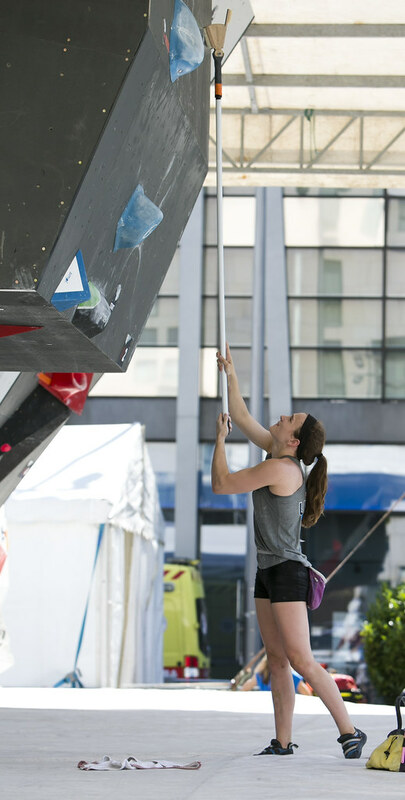 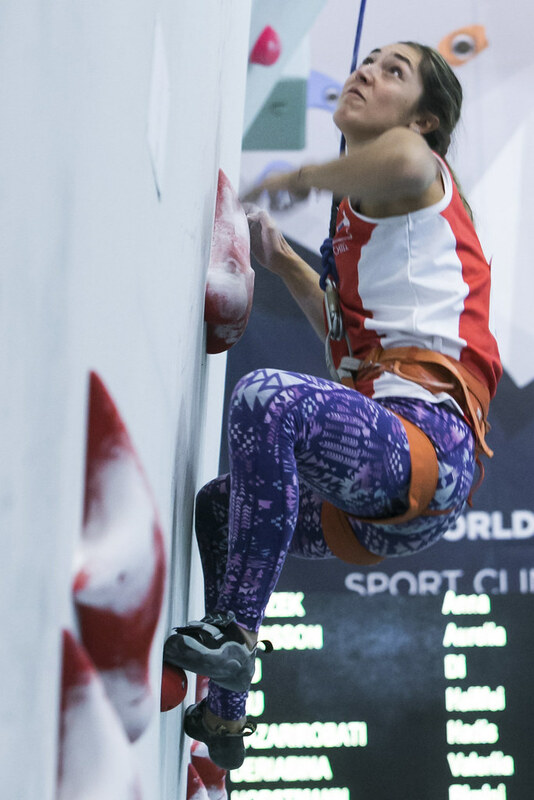 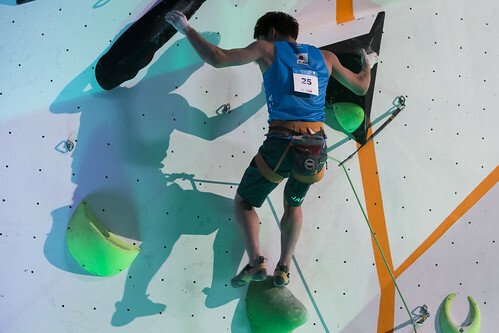 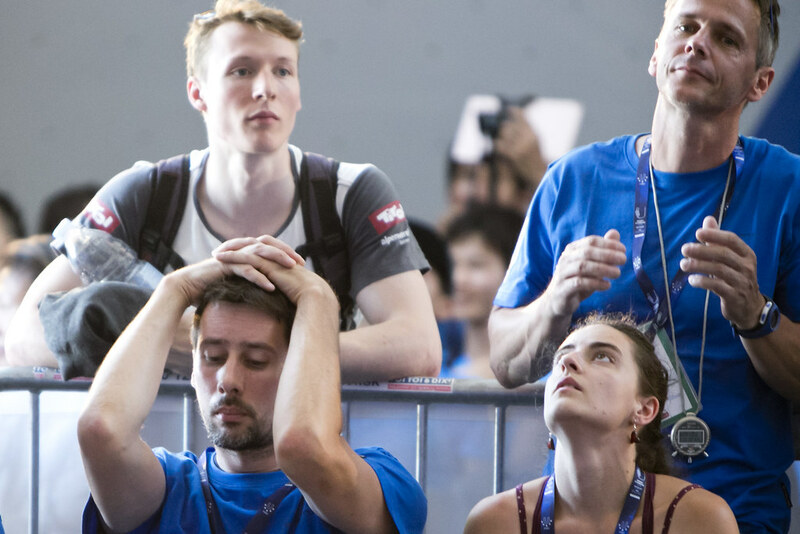 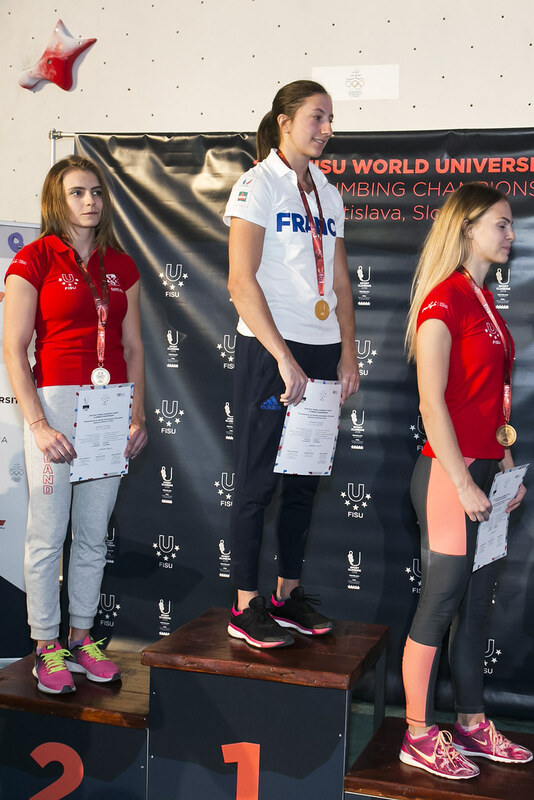 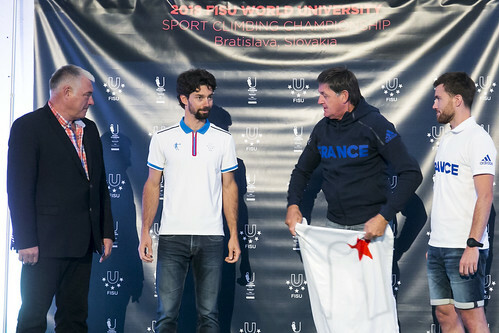 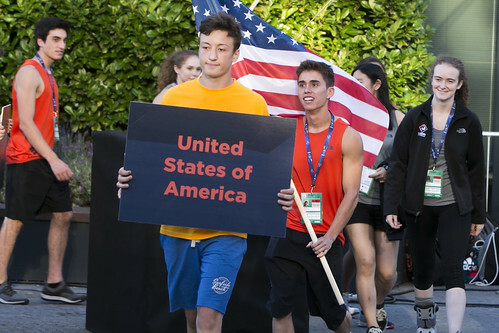 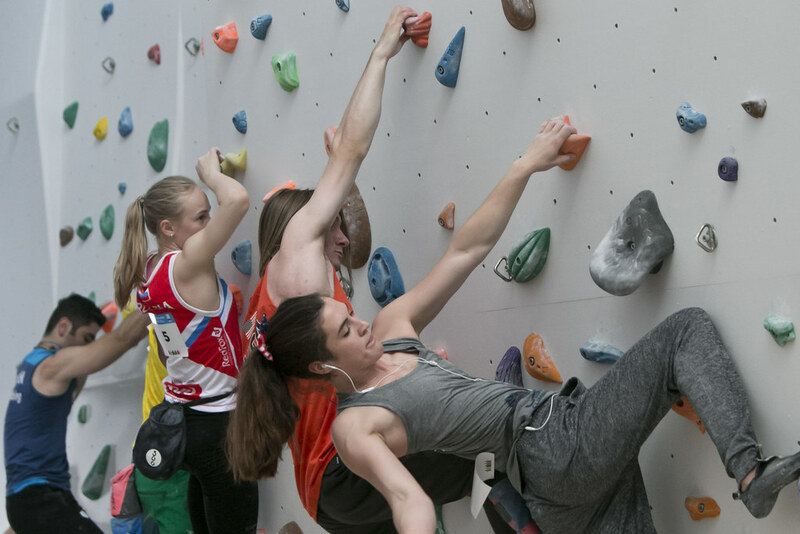 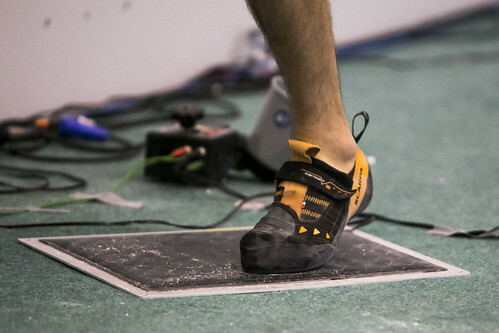 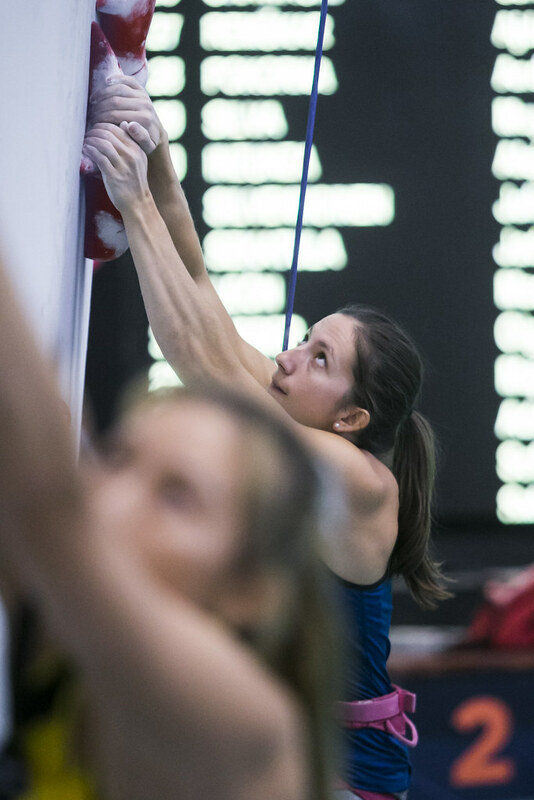 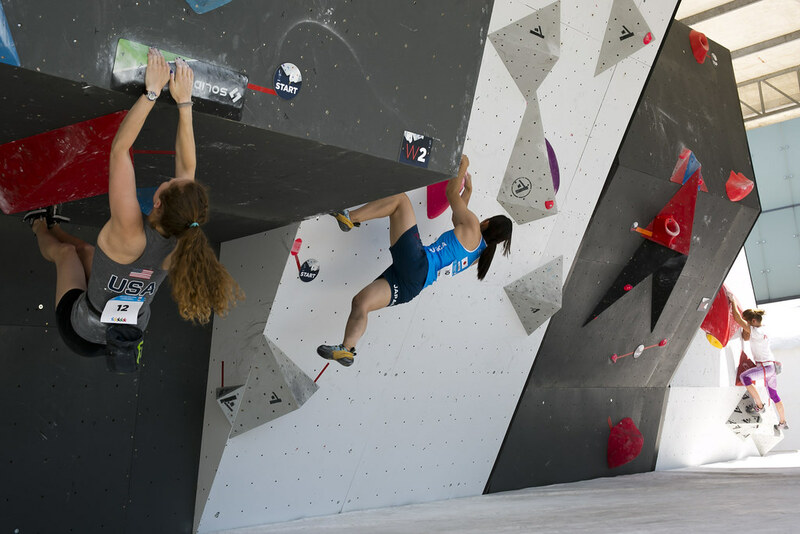 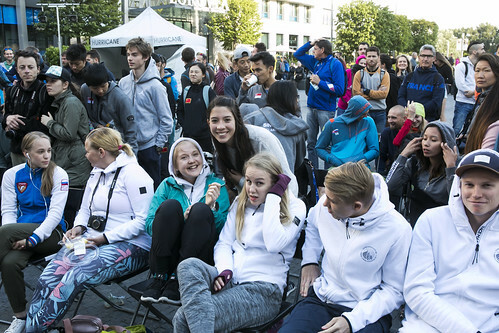 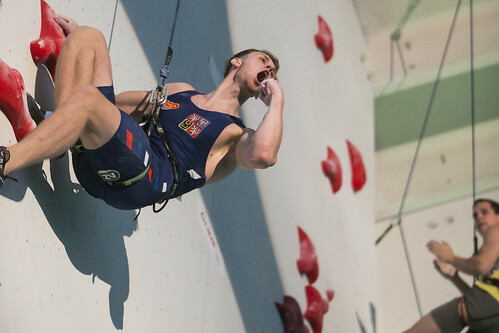 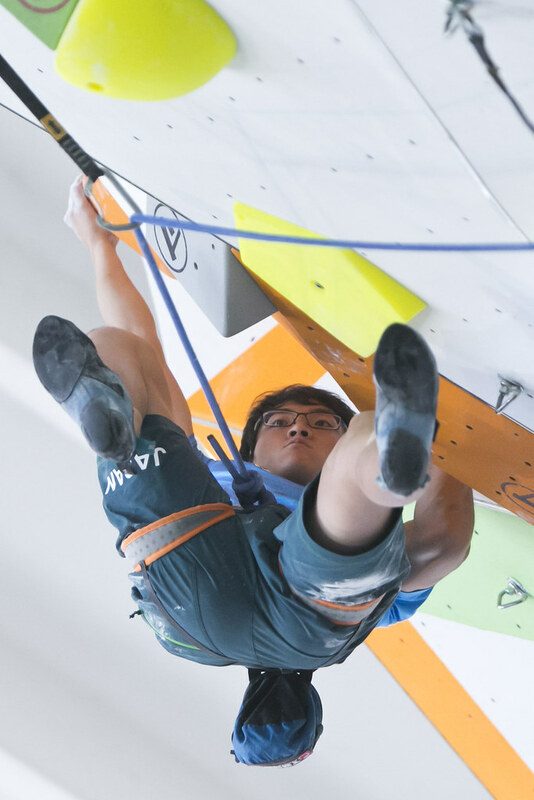 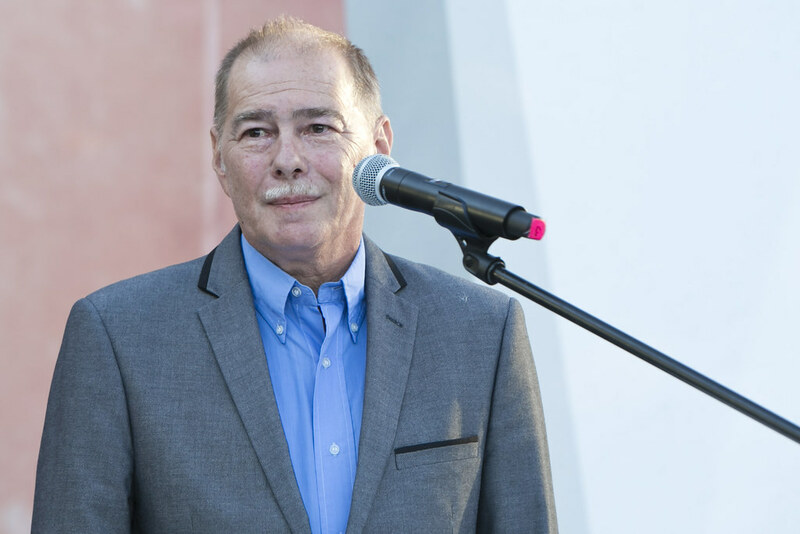 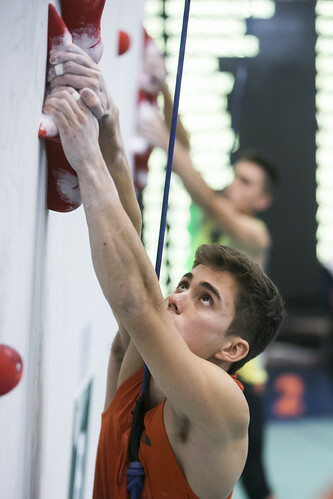 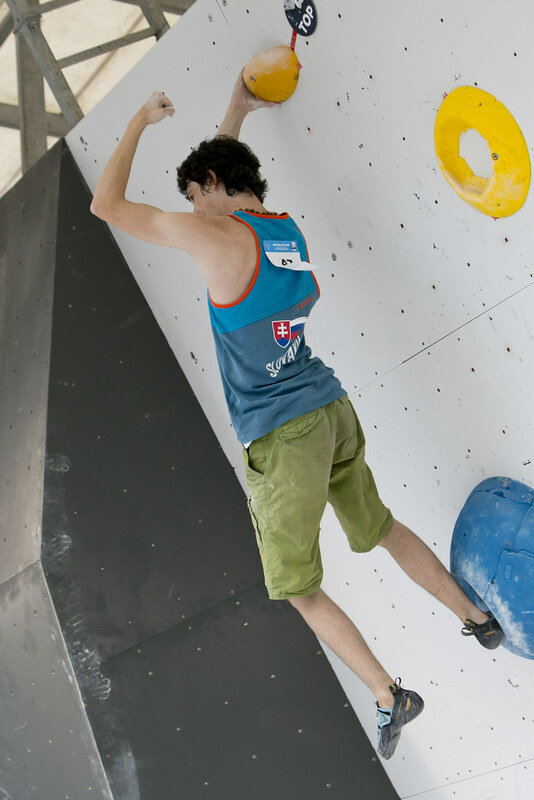 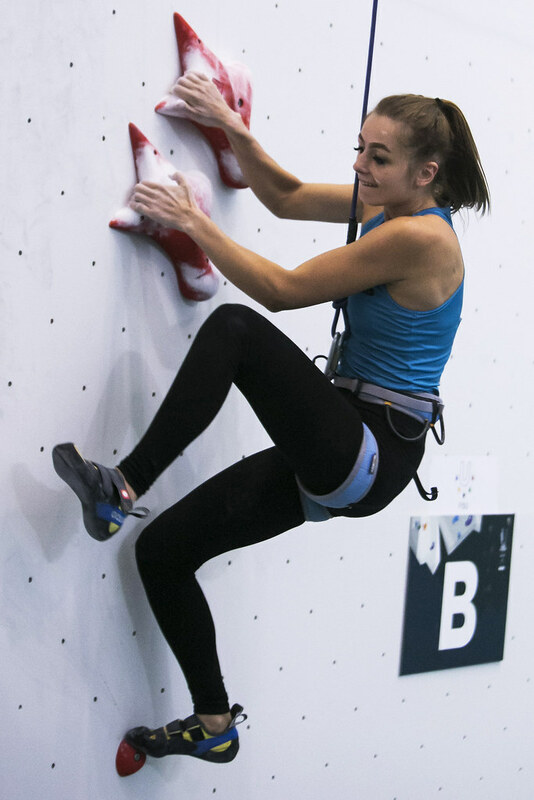 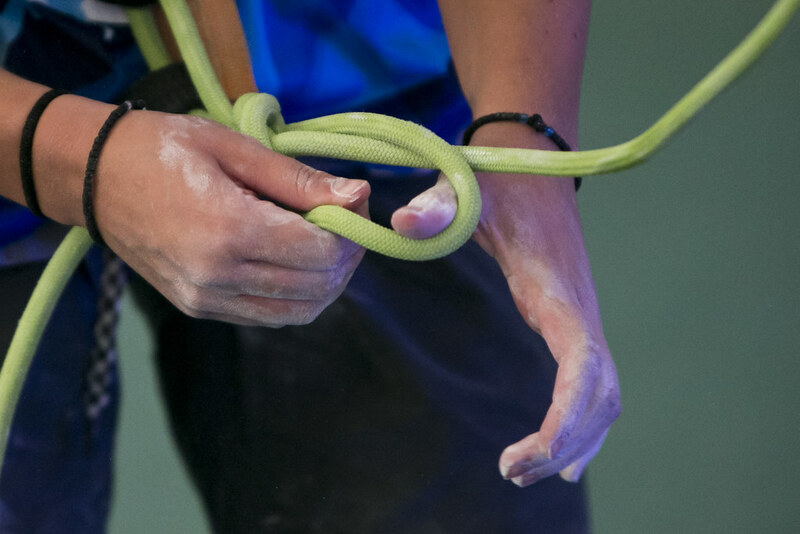 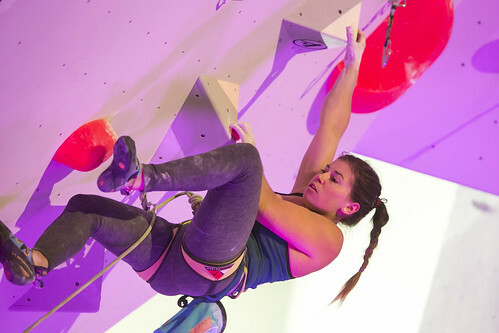 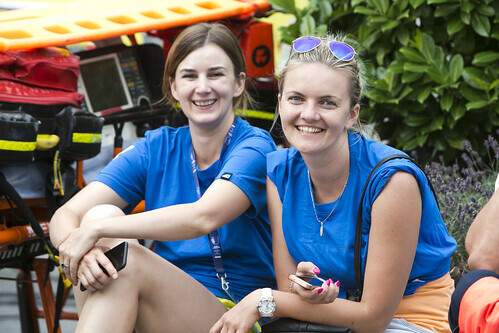 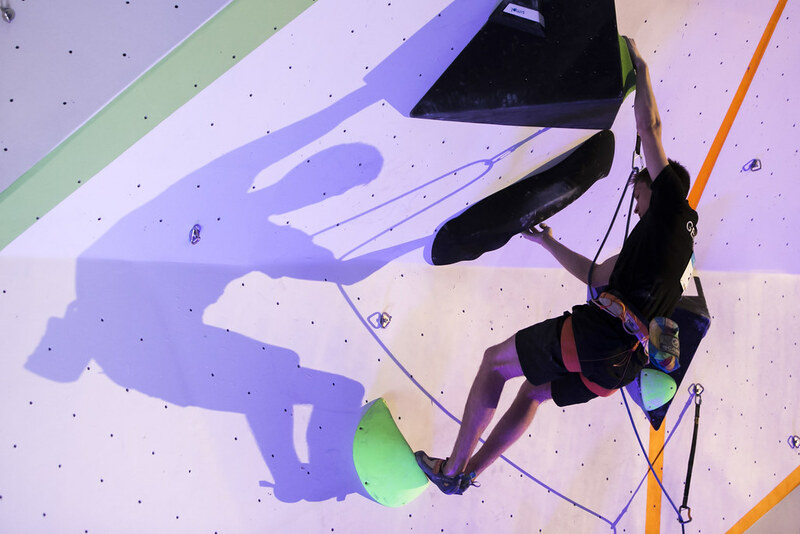 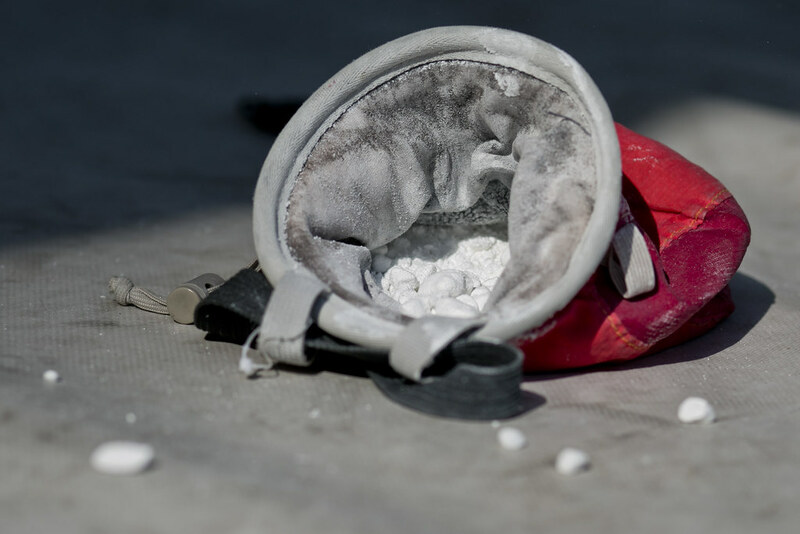 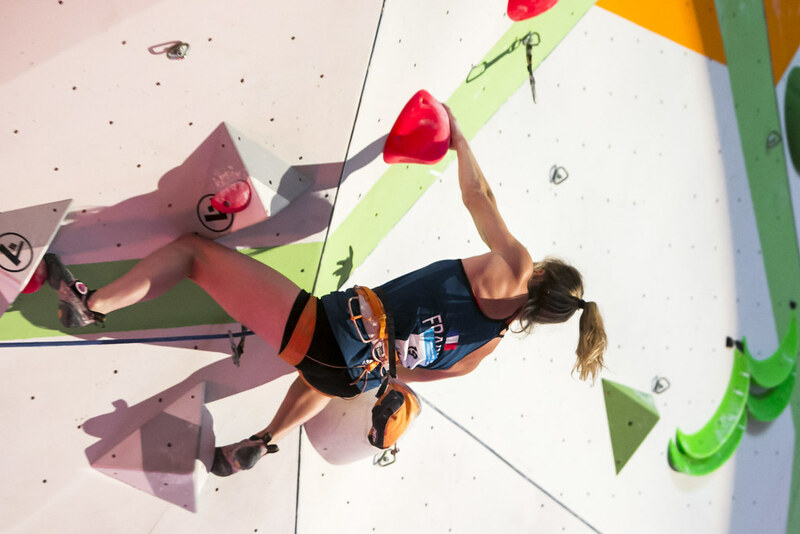 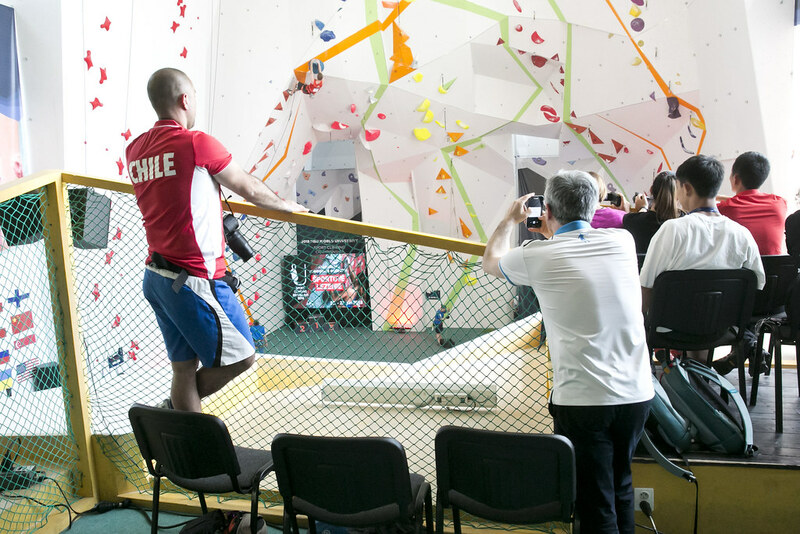 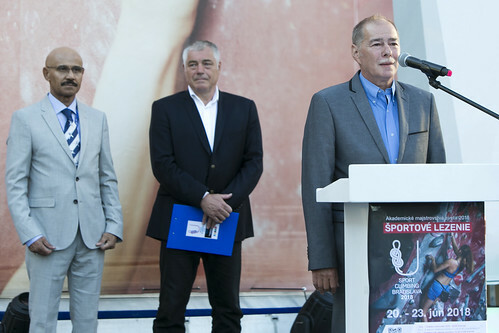 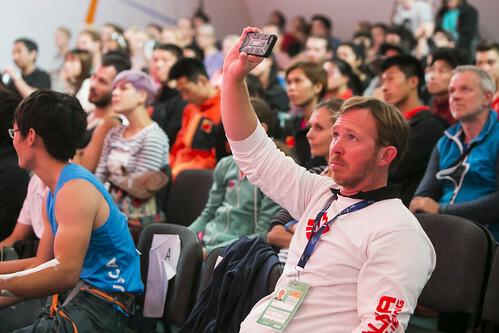 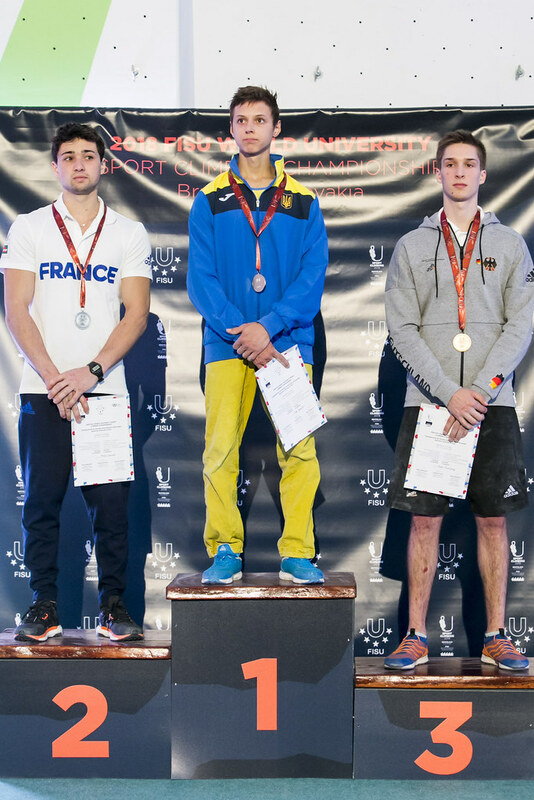 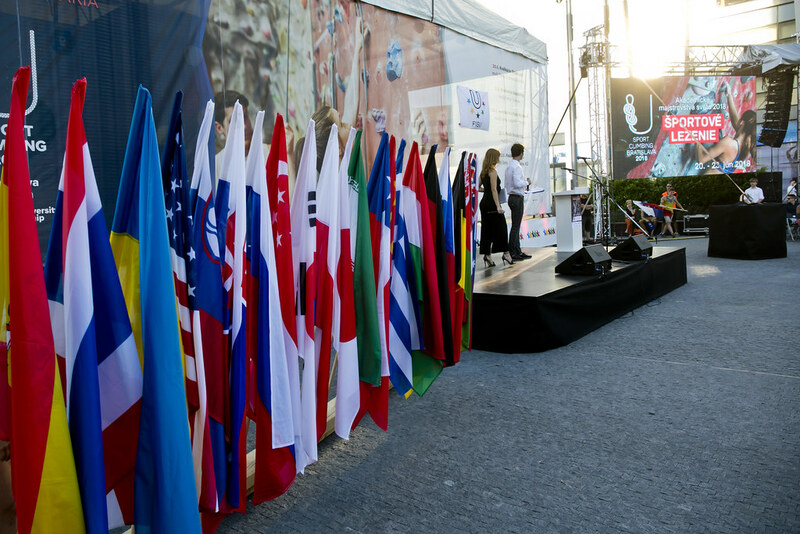 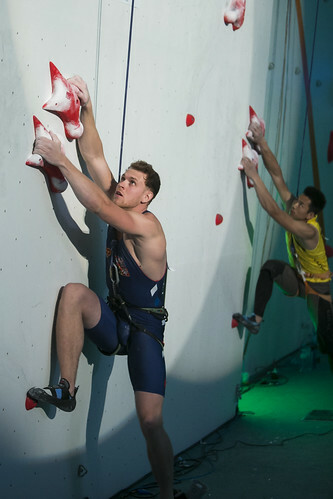 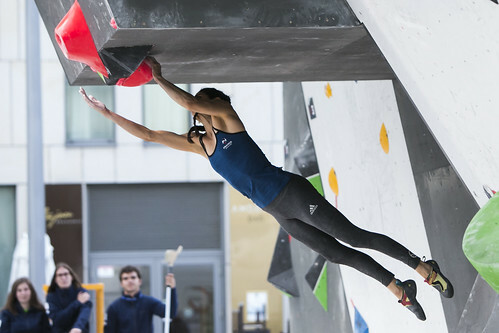 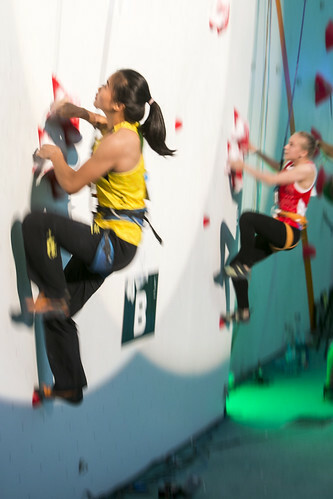 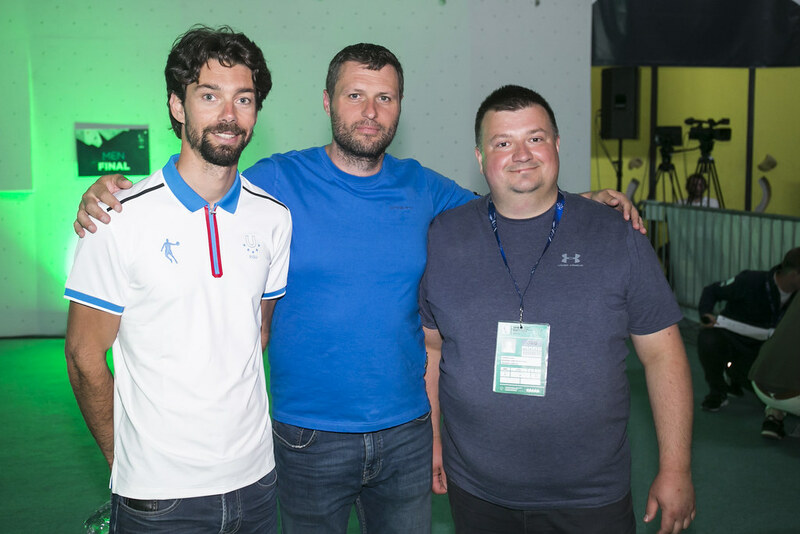 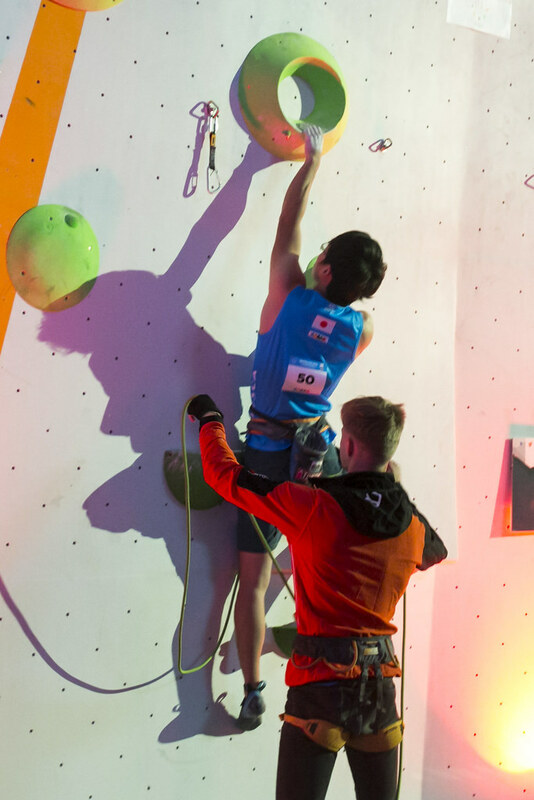 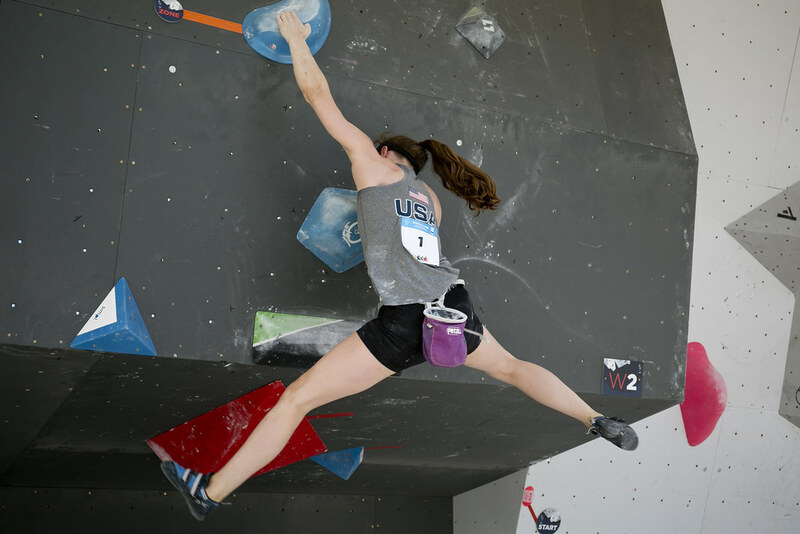 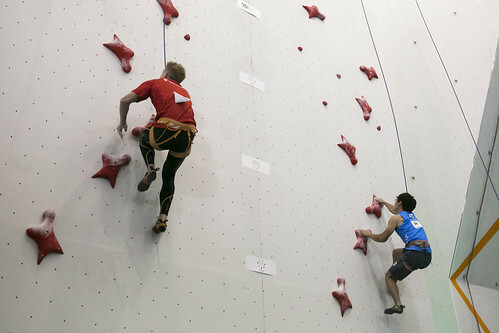 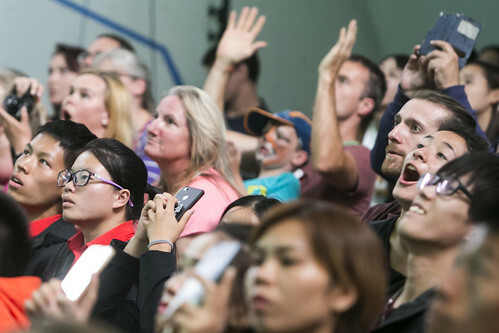 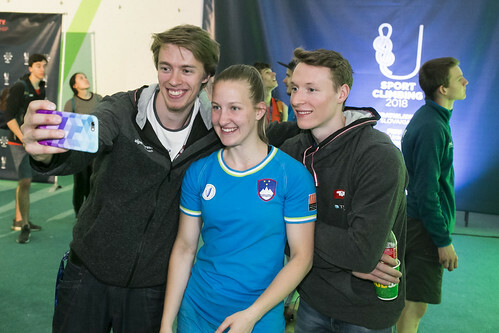 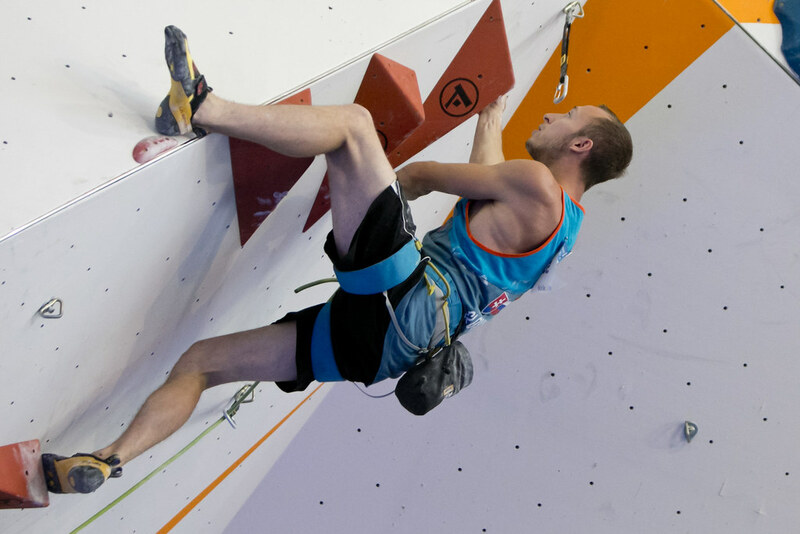 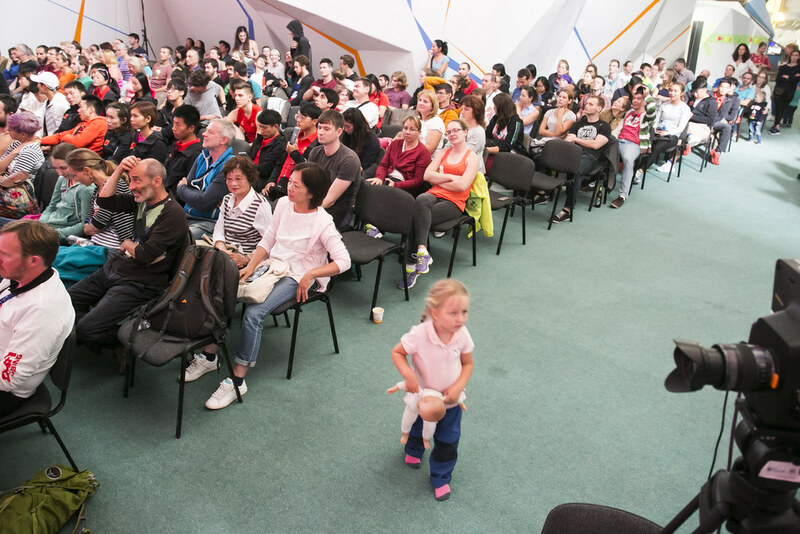 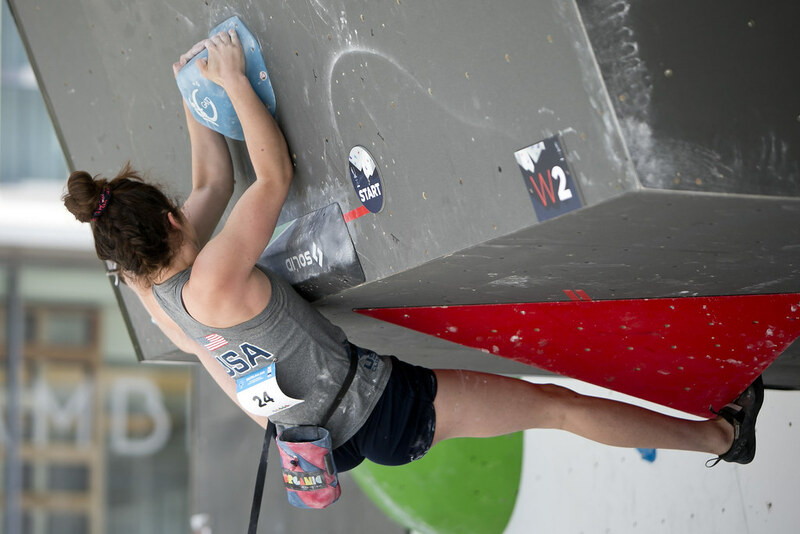 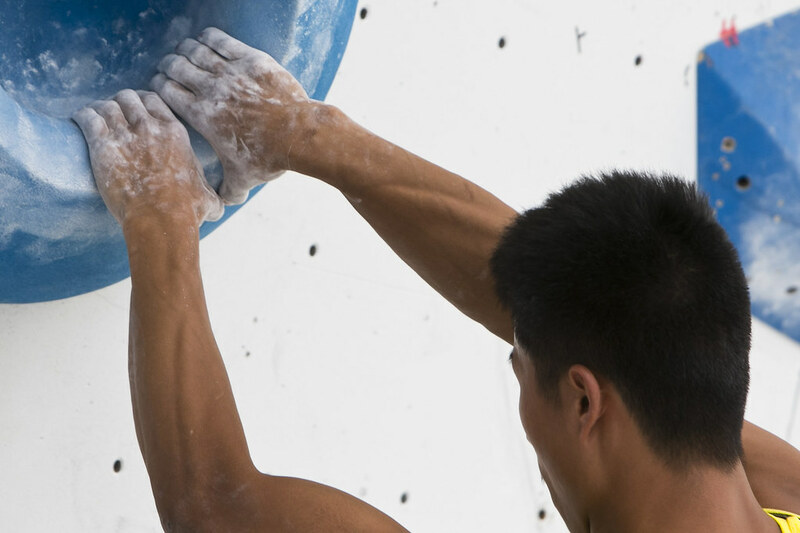 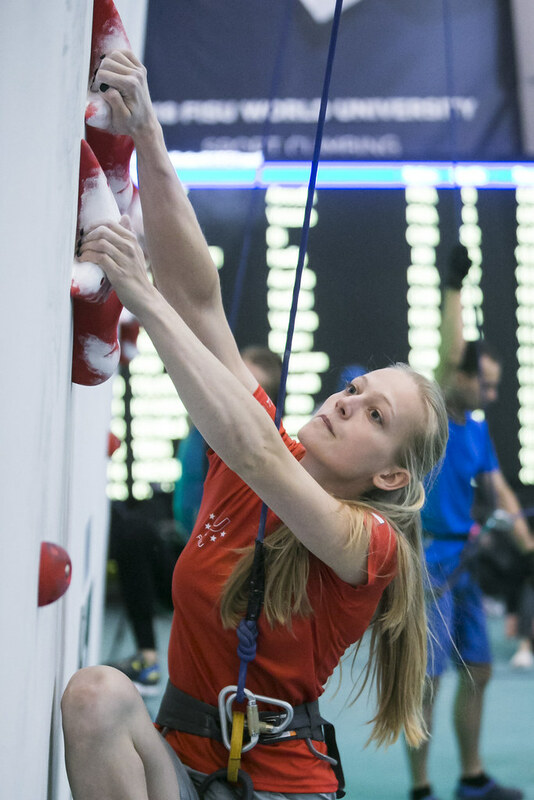 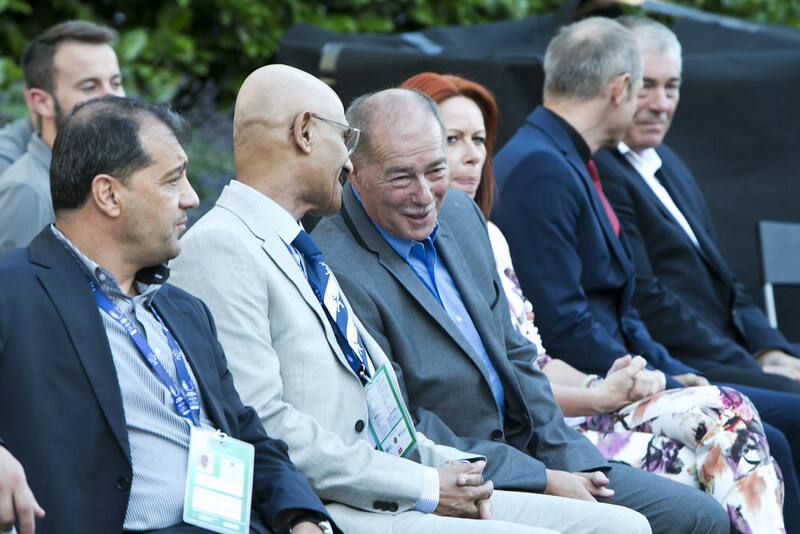 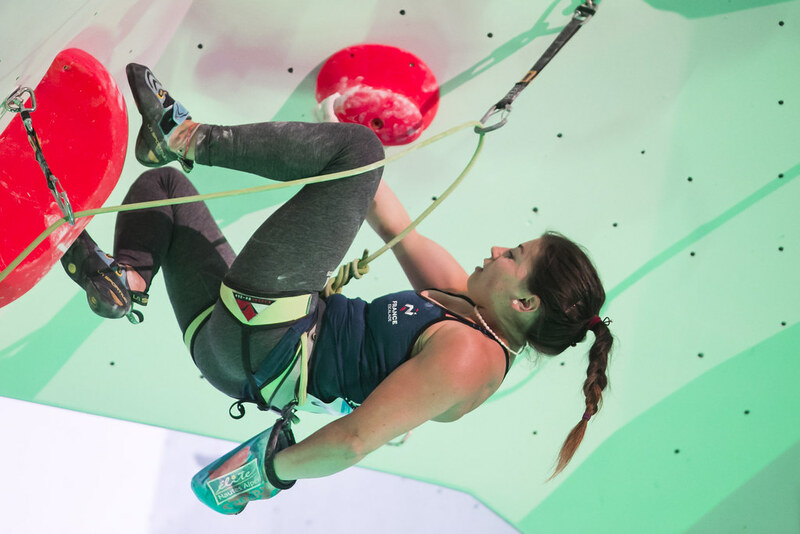 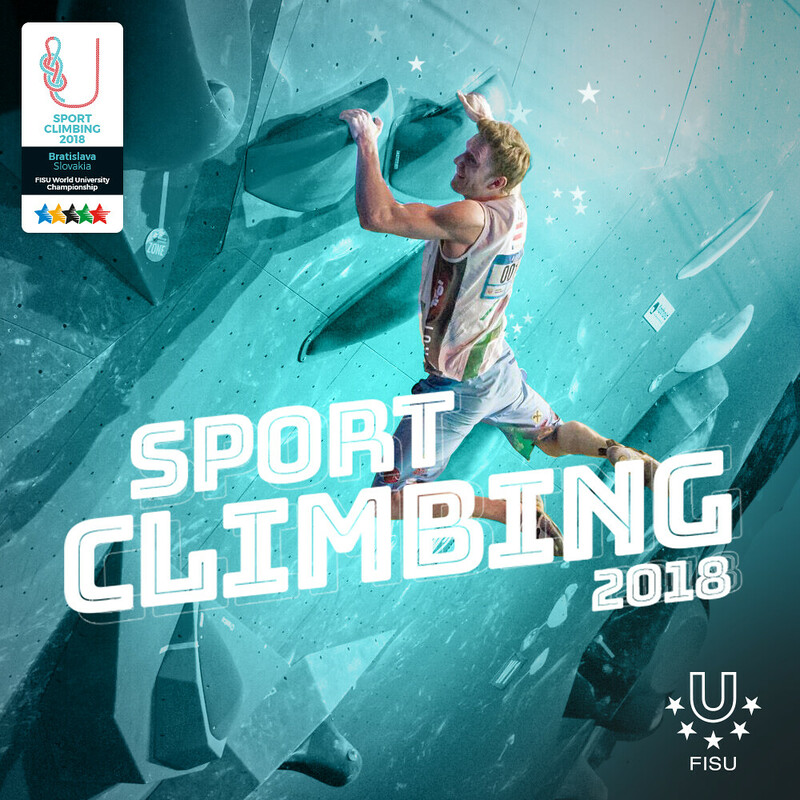 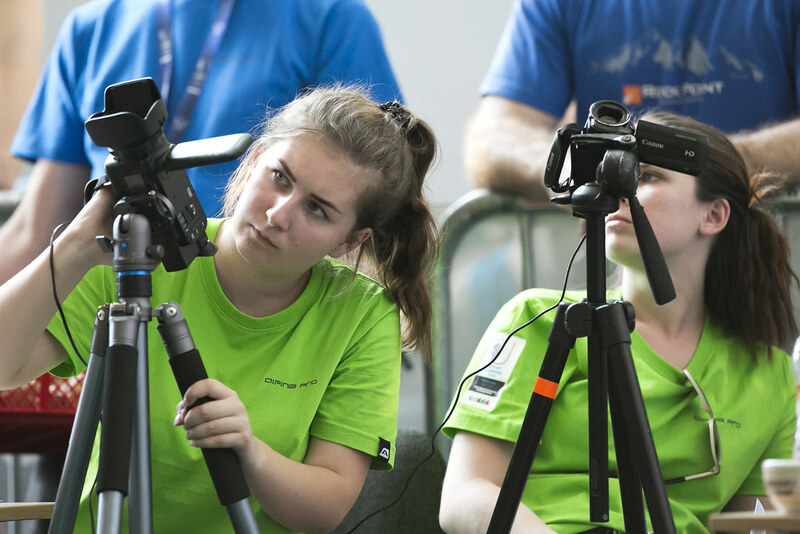 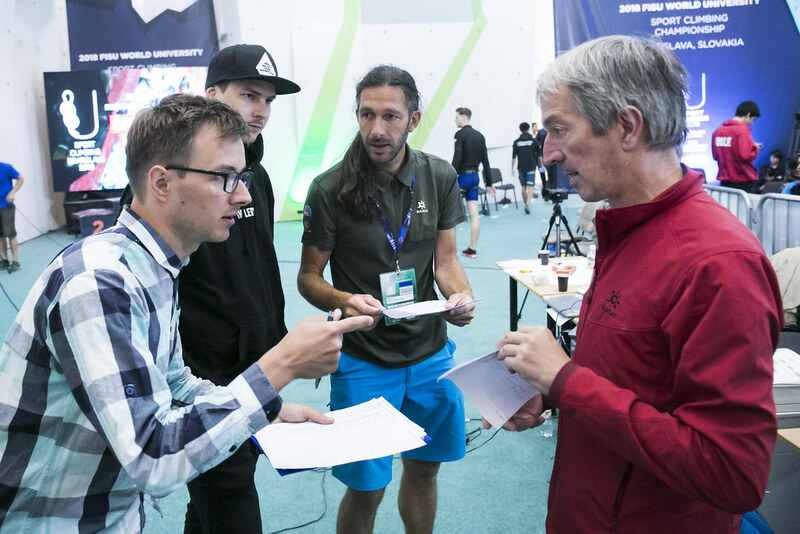 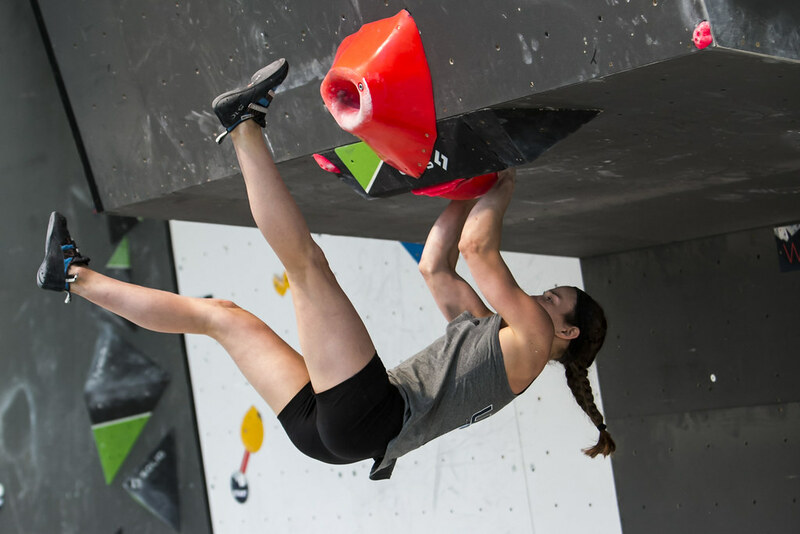 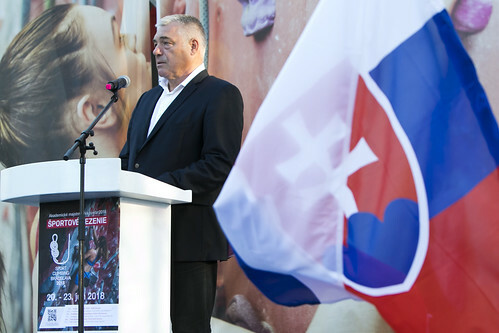 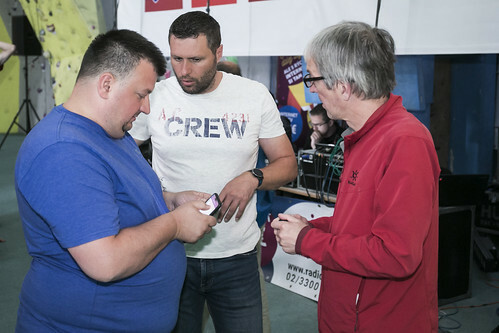 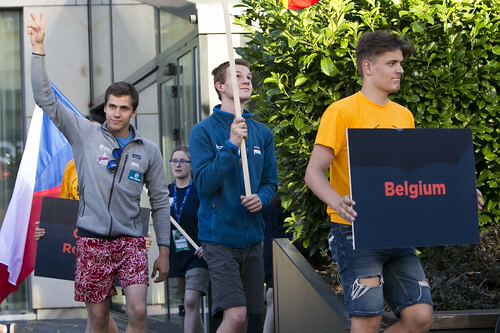 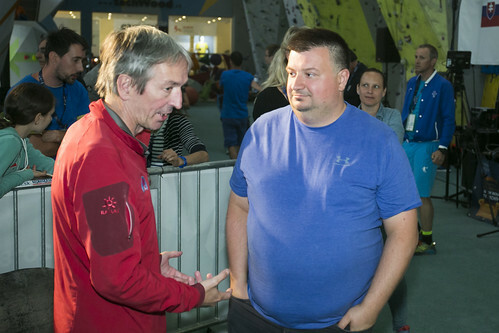 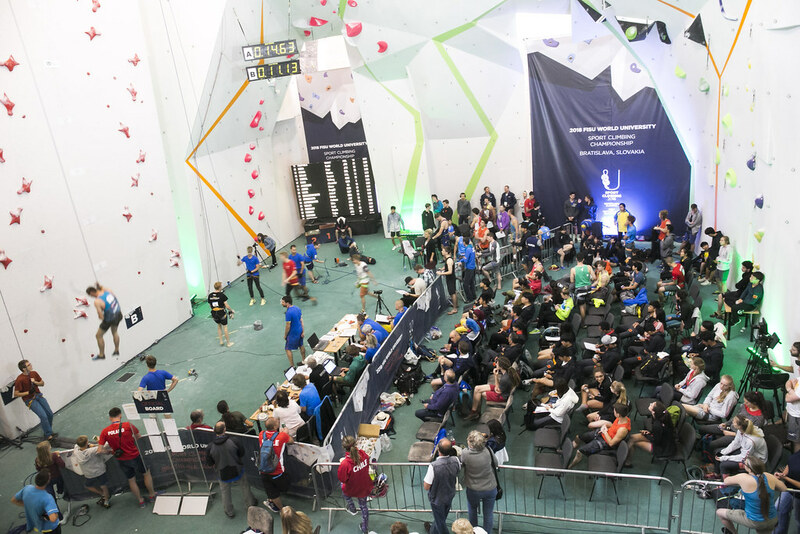 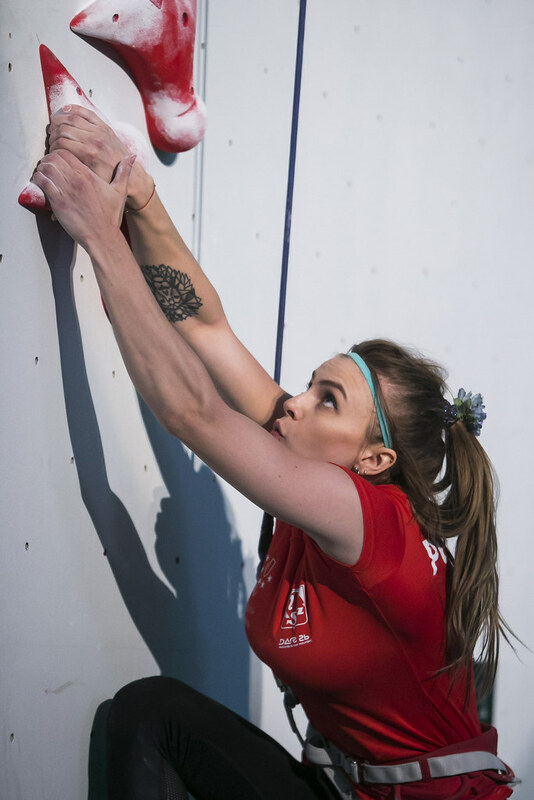 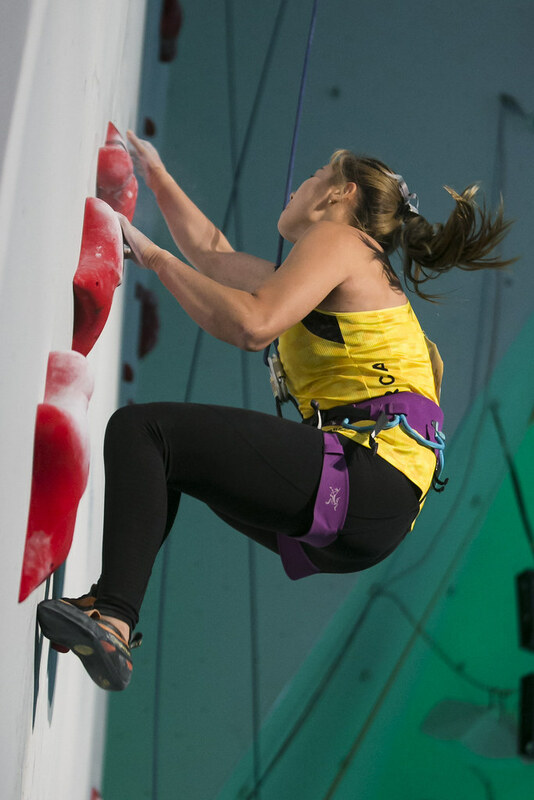 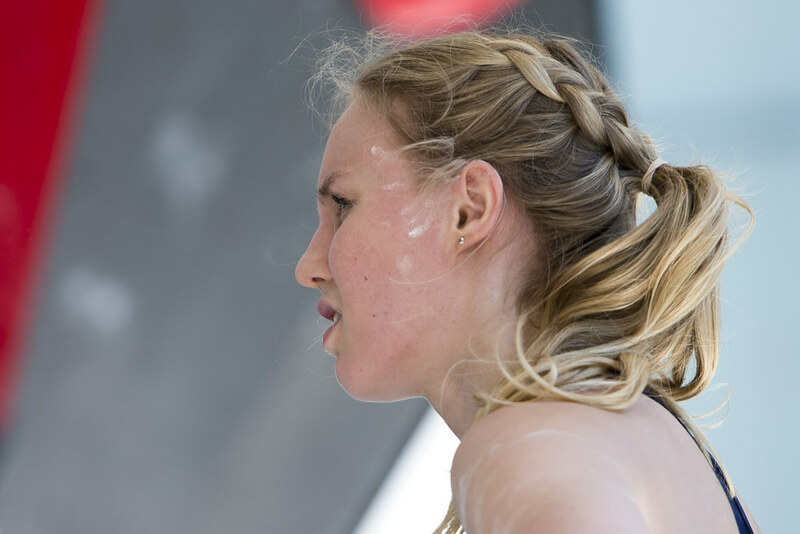 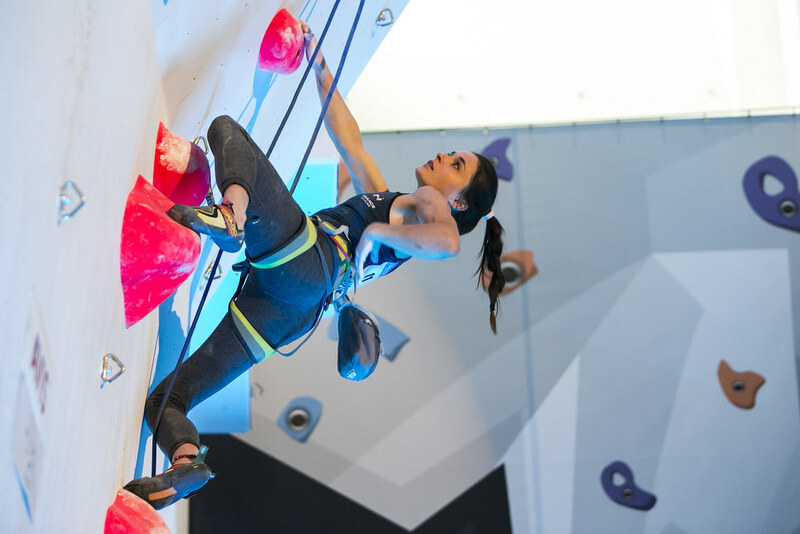 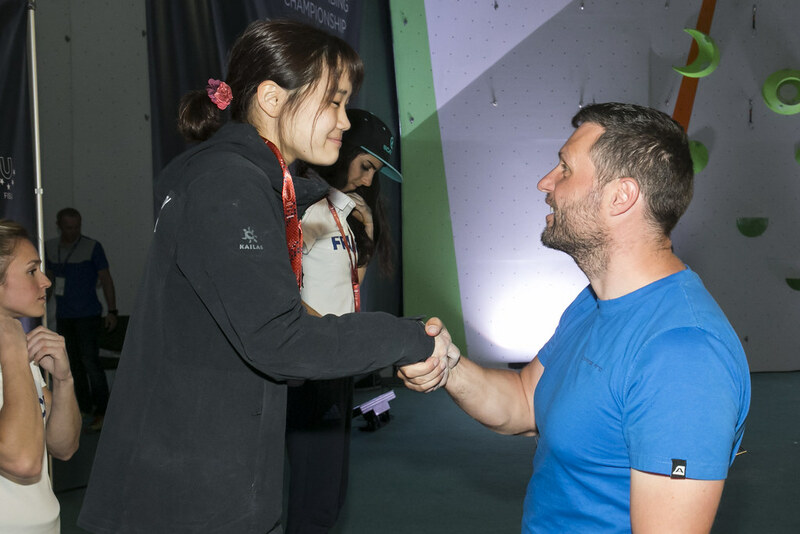 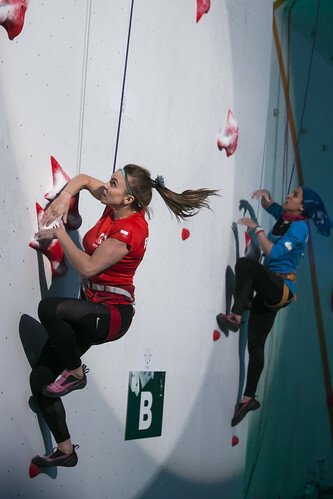 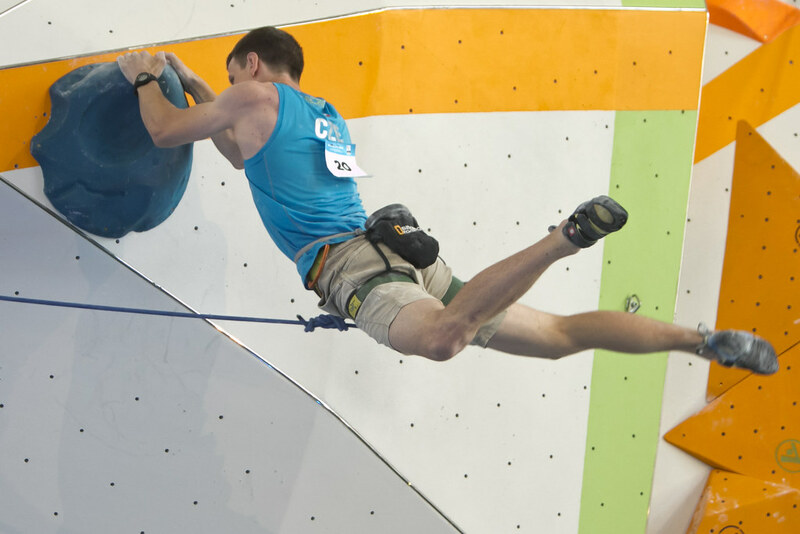 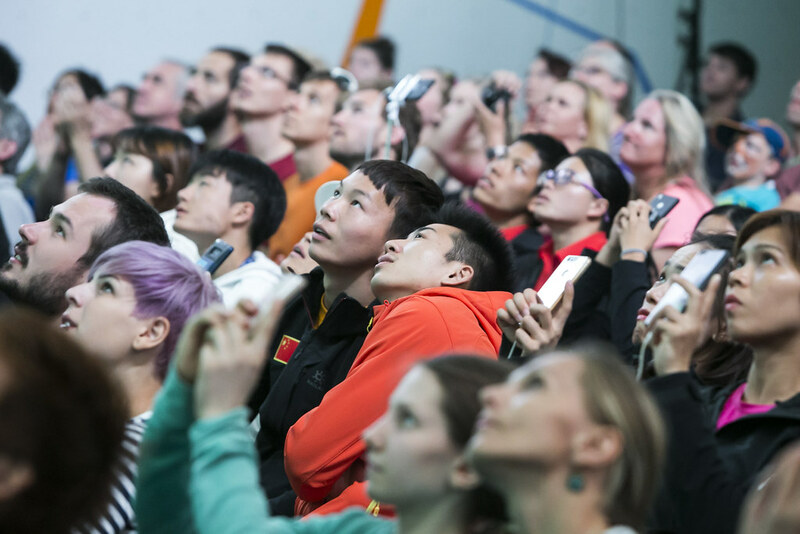 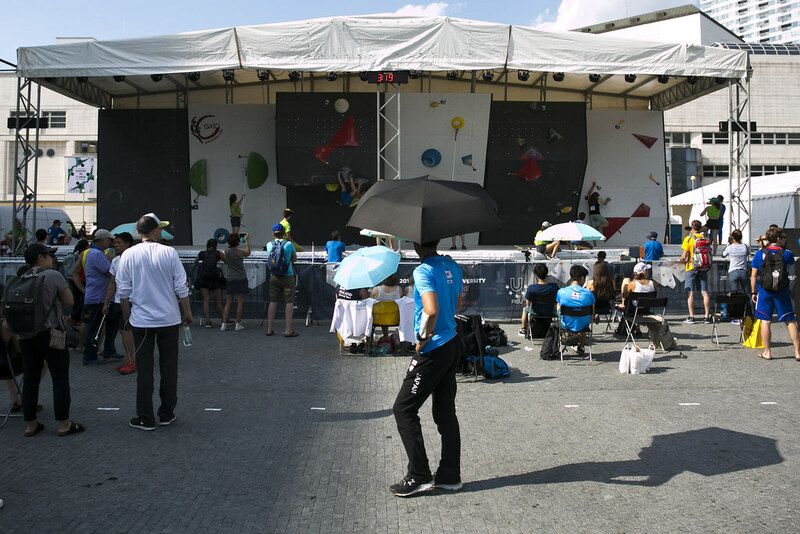 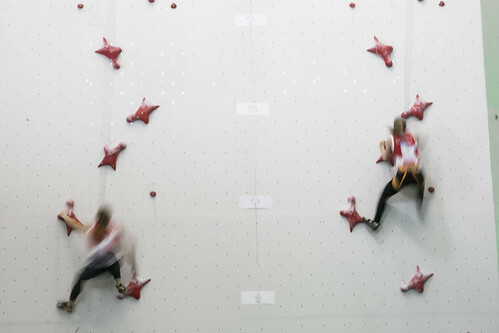 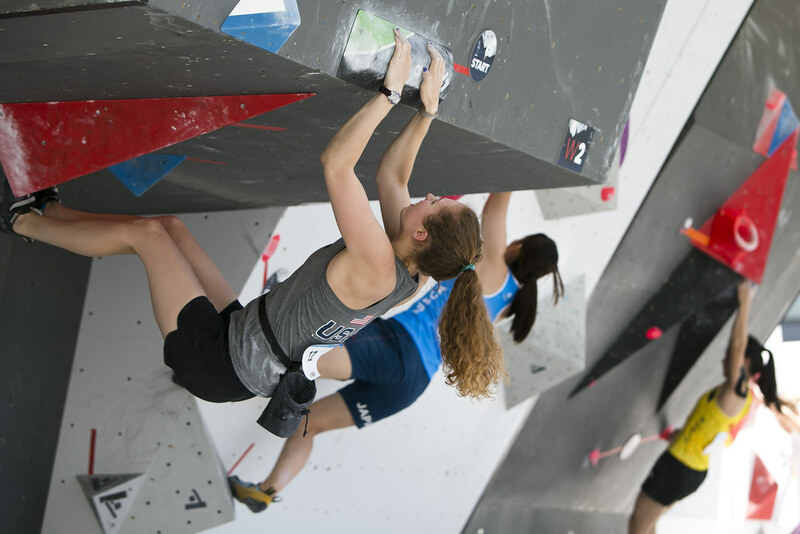 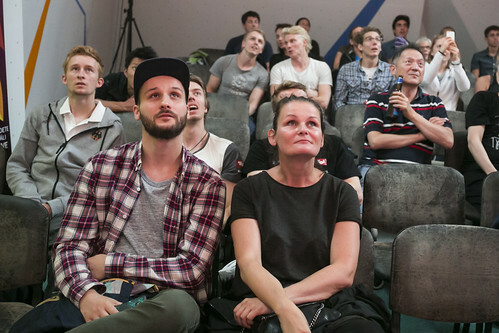 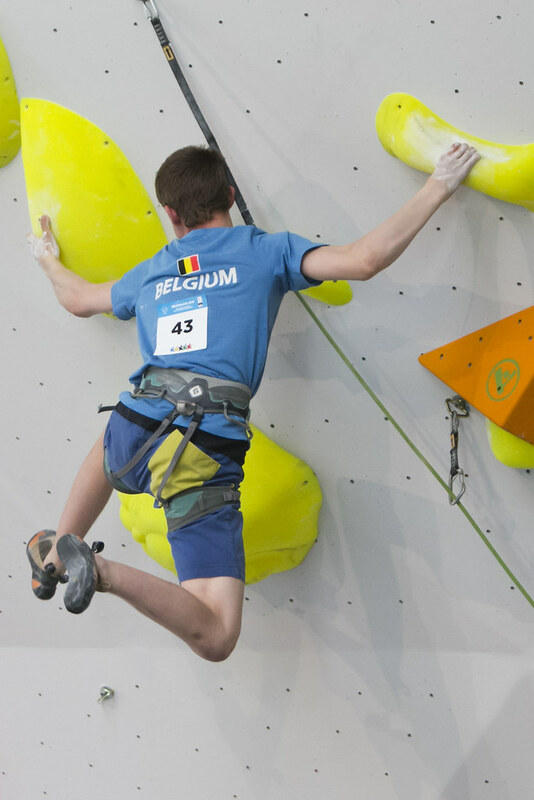 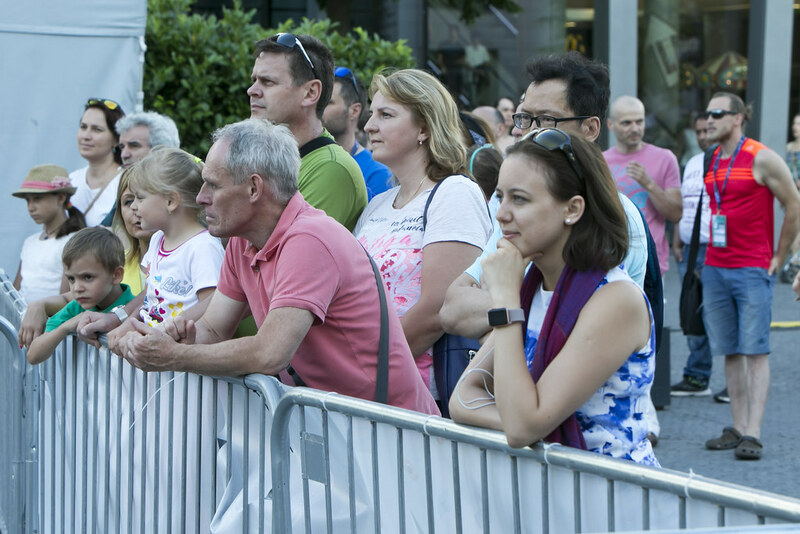 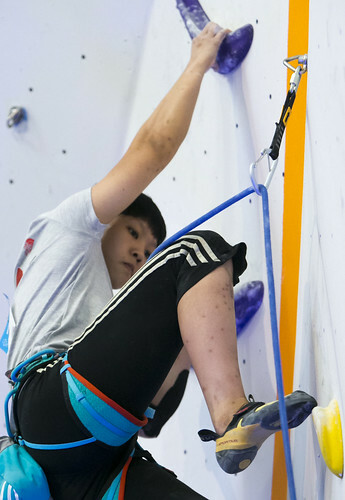 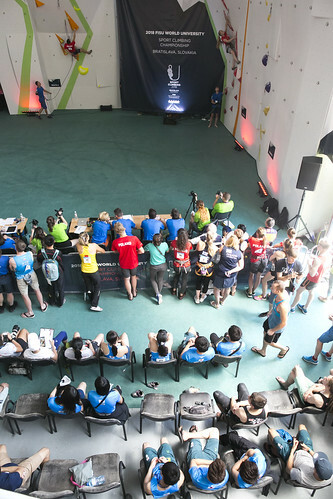 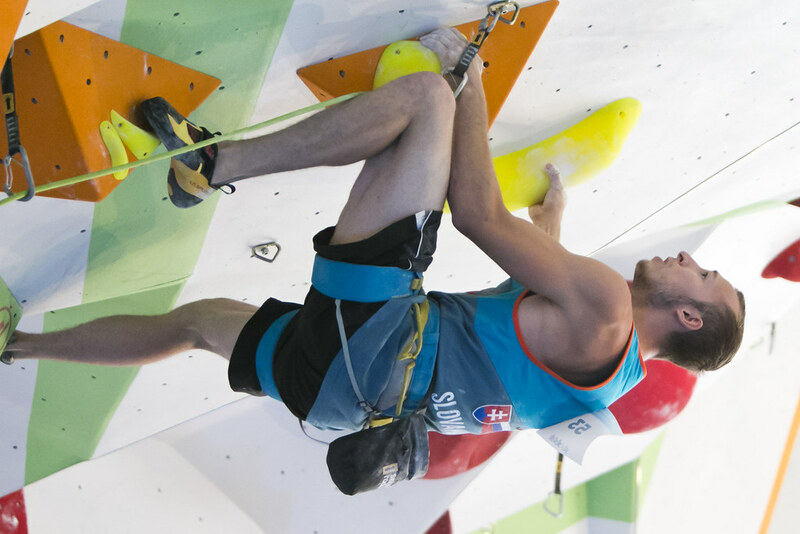 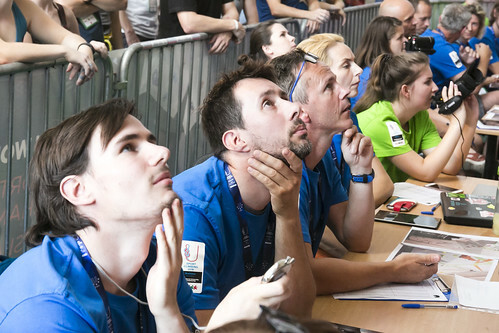 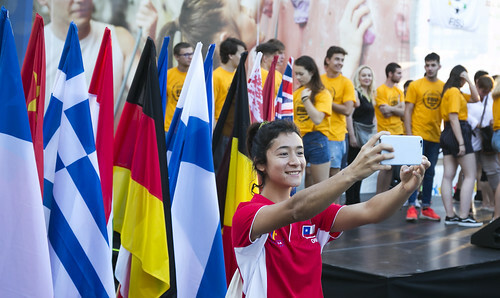 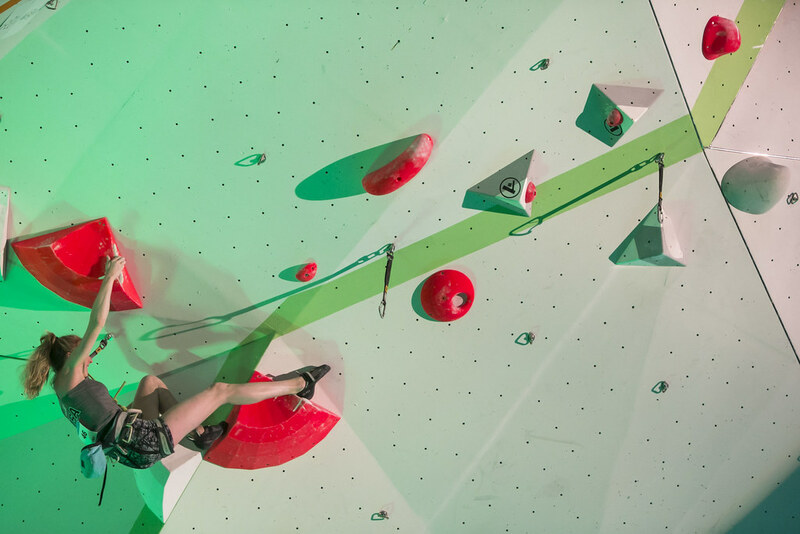 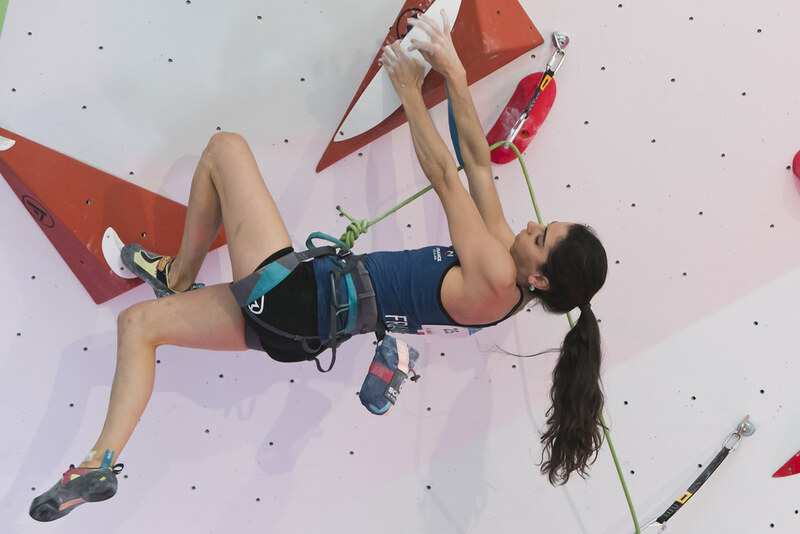 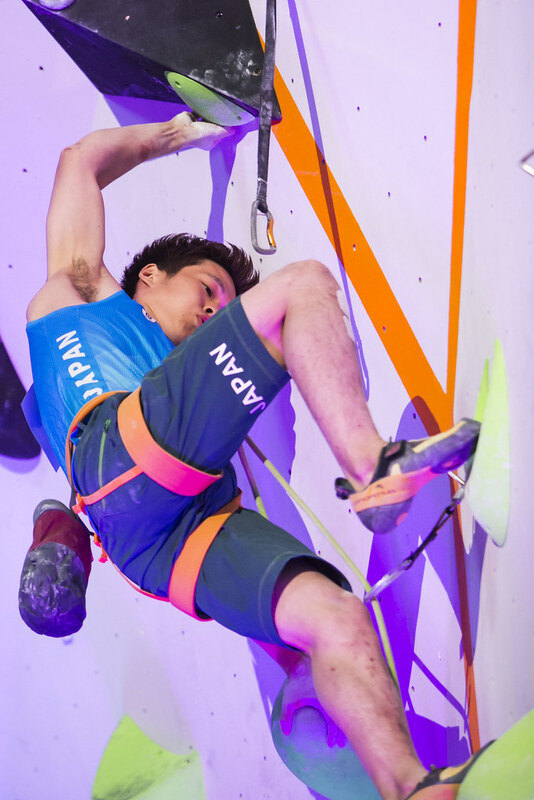 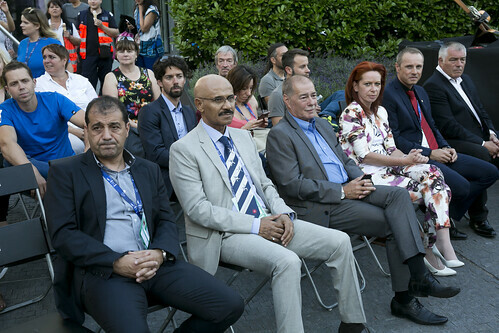 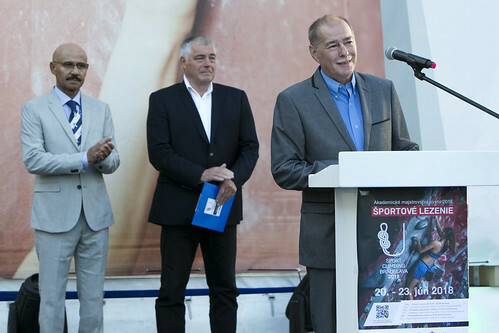 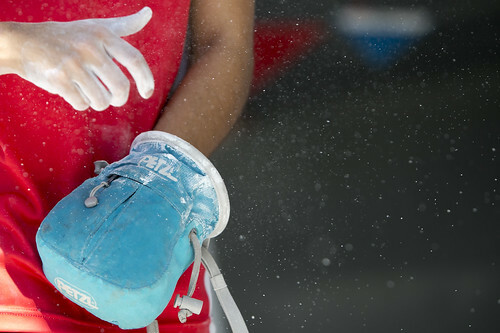 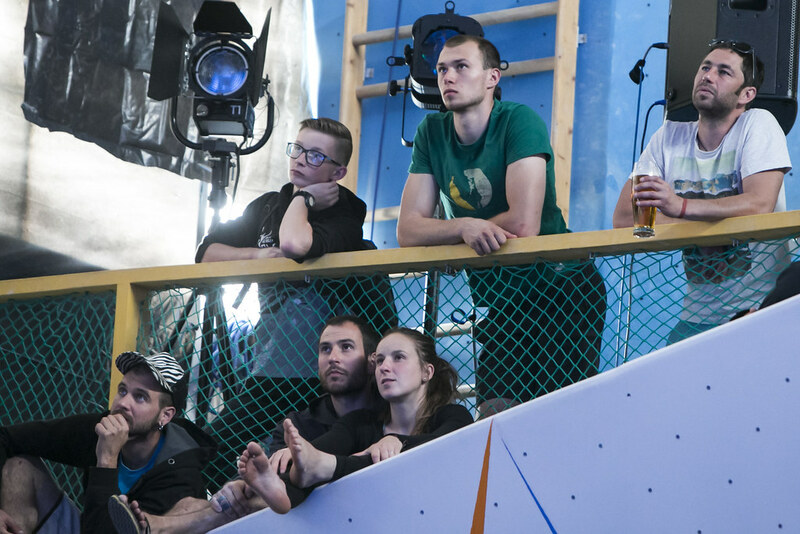 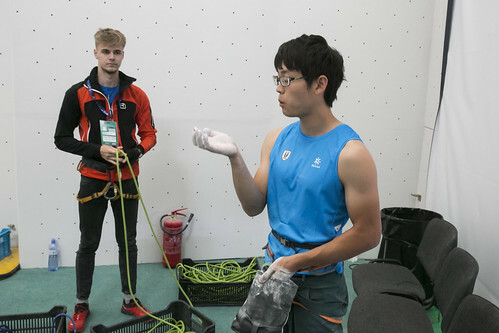 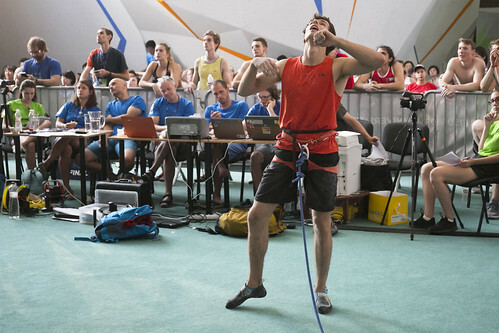 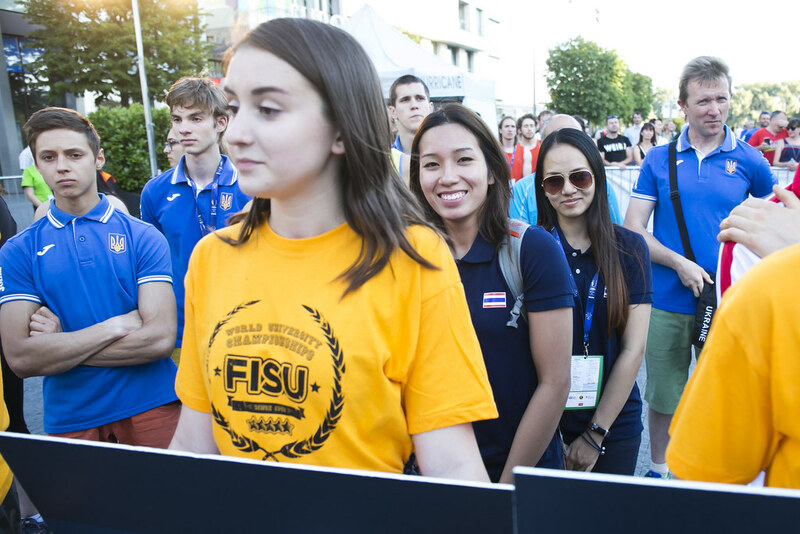 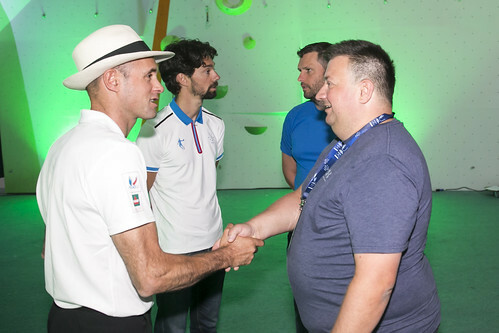 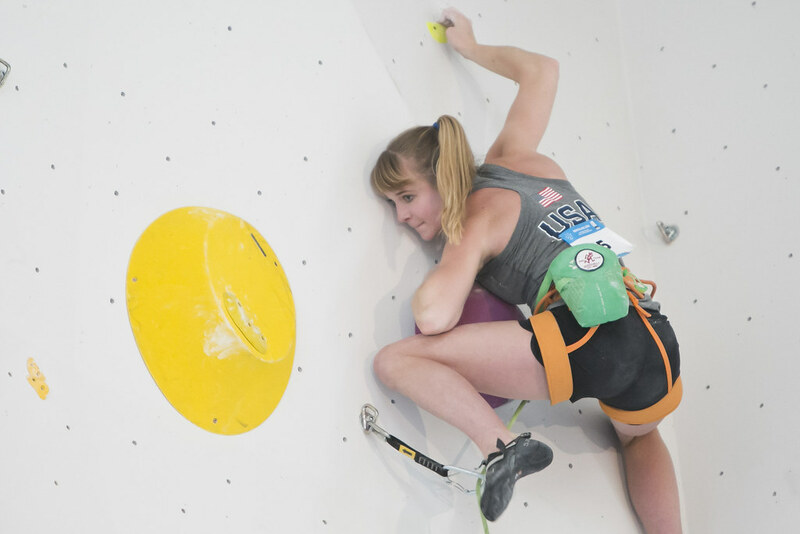 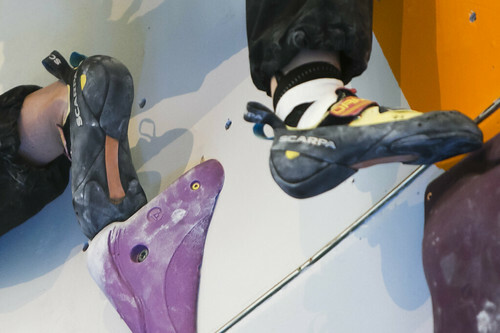 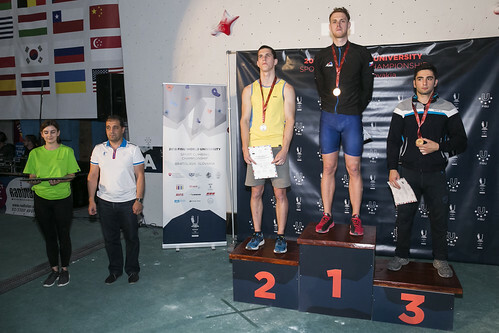 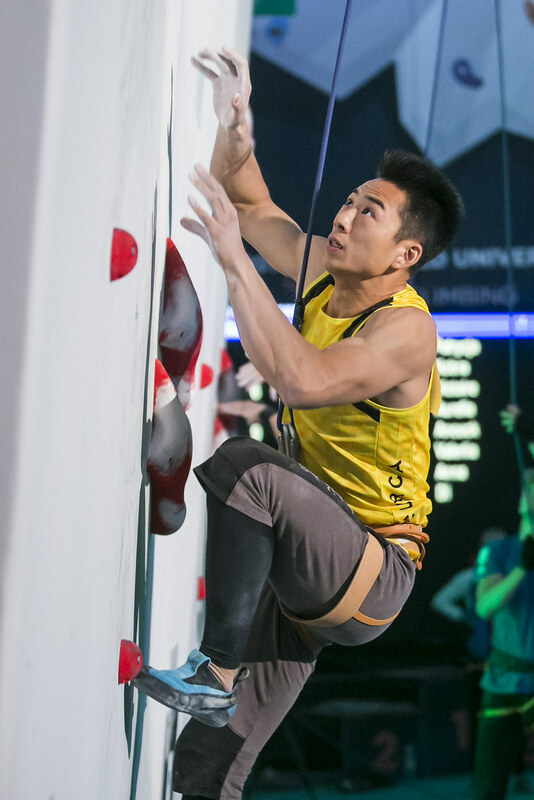 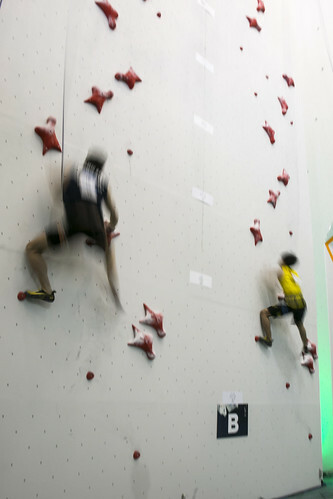 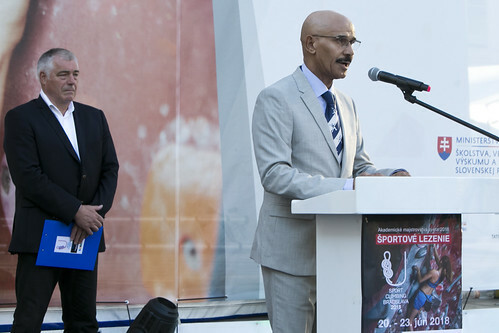 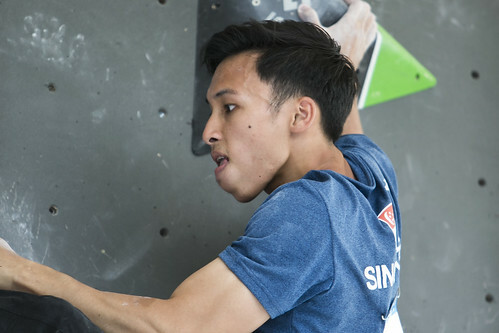 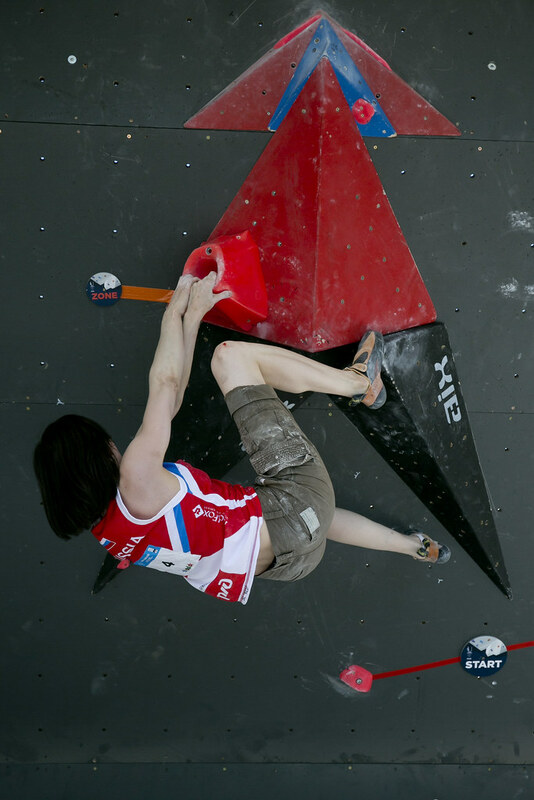 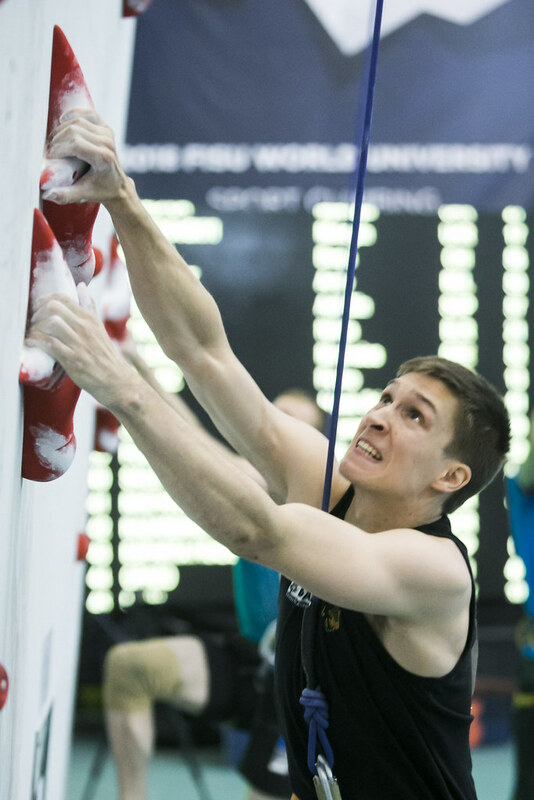 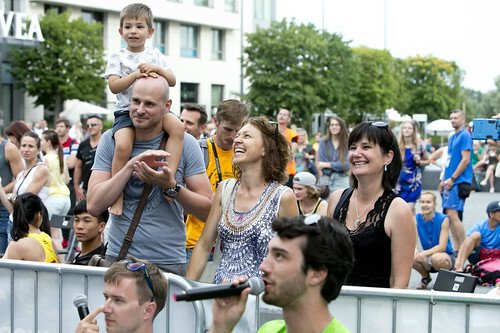 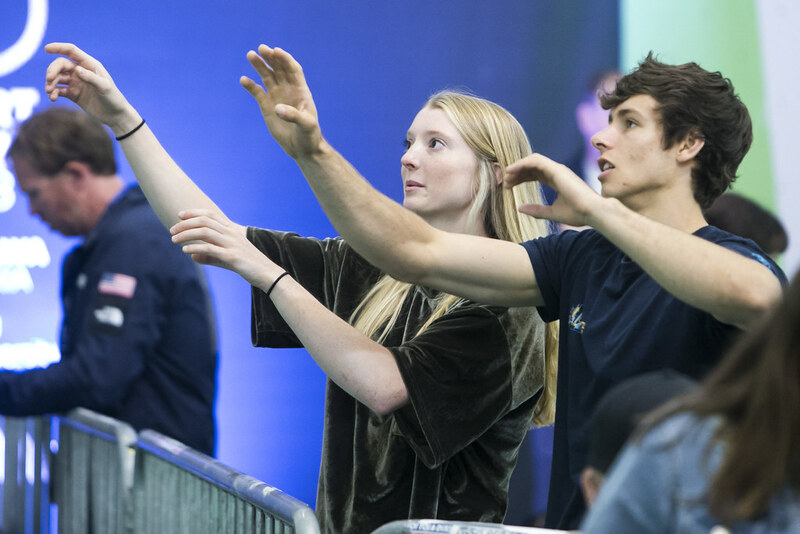 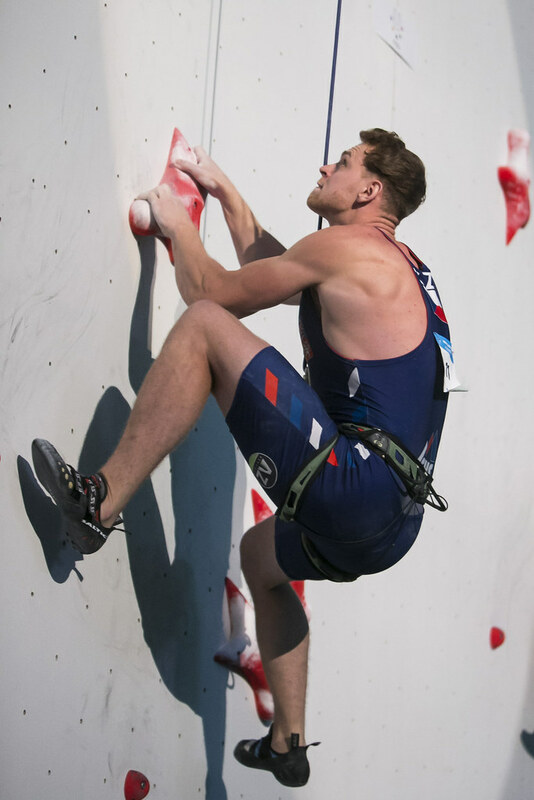 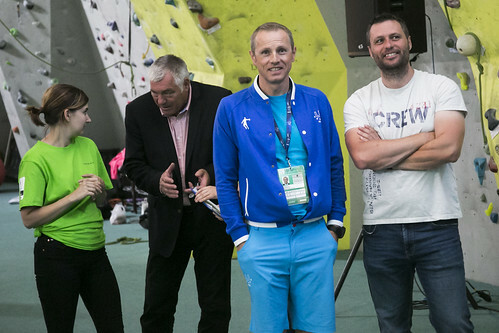 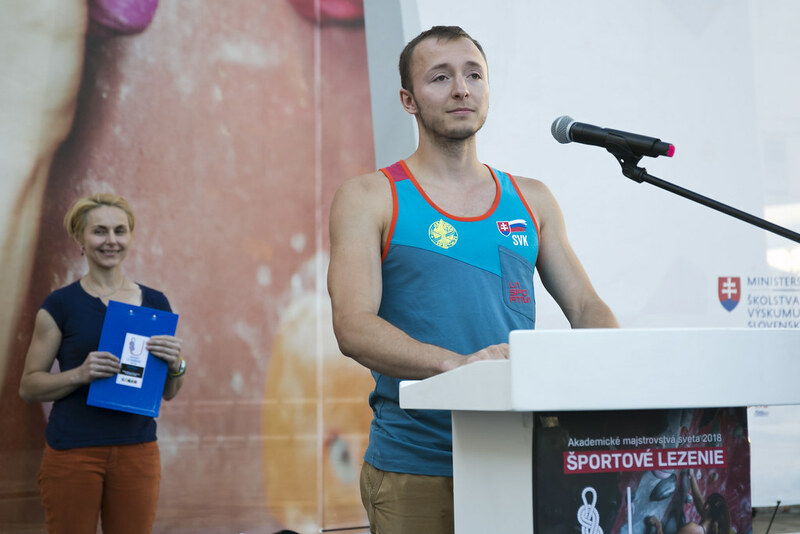 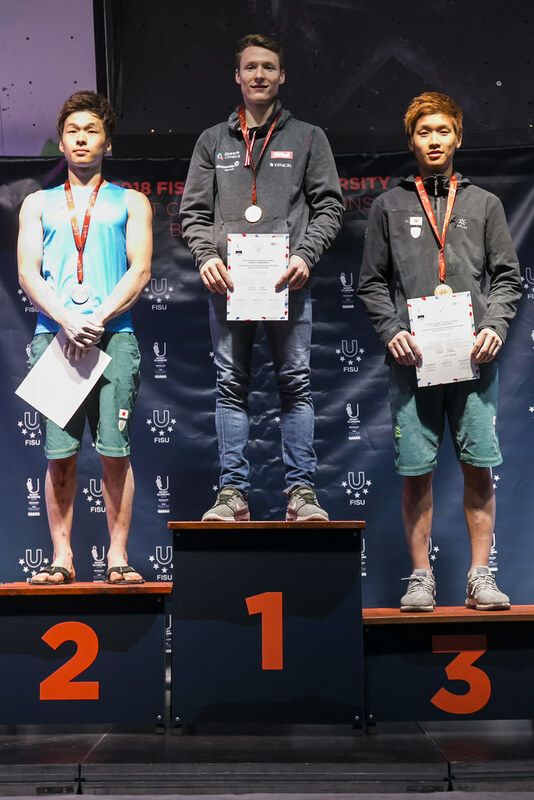 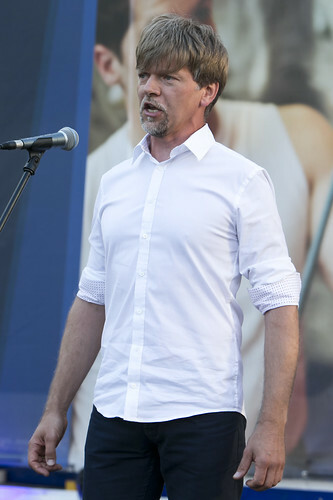 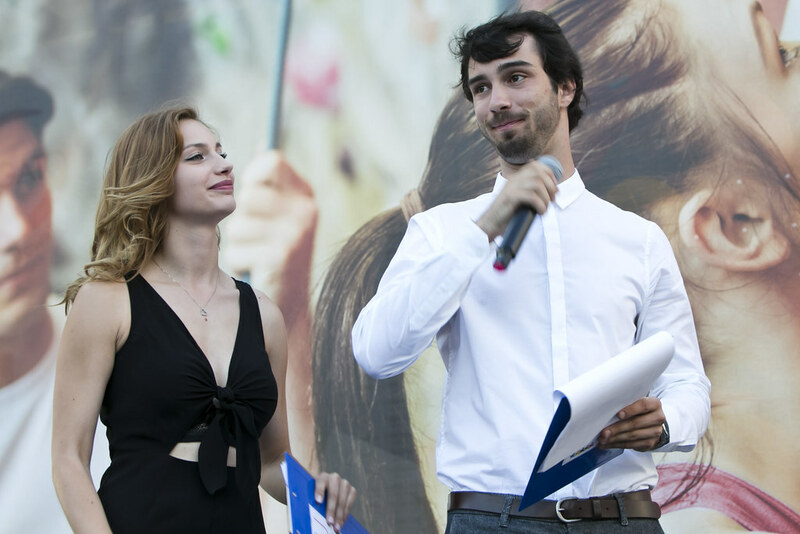 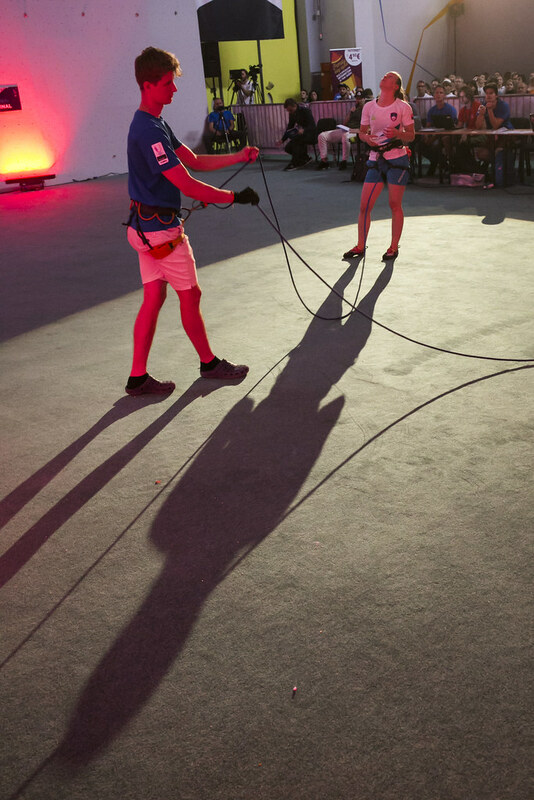 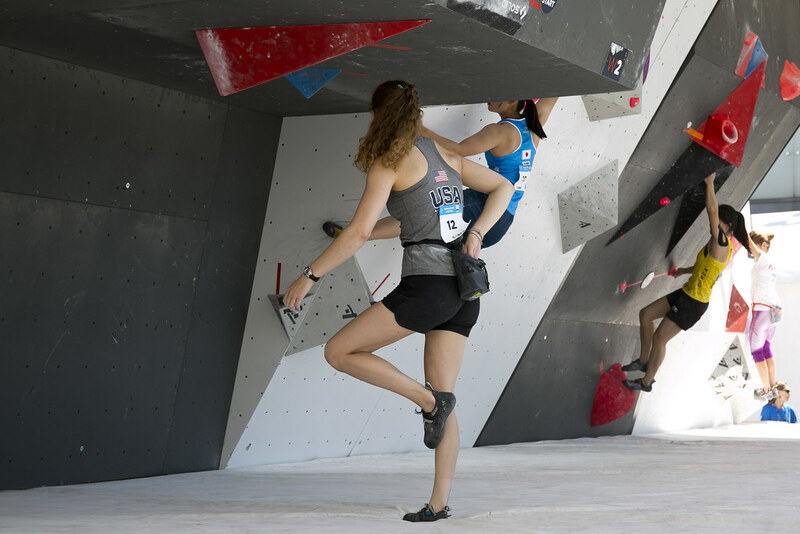 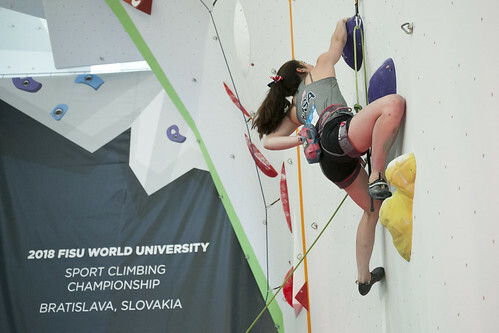 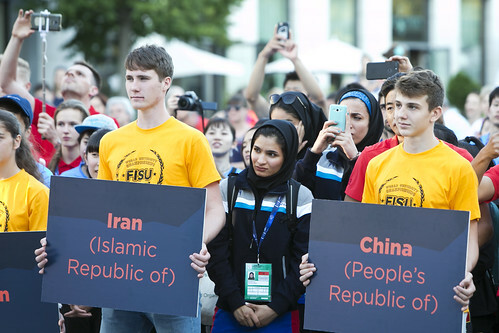 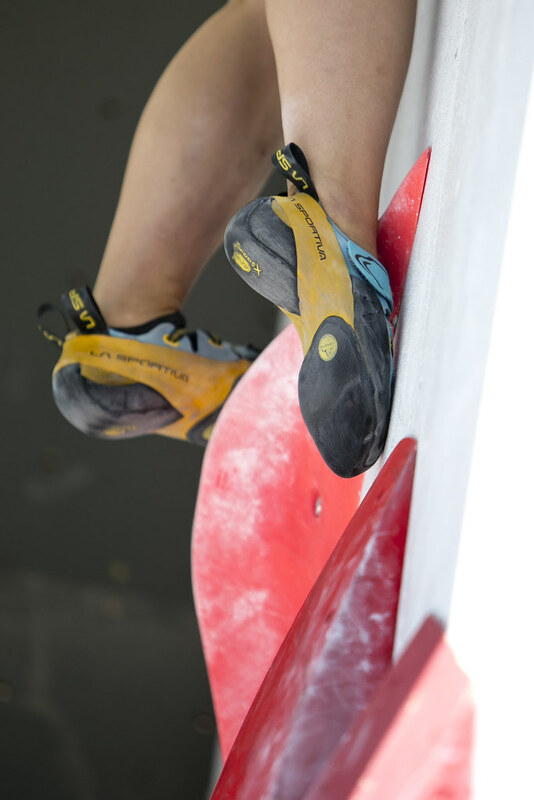 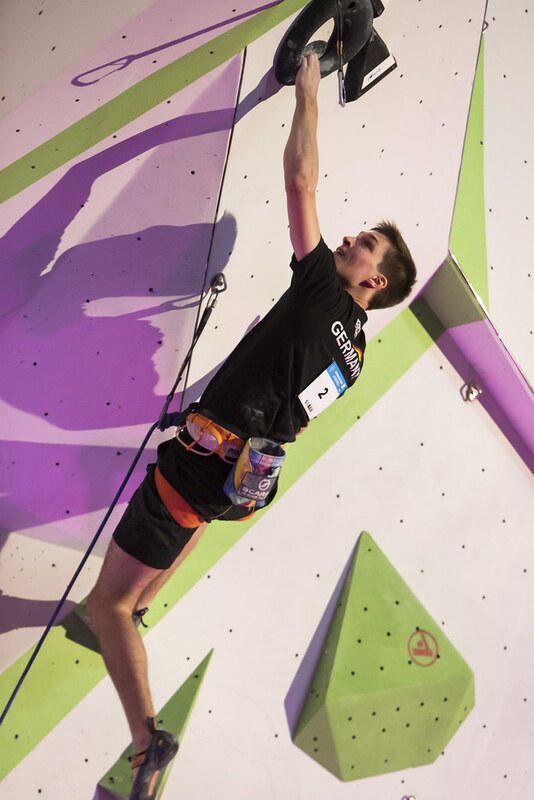 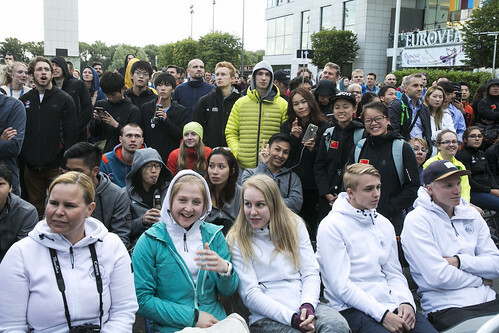 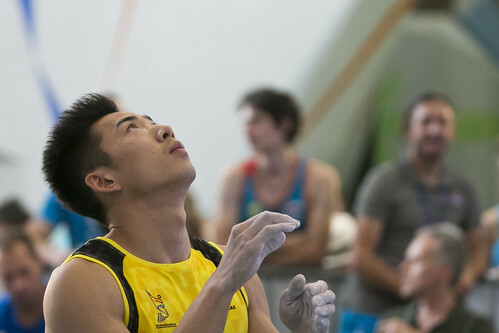 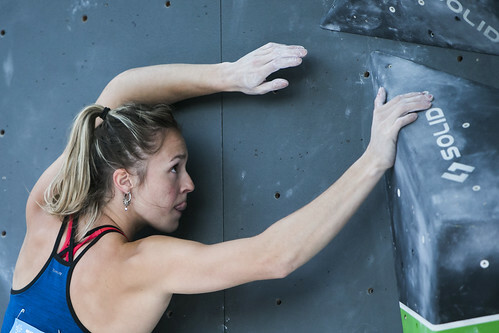 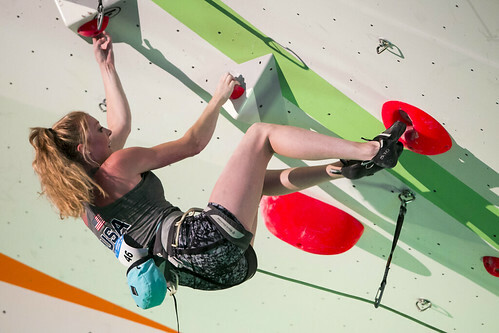 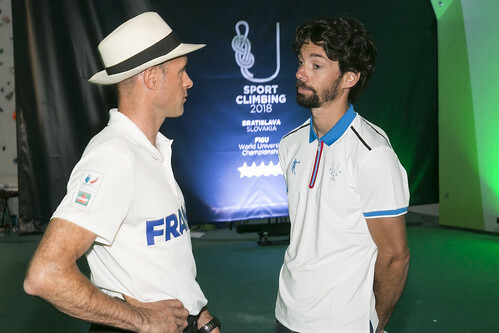 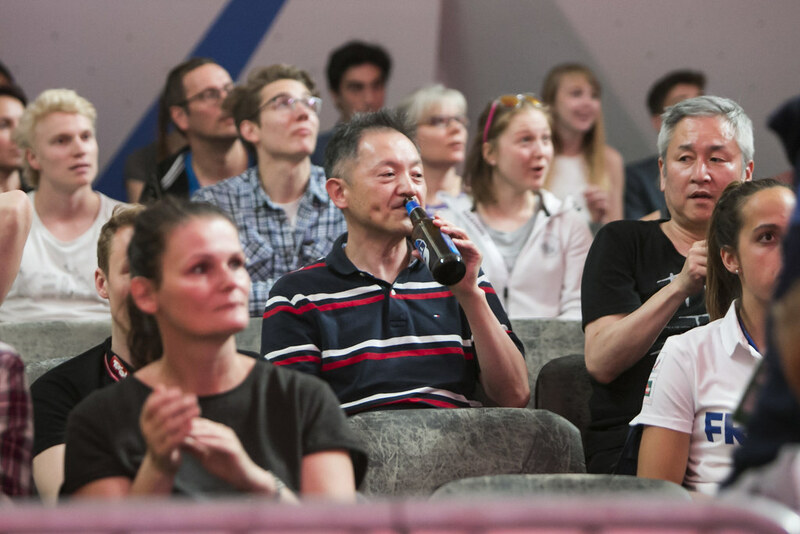 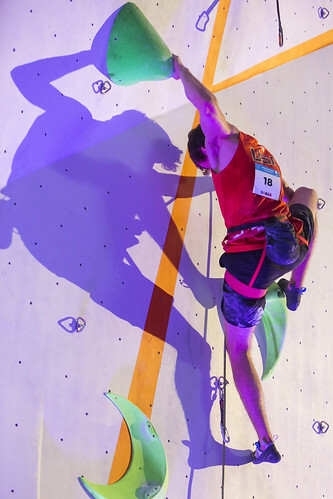 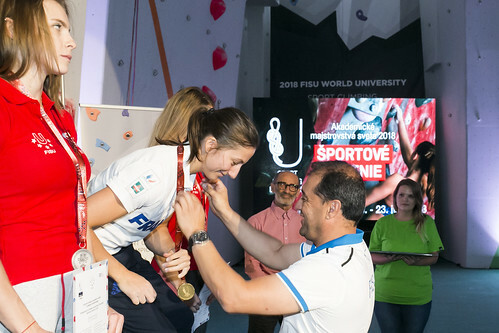 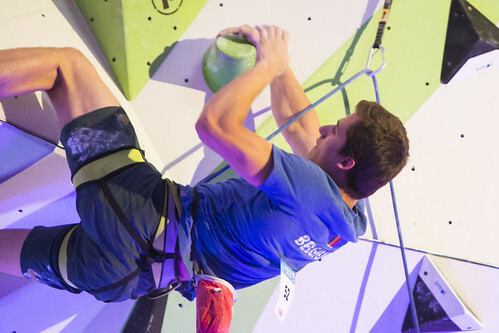 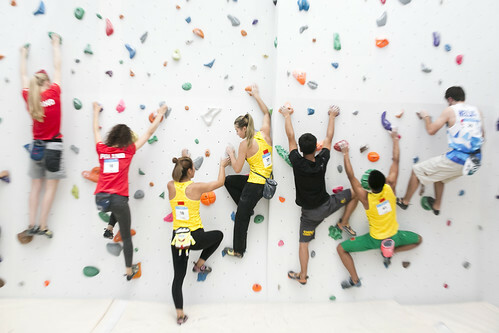 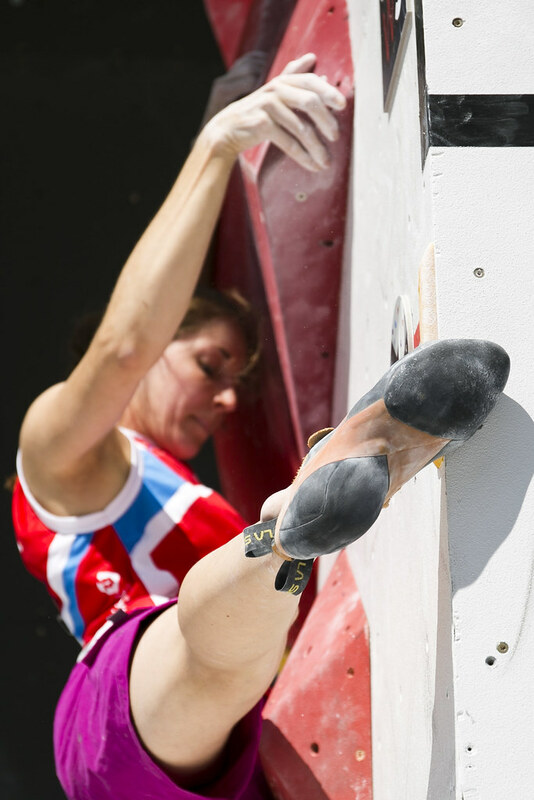 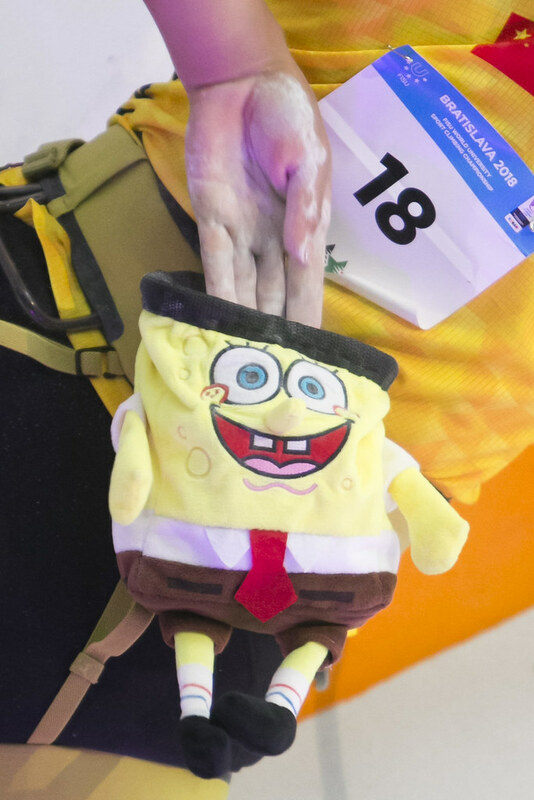 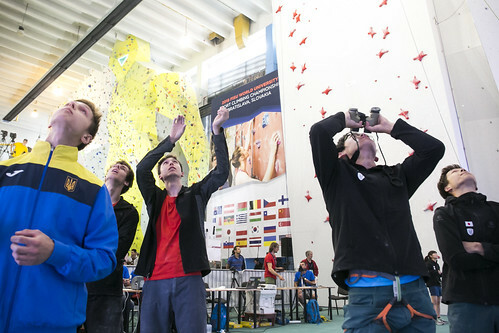 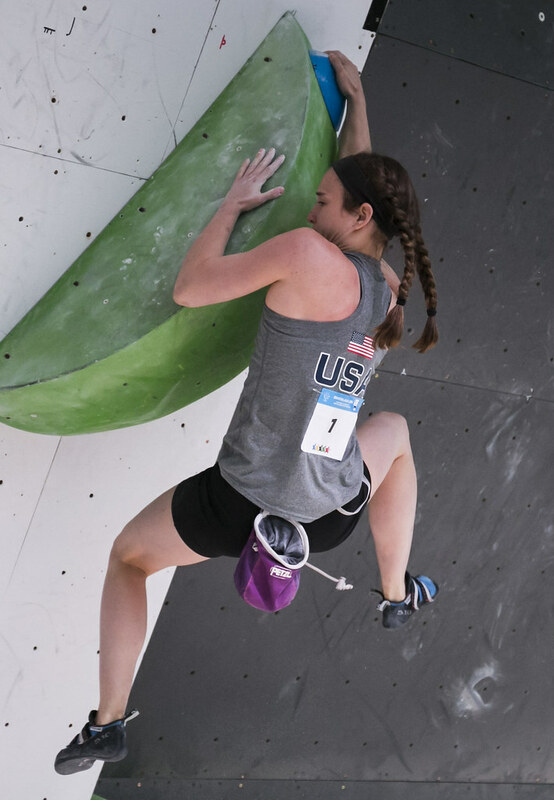 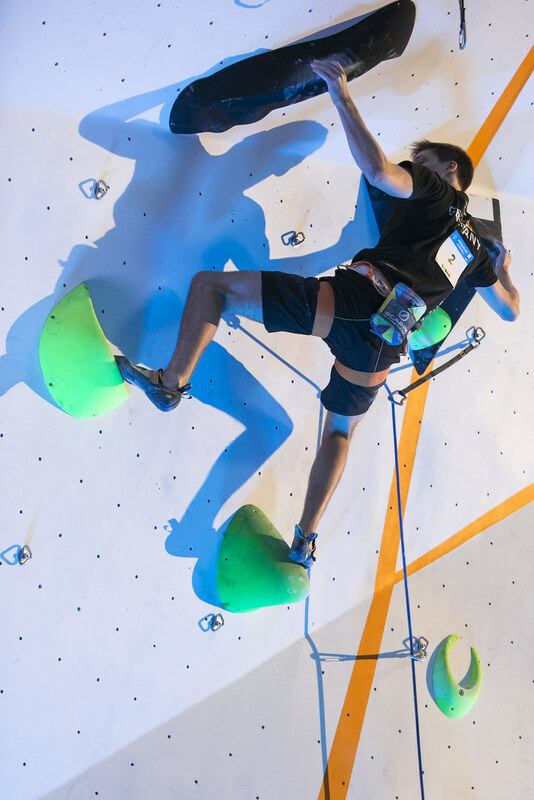 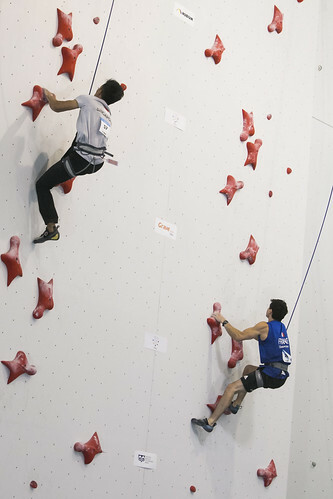 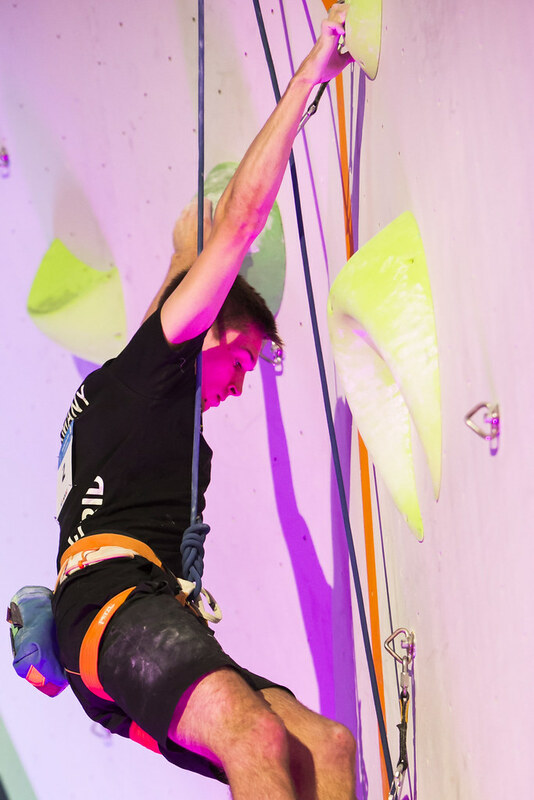 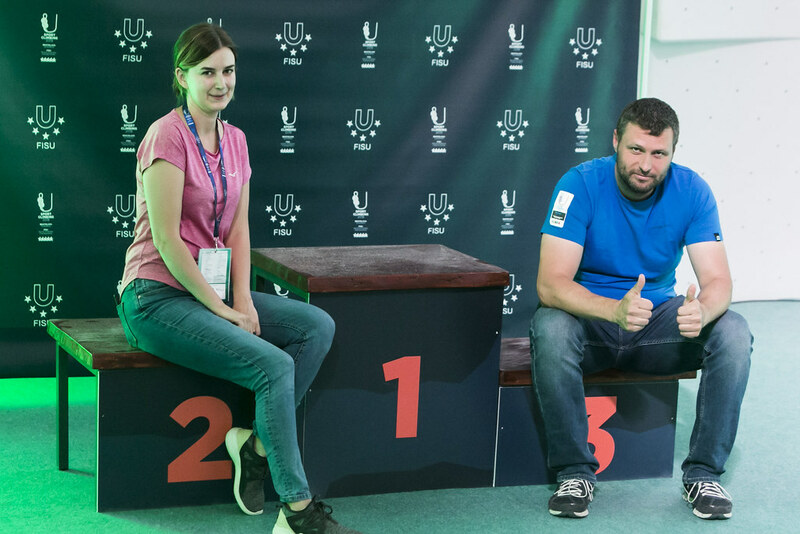 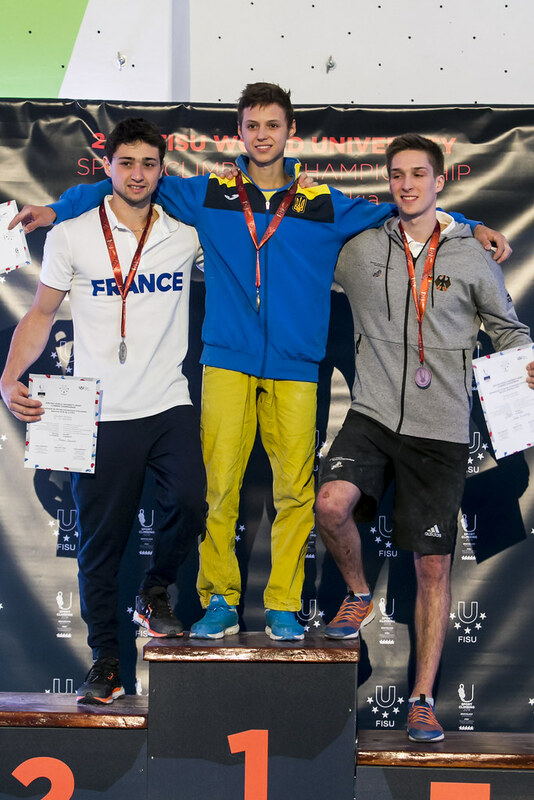 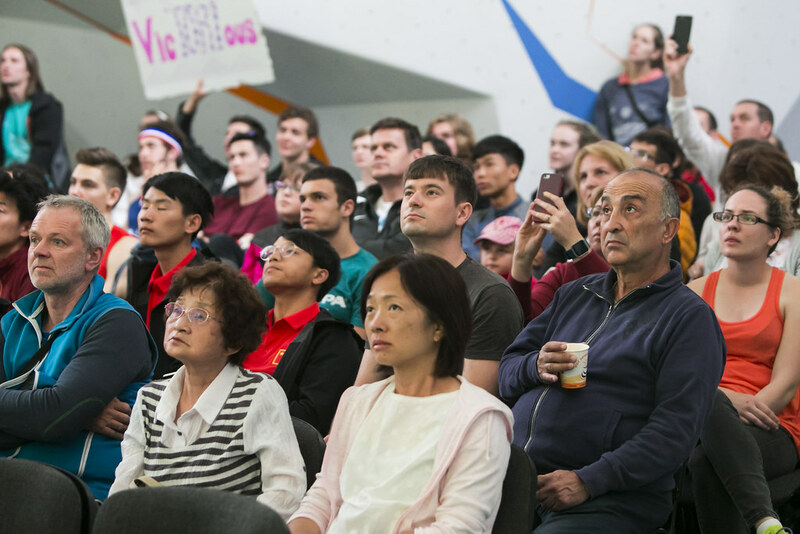 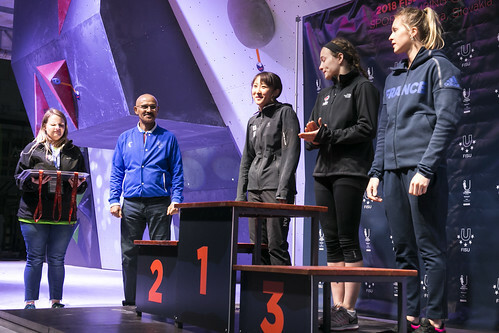 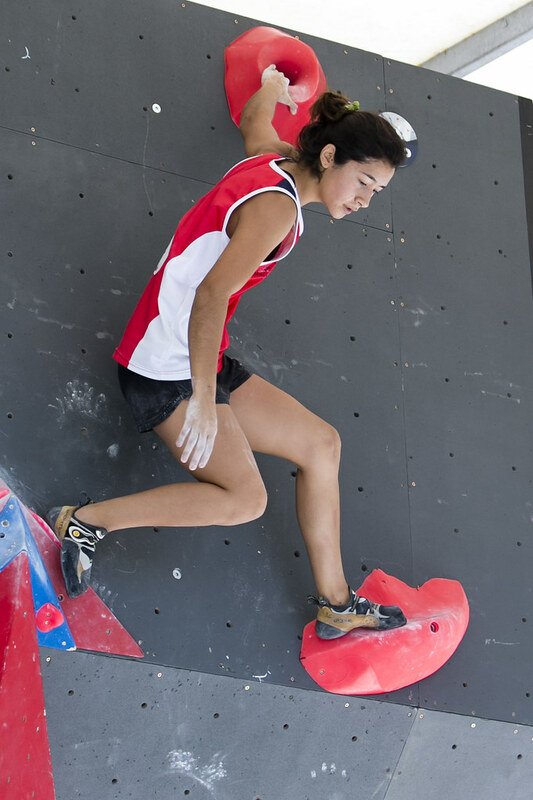 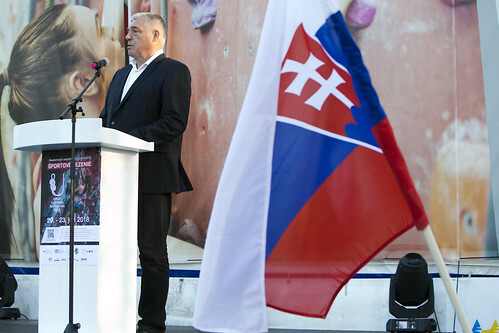 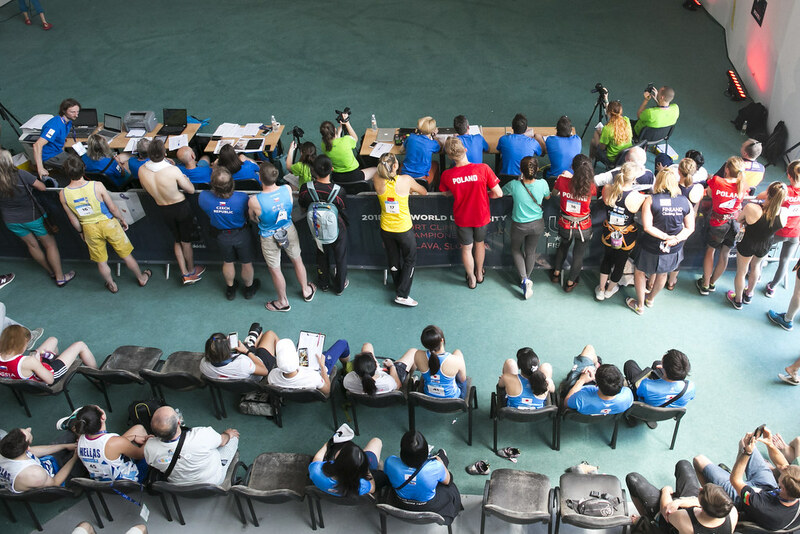 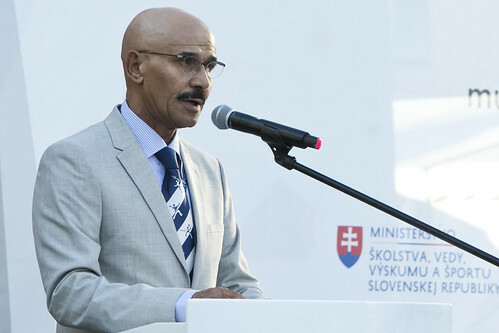 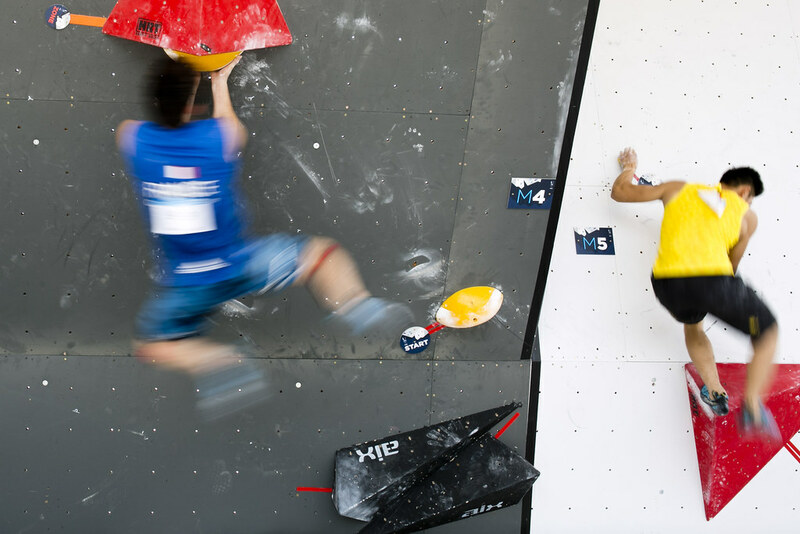 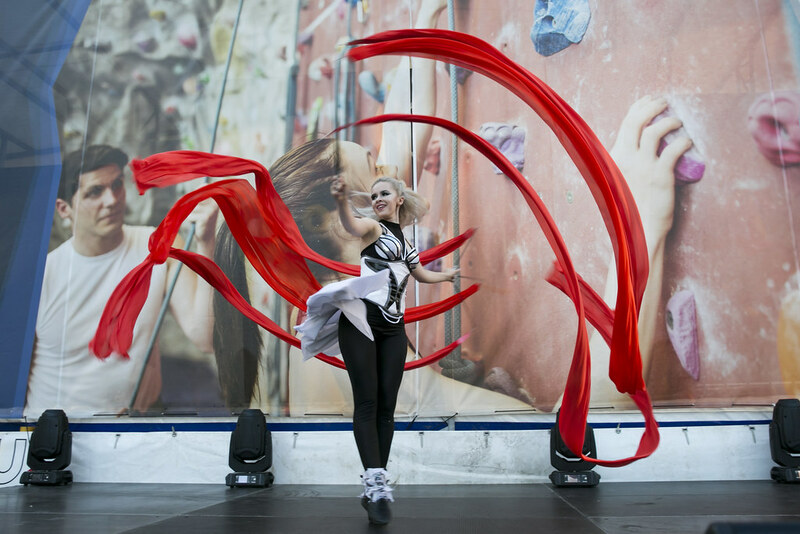 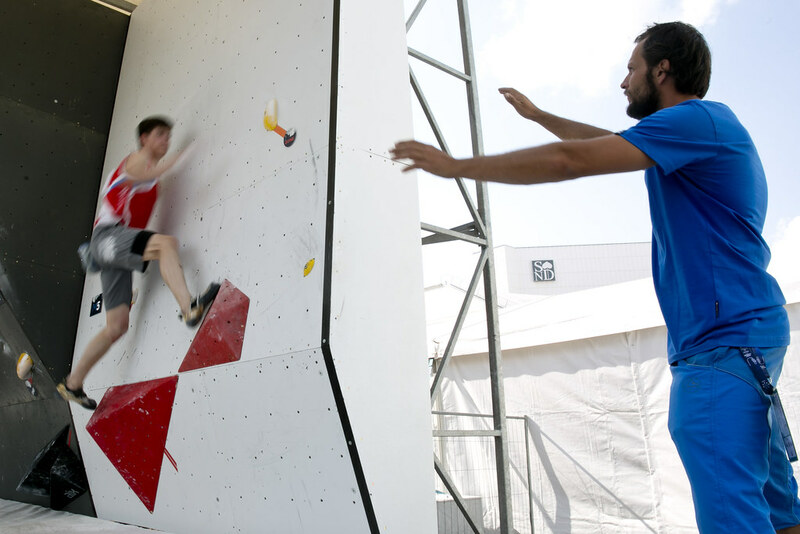 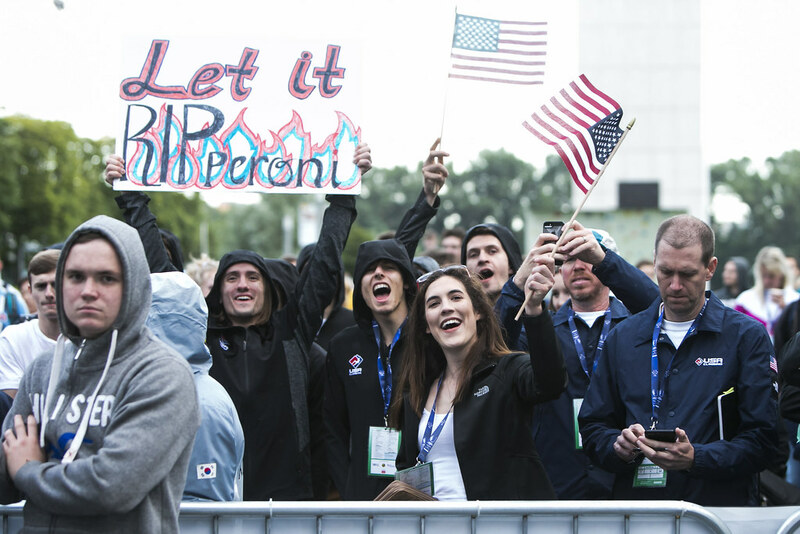 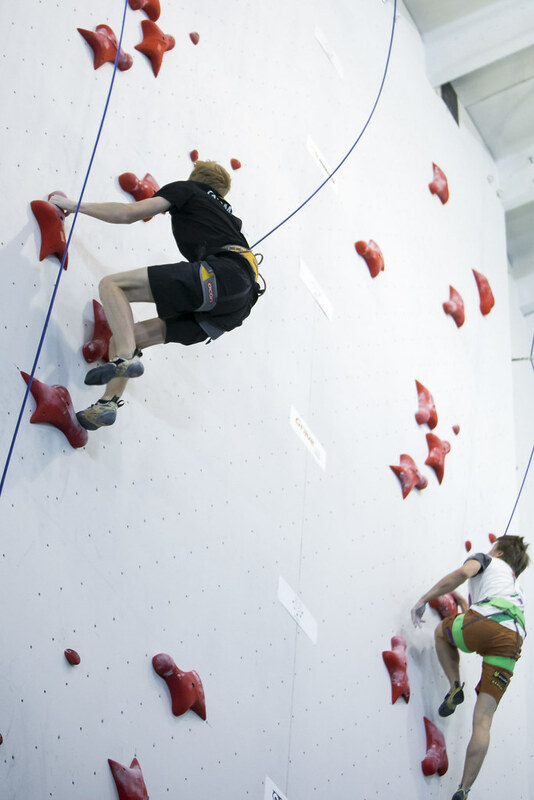 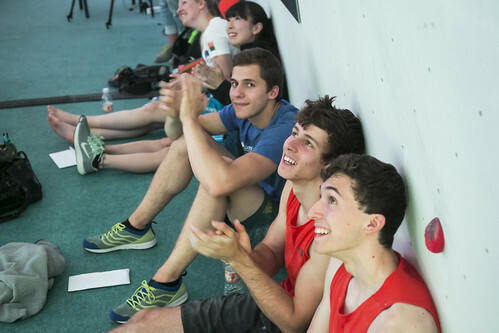 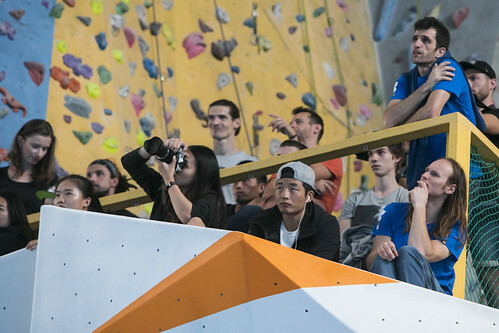 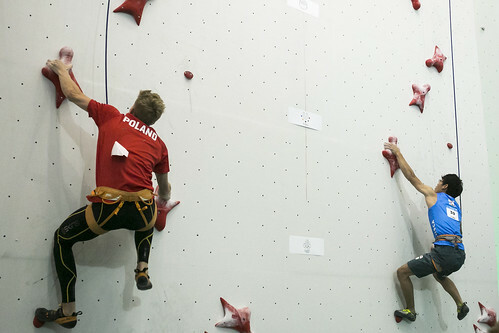 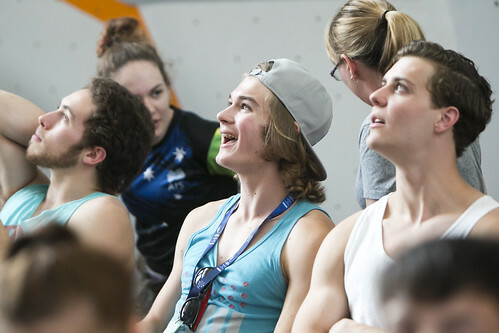 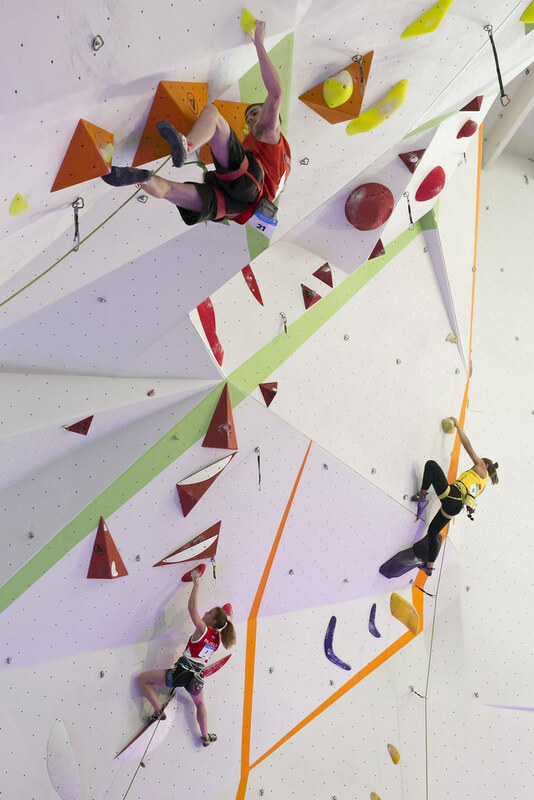 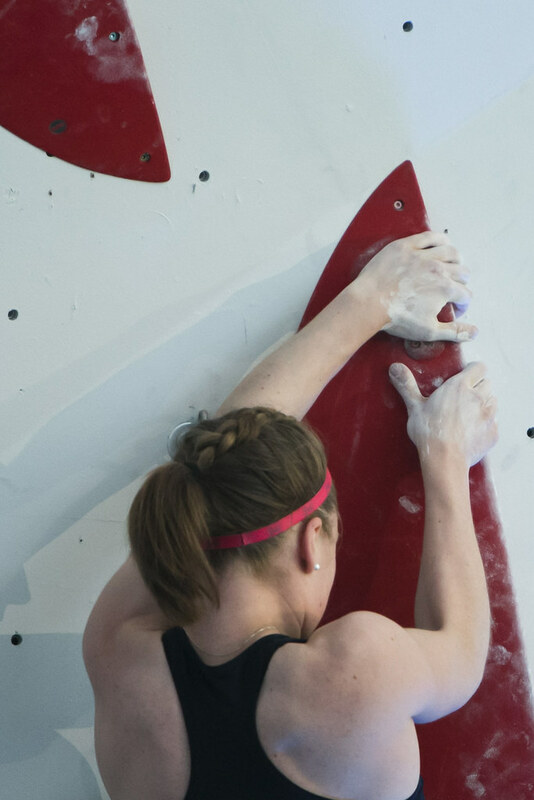 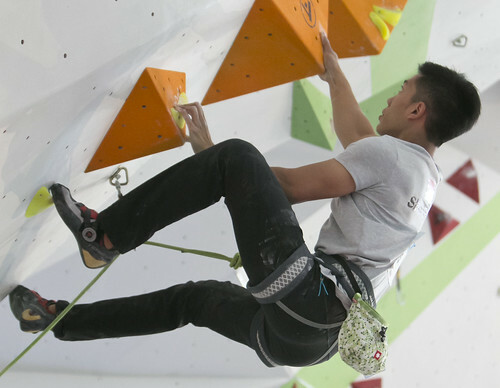 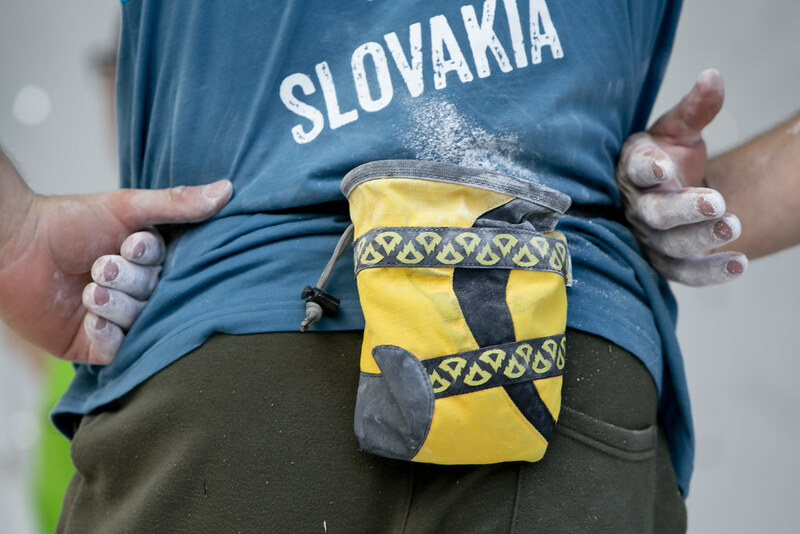 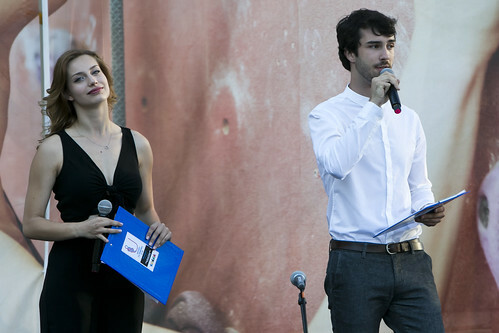 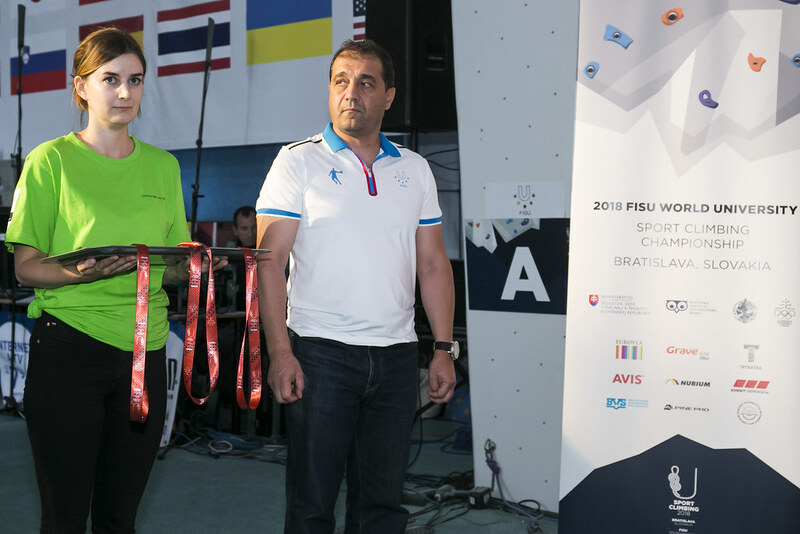 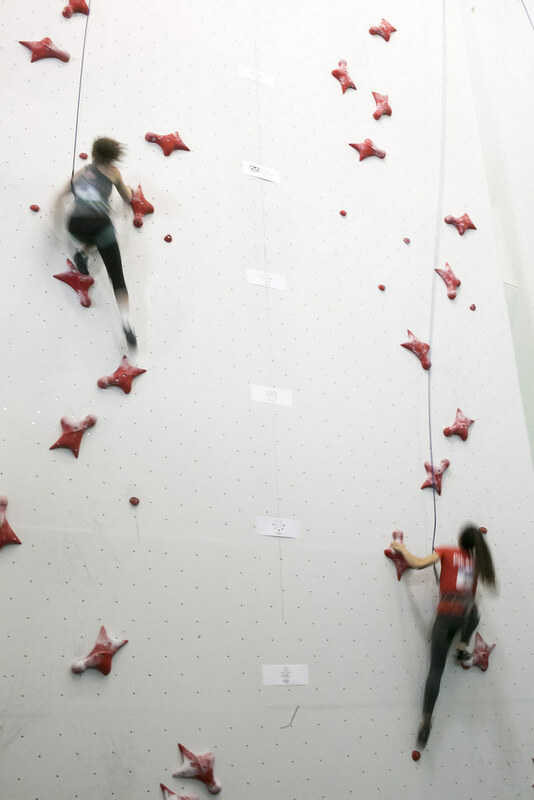 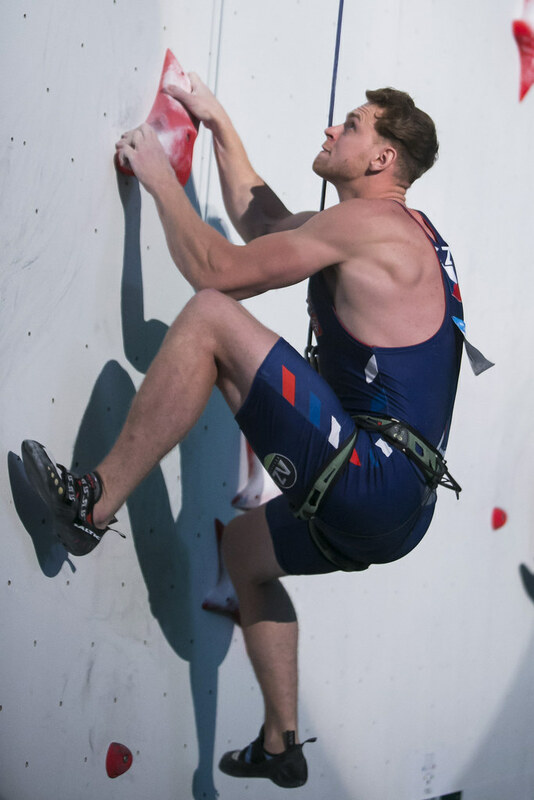 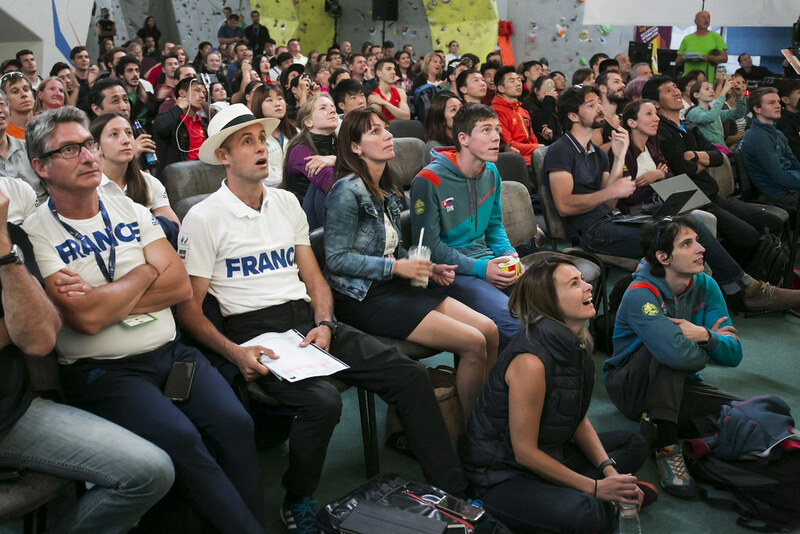 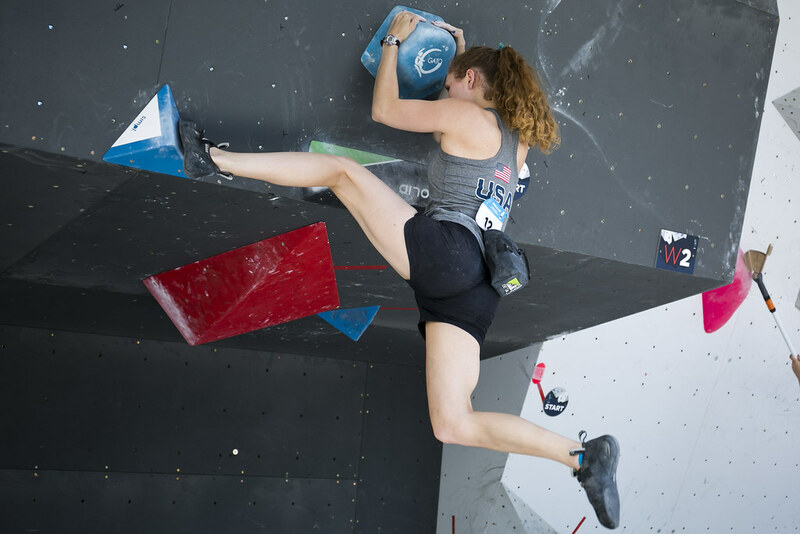 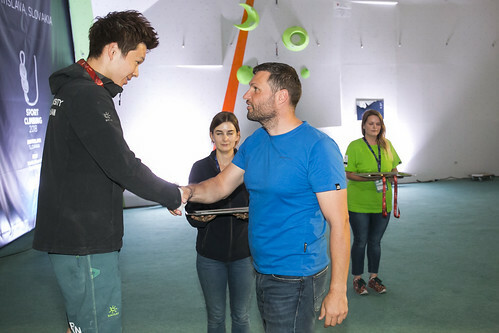 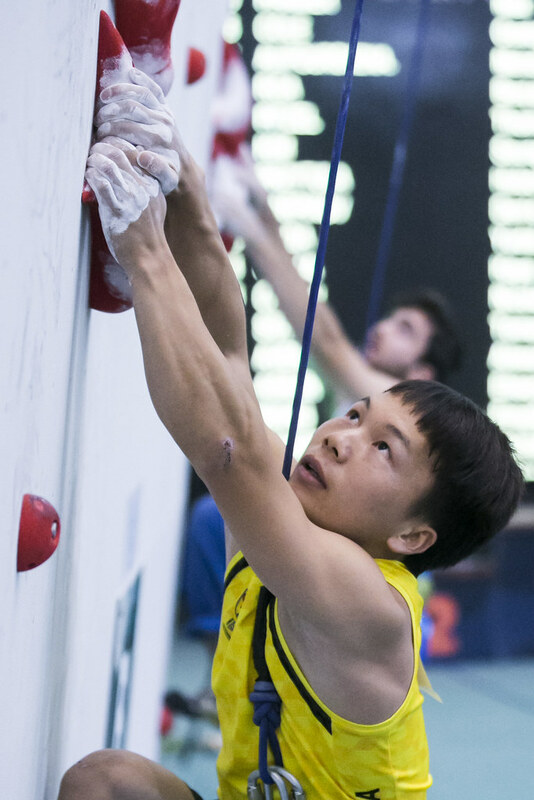 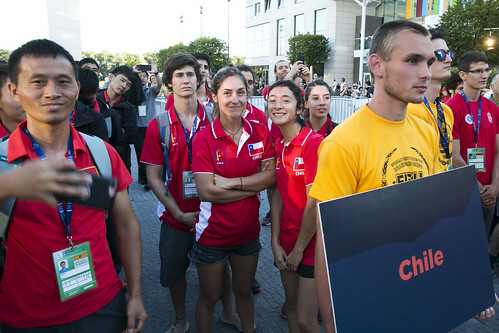 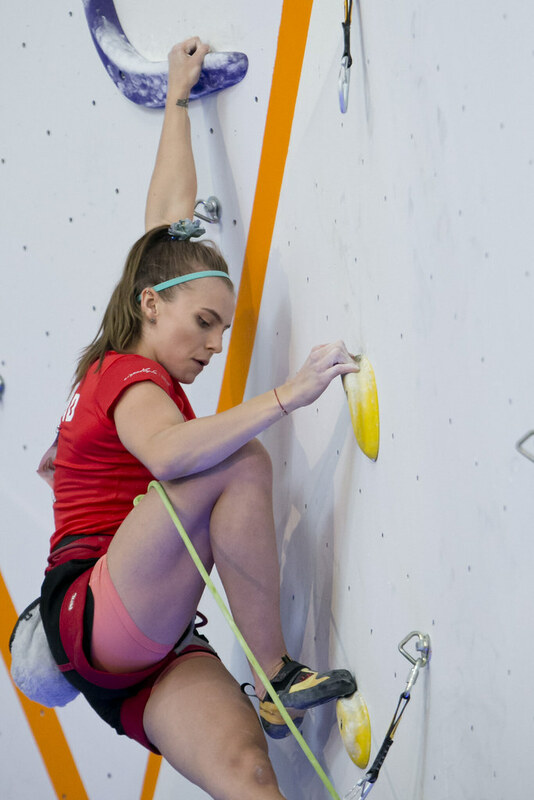 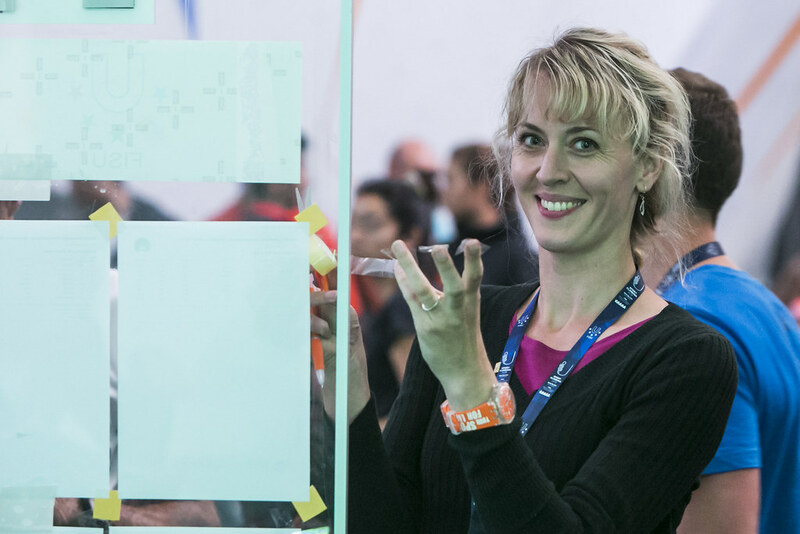 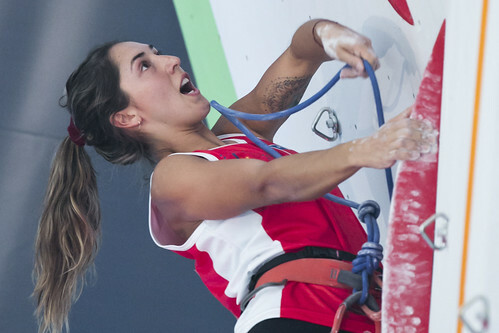 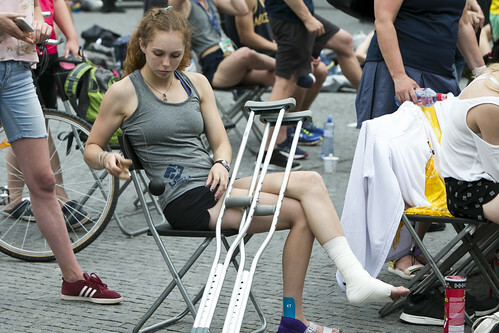 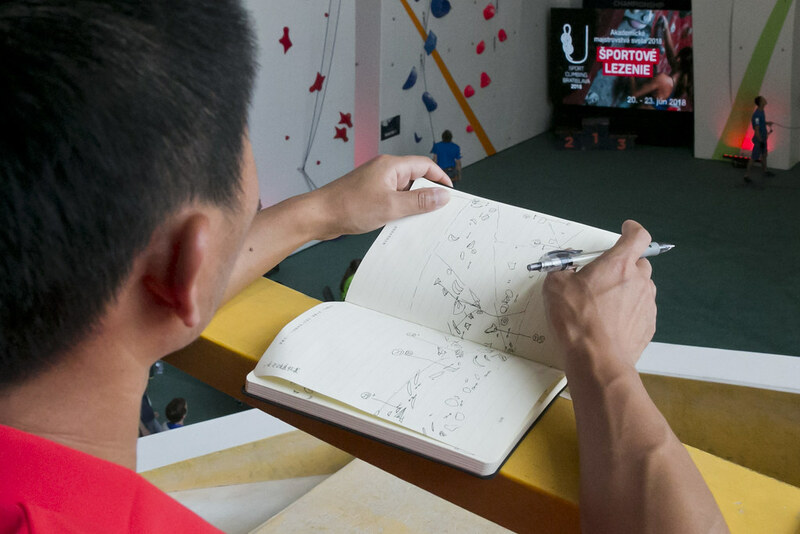 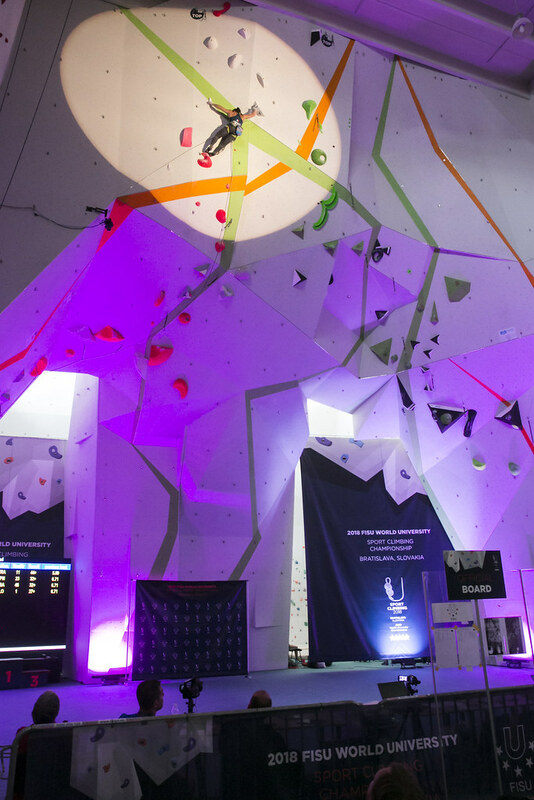 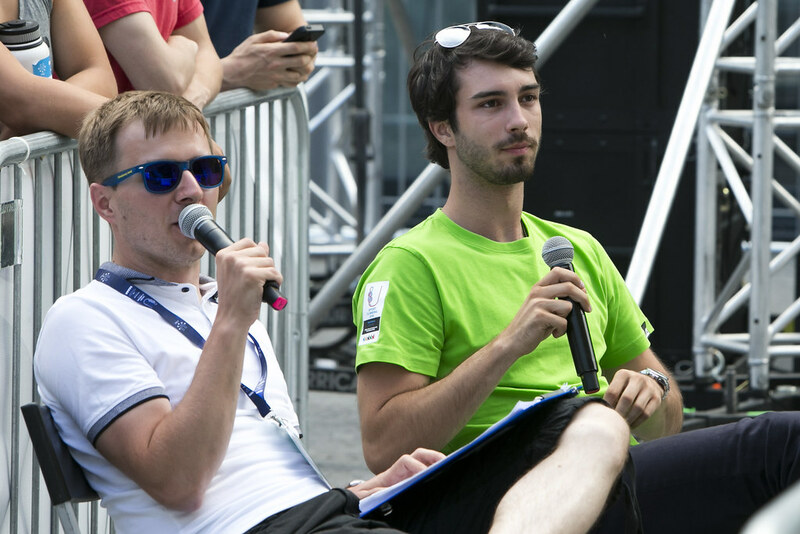 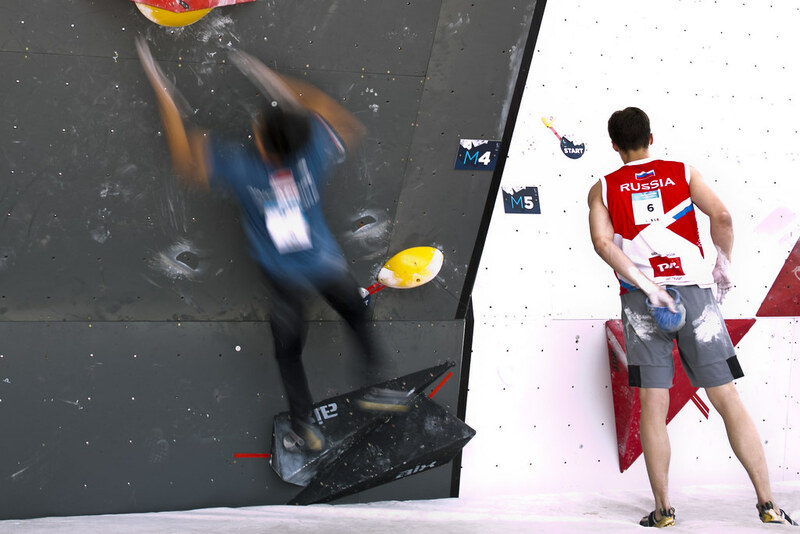 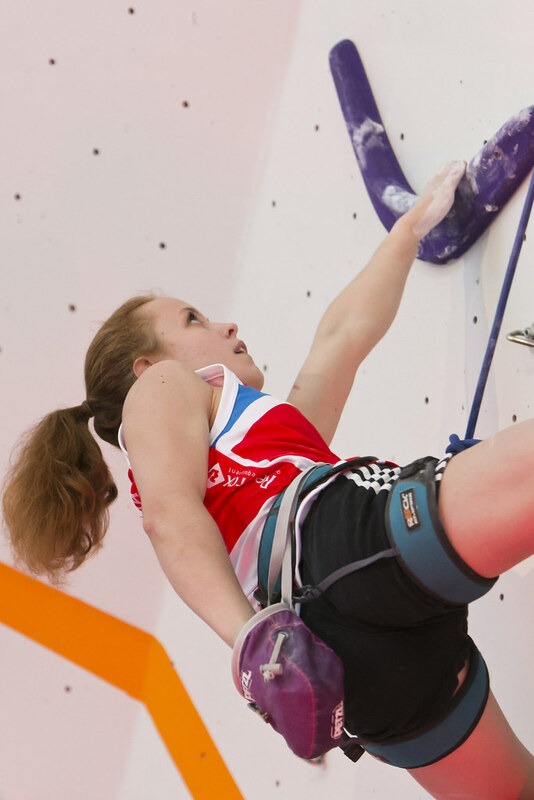 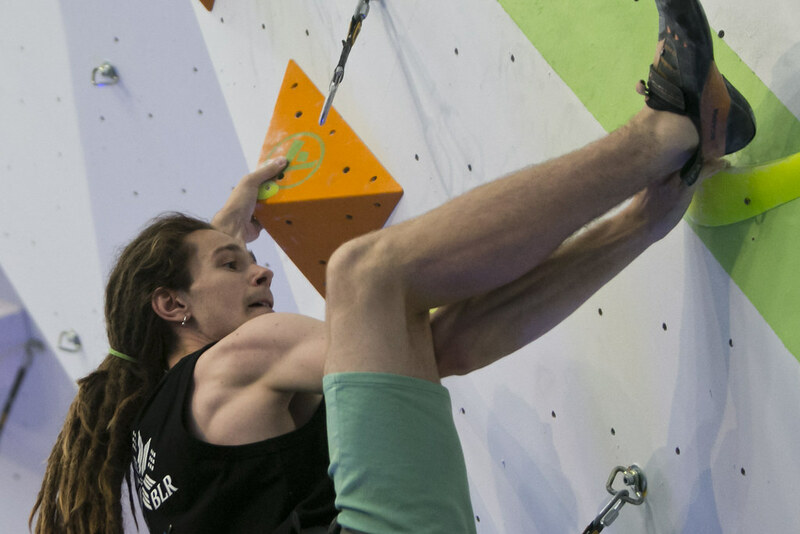 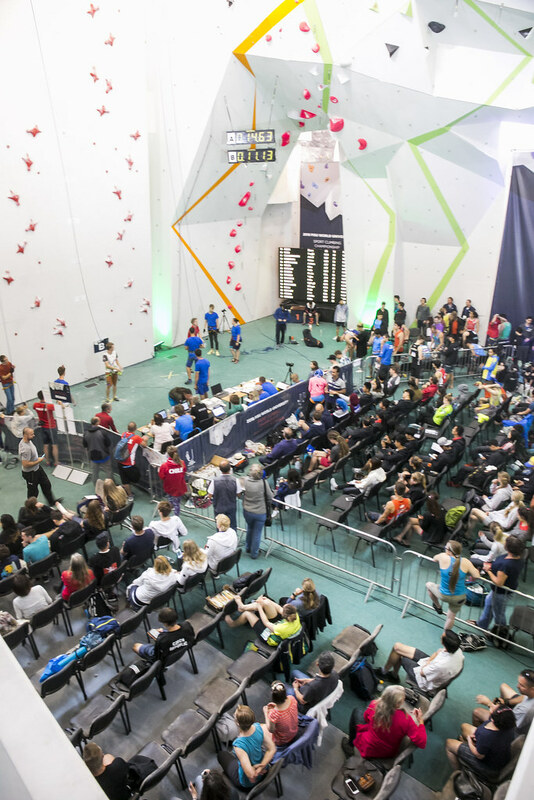 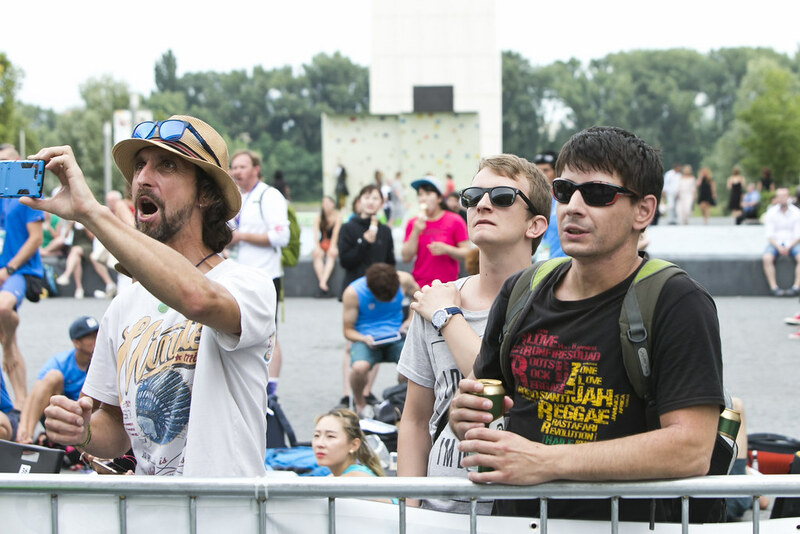 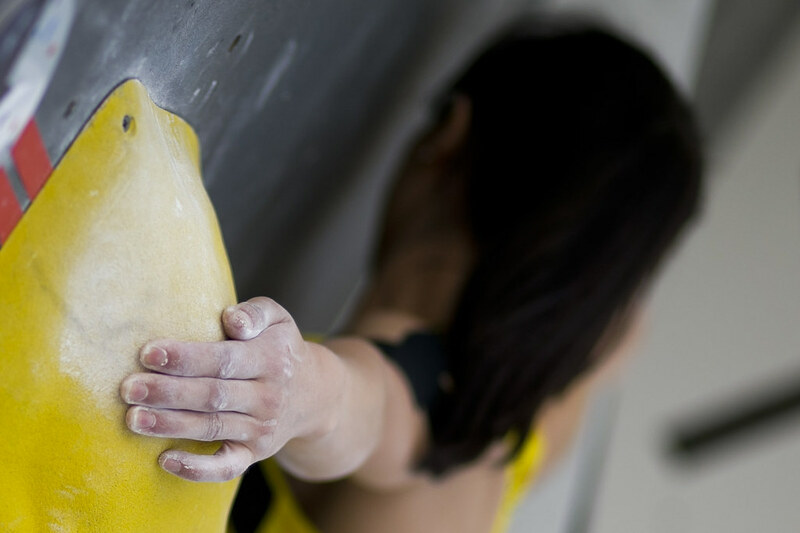 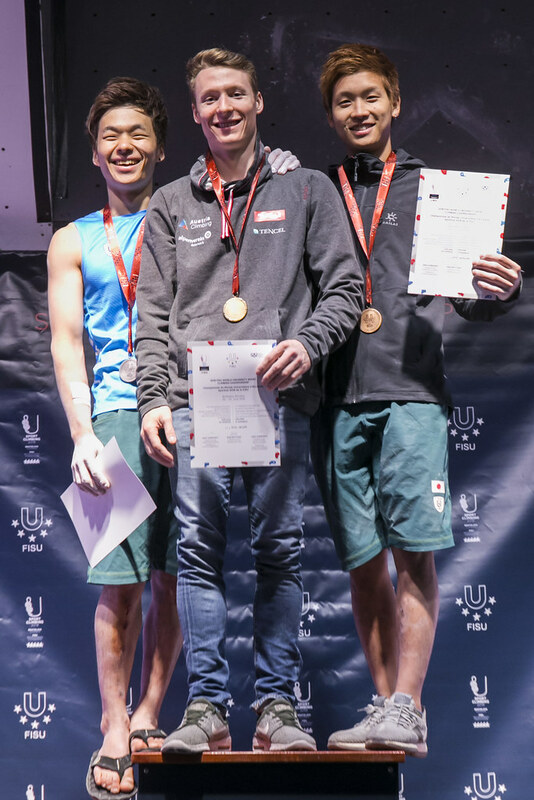 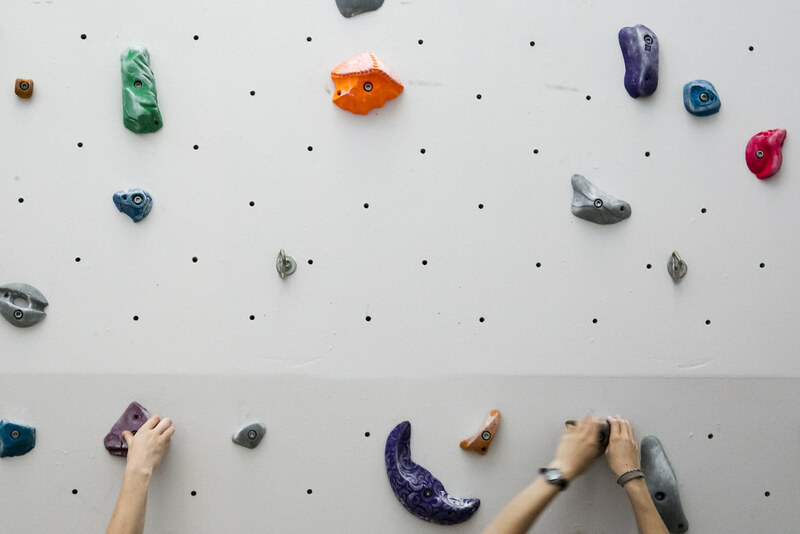 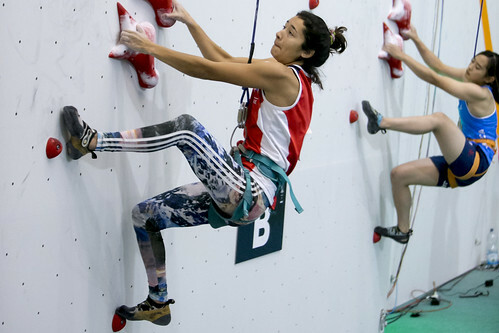 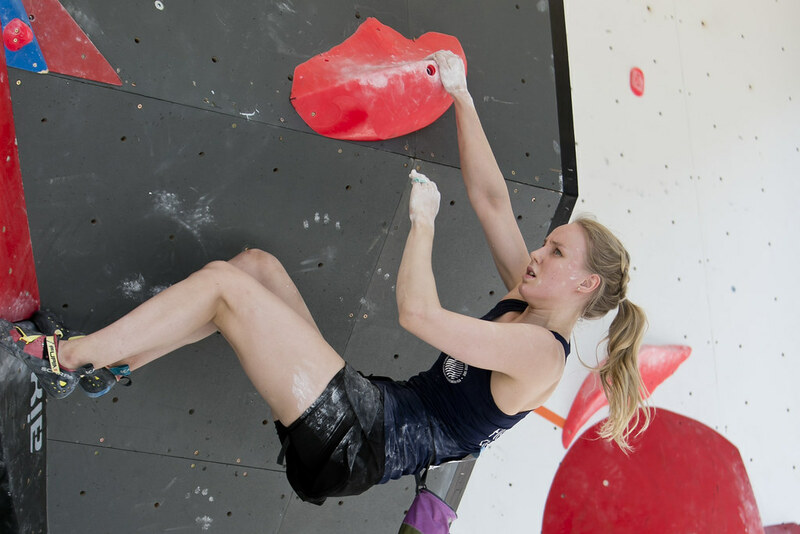 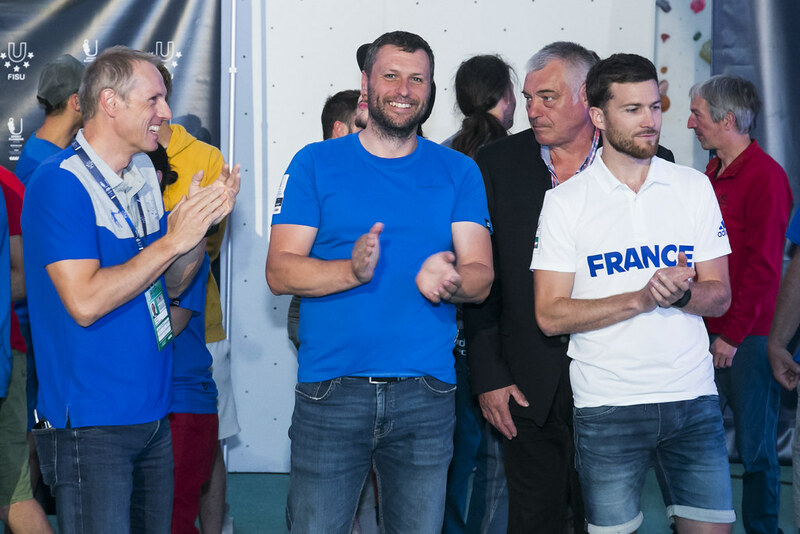 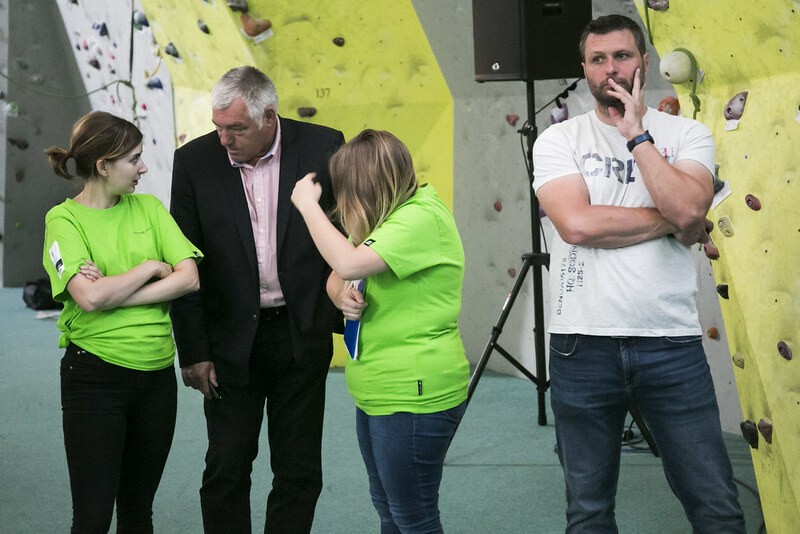 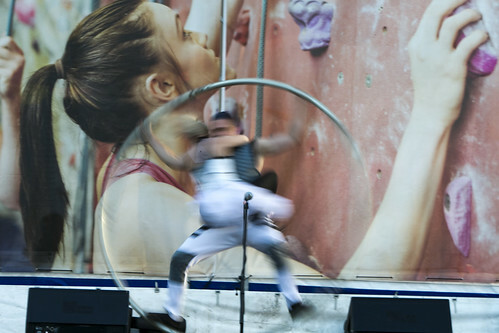 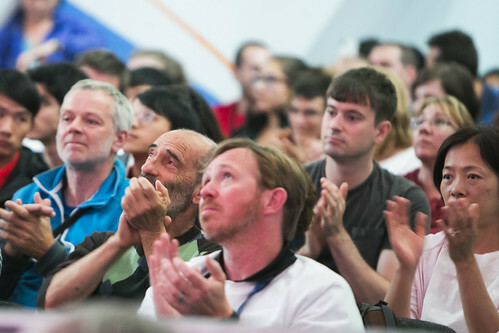 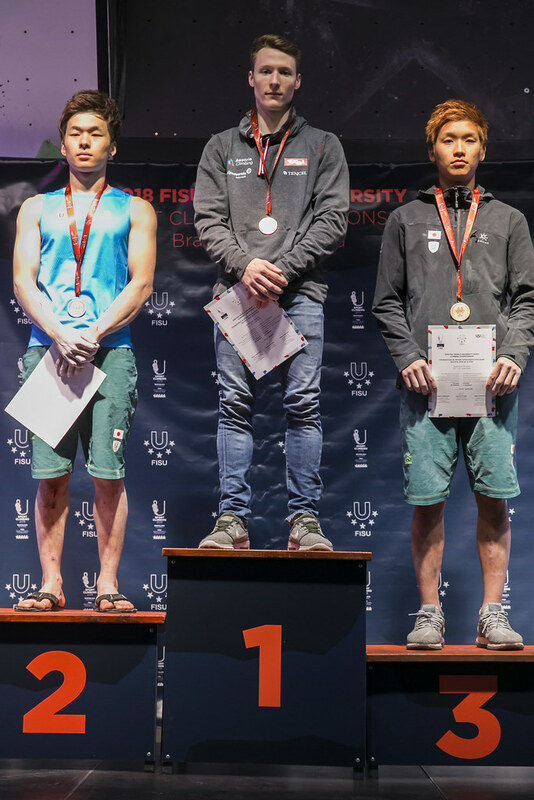 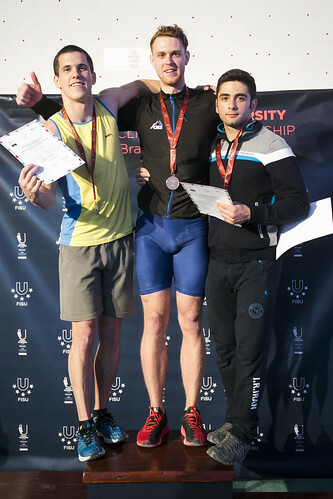 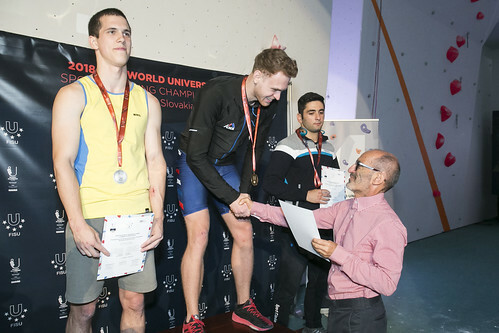 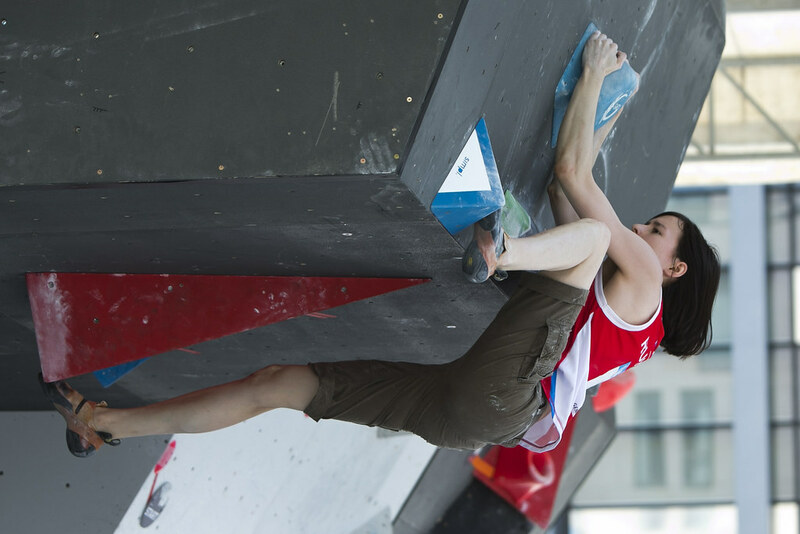 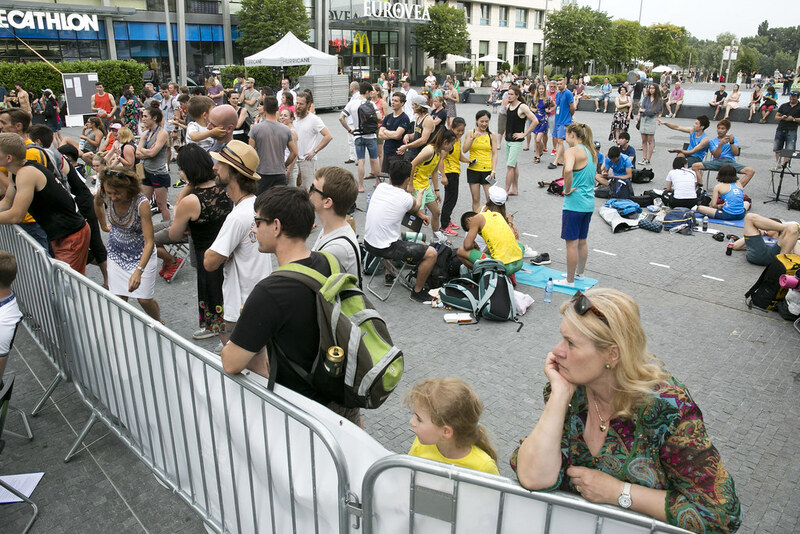 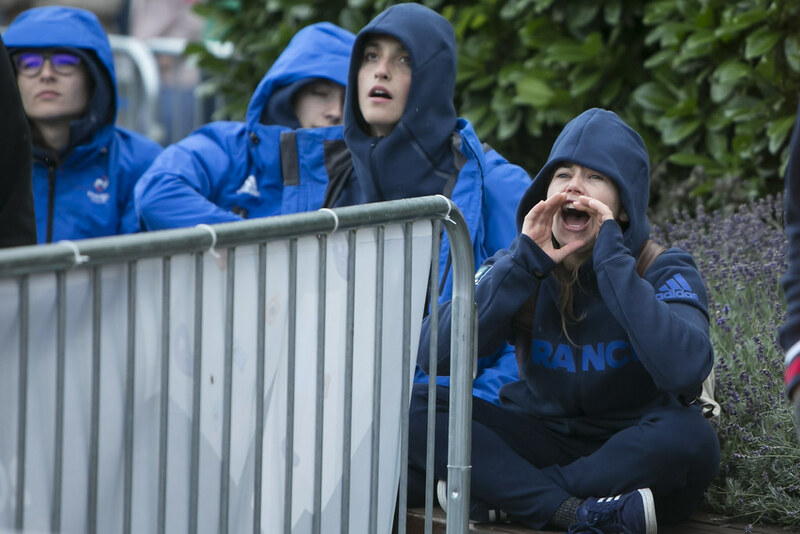 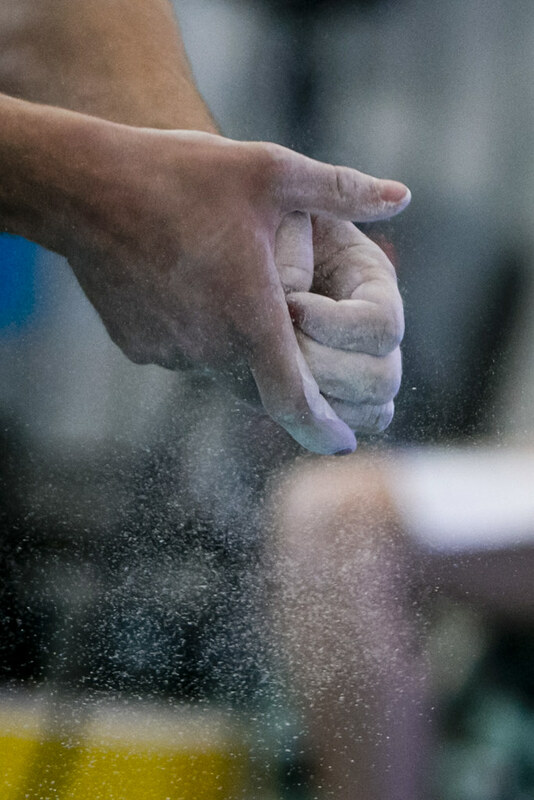 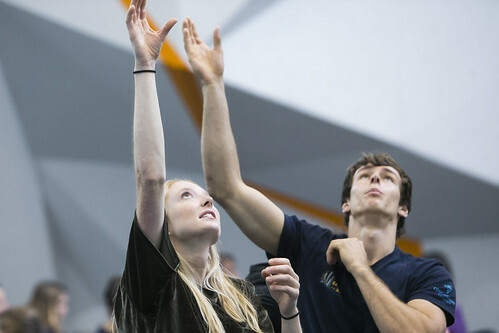 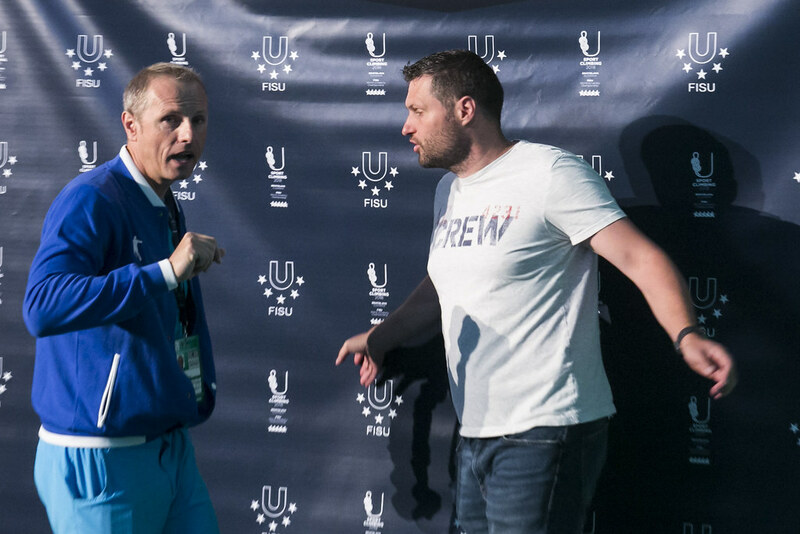 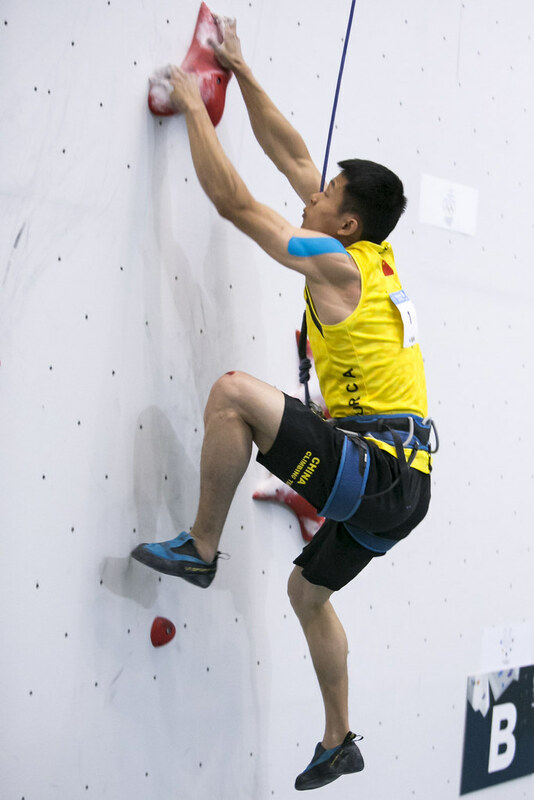 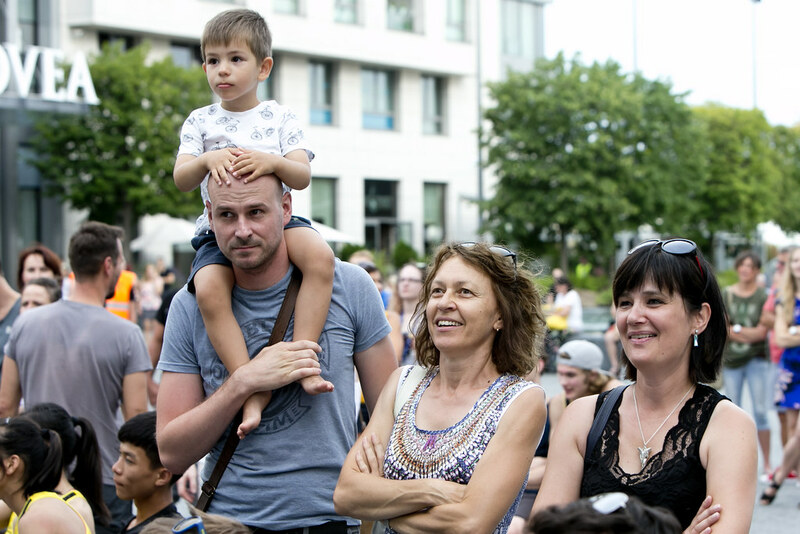 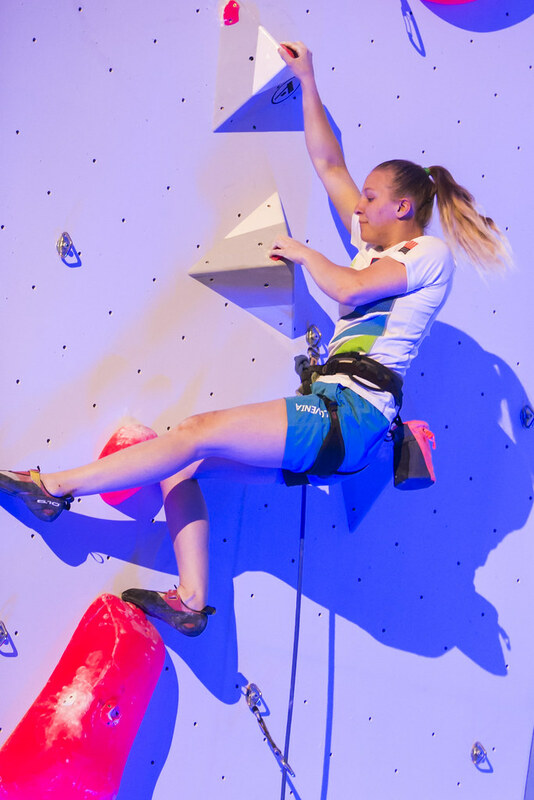 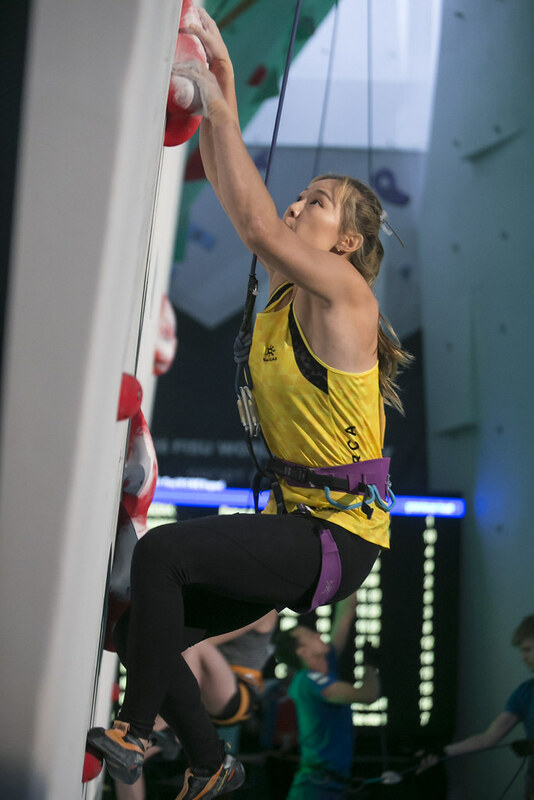 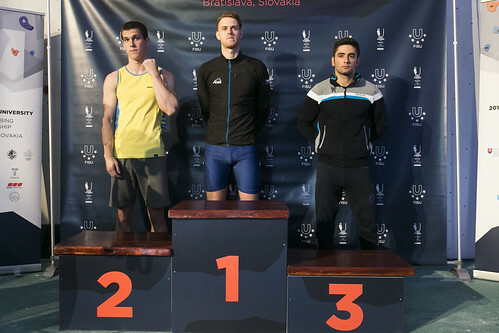 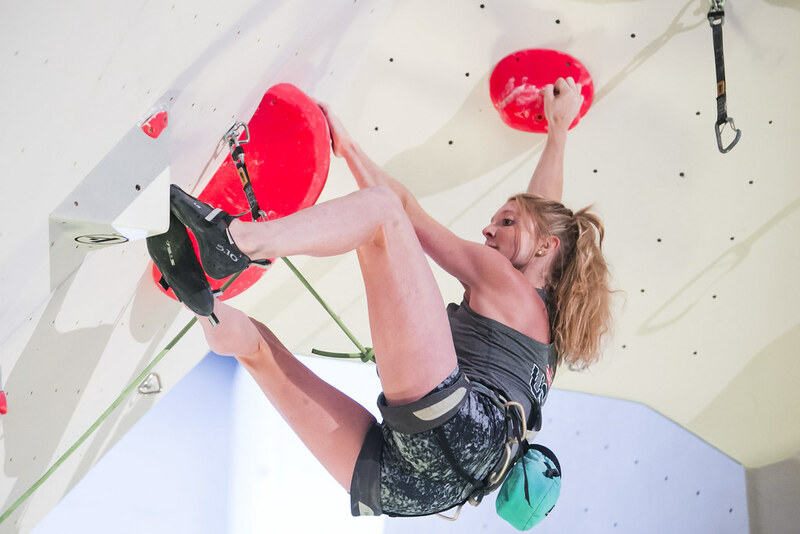 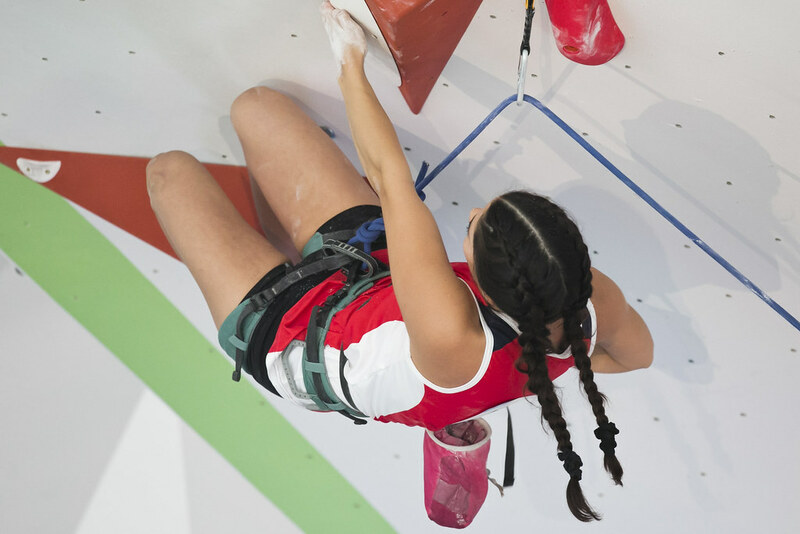 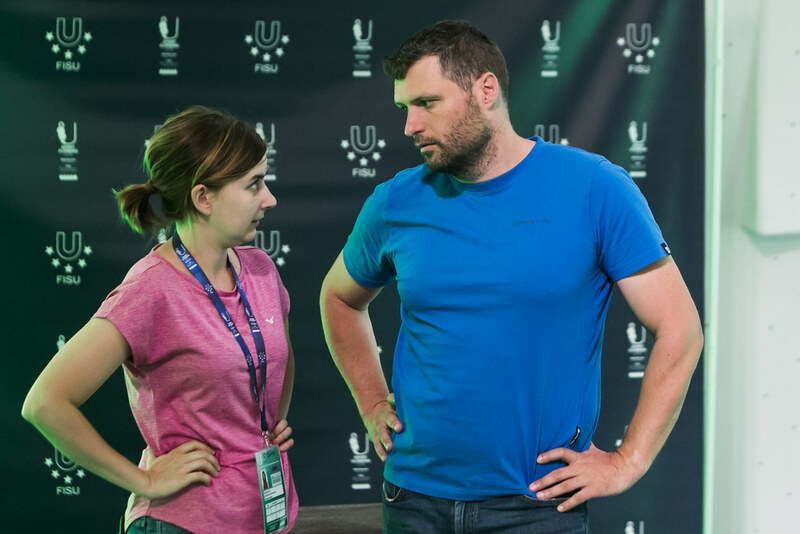 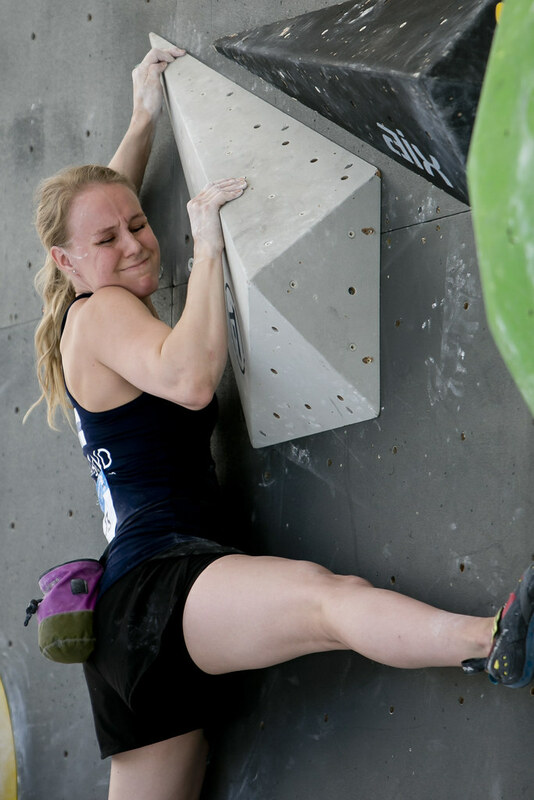 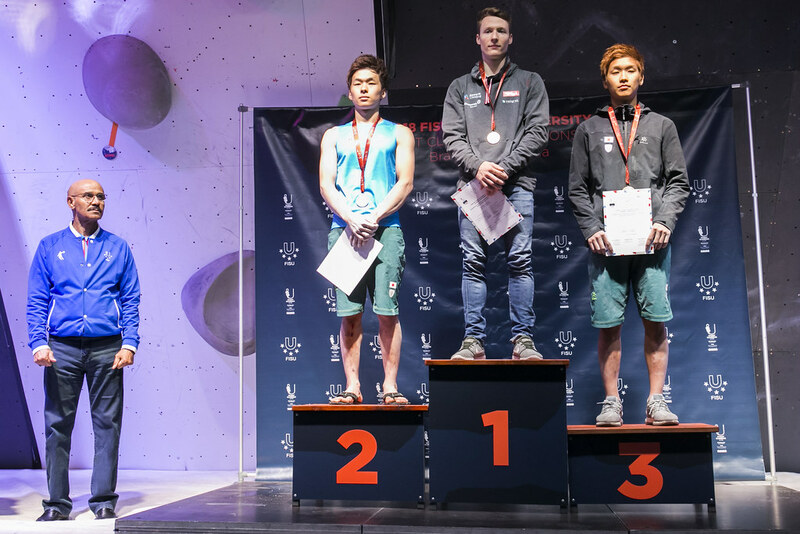 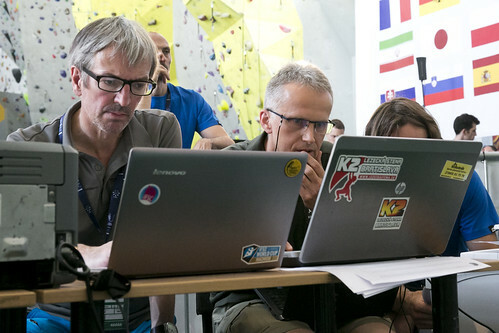 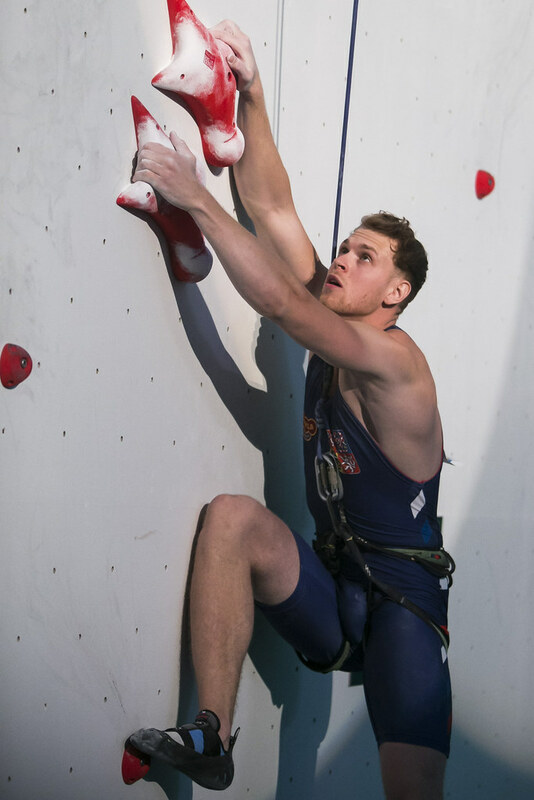 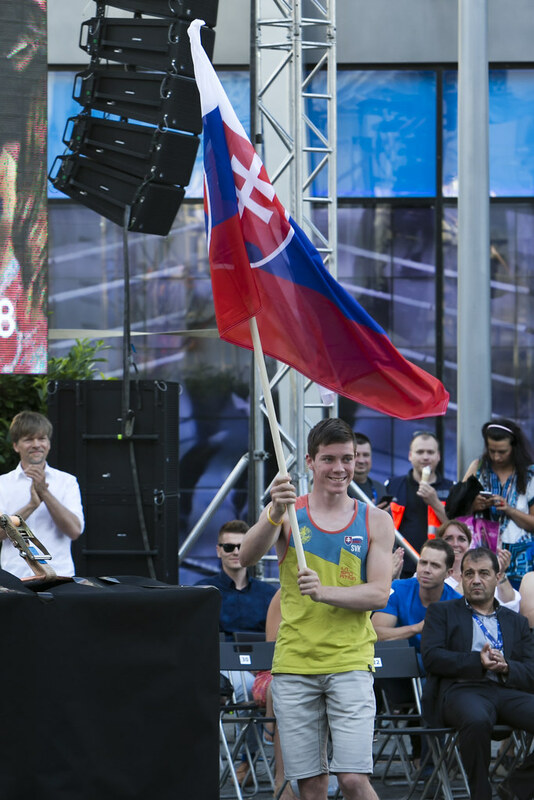 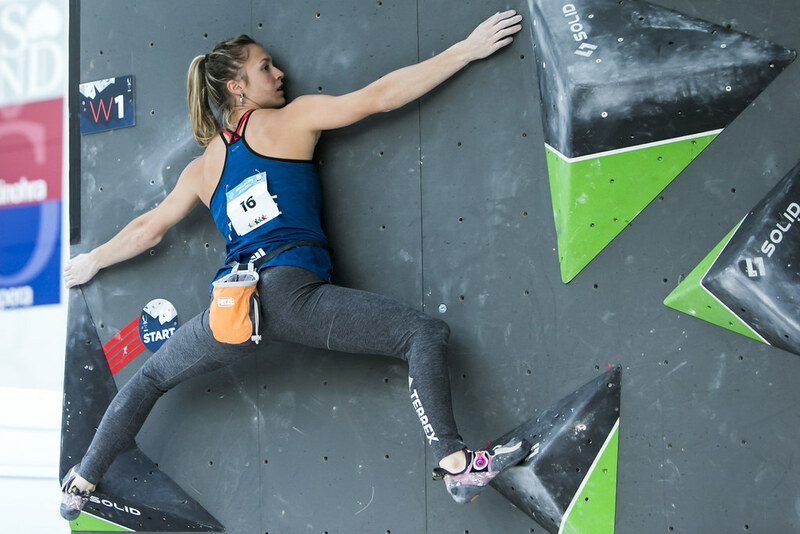 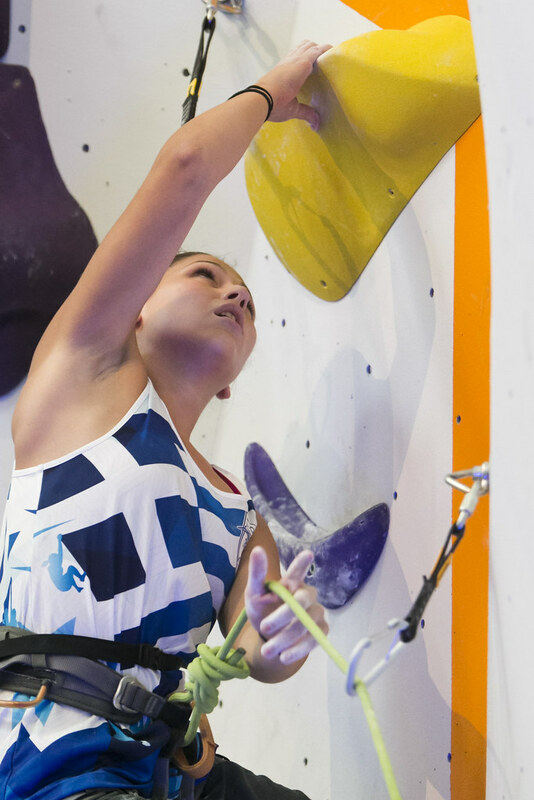 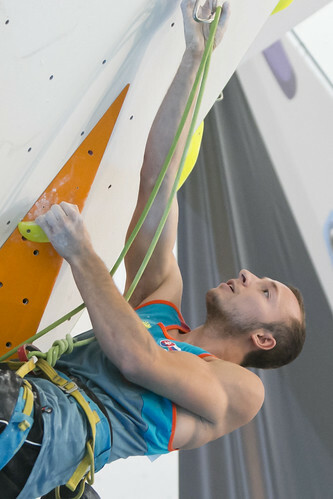 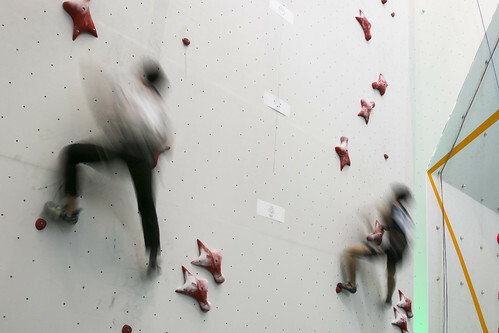 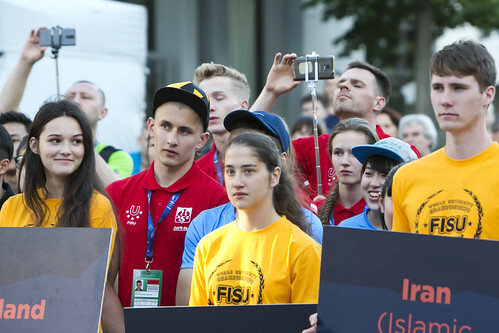 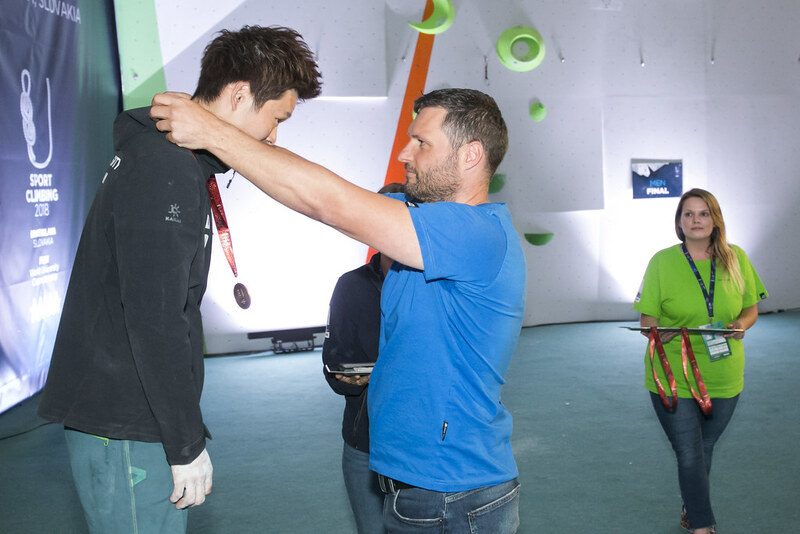 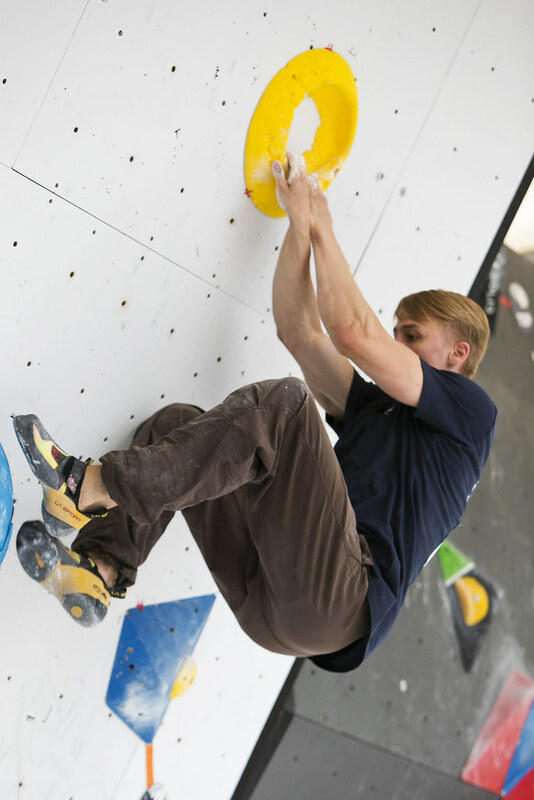 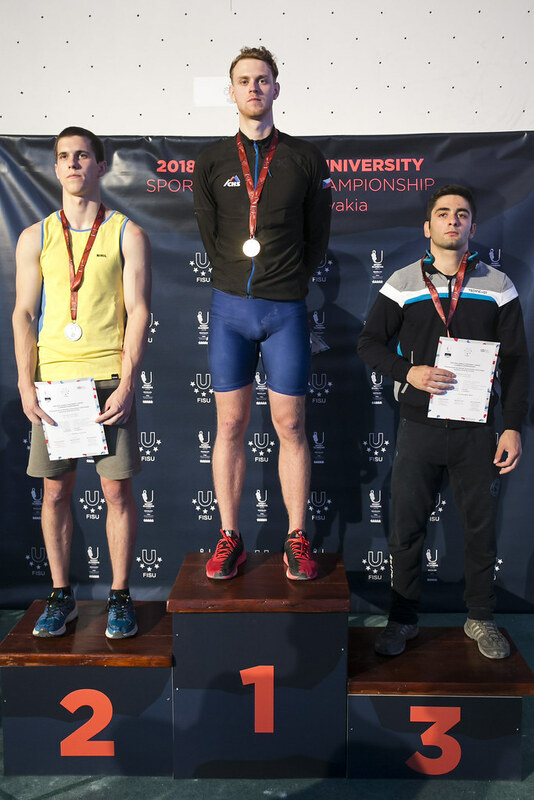 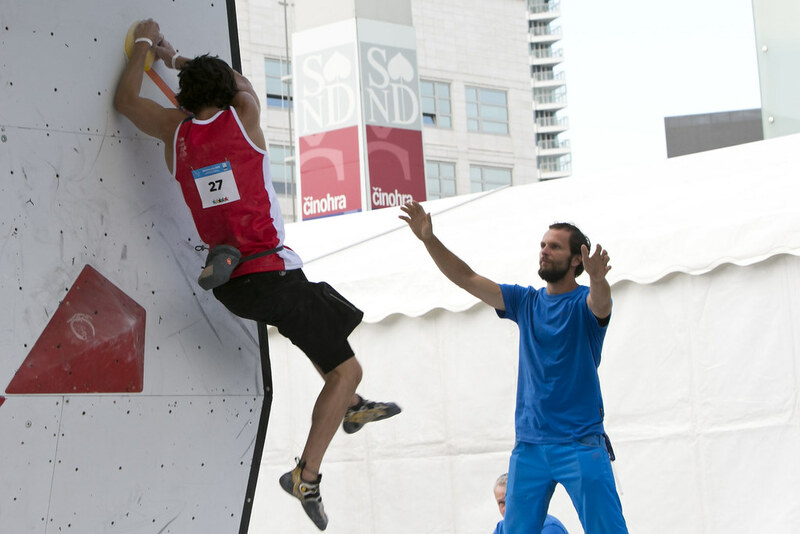 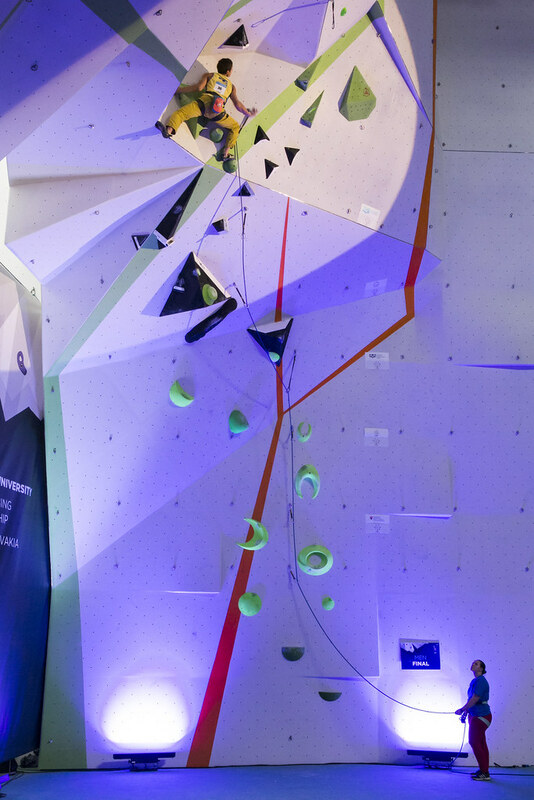 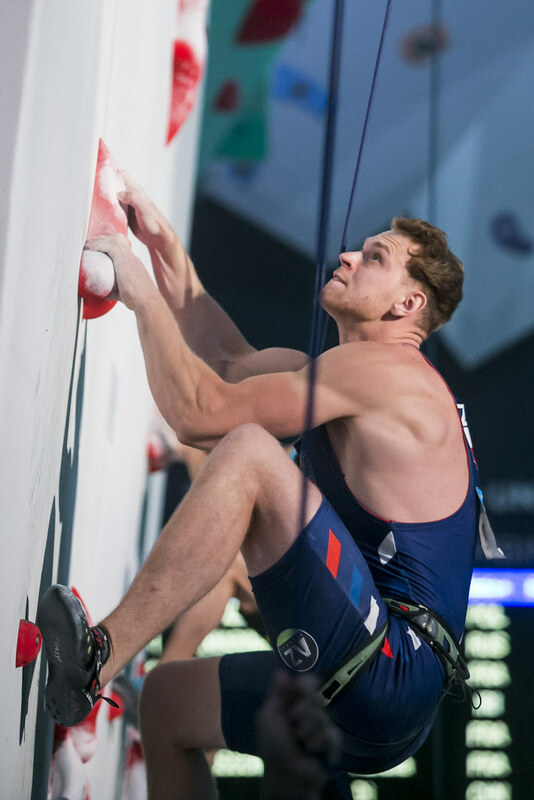 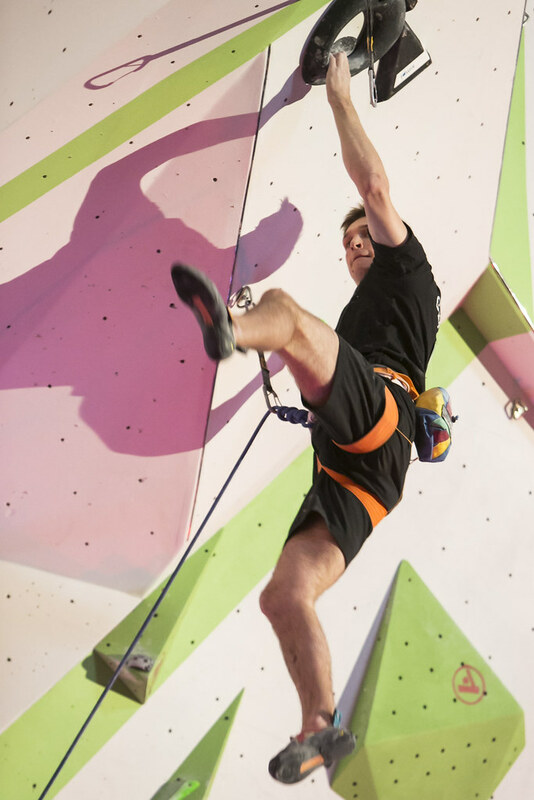 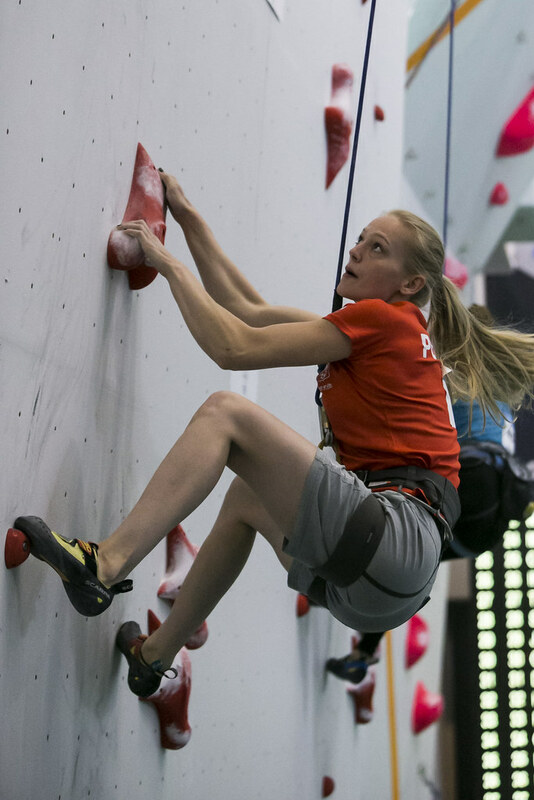 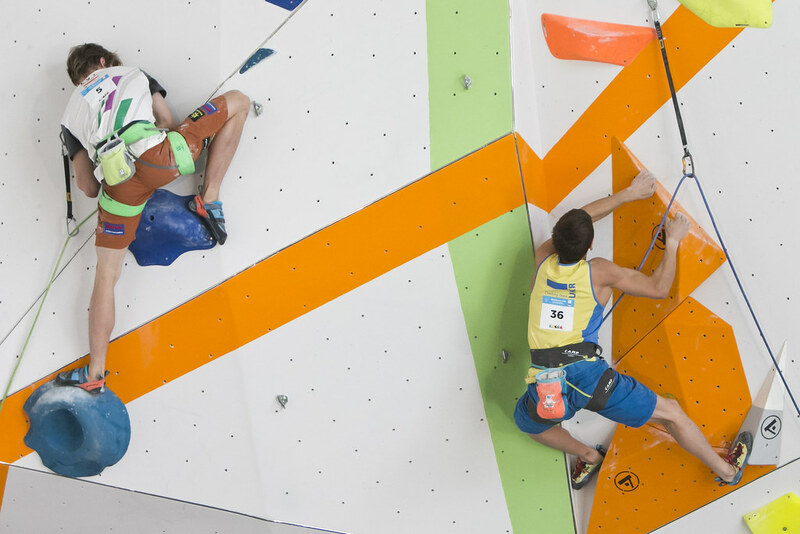 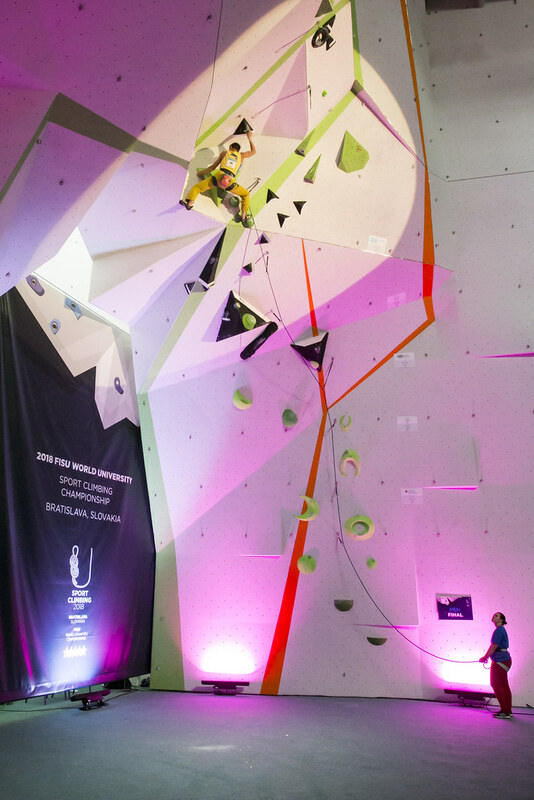 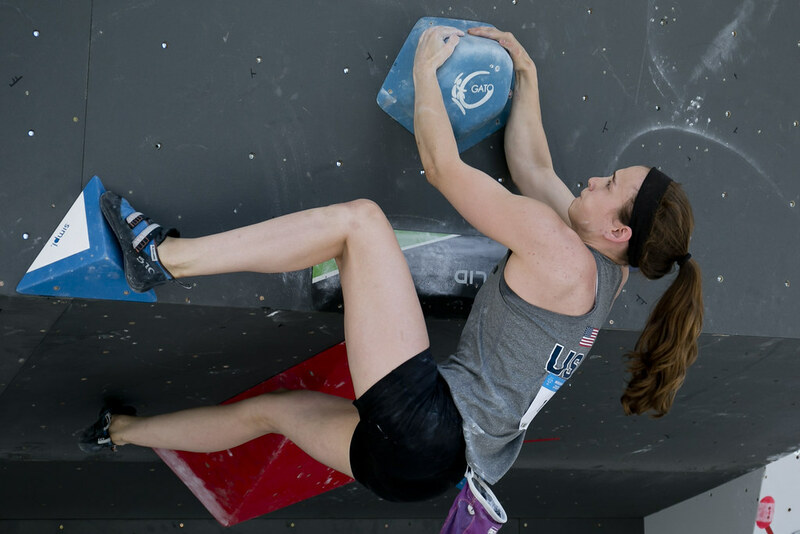 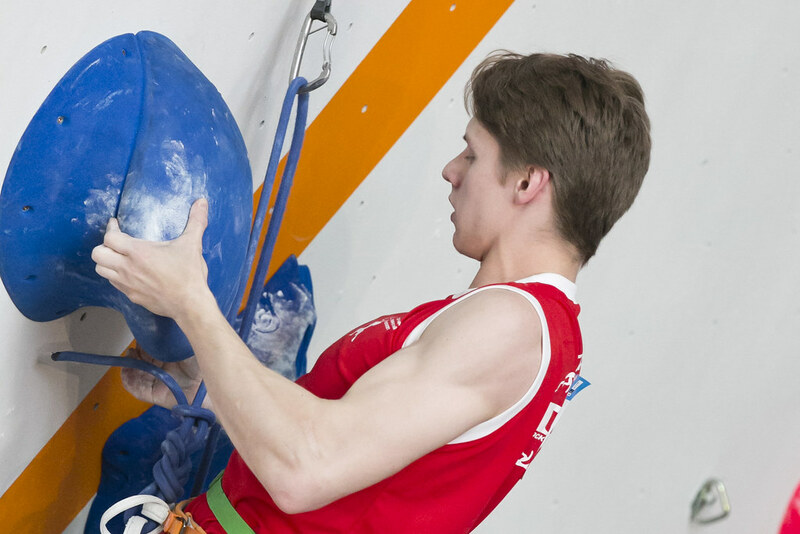 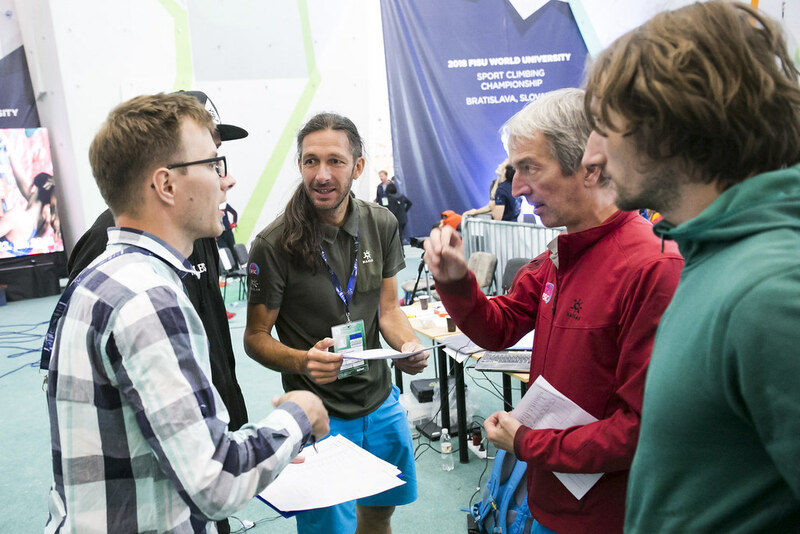 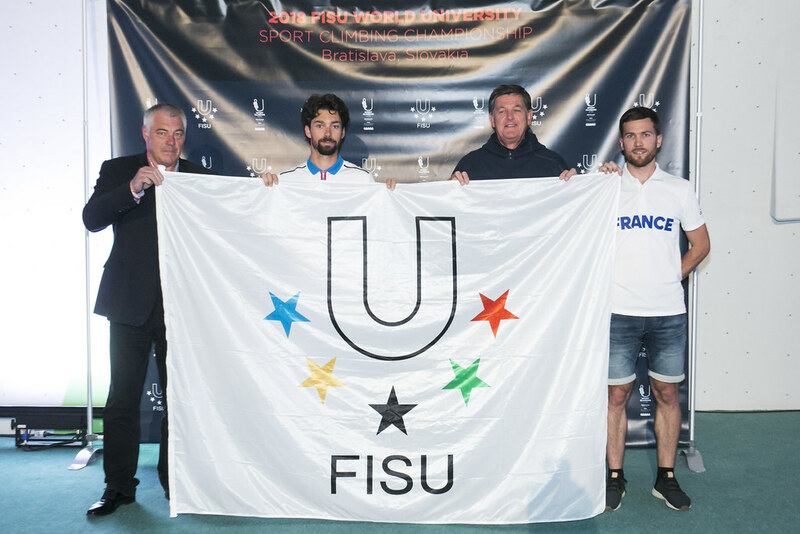 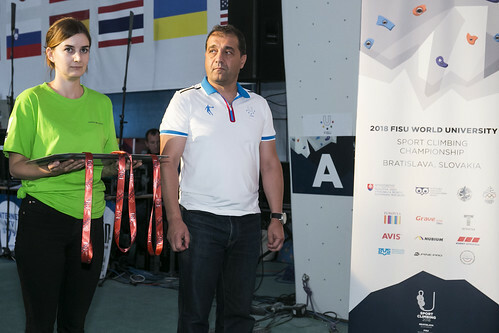 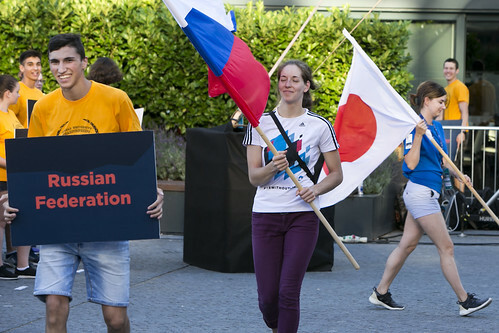 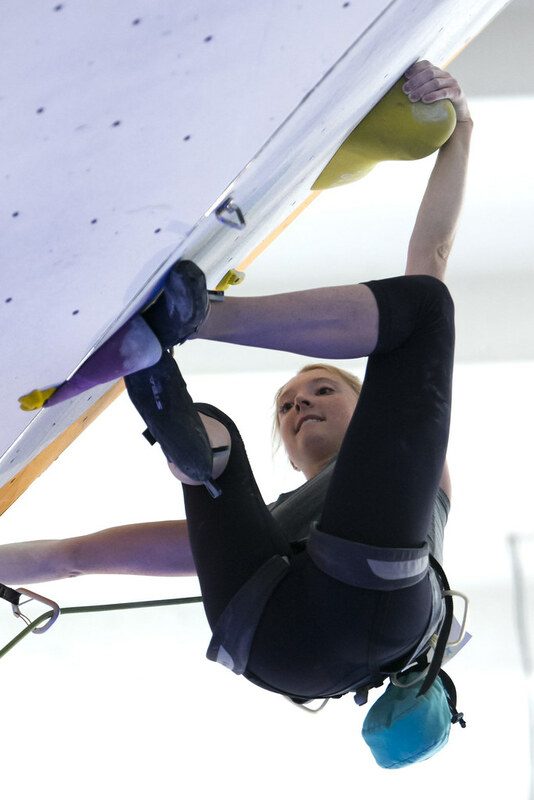 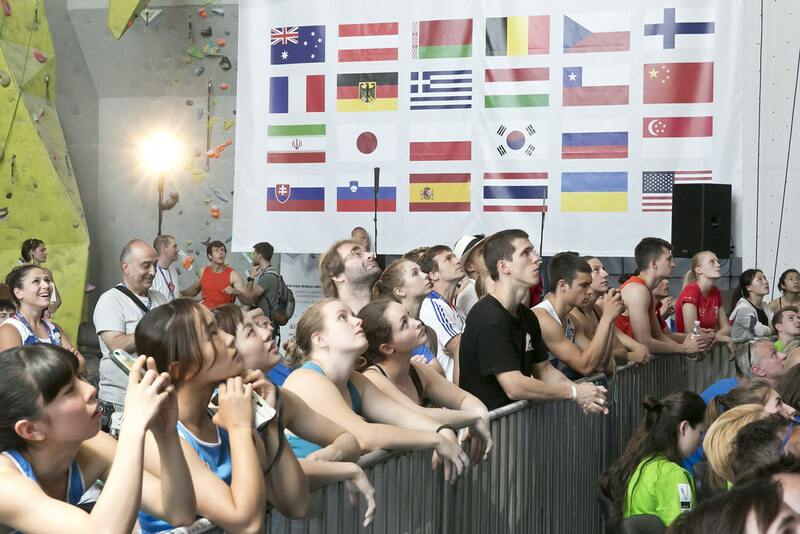 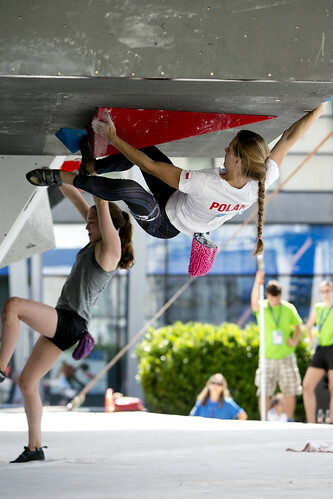 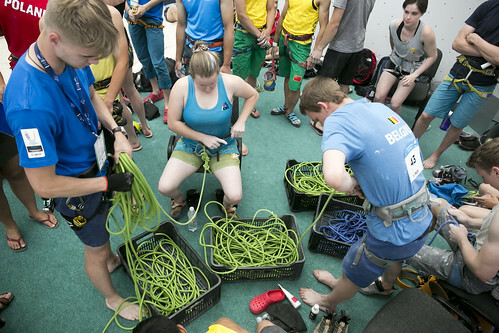 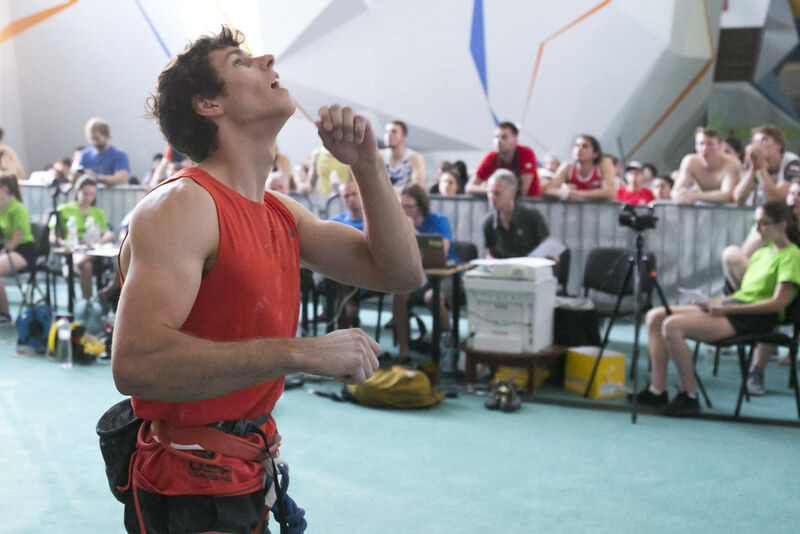 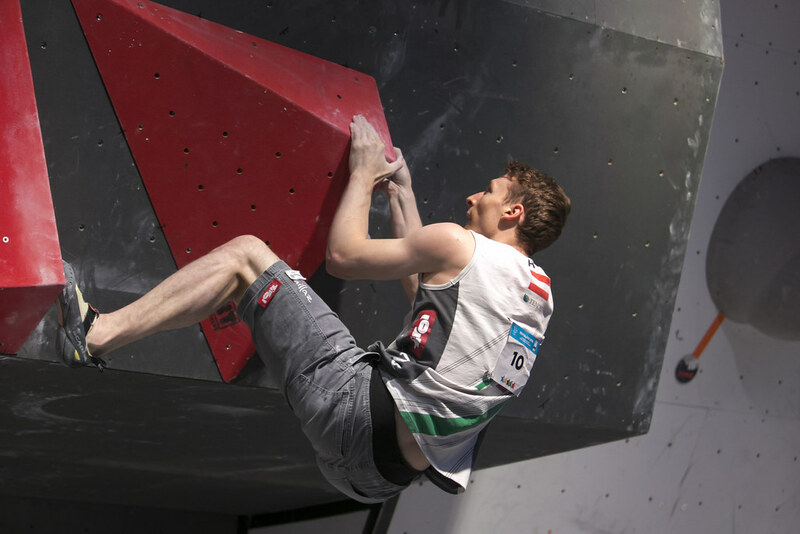 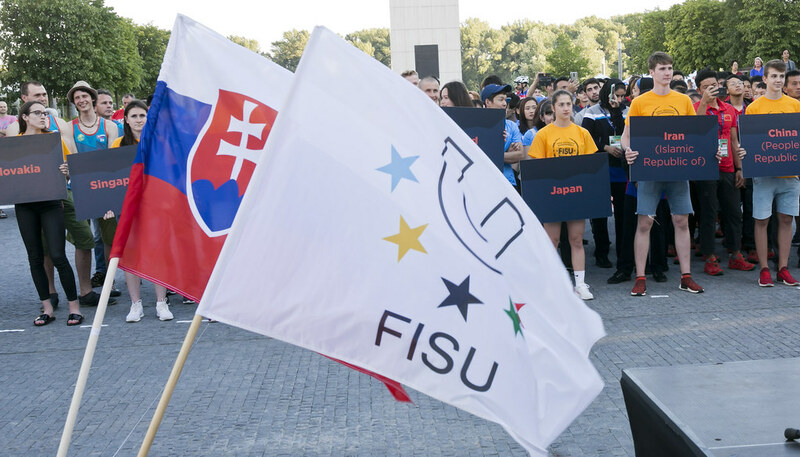 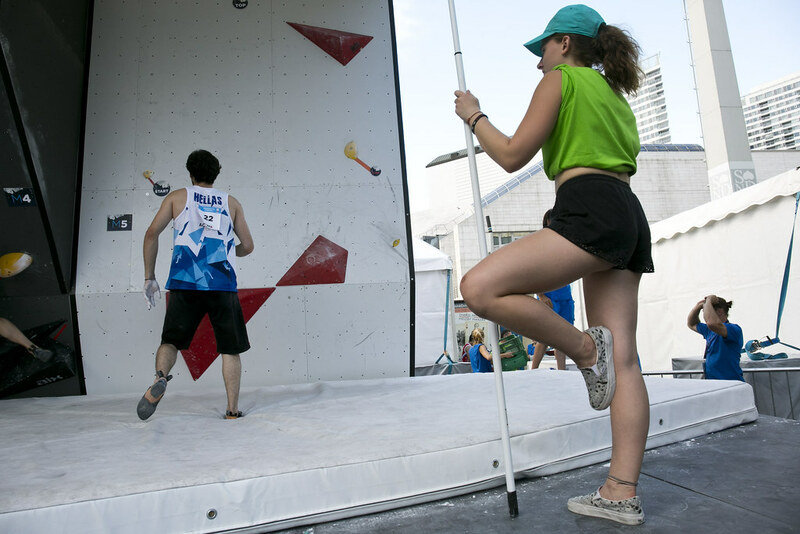 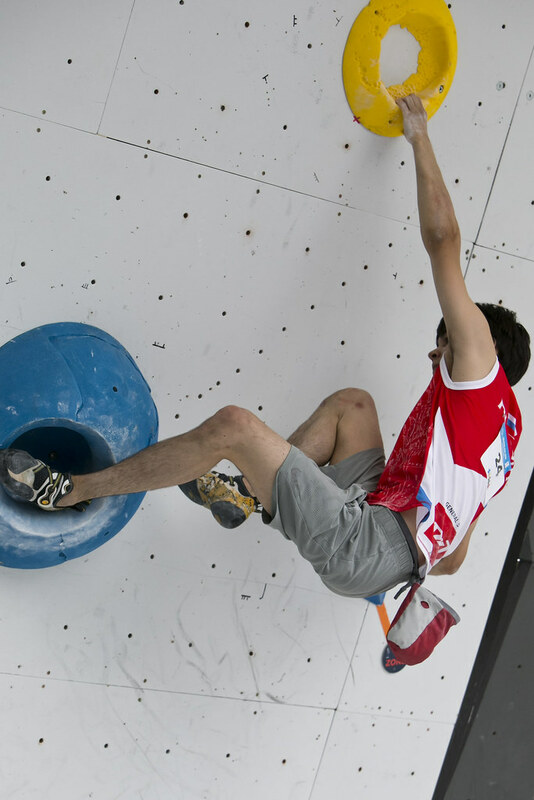 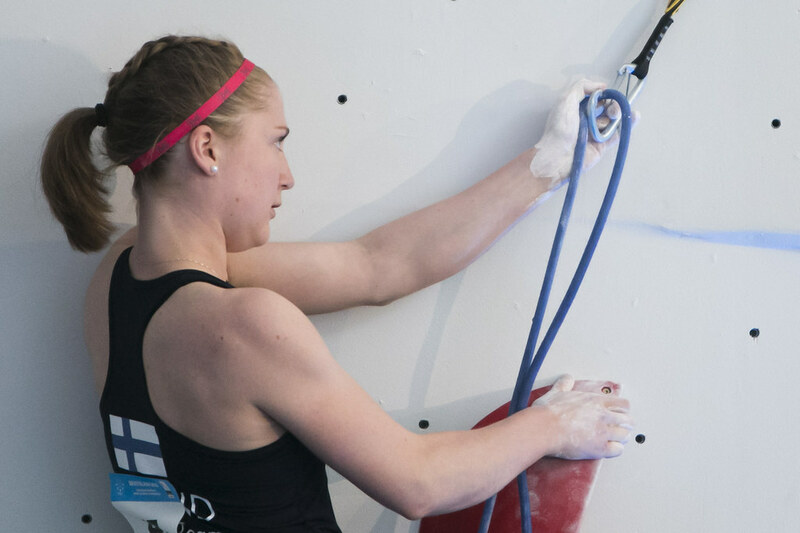 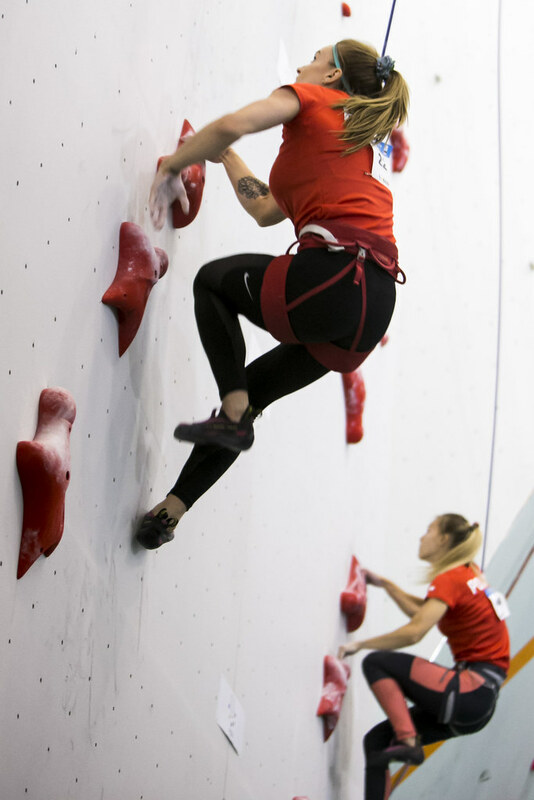 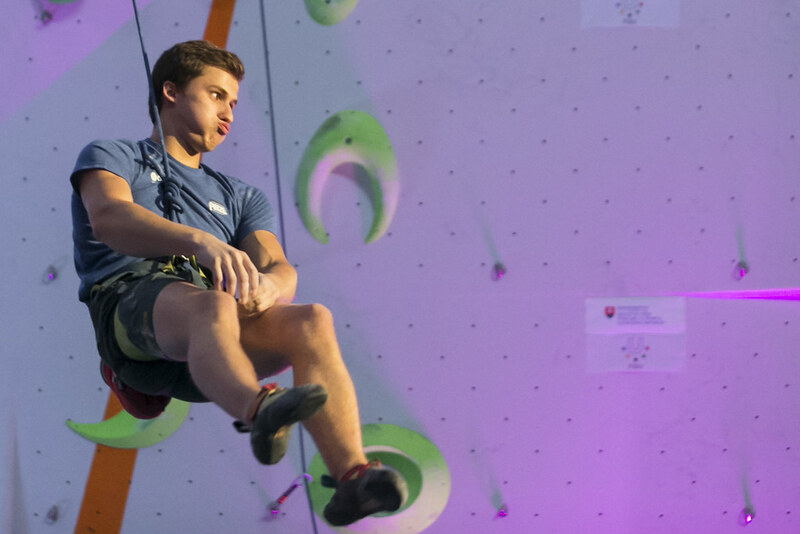 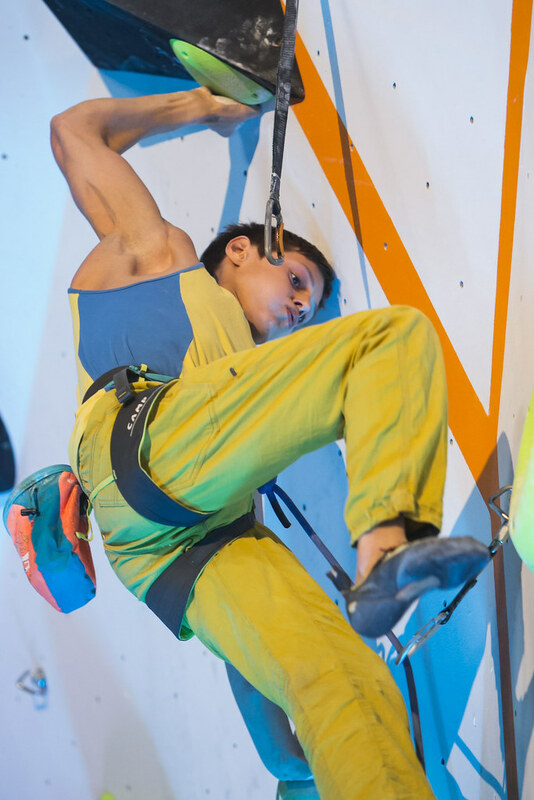 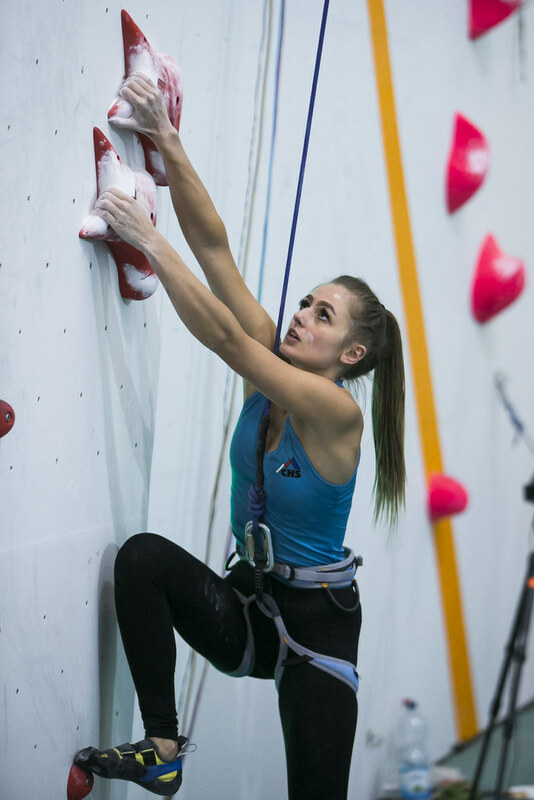 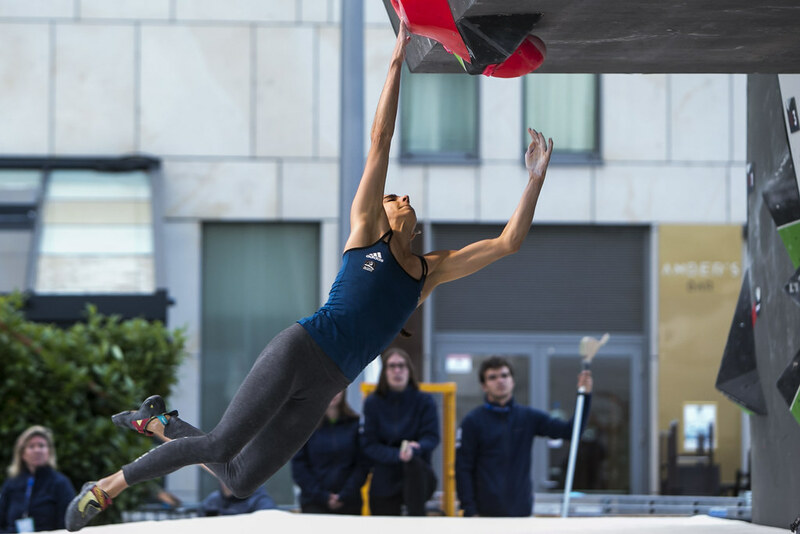 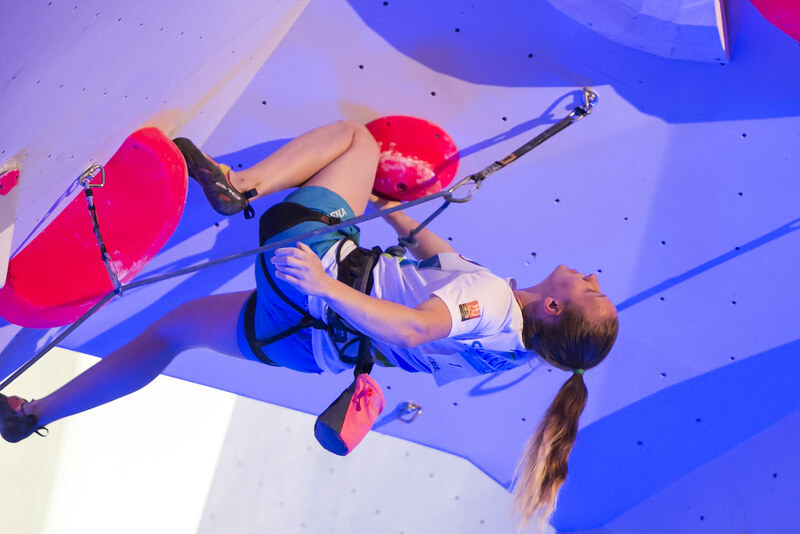 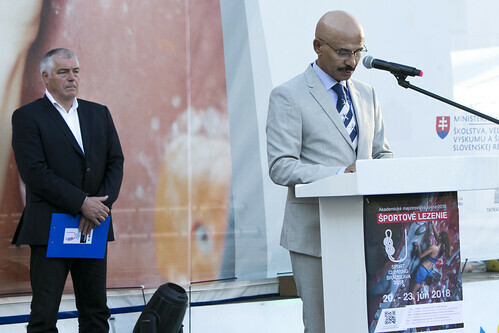 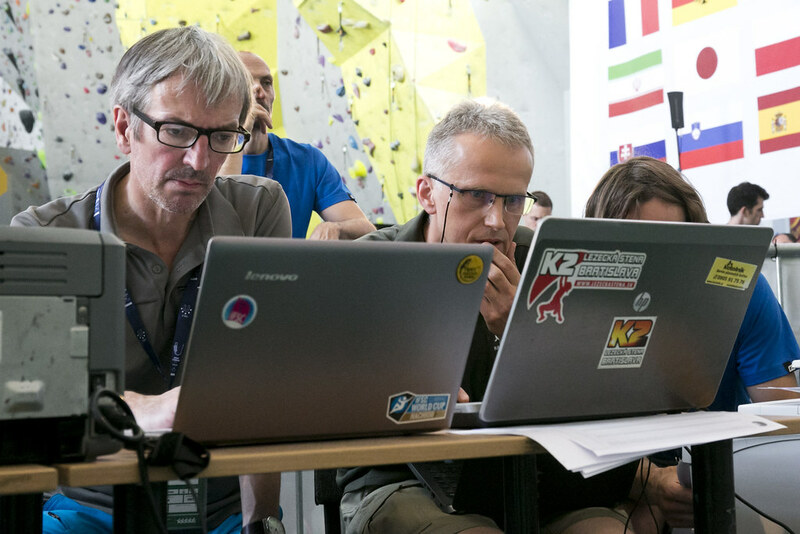 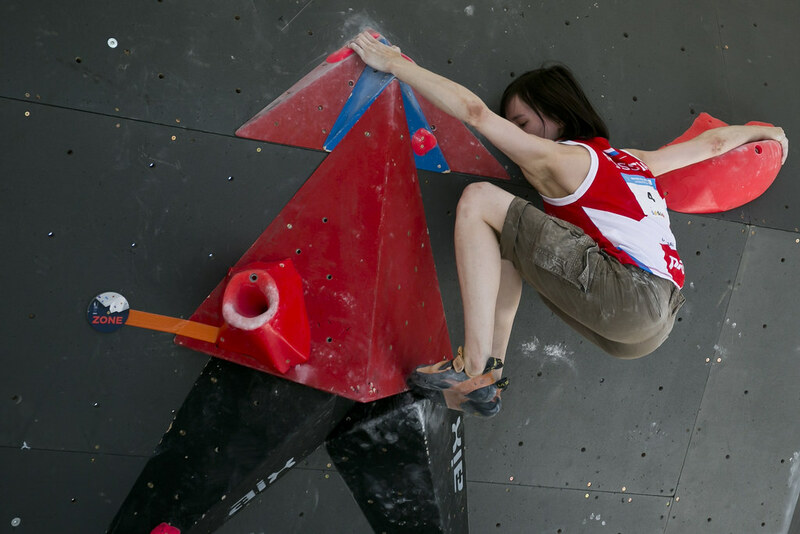 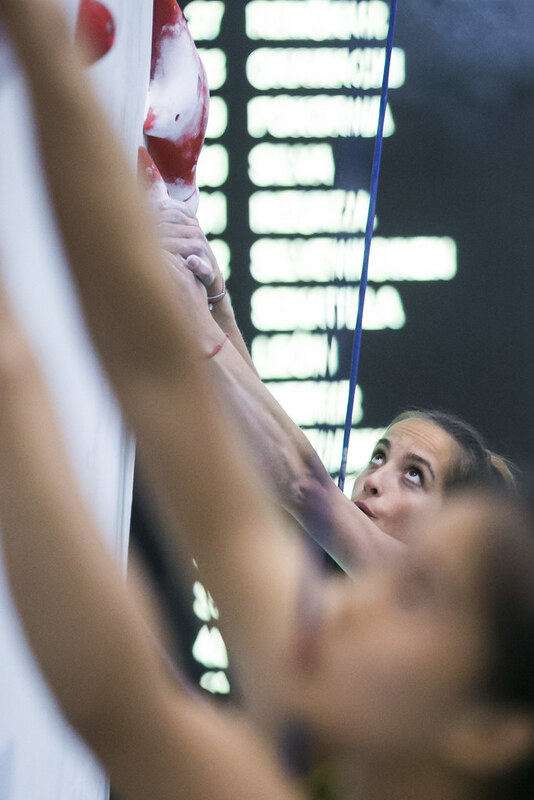 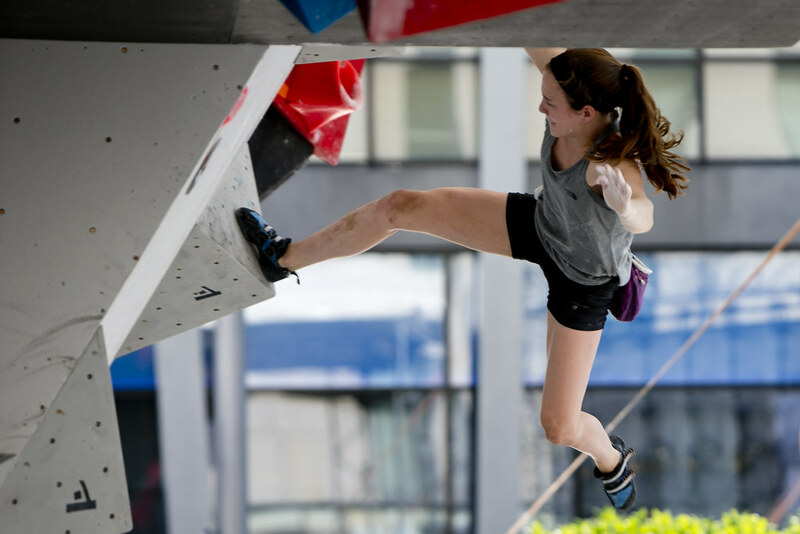 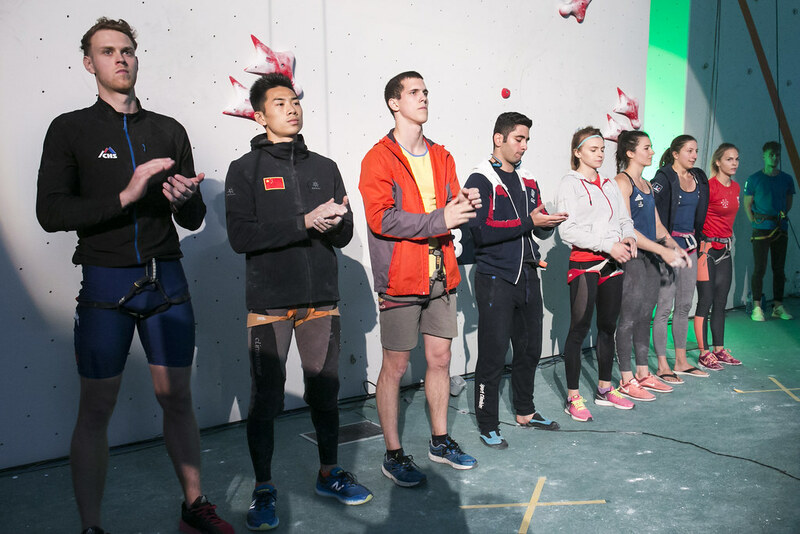 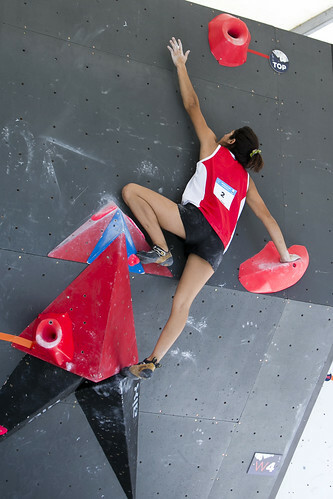 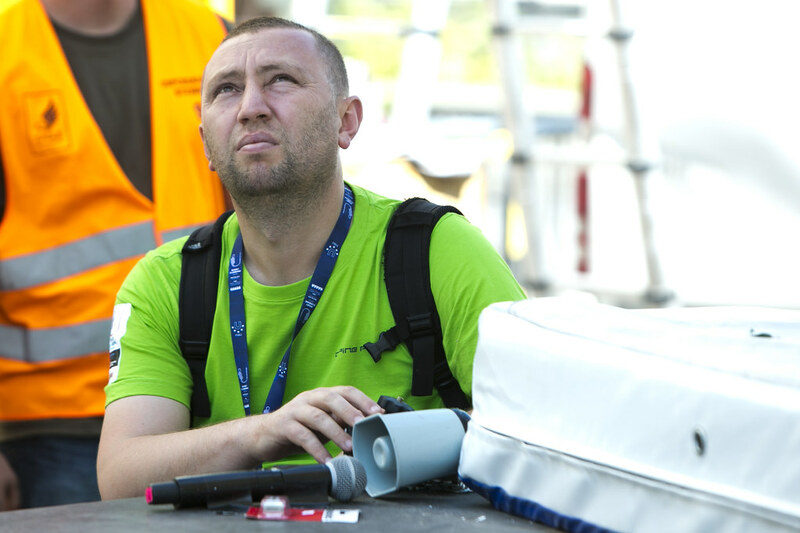 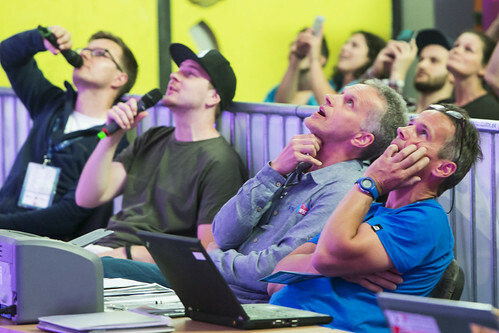 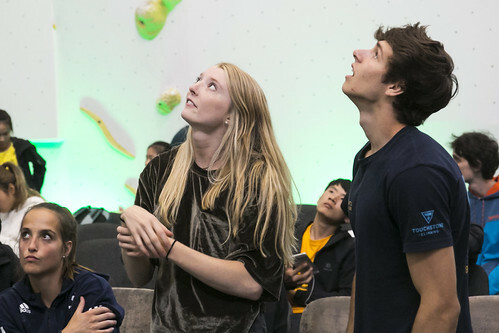 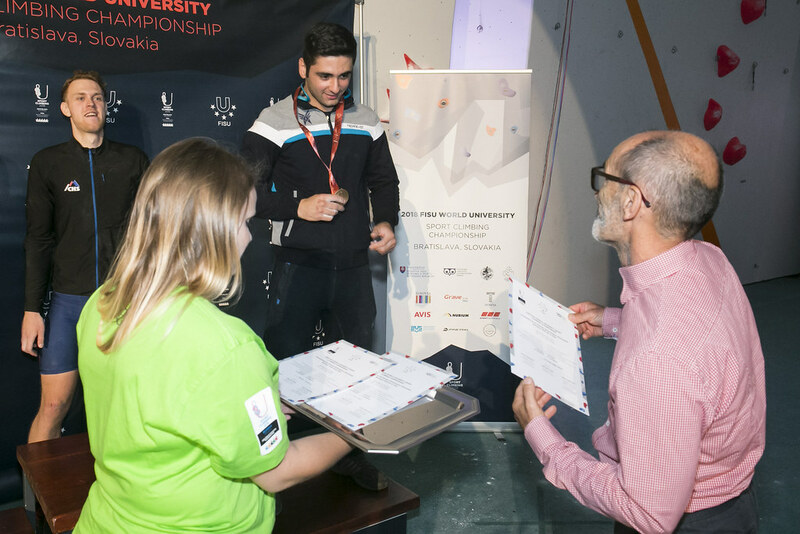 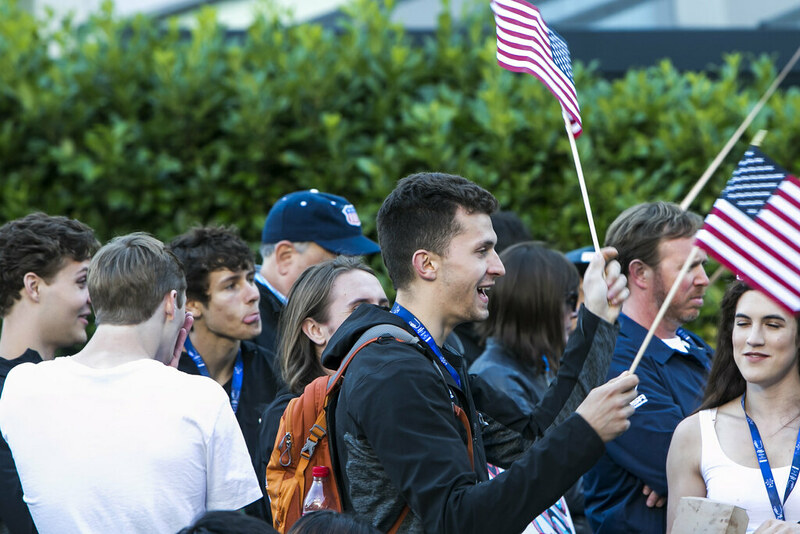 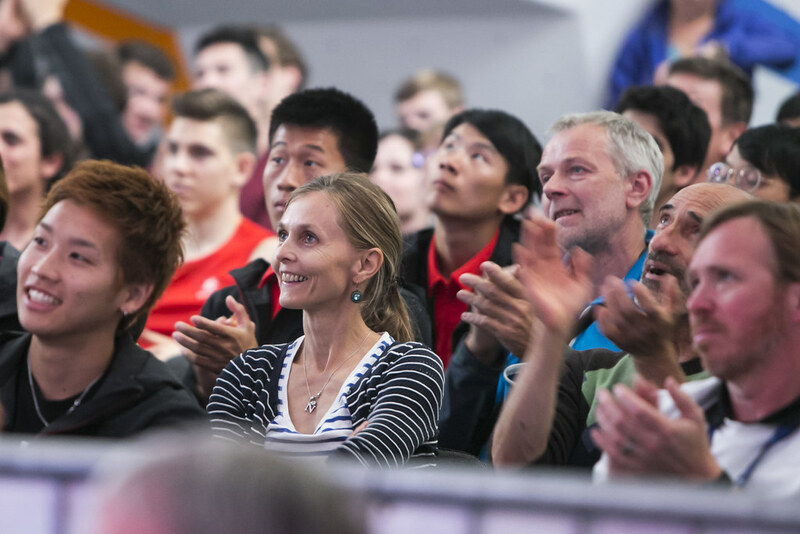 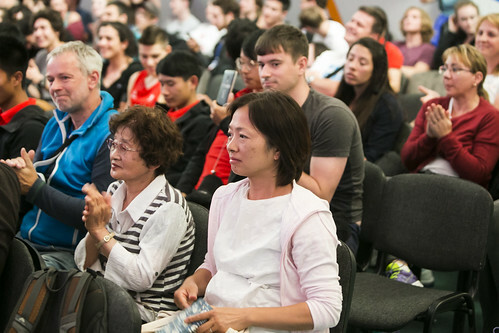 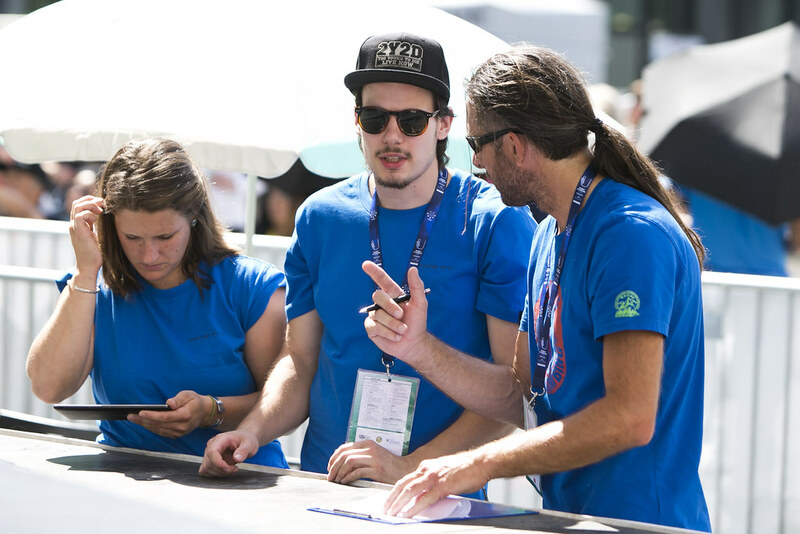 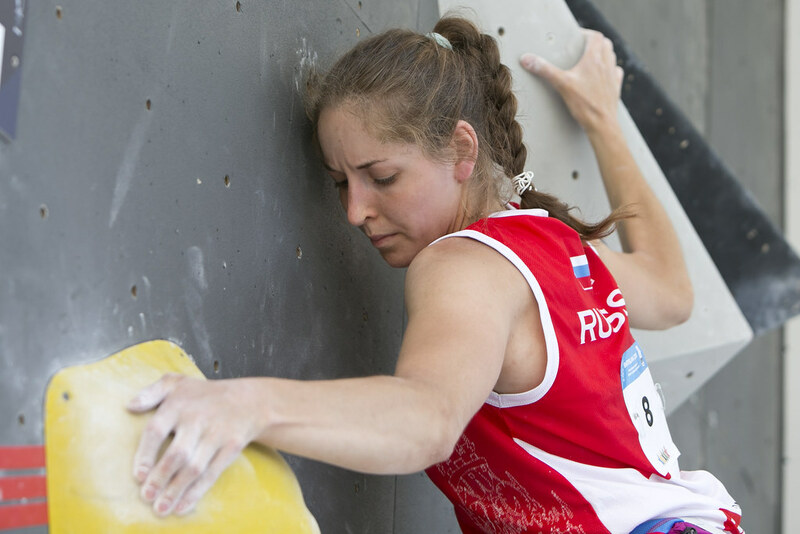 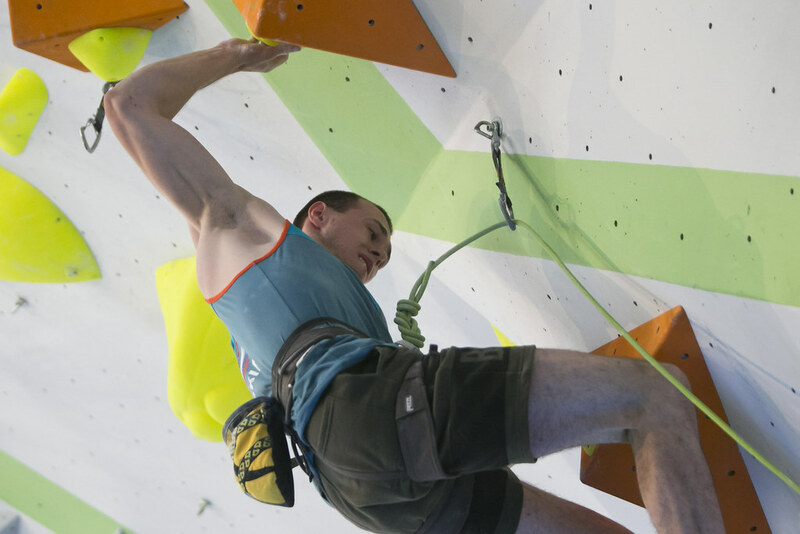 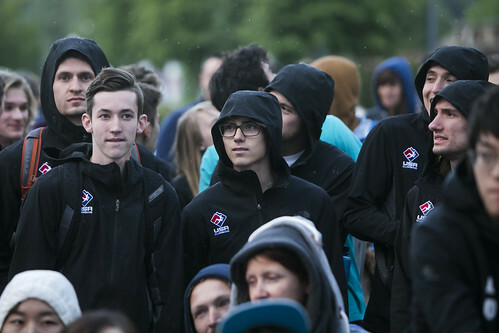 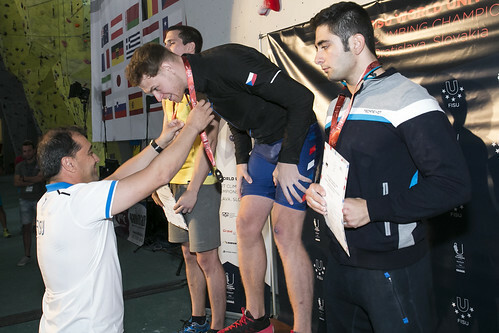 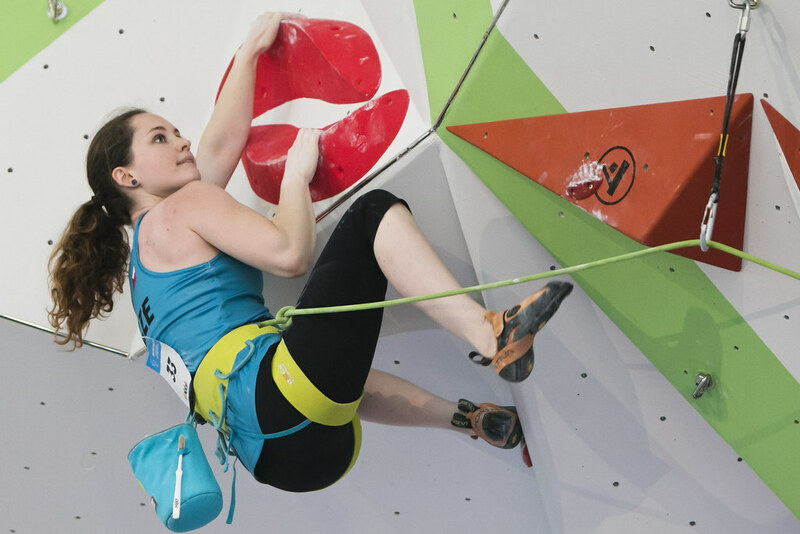 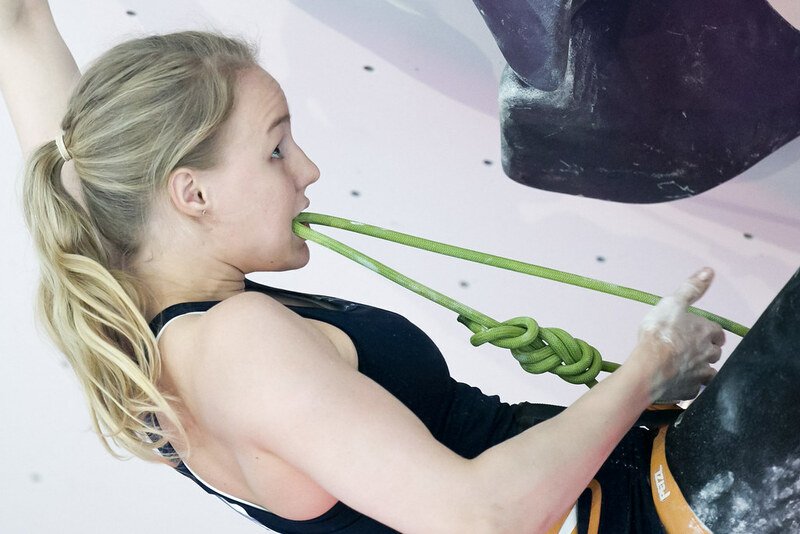 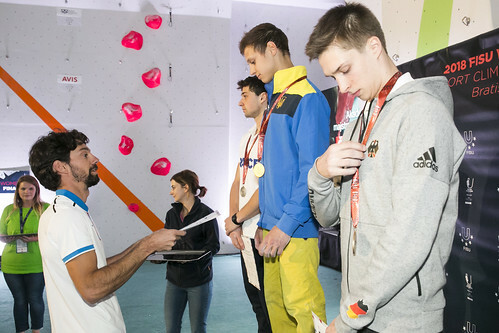 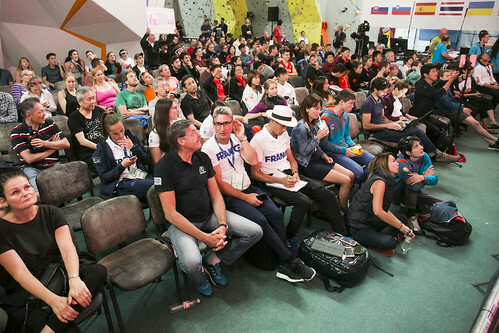 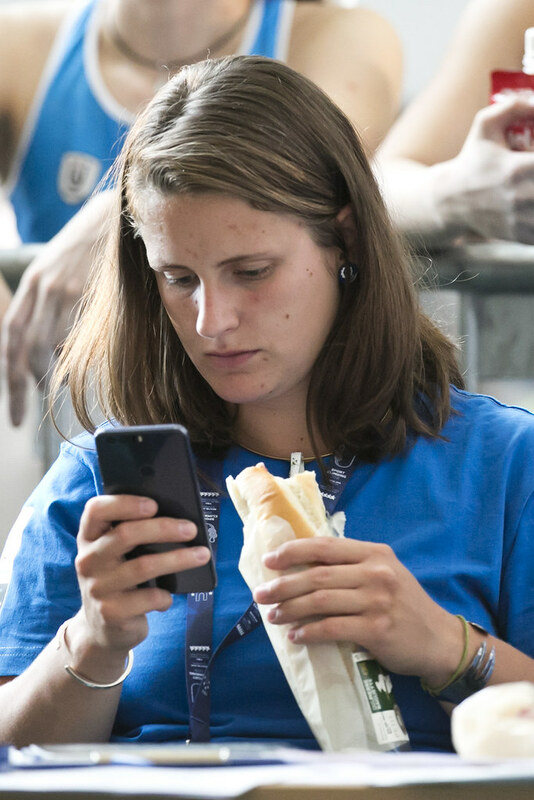 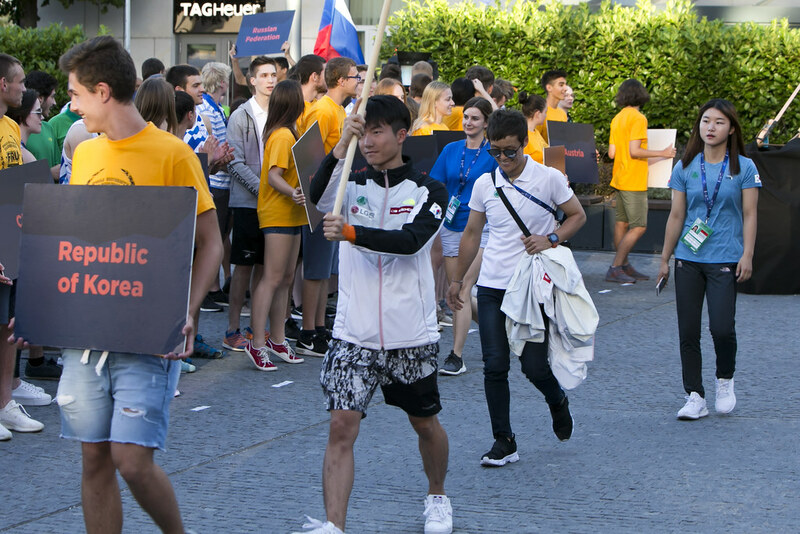 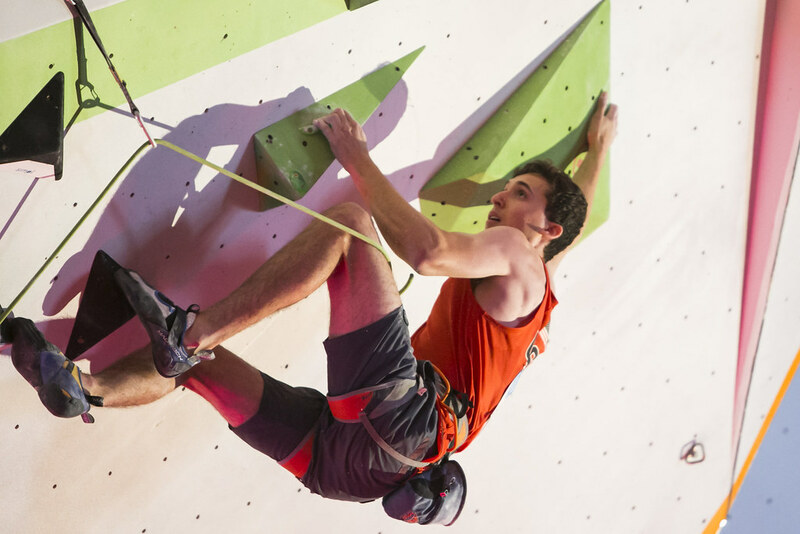 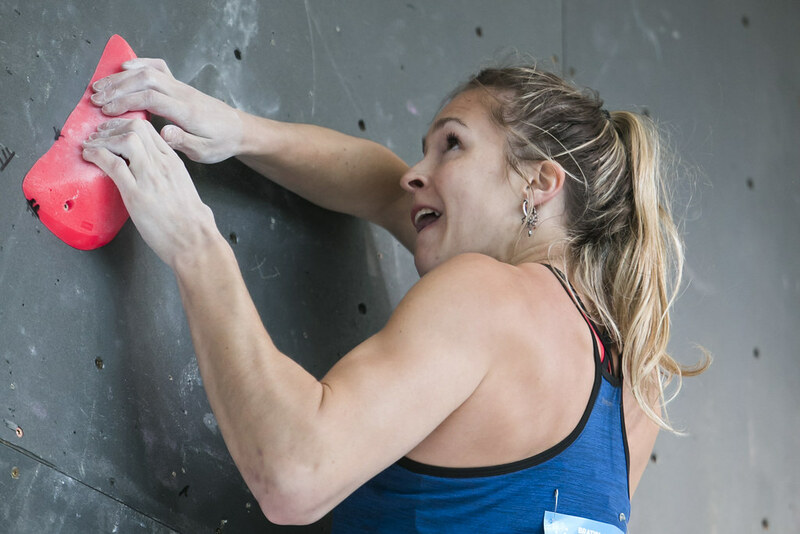 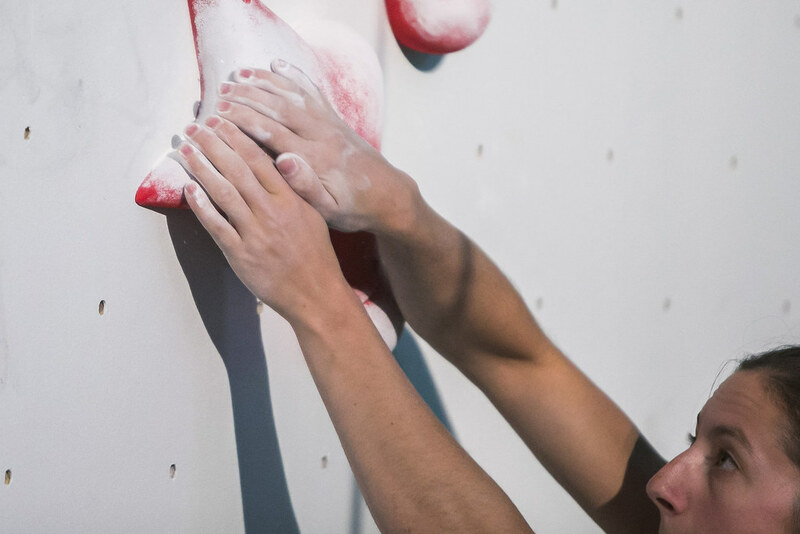 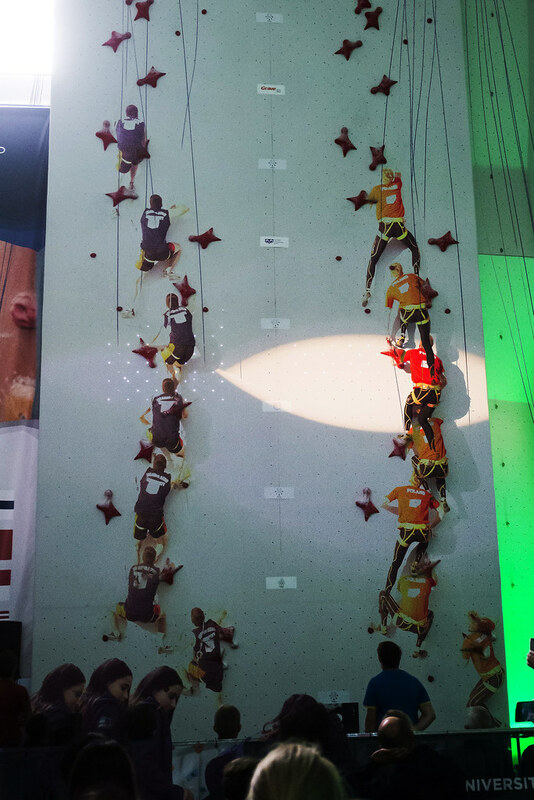 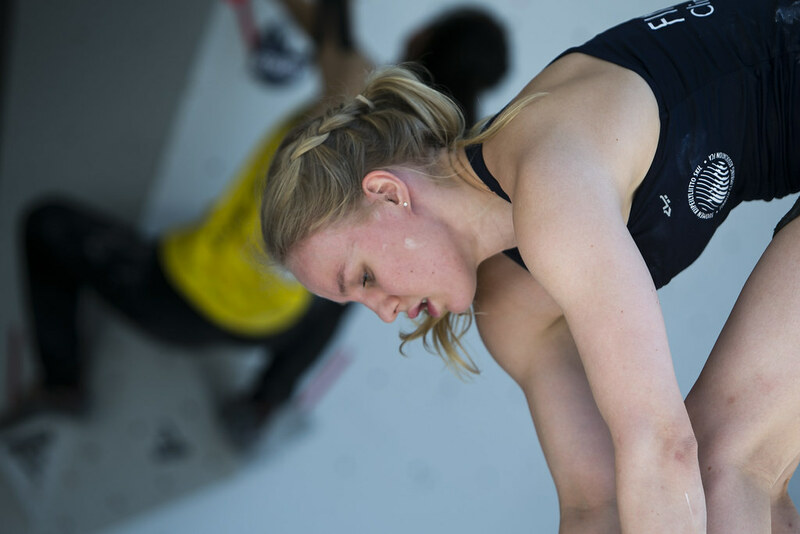 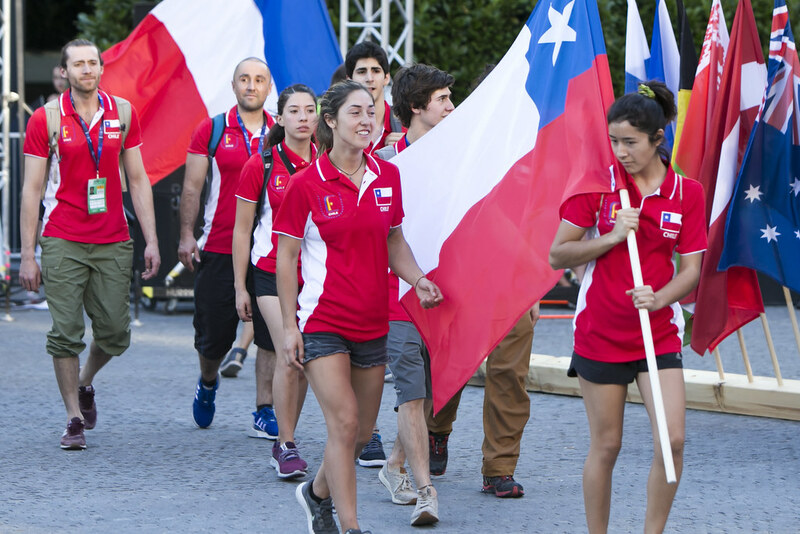 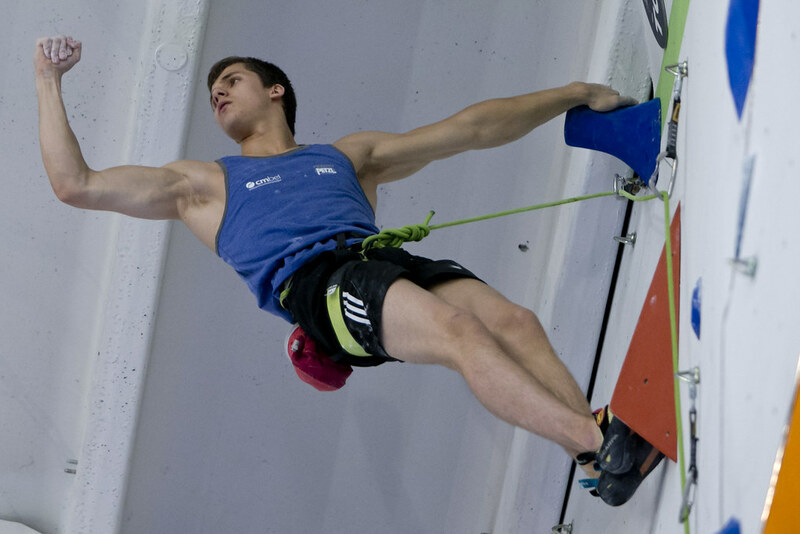 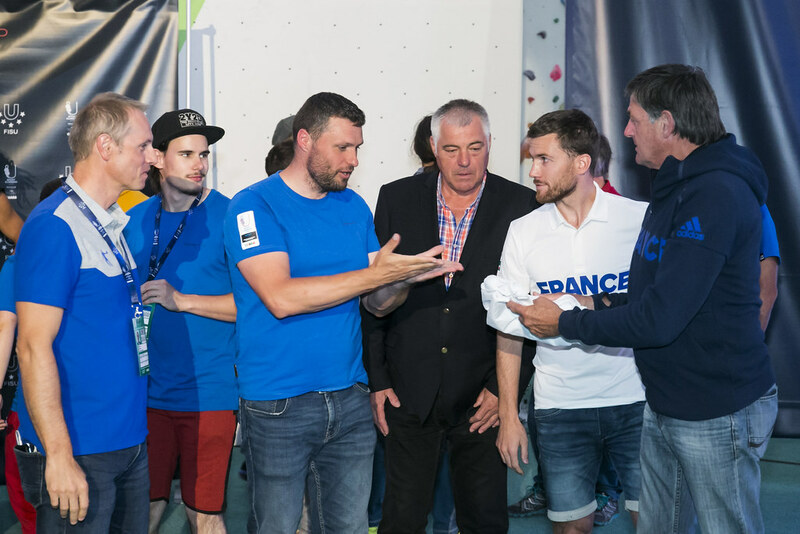 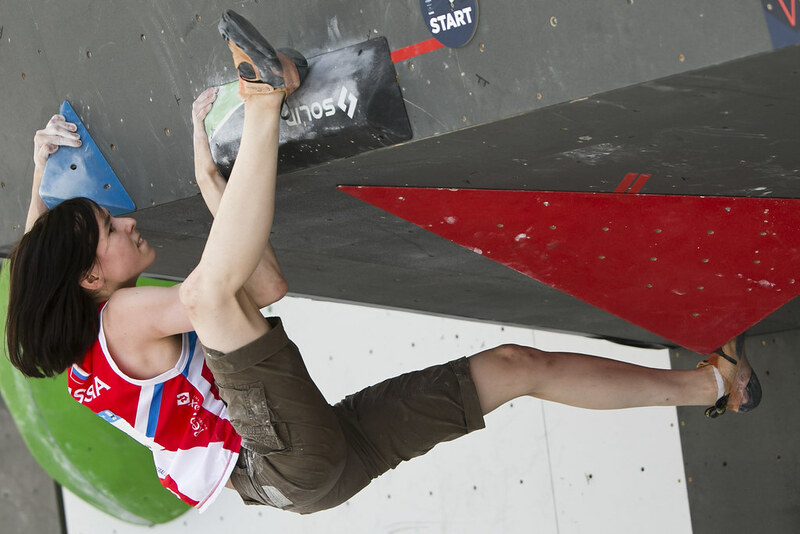 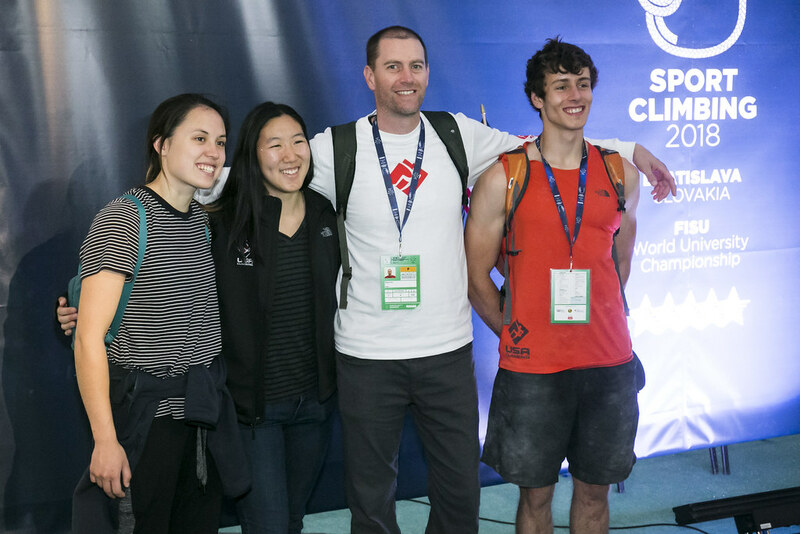 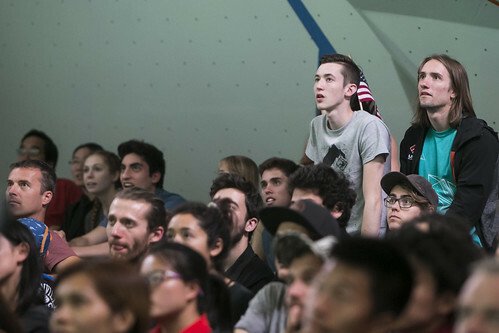 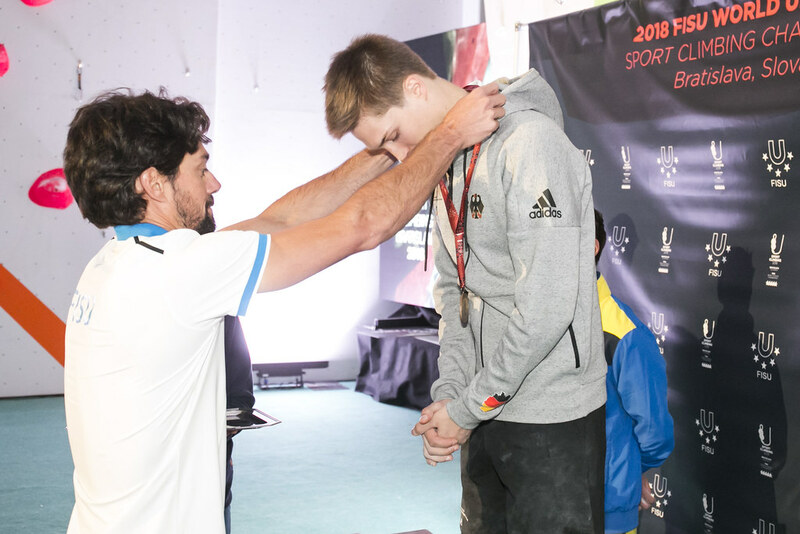 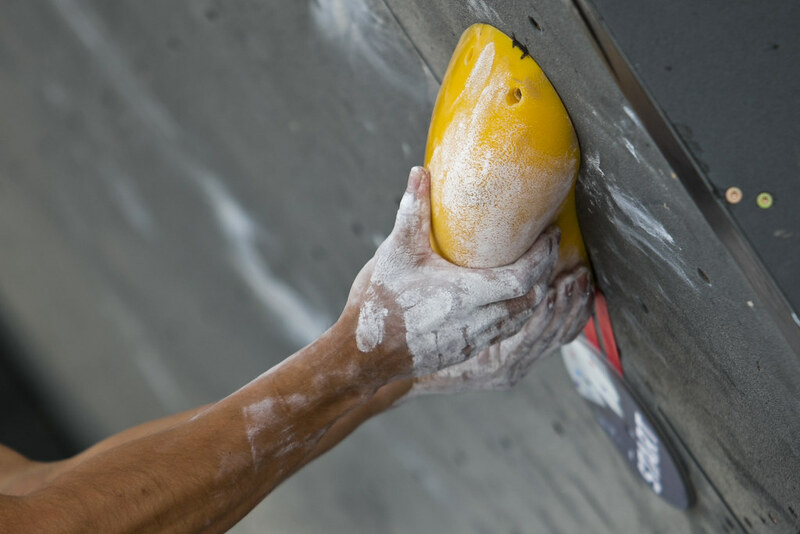 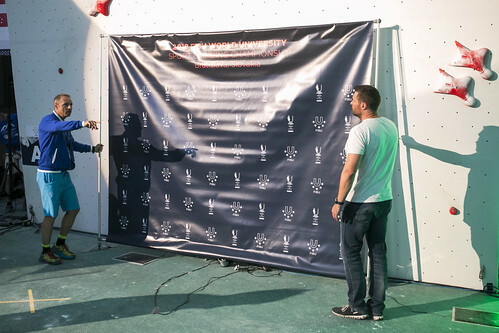 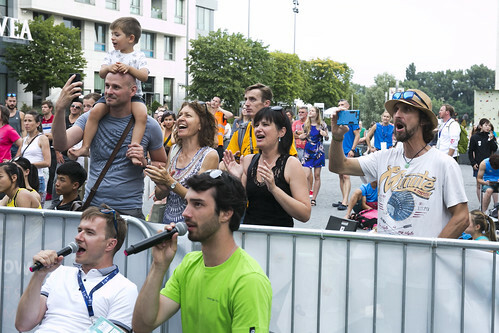 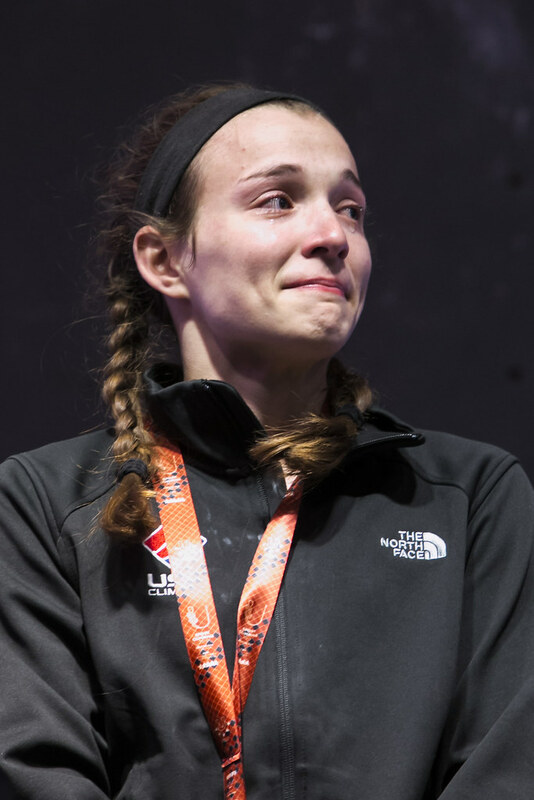 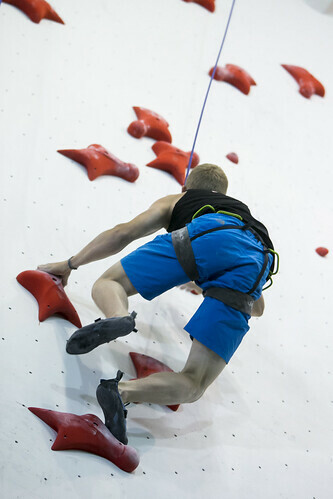 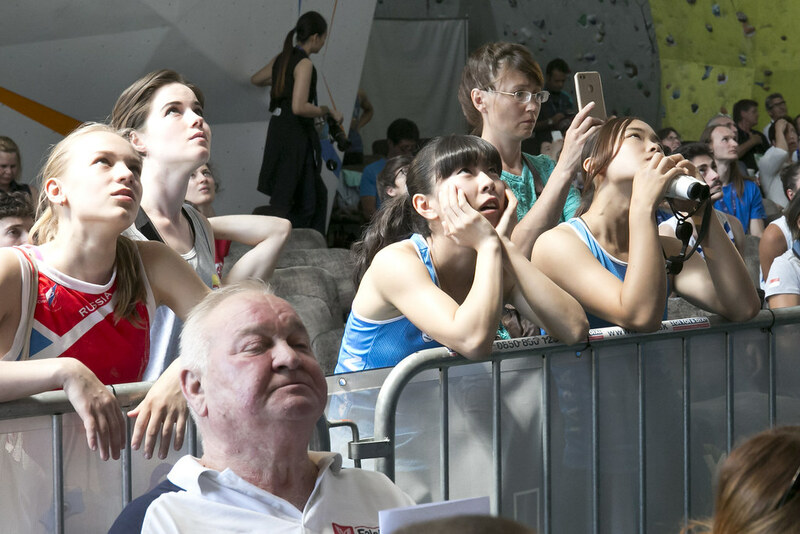 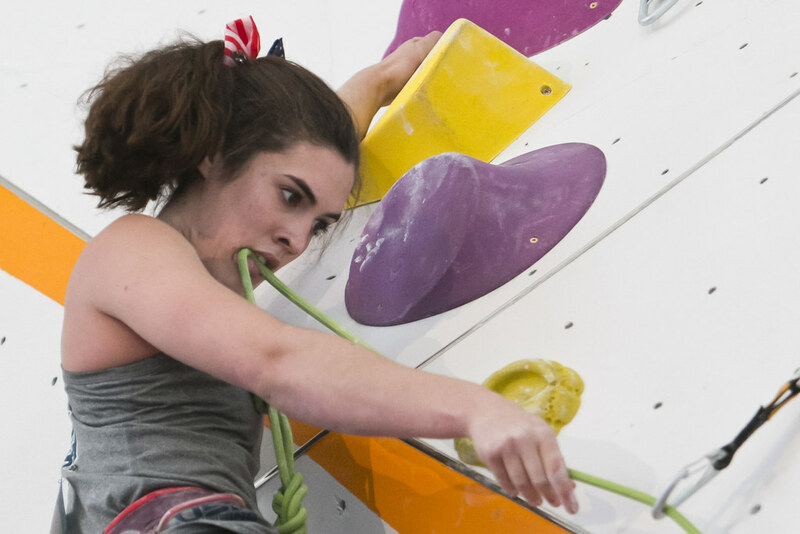 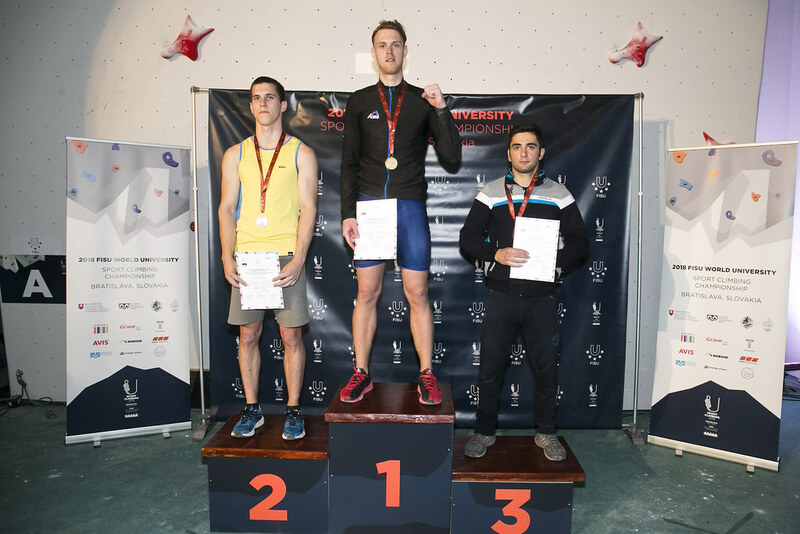 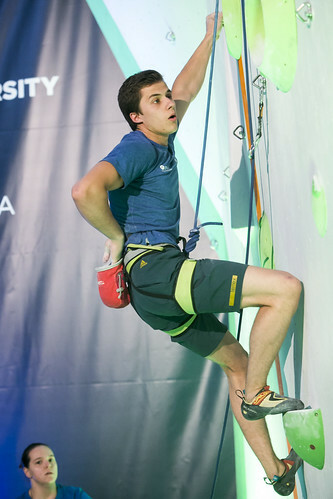 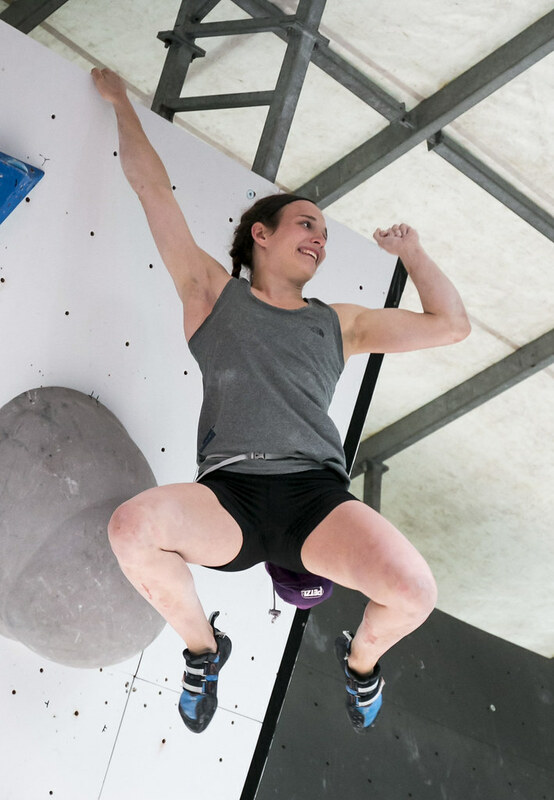 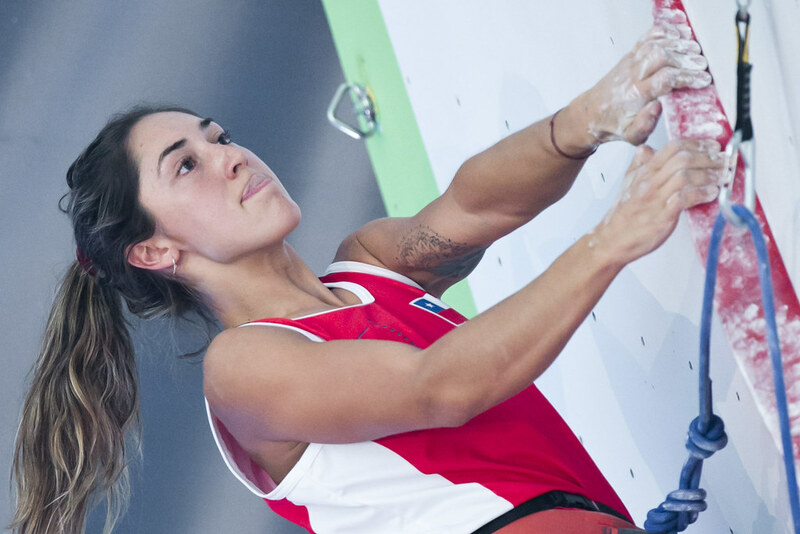 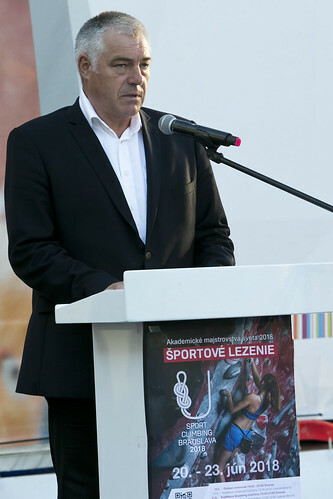 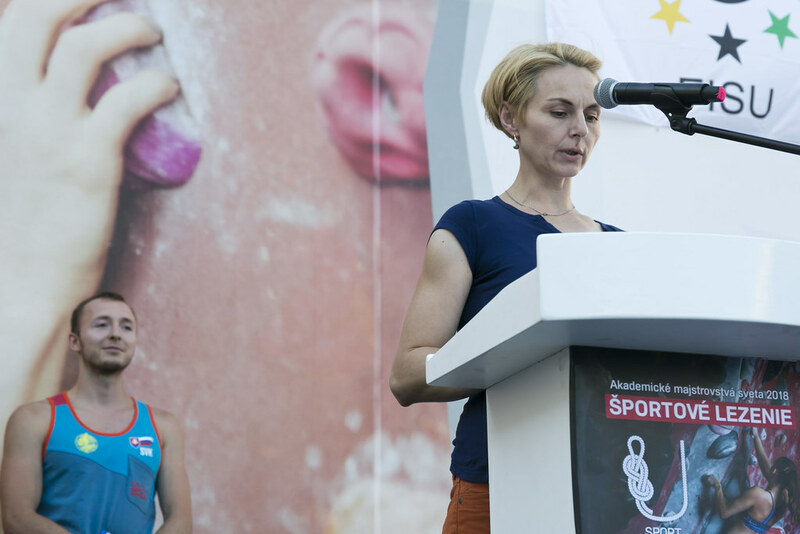 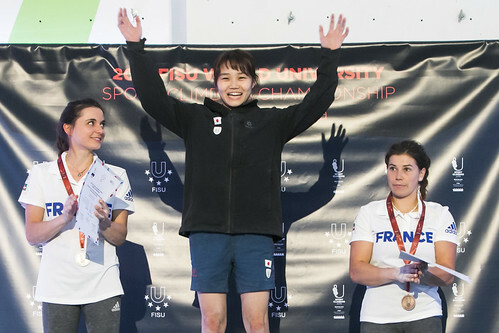 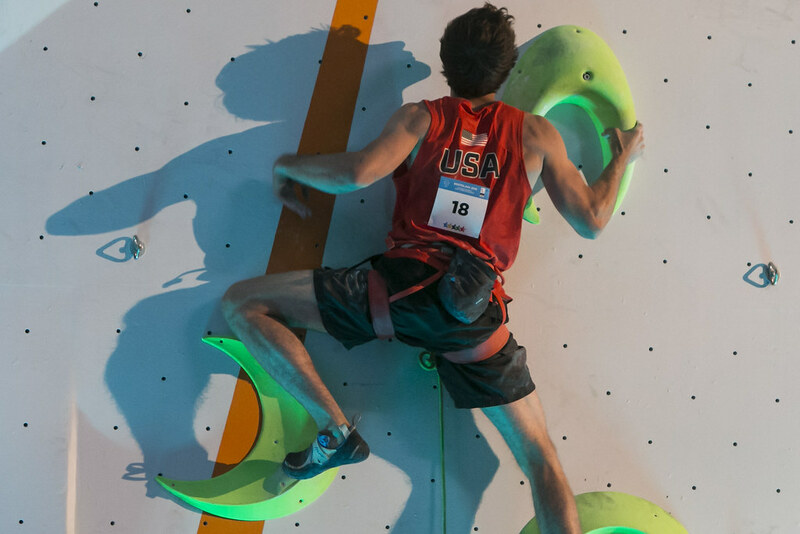 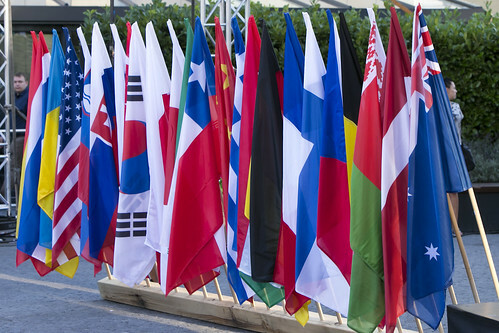 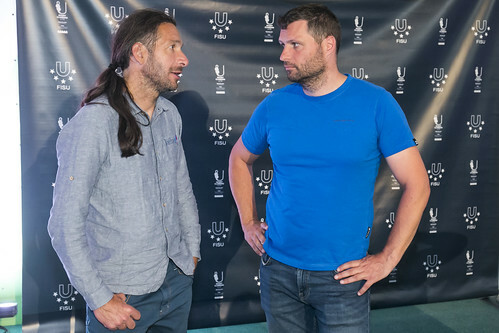 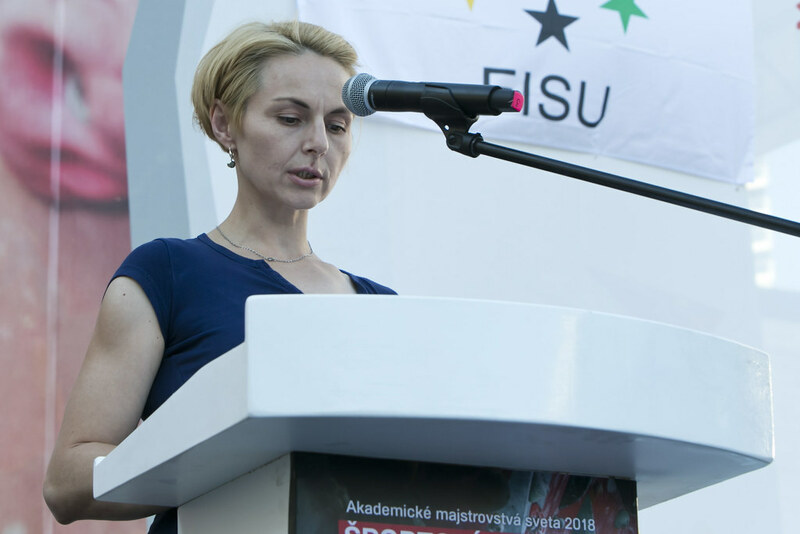 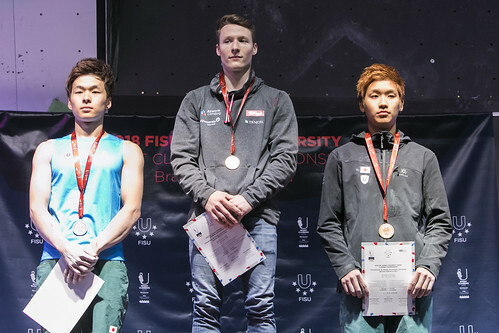 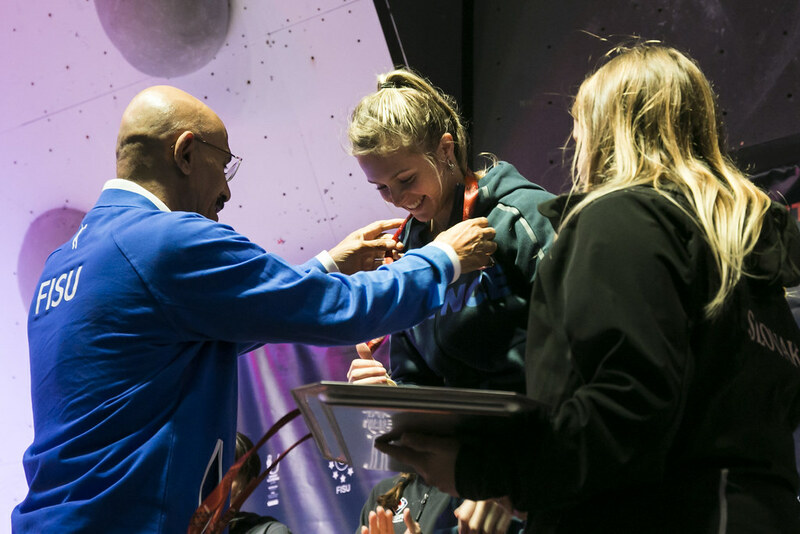 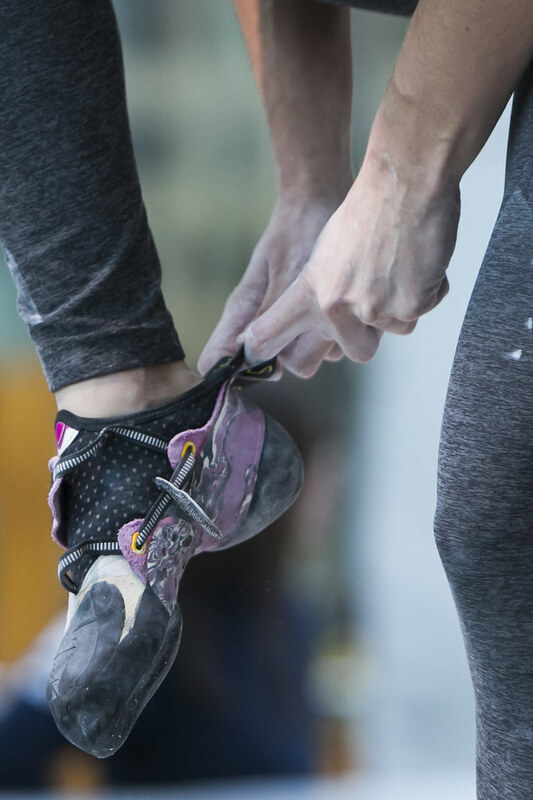 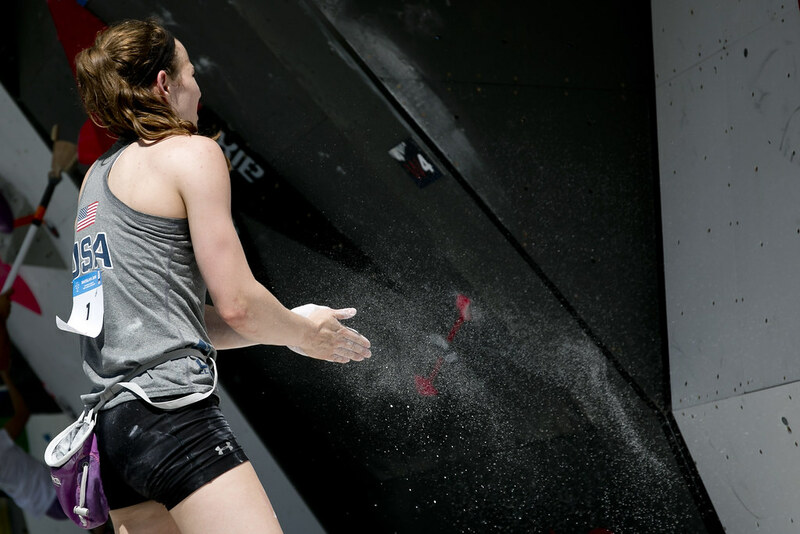 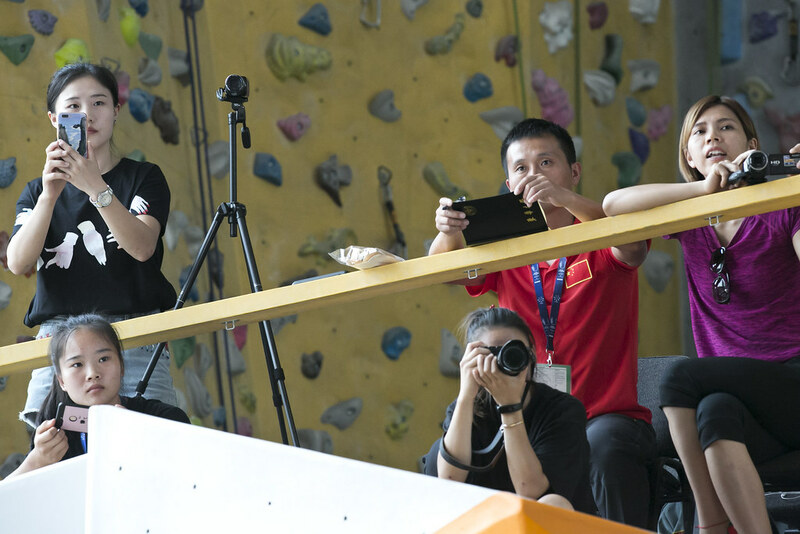 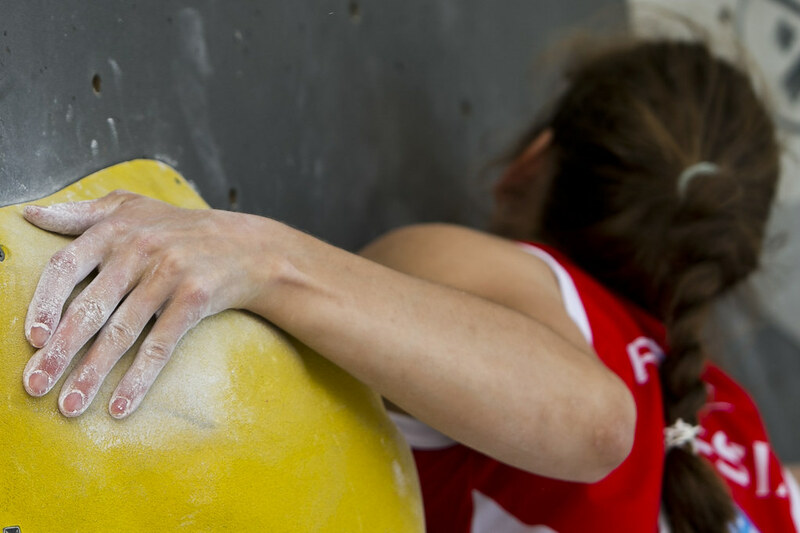 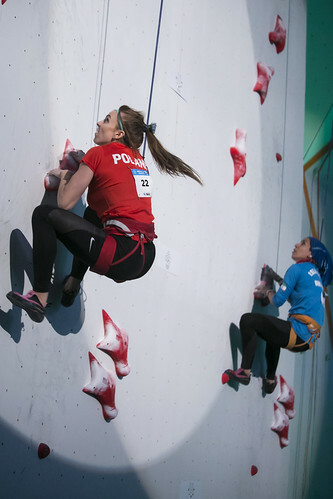 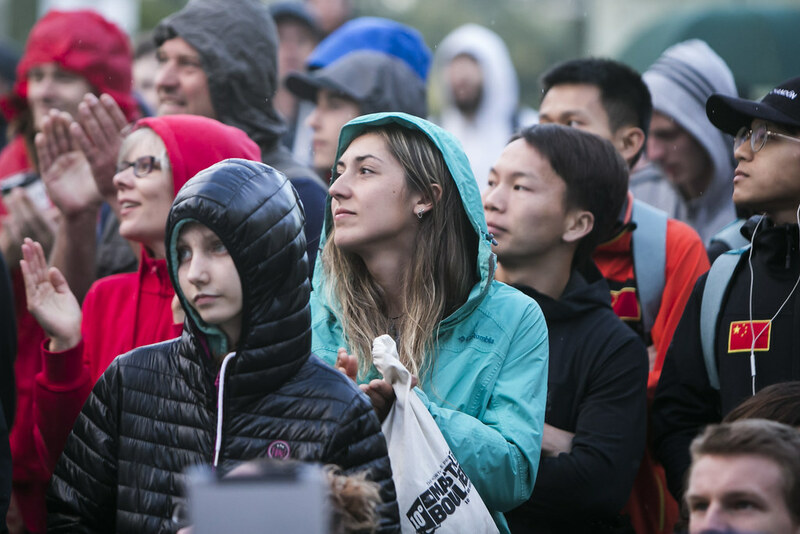 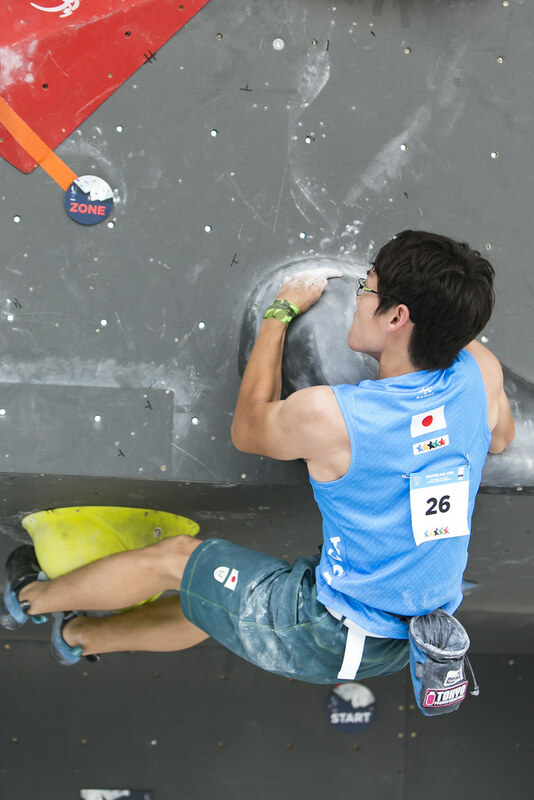 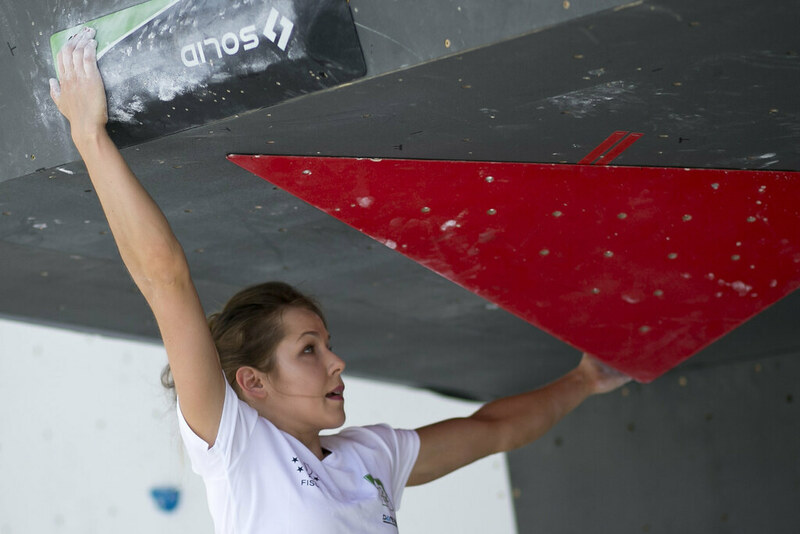 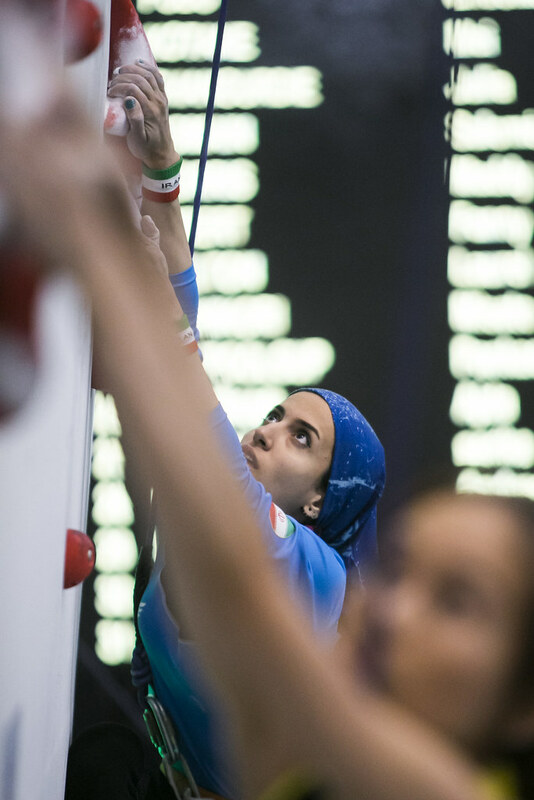 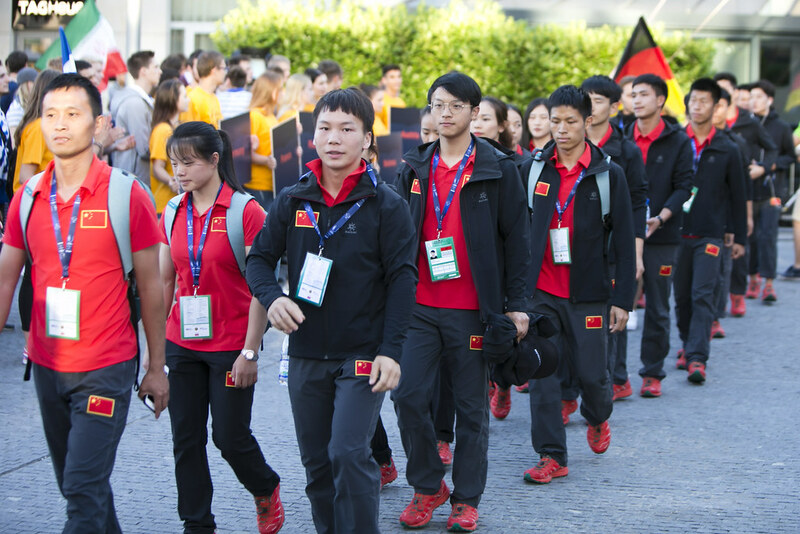 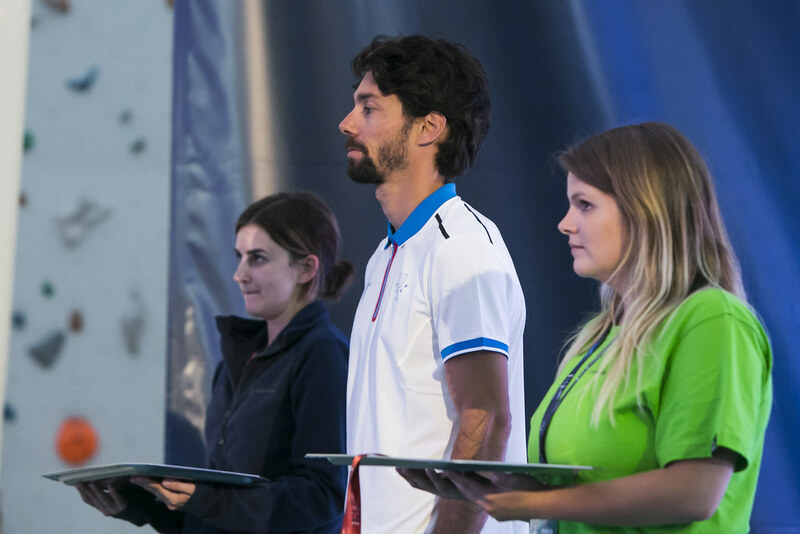 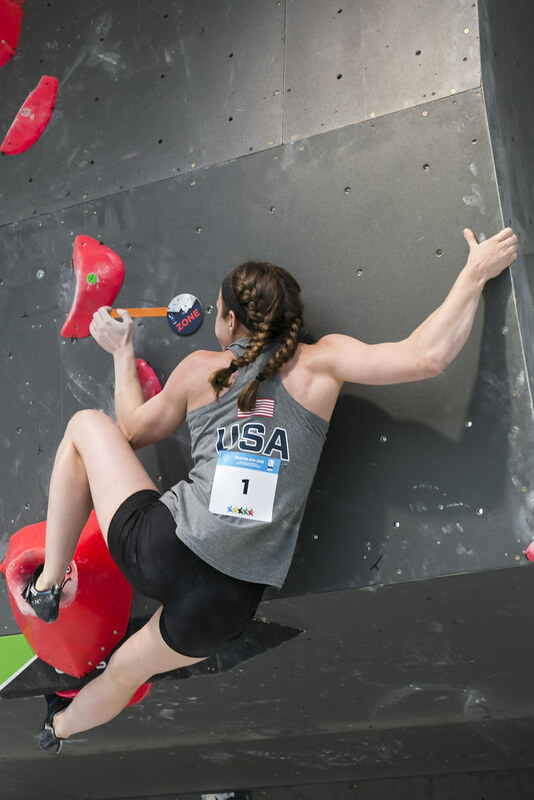 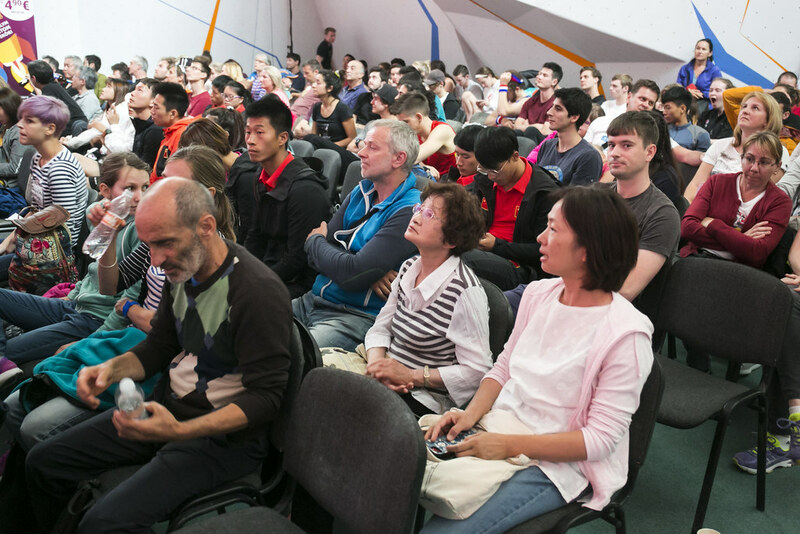 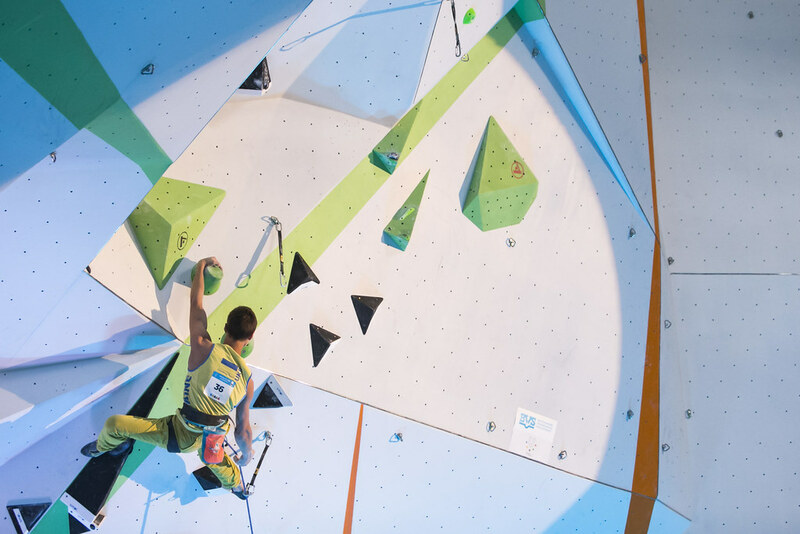 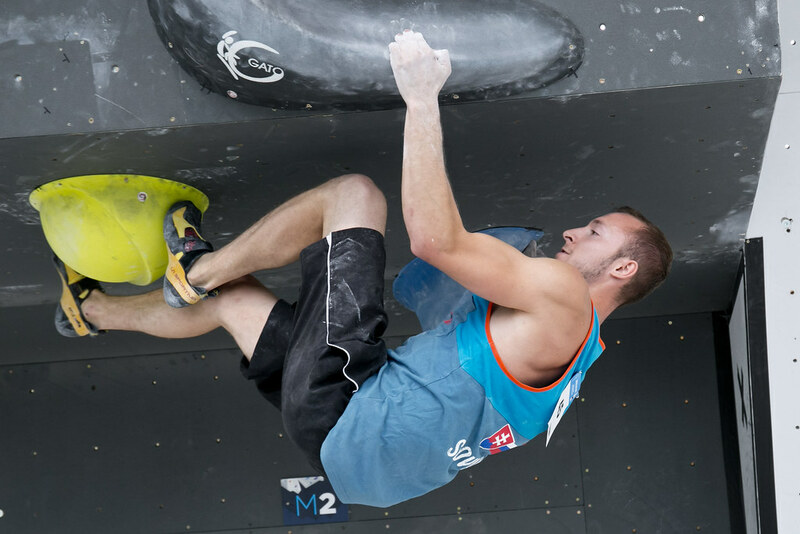 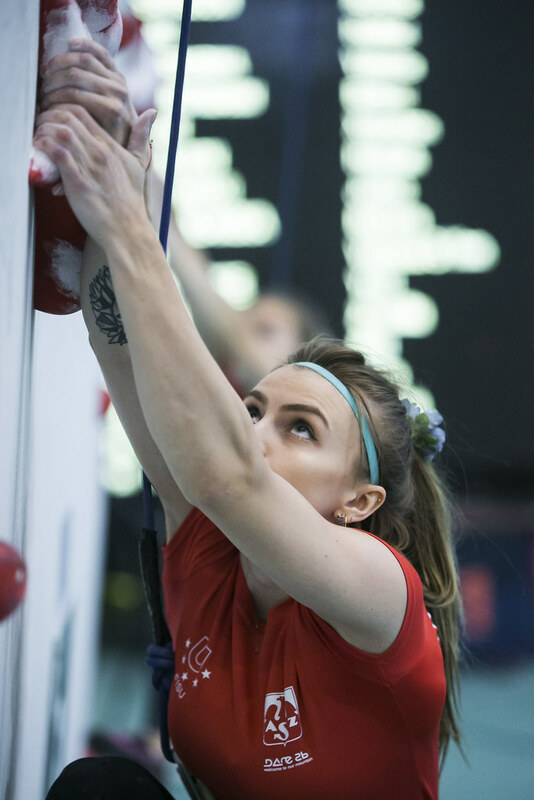 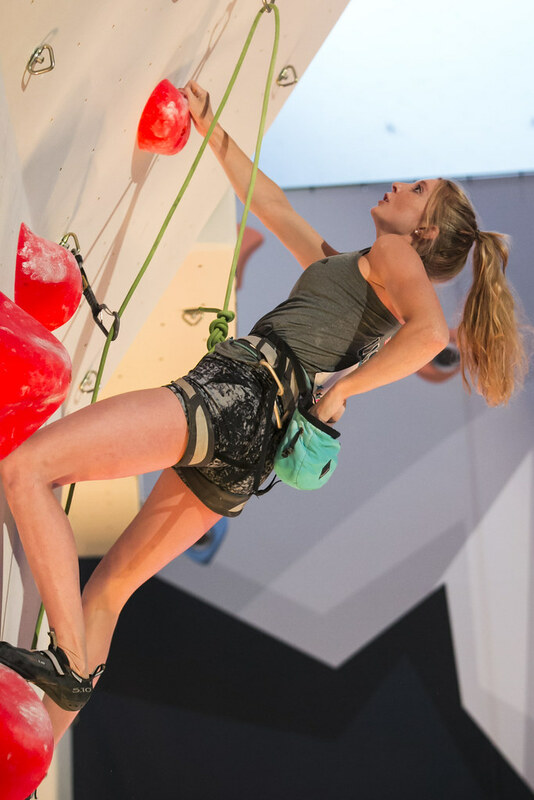 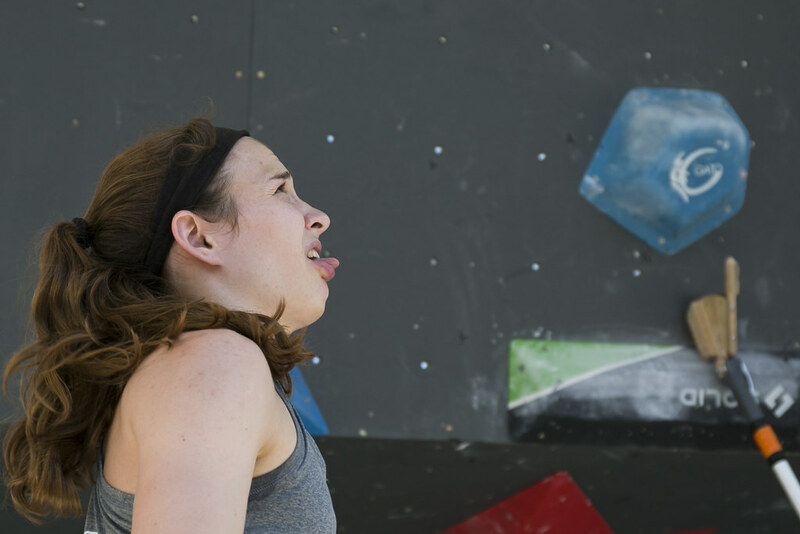 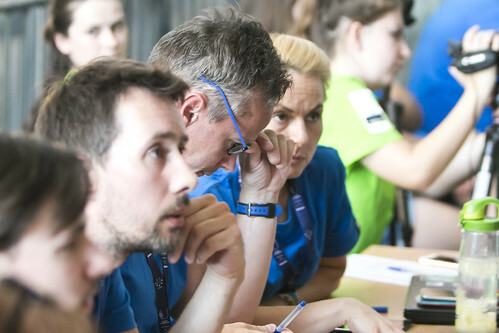 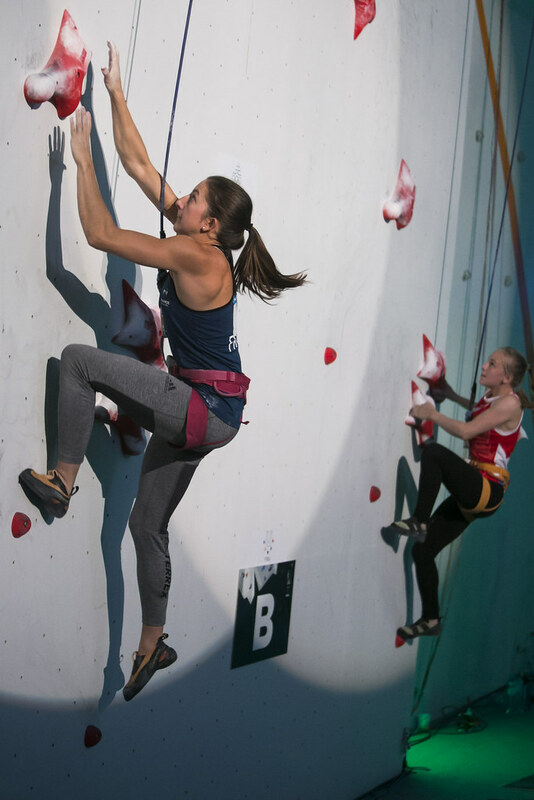 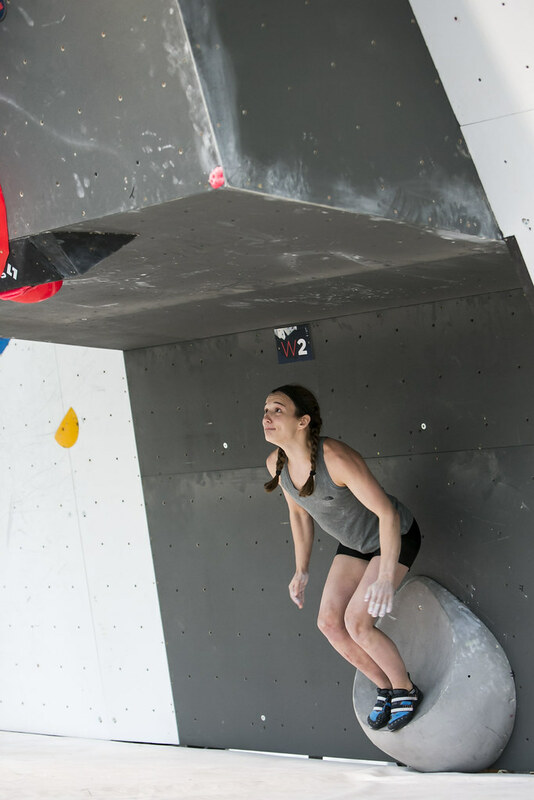 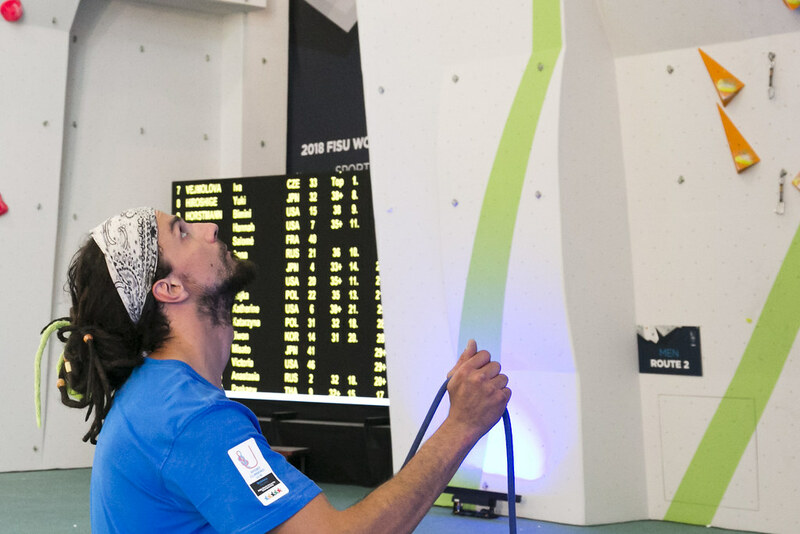 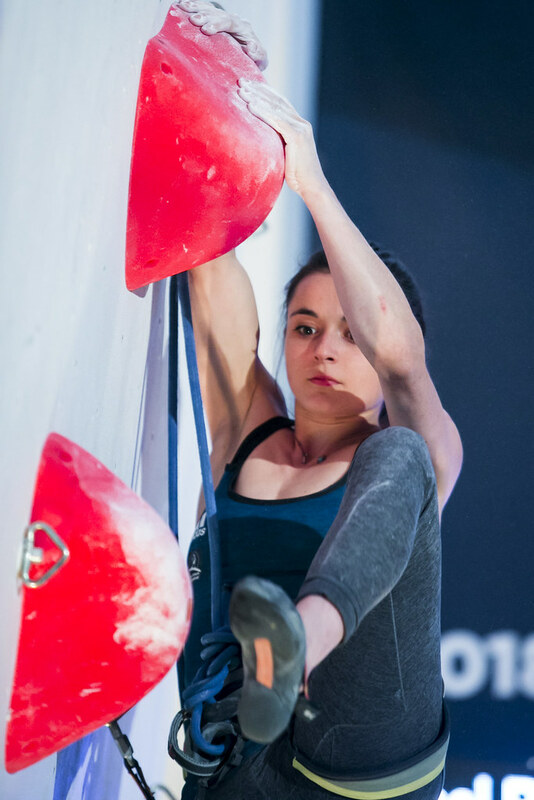 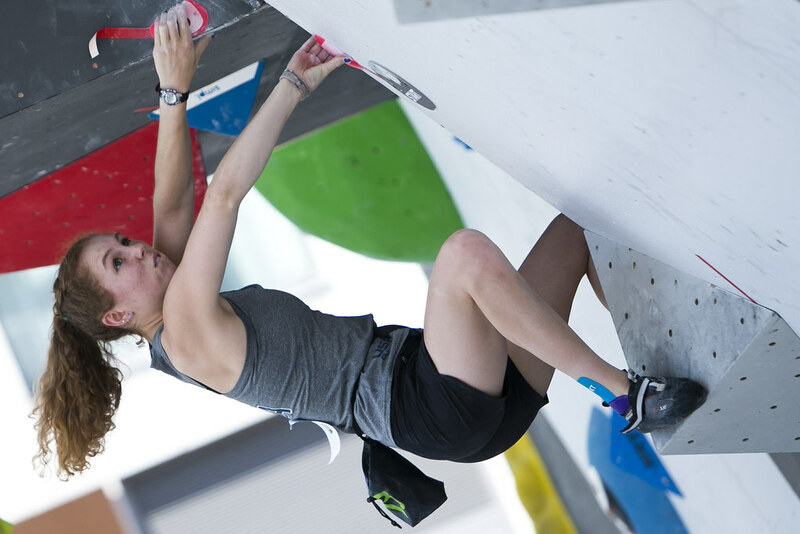 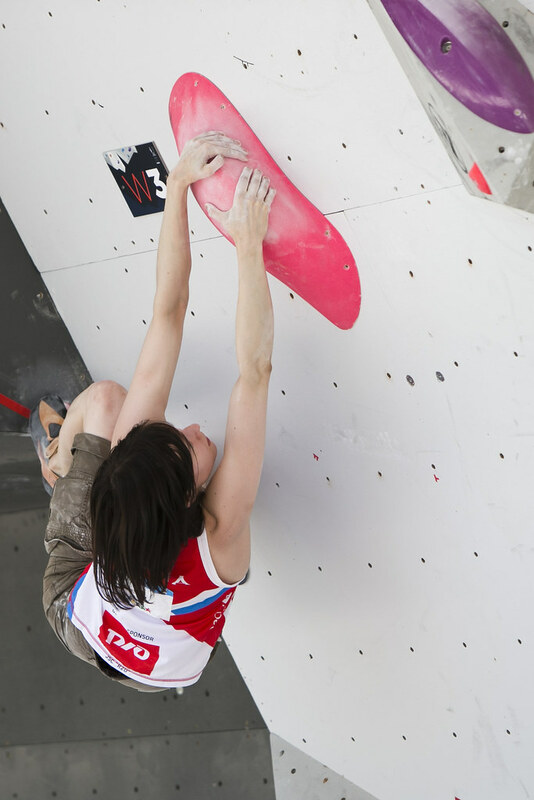 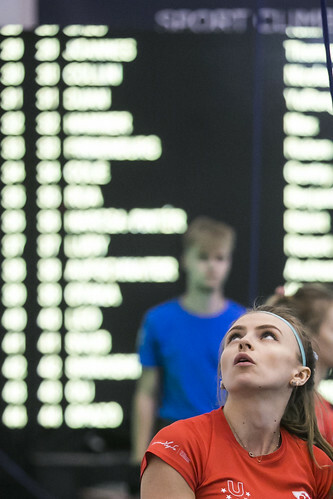 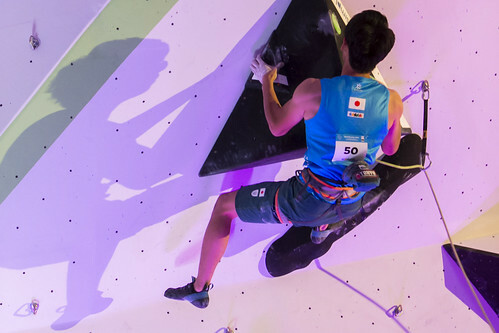 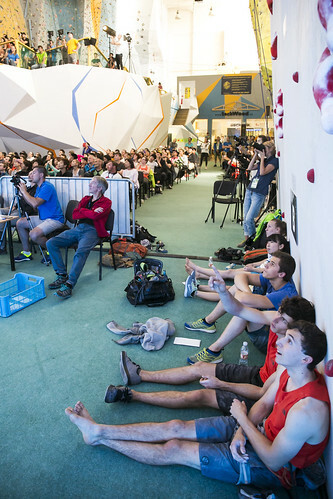 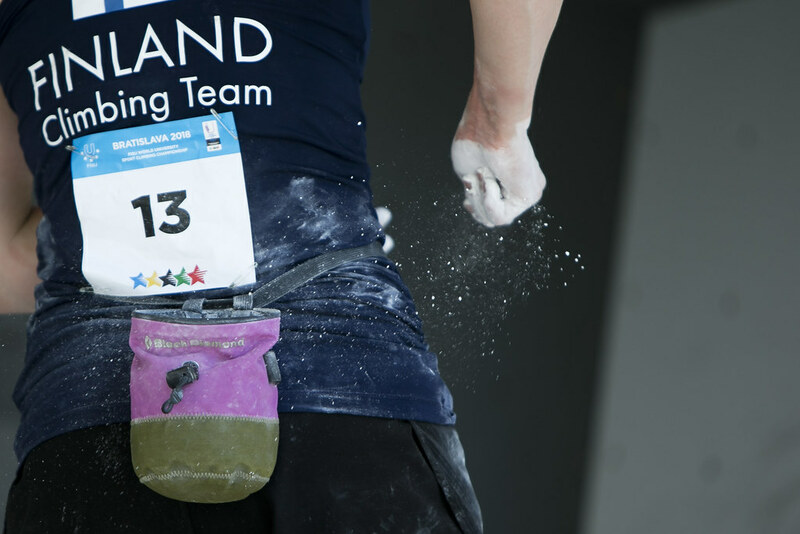 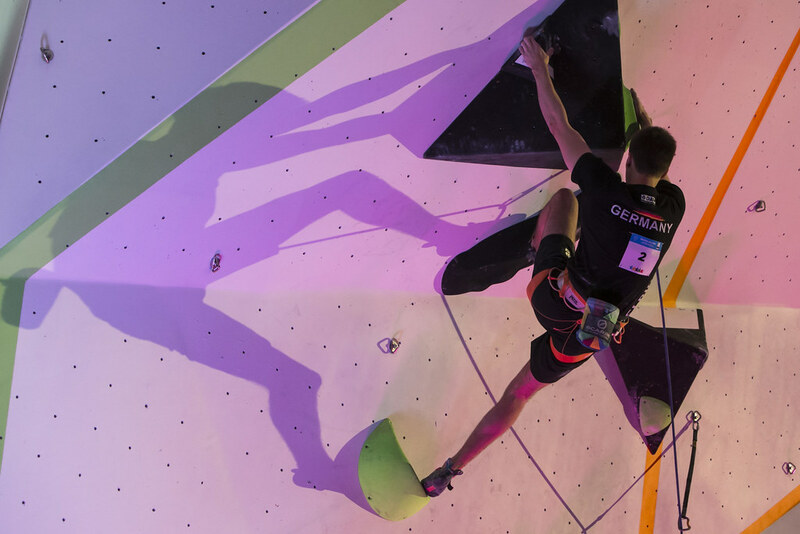 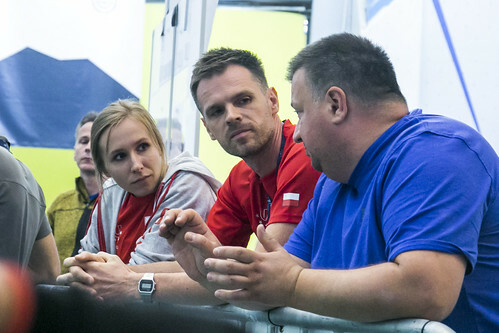 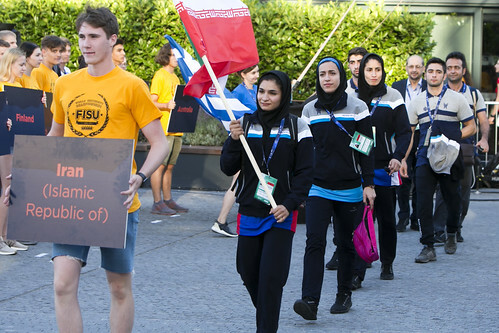 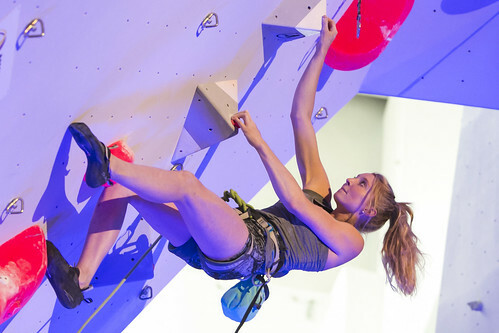 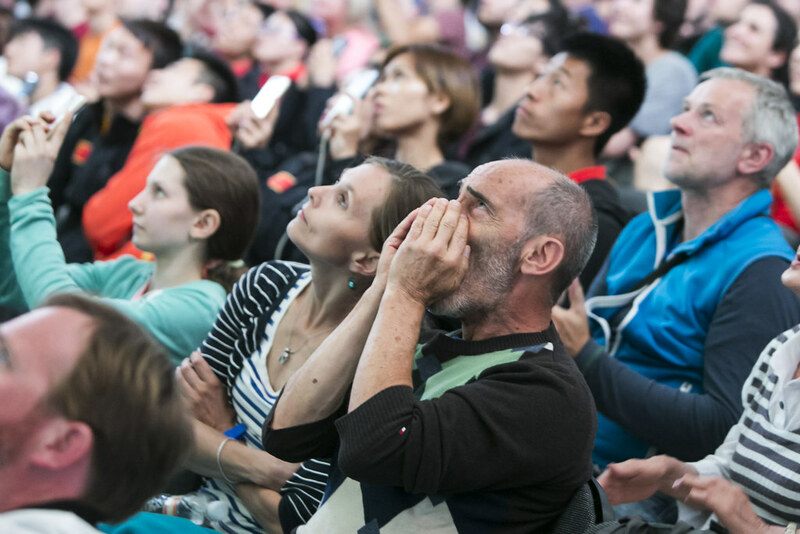 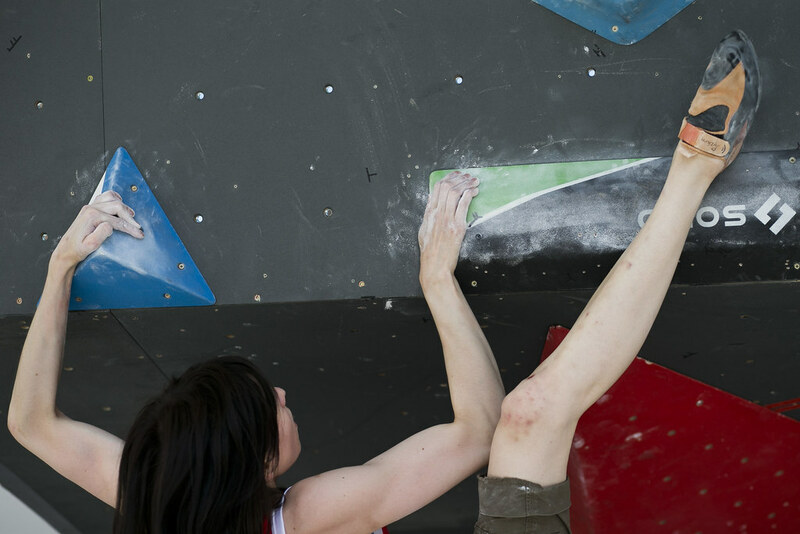 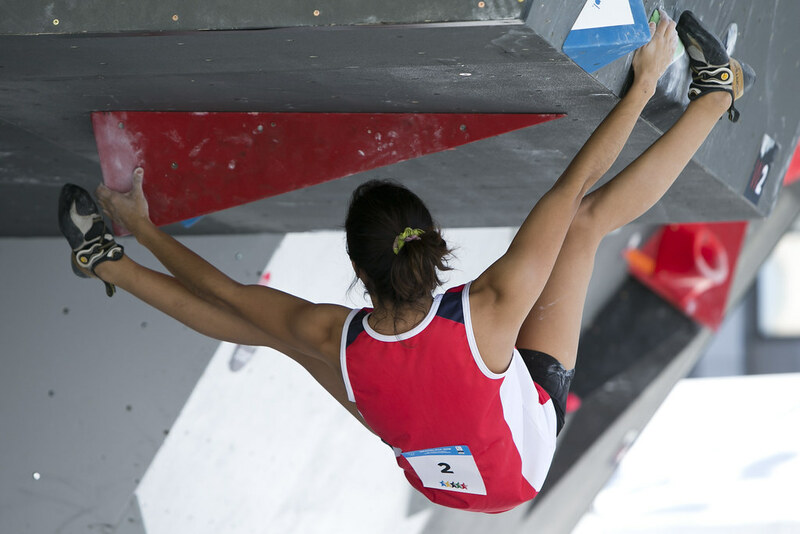 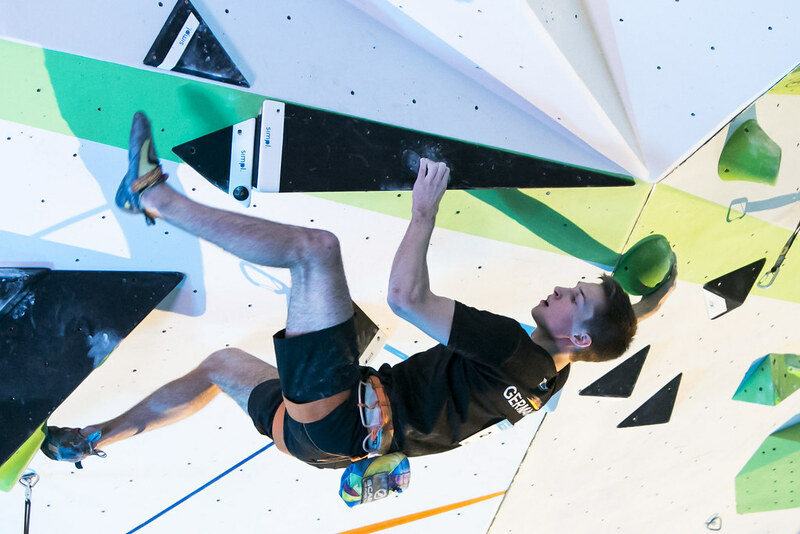 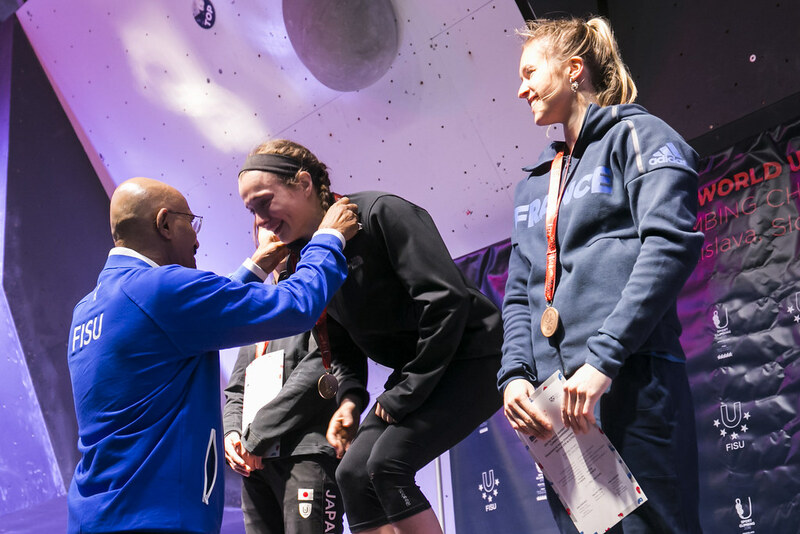 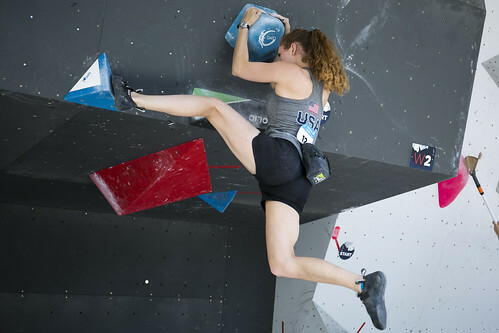 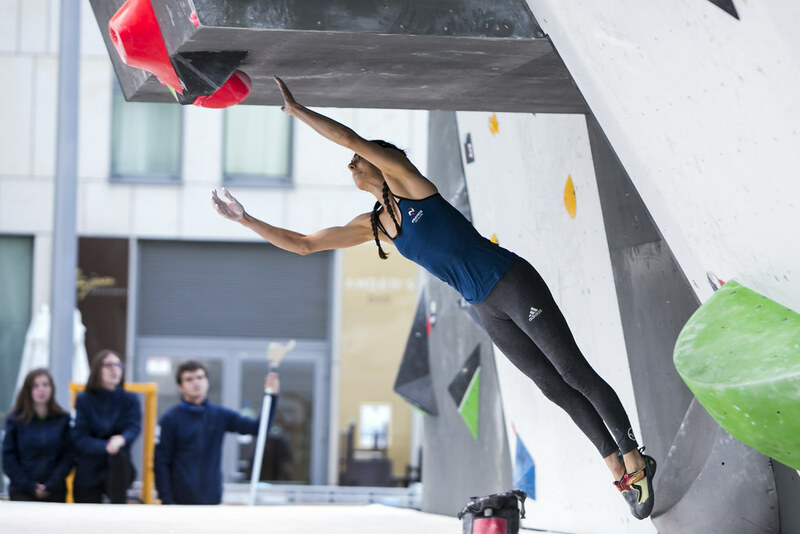 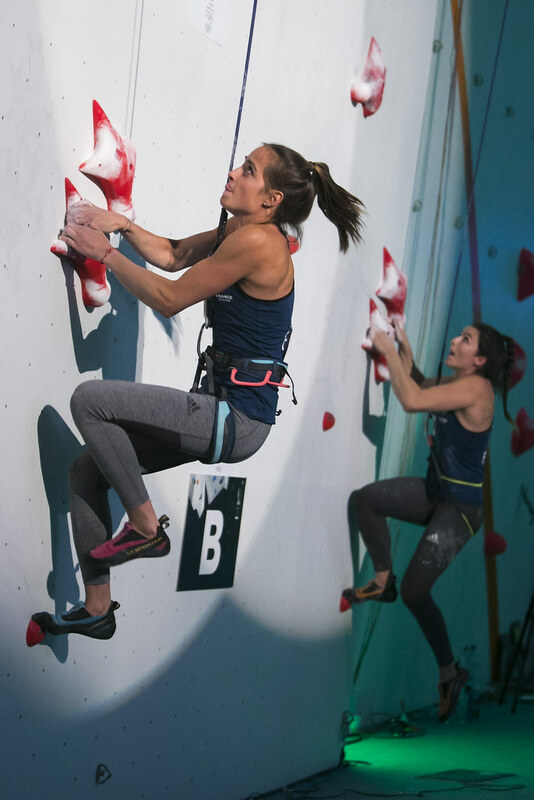 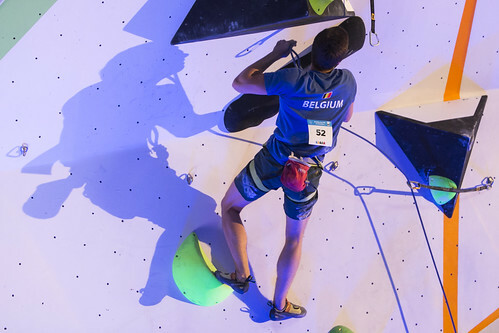 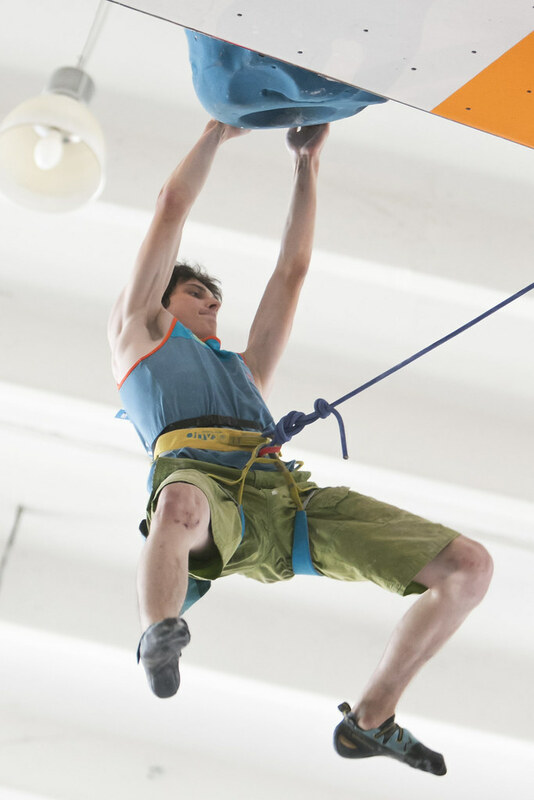 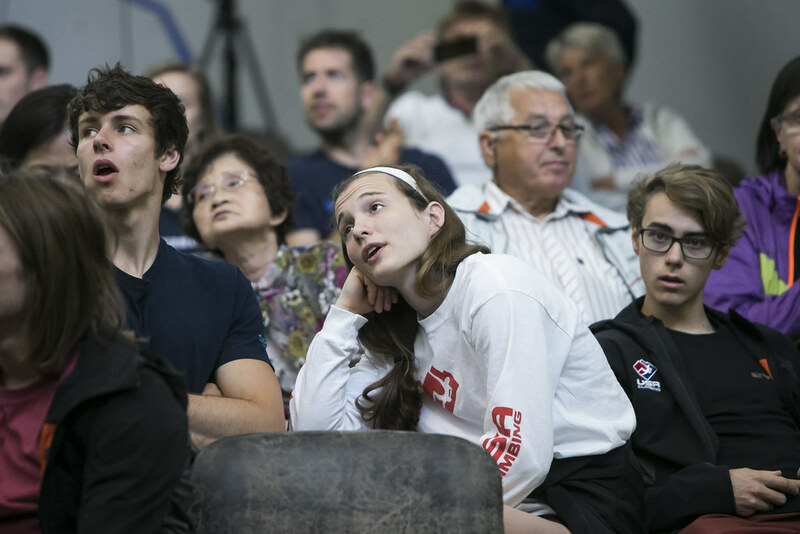 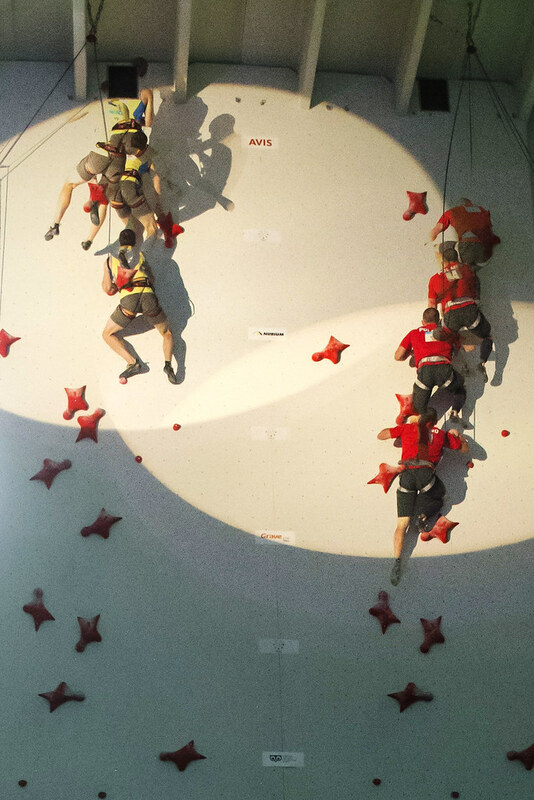 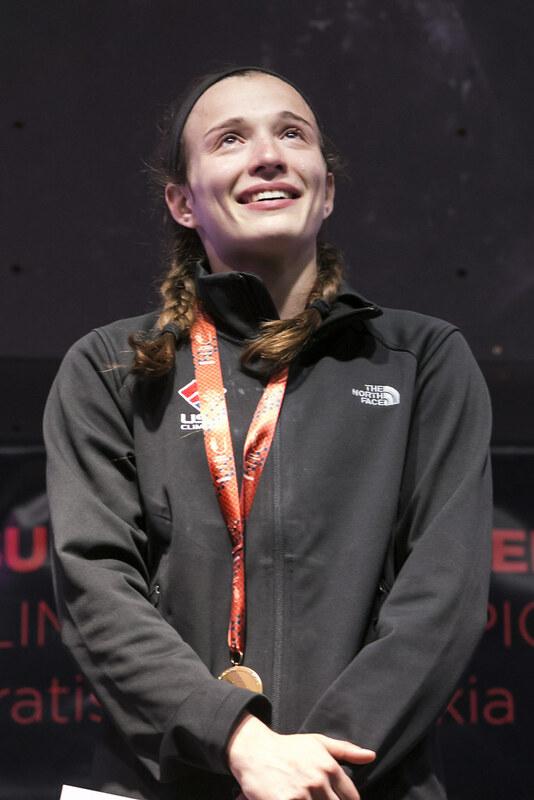 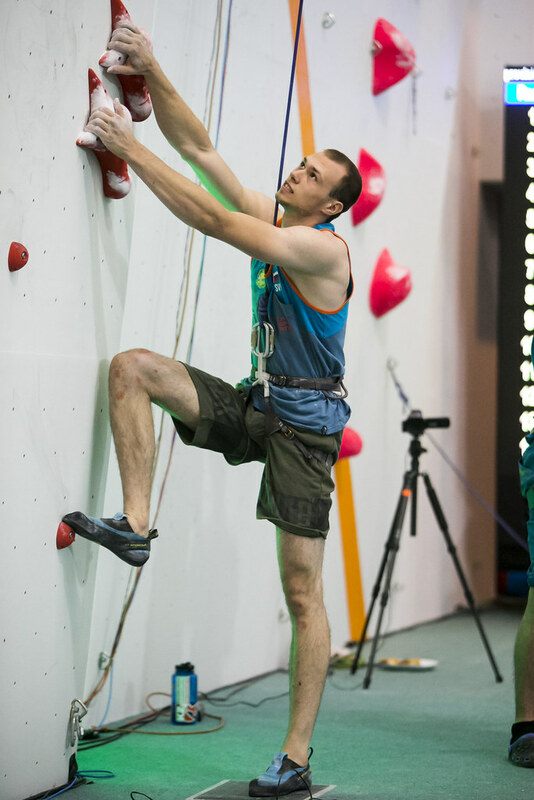 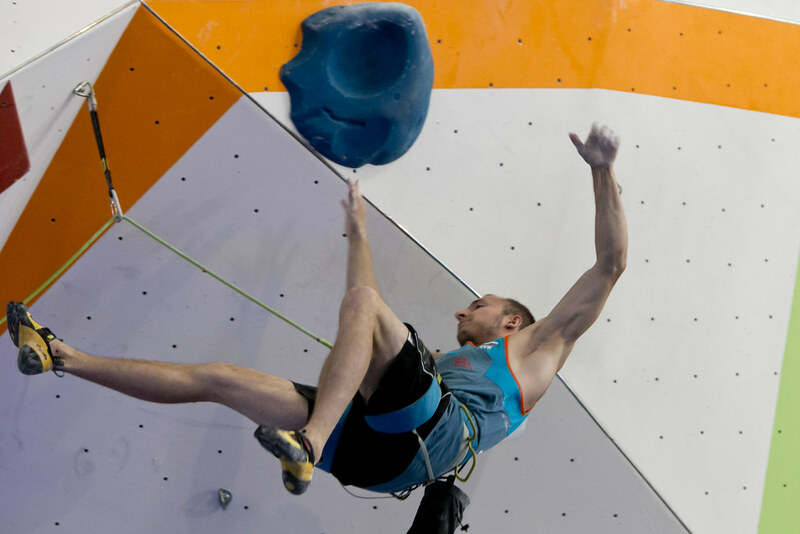 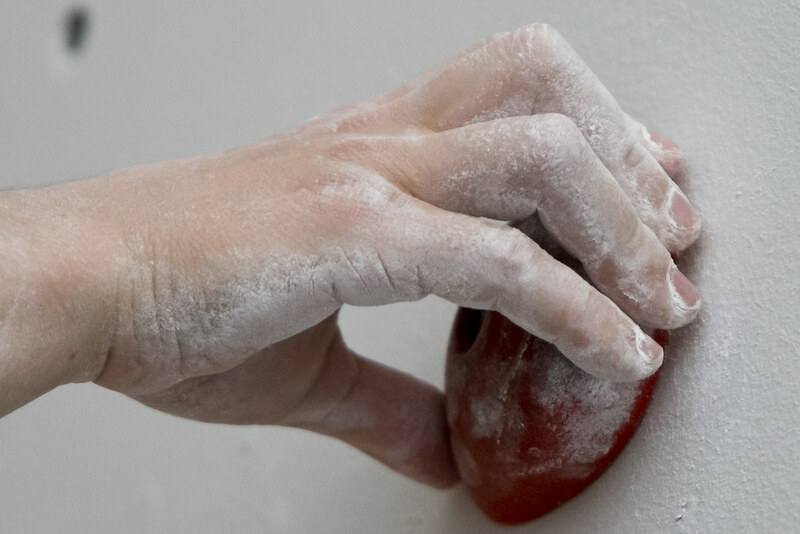 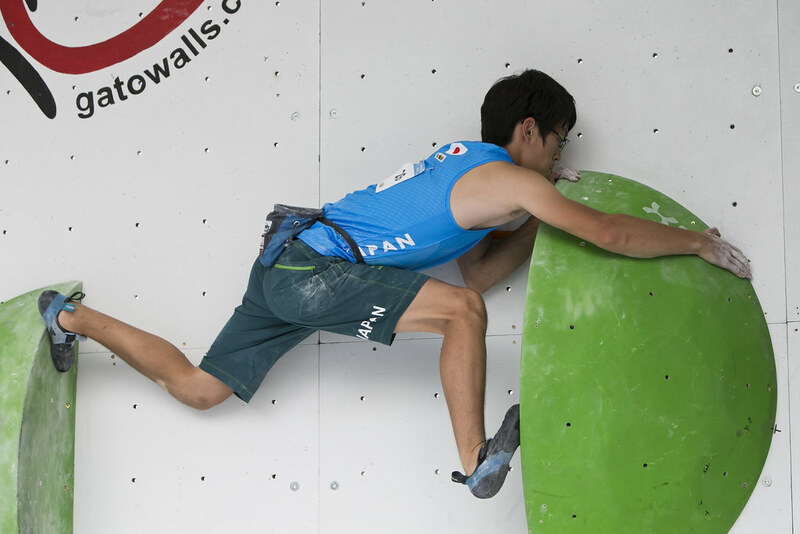 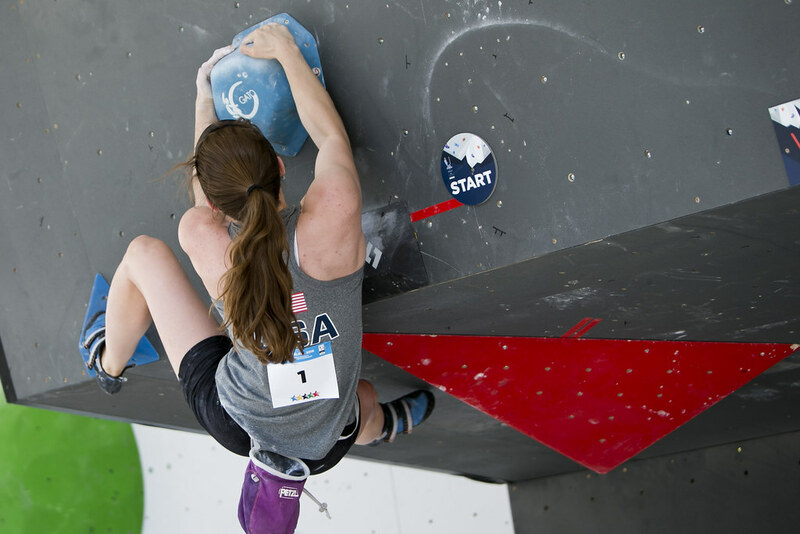 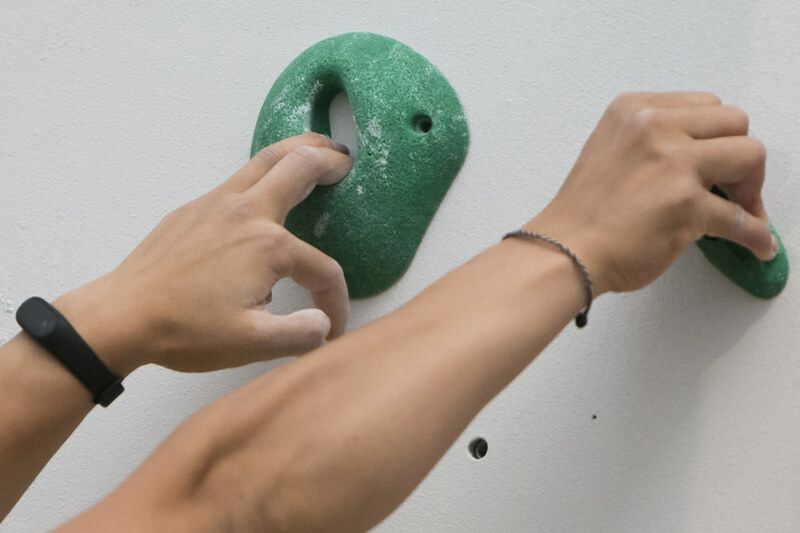 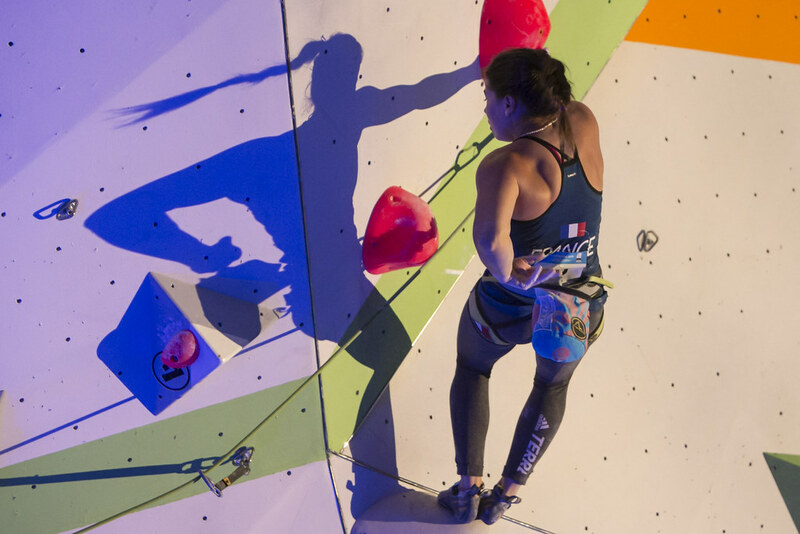 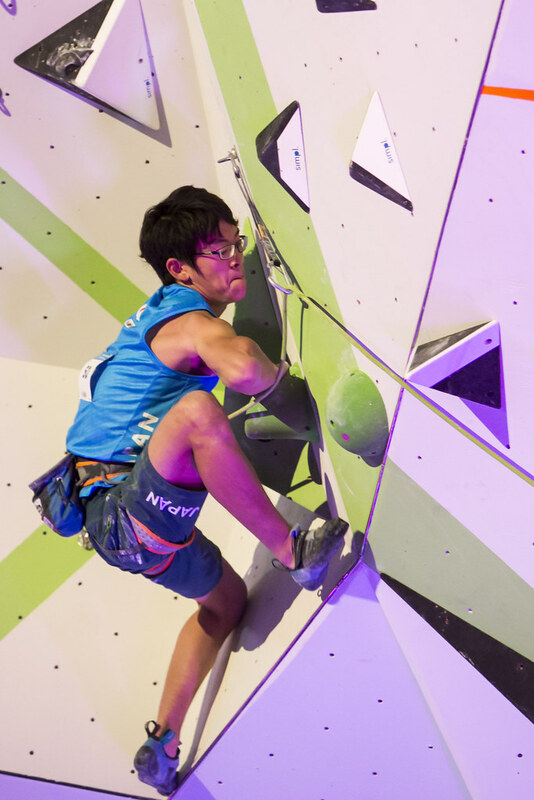 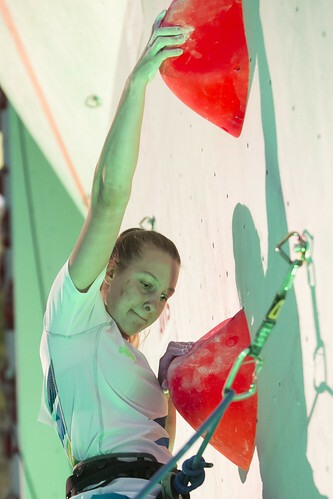 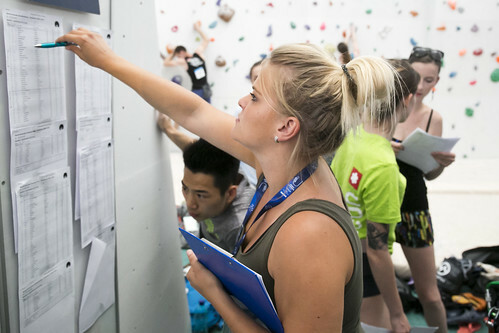 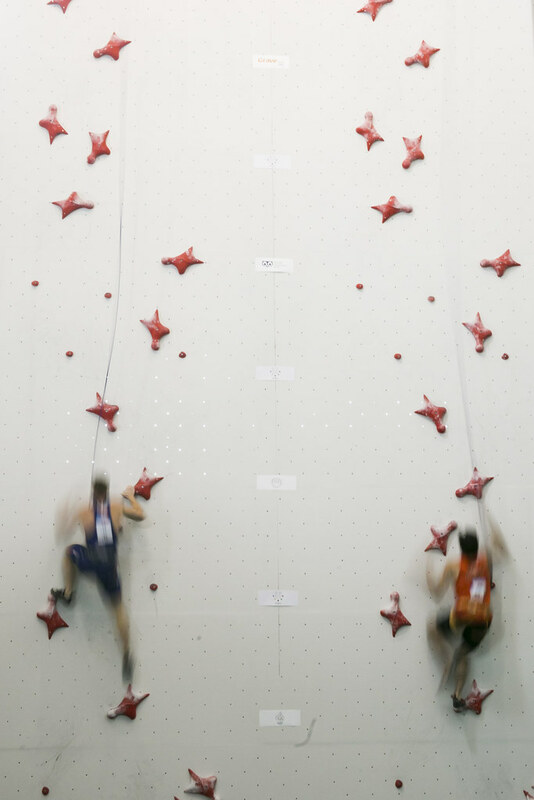 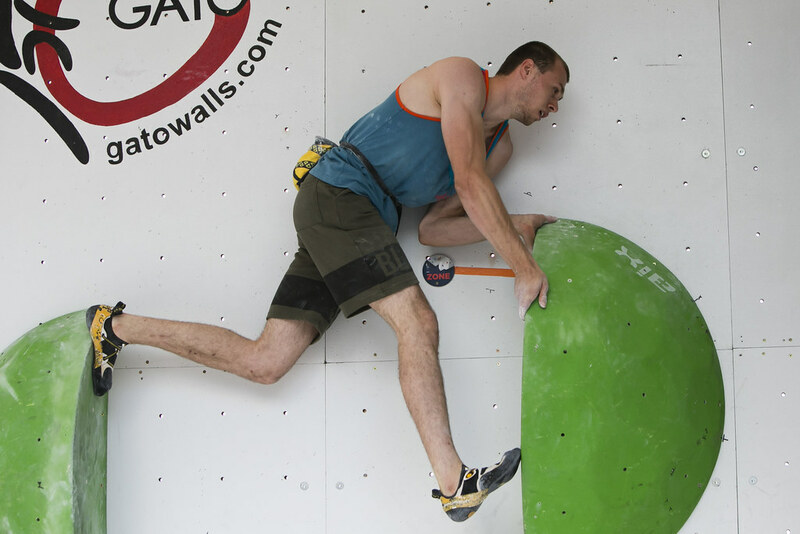 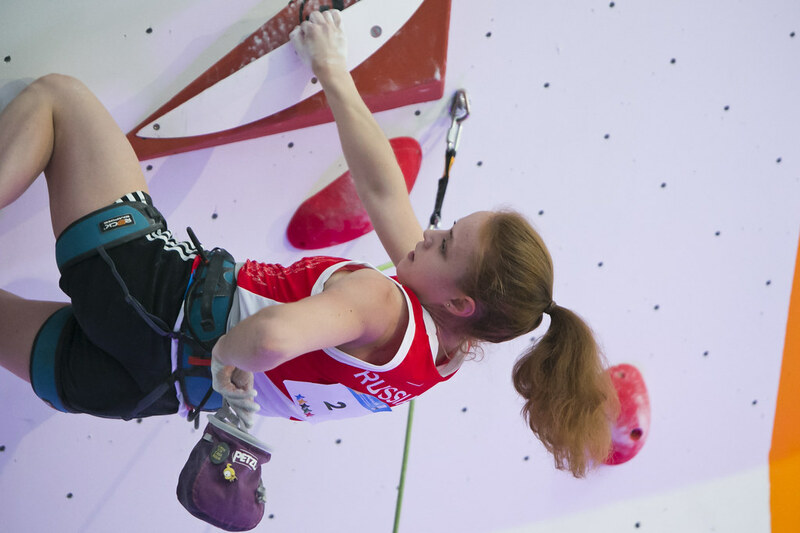 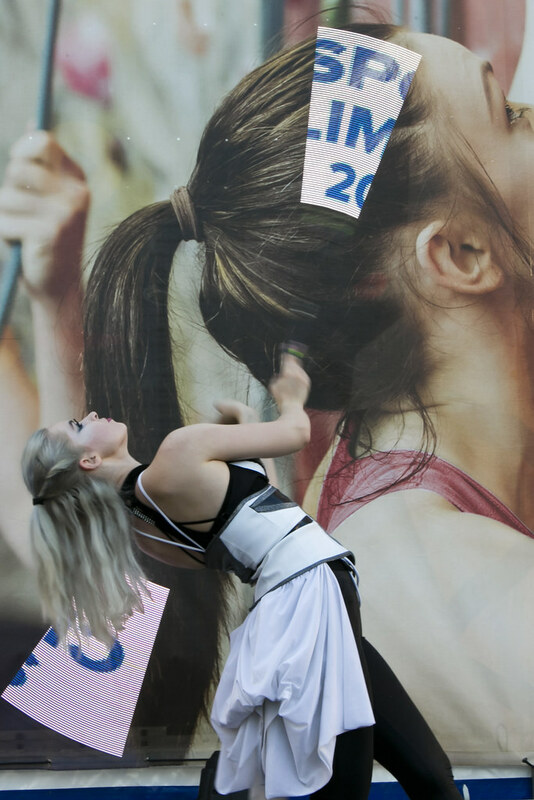 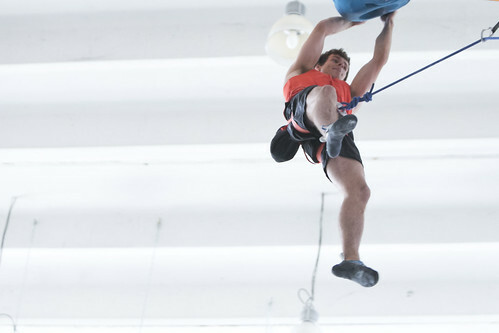 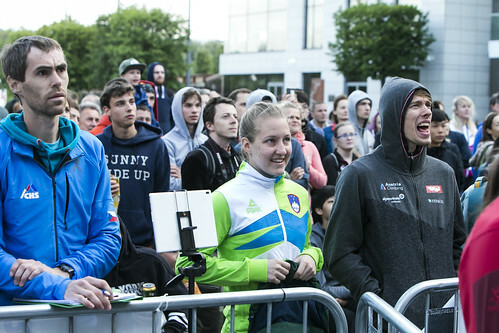 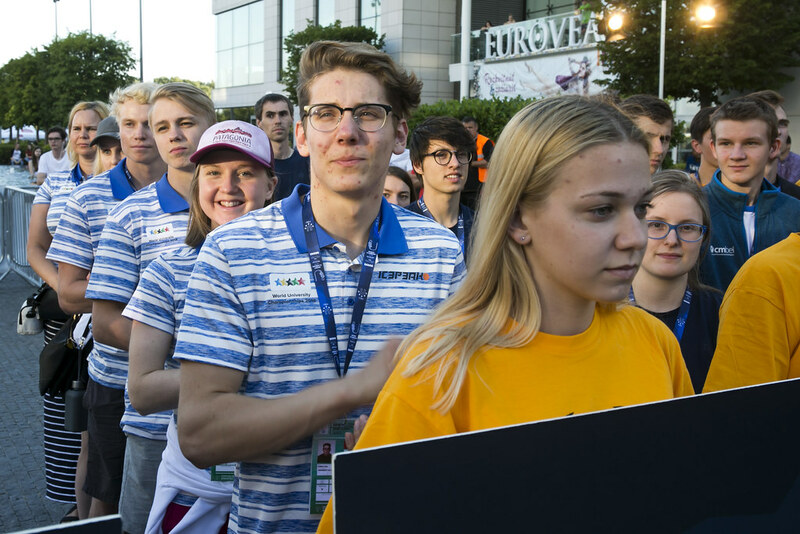 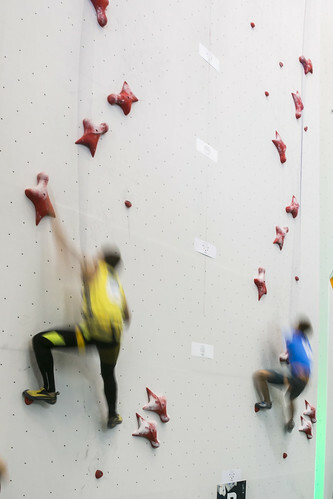 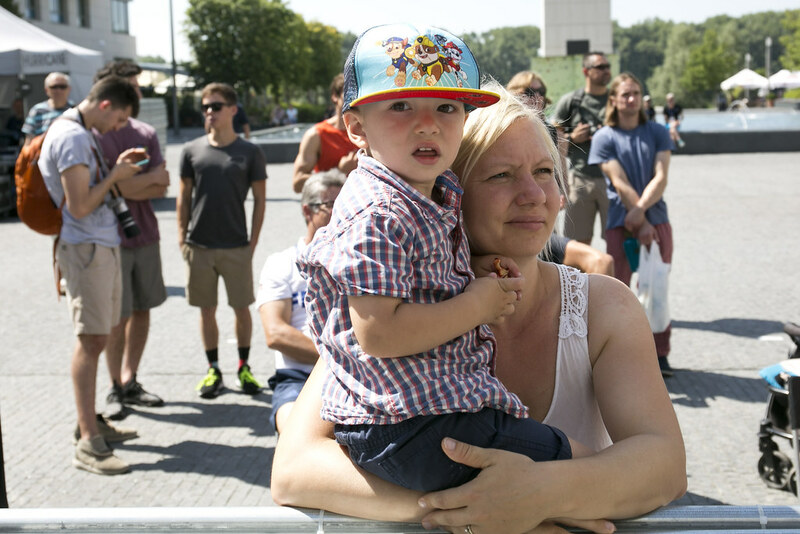 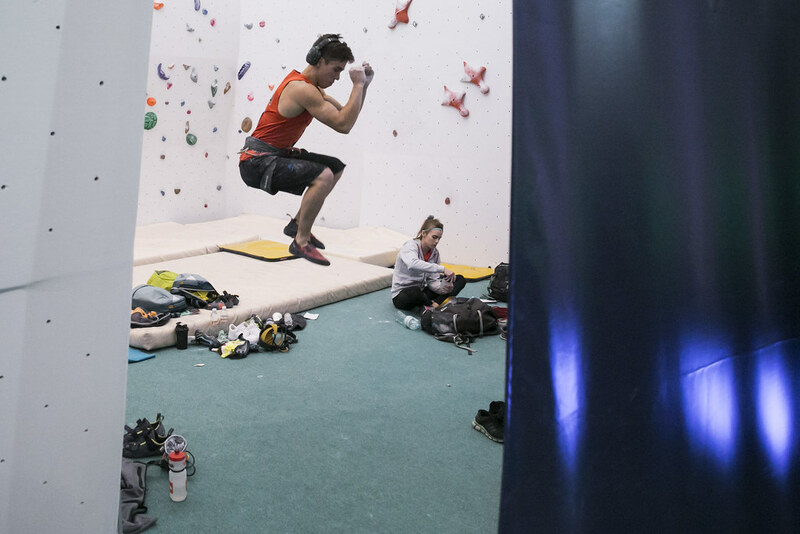 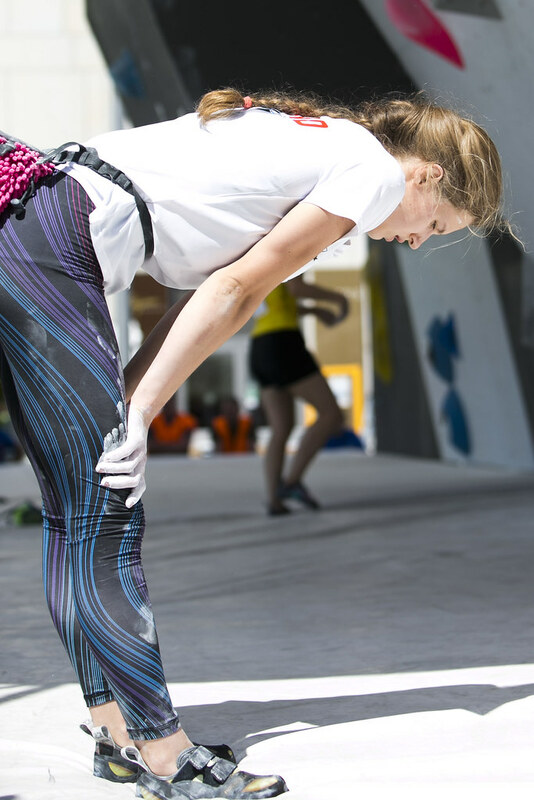 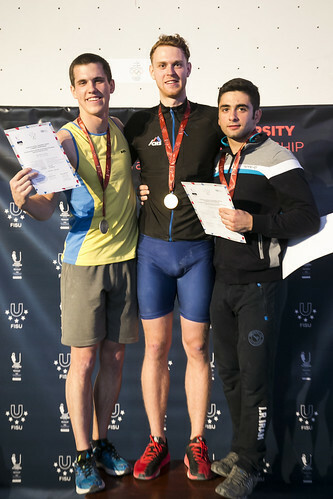 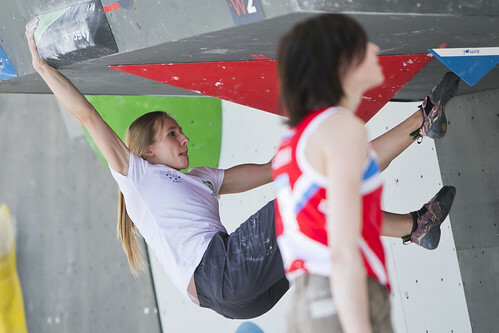 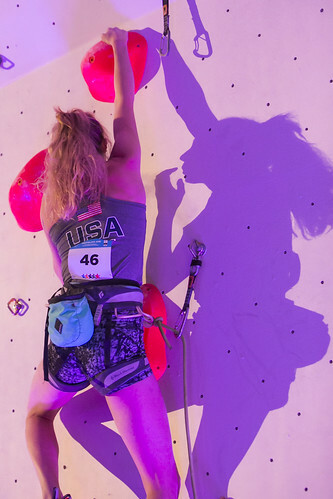 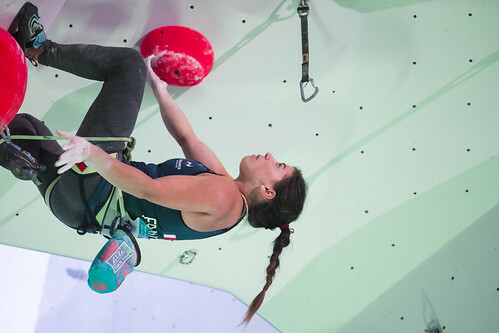 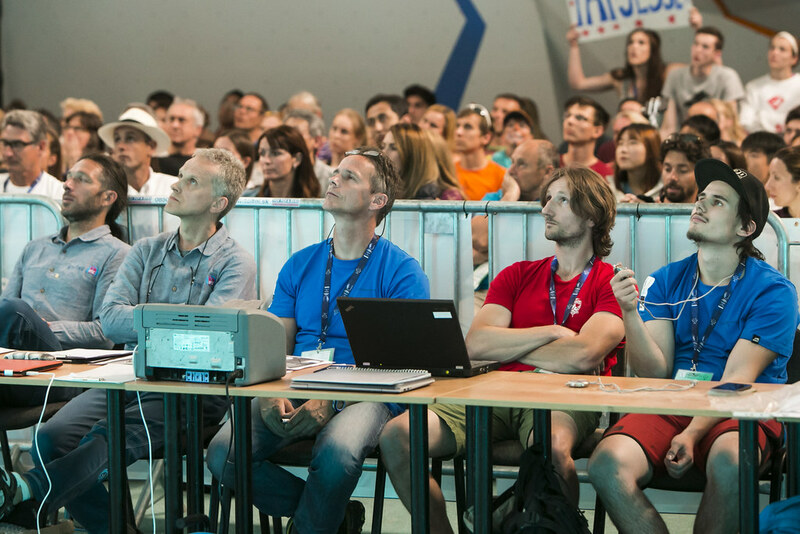 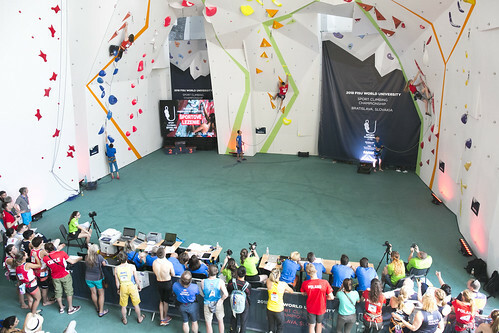 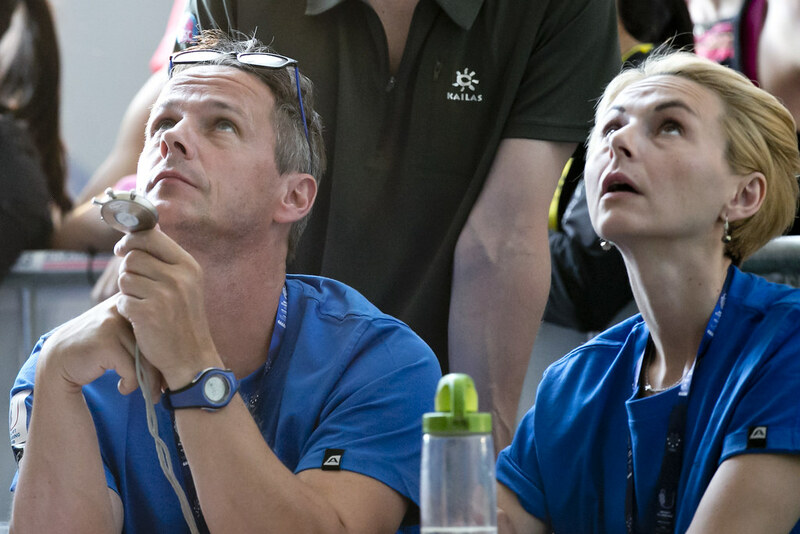 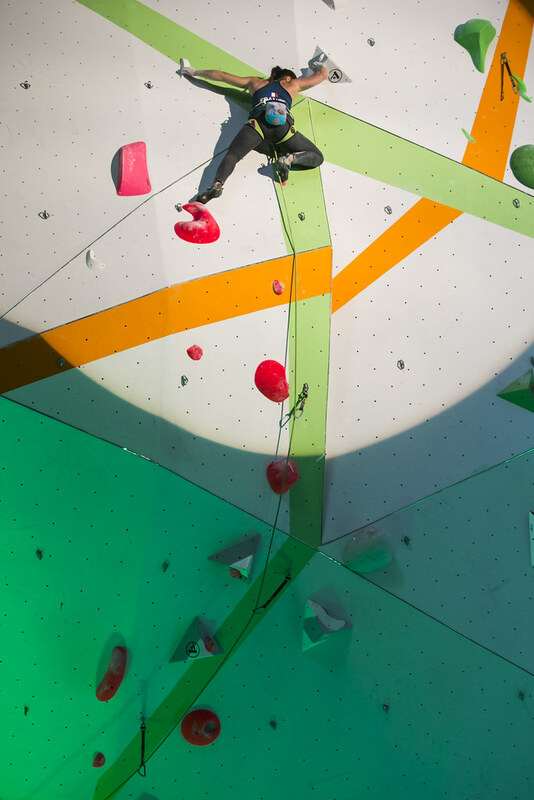 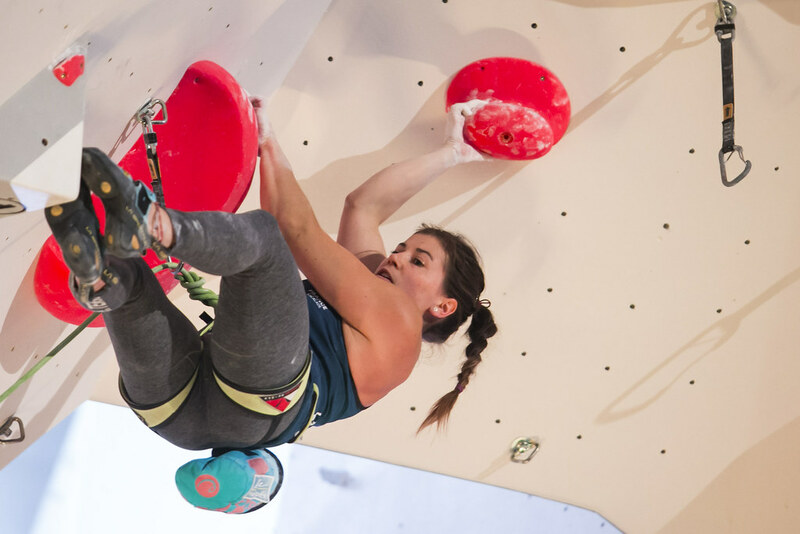 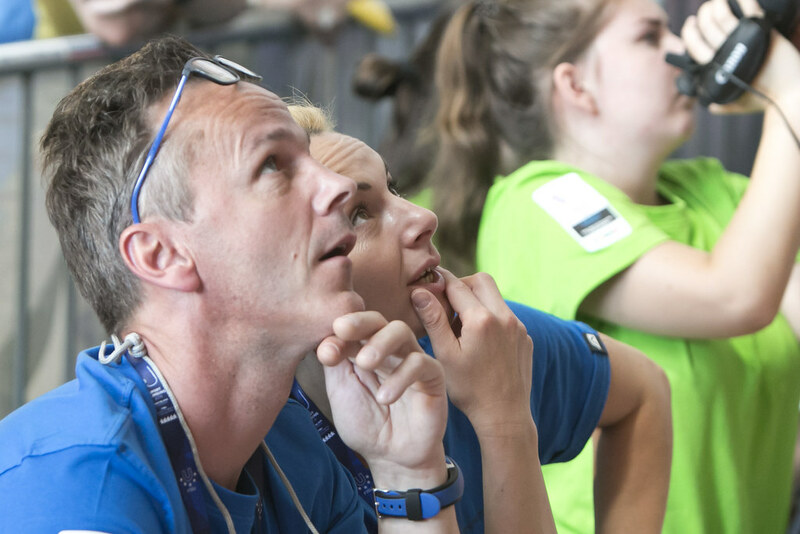 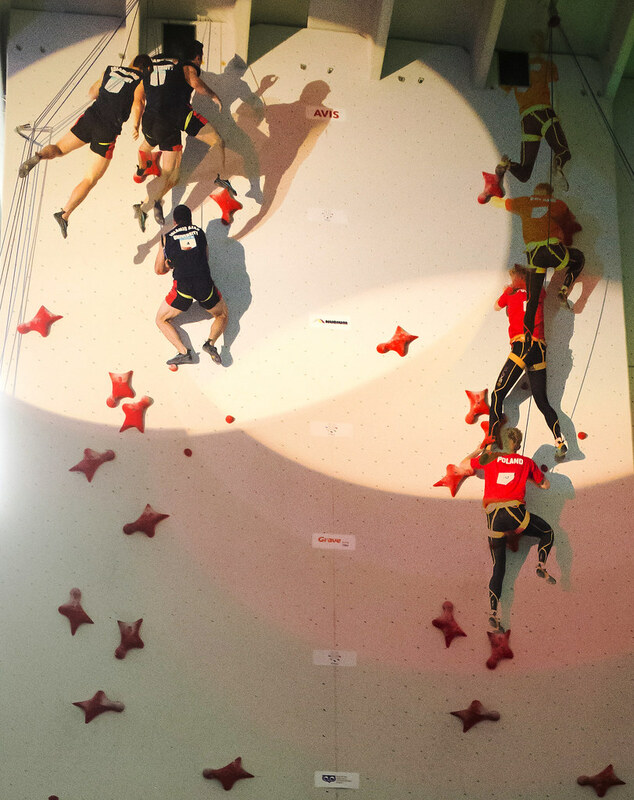 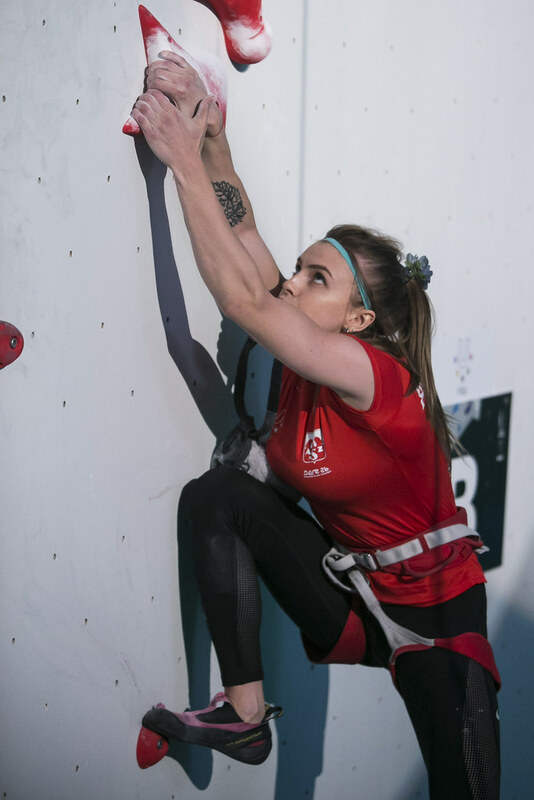 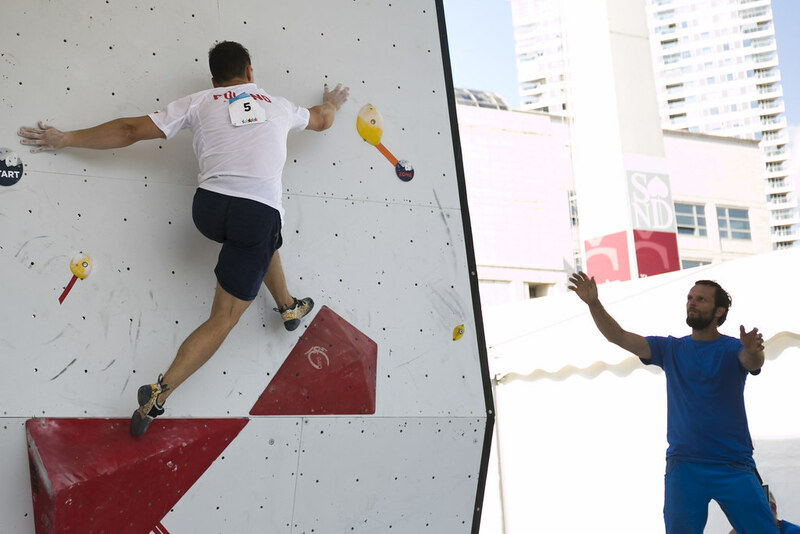 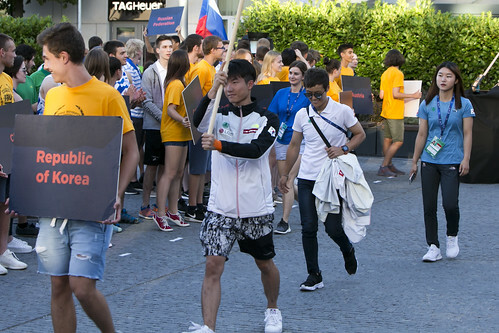 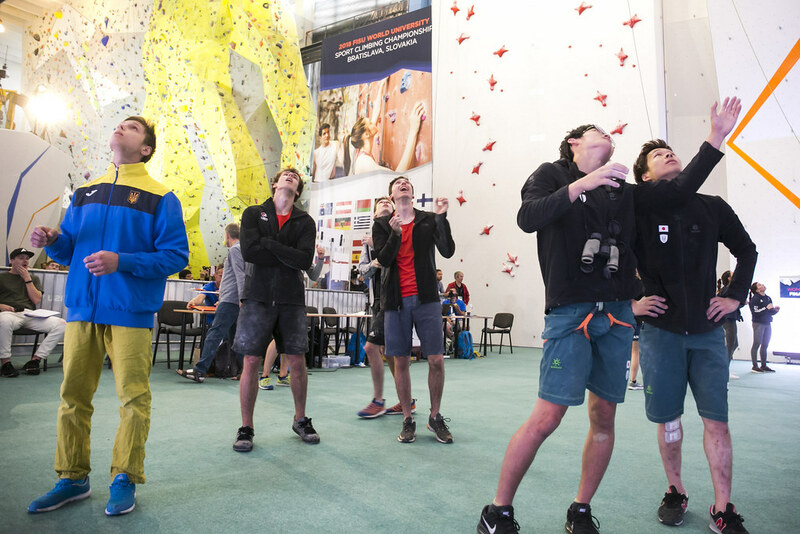 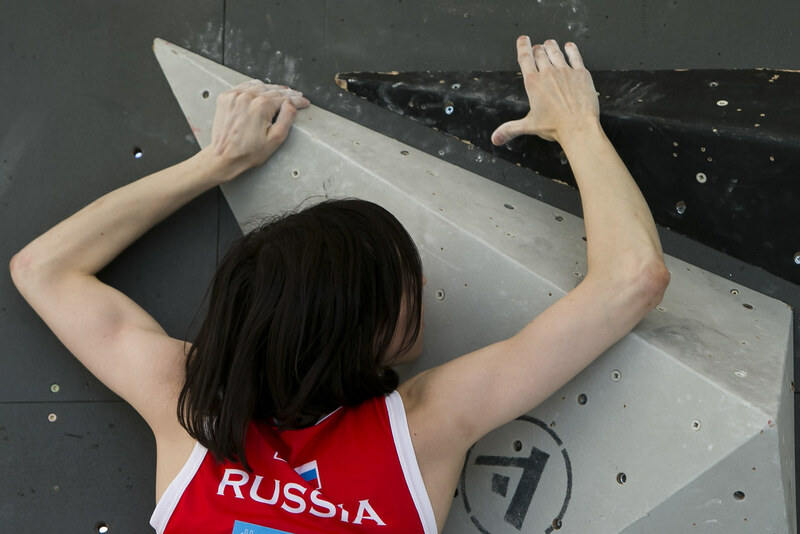 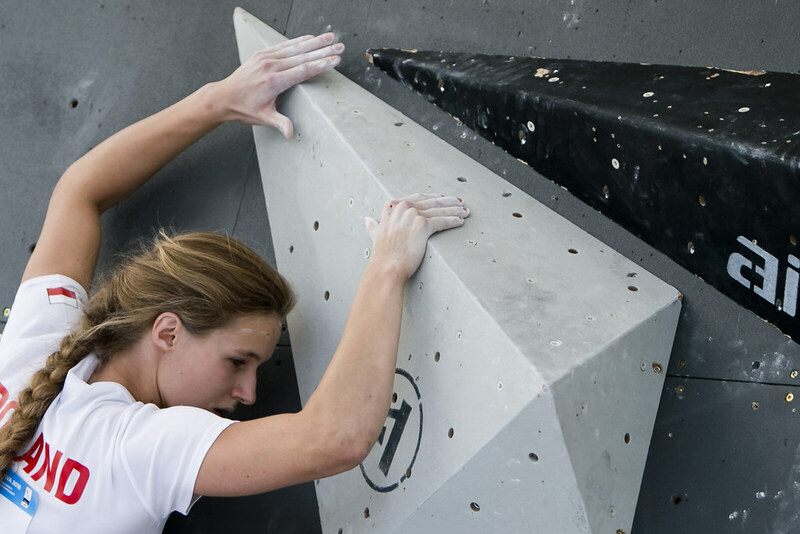 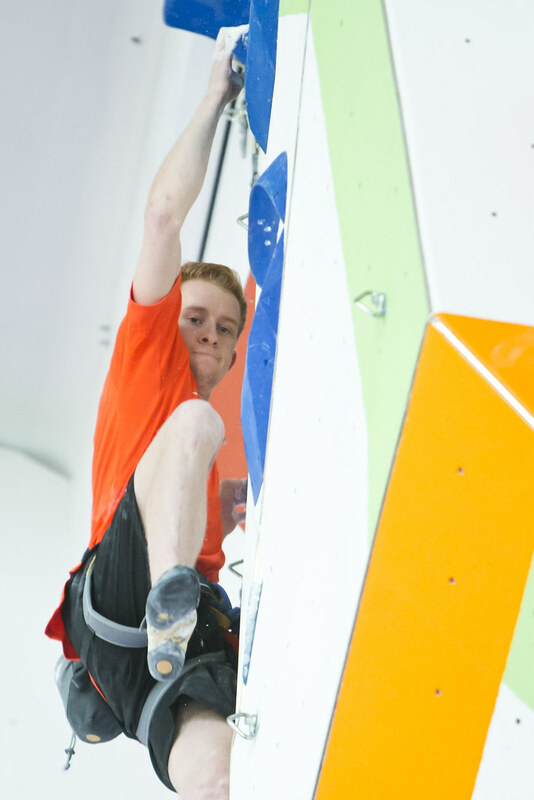 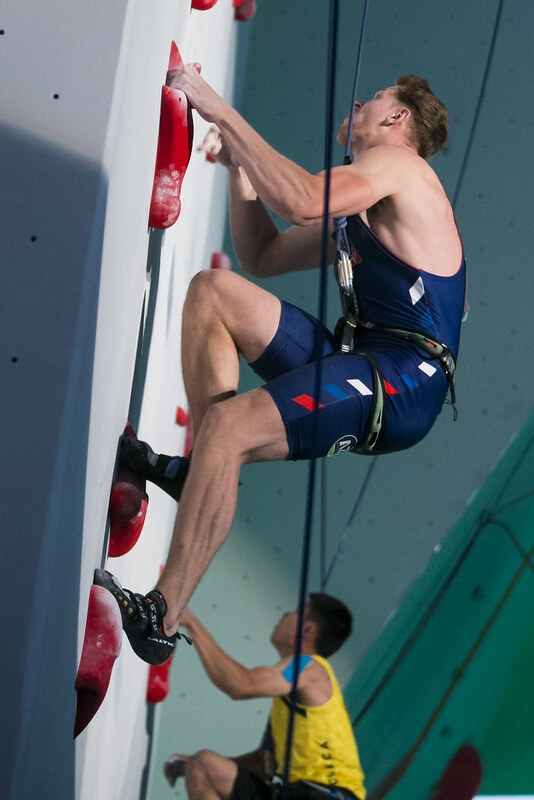 Studies and sport, the 2nd edition of the World University Sport Climbing Championships, which took place this year in Bratislava (SVK), was a celebration of both aspects of the life of University student athletes. 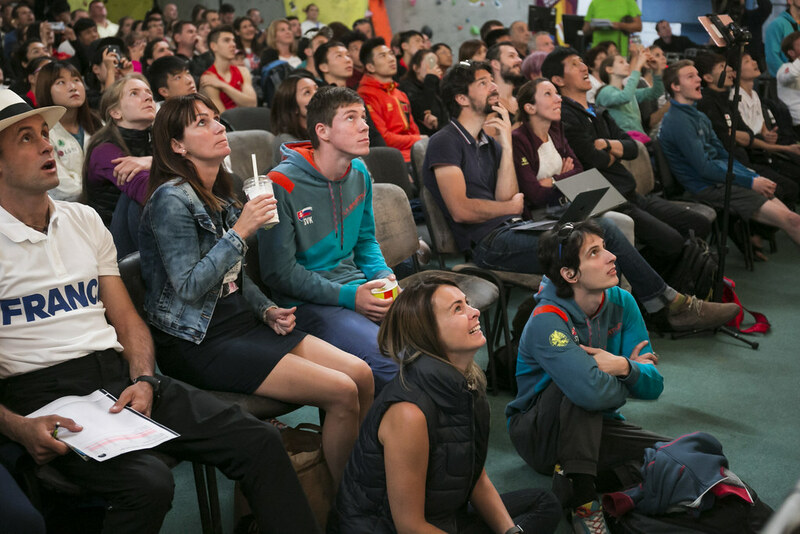 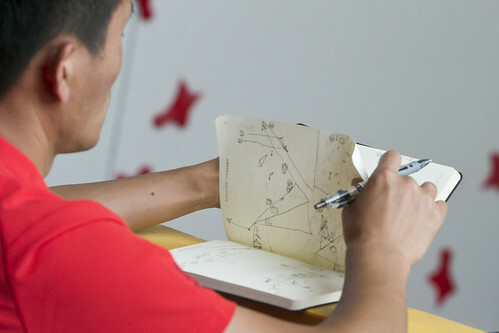 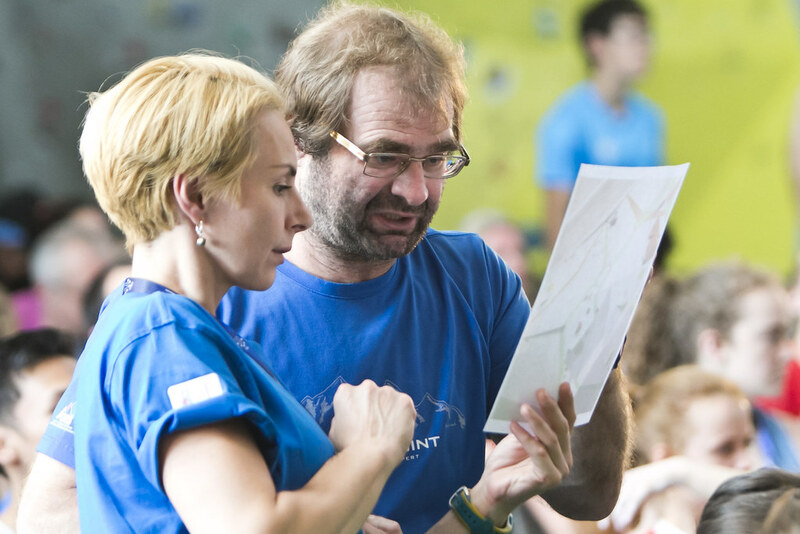 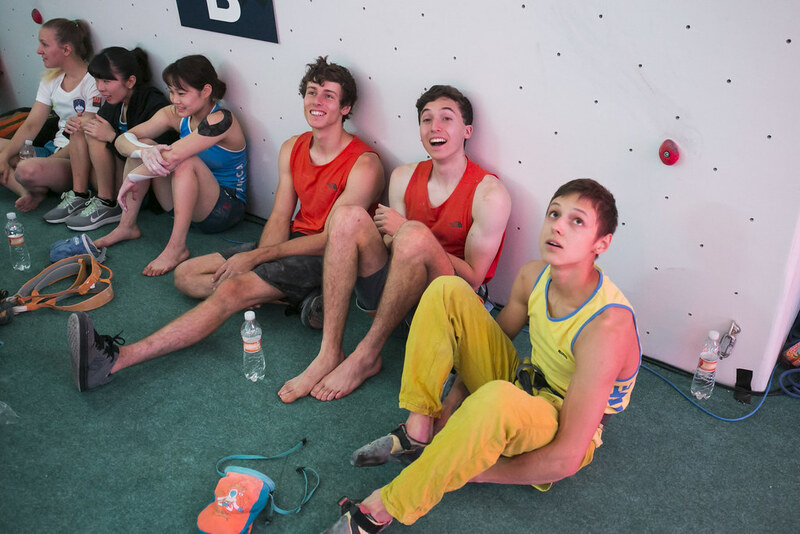 After four days of Bouldering, Lead and Speed climbing, the winners shared their triumphs with the organising team. 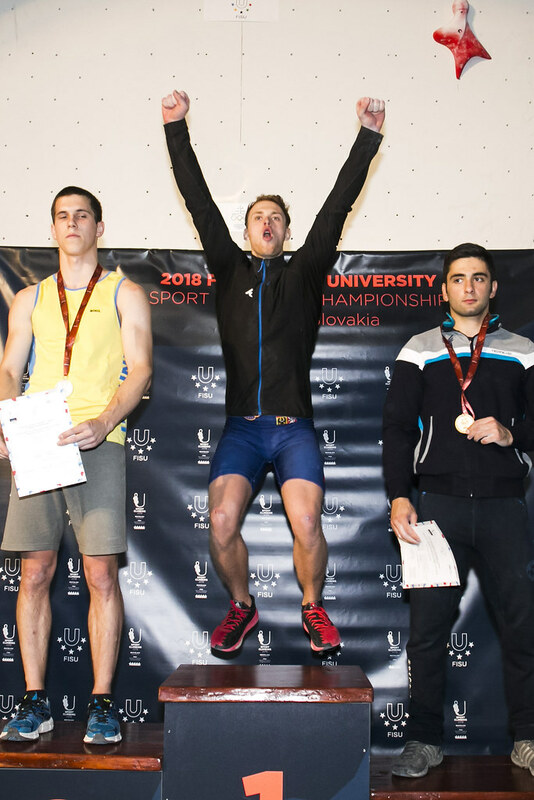 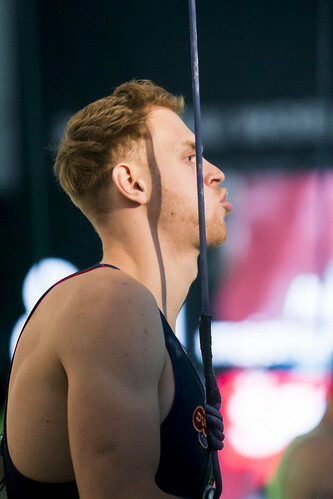 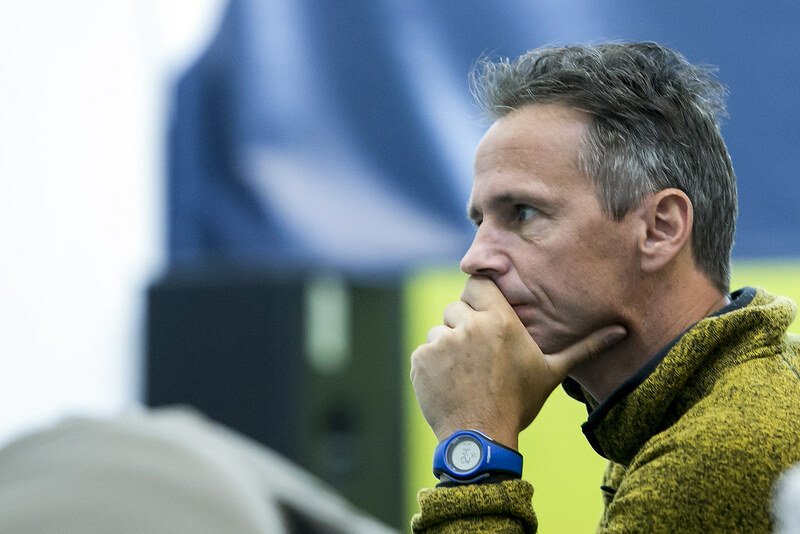 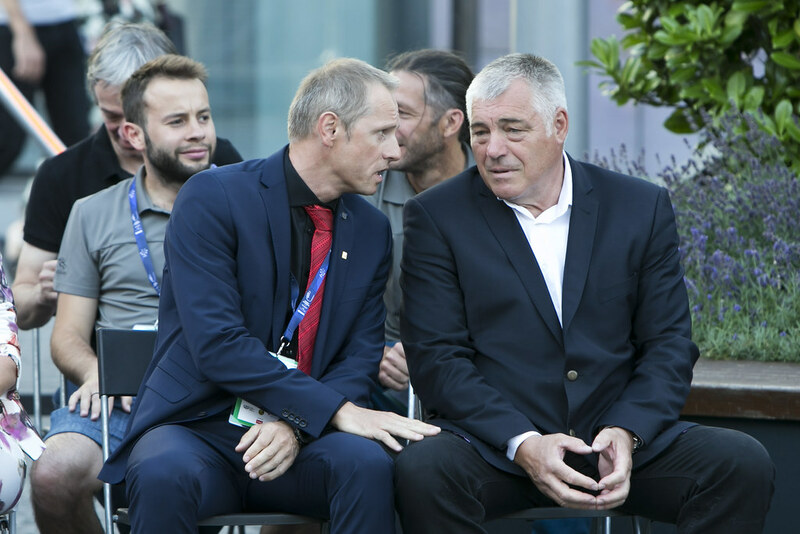 "I am very satisfied as I was struggling with injuries the past two years," said Jan Kriz (CZE), who raced to some of the lowest times in Speed qualifications and finals (6.14s) on Friday. 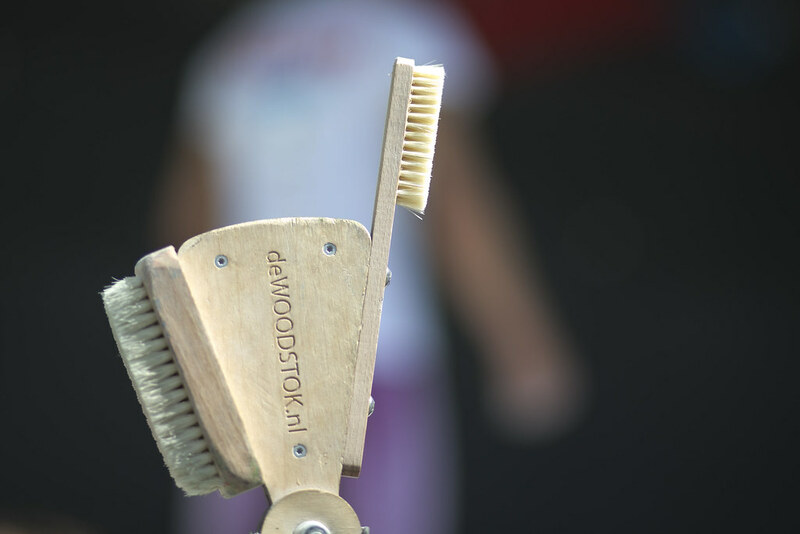 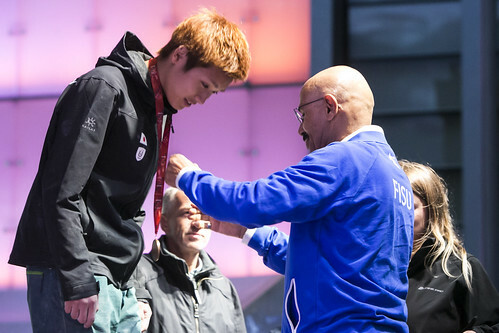 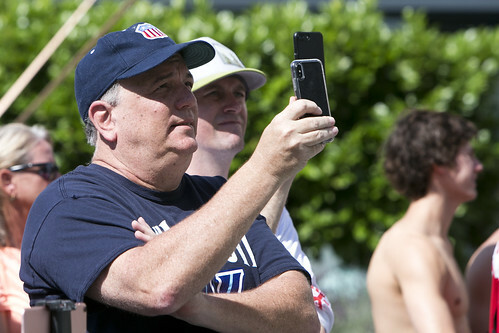 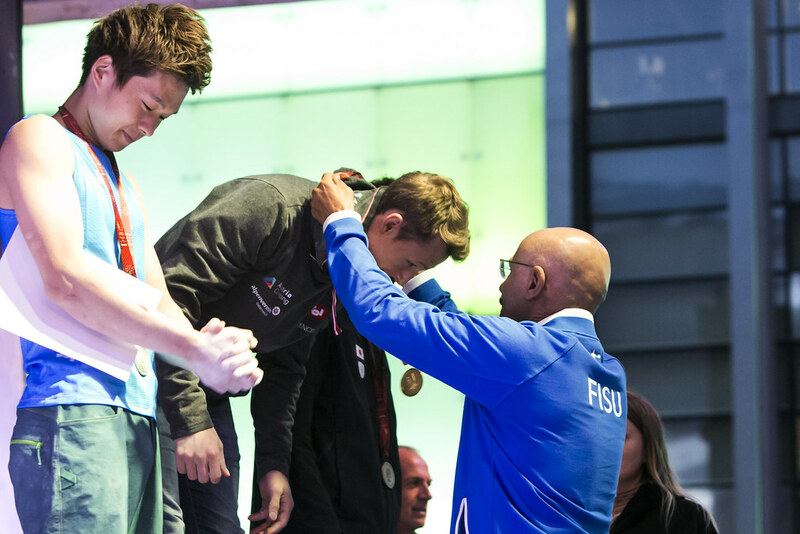 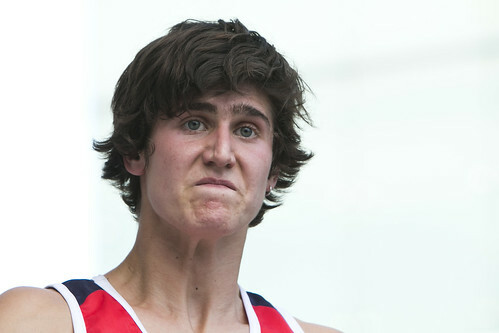 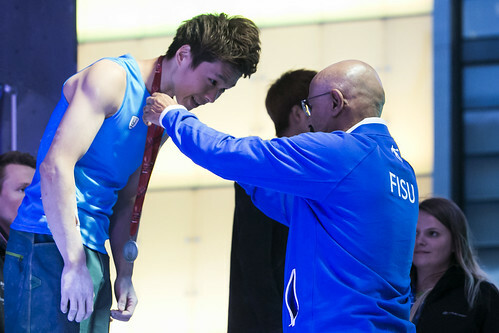 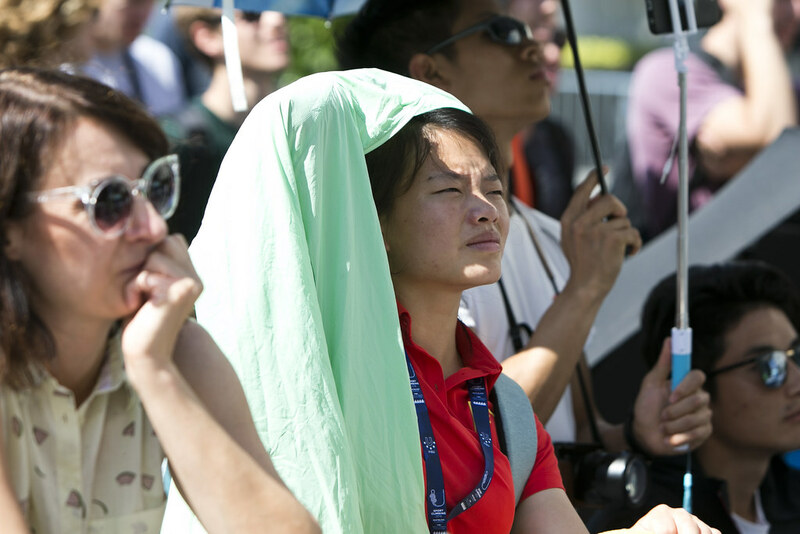 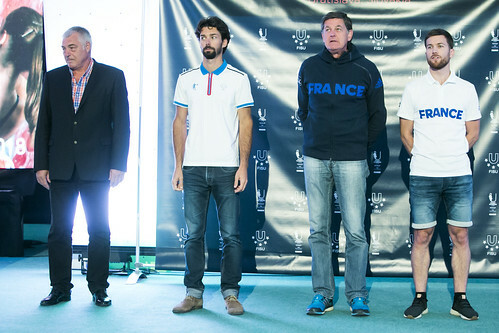 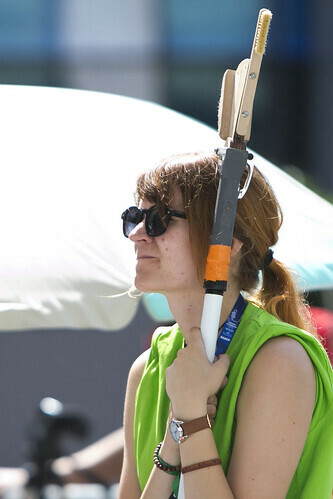 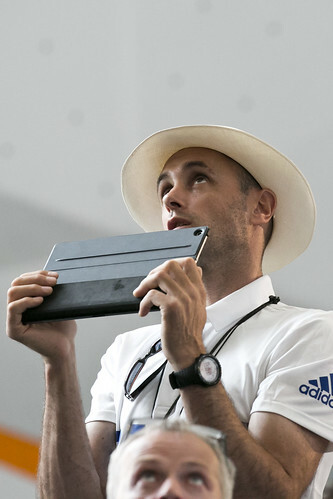 "This is the second month since I was competing at the World Cup in Moscow, where I achieved fifth place. At that time, I started to feel that my shape is improving and I am finally healthy. 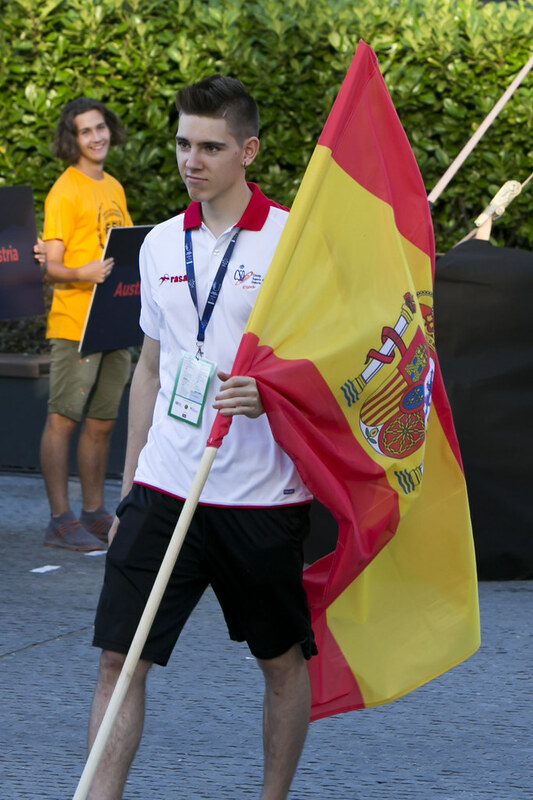 Now, I just confirmed it. 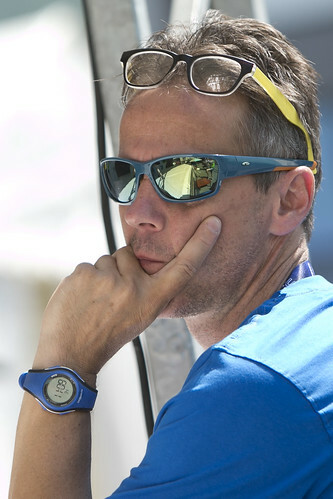 Already on Tuesday, I will do the state exams at my university in Brno where I study coaching of swimming. 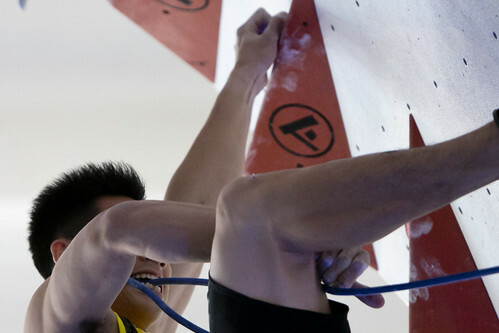 That was also the reason why I decided to focus only on Speed climbing this year. But I will try all events in some time. 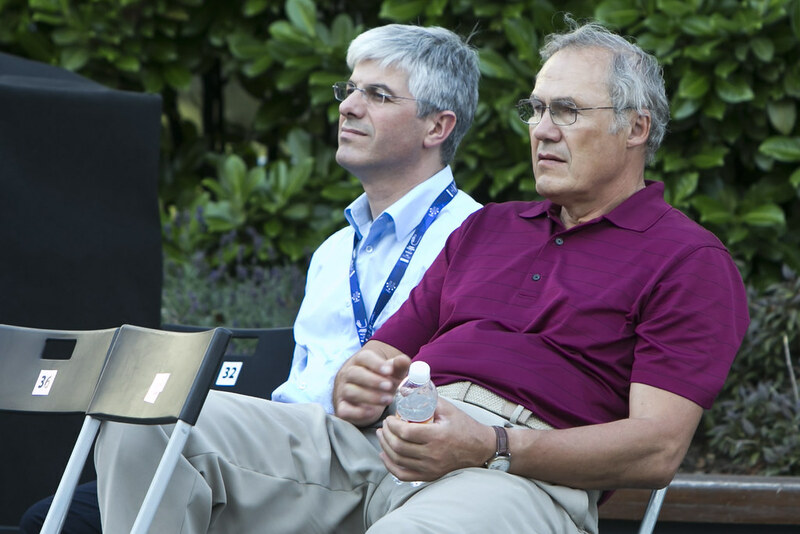 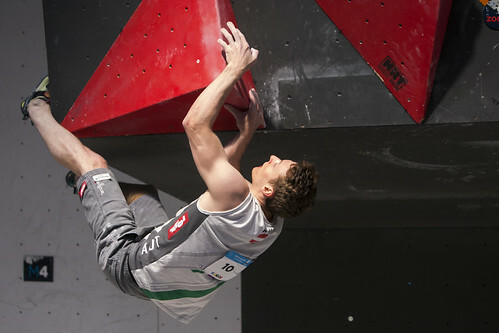 I have the next three World Cups in my schedule - Switzerland, France, Italy. 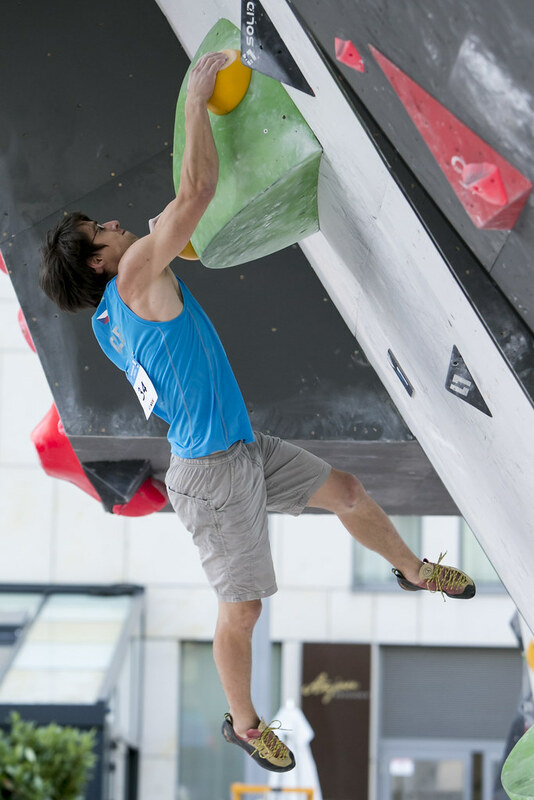 I hope my shape will be OK like here in Bratislava." 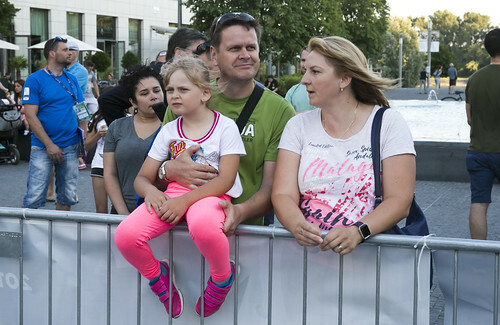 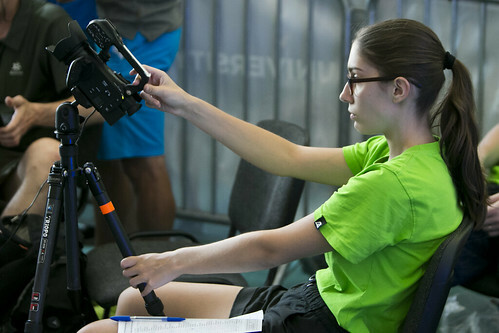 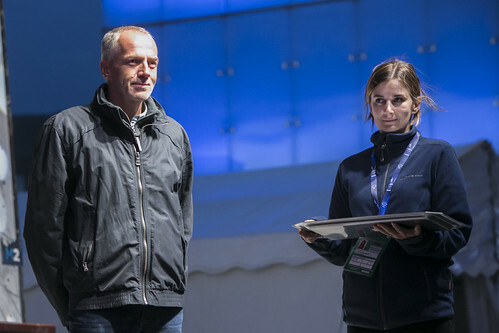 Speed season champion Anouck Jaubert (FRA) competed in Bratislava last week as well, taking the victory on the women's side after racing to under 8 seconds (7.99s) in the semi-final: “The competition was really tough for me as the wall was a bit different than those at the other competitions. I did not do well at the training but step by step, I learned it. I got used to it and I am very glad I managed to win. 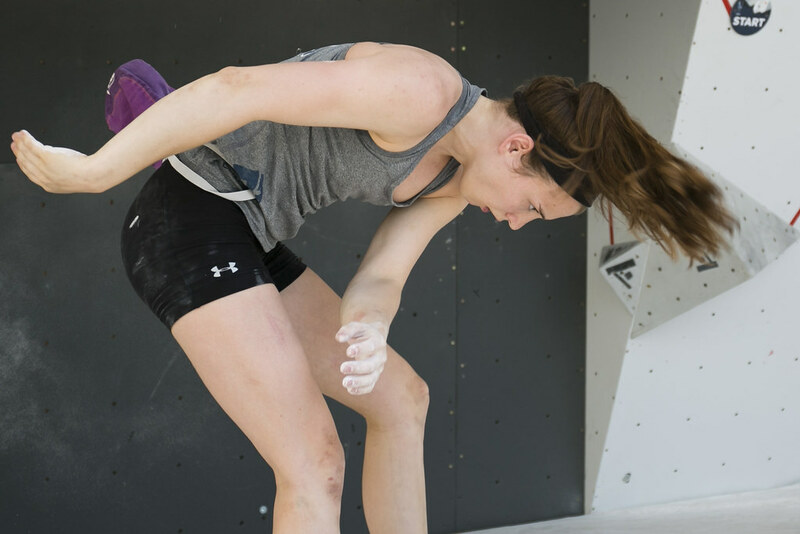 Speed is my main event and I started the others only this year." 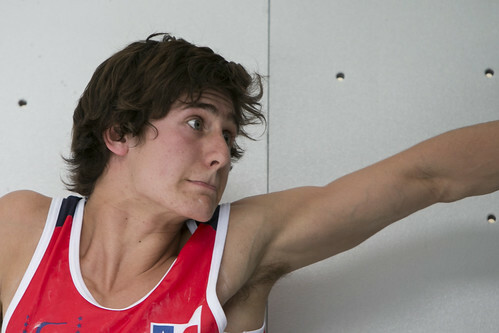 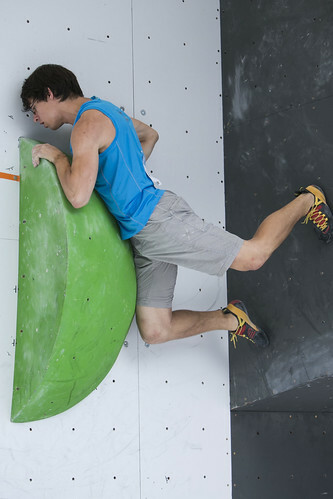 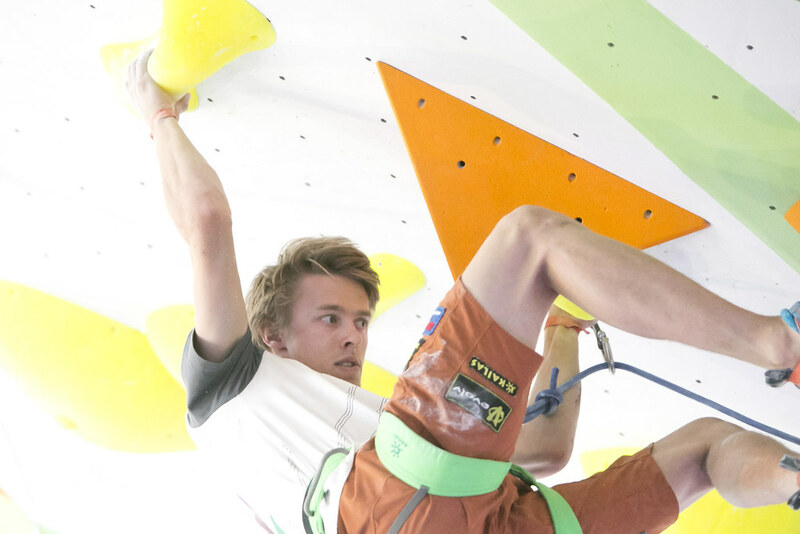 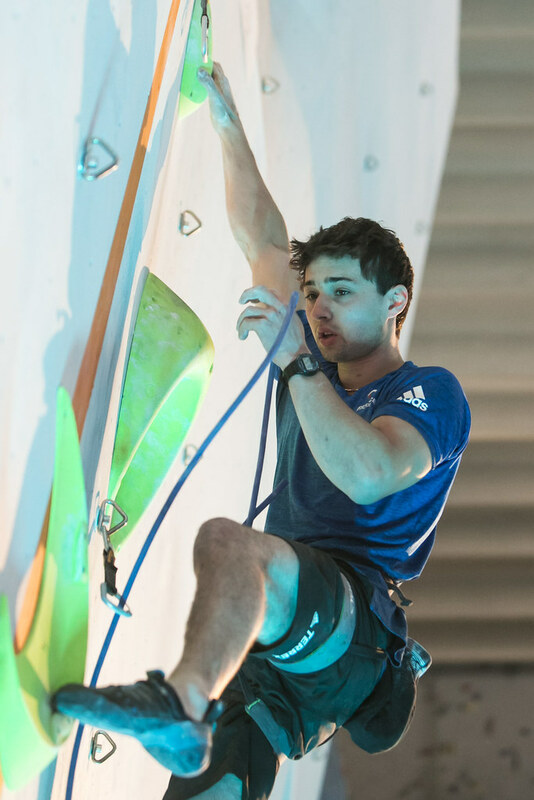 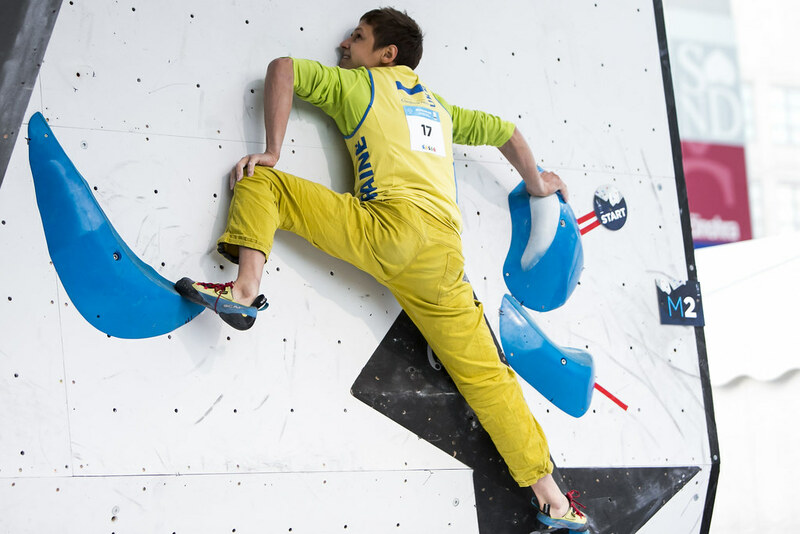 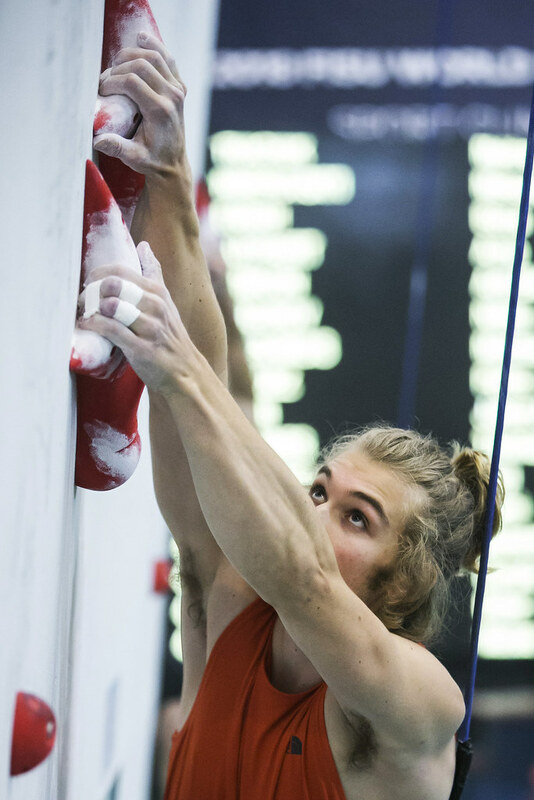 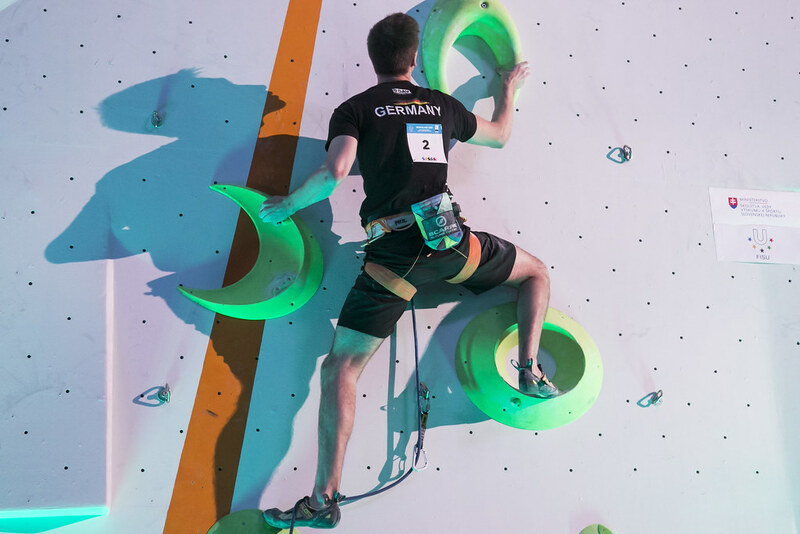 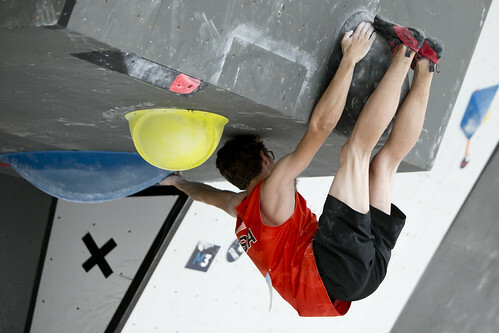 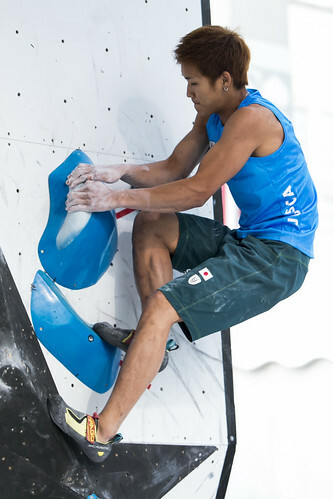 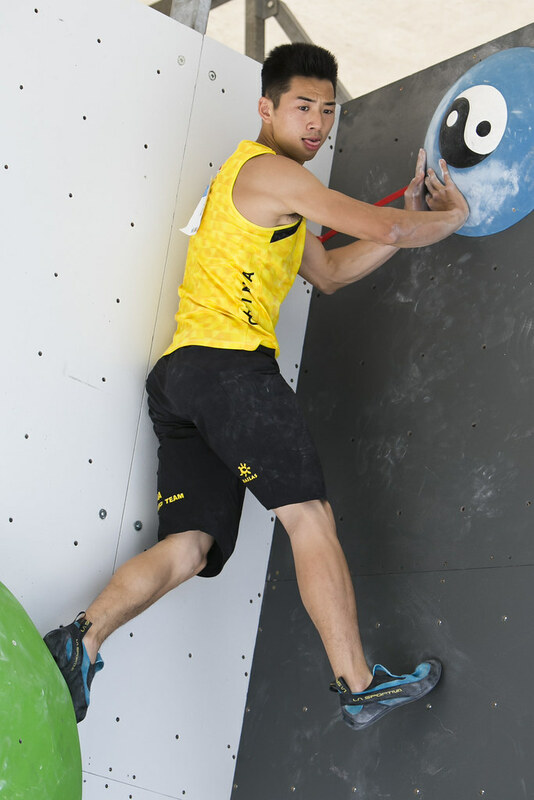 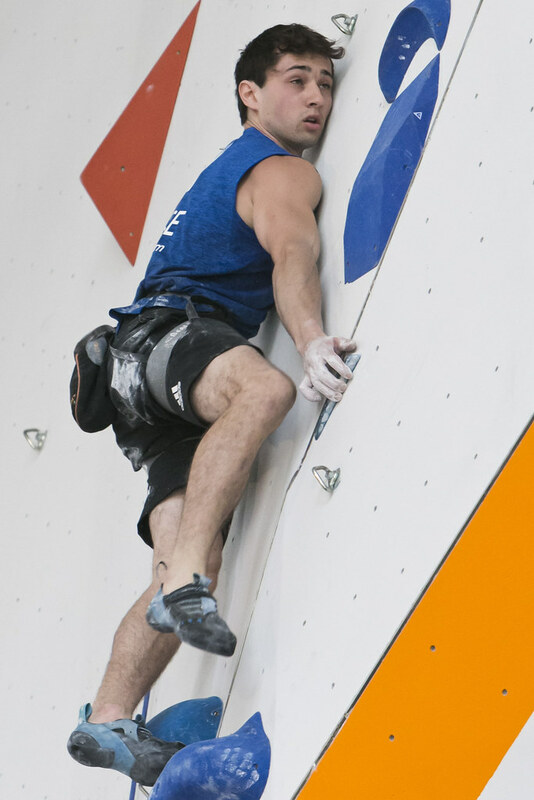 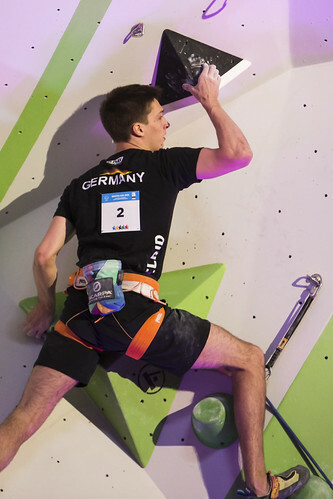 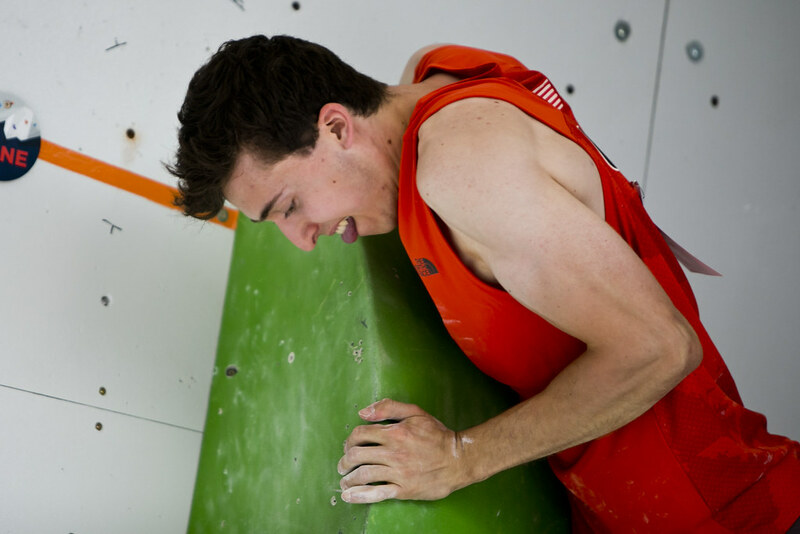 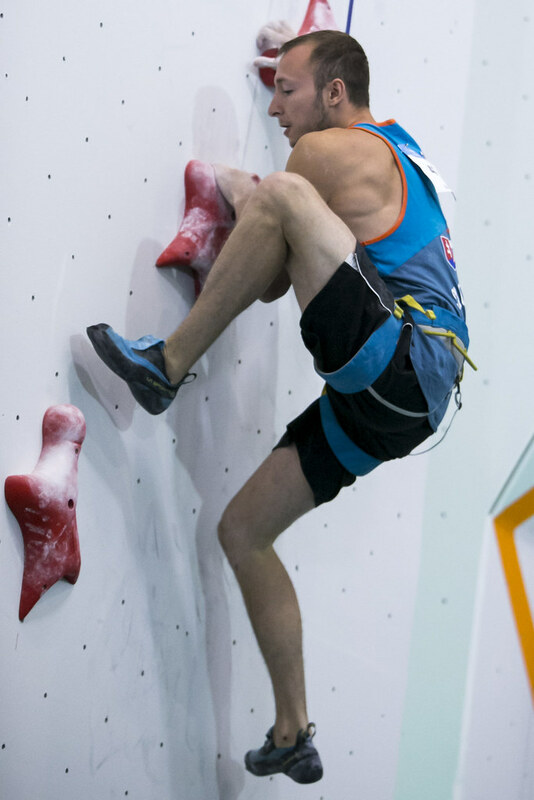 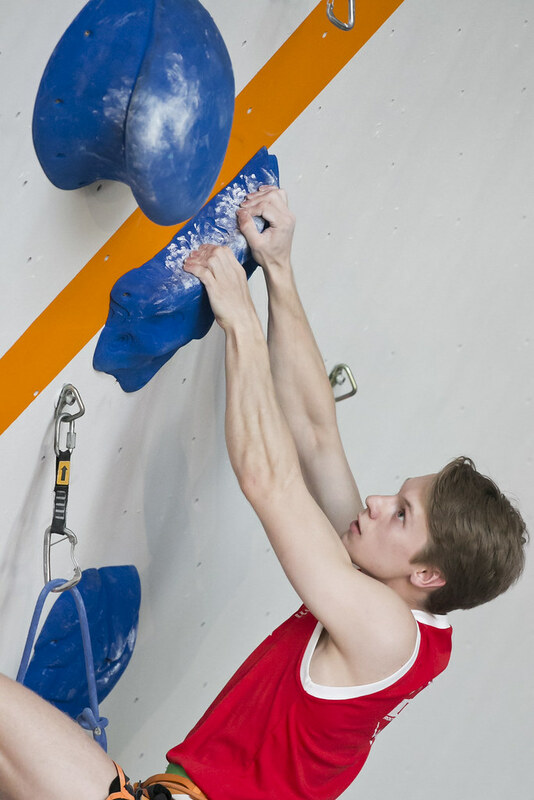 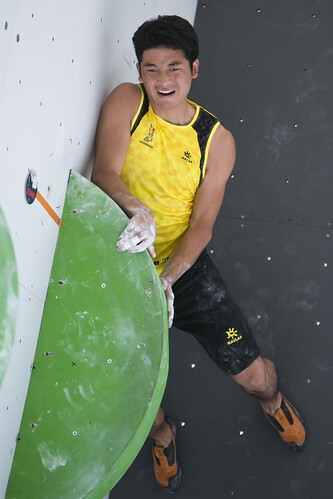 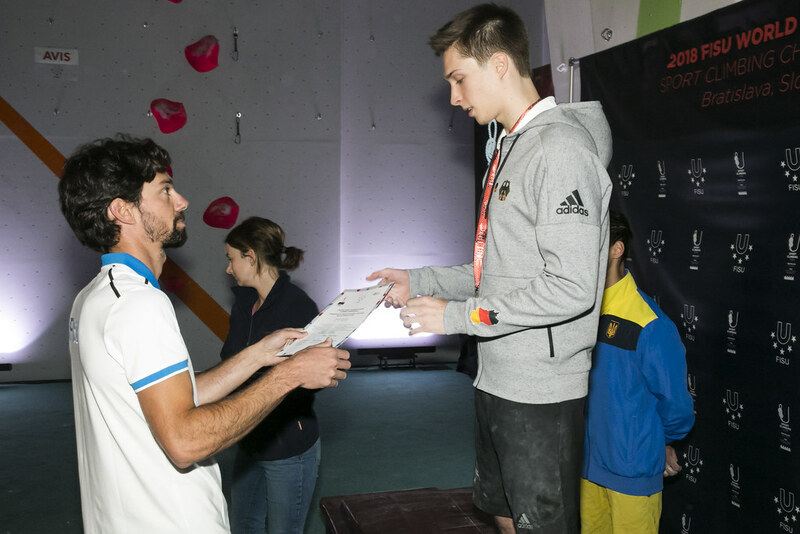 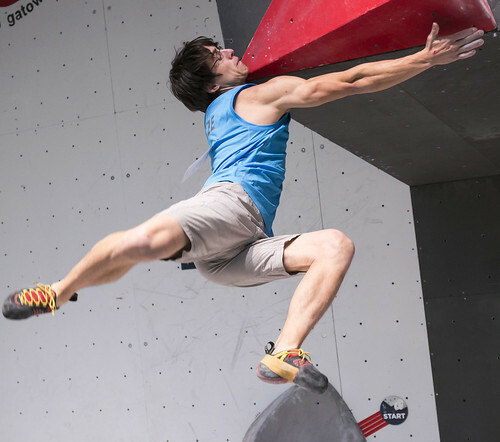 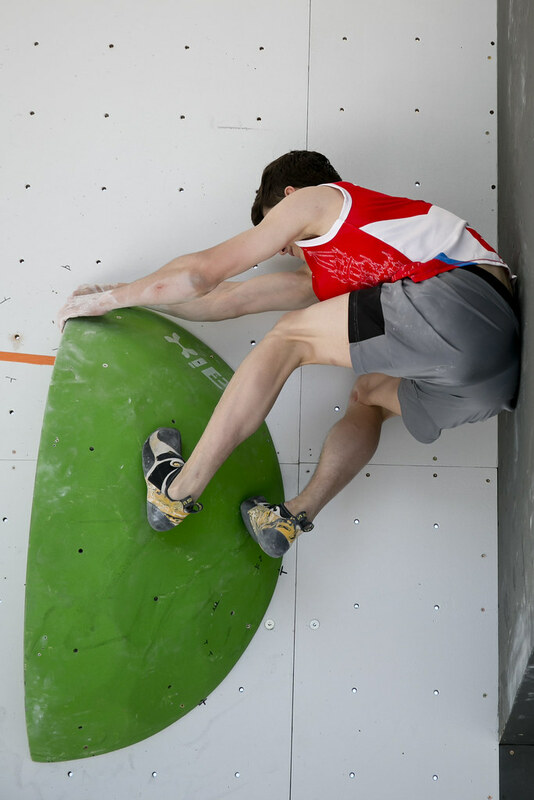 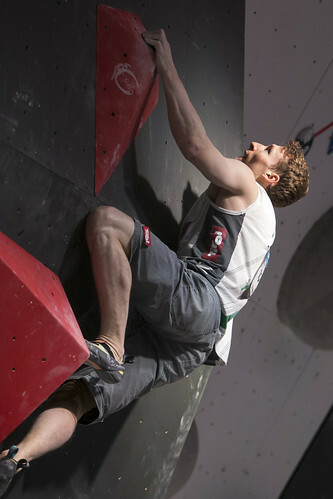 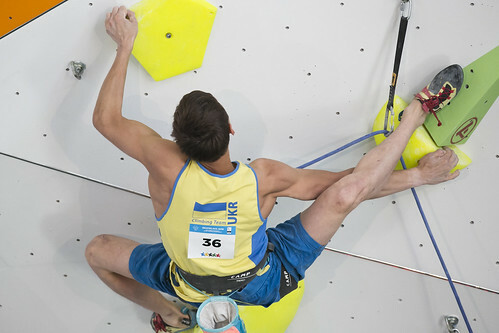 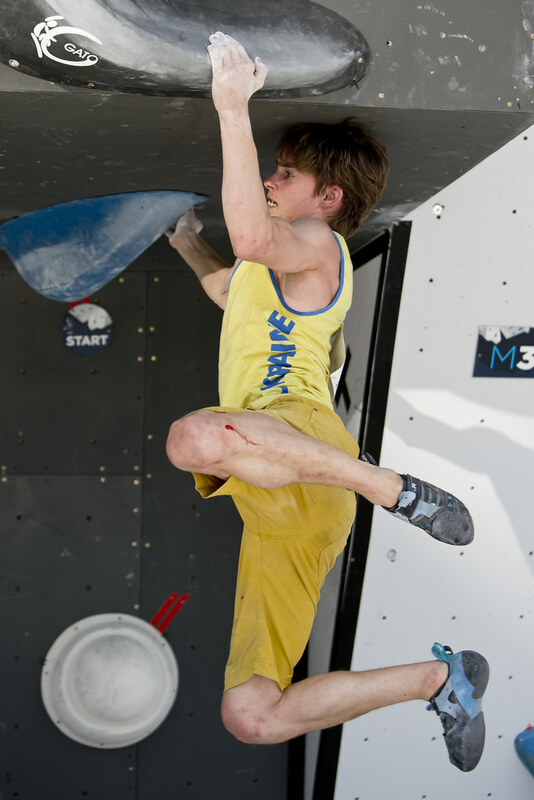 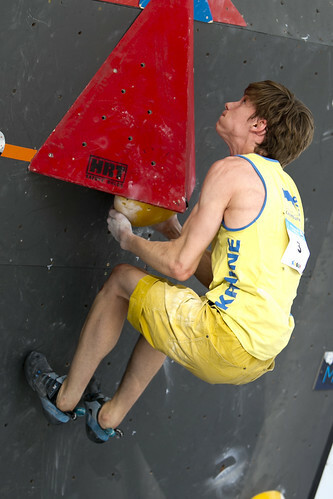 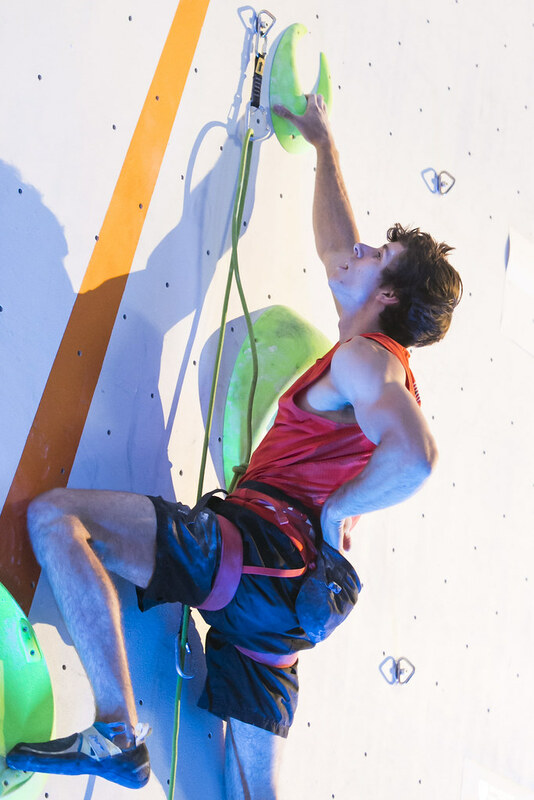 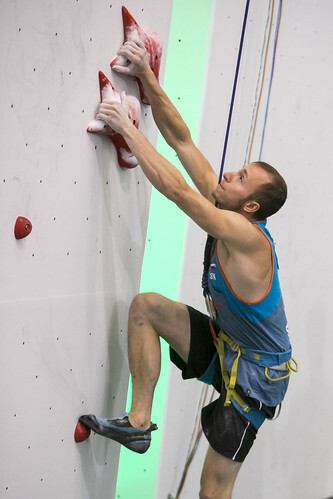 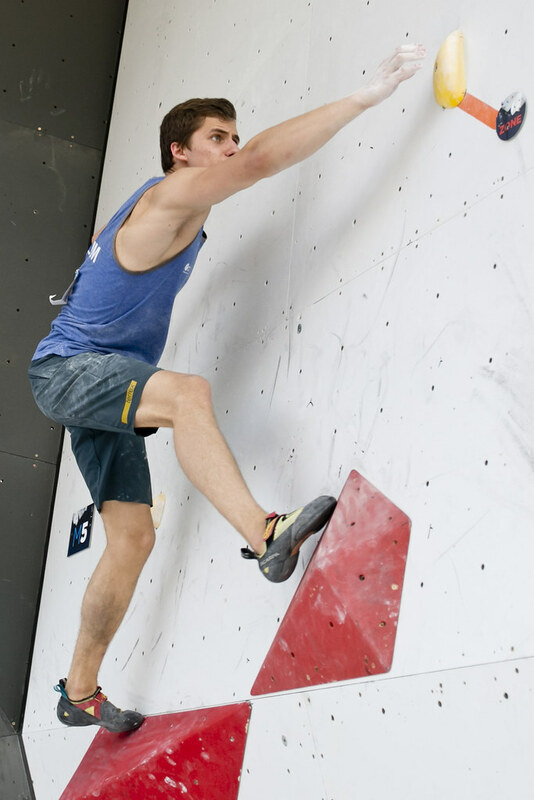 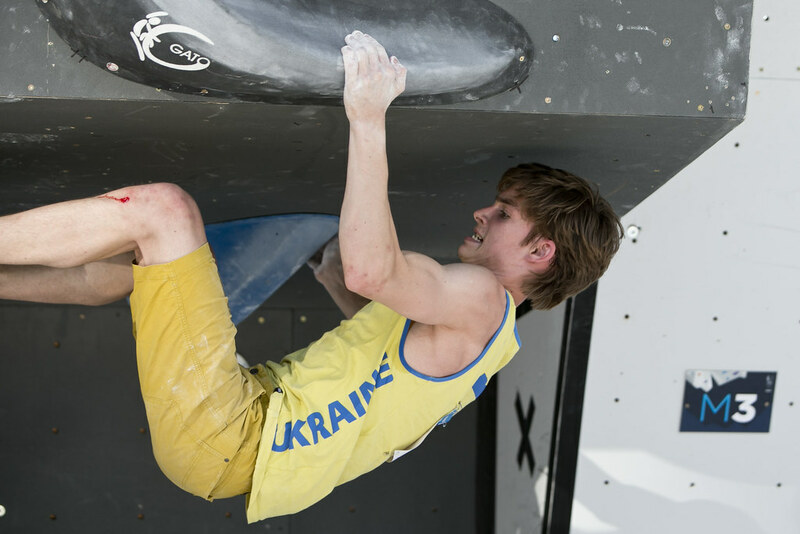 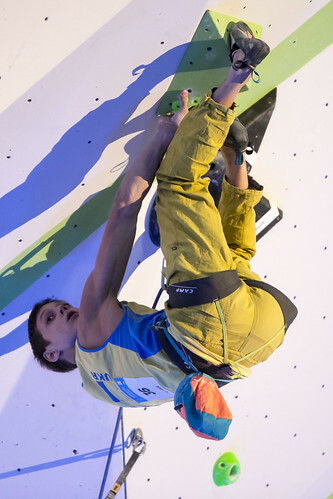 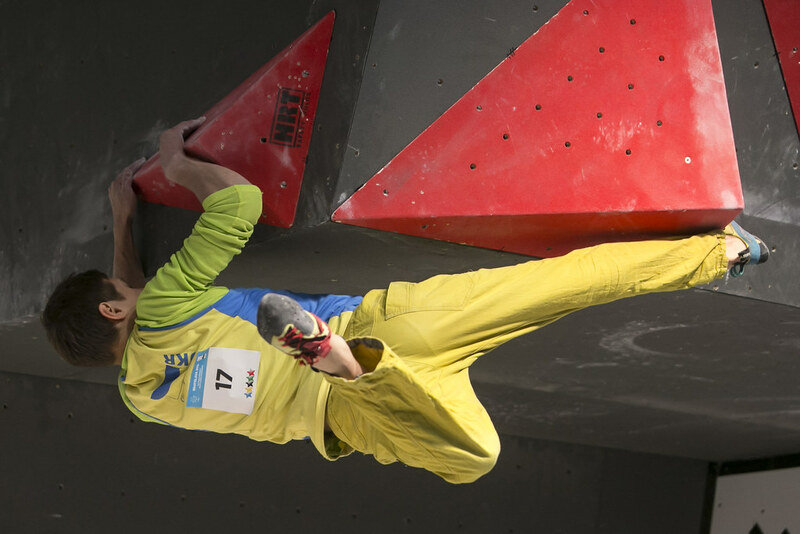 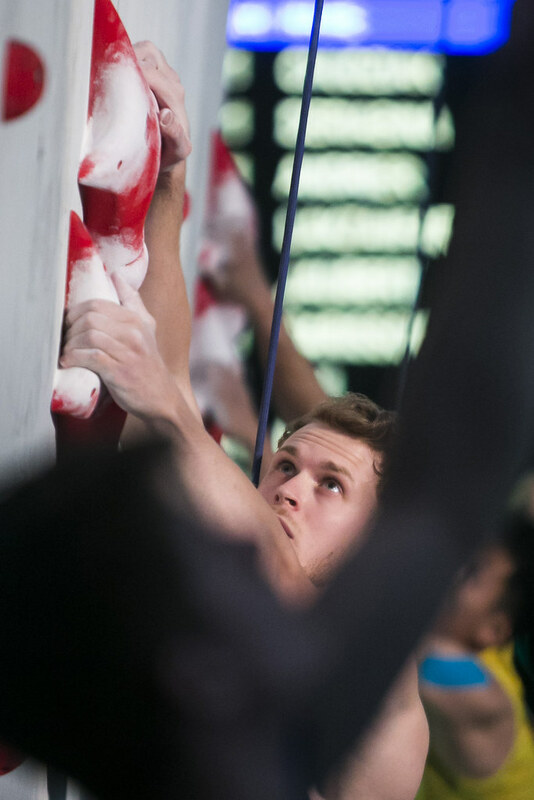 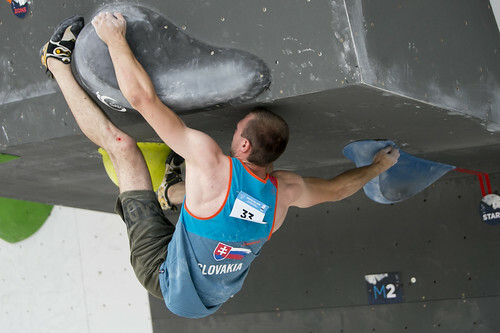 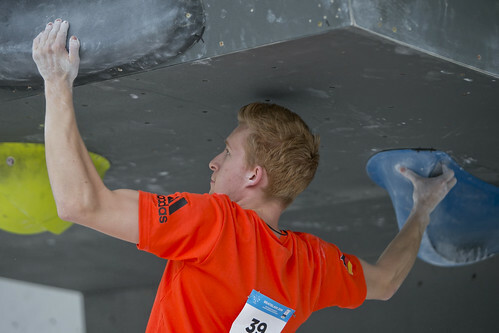 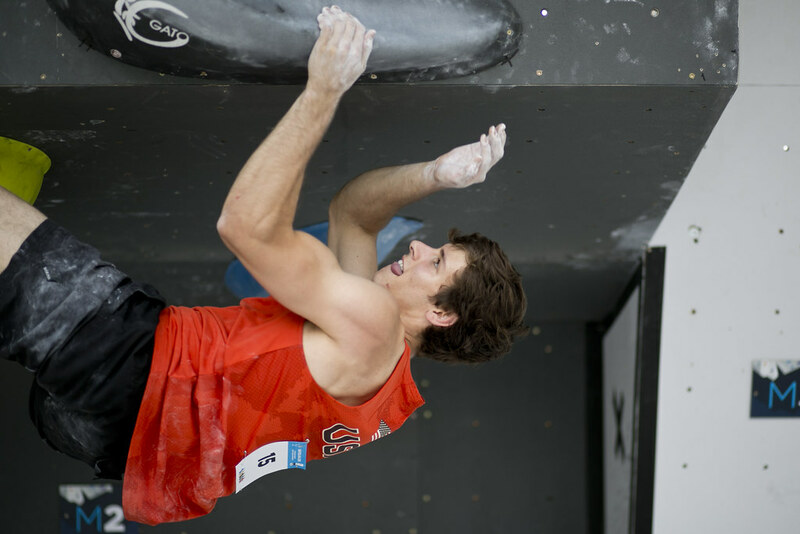 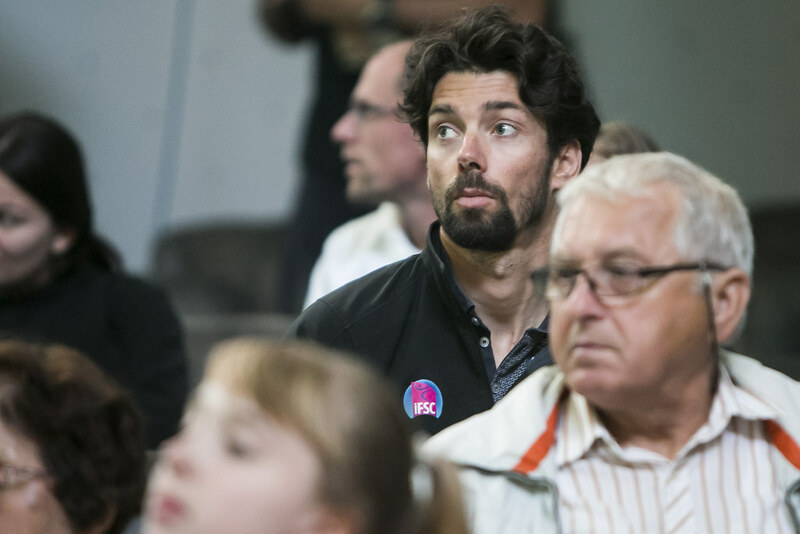 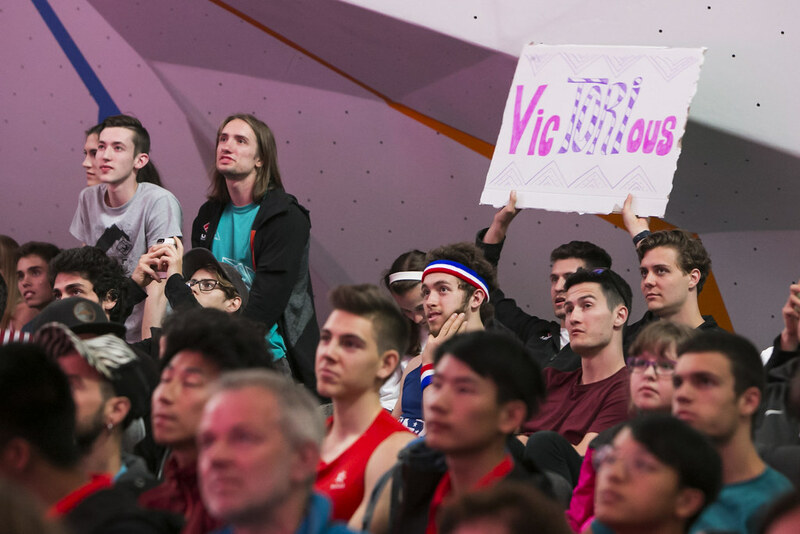 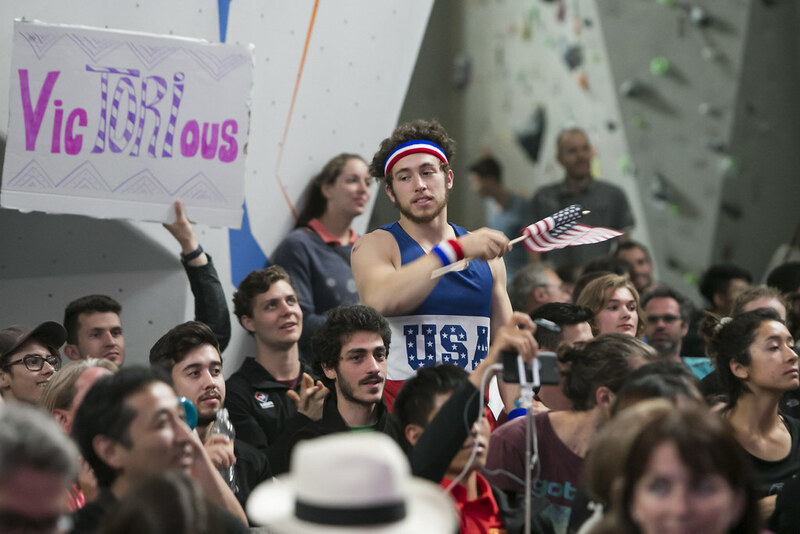 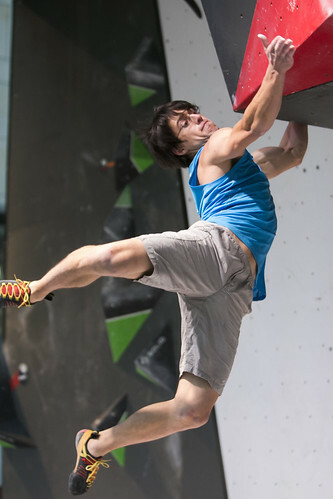 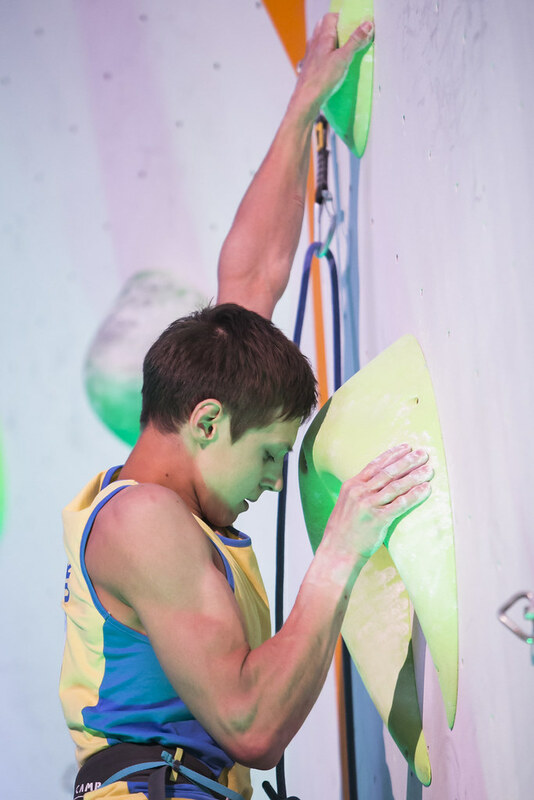 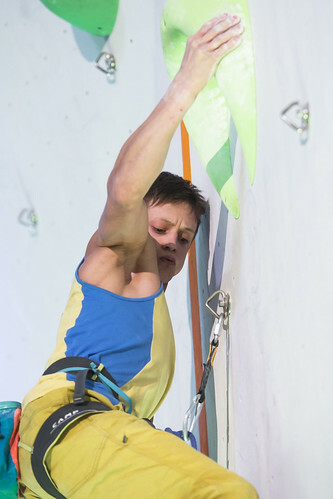 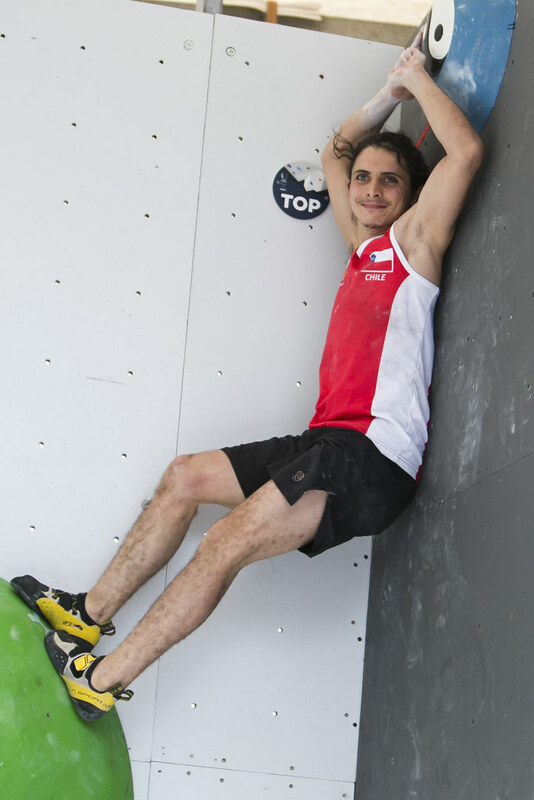 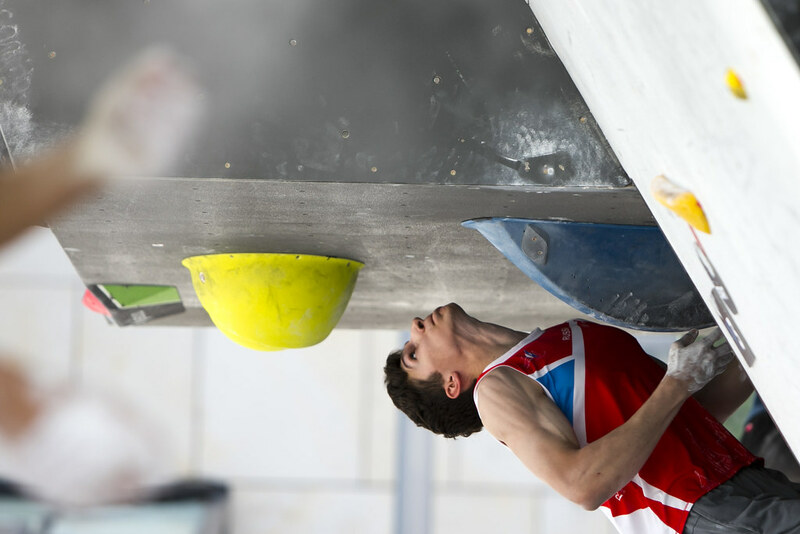 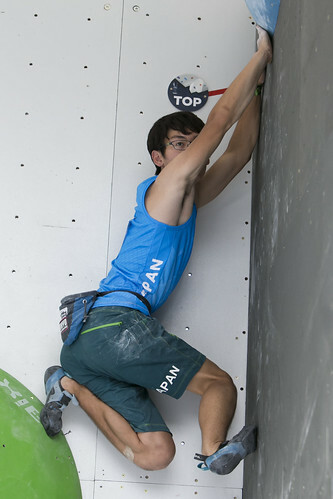 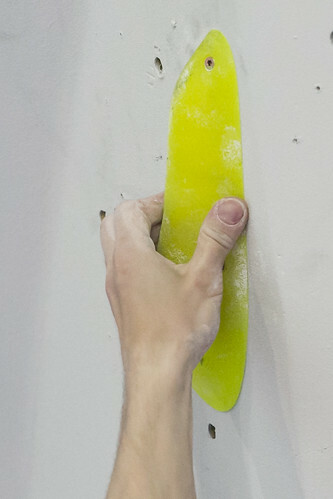 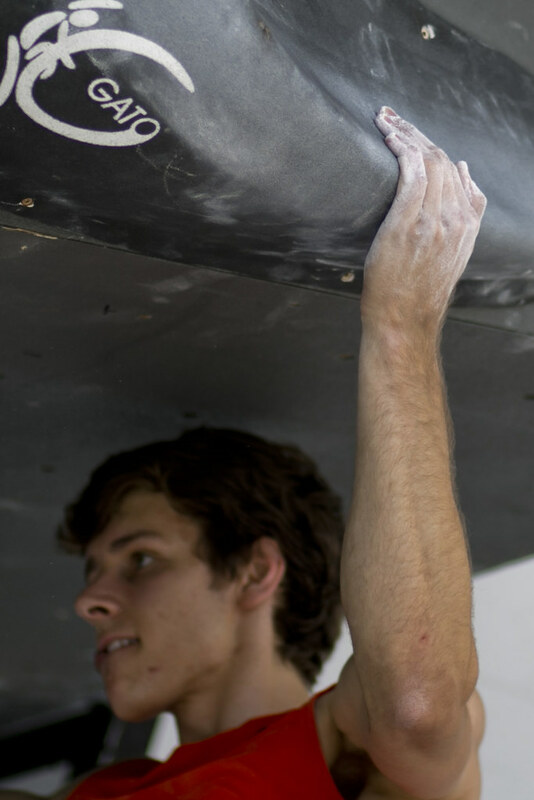 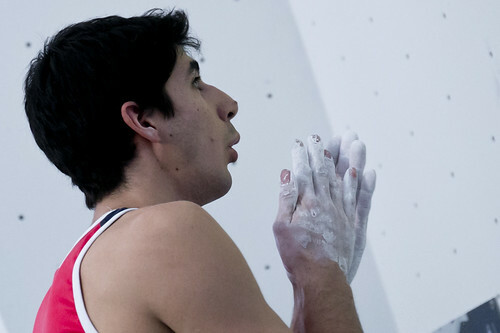 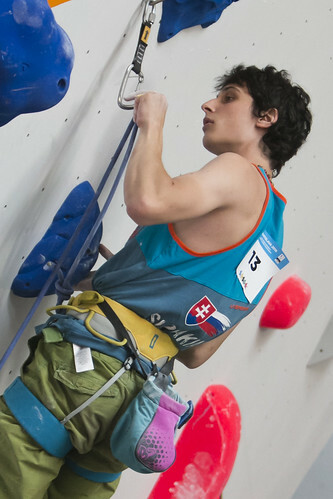 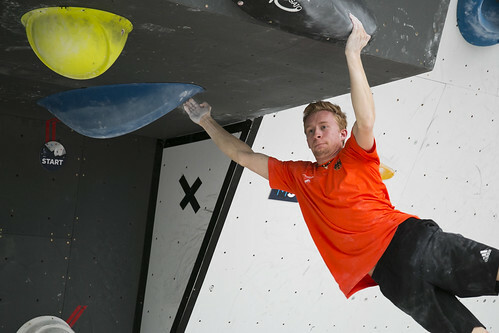 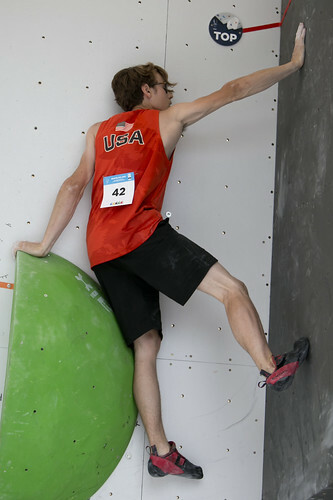 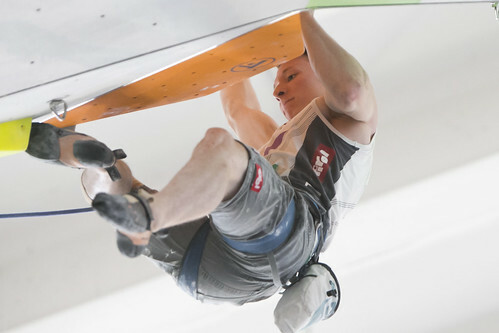 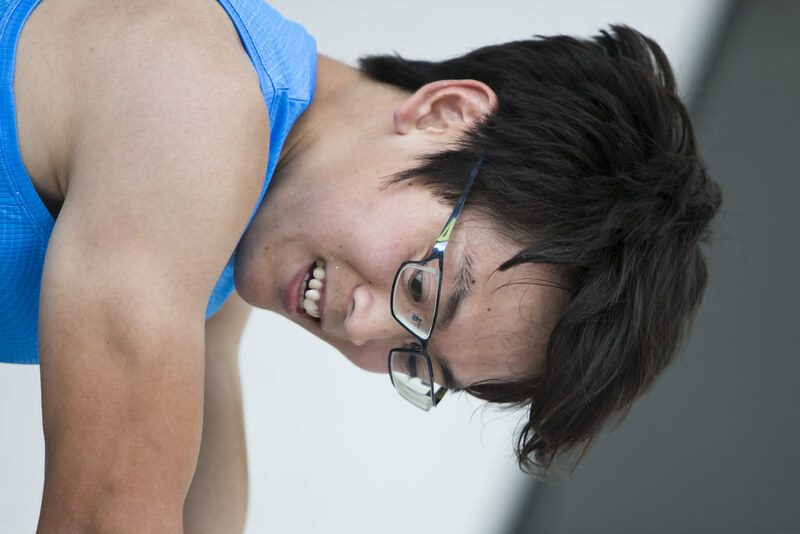 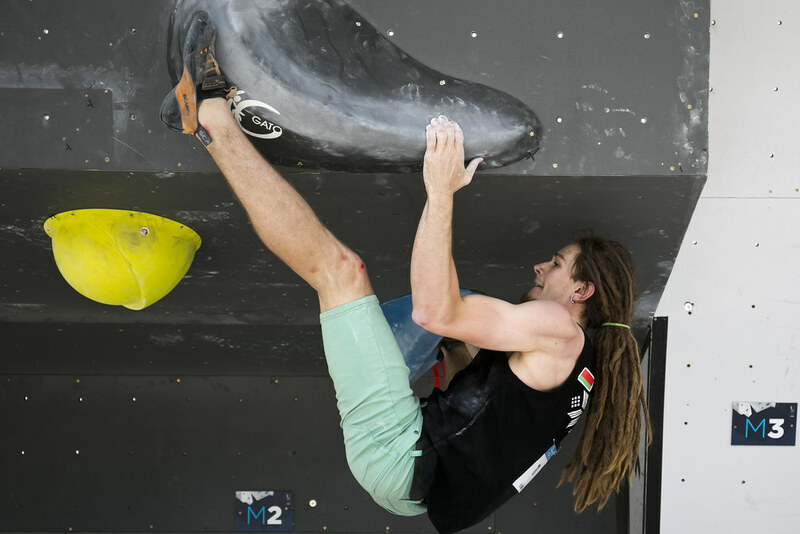 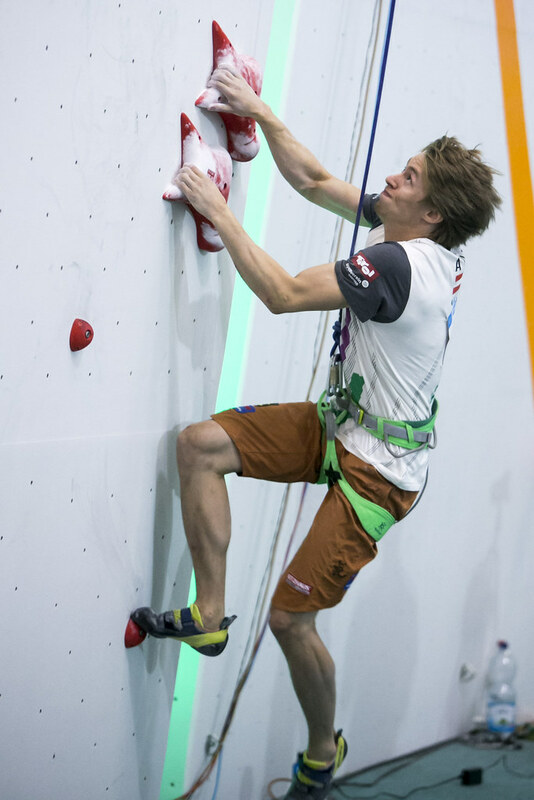 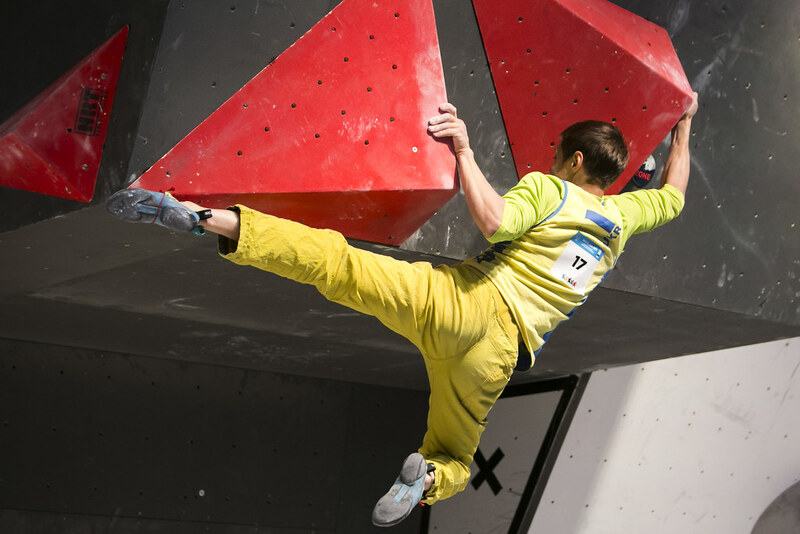 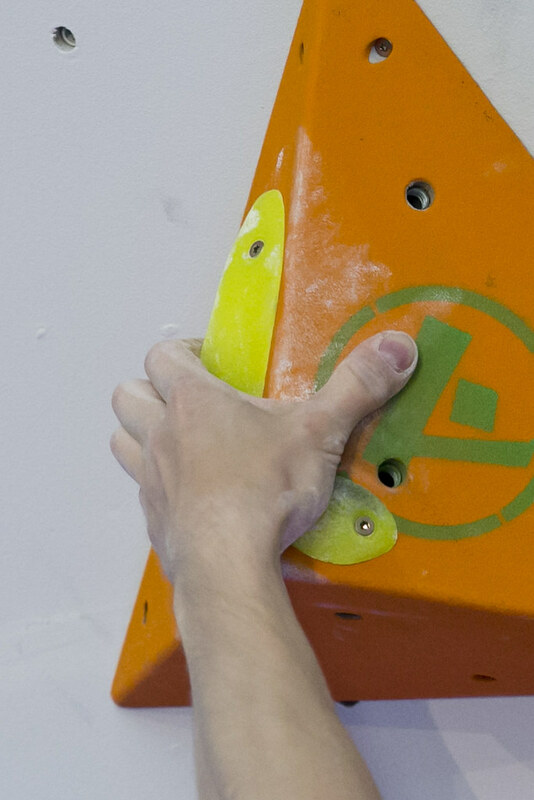 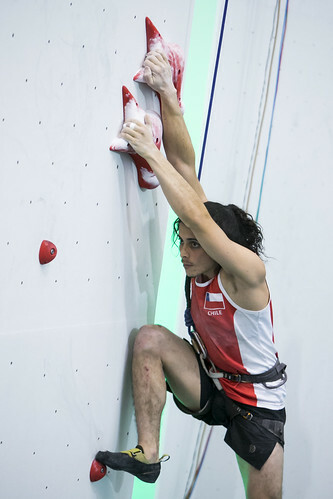 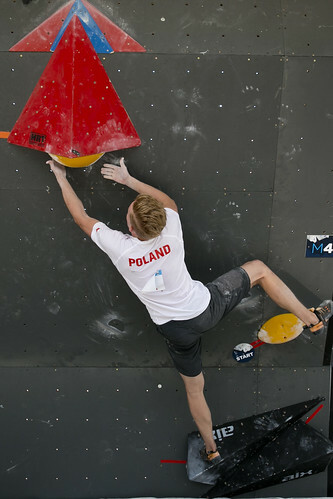 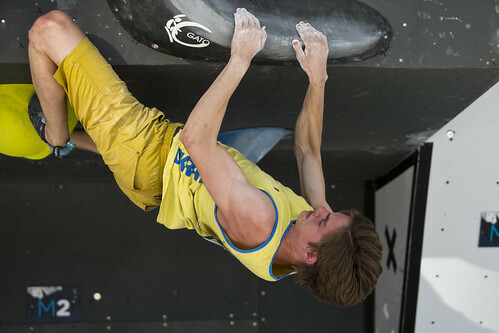 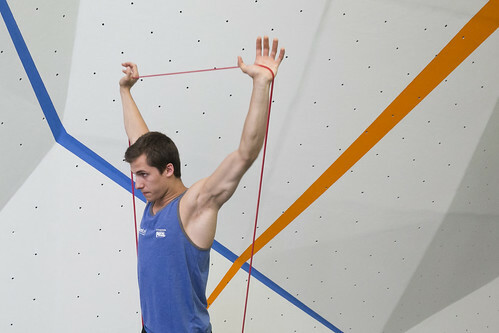 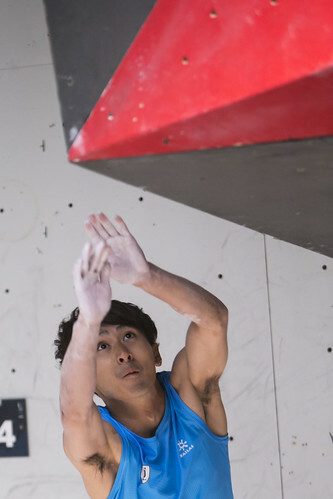 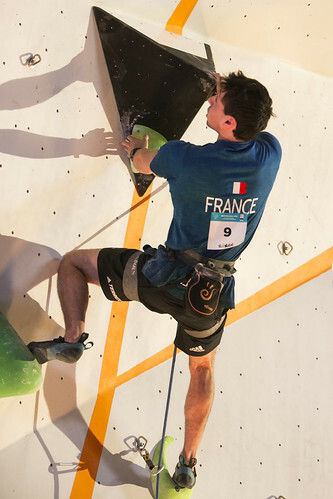 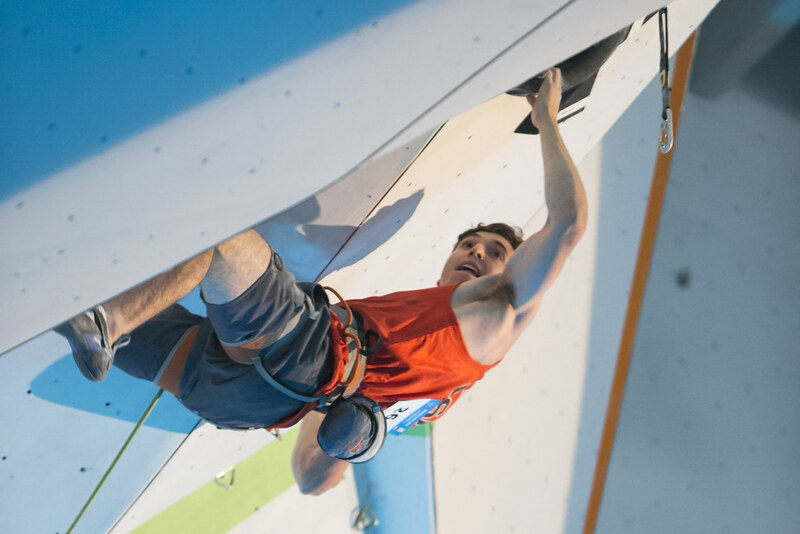 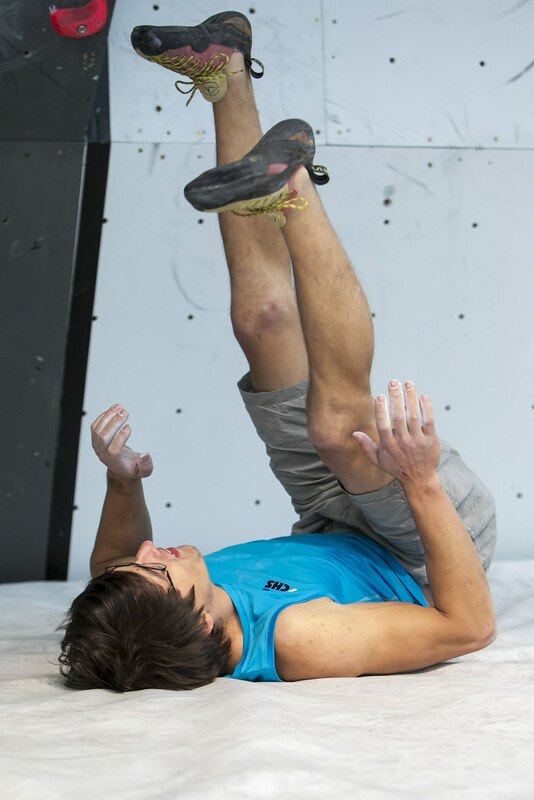 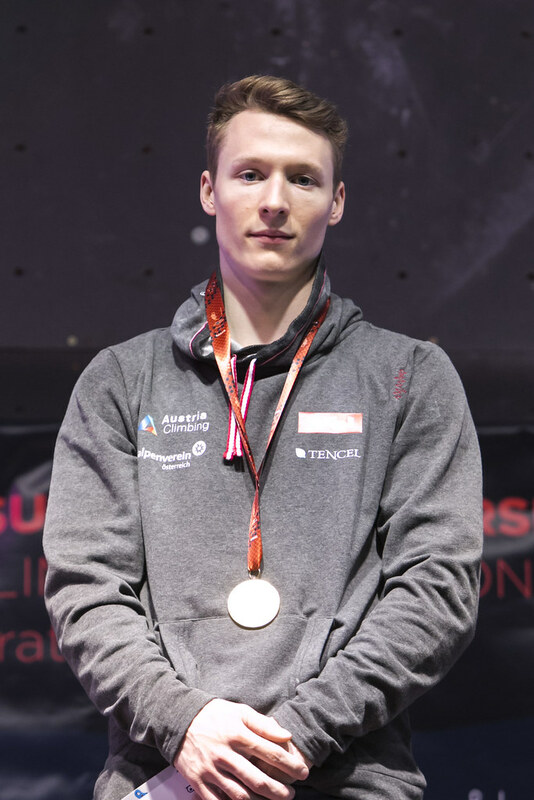 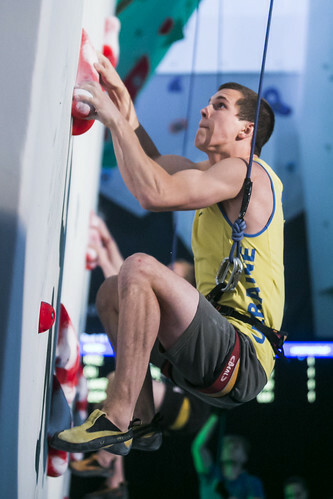 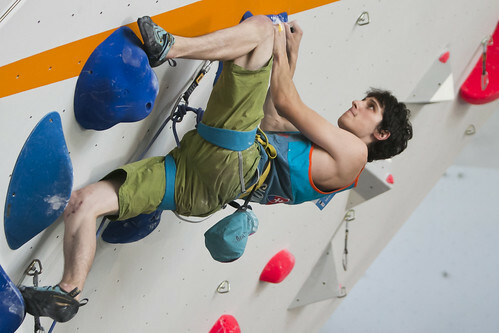 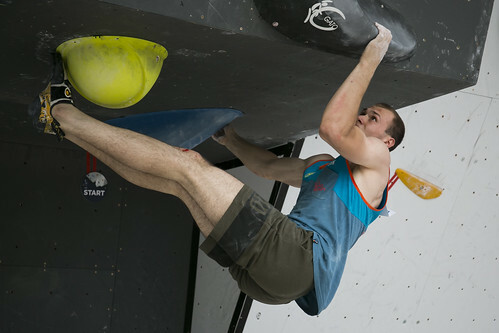 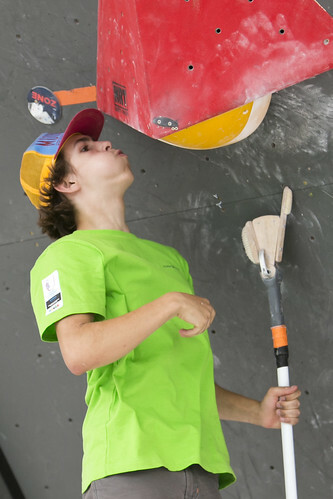 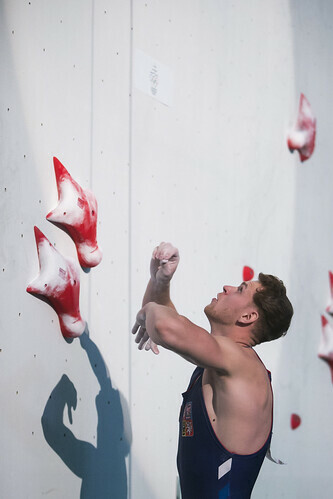 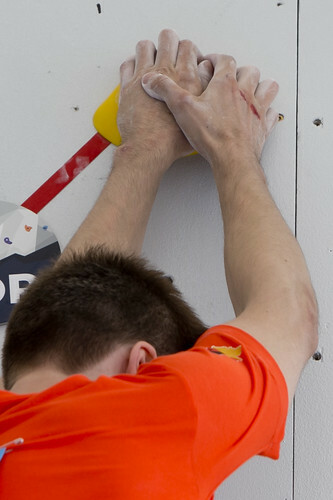 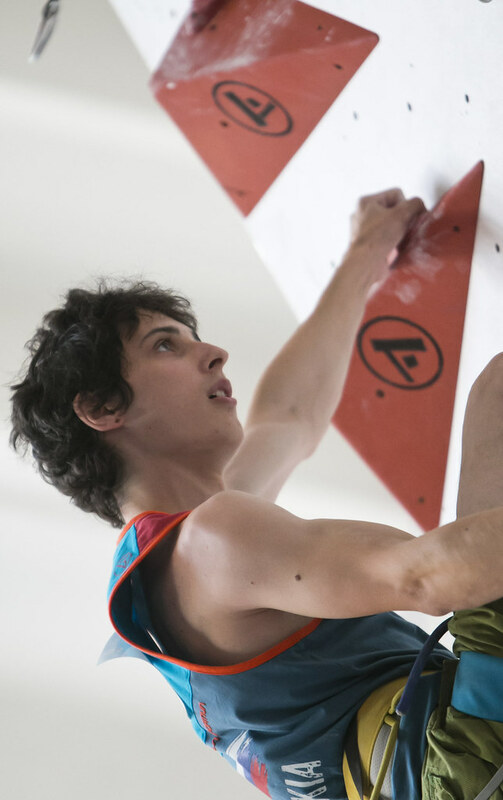 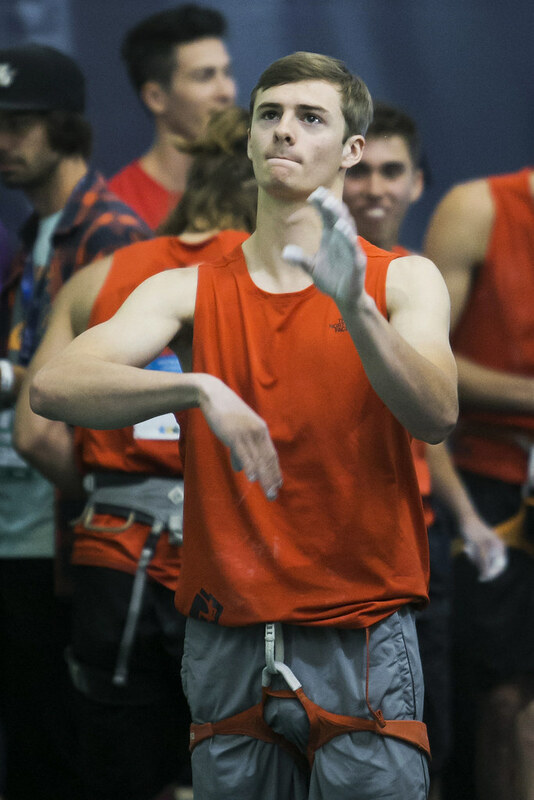 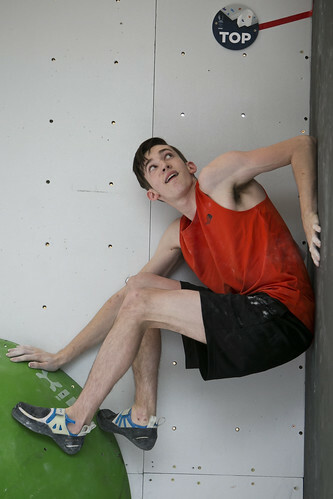 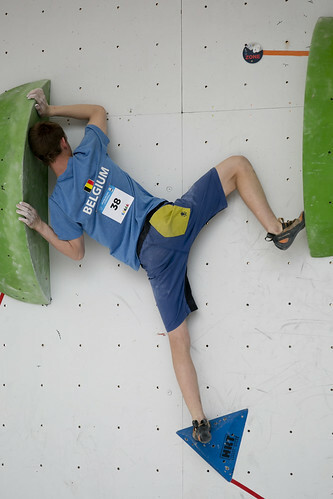 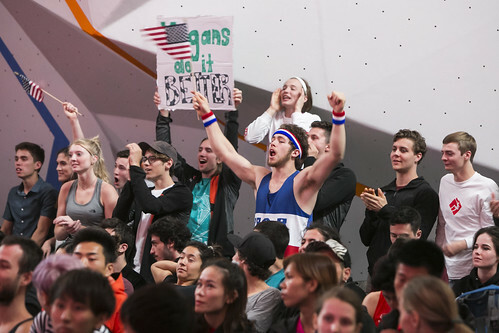 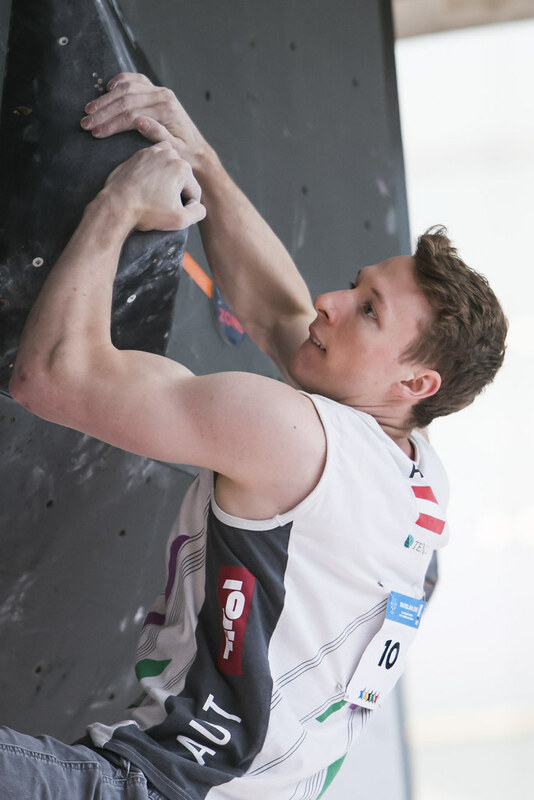 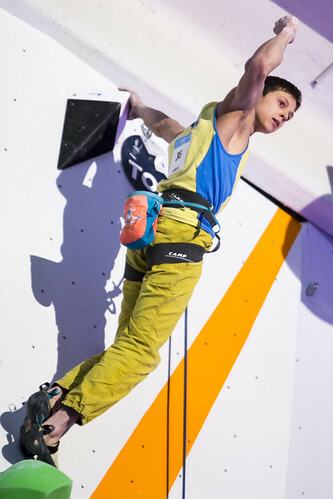 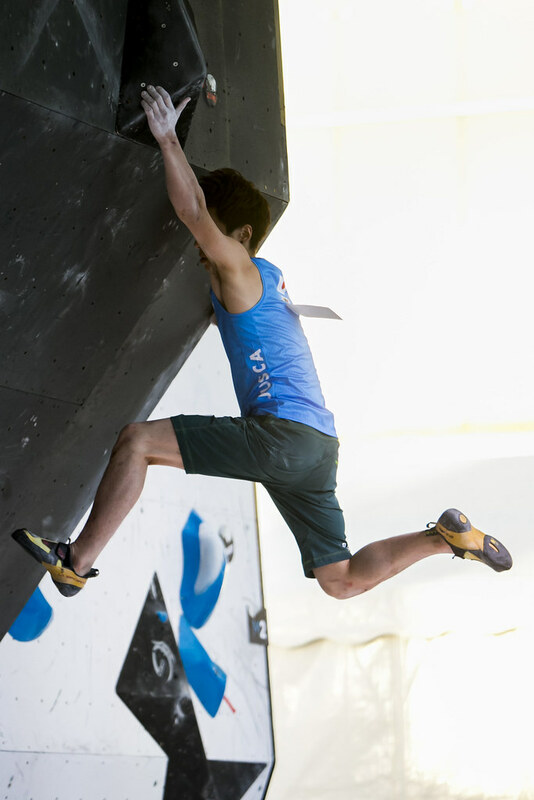 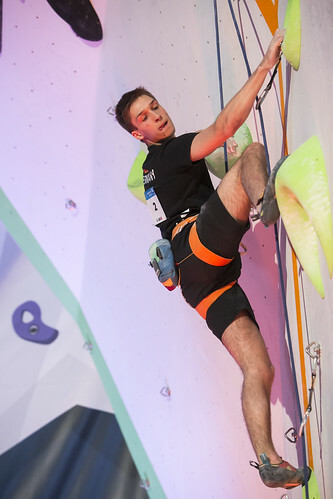 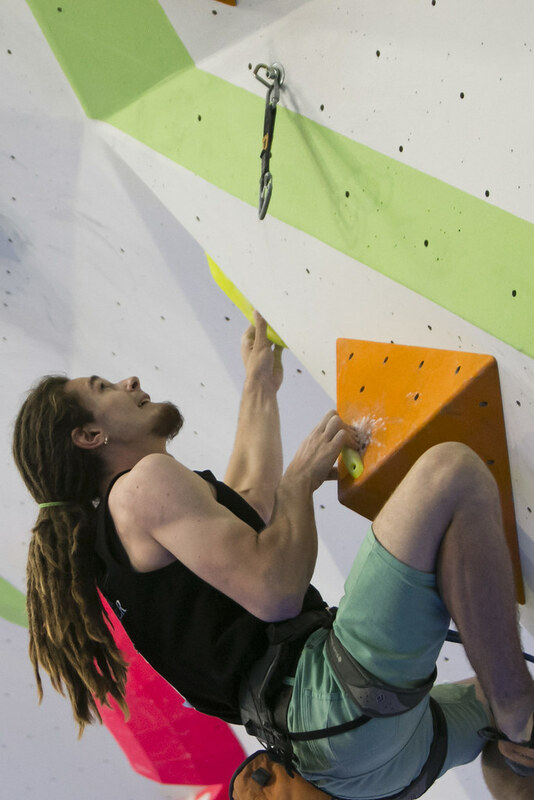 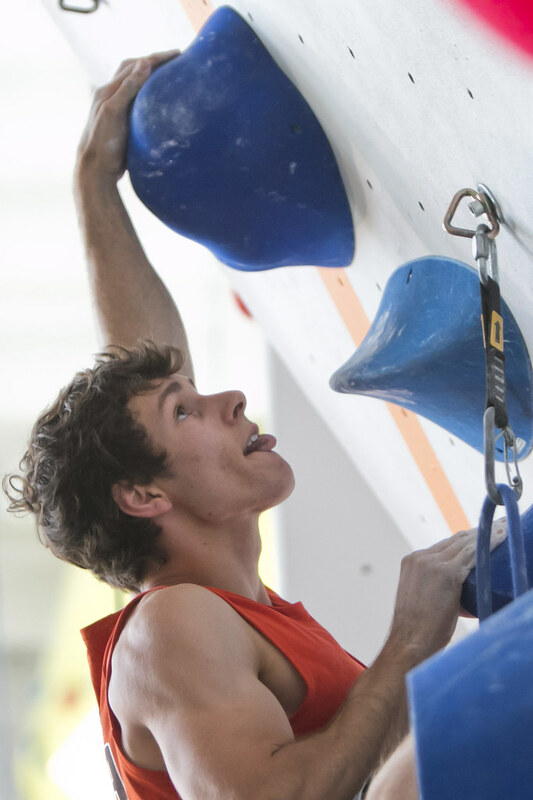 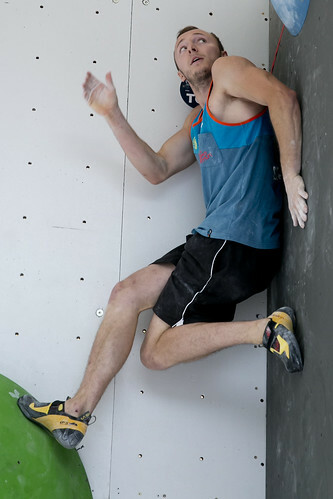 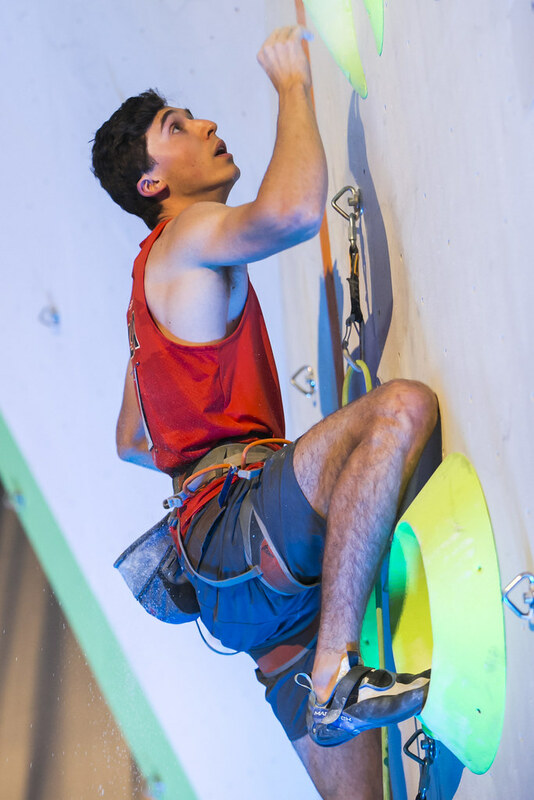 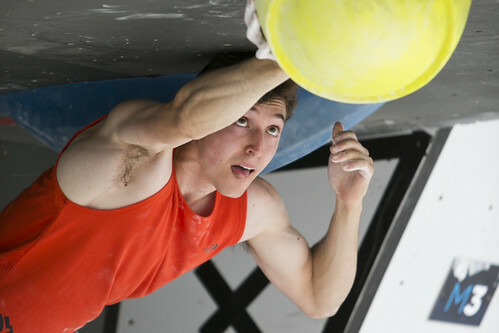 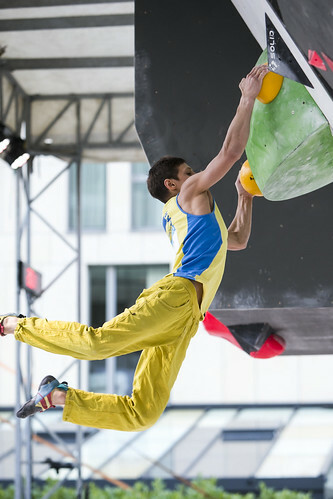 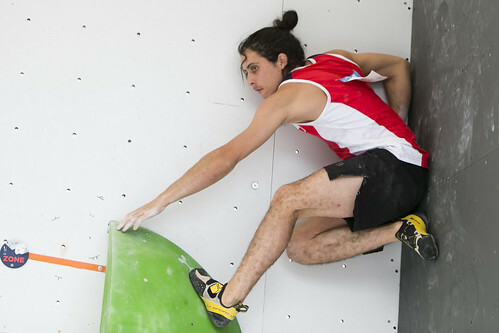 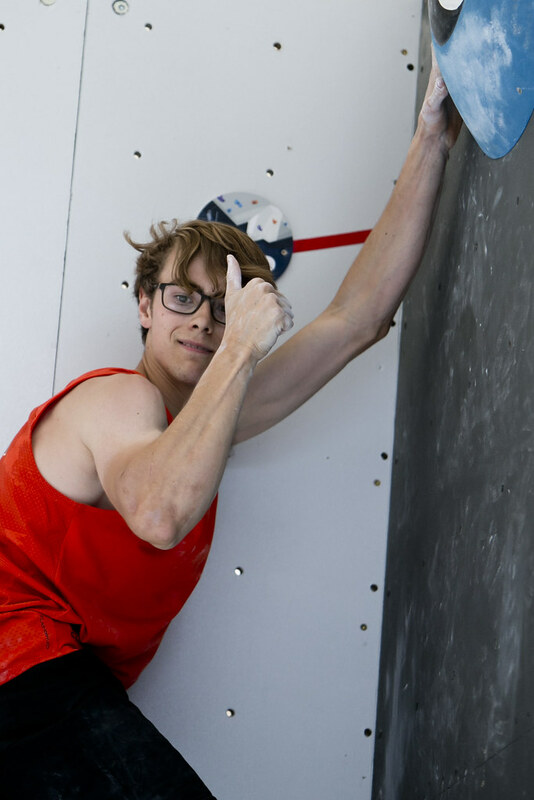 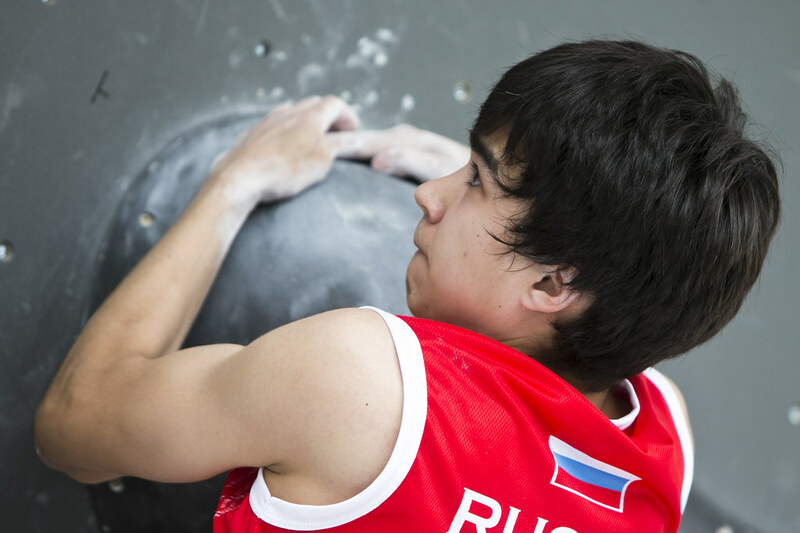 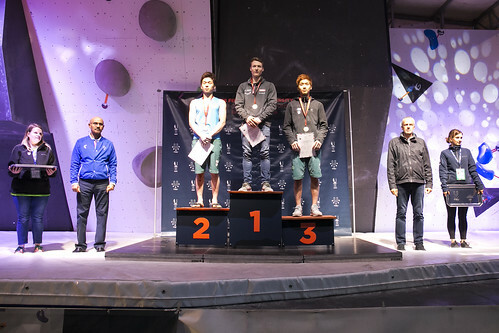 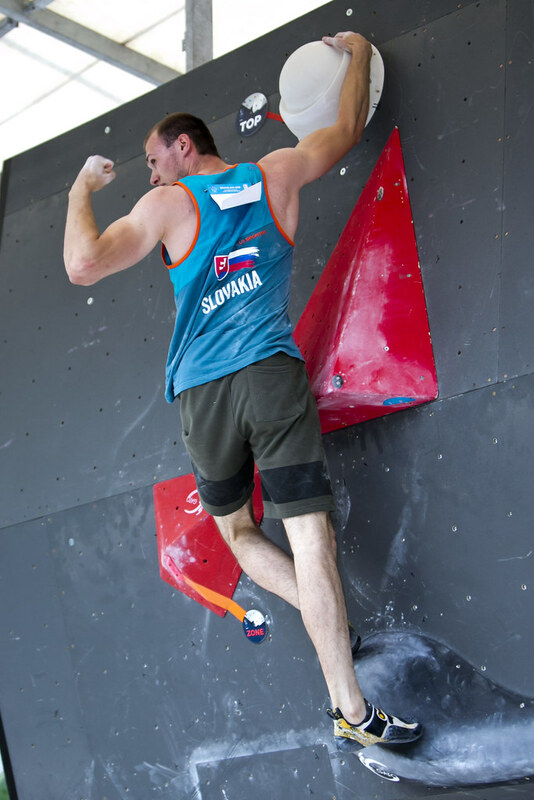 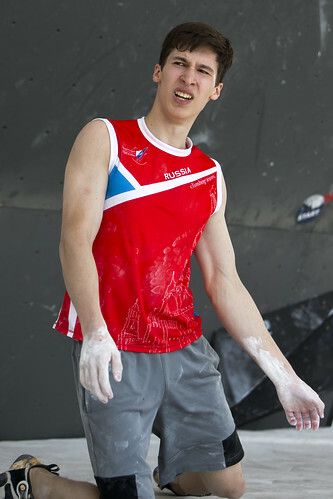 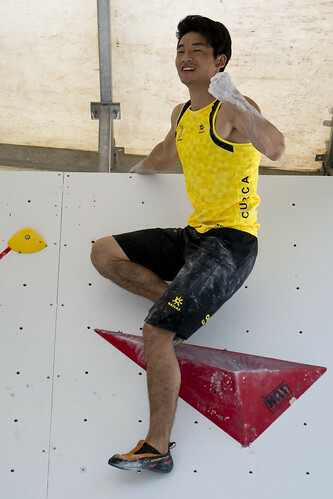 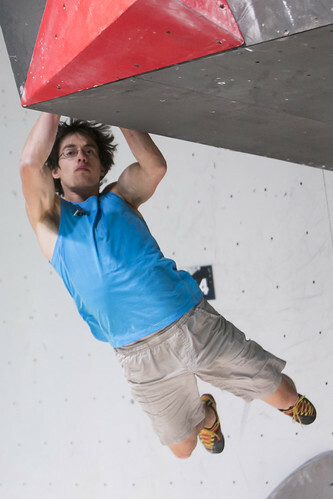 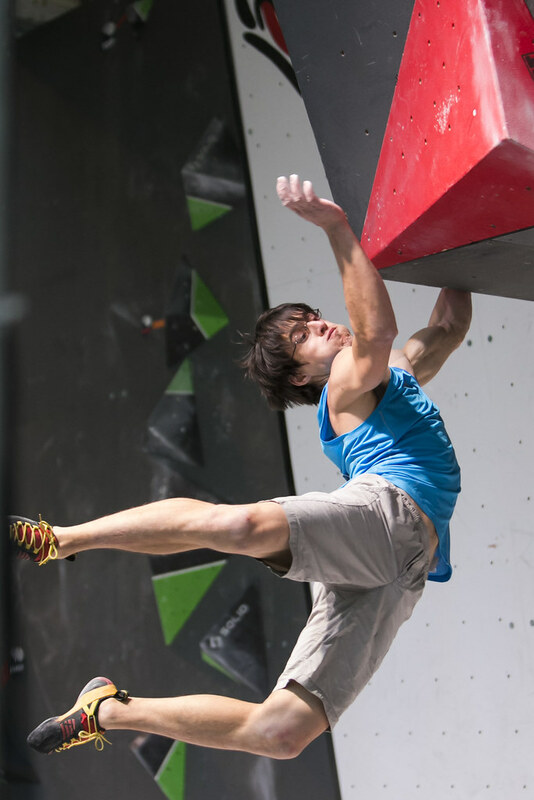 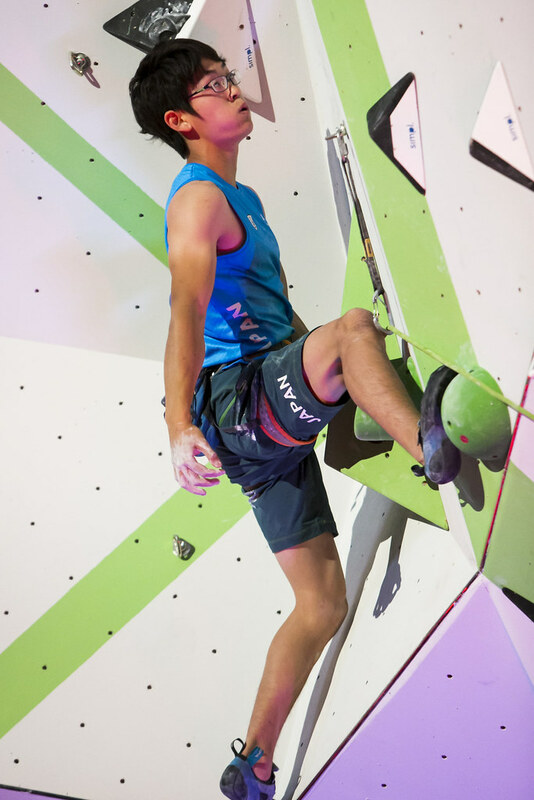 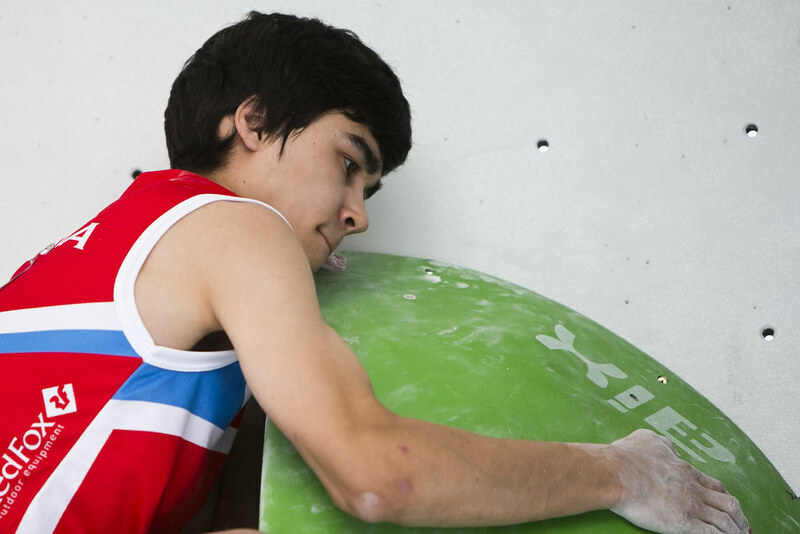 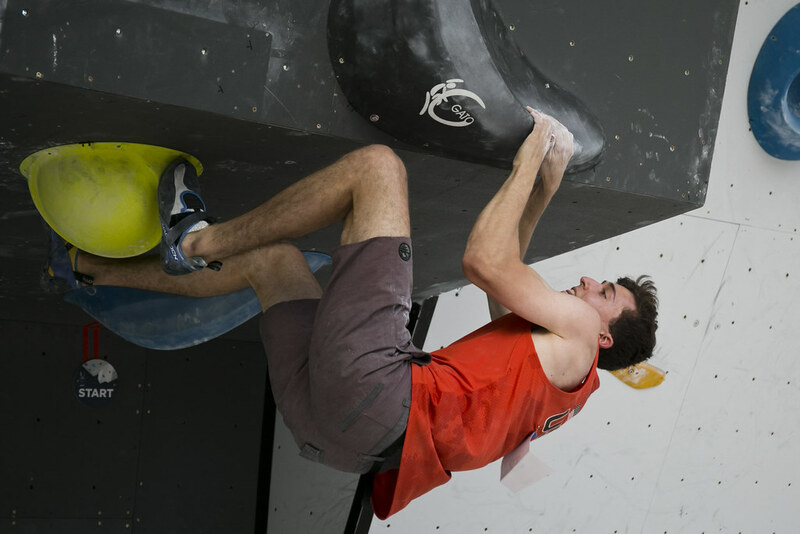 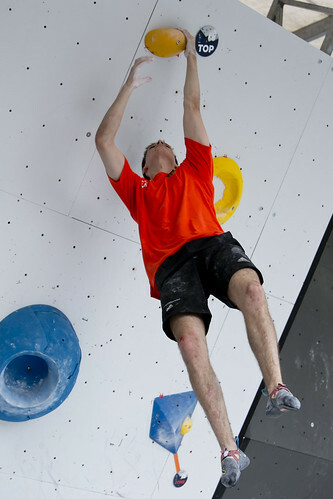 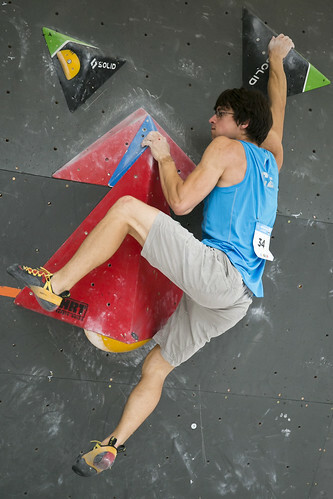 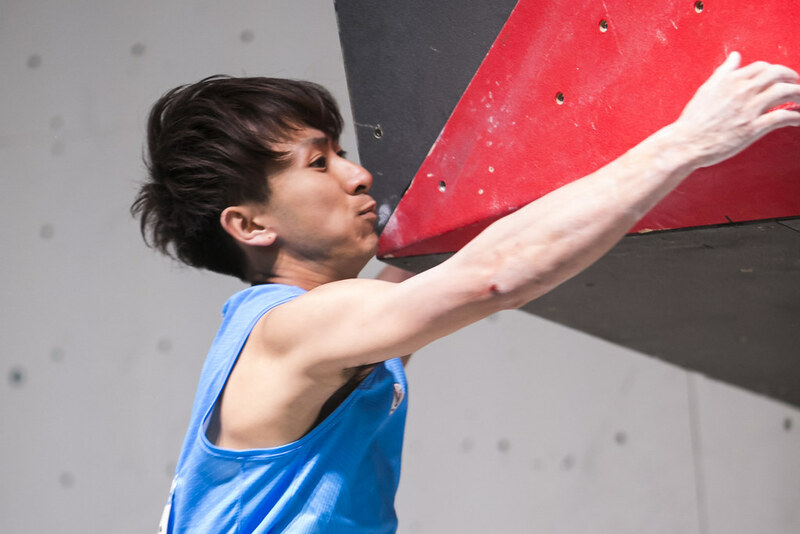 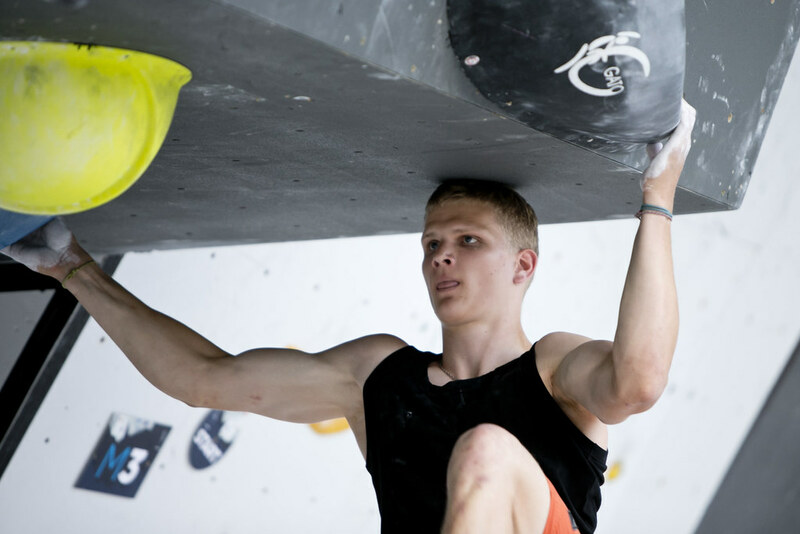 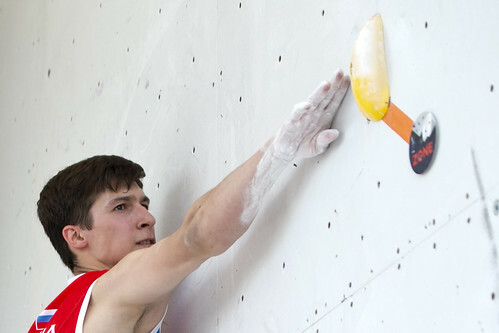 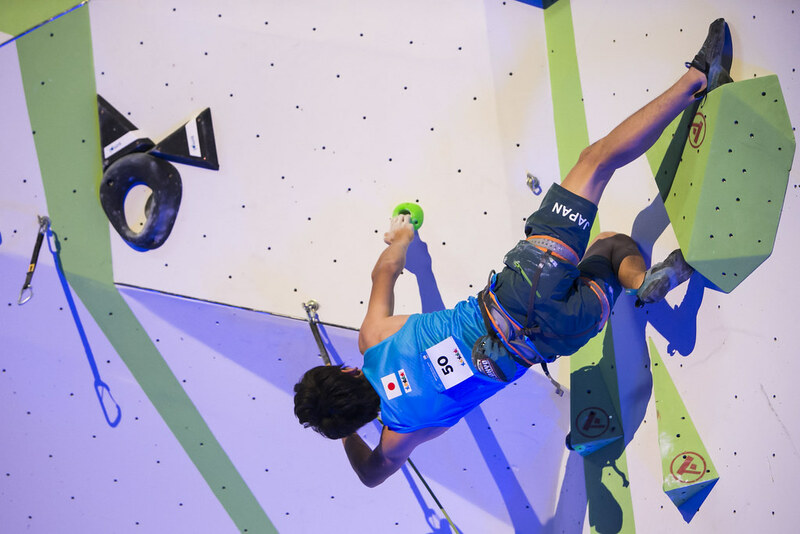 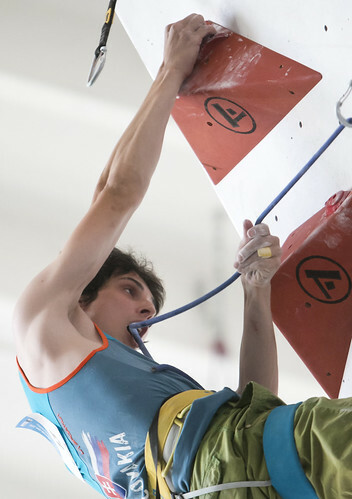 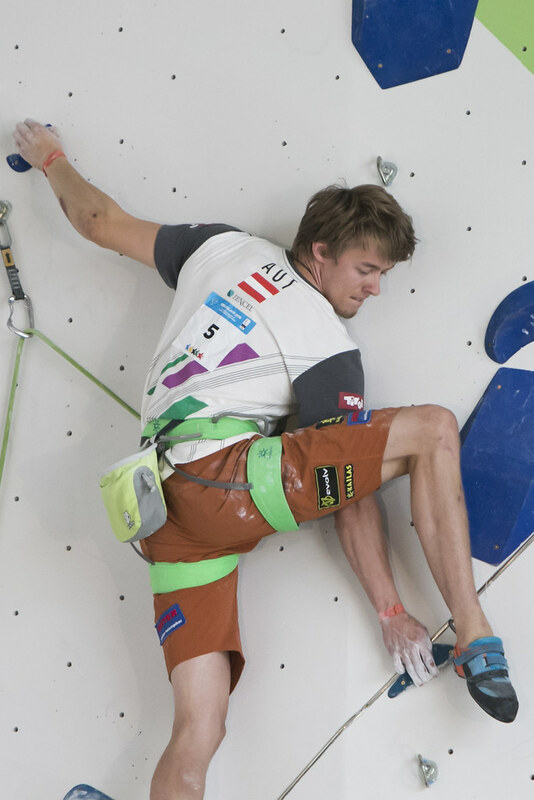 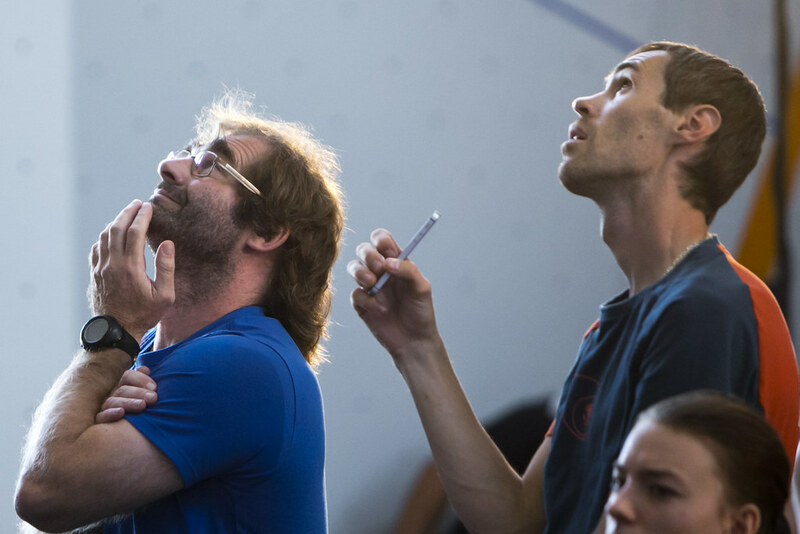 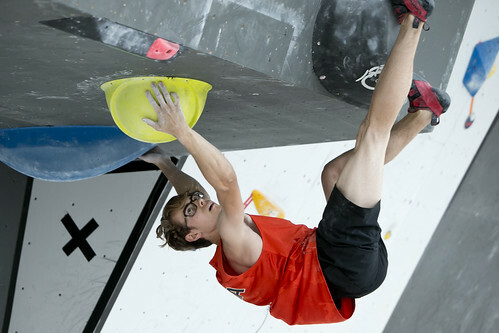 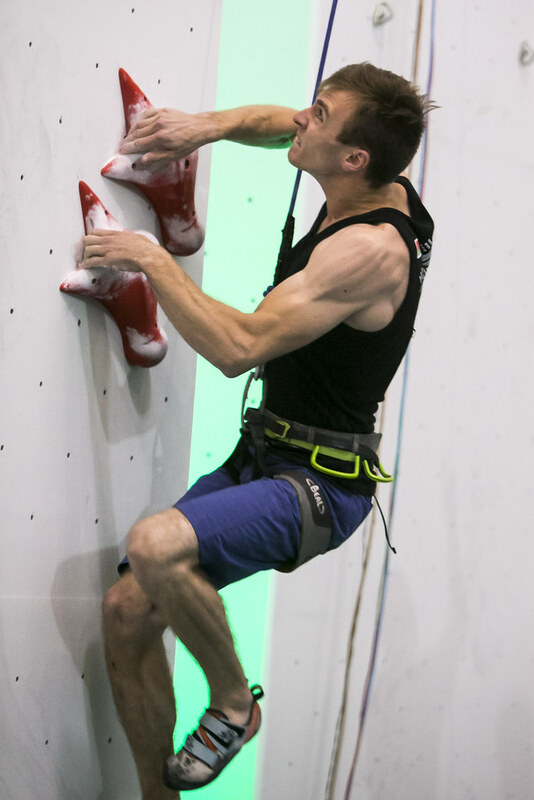 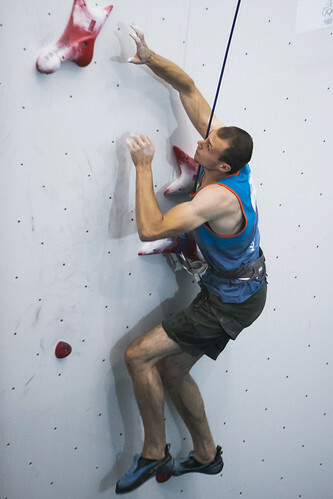 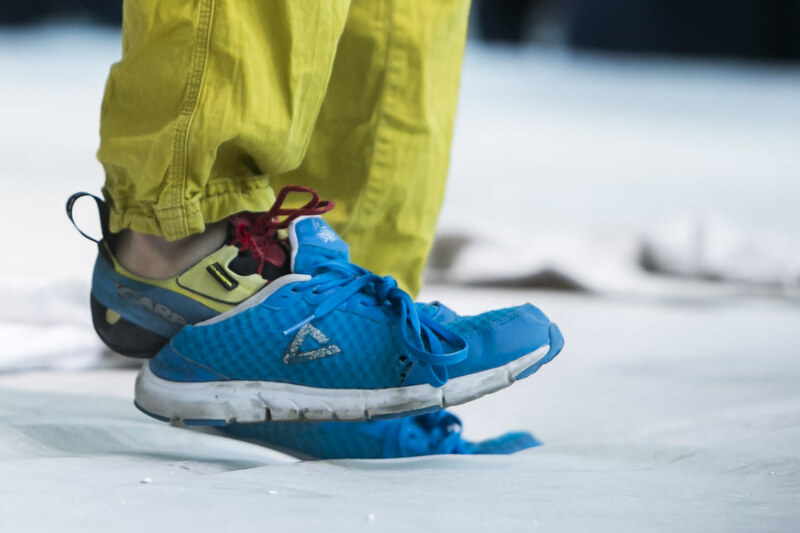 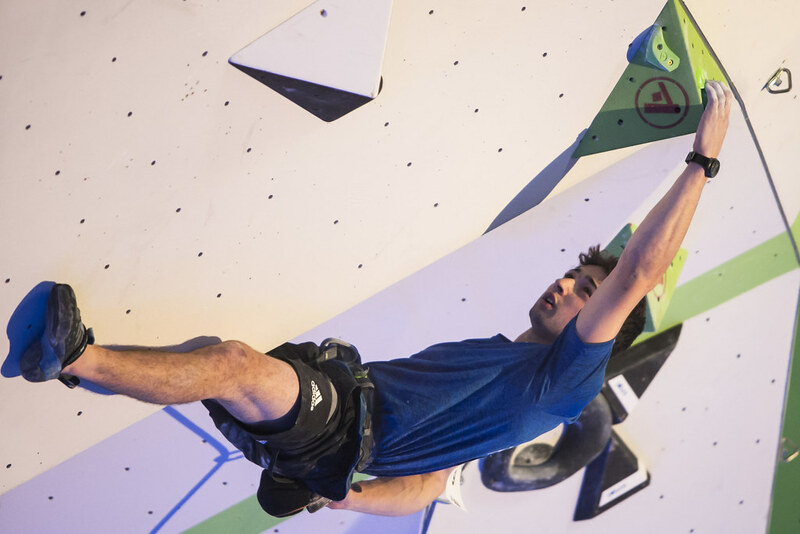 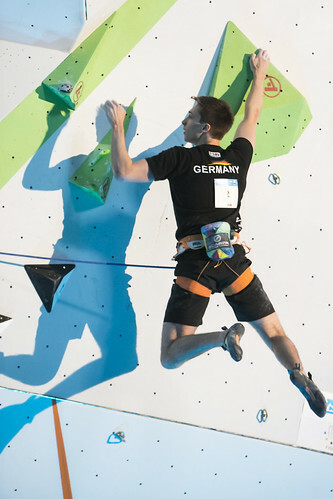 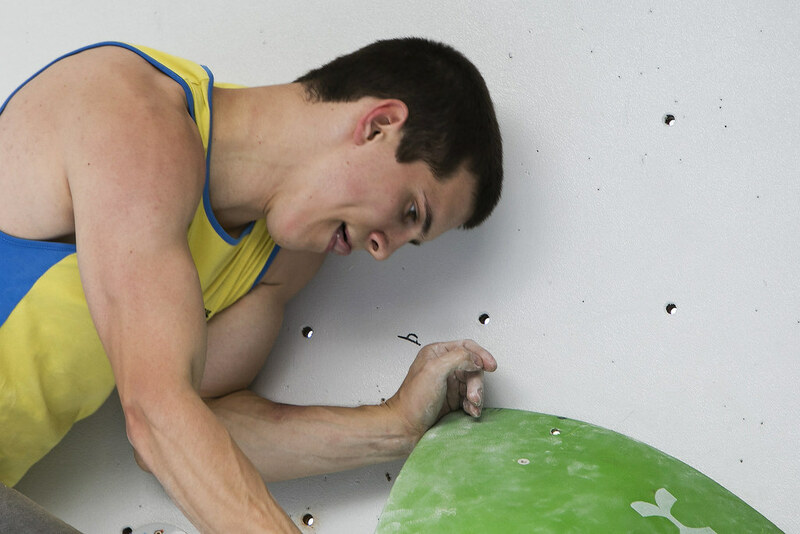 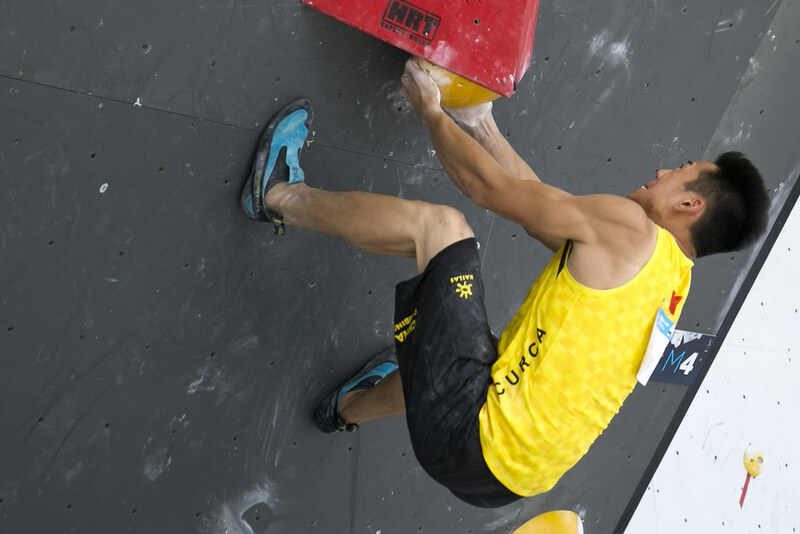 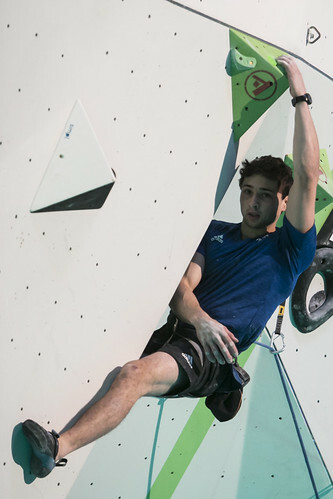 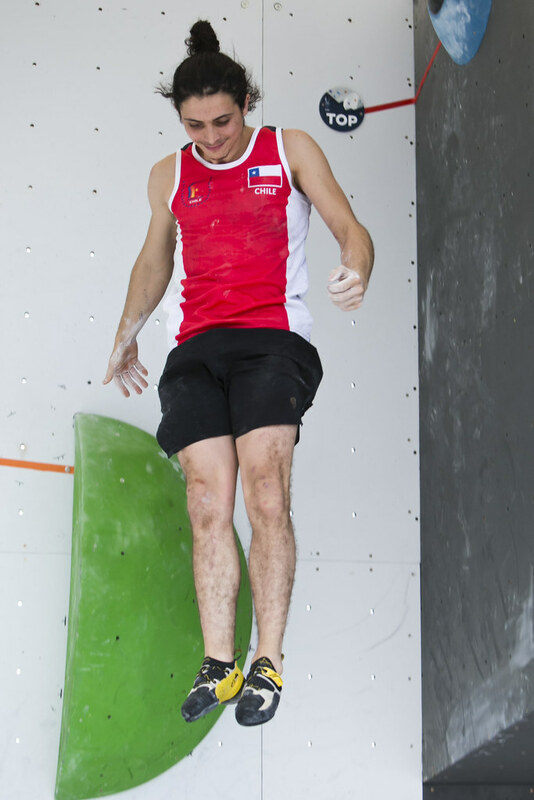 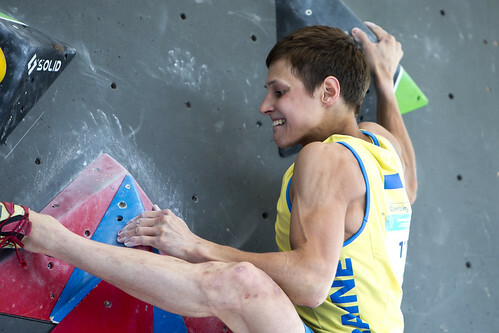 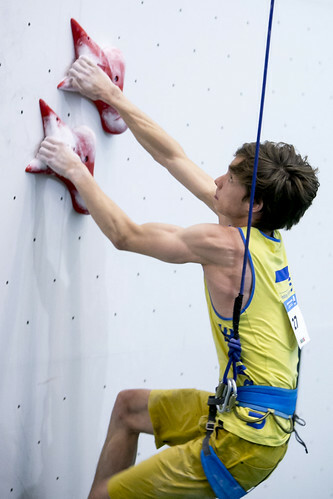 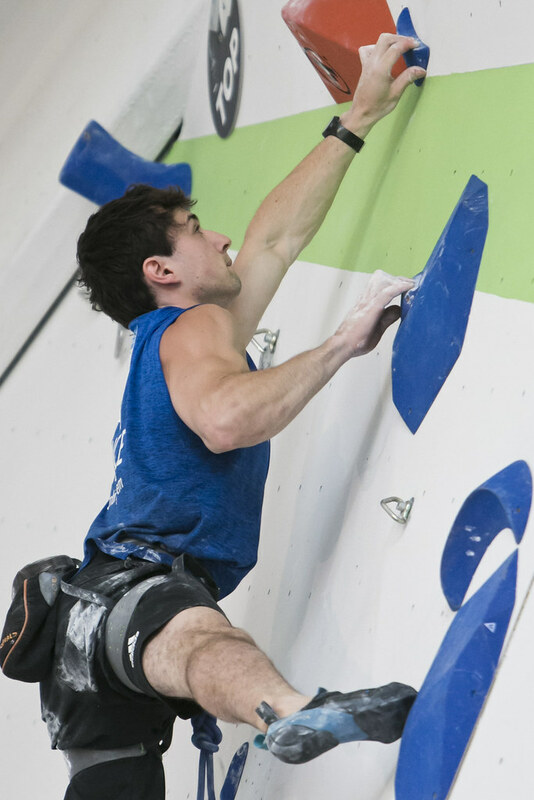 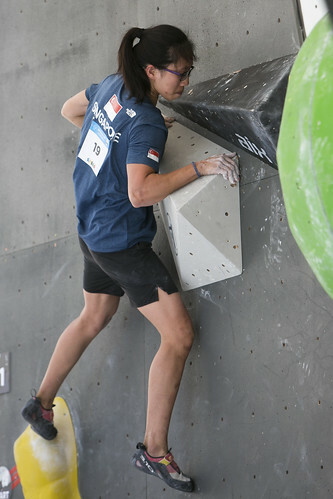 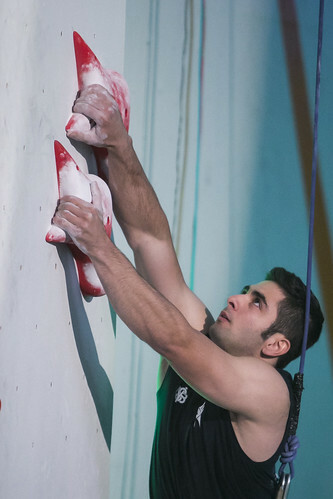 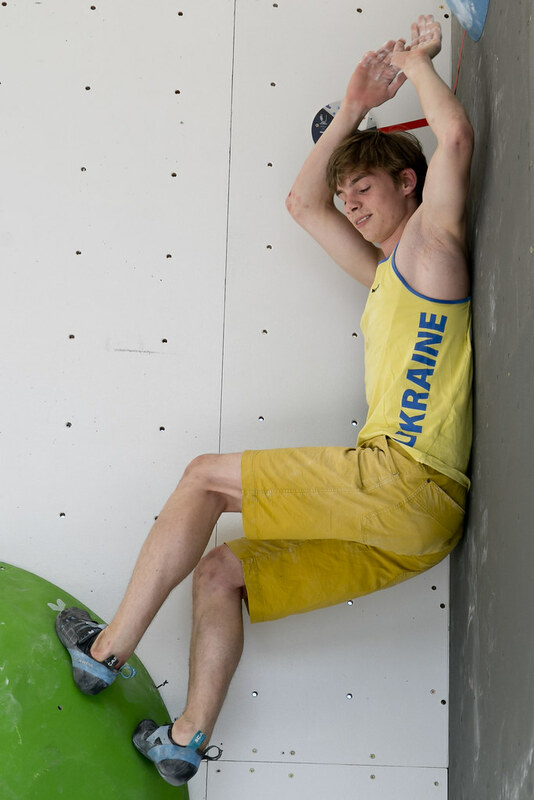 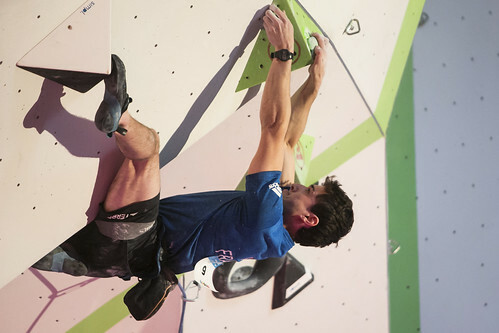 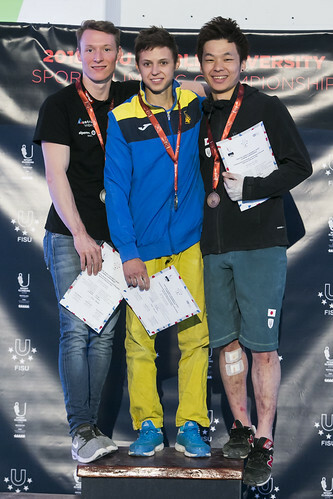 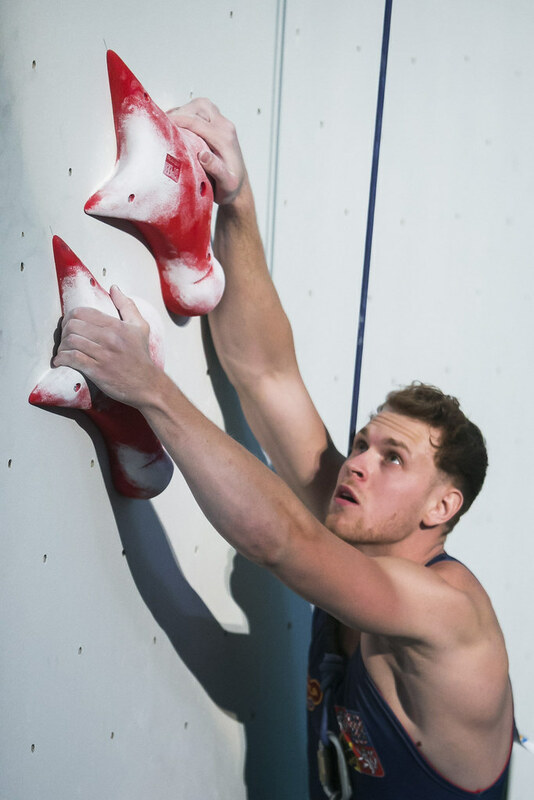 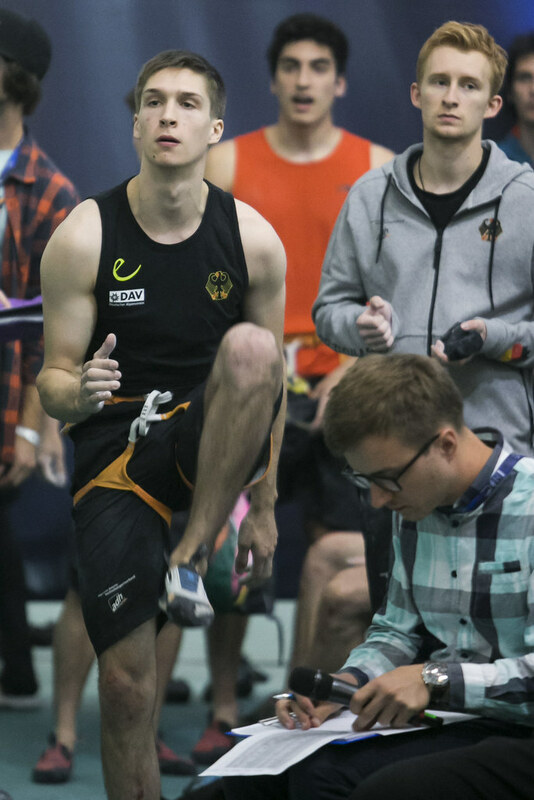 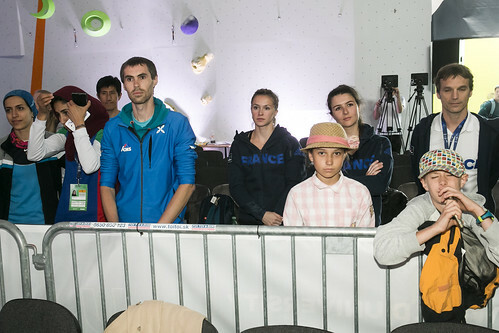 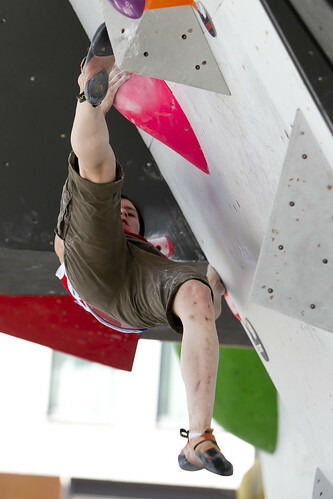 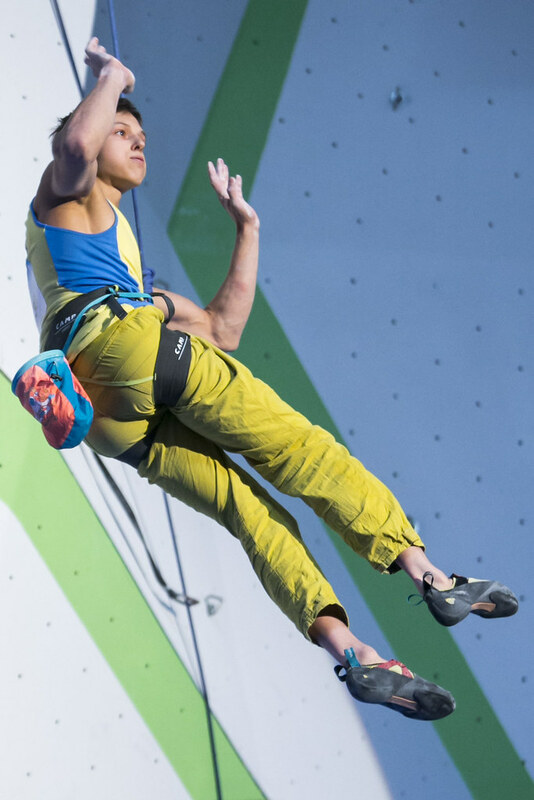 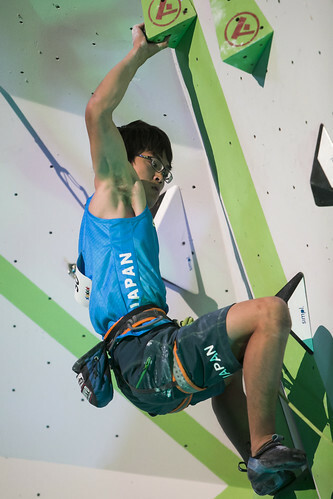 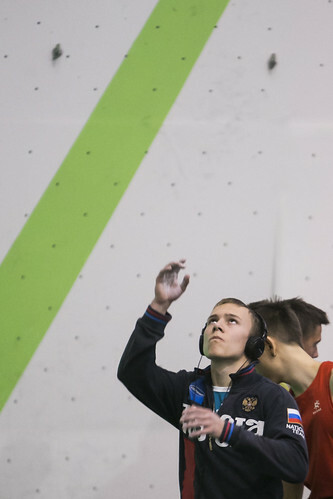 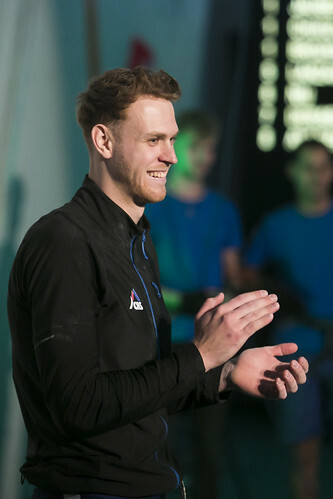 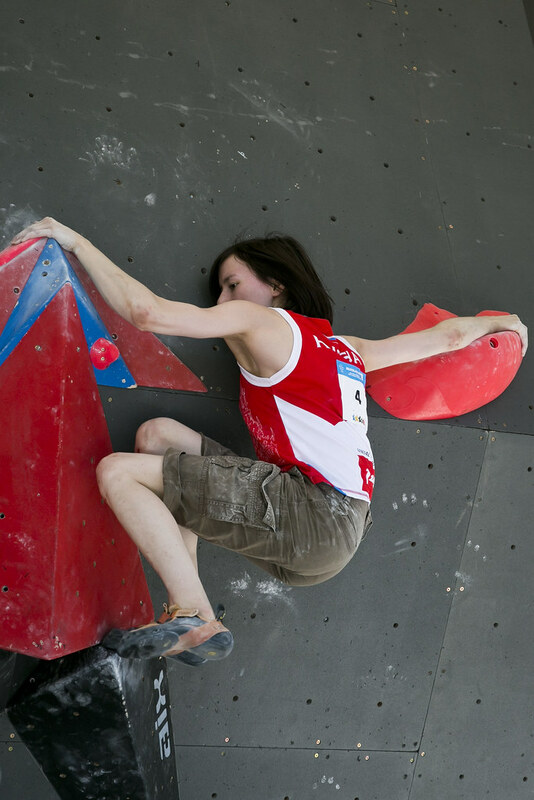 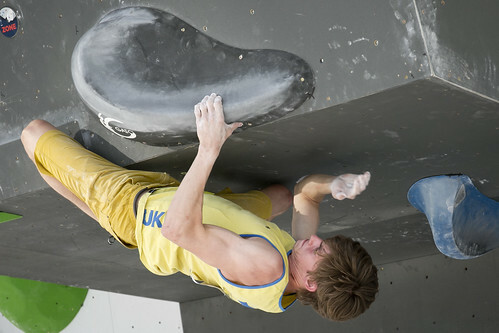 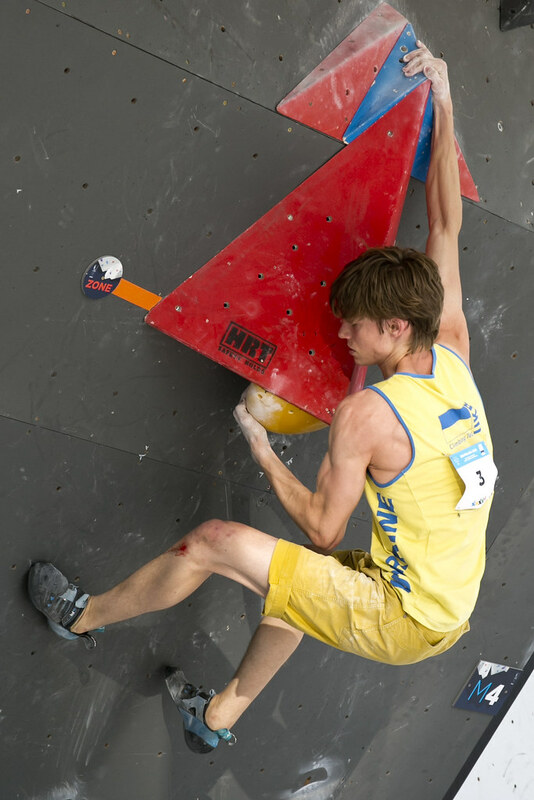 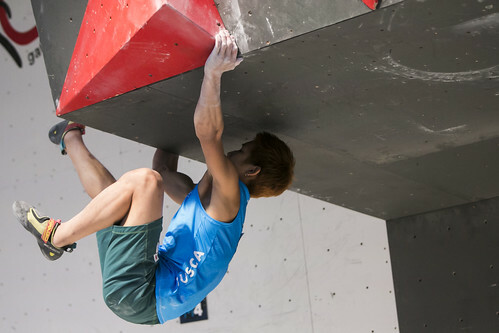 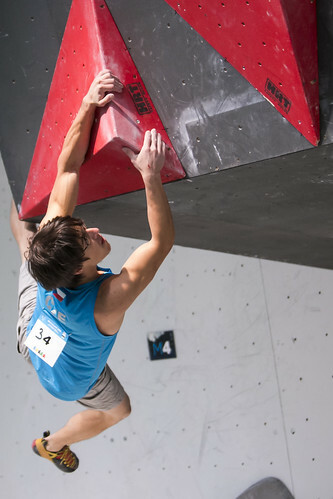 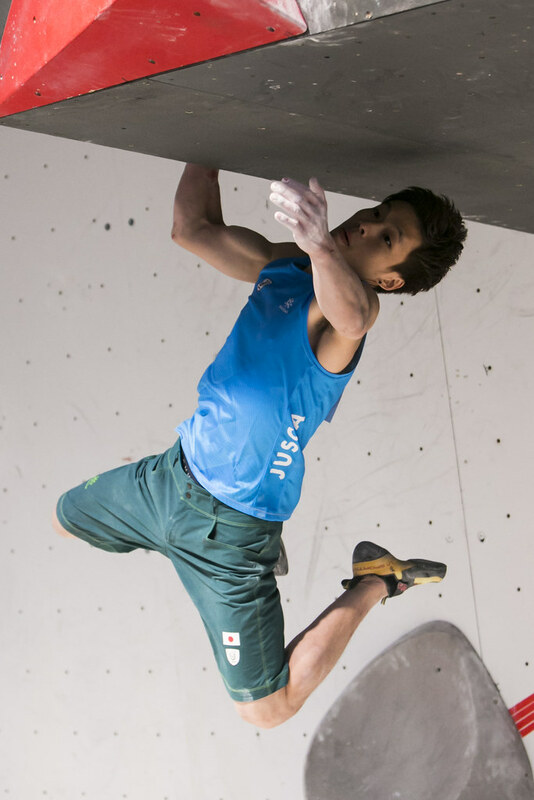 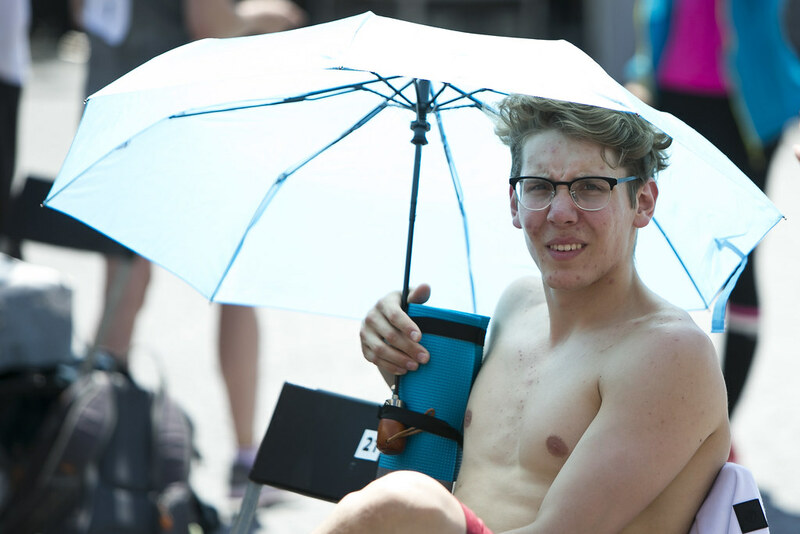 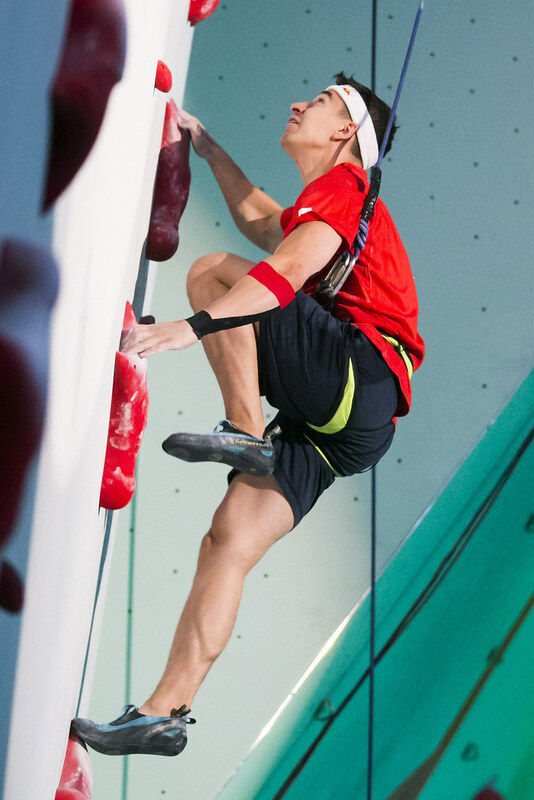 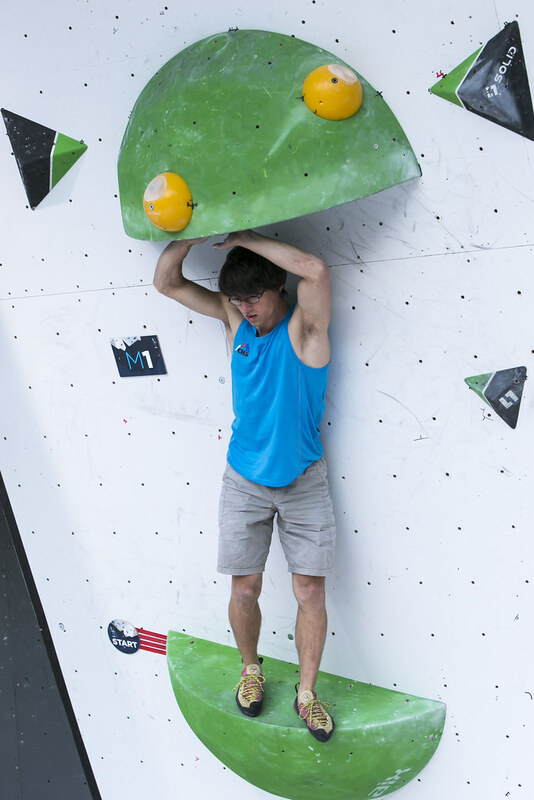 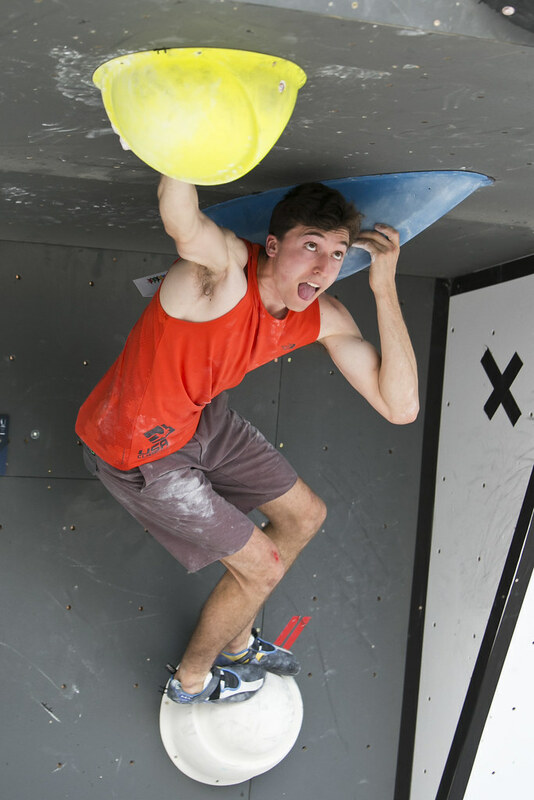 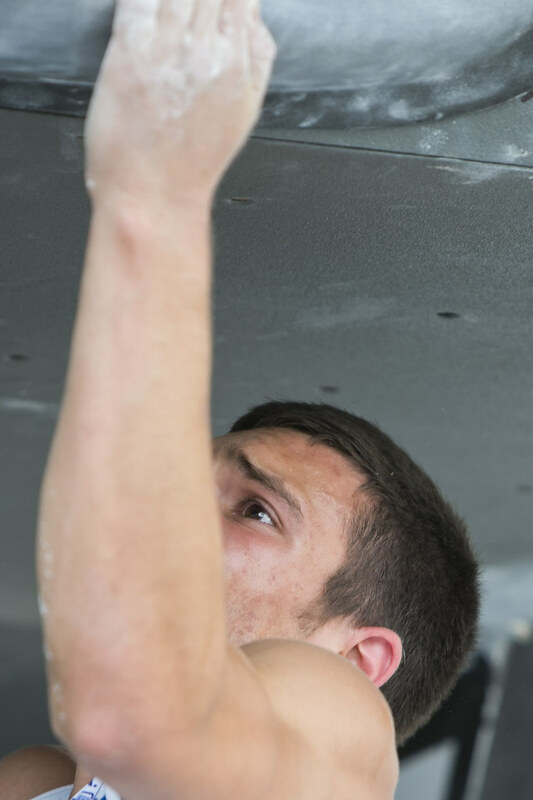 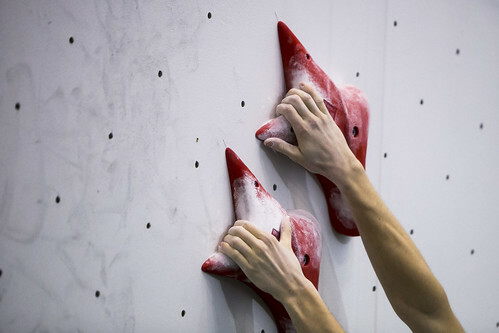 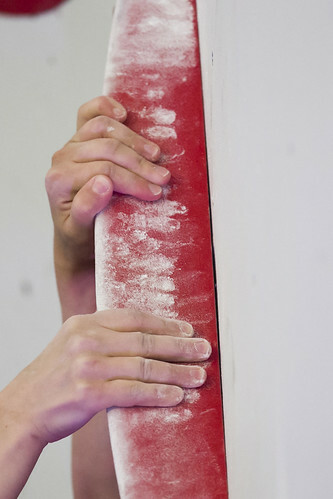 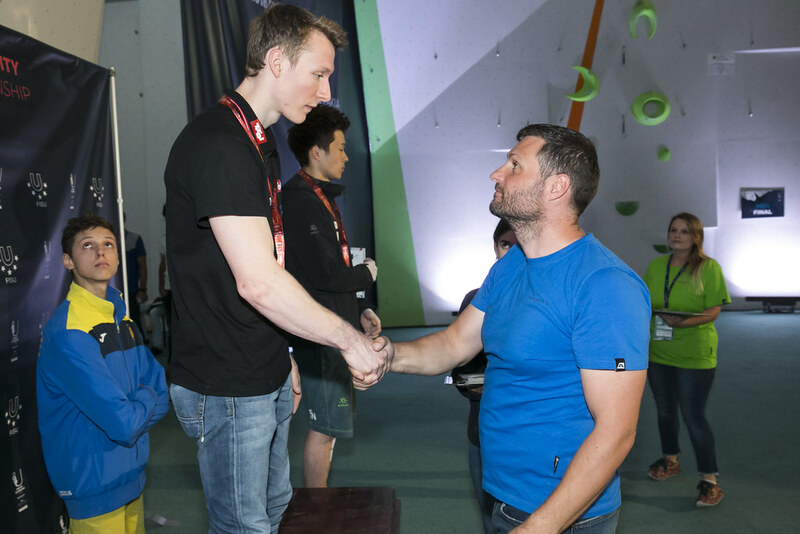 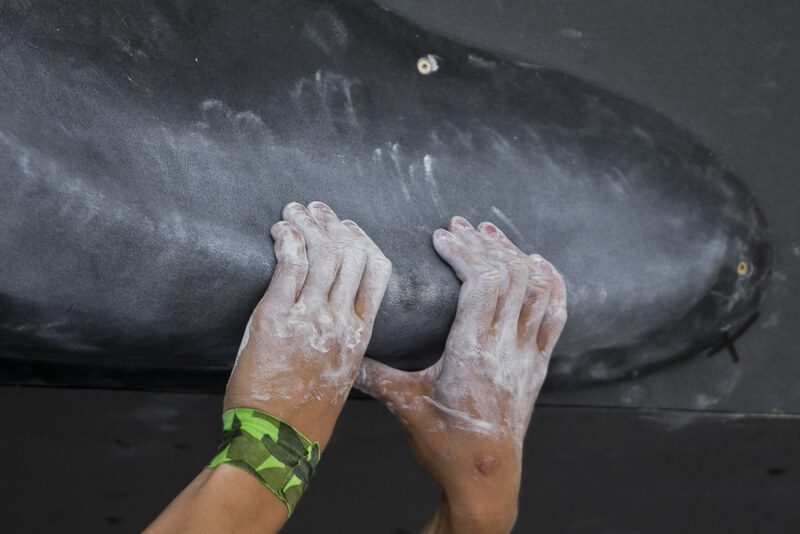 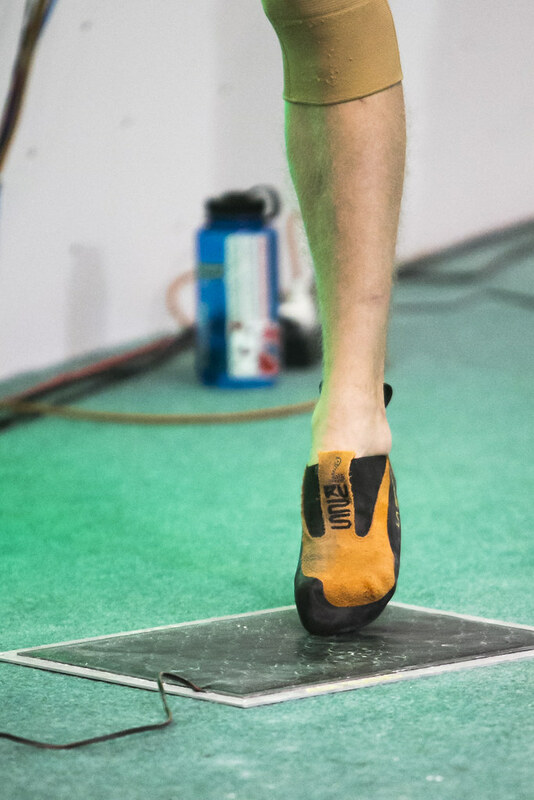 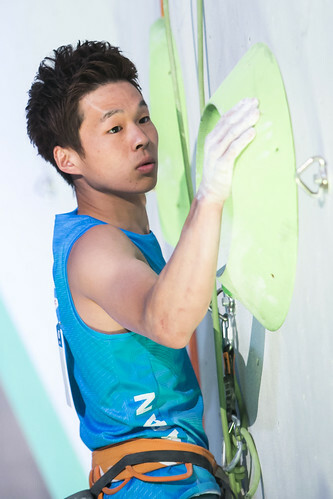 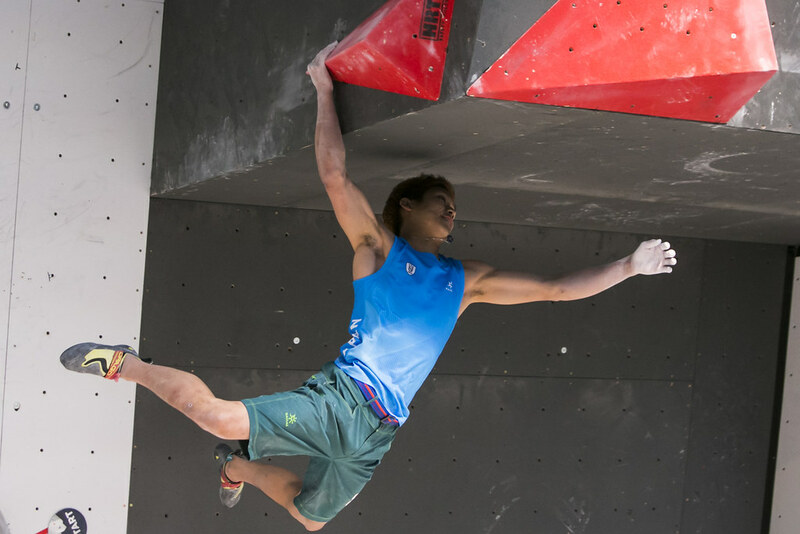 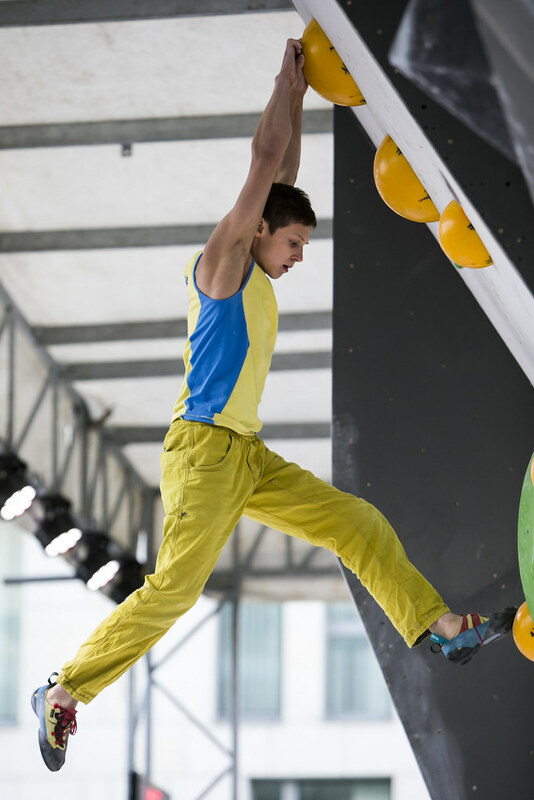 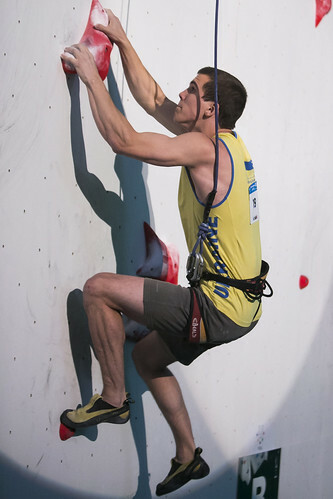 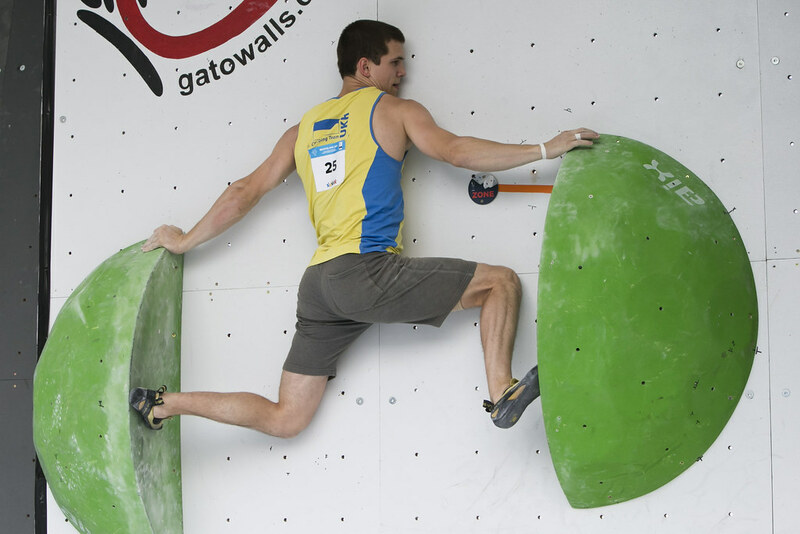 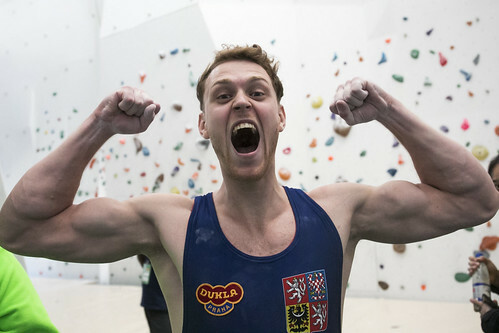 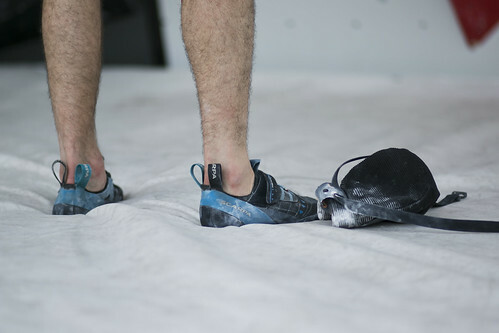 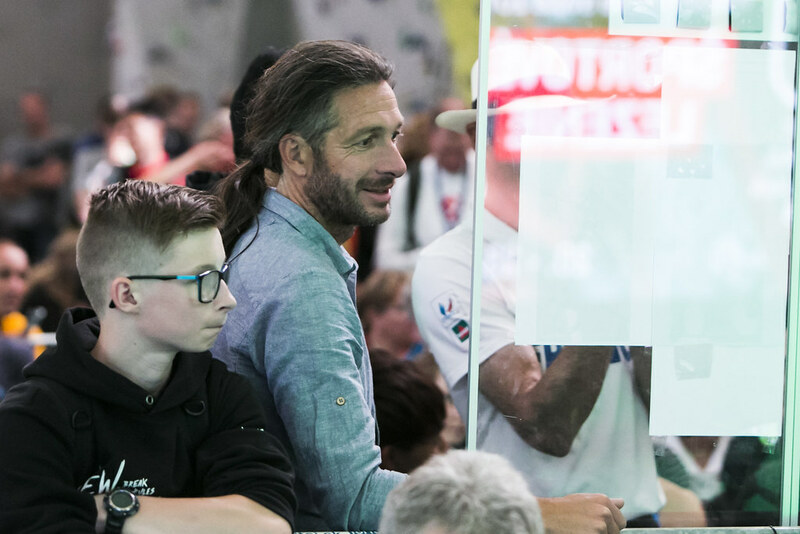 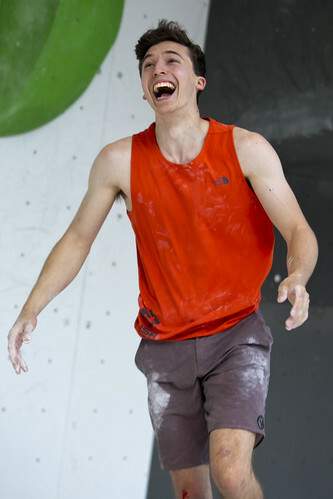 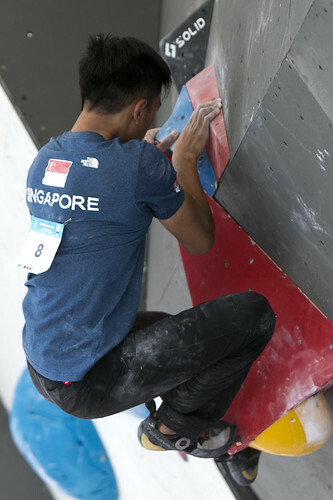 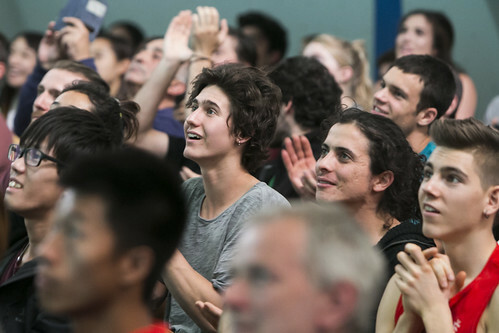 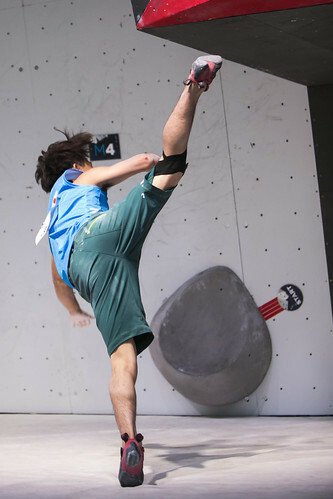 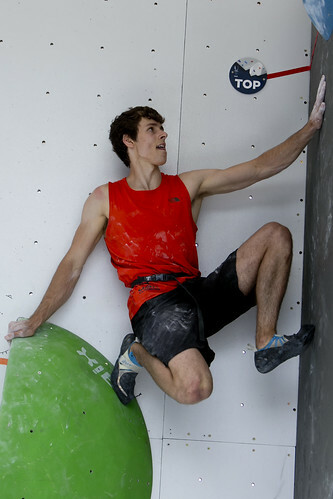 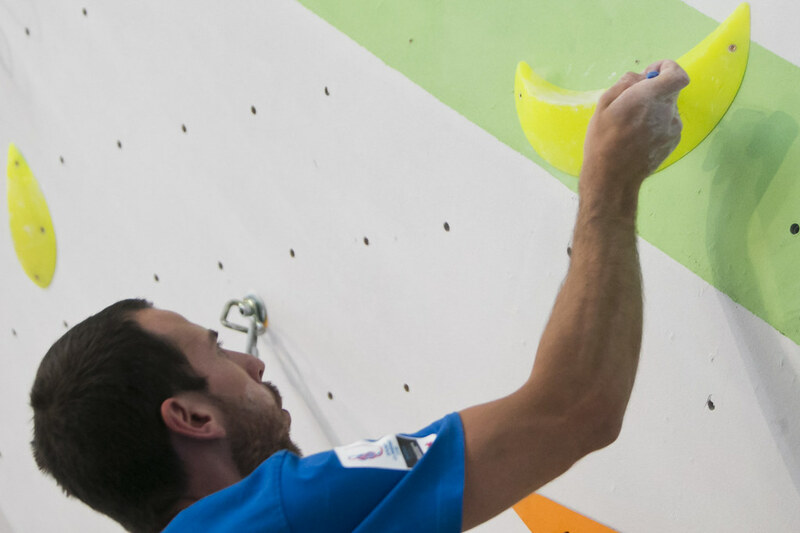 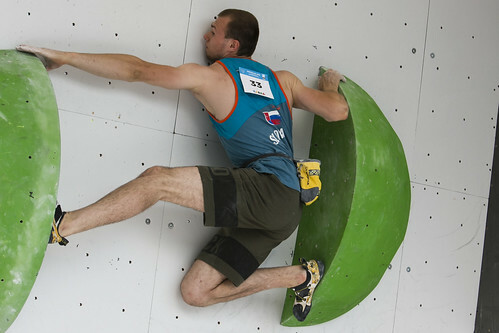 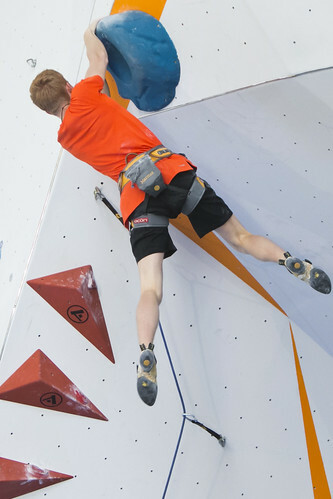 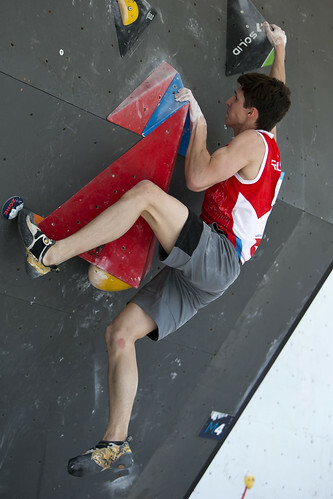 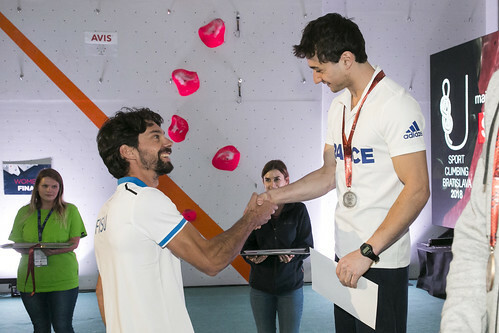 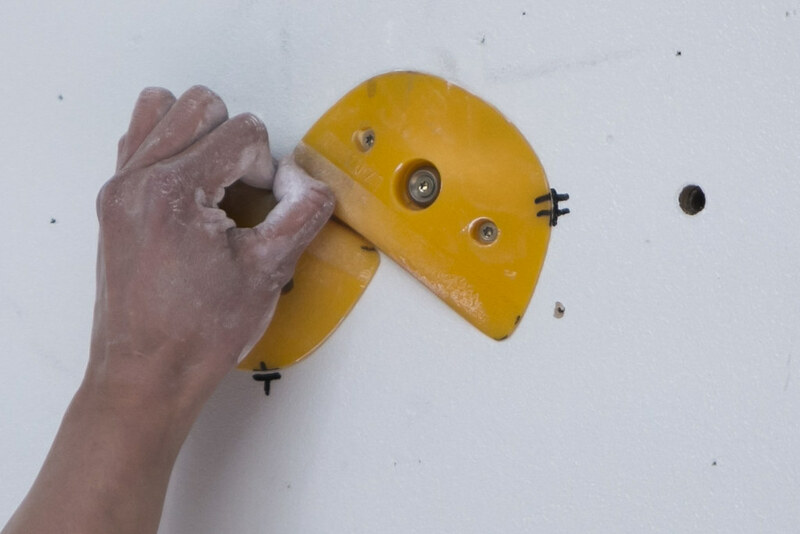 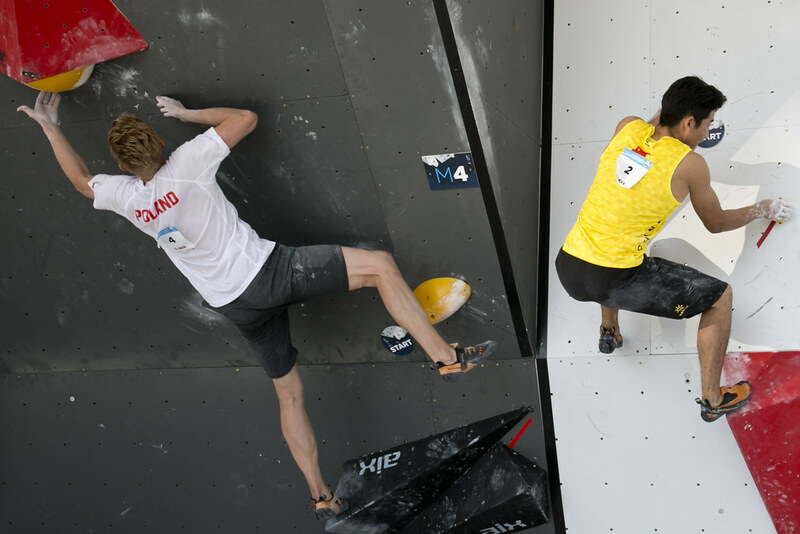 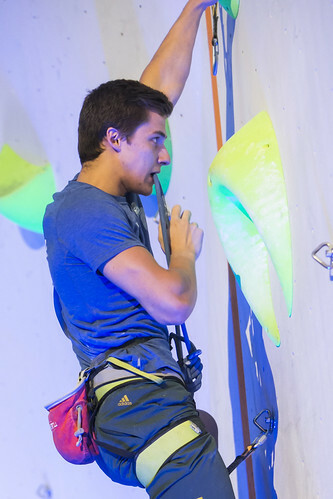 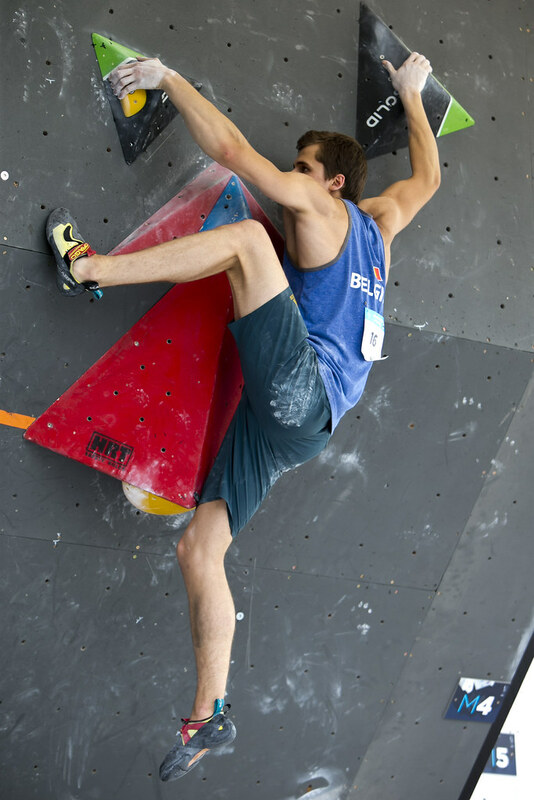 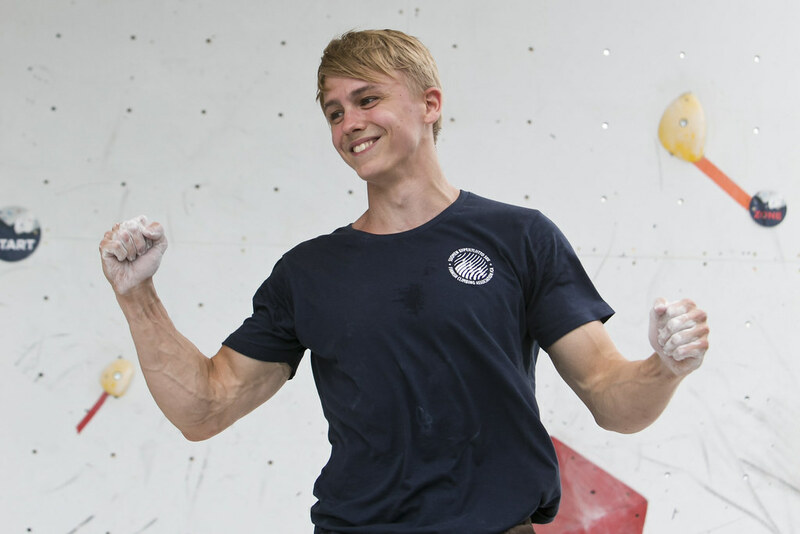 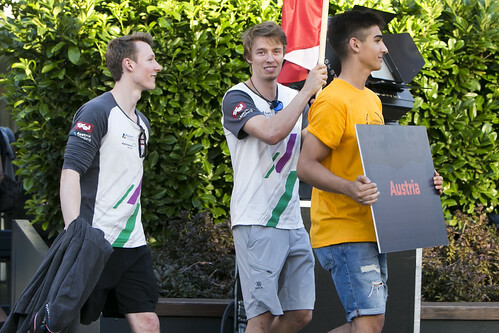 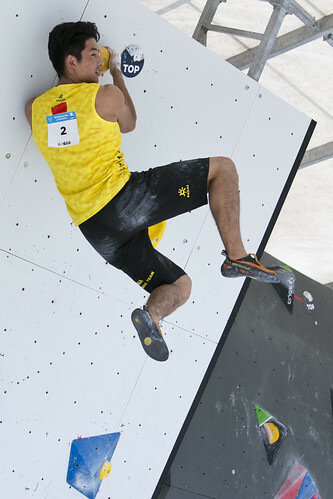 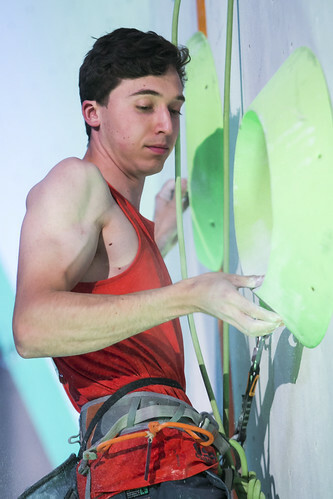 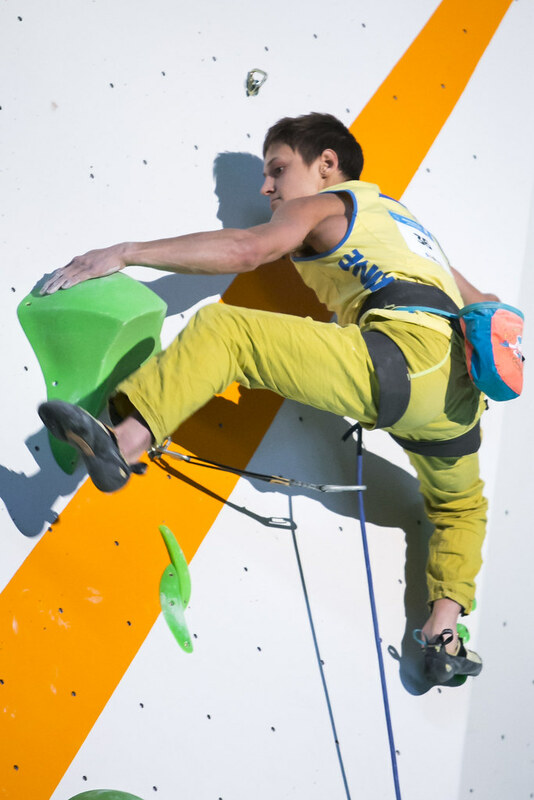 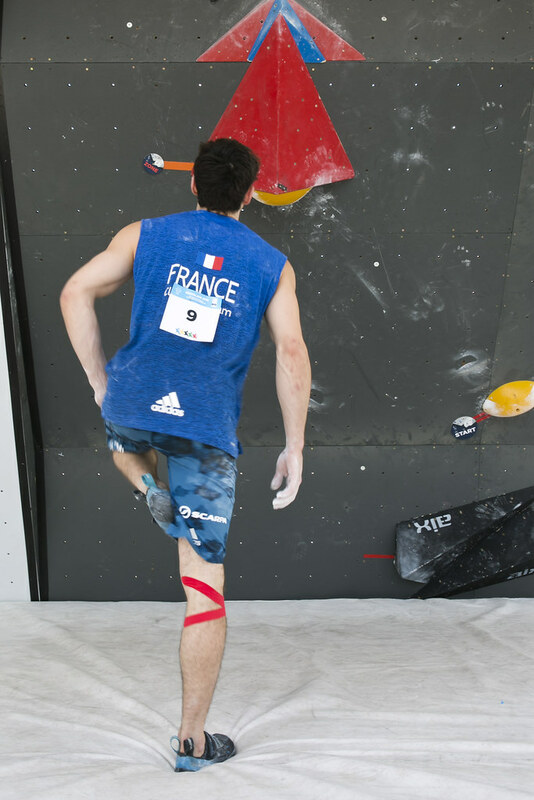 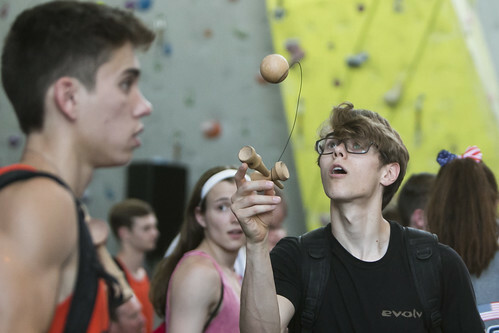 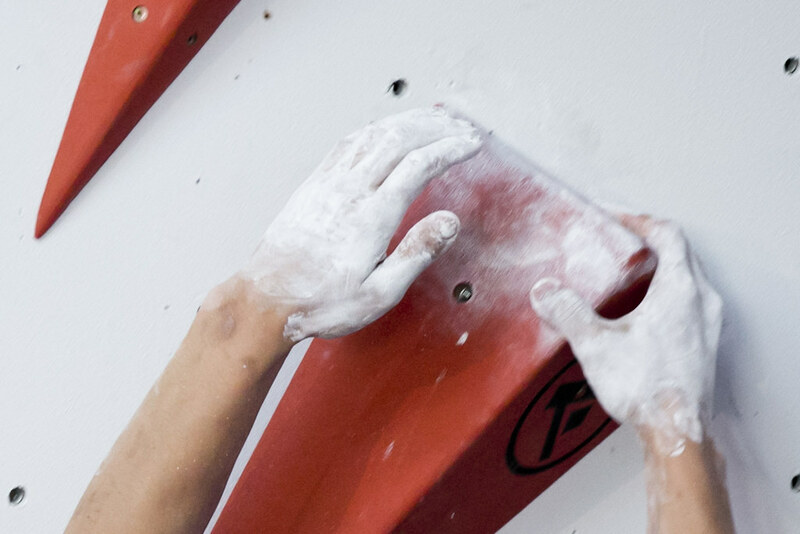 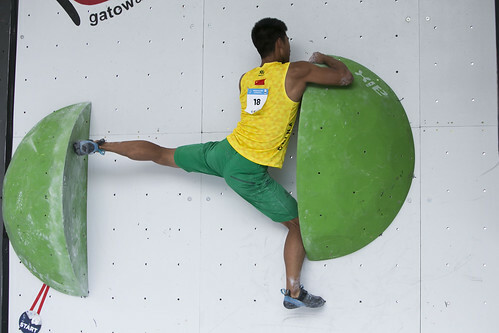 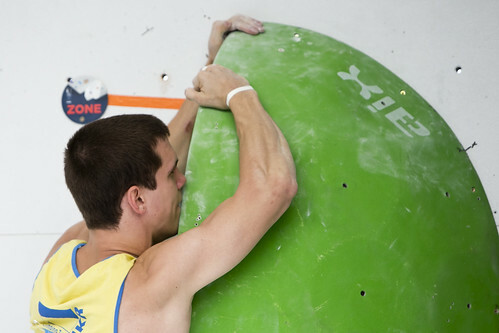 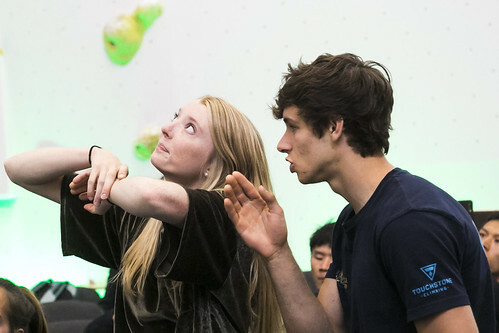 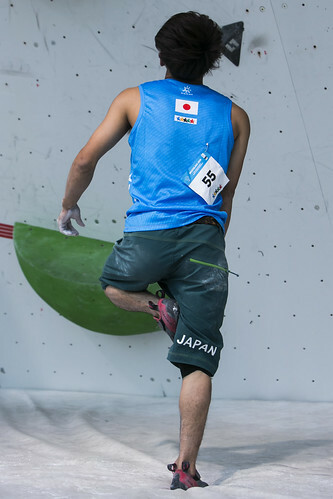 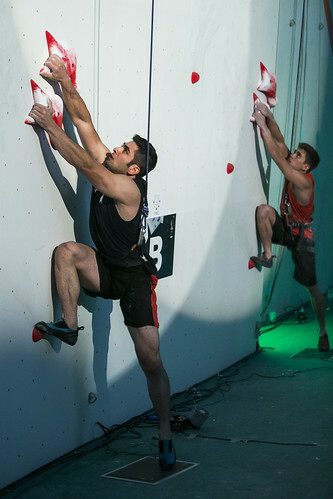 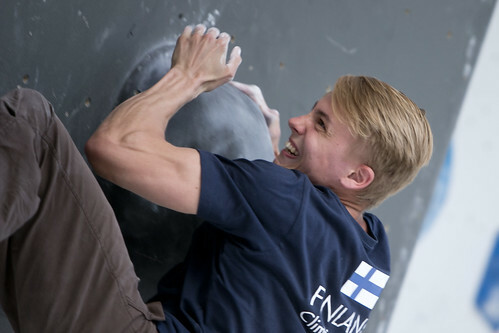 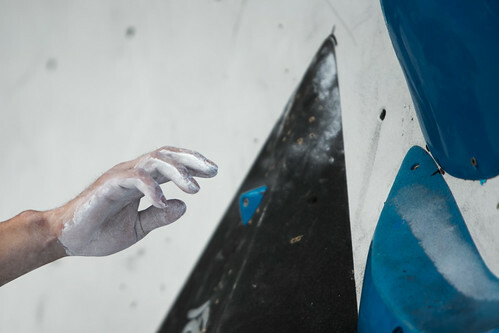 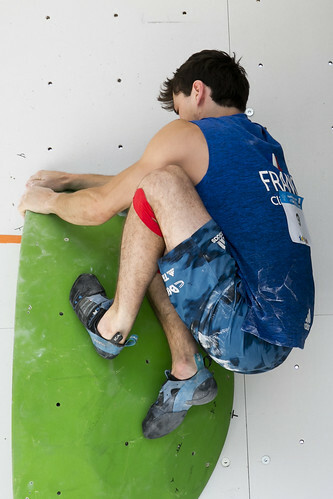 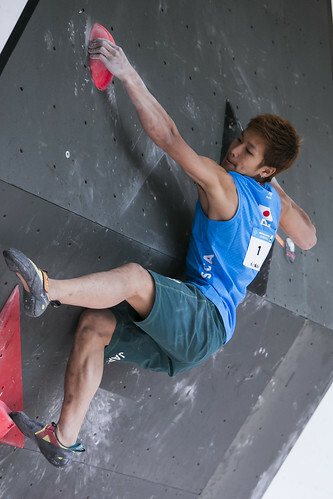 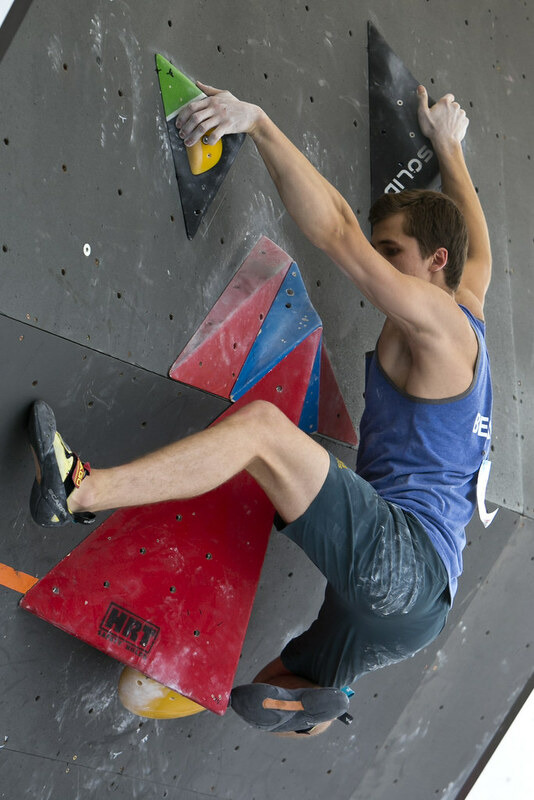 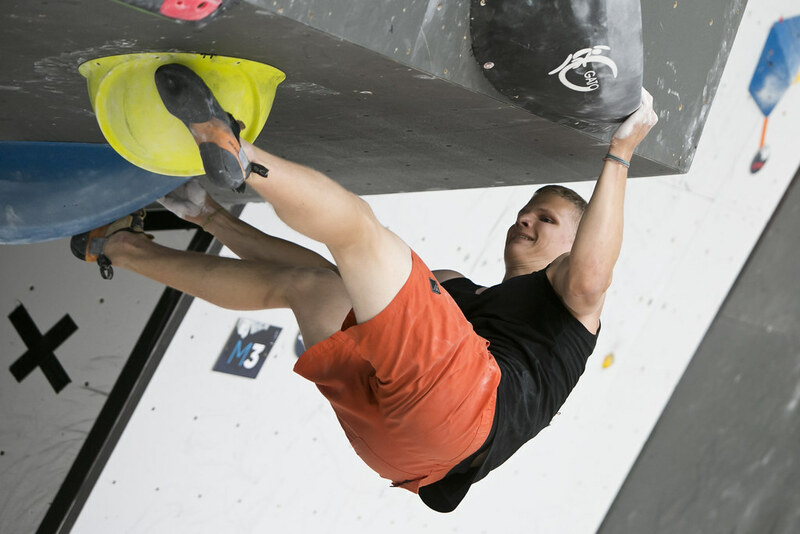 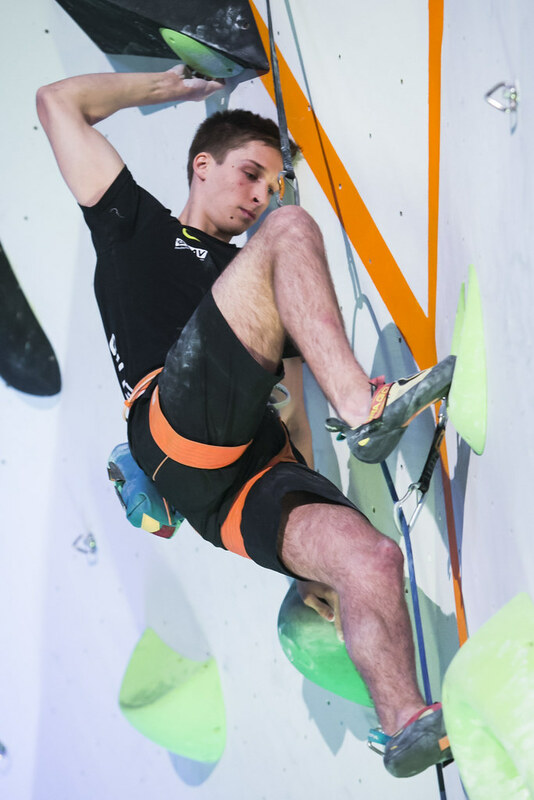 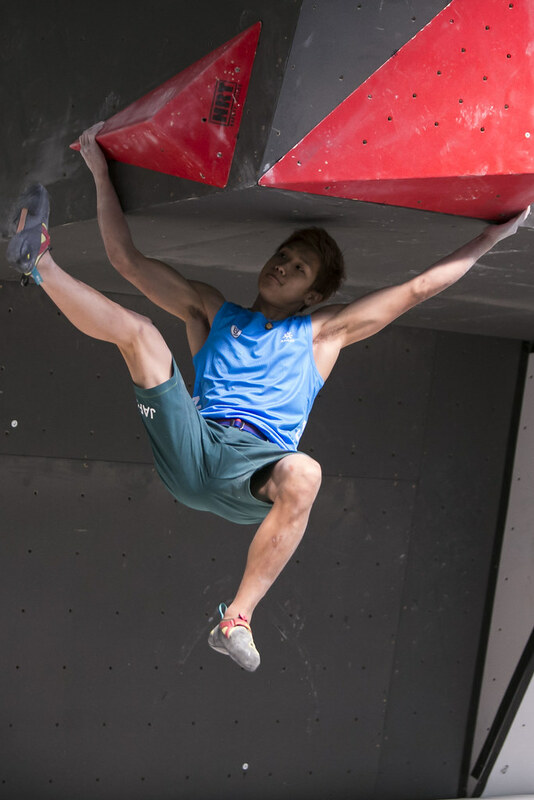 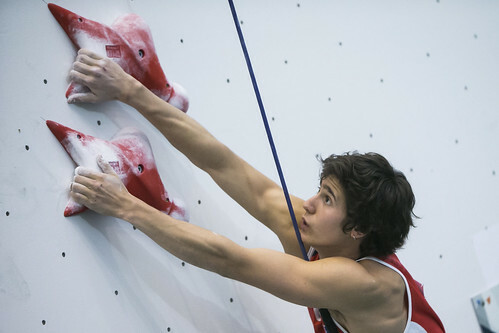 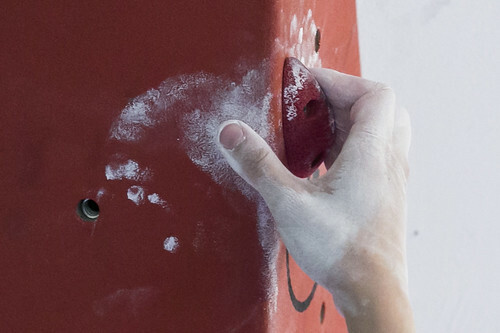 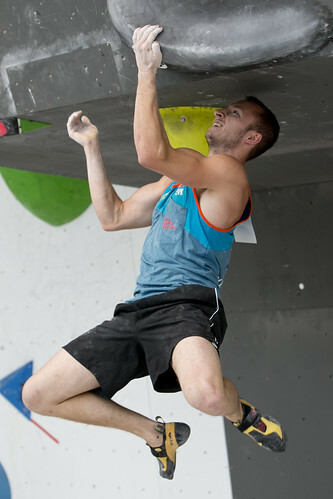 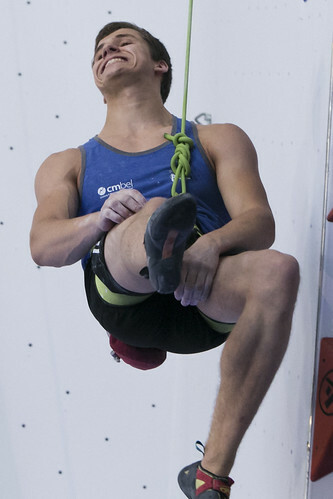 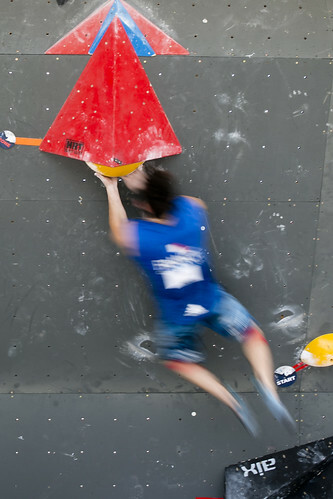 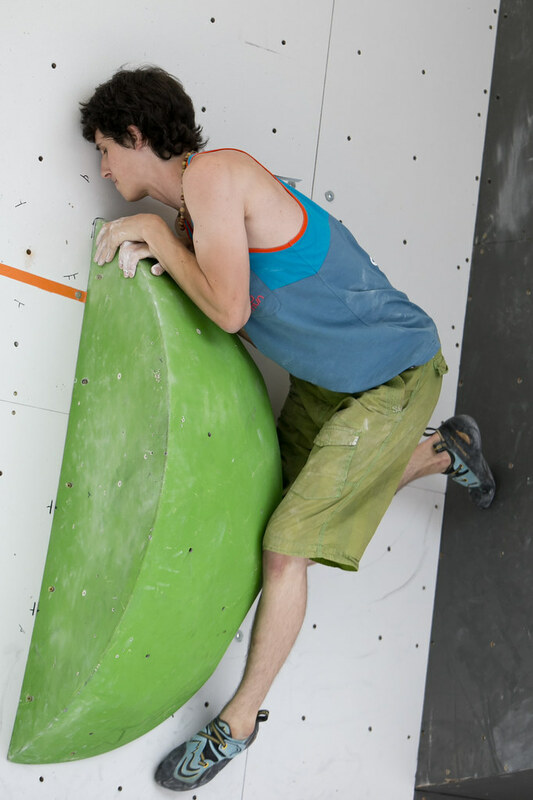 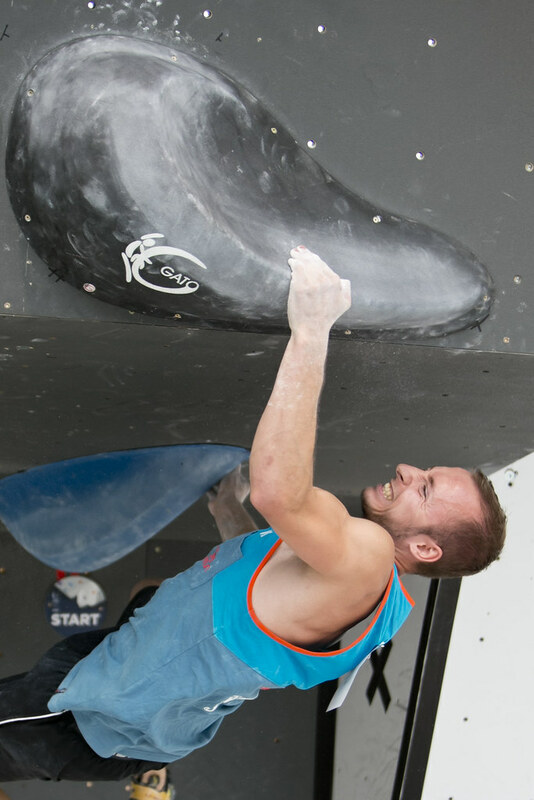 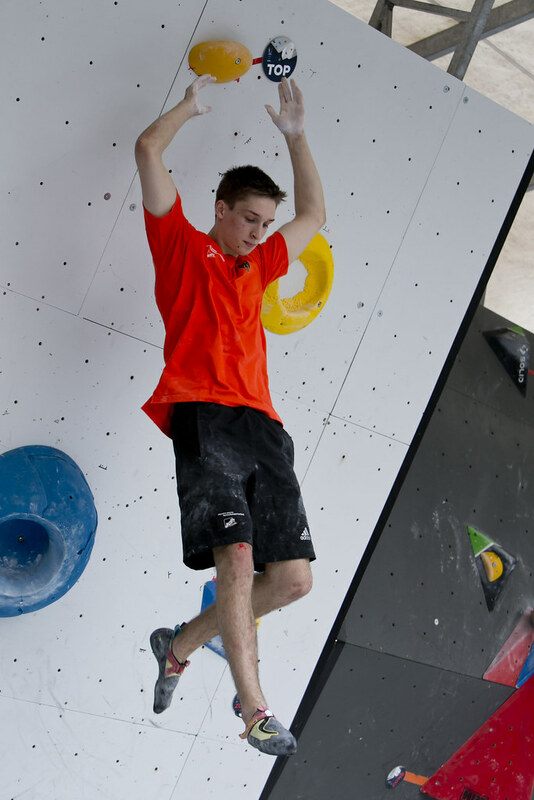 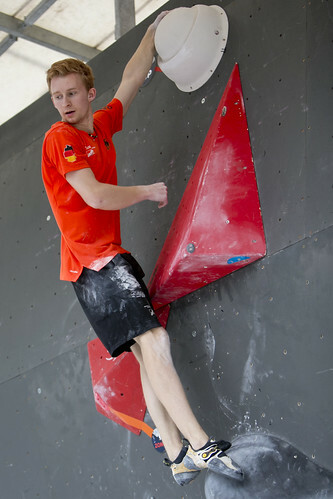 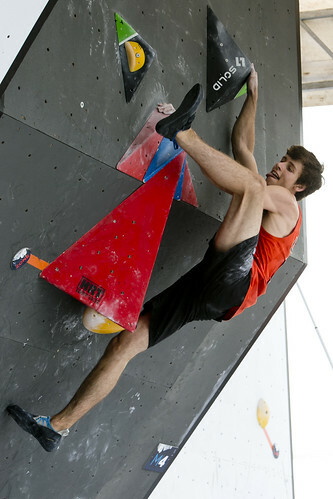 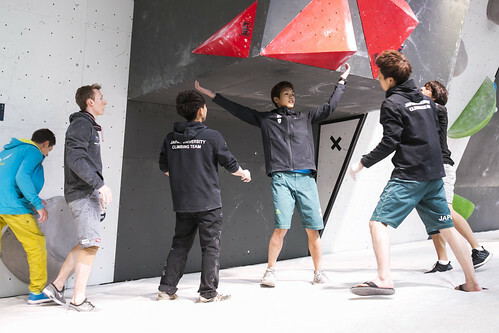 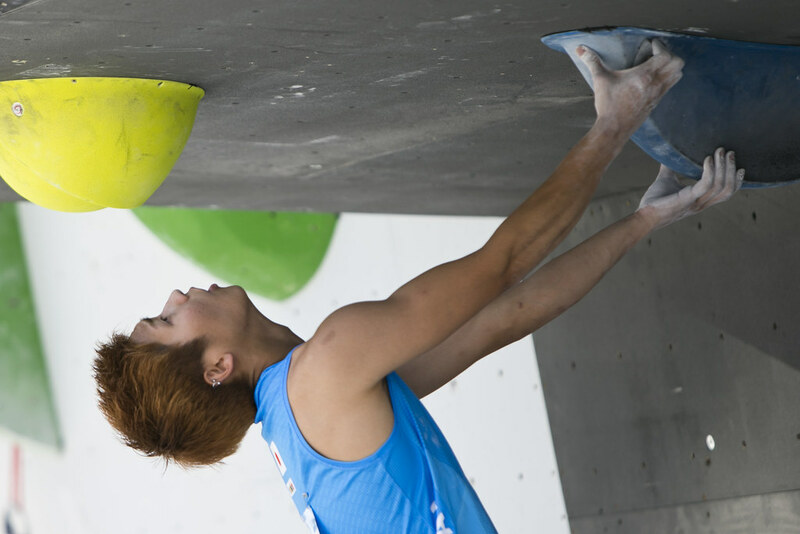 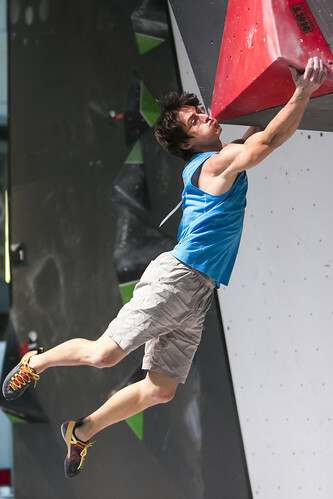 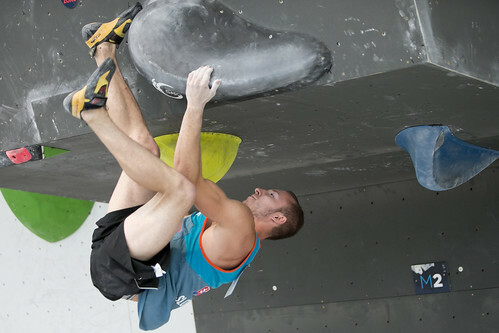 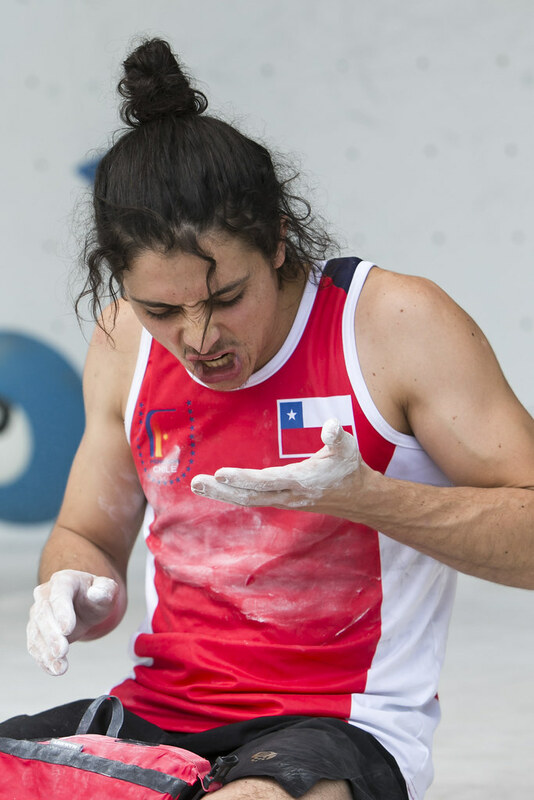 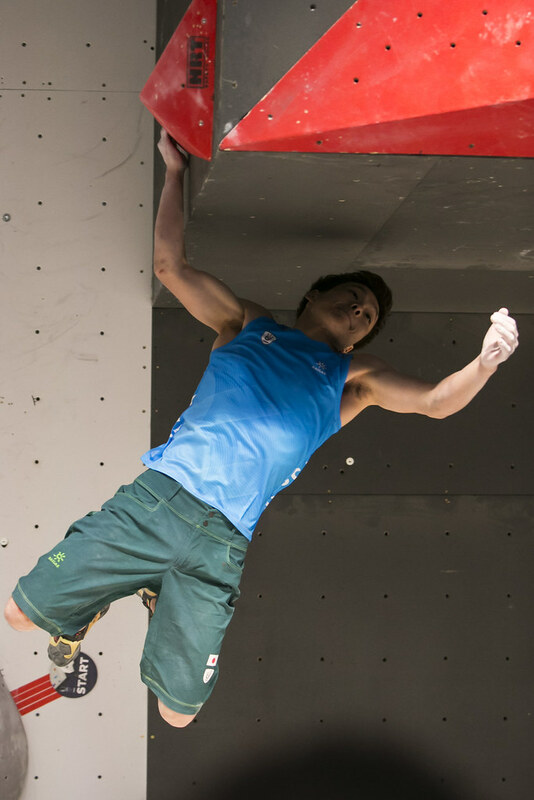 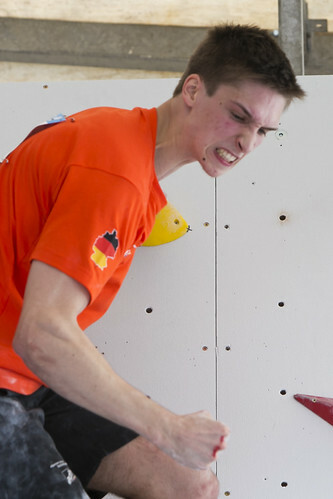 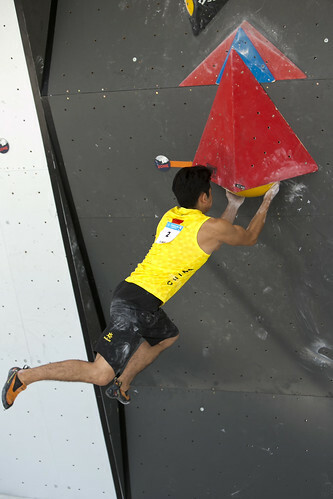 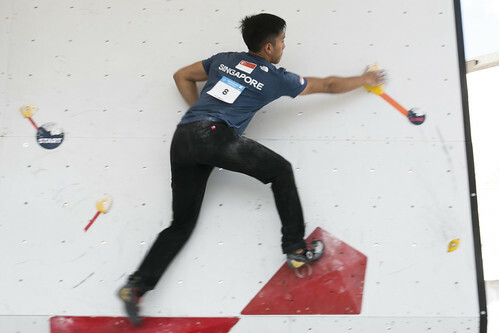 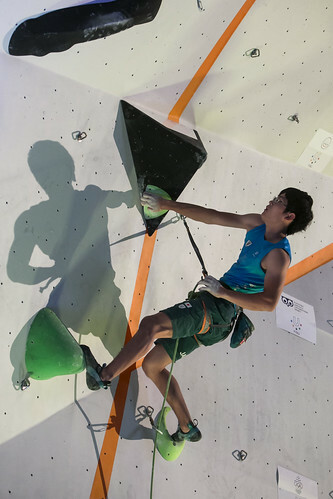 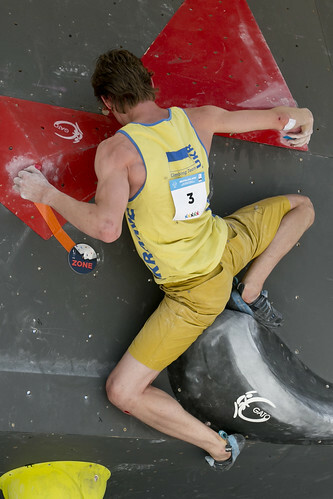 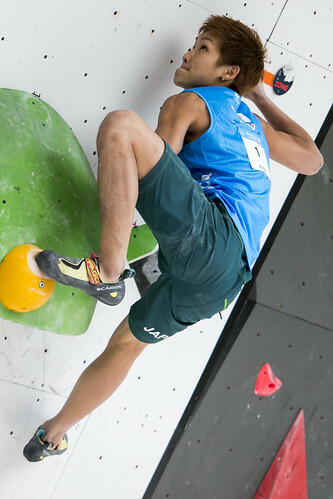 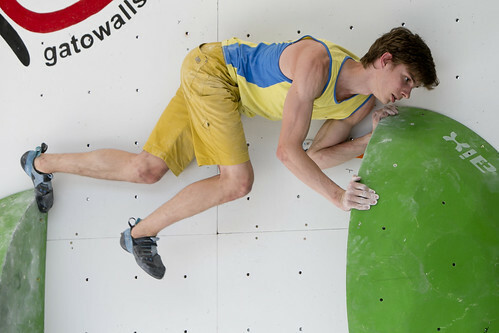 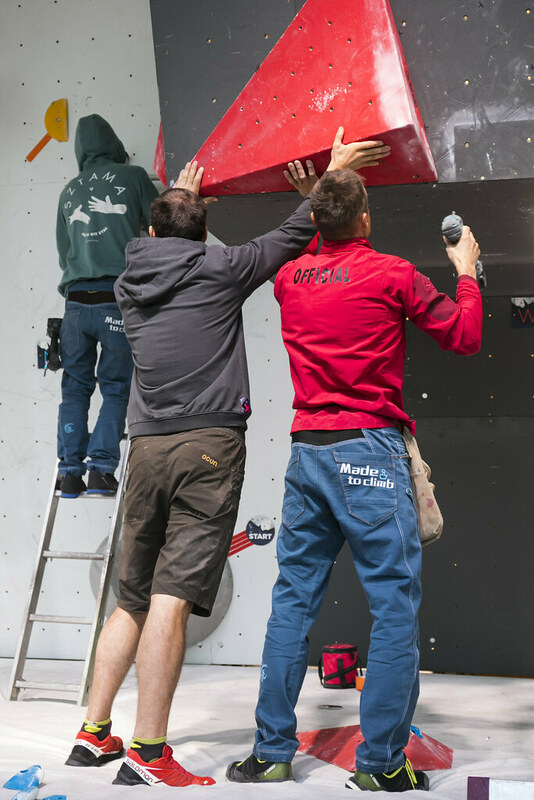 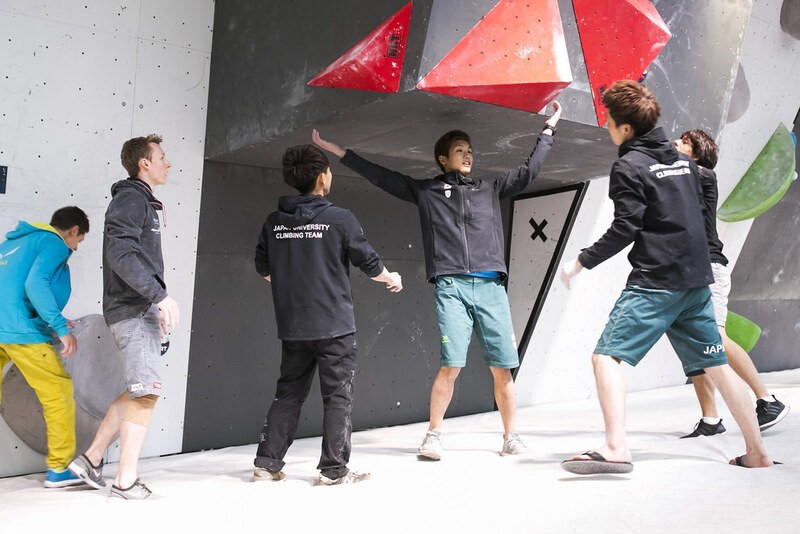 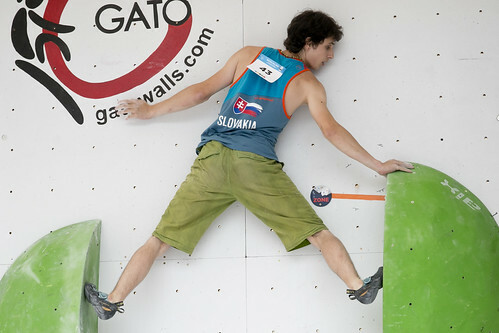 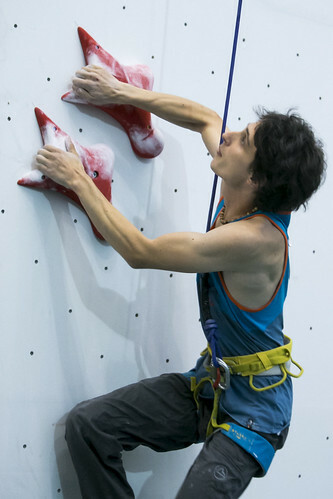 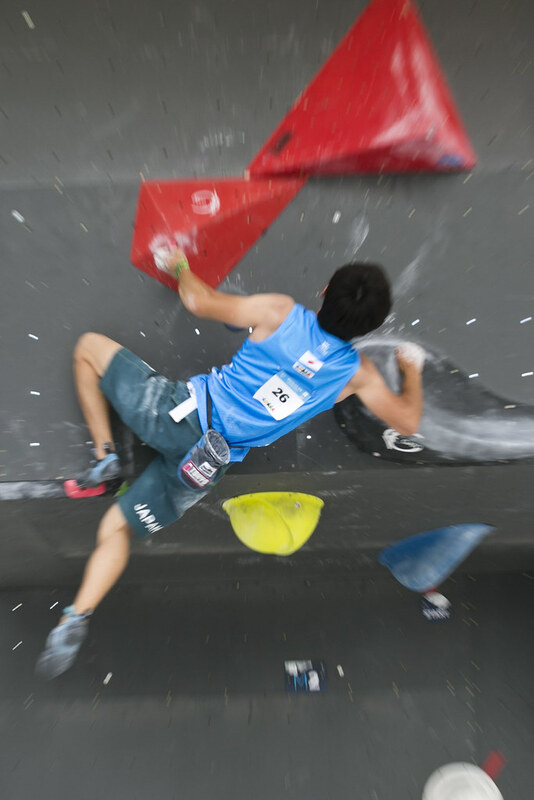 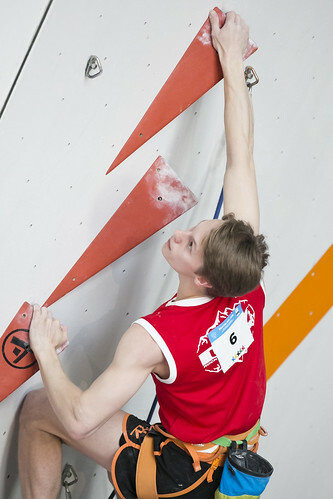 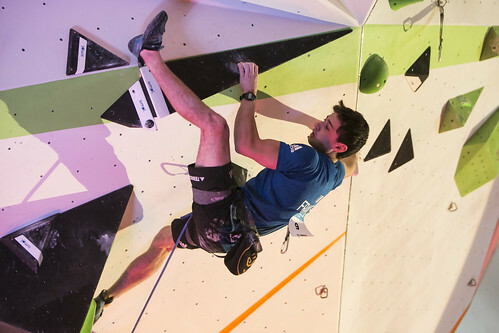 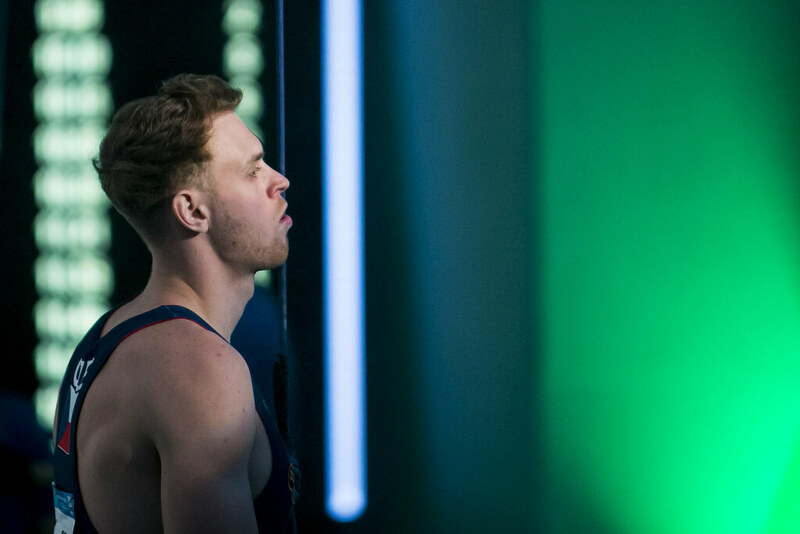 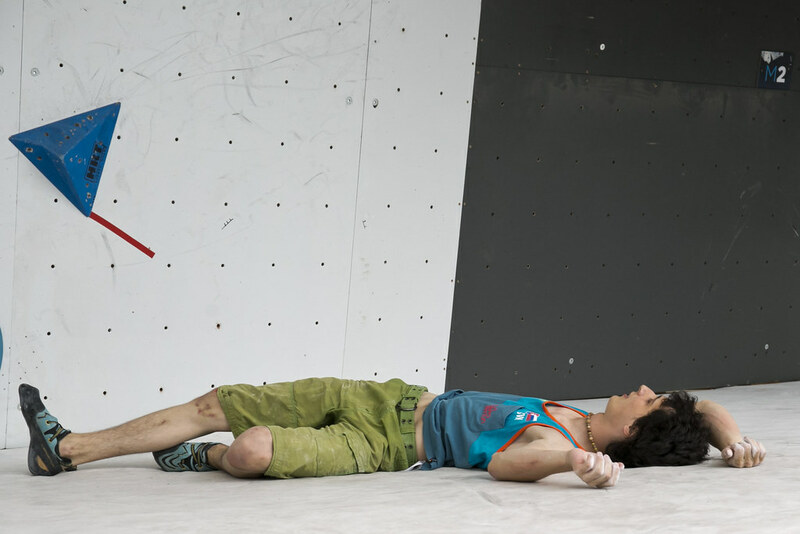 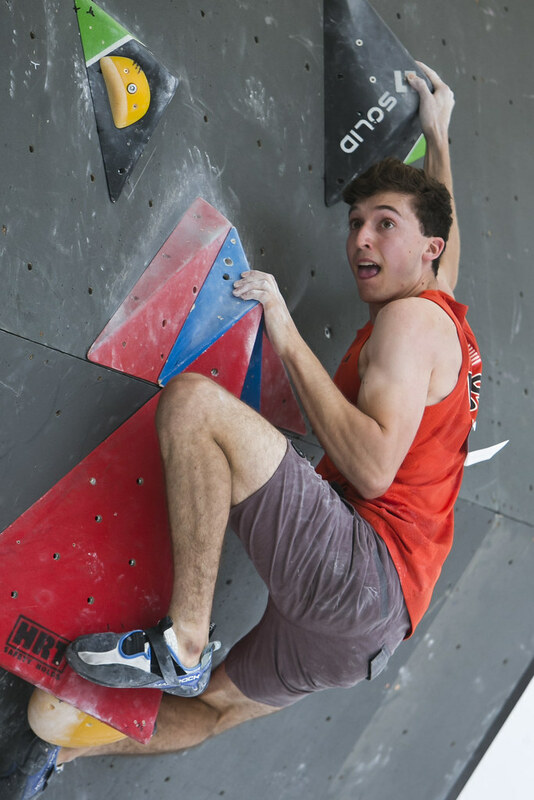 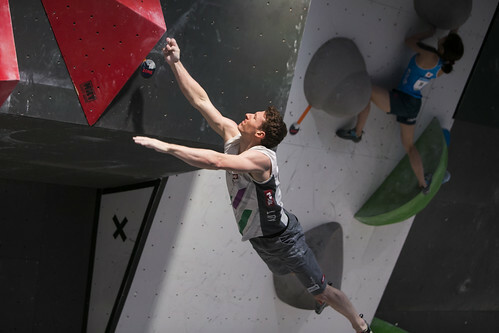 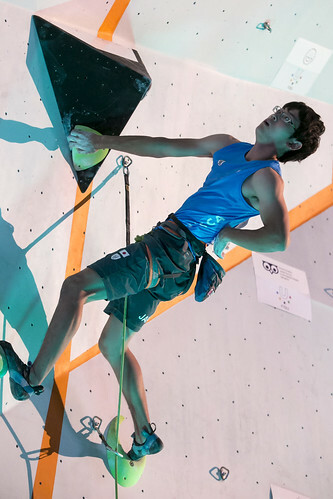 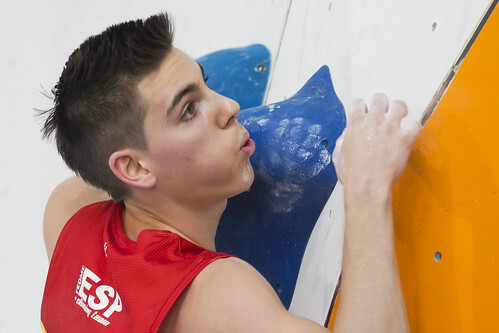 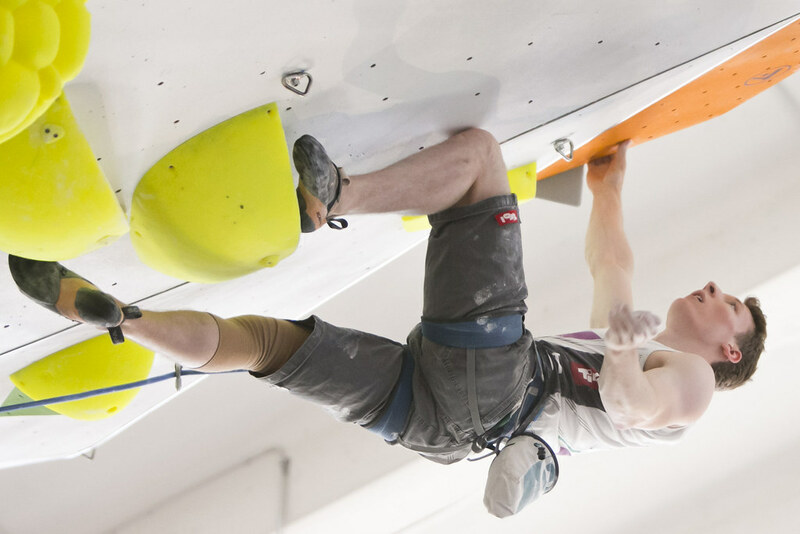 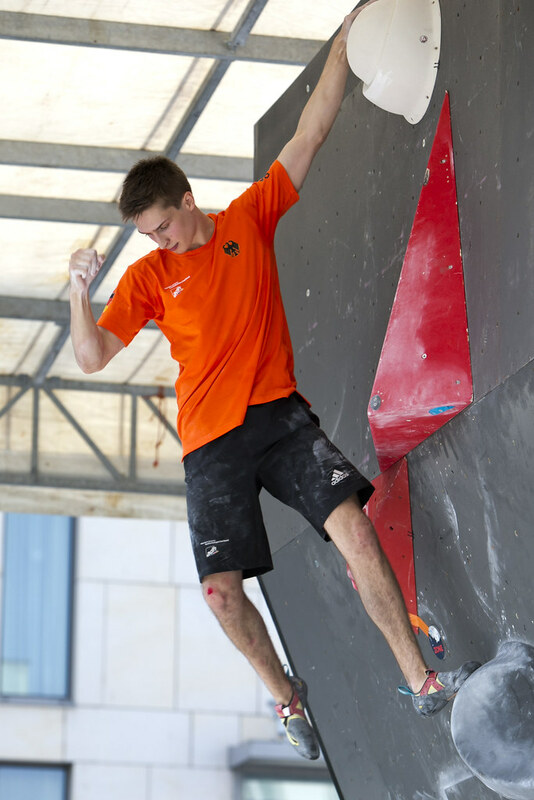 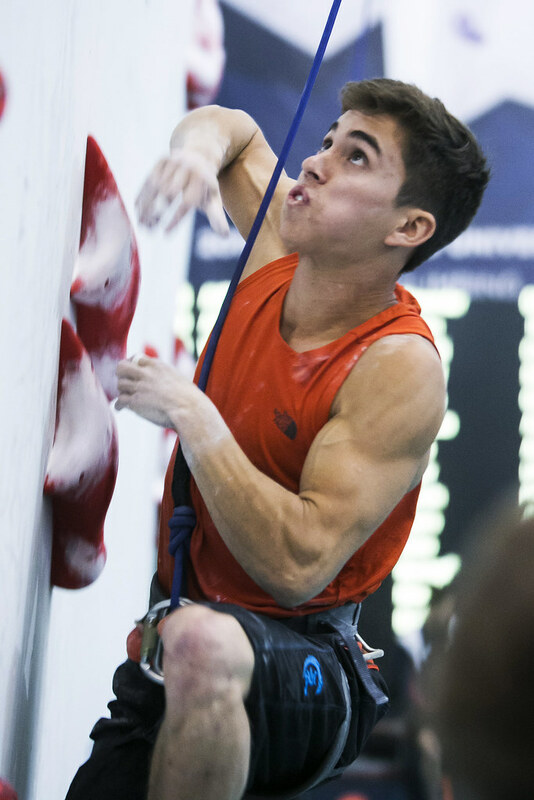 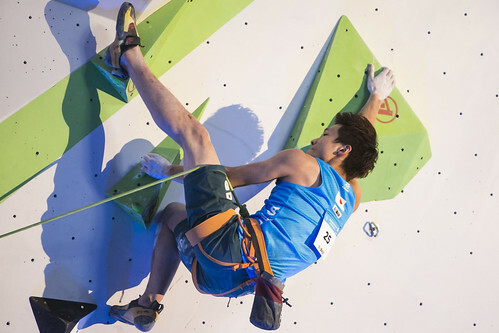 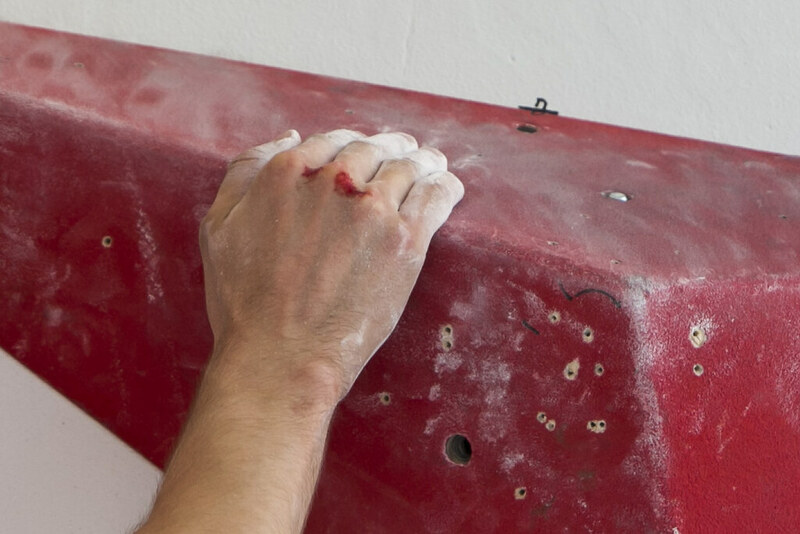 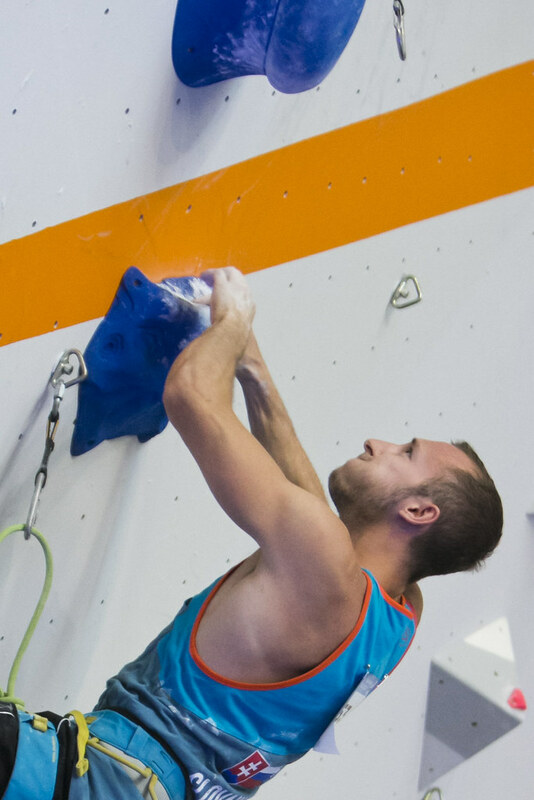 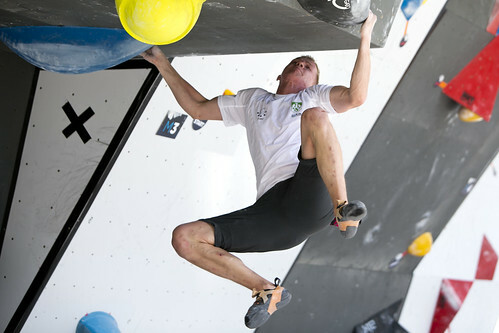 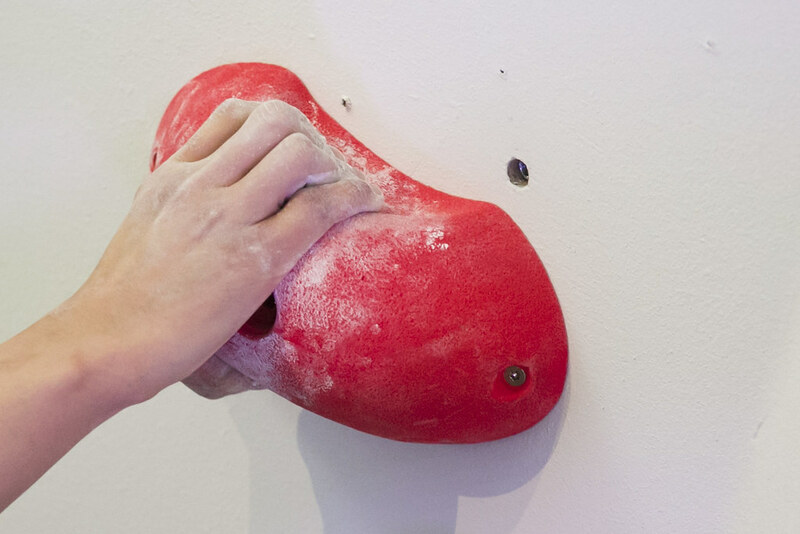 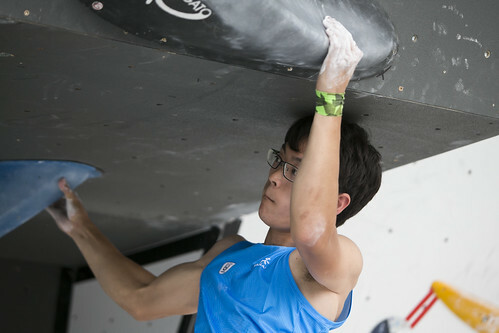 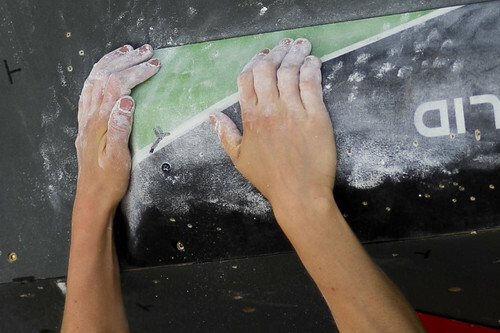 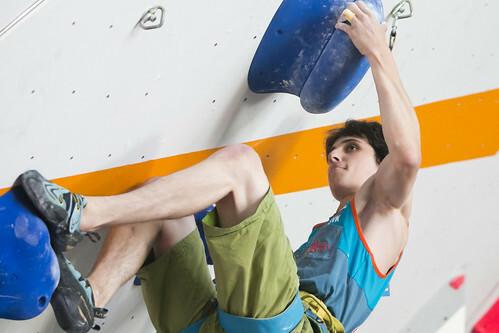 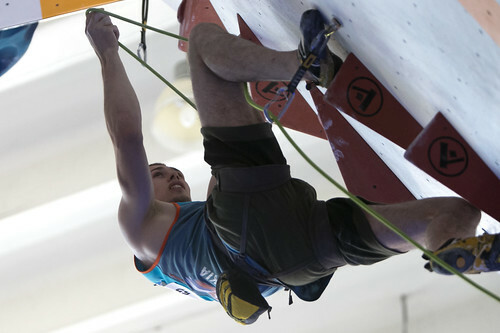 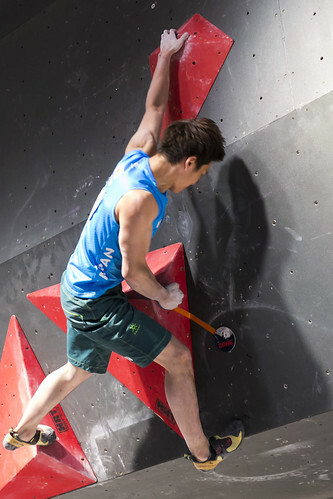 In Bouldering finals in the evening, victor Elias Weiler of Austria - who also placed 2nd in the Combined - was the sole student athlete to top every problem: "In this moment, I am very happy I managed it. 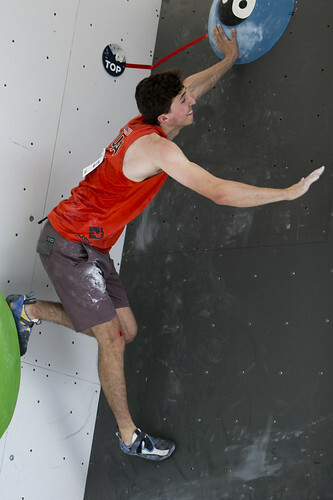 The last boulder was very difficult and I am glad I managed it as the only climber. 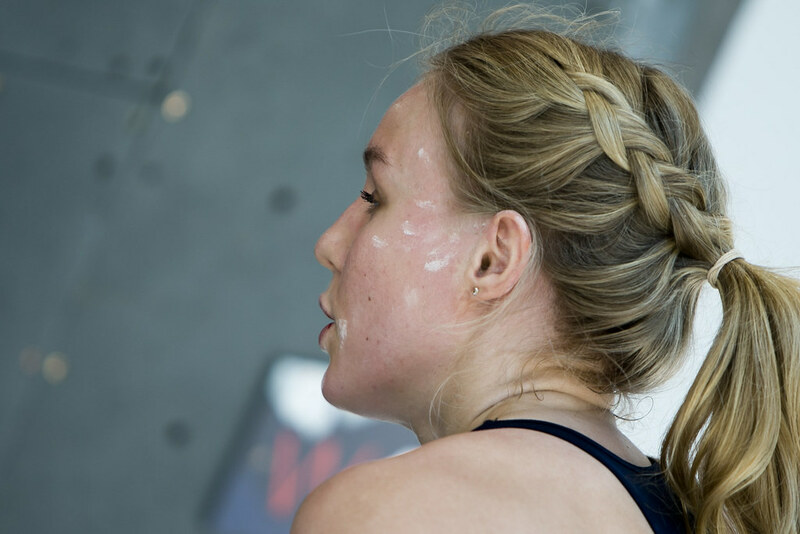 I think the weather helped me today because it was not as hot as yesterday and the climbing was less complicated in such weather. 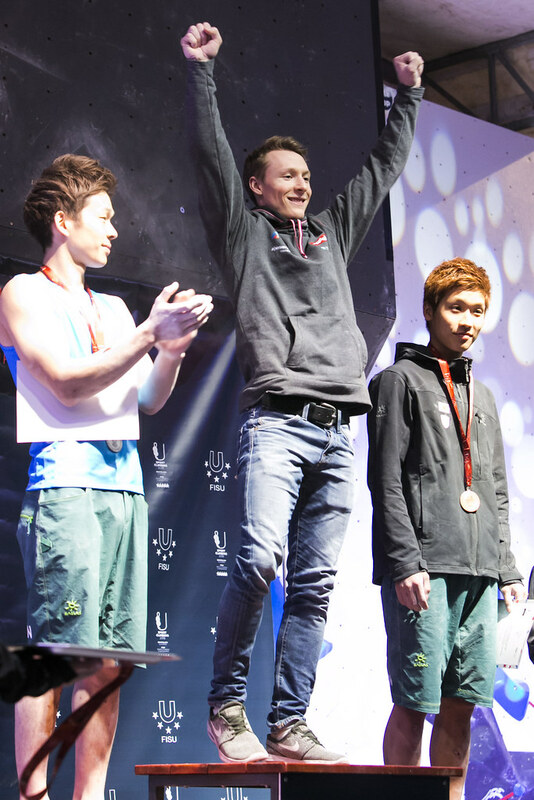 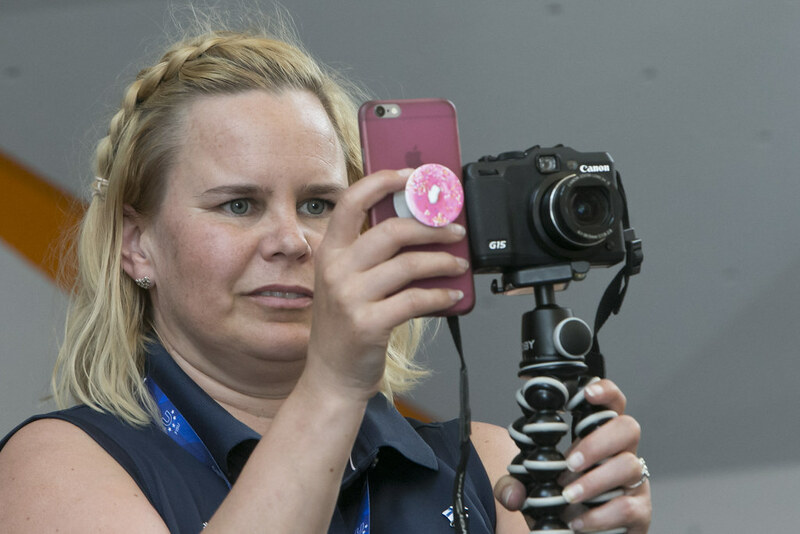 This is my first victory on the international level and I am over the moon." 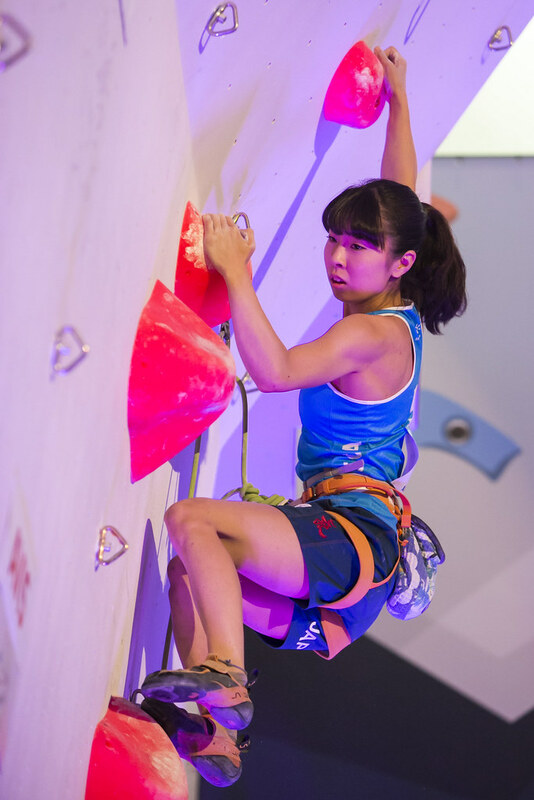 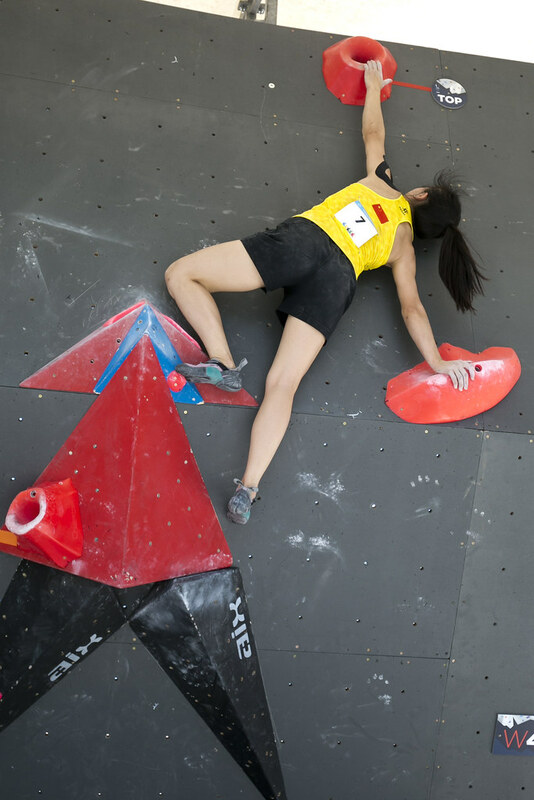 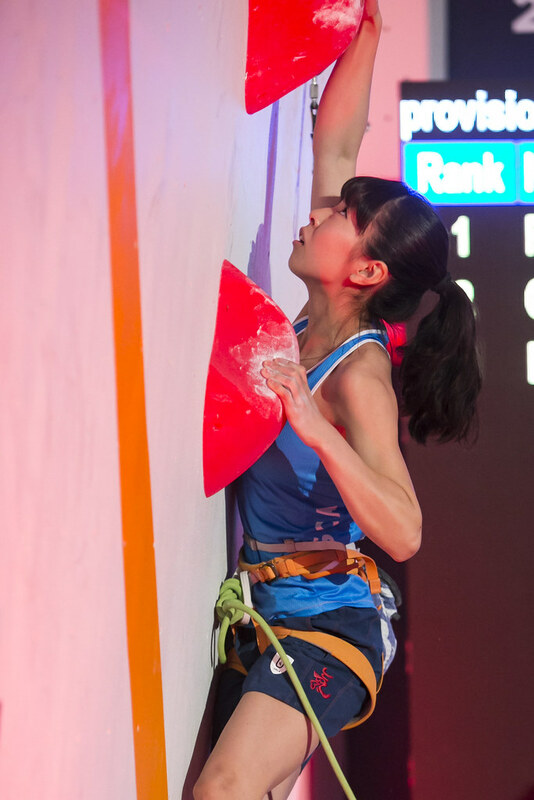 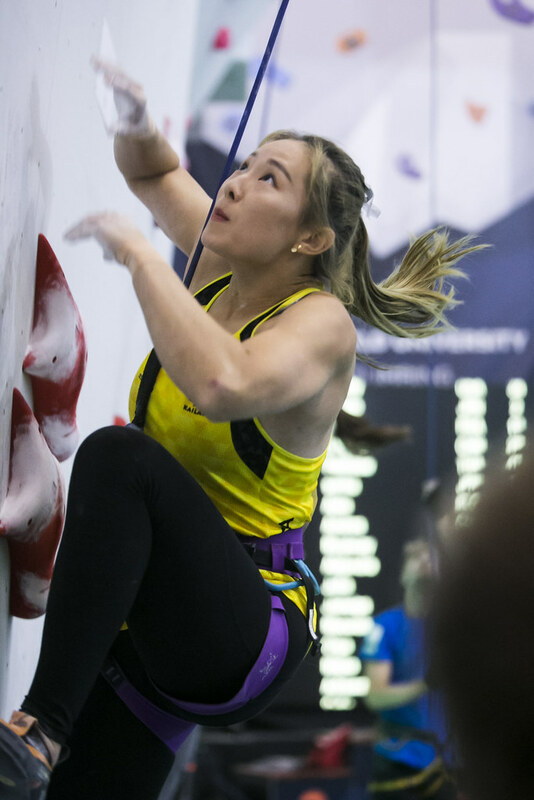 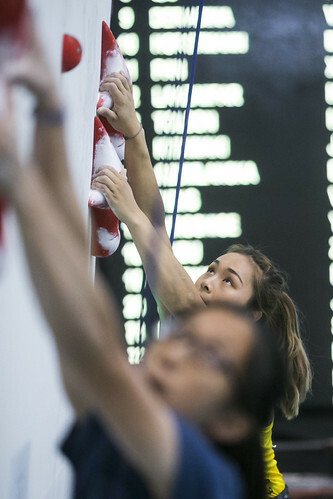 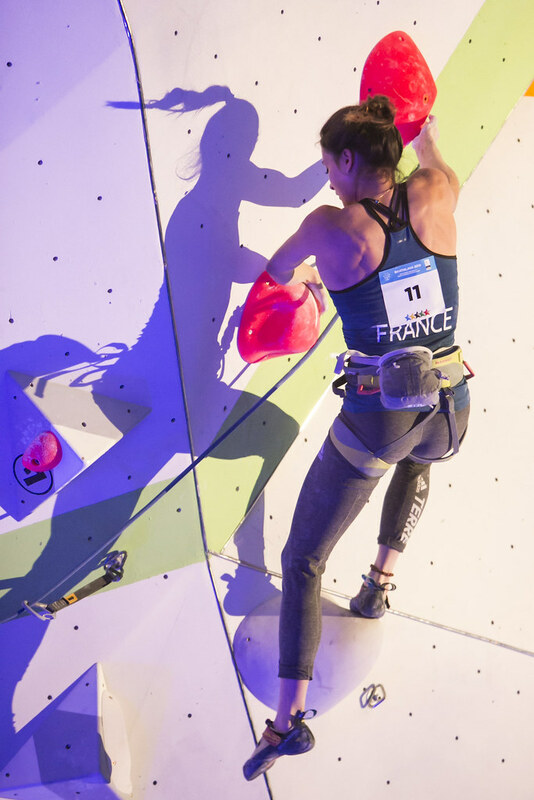 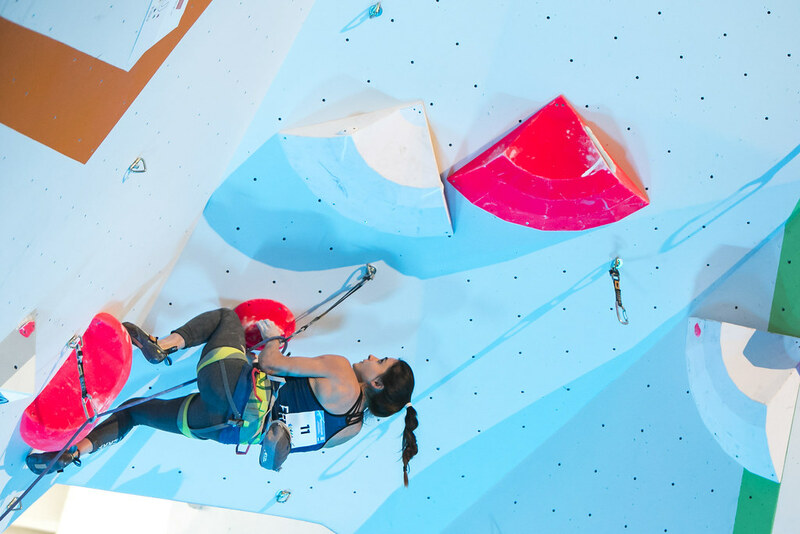 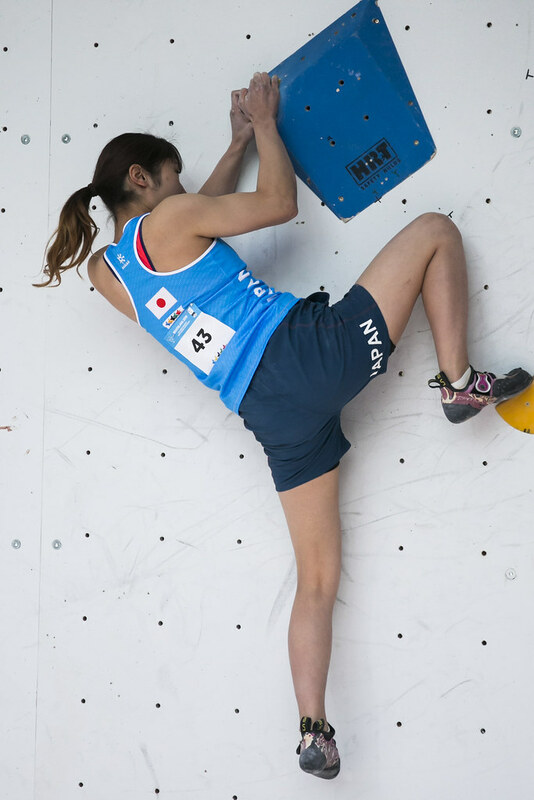 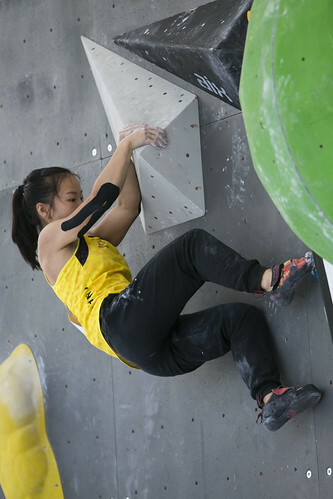 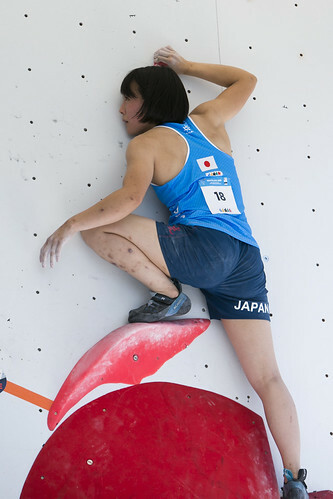 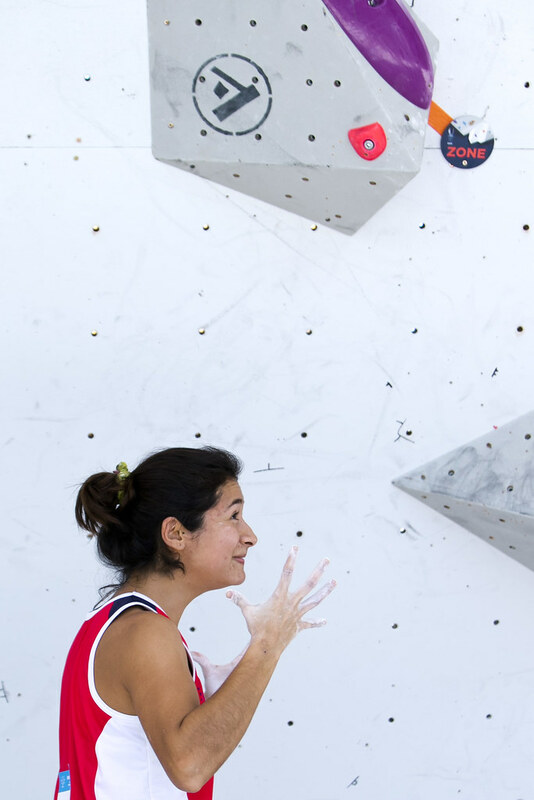 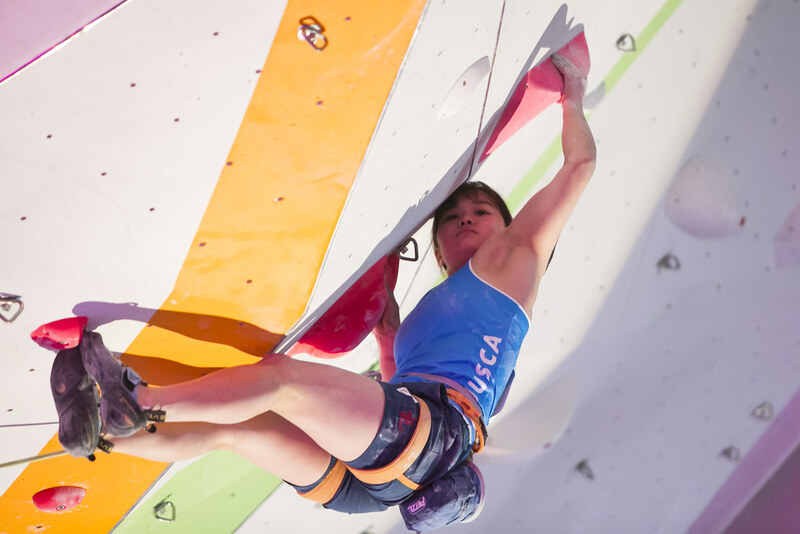 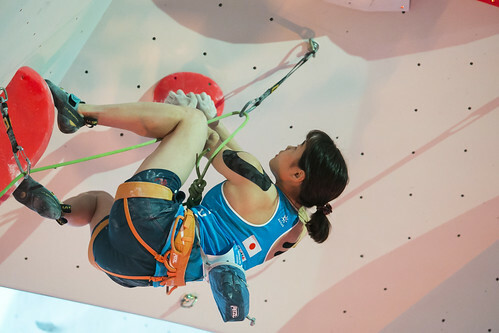 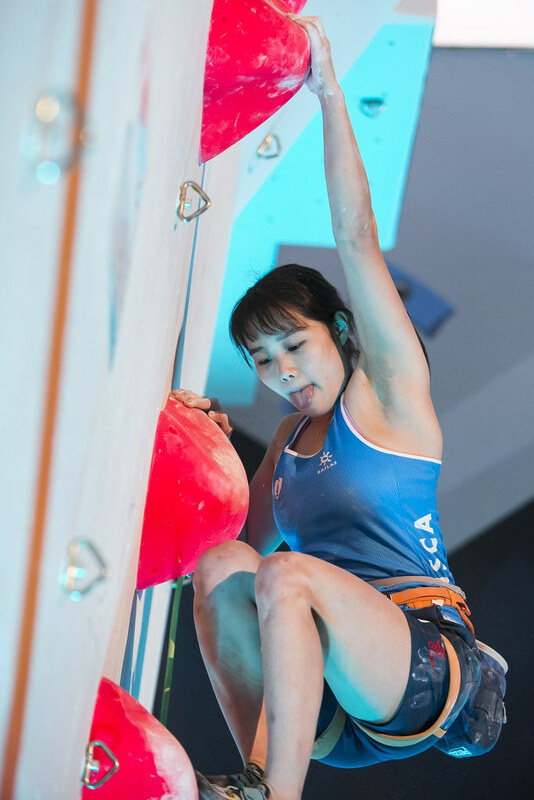 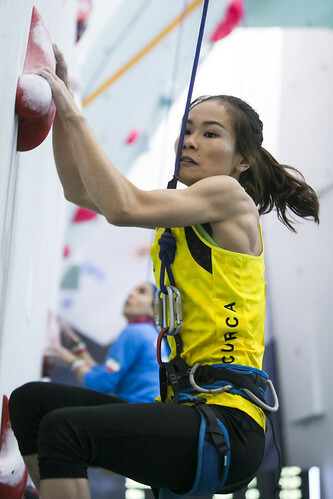 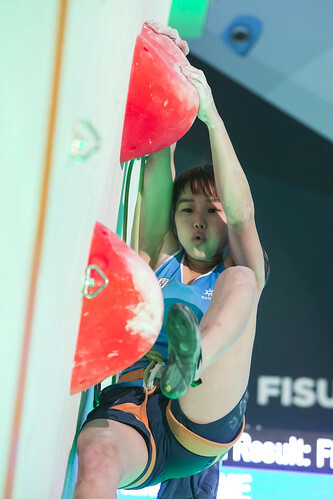 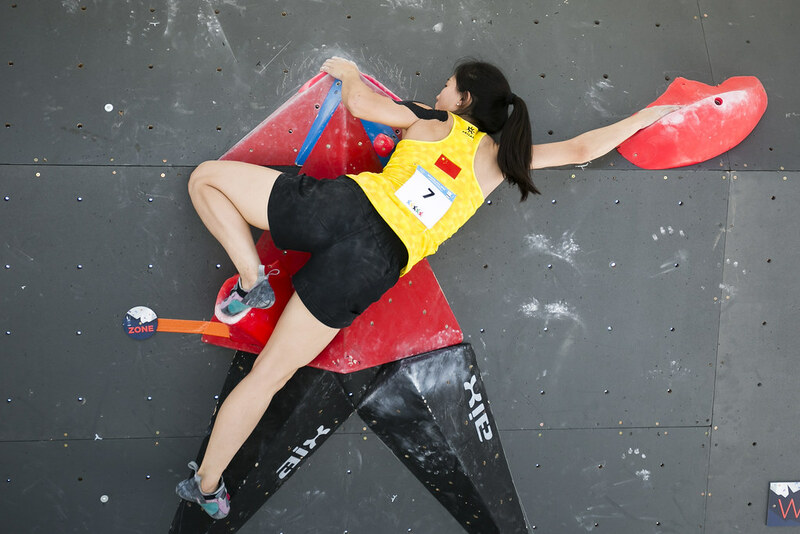 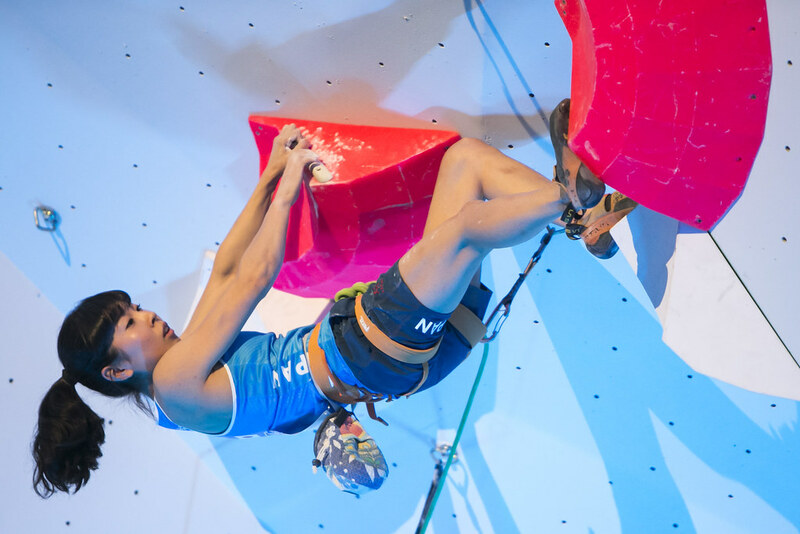 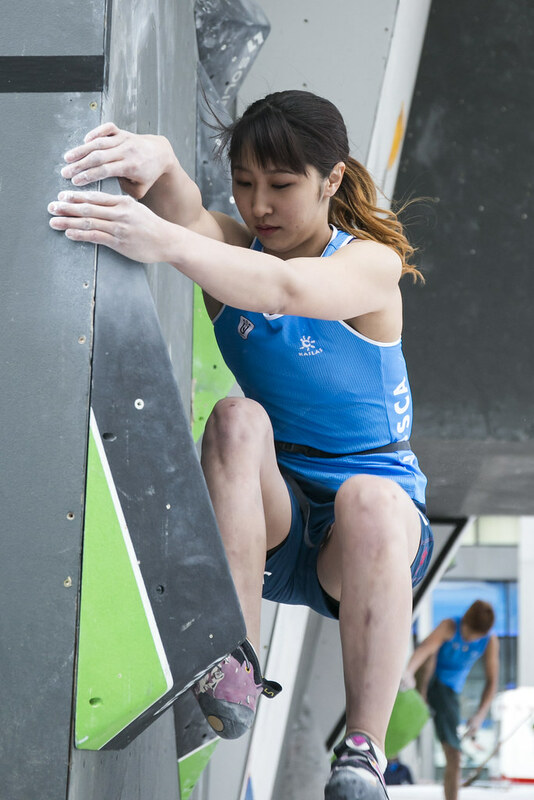 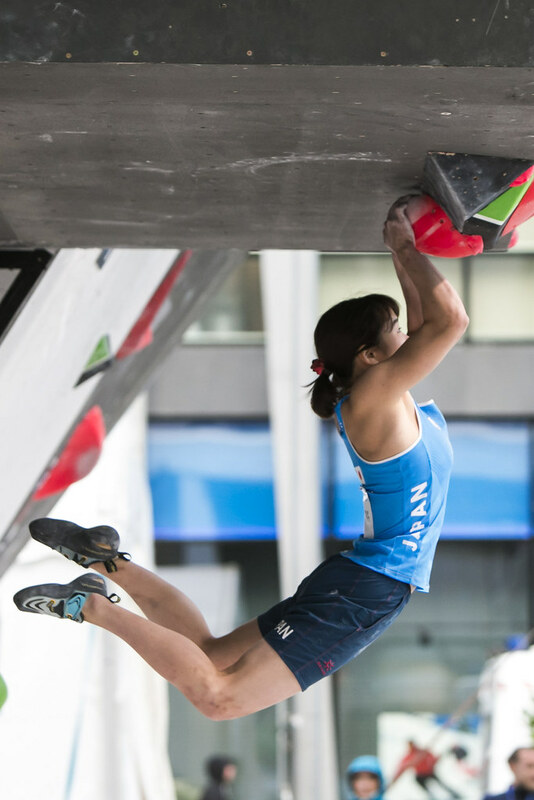 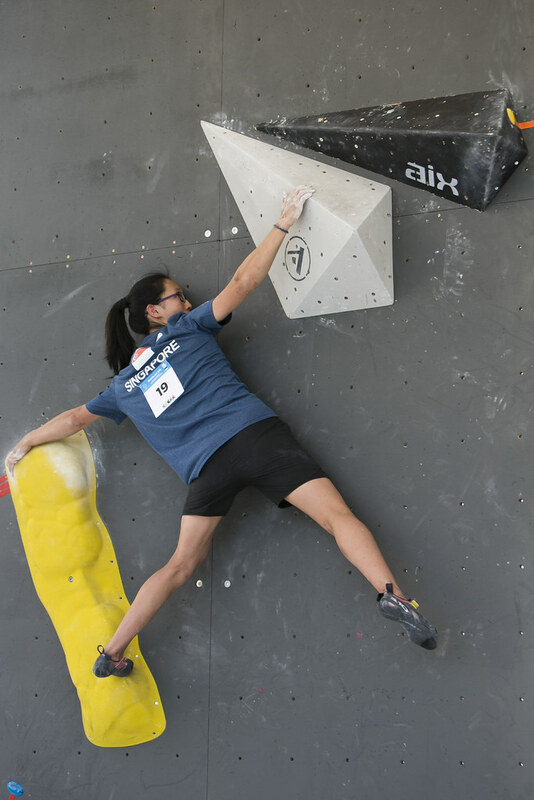 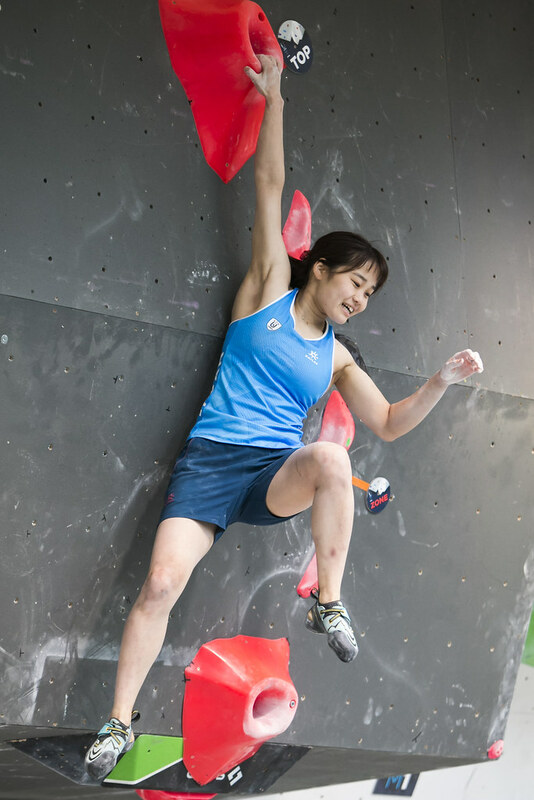 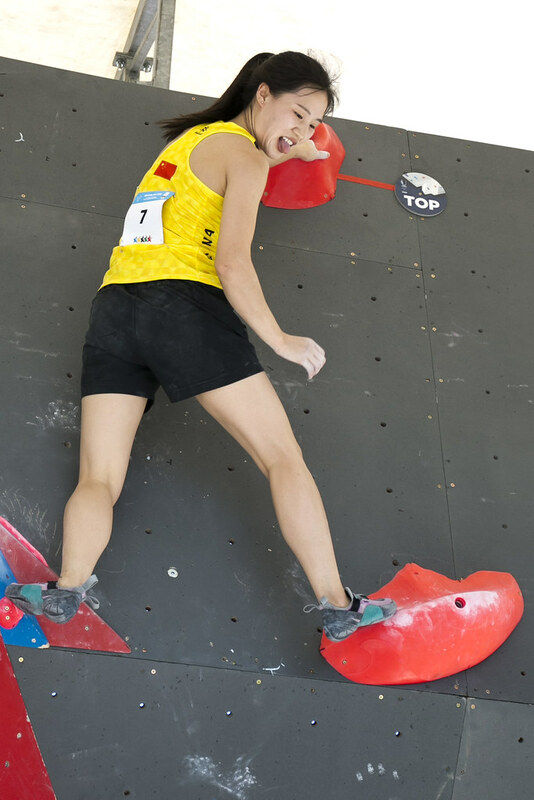 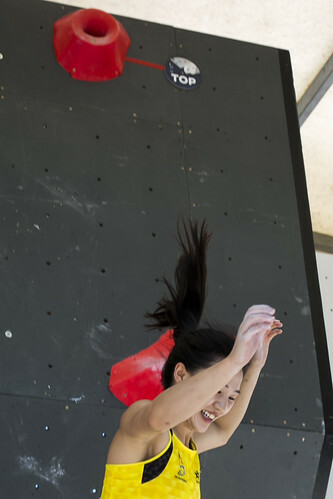 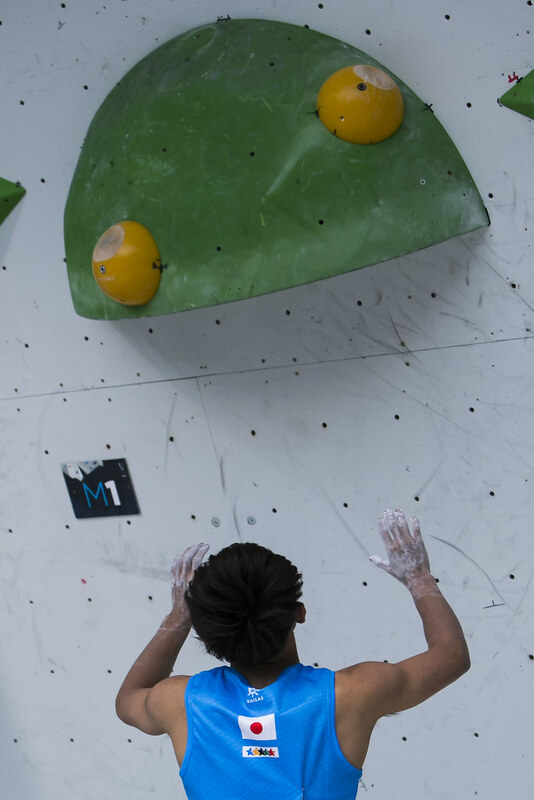 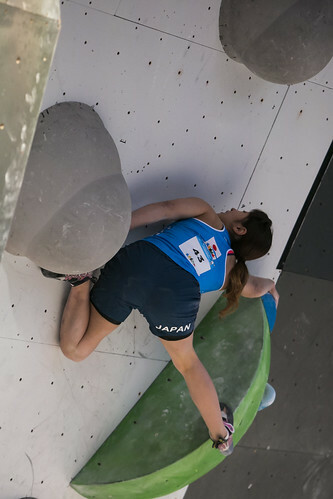 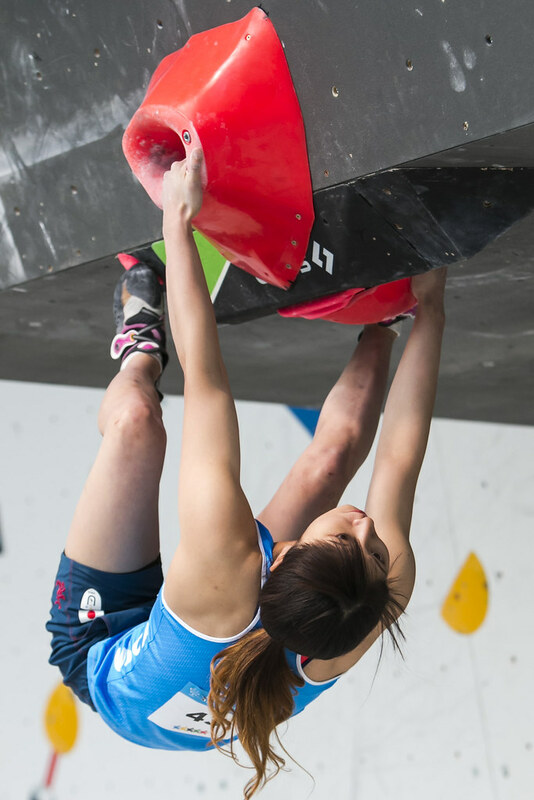 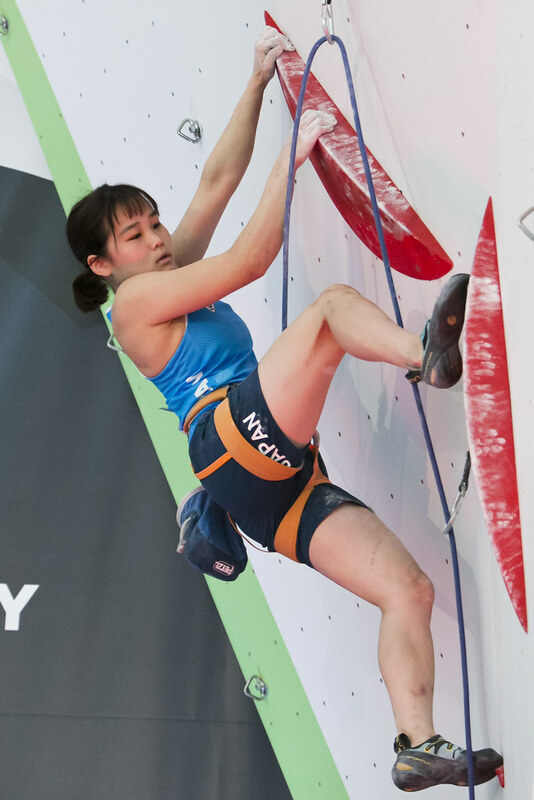 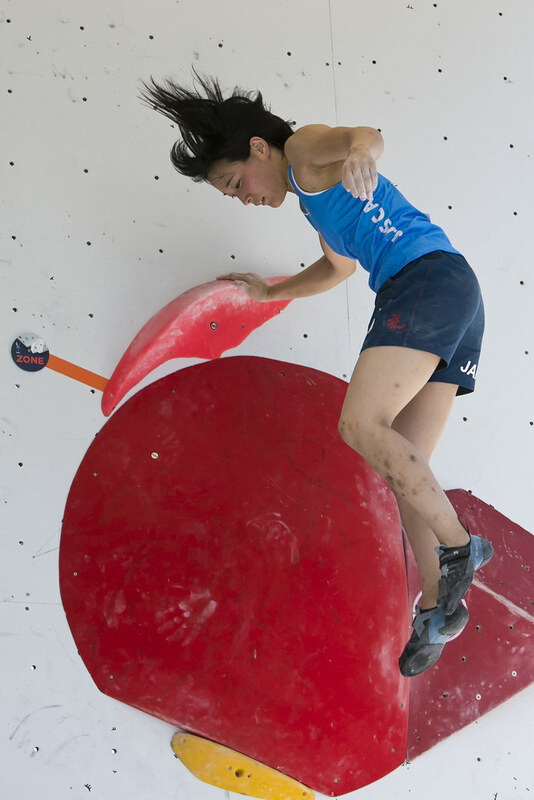 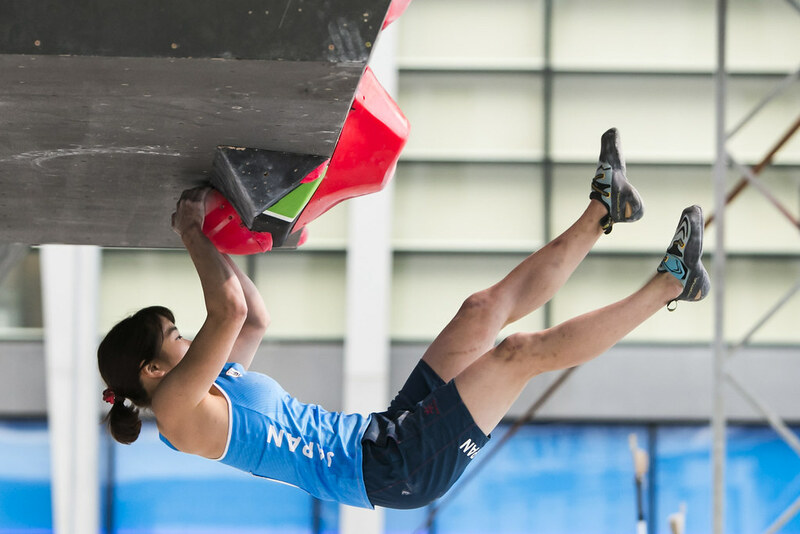 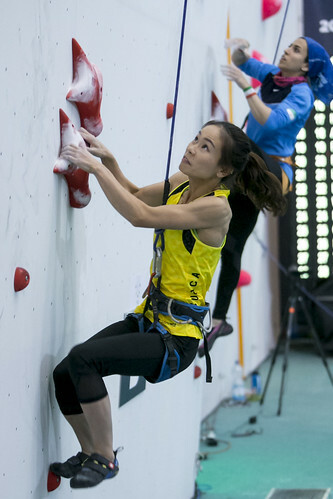 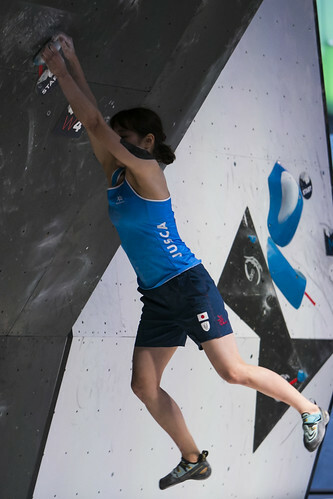 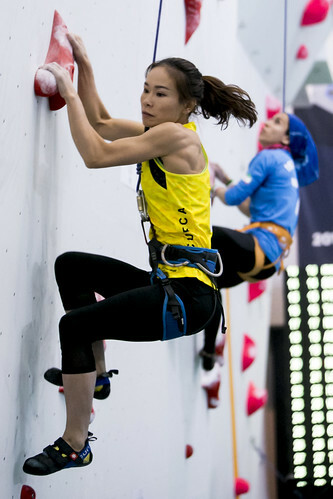 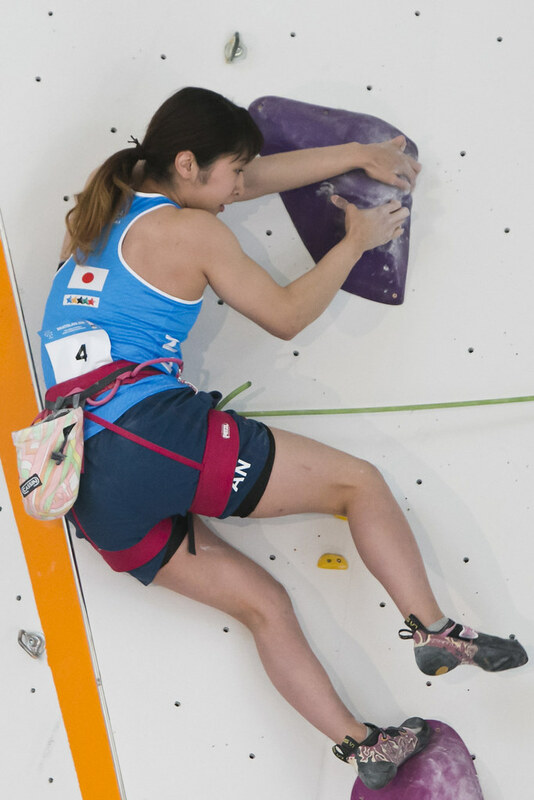 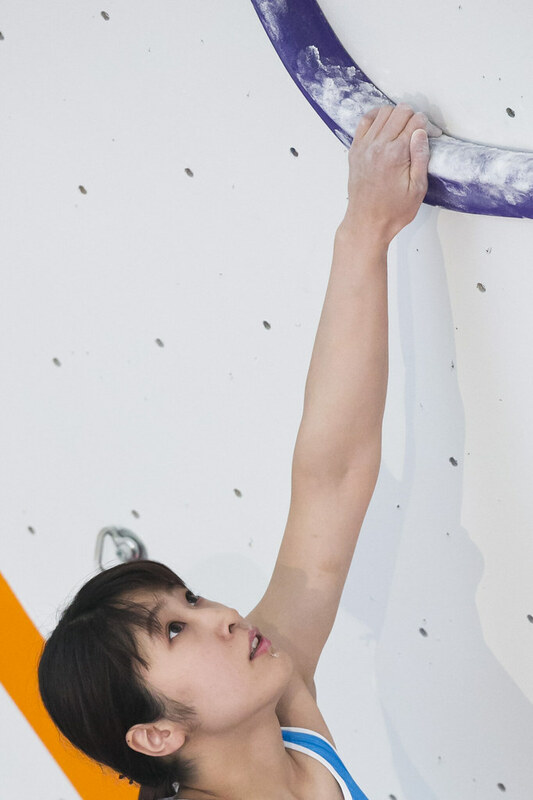 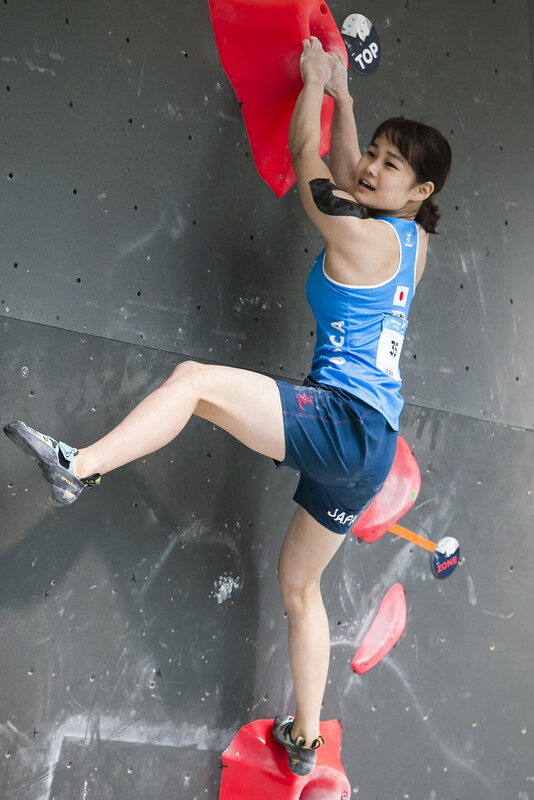 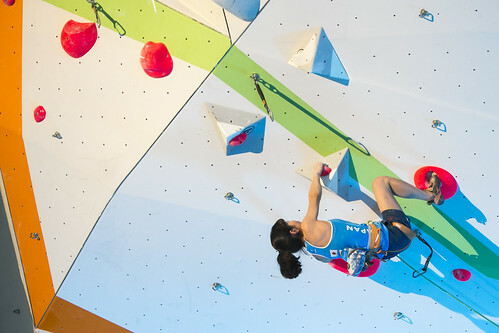 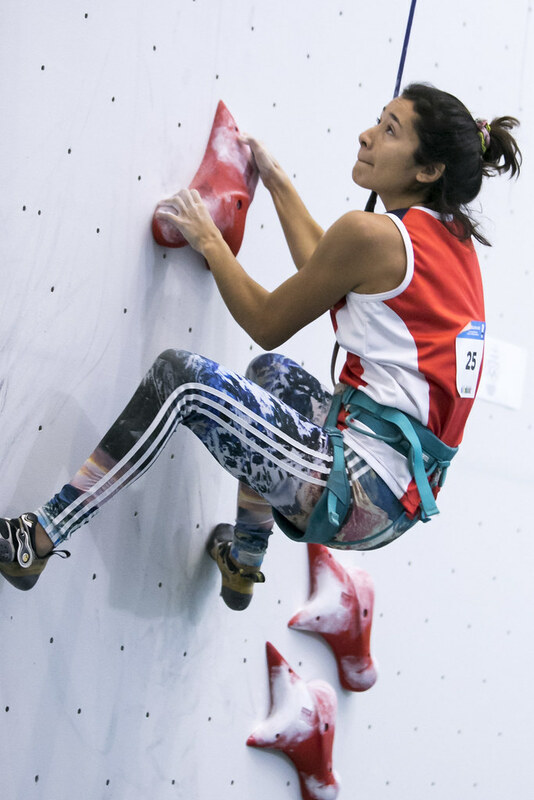 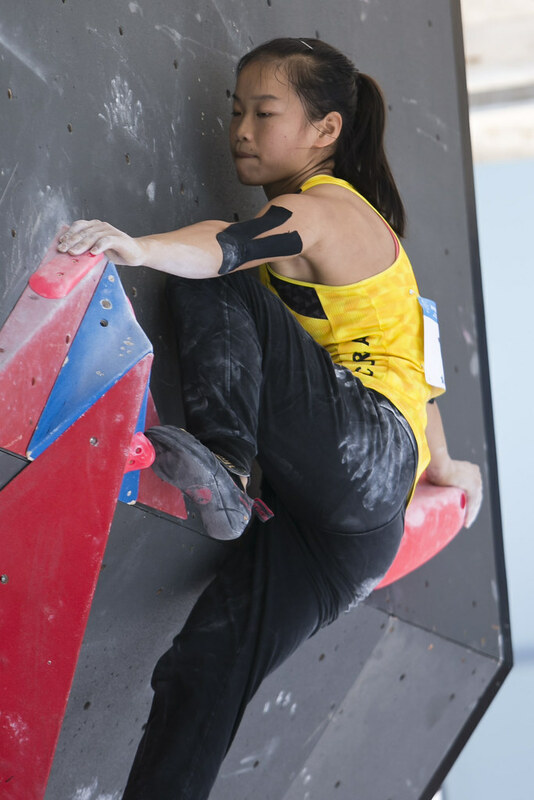 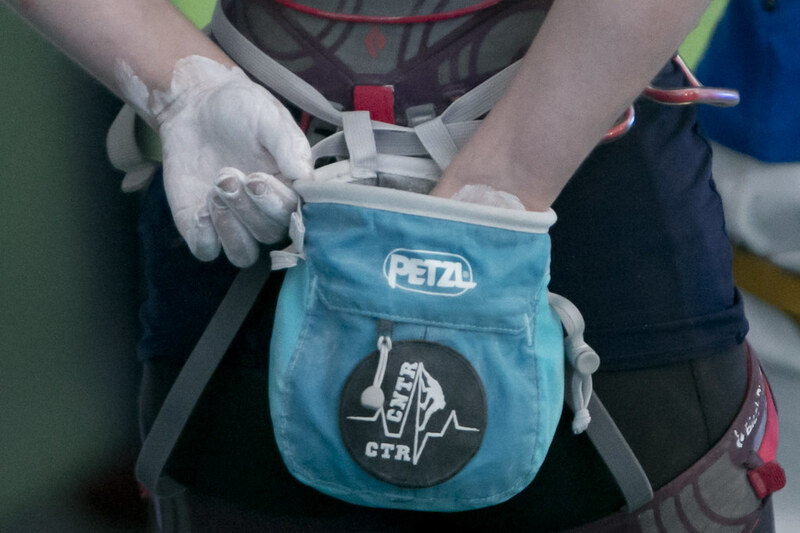 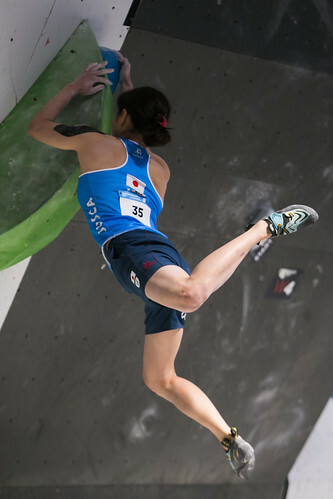 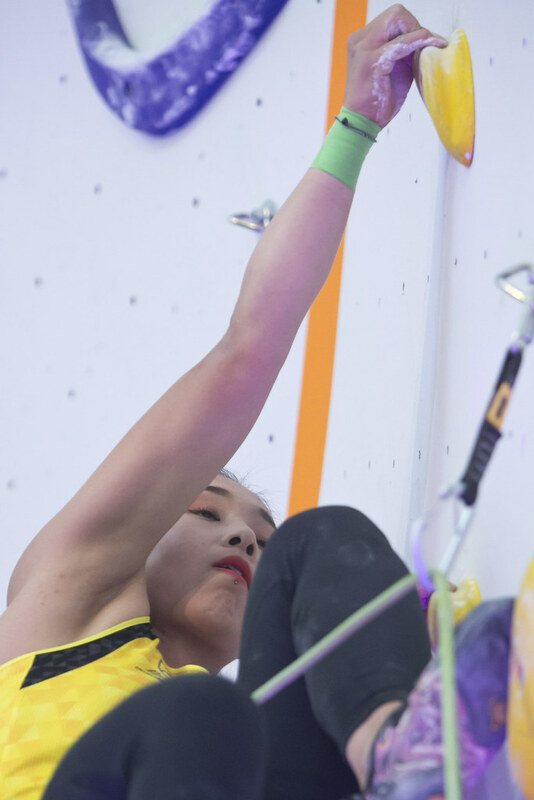 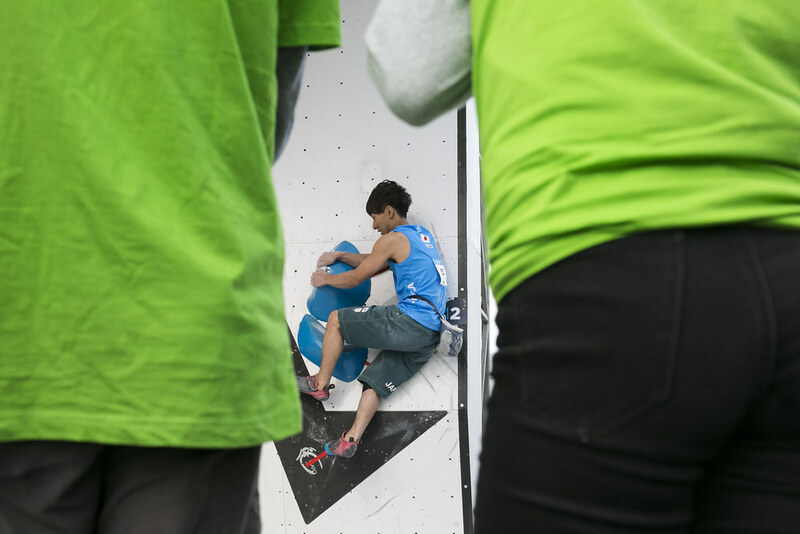 On the final day of the competition, Mei Kotake (JPN) rose to the highest point on the women's route of the Lead wall, and 2nd place in the Combined results: "It was pretty difficult but now I feel relieved and happy. 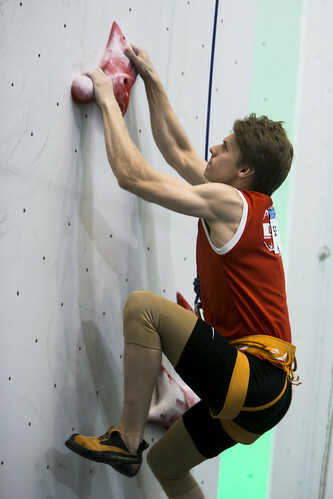 I wanted to get the Top but I am happy for this result. 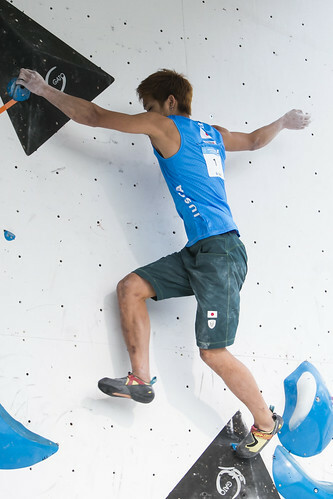 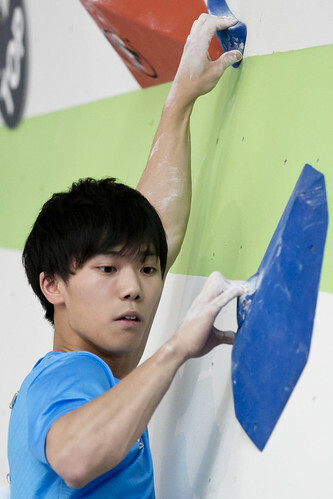 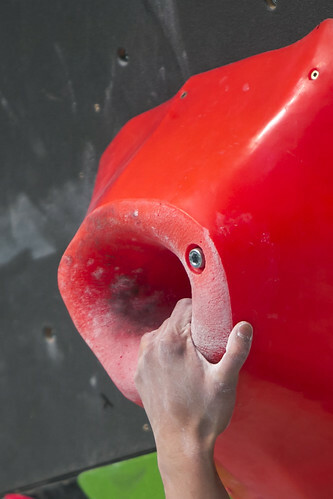 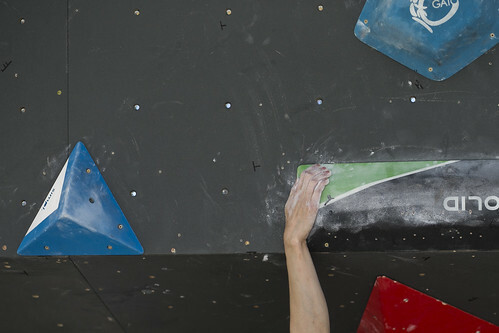 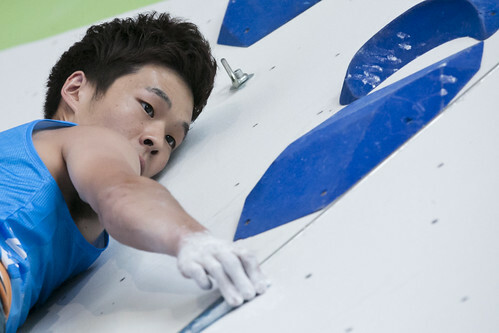 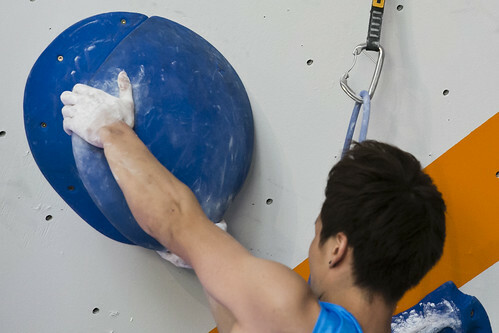 Yesterday, I focused on my climbing in Bouldering but my body condition was not very good because of the cold weather. 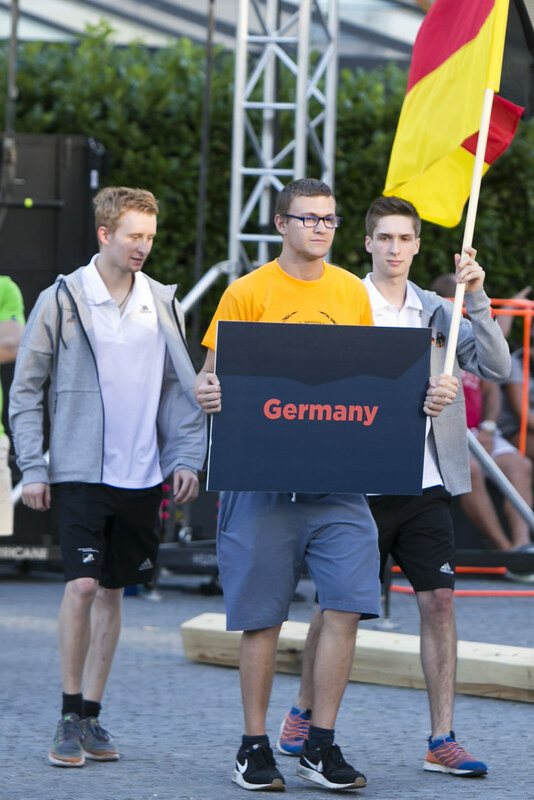 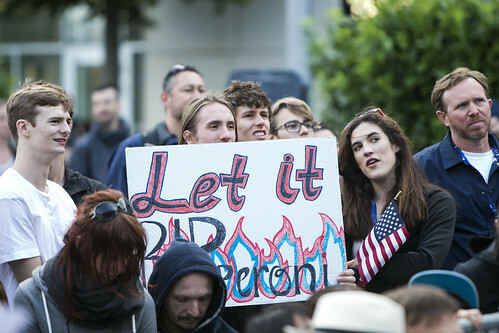 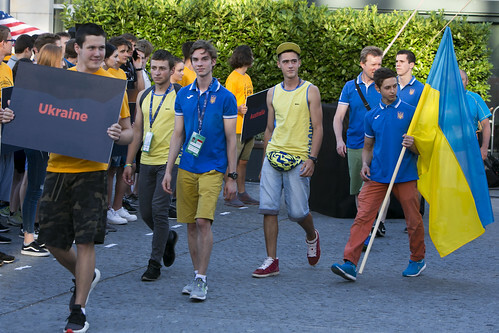 Now we stay in Austria before another World Cup. 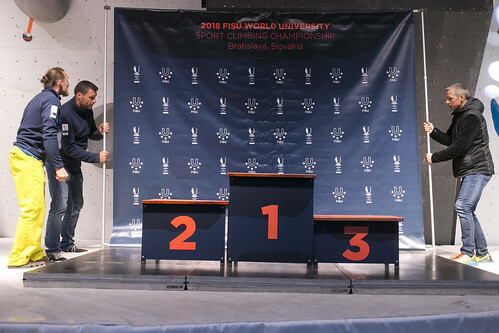 I already graduated last March. I studied nutrition in Tokyo. 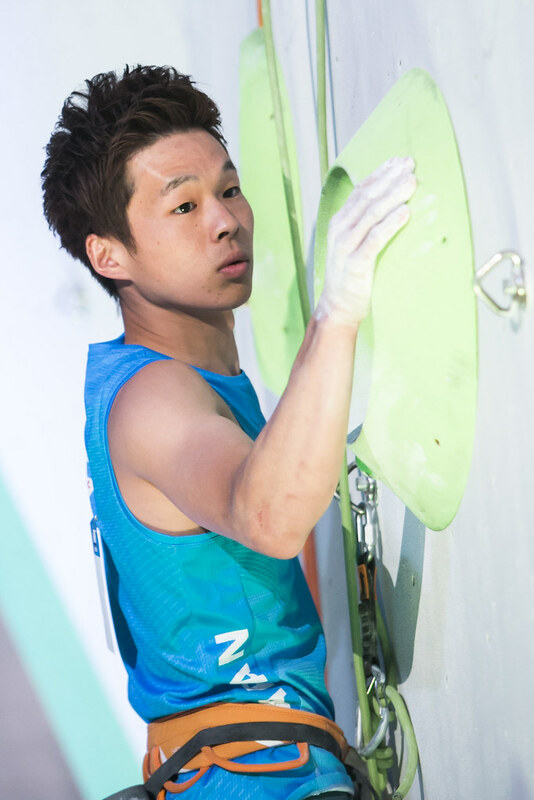 Now, I will only focus on climbing thanks to the support of my team and sponsors." 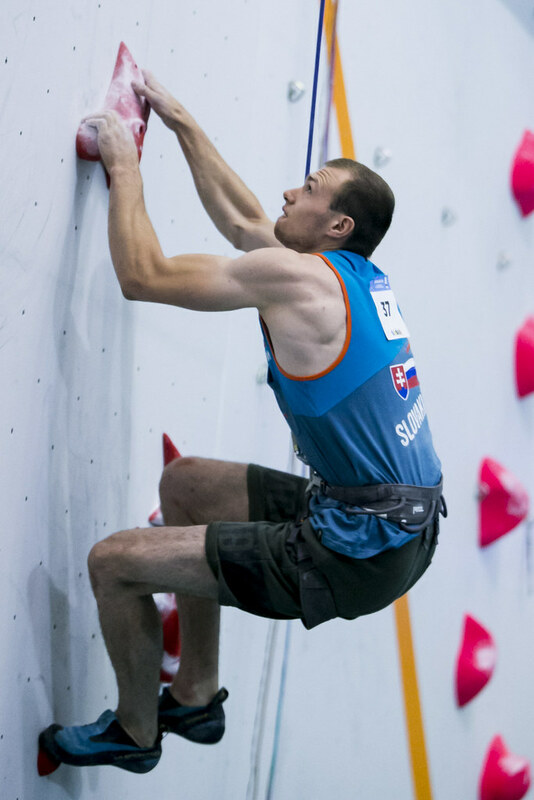 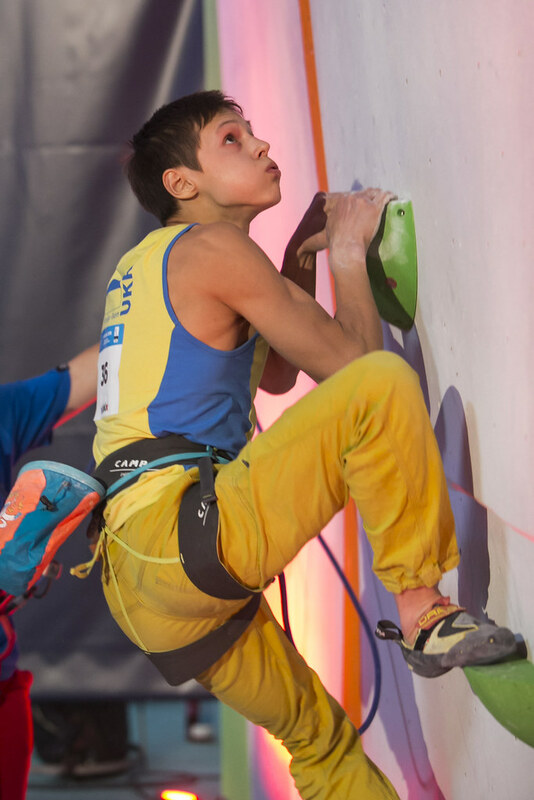 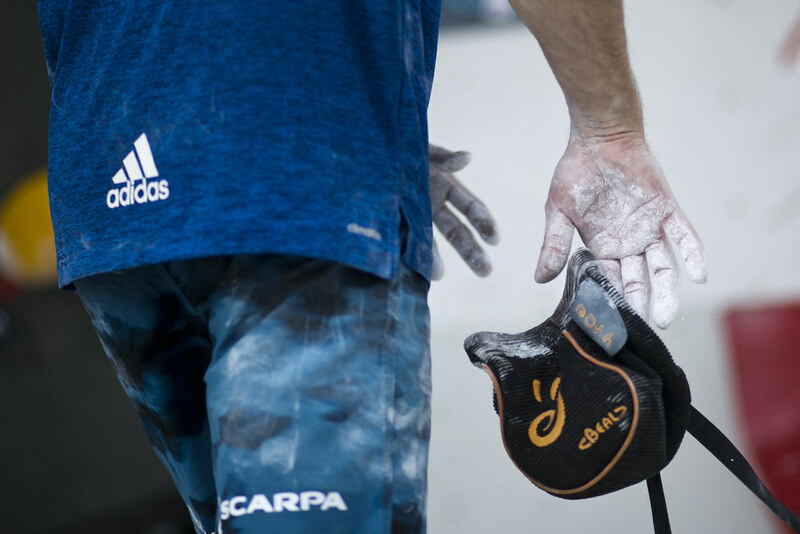 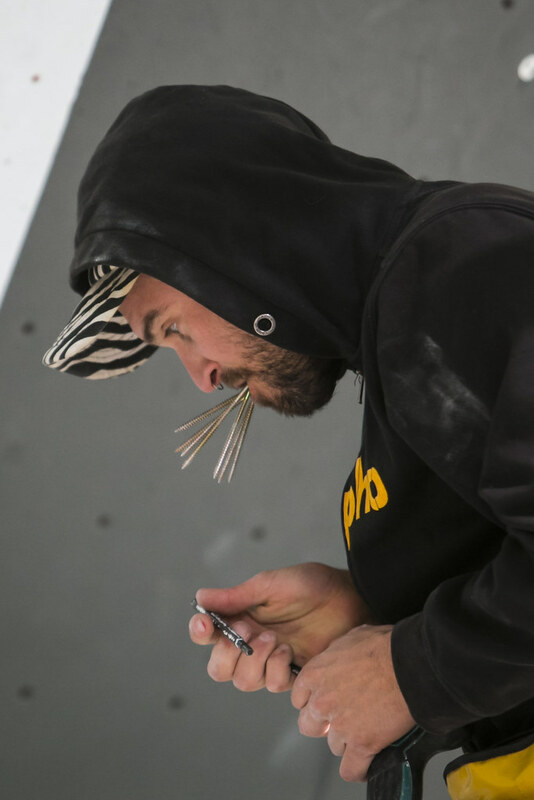 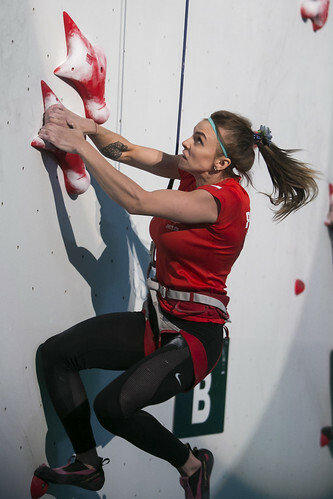 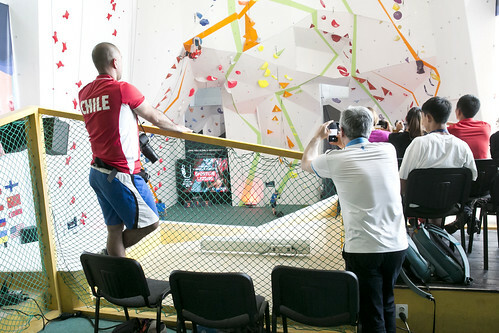 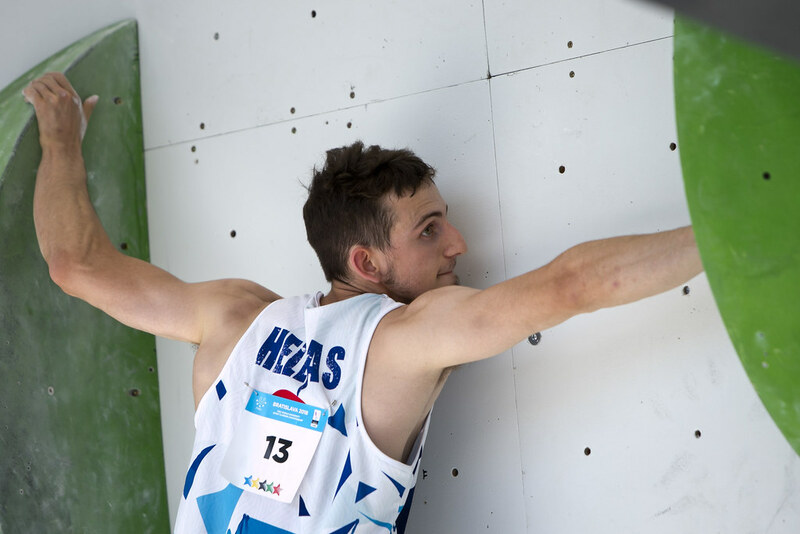 Fedir Samoilov gave the fans one last exciting performance by reaching the top of the tall climbing wall before time expired to secure both the Combined and Lead title: "I think the route was really perfect. 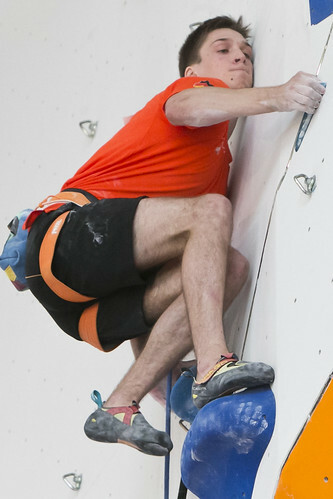 It was quite hard but I like it like this. Everything was perfect. 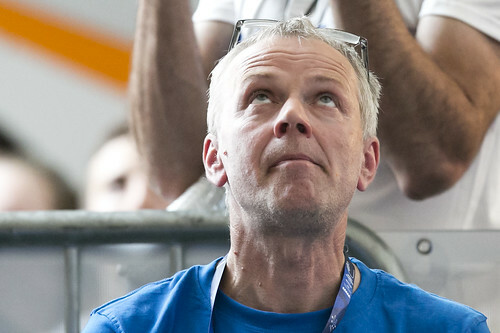 I really like the routes of the rout-setter Martin Zbranek. 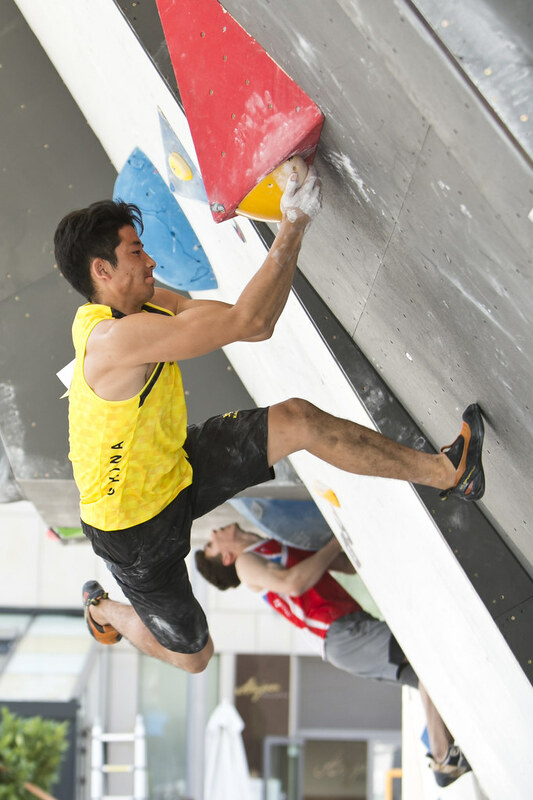 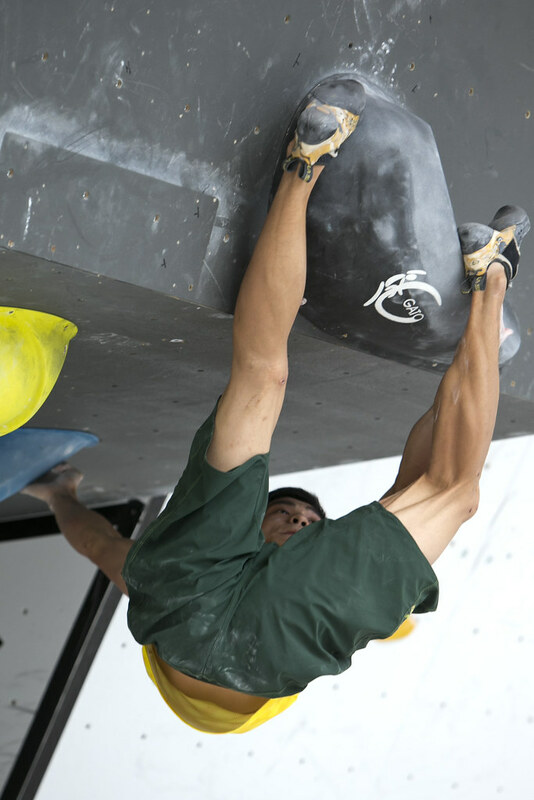 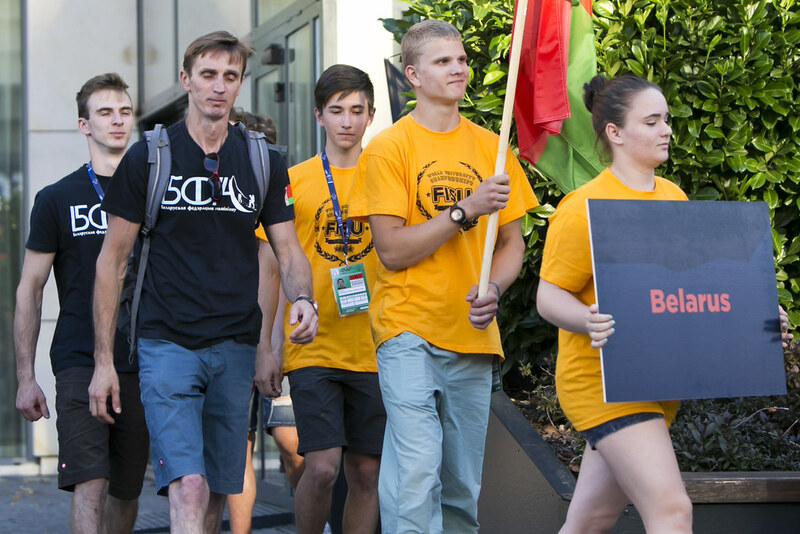 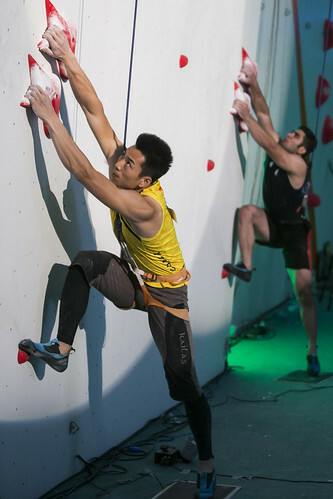 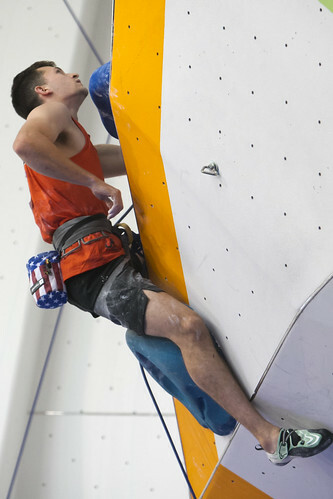 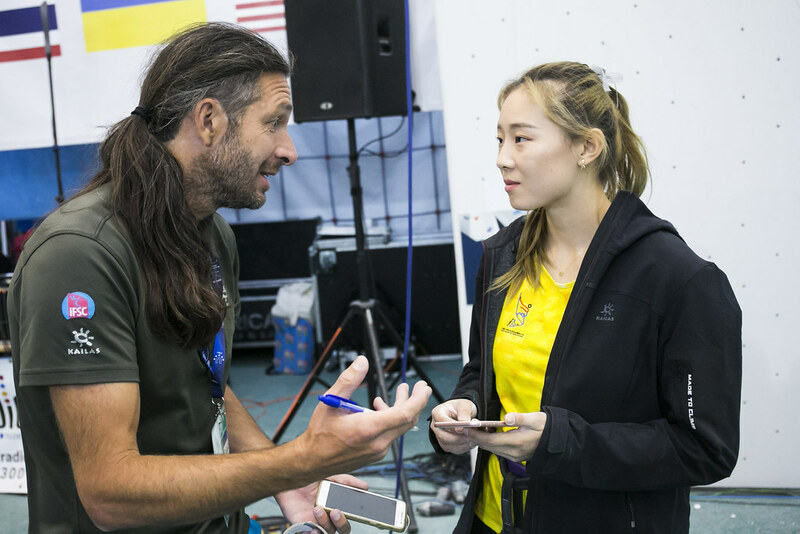 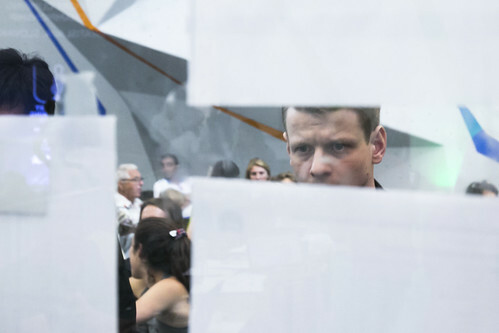 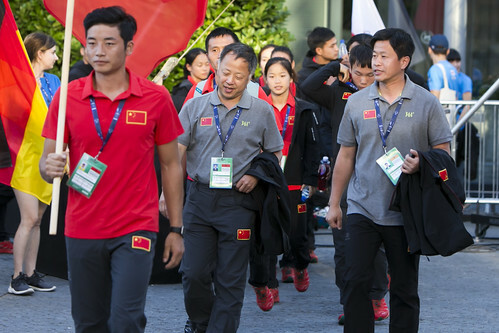 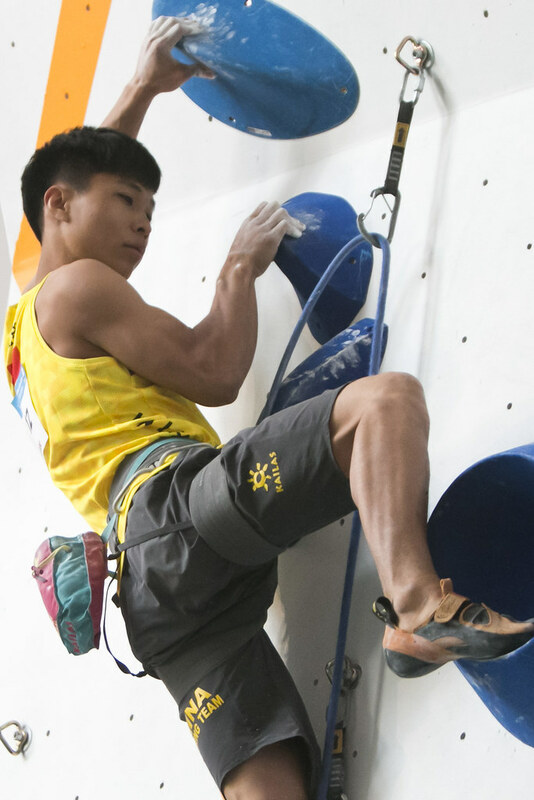 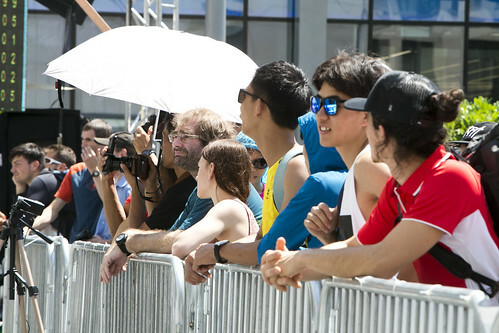 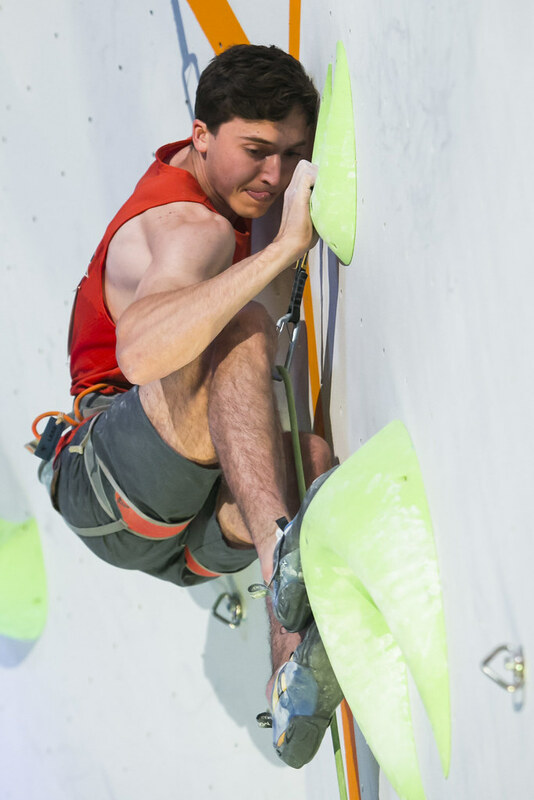 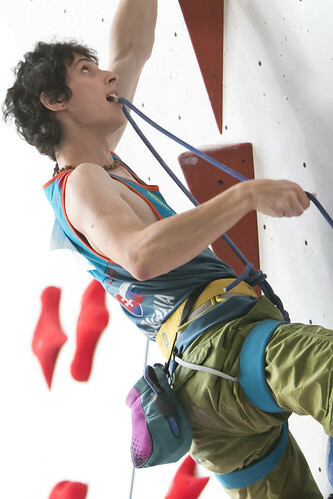 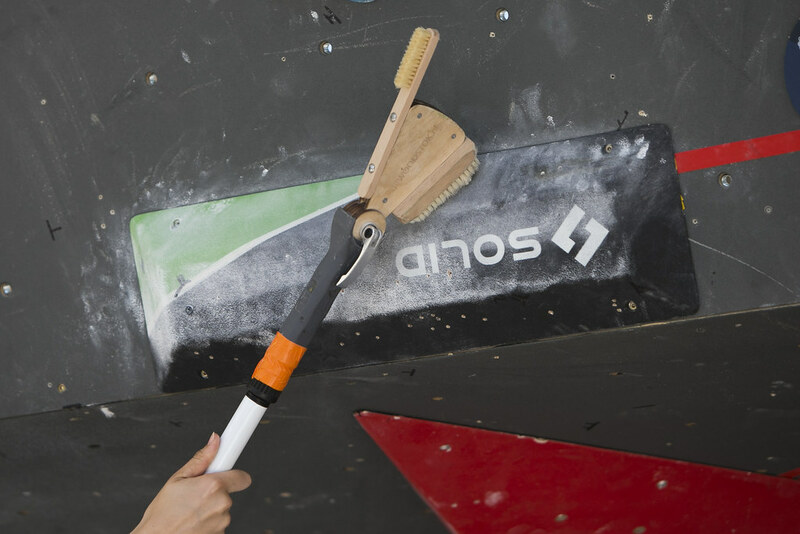 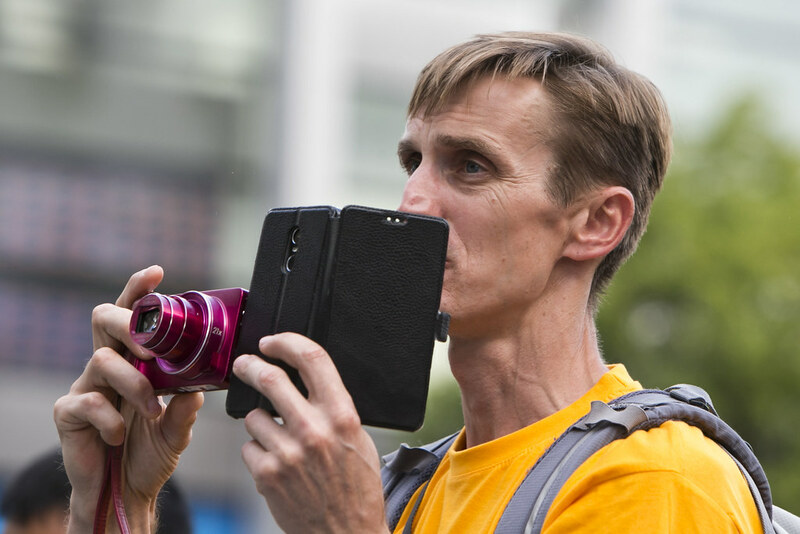 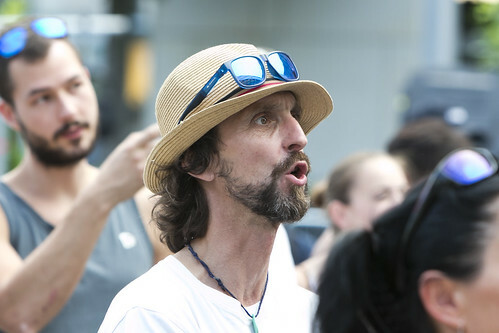 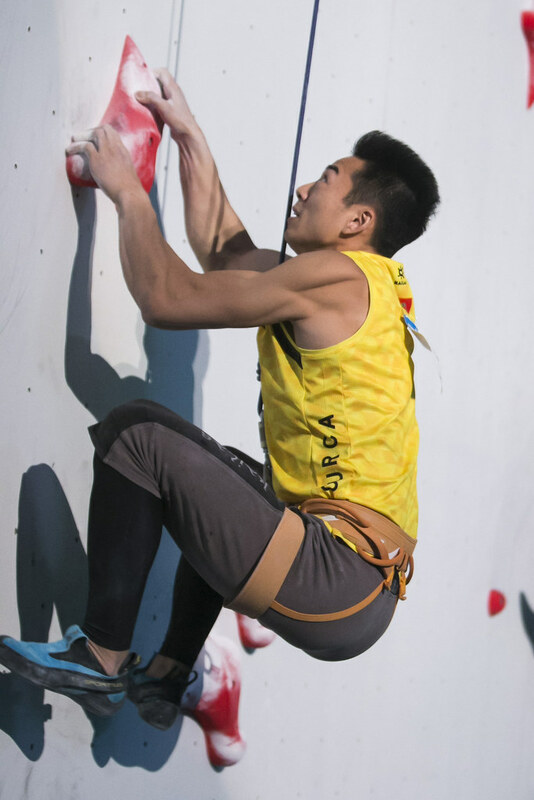 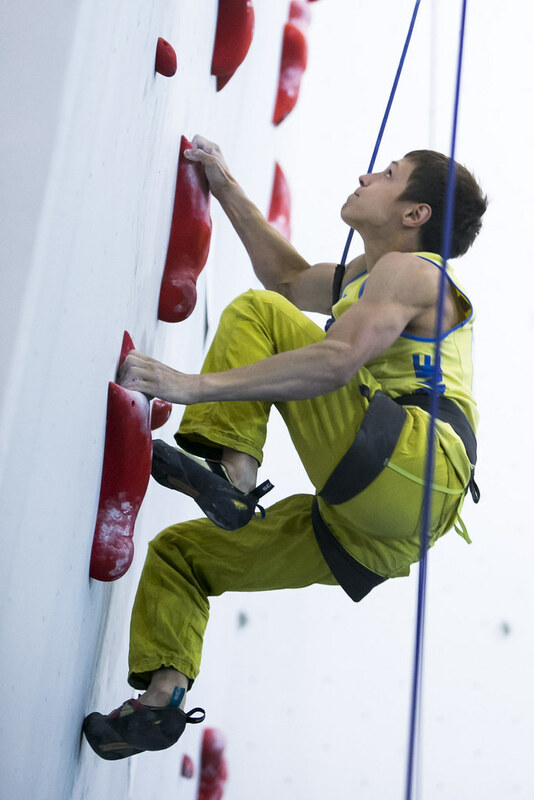 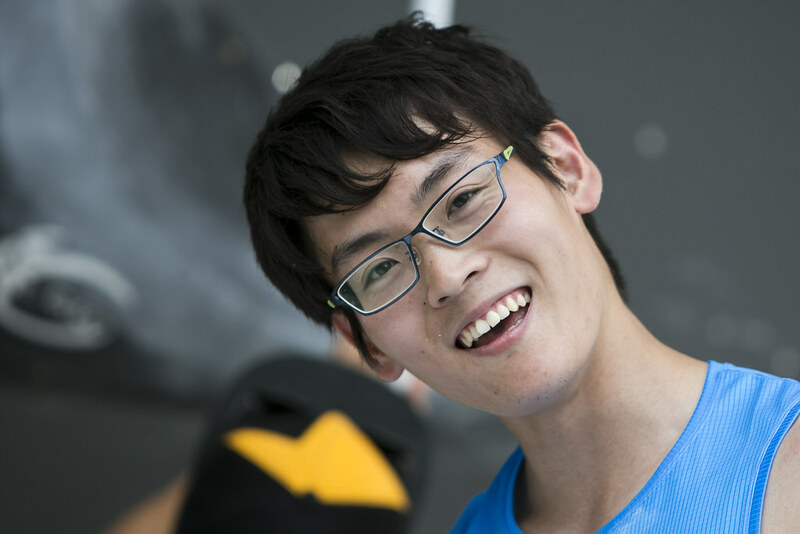 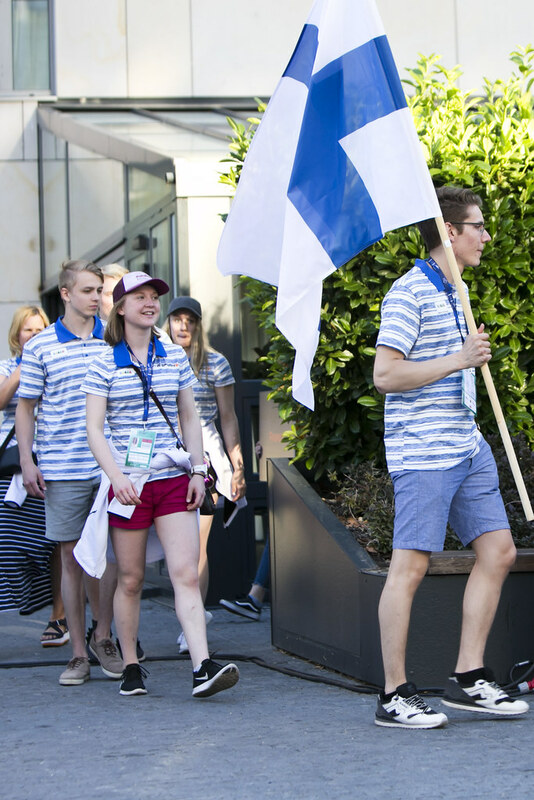 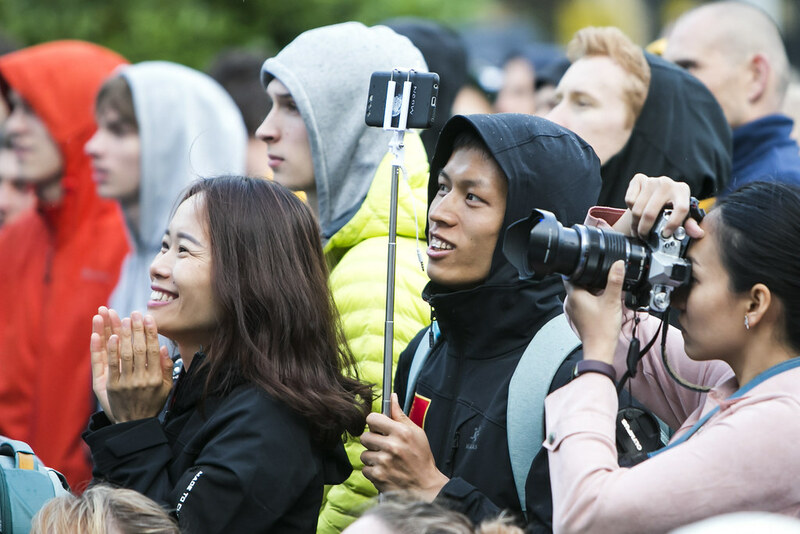 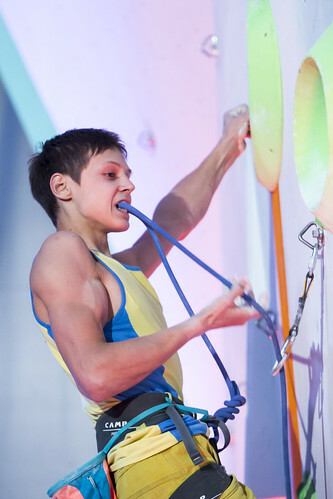 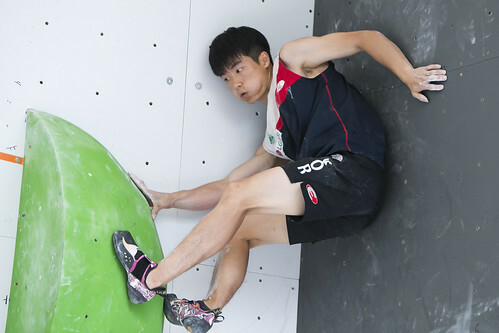 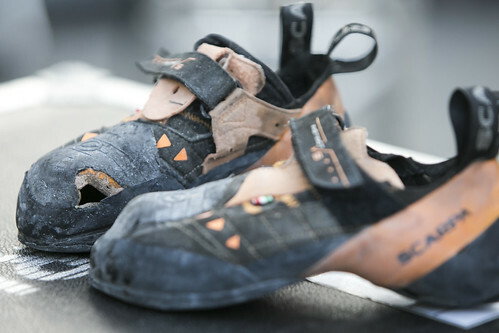 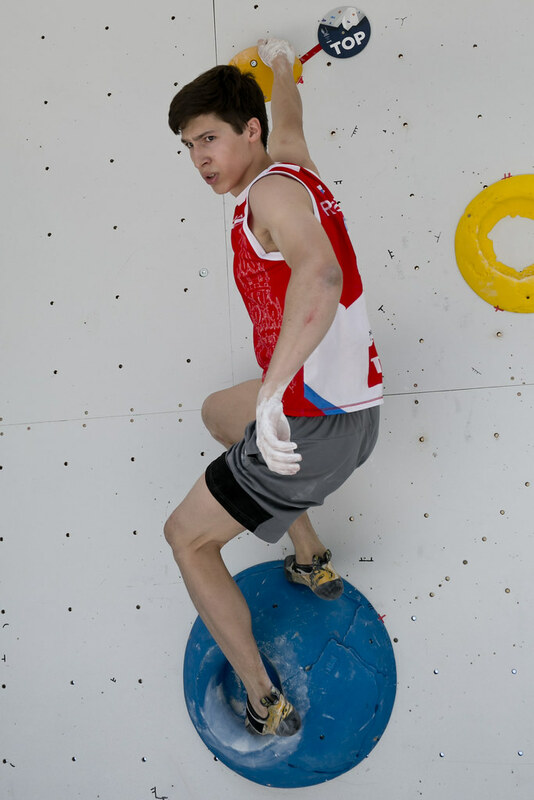 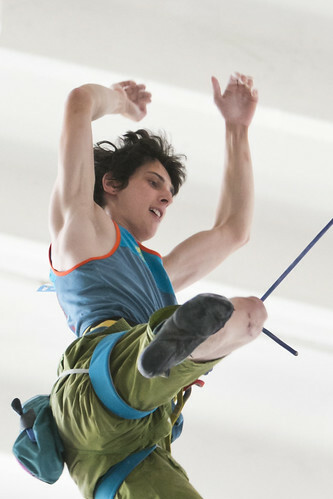 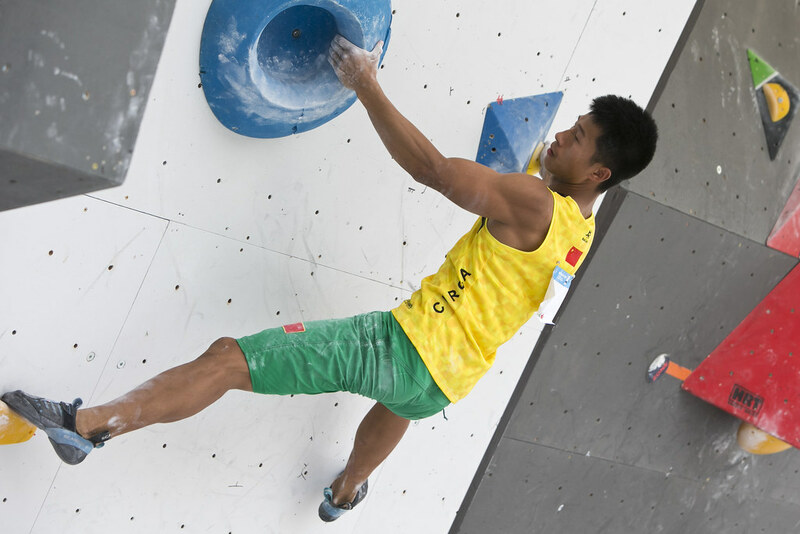 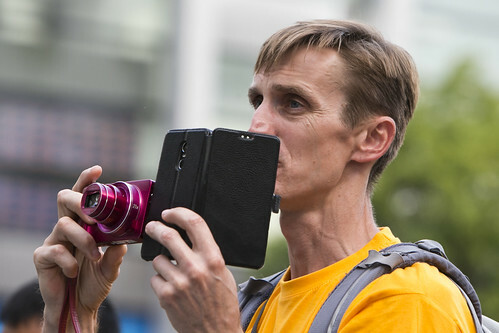 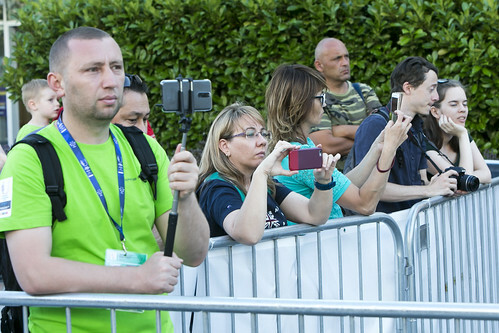 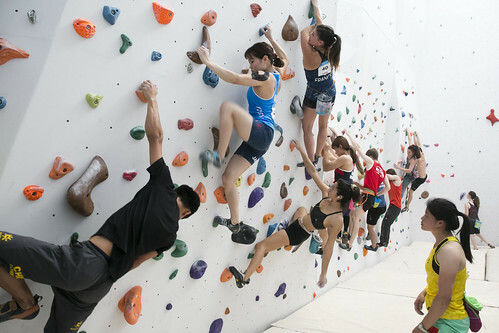 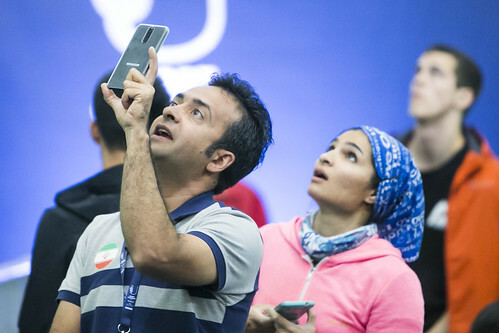 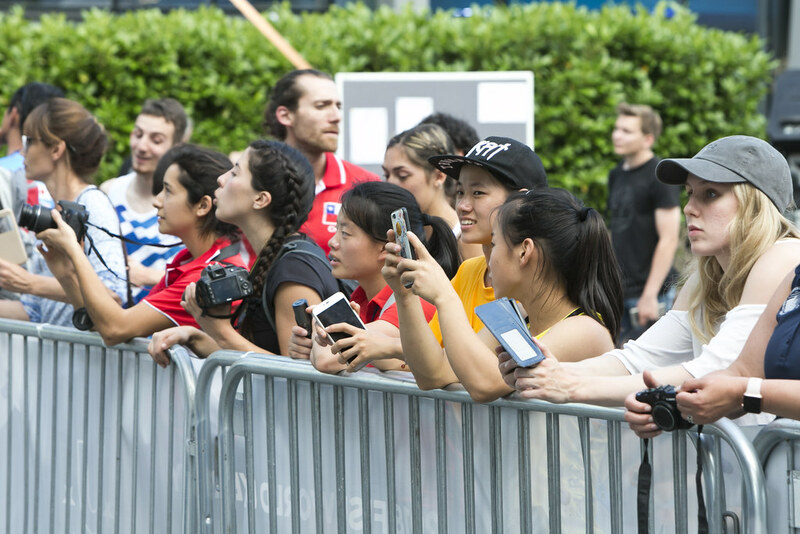 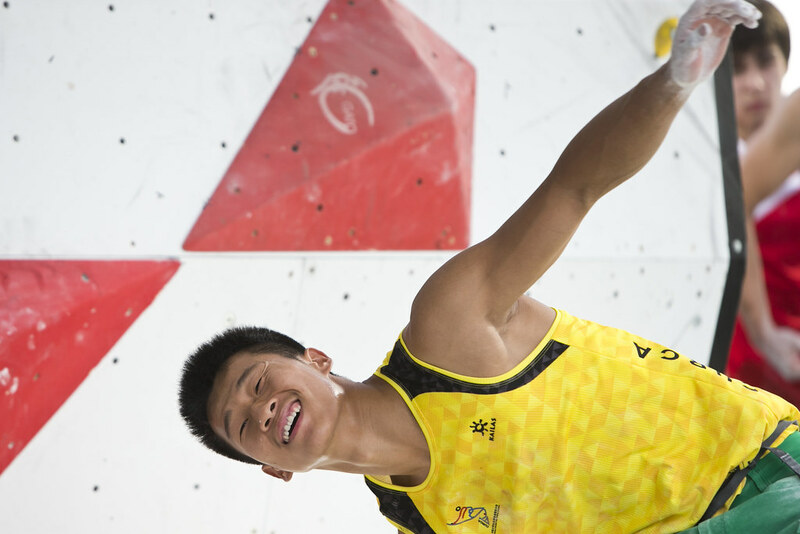 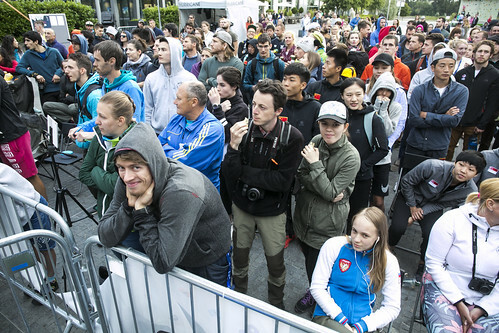 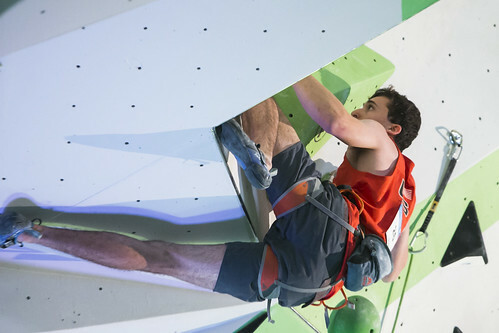 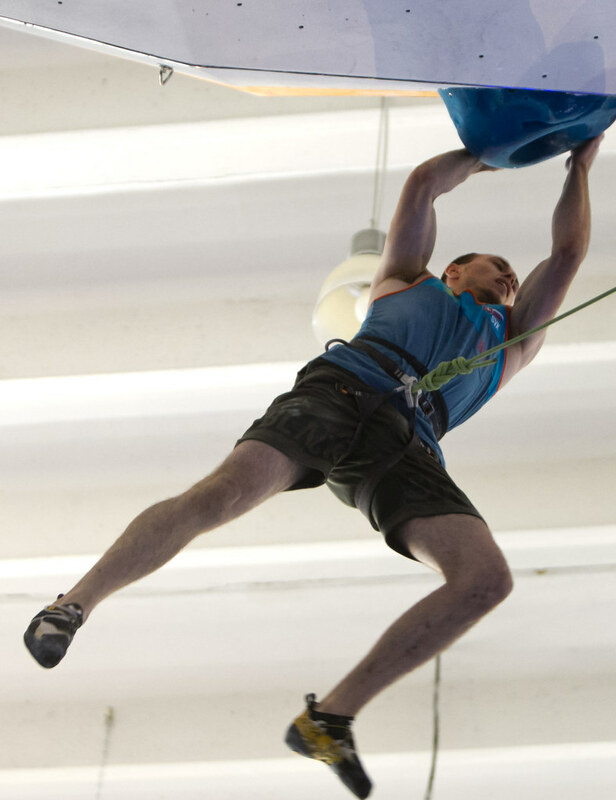 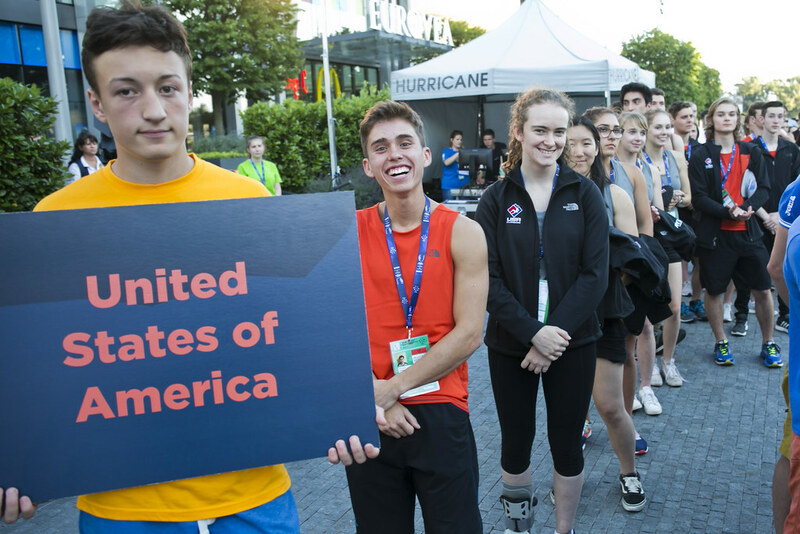 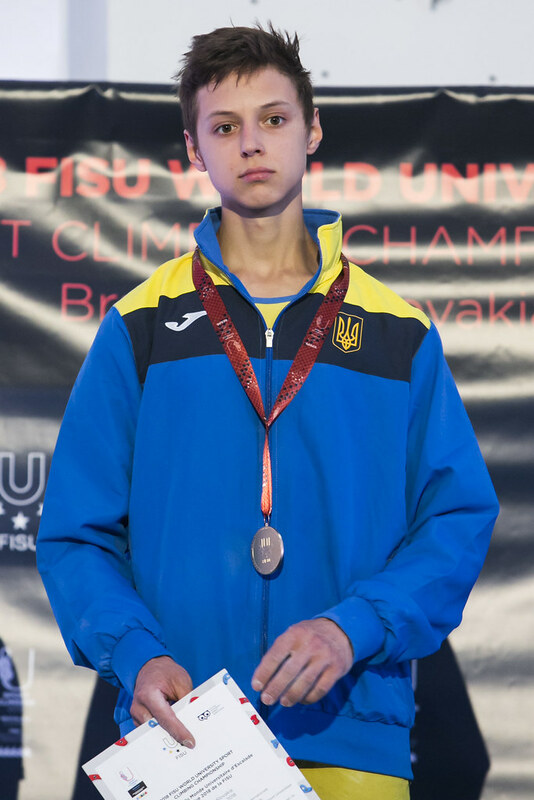 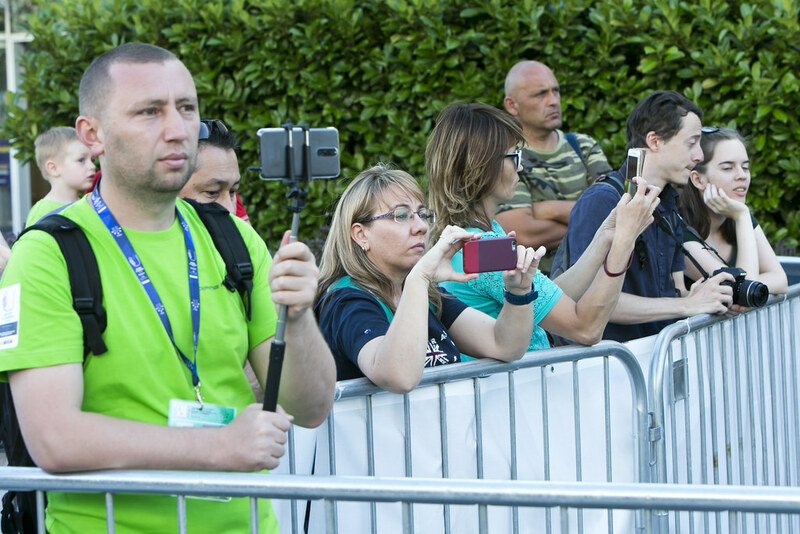 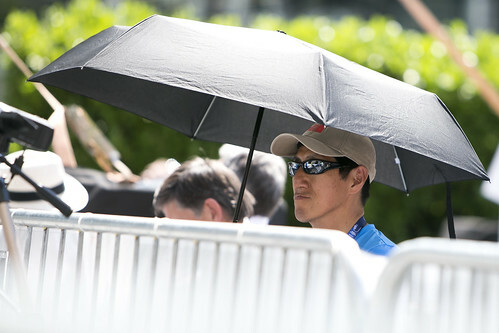 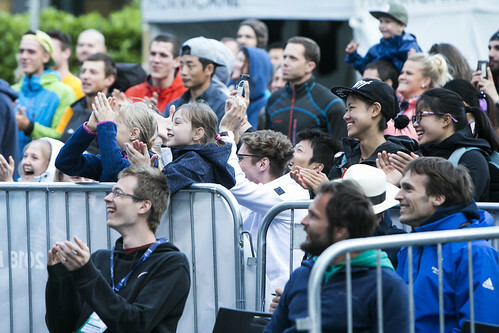 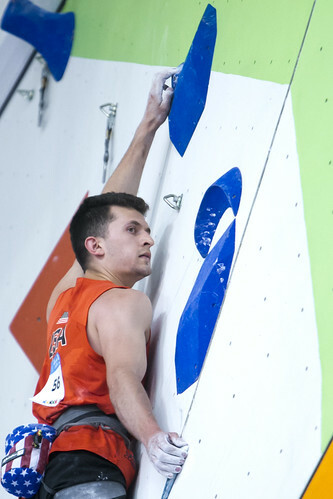 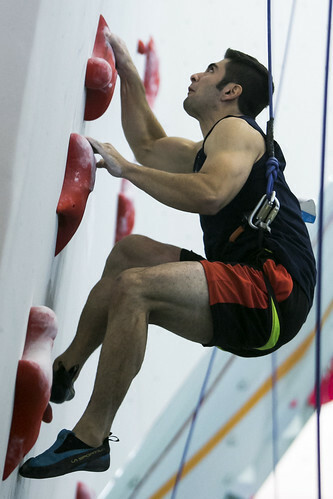 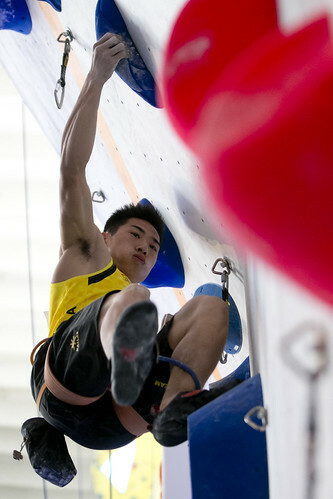 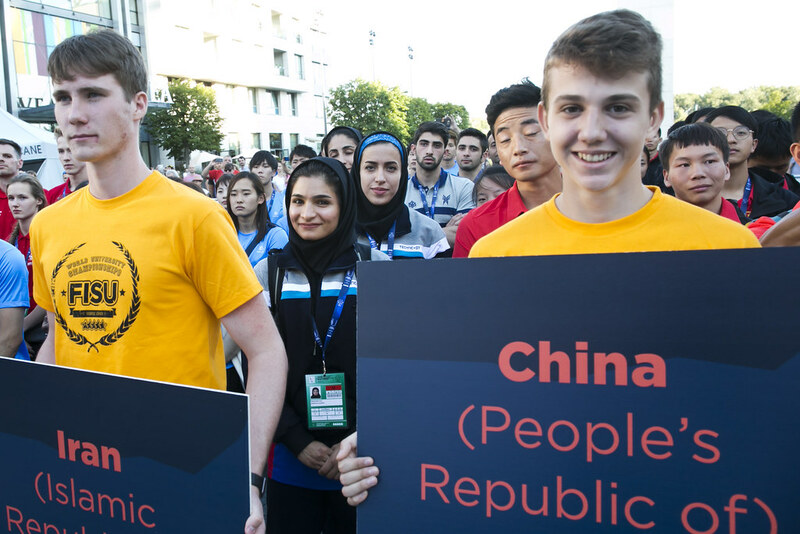 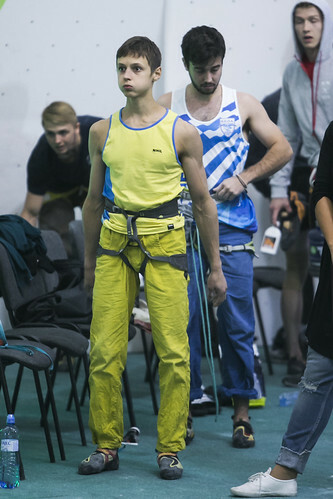 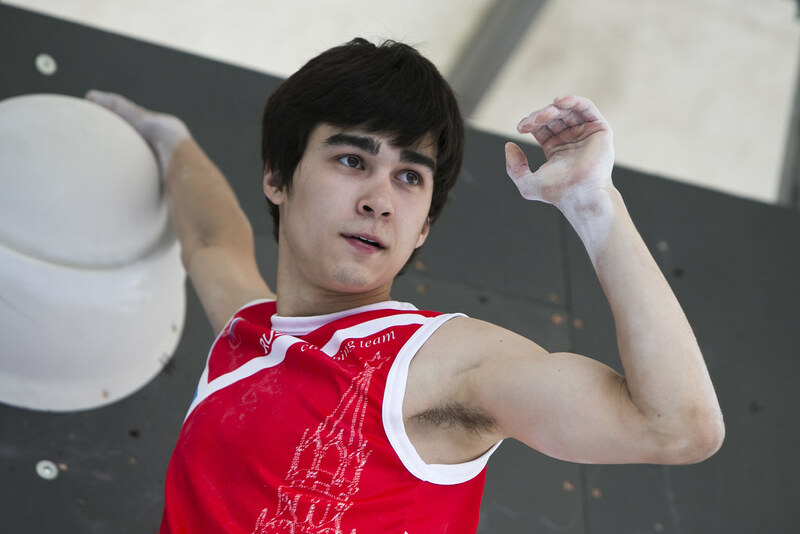 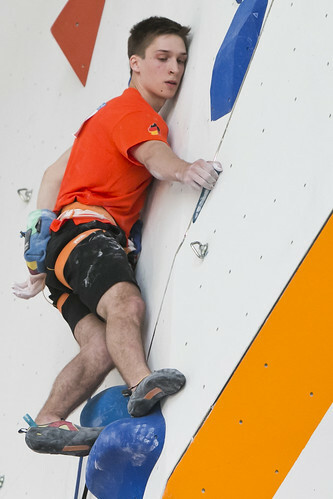 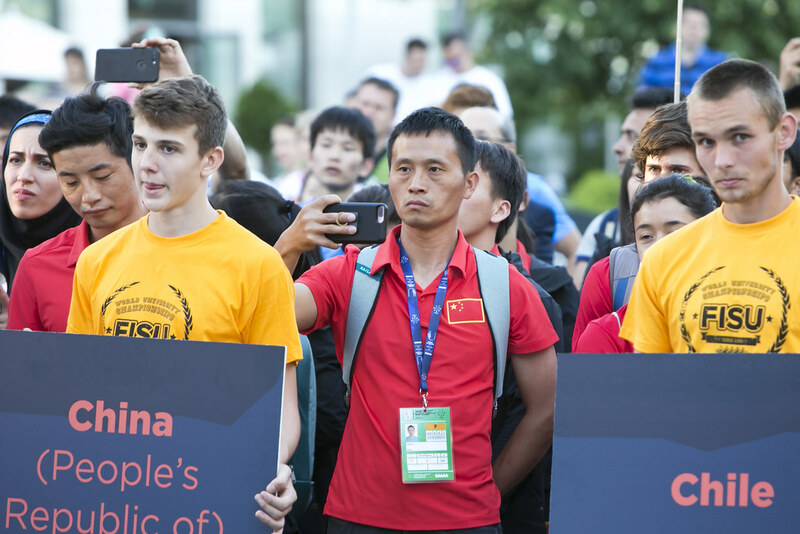 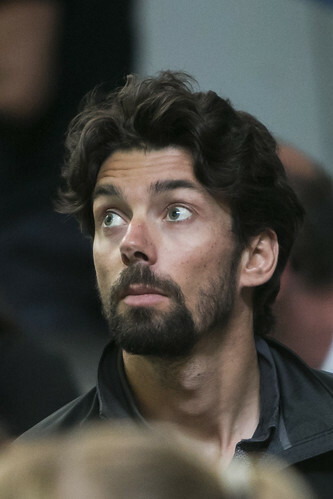 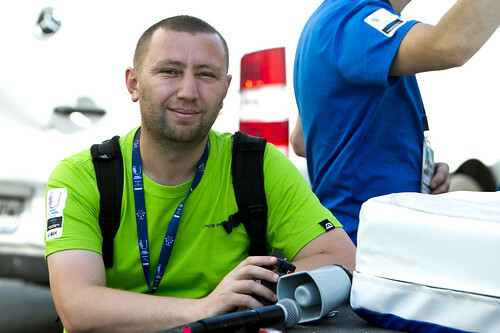 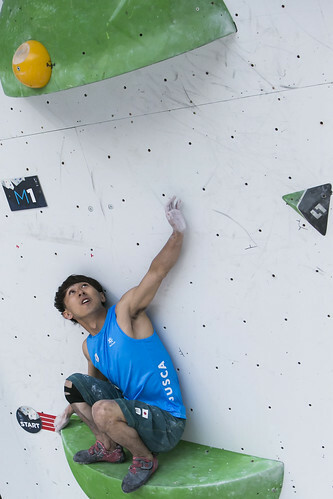 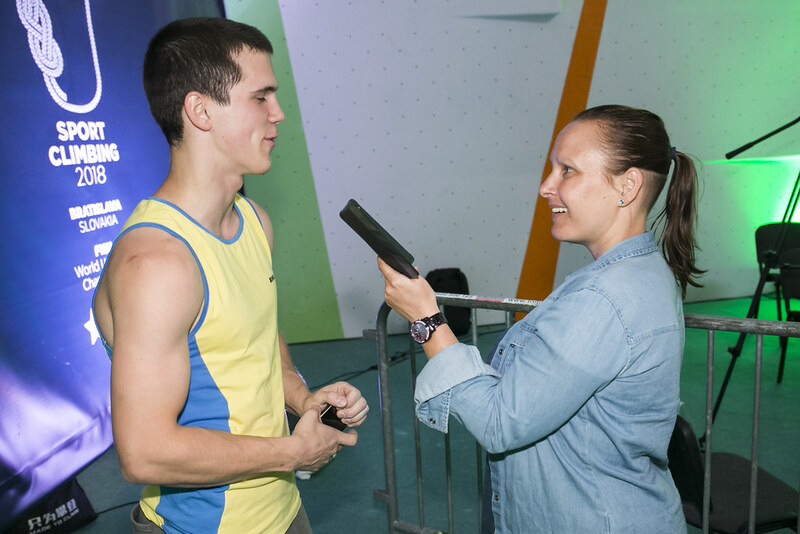 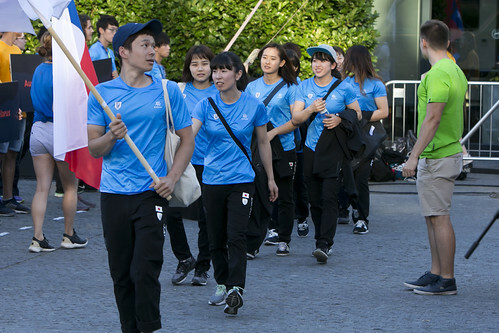 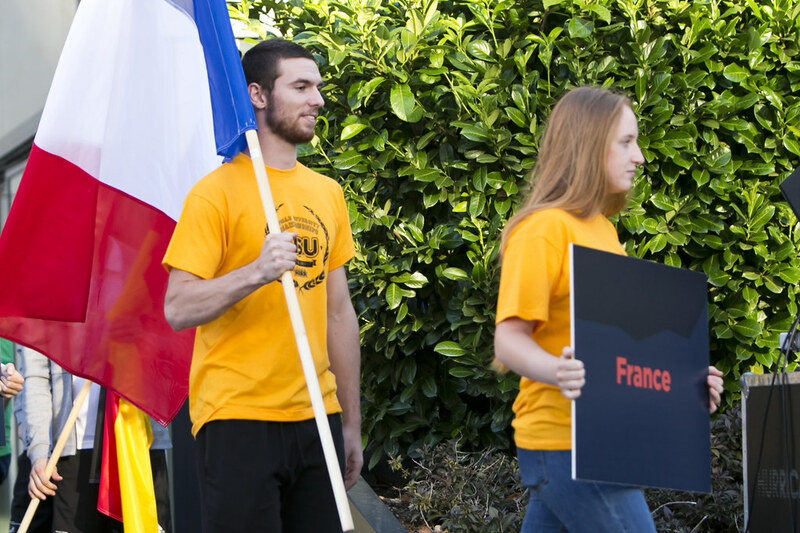 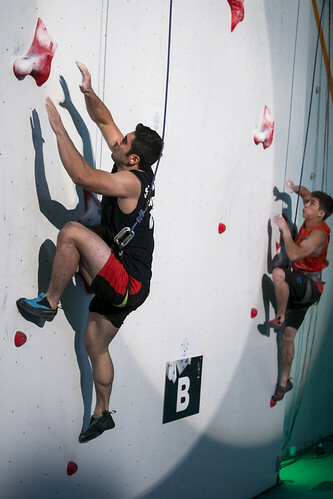 I am mostly a Lead climber so I enjoyed it the most of all three events,” said Samoilov, who studies at the National University of Sports in Kiev, Ukraine. 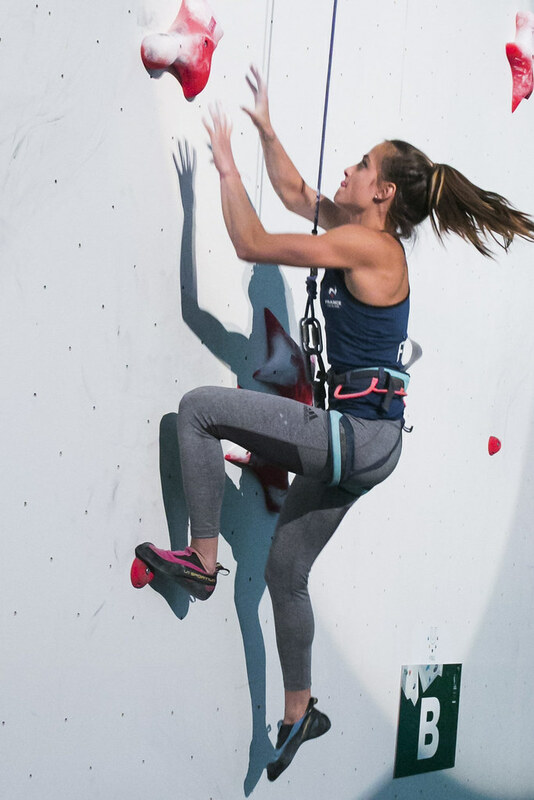 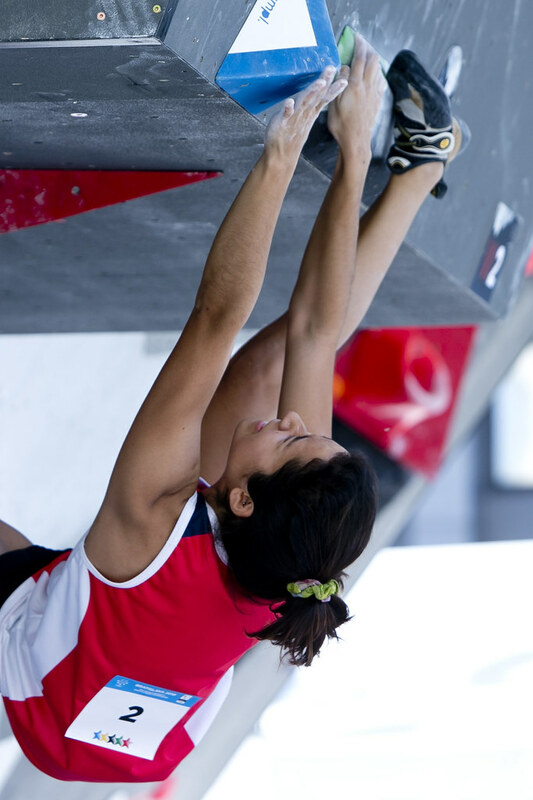 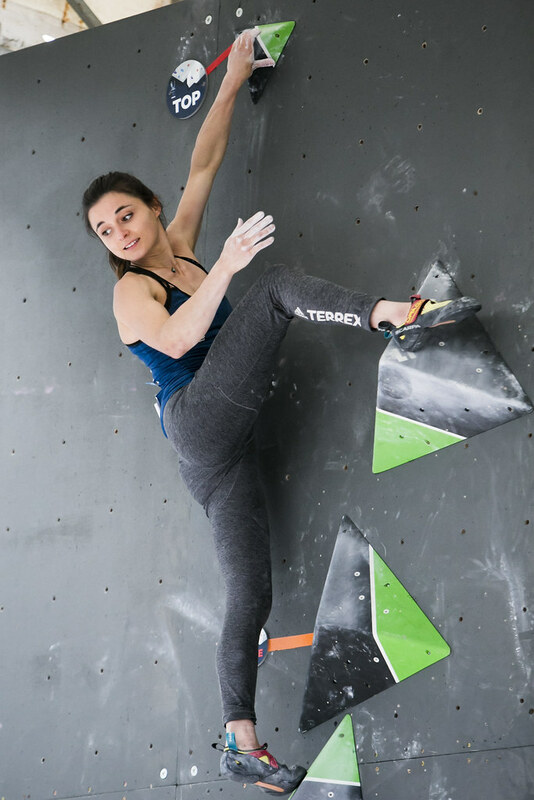 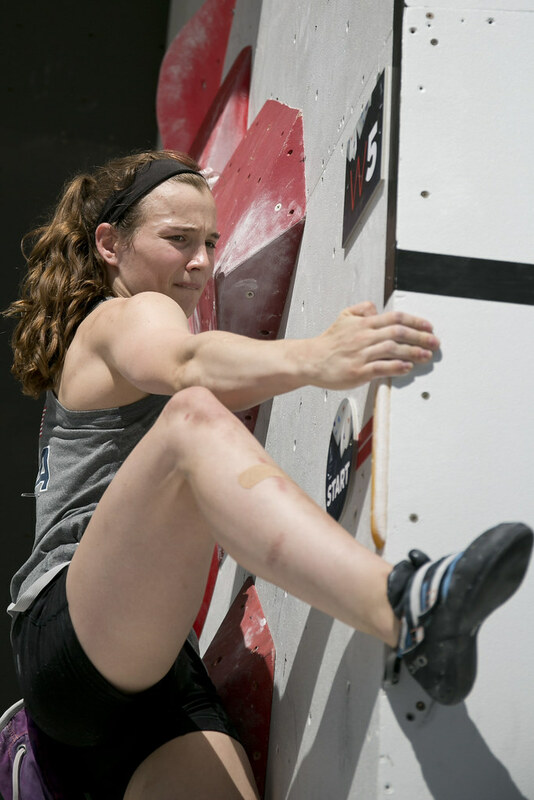 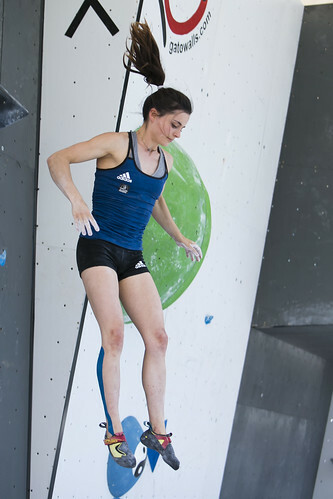 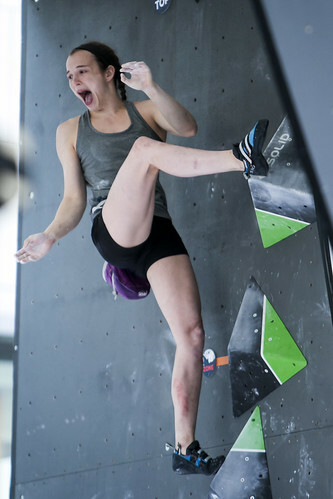 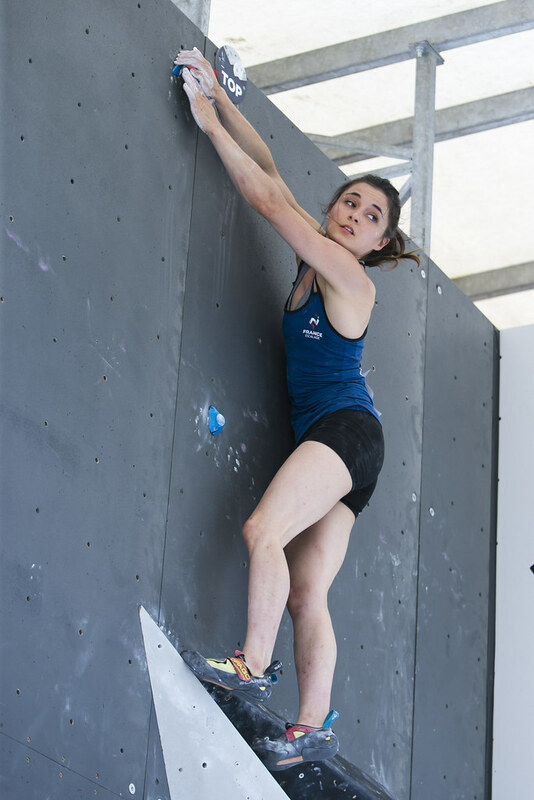 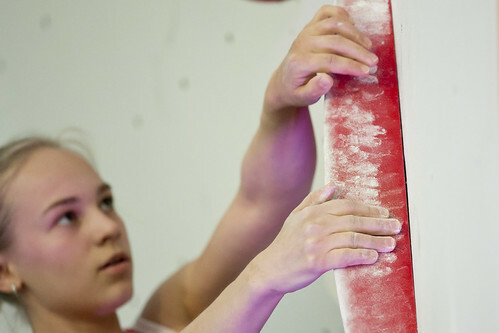 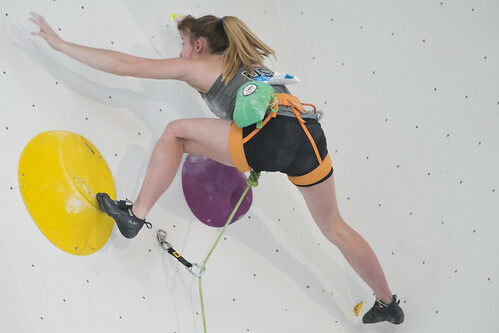 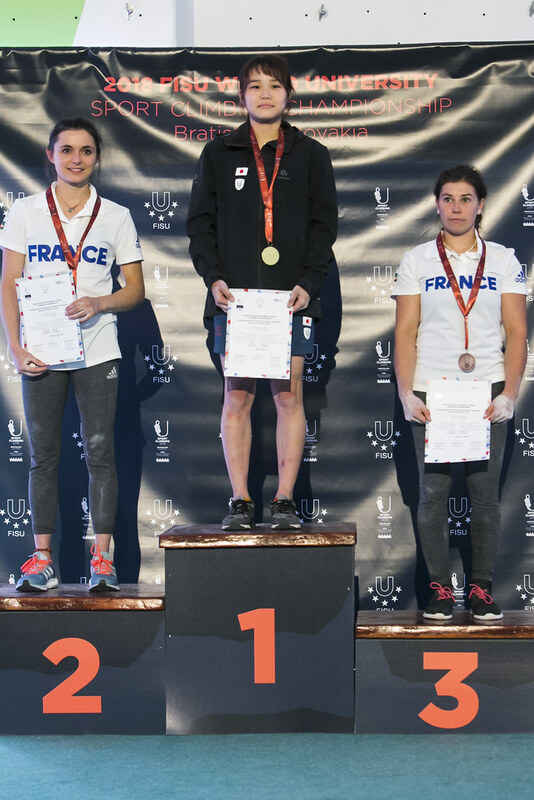 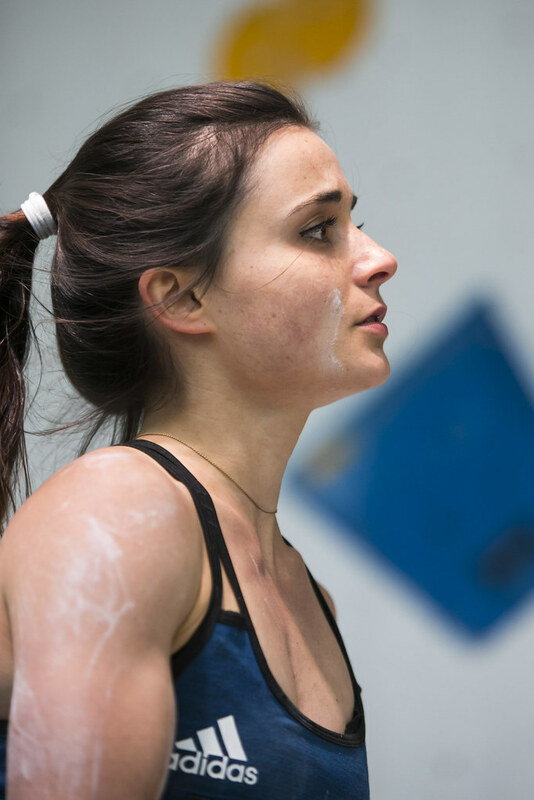 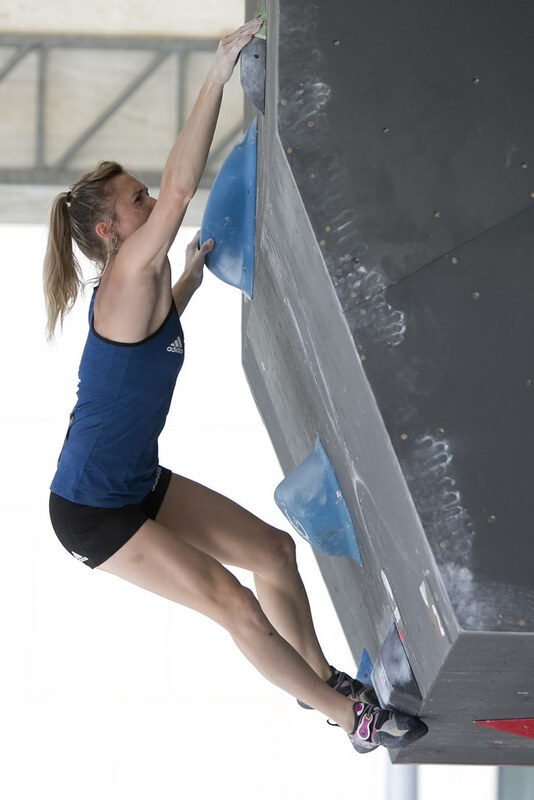 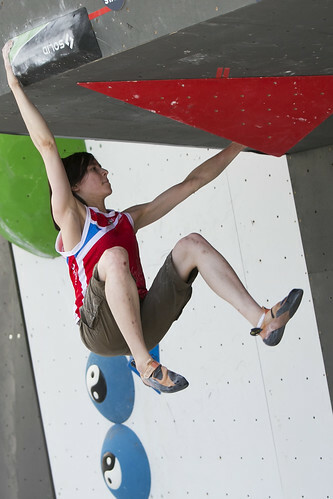 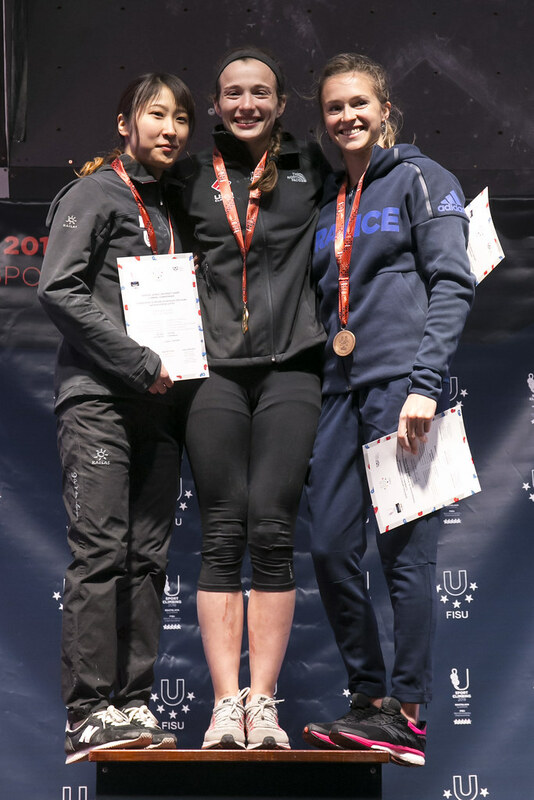 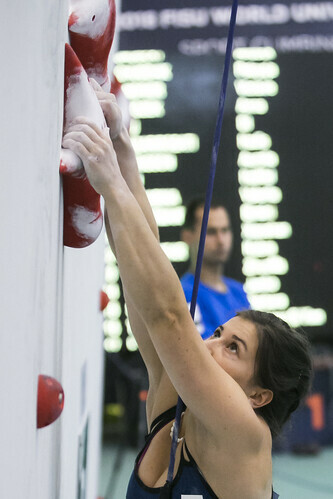 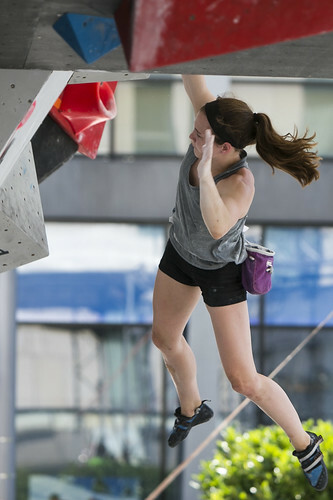 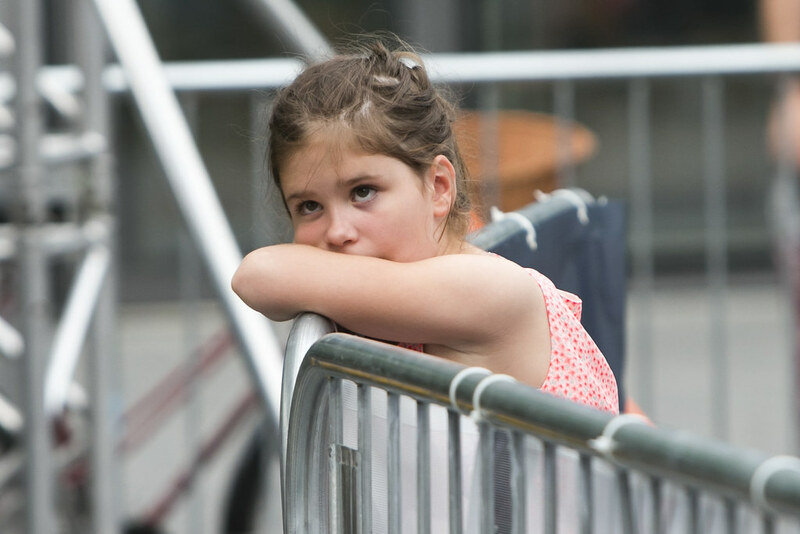 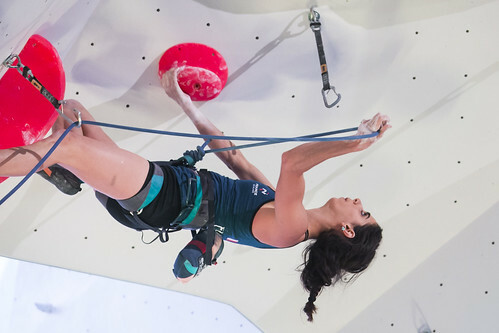 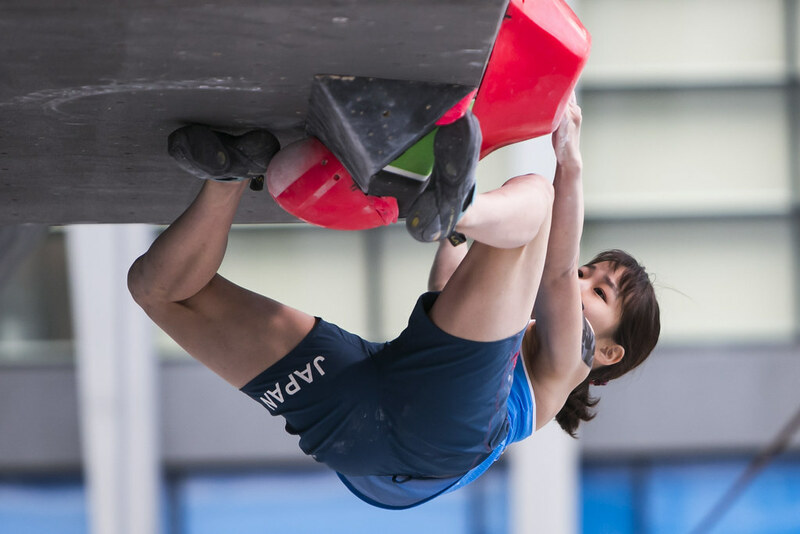 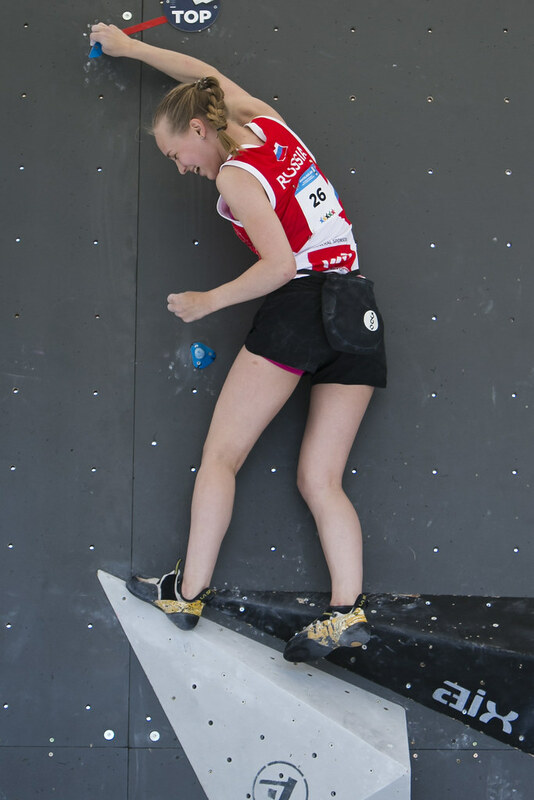 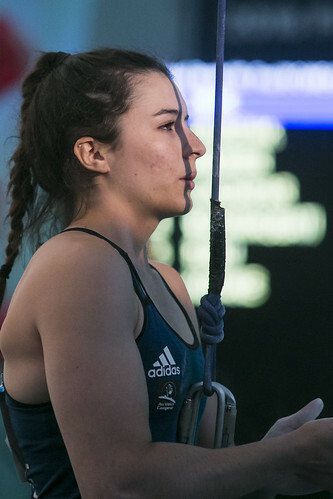 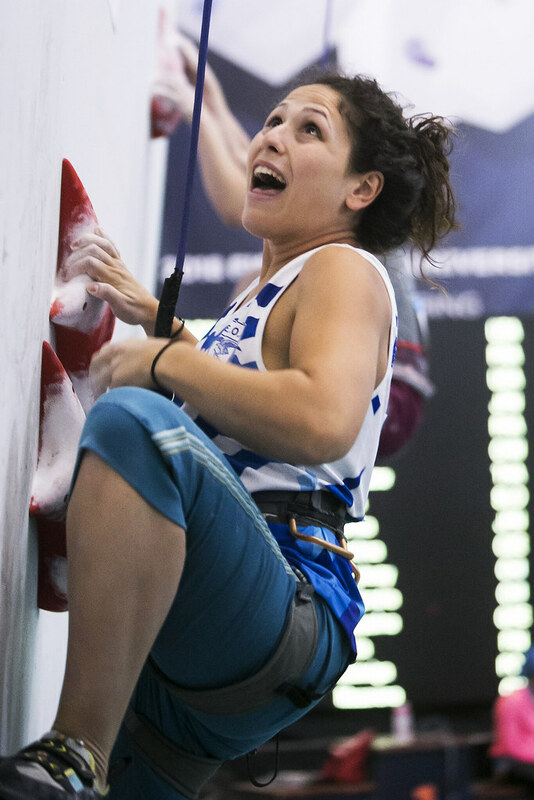 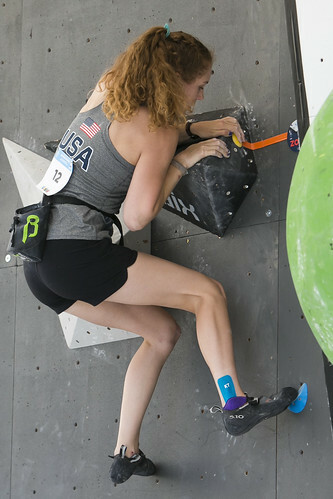 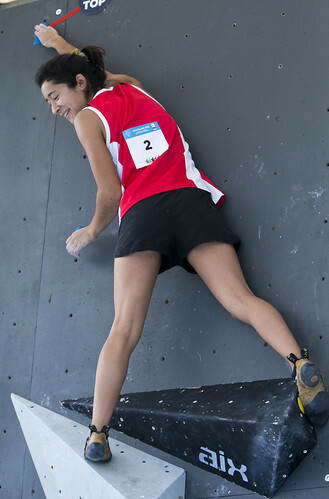 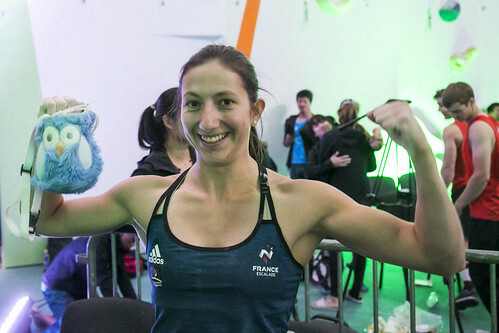 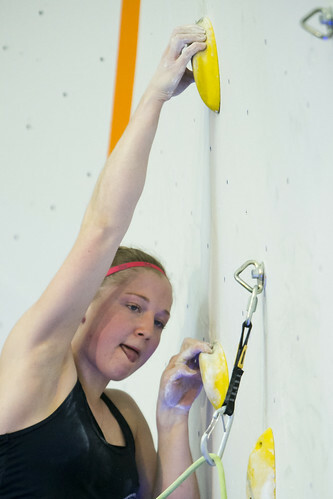 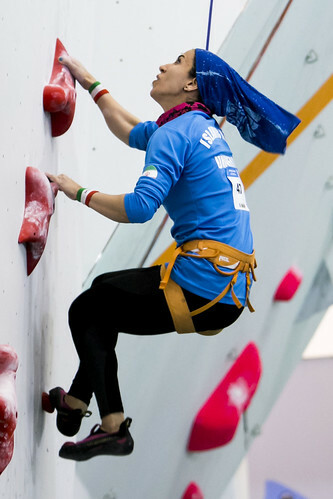 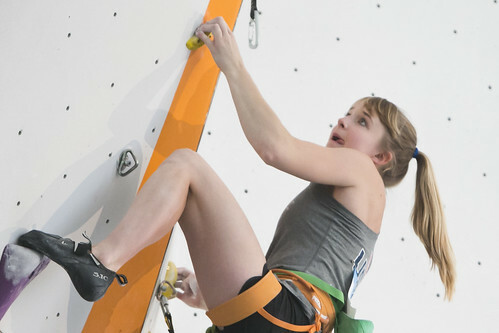 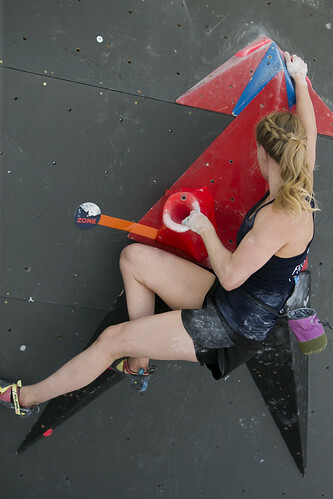 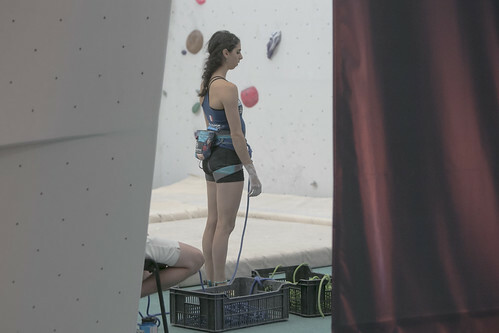 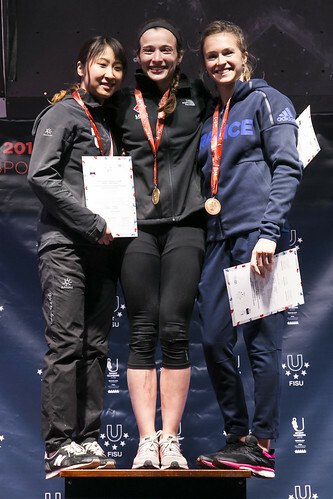 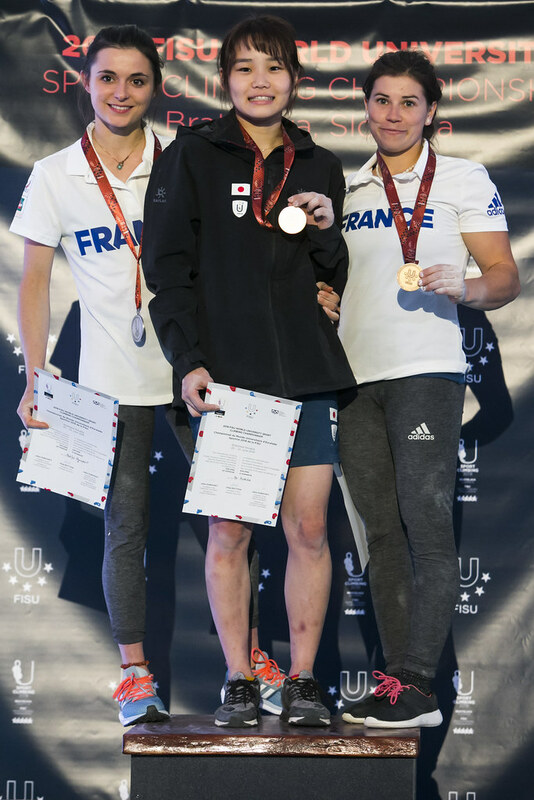 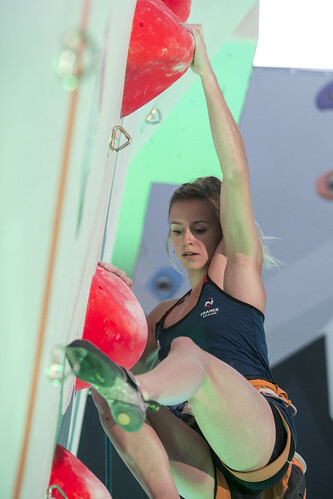 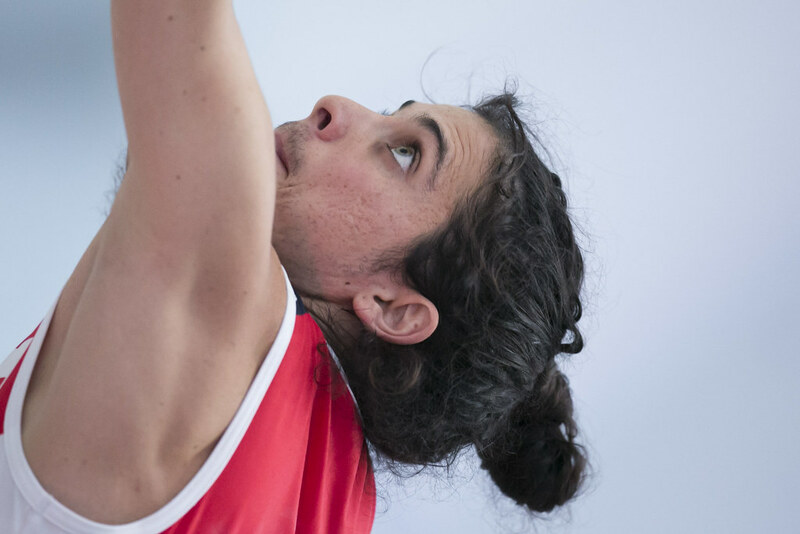 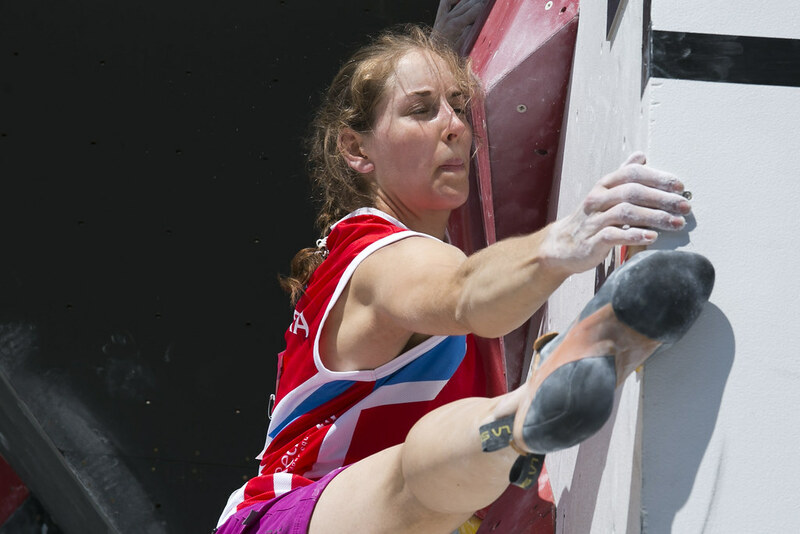 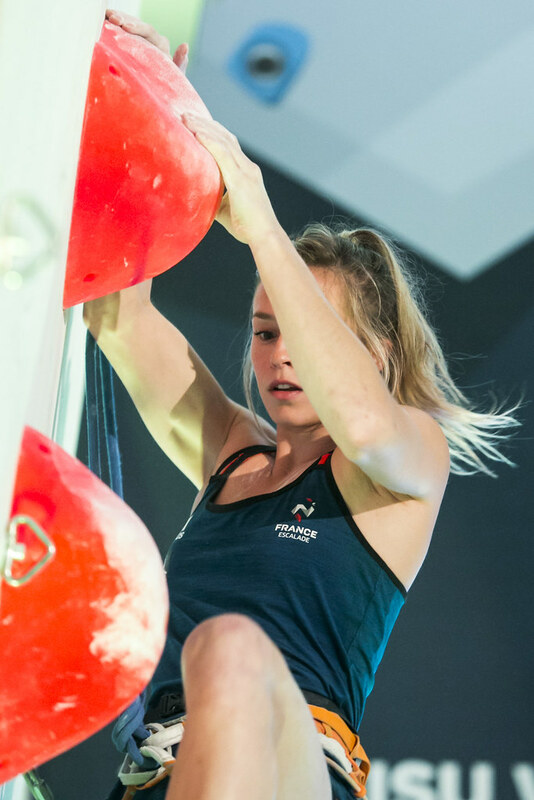 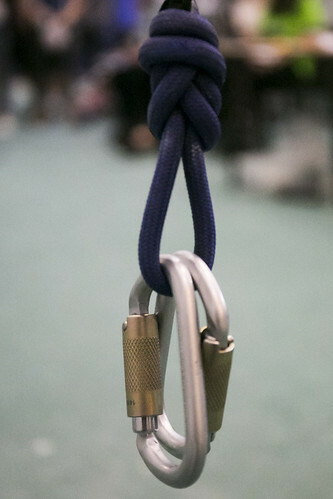 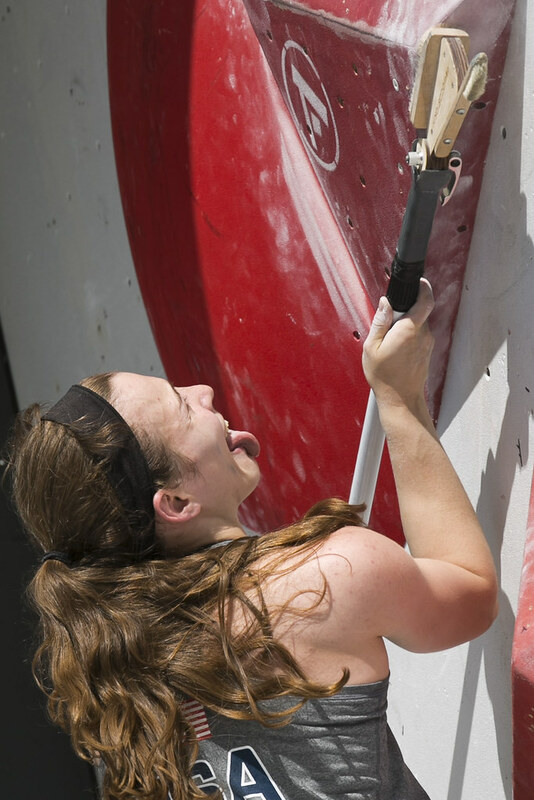 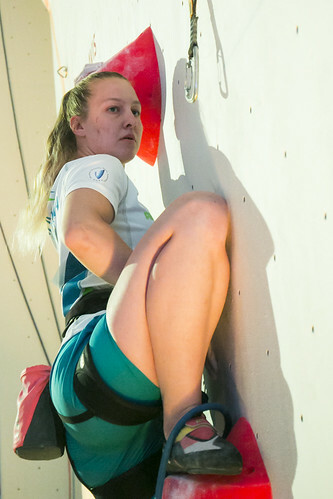 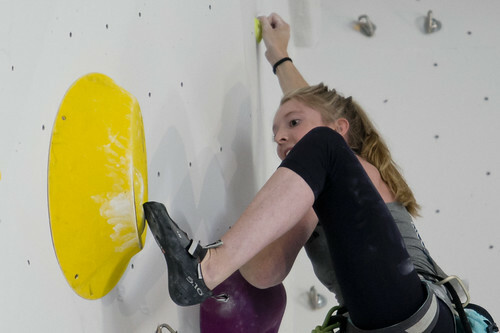 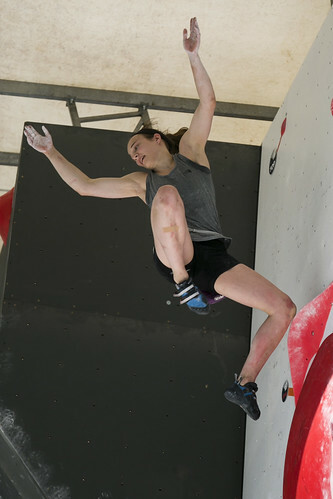 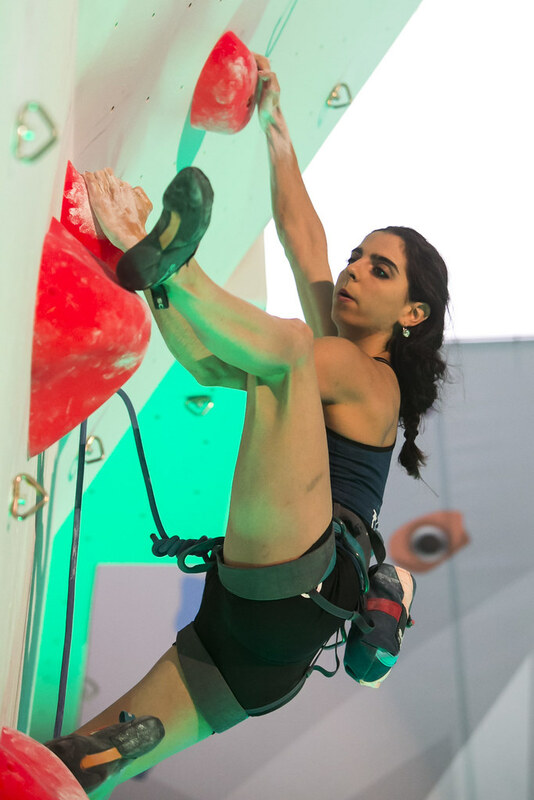 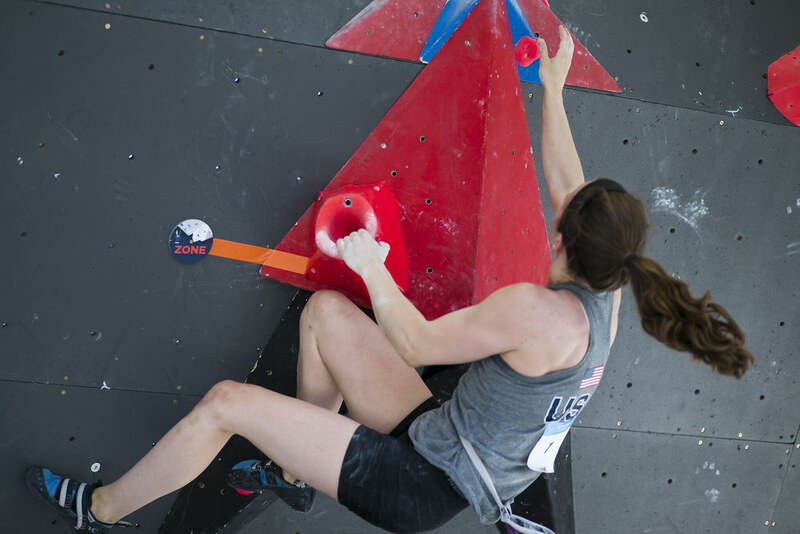 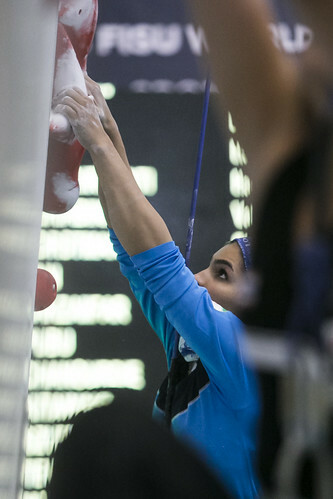 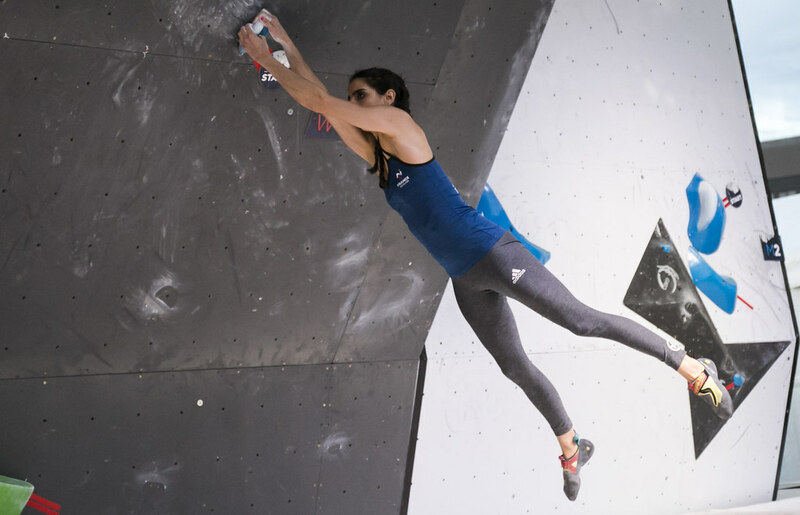 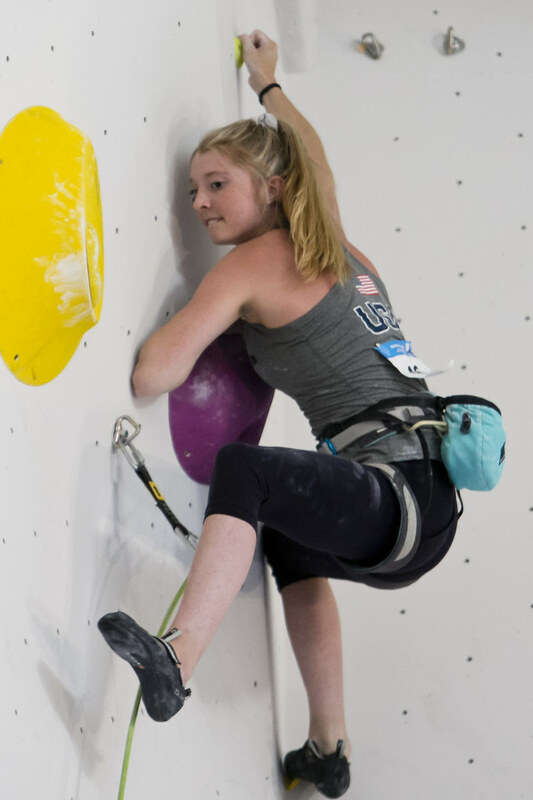 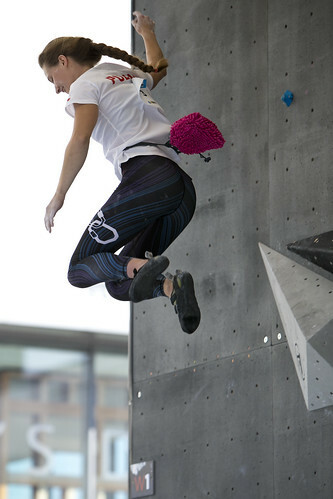 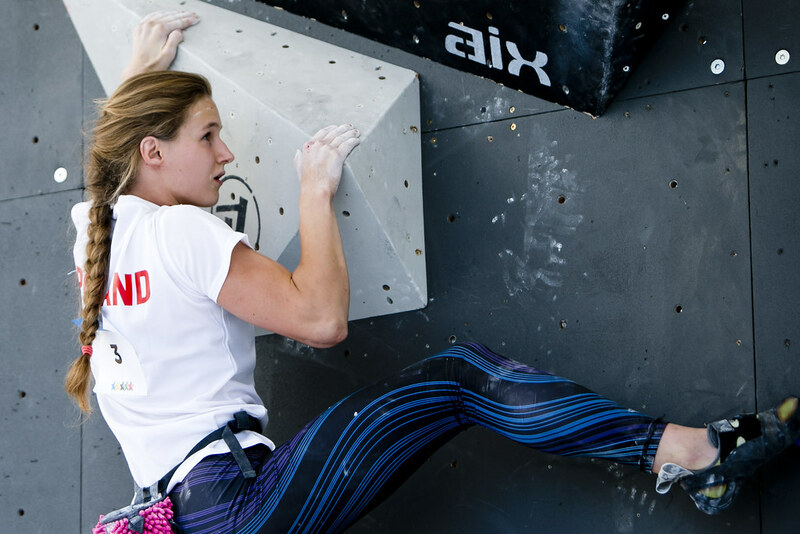 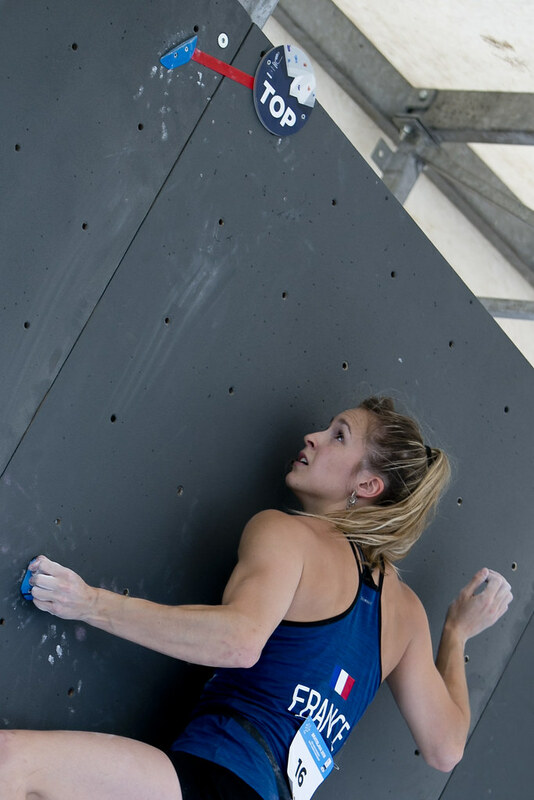 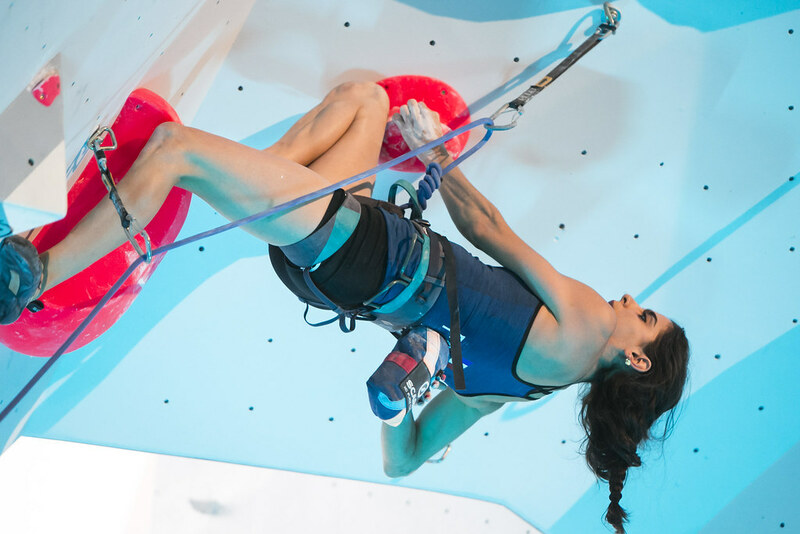 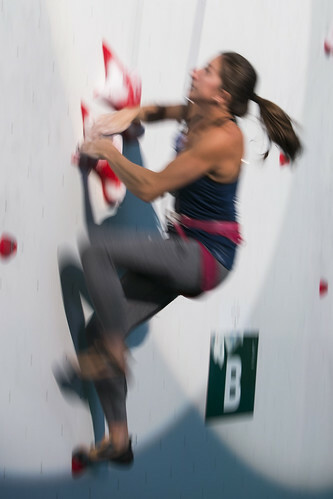 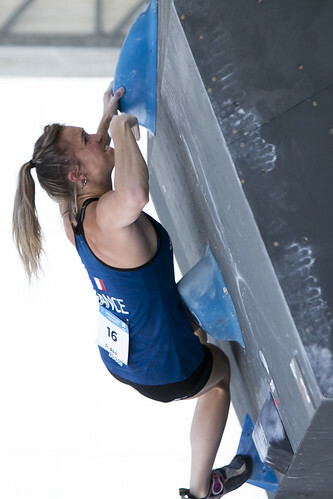 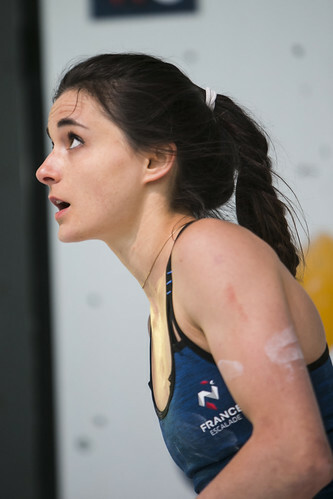 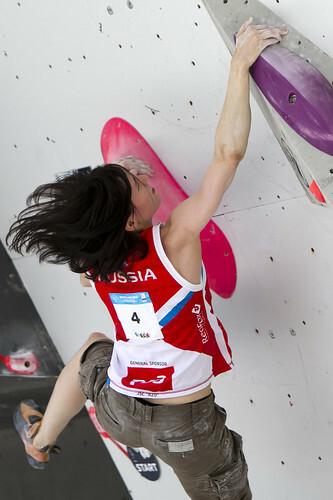 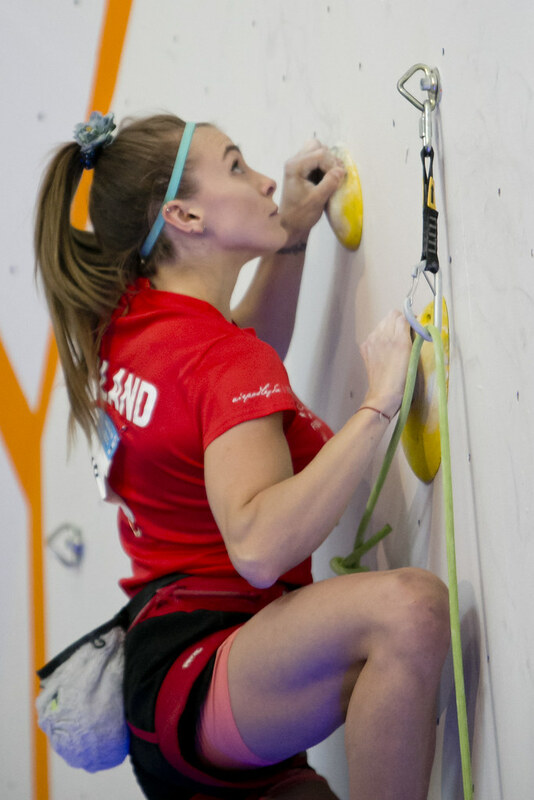 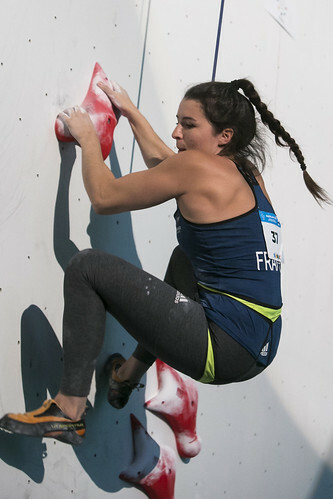 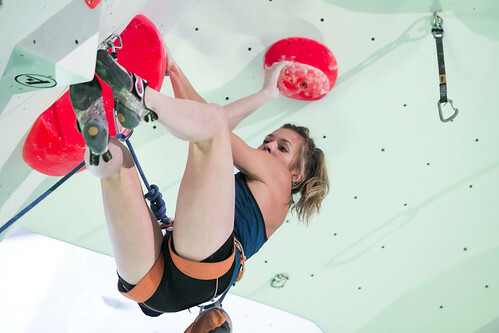 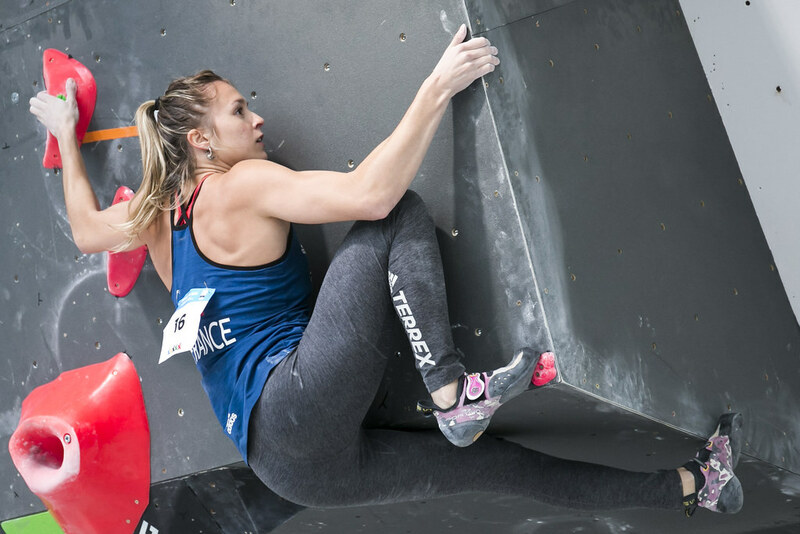 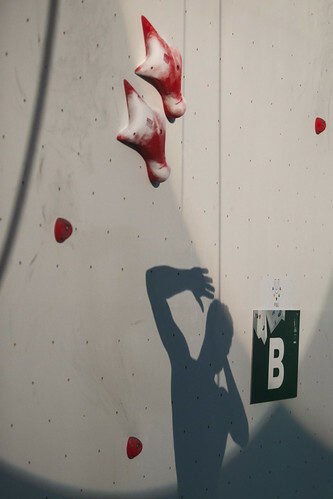 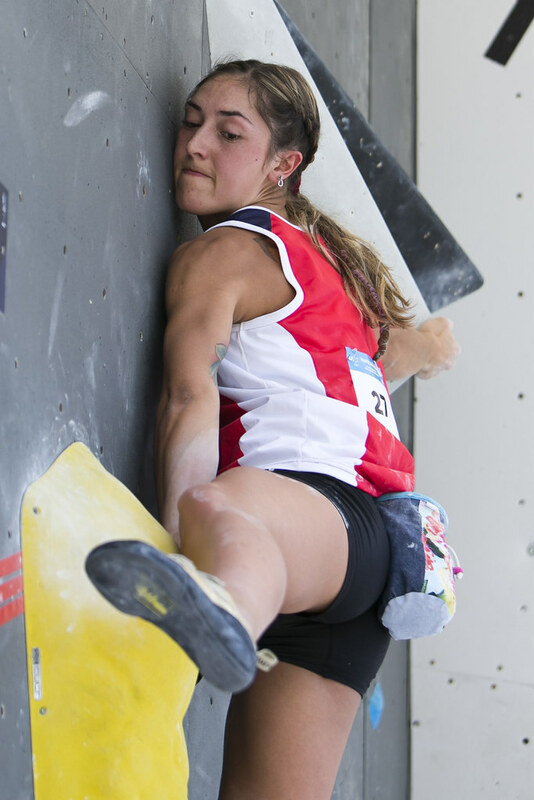 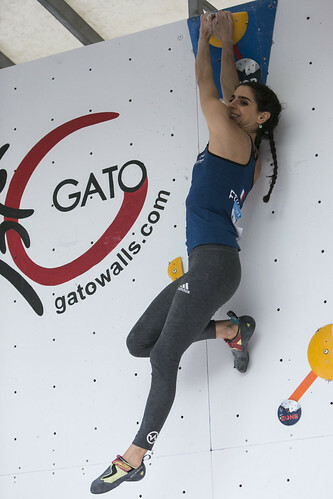 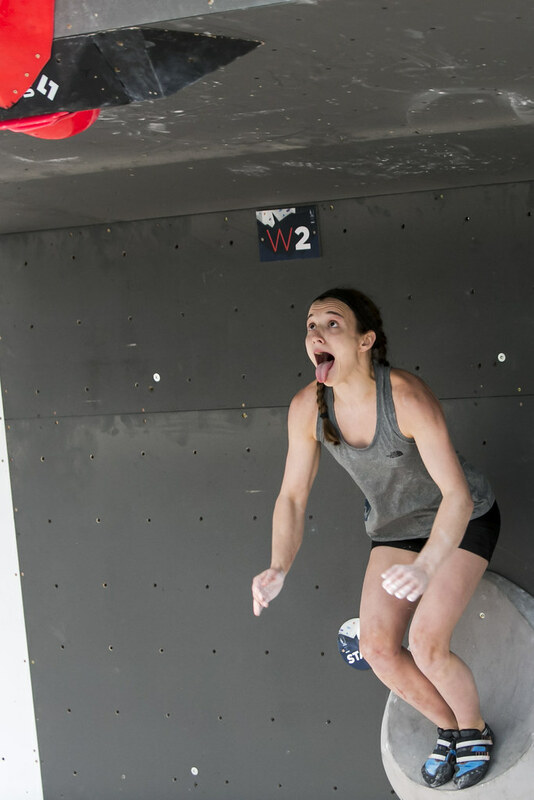 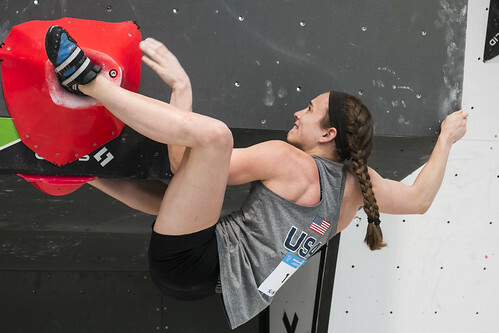 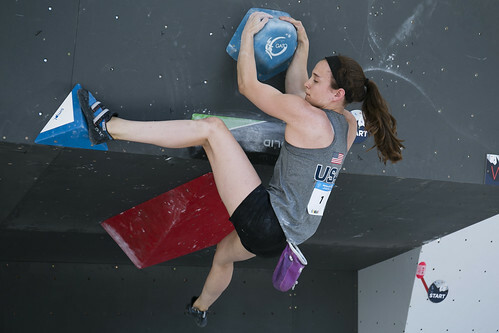 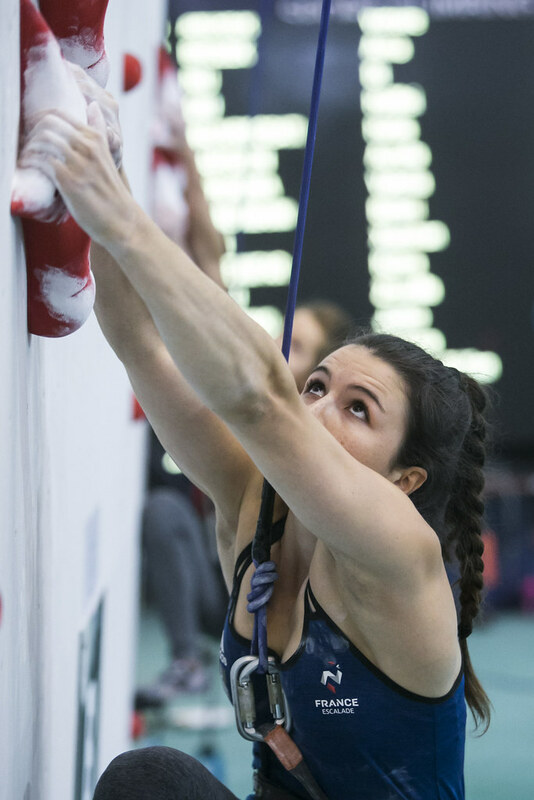 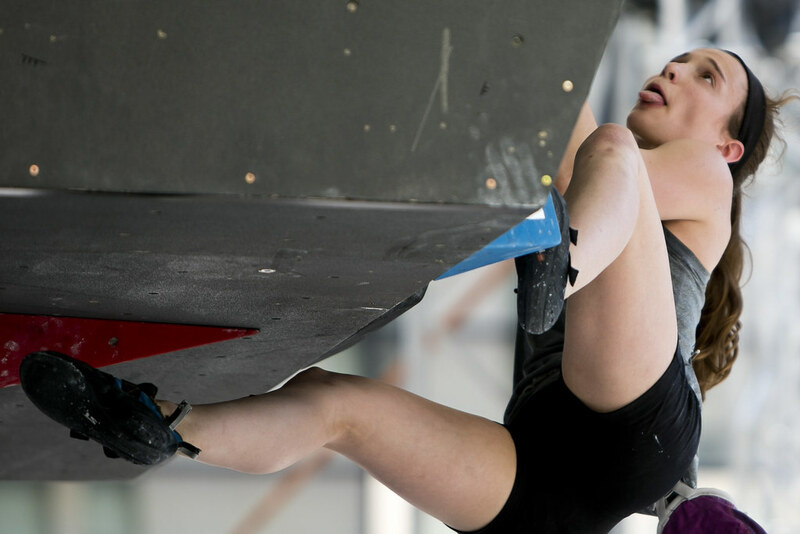 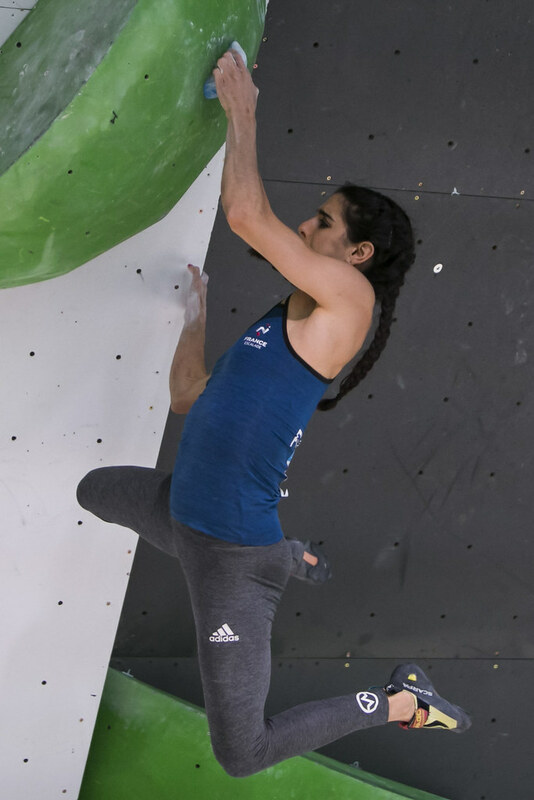 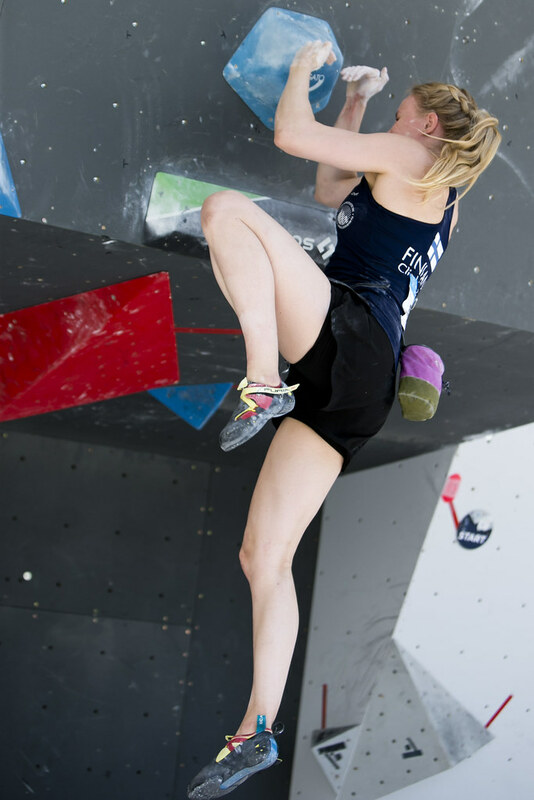 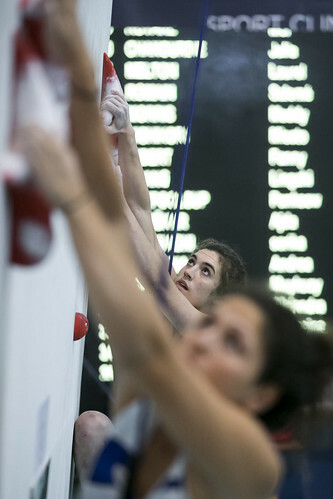 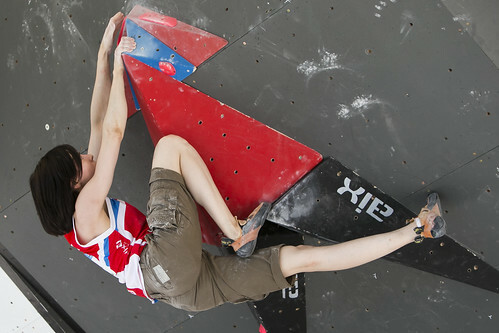 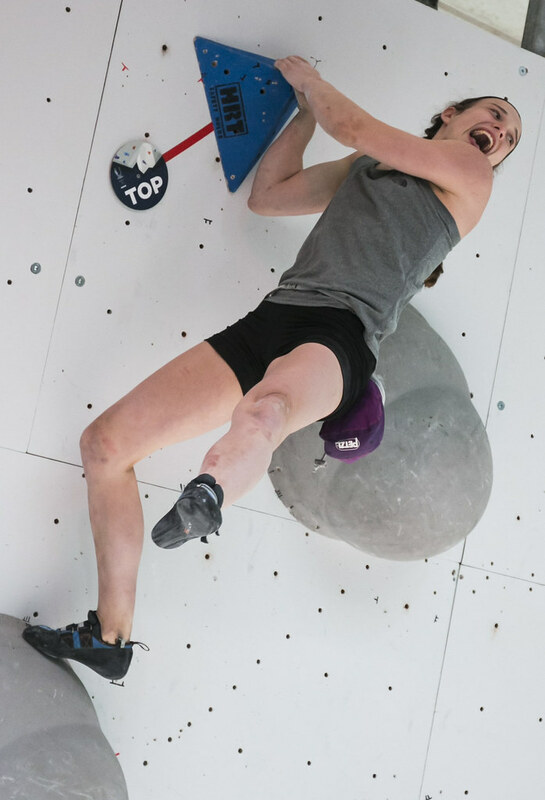 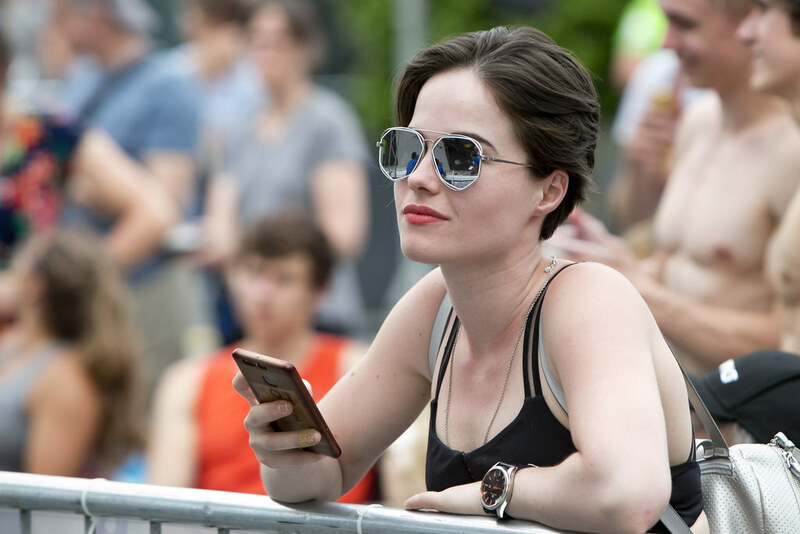 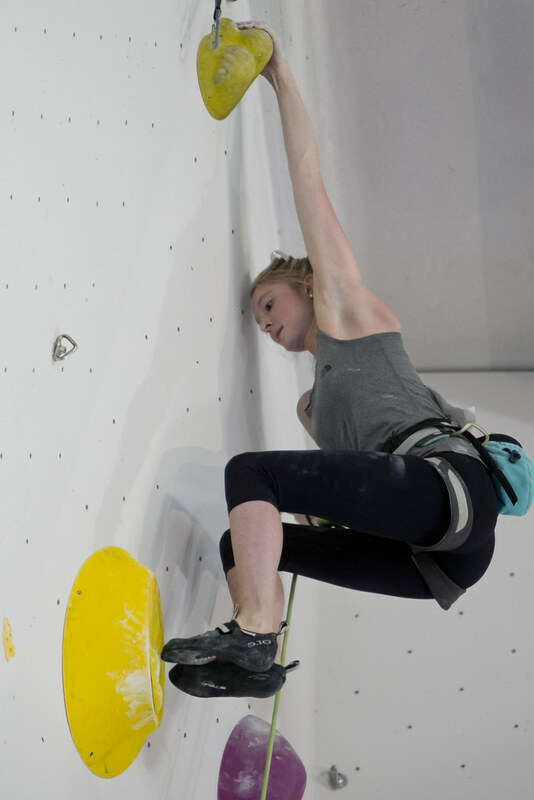 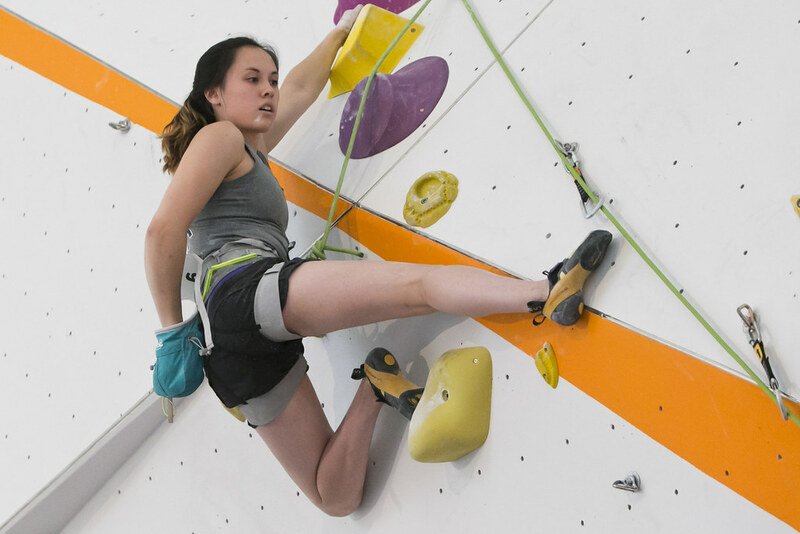 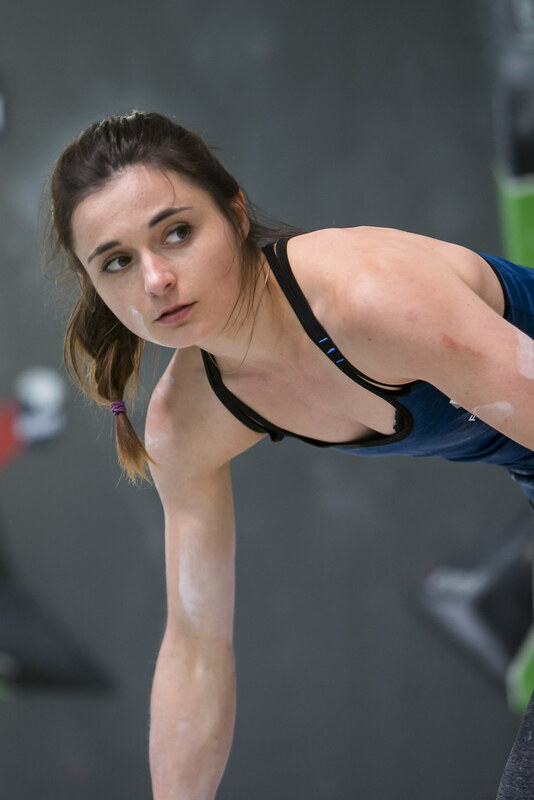 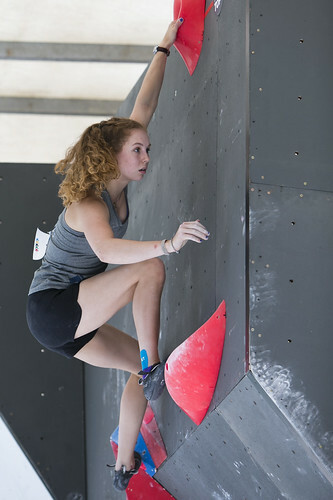 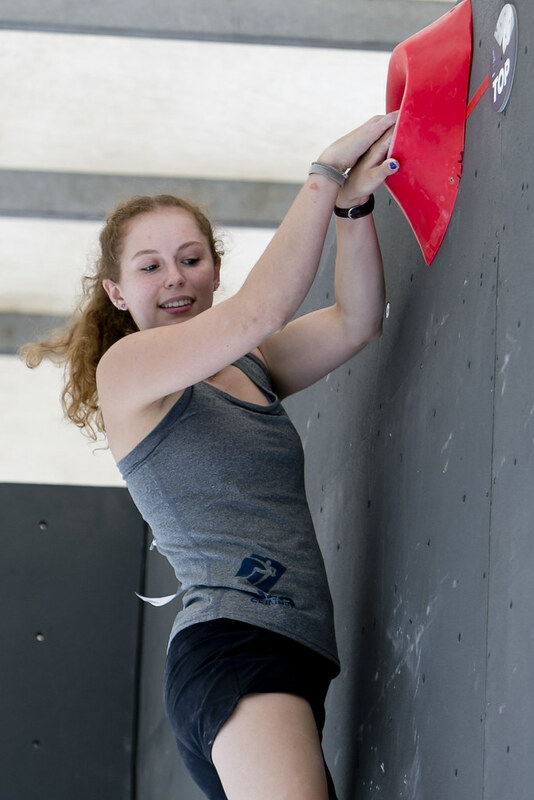 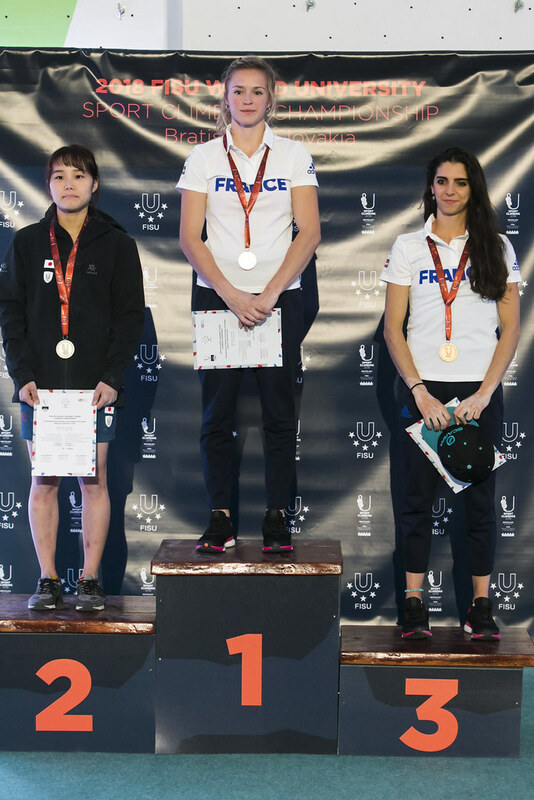 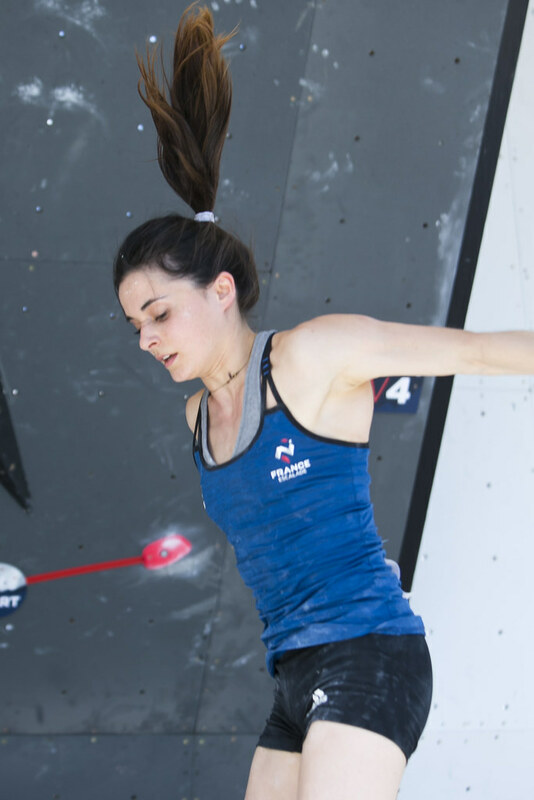 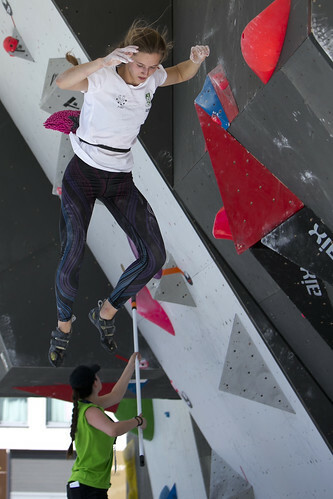 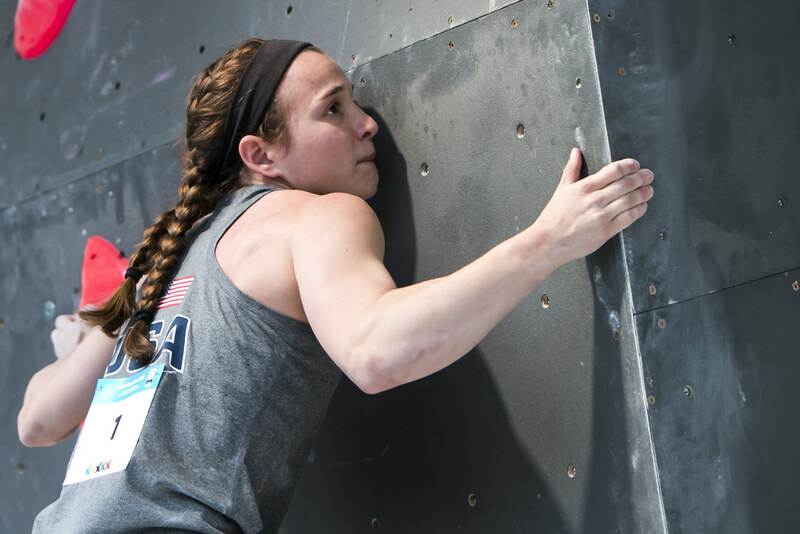 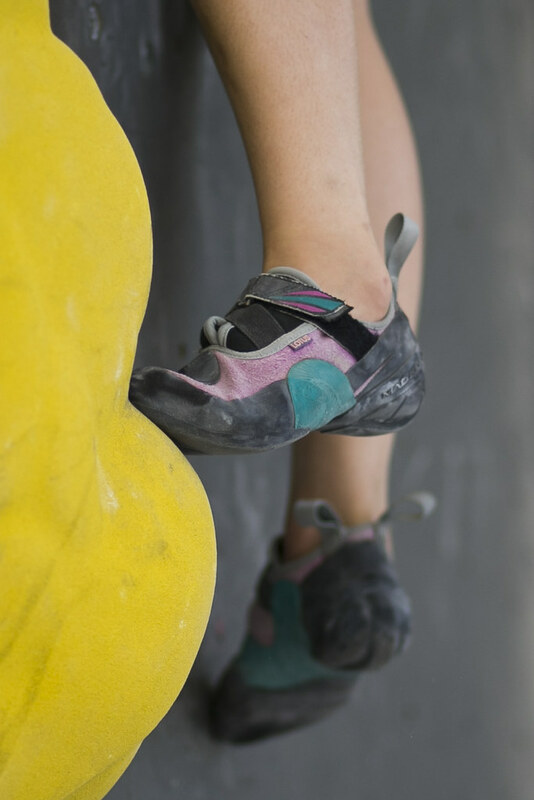 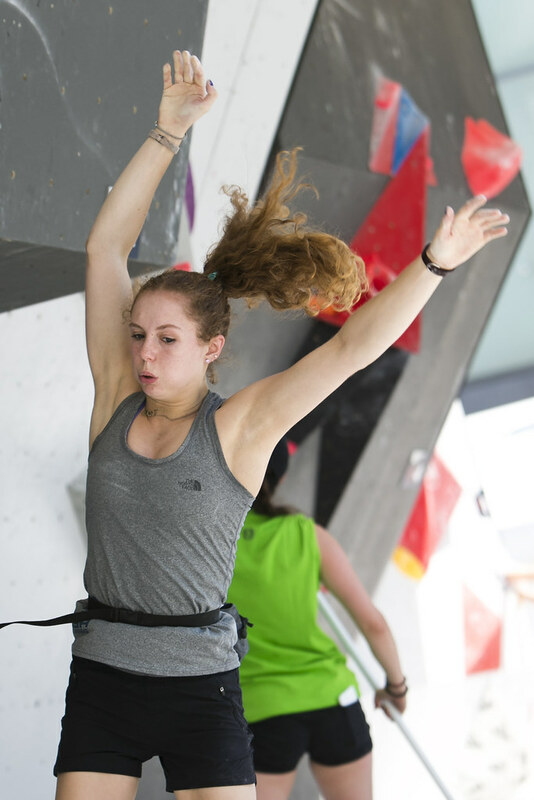 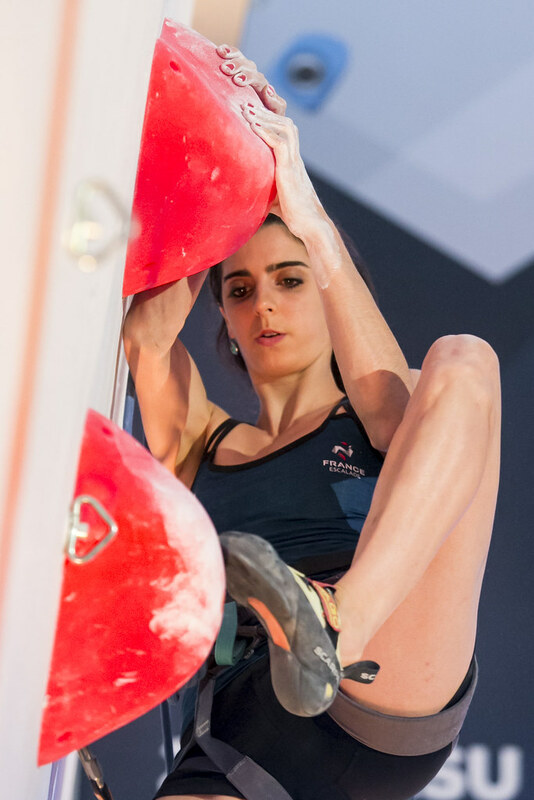 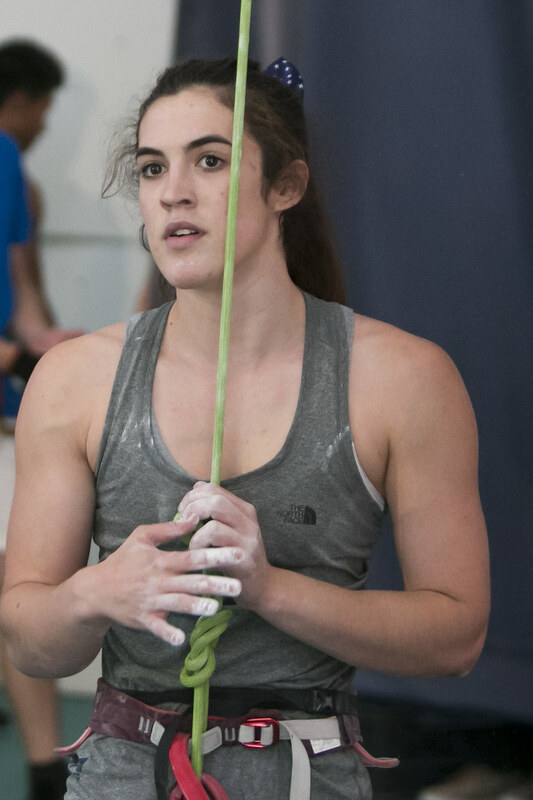 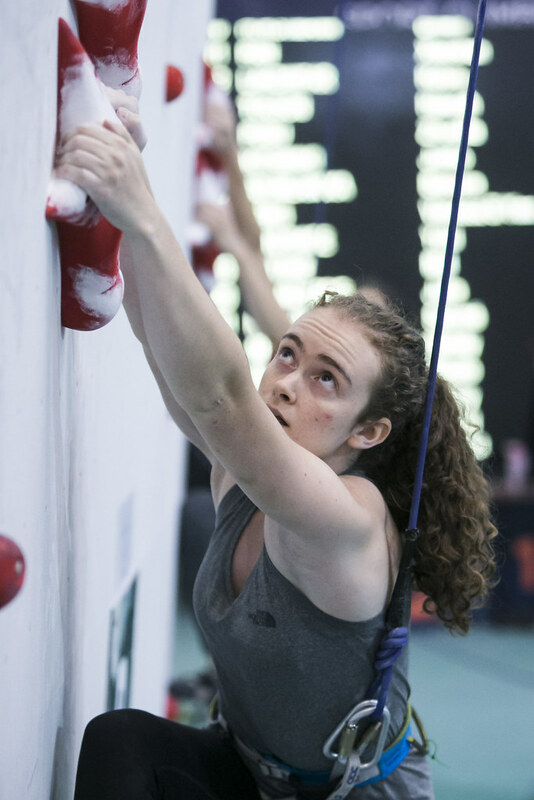 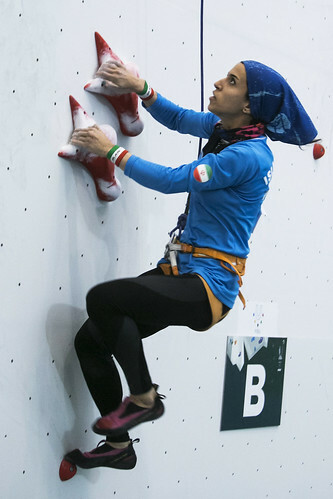 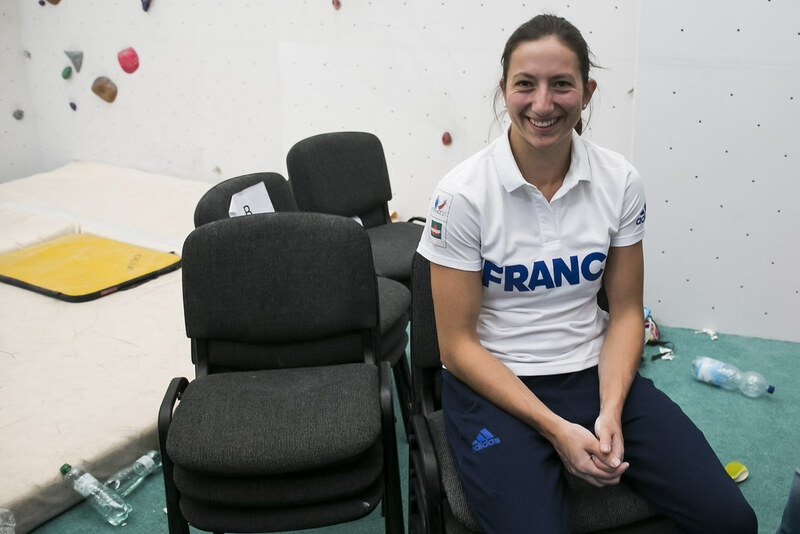 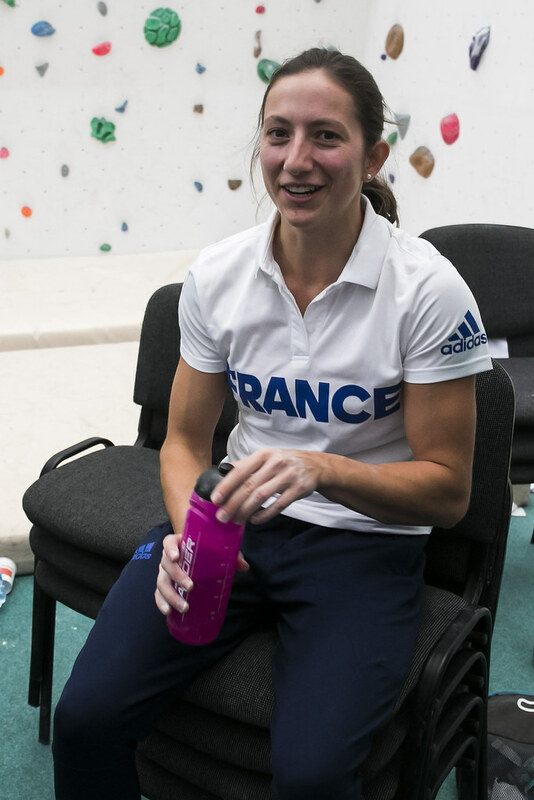 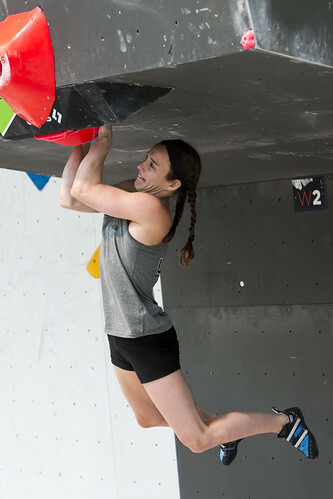 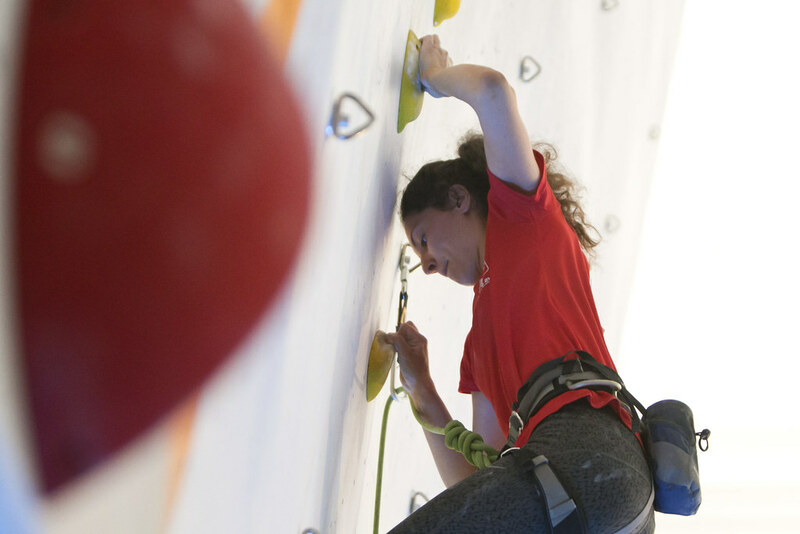 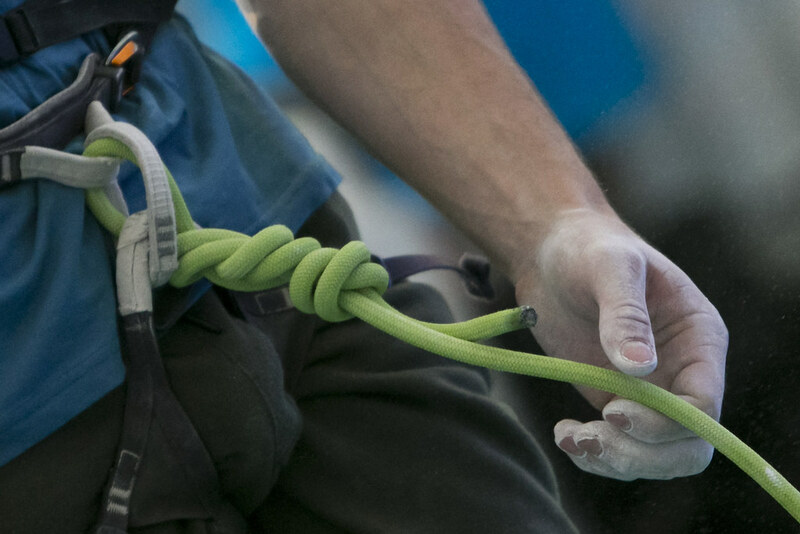 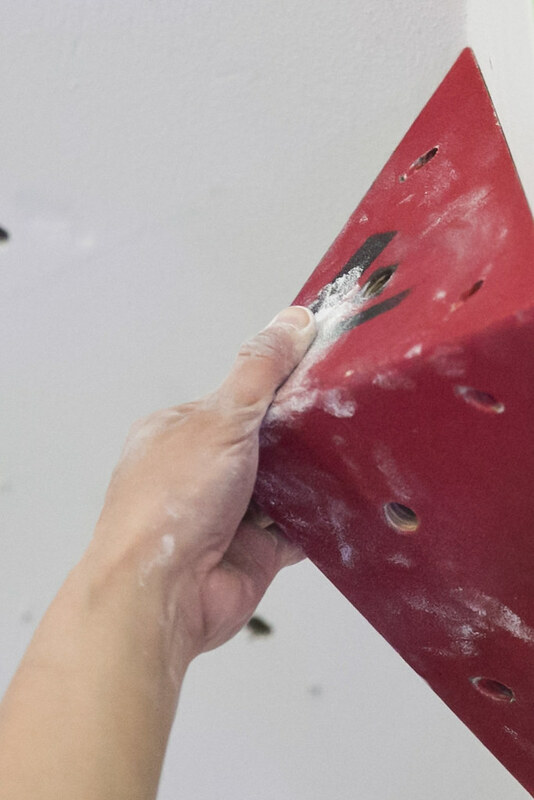 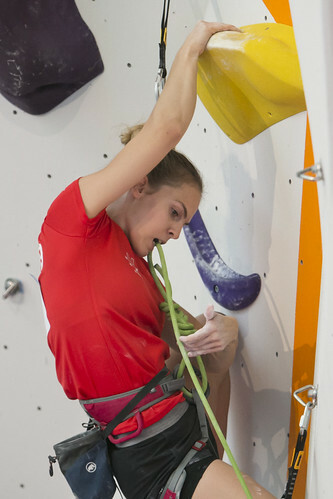 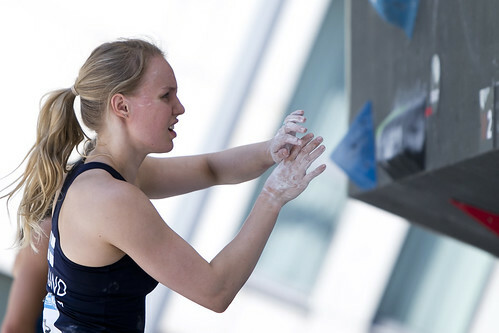 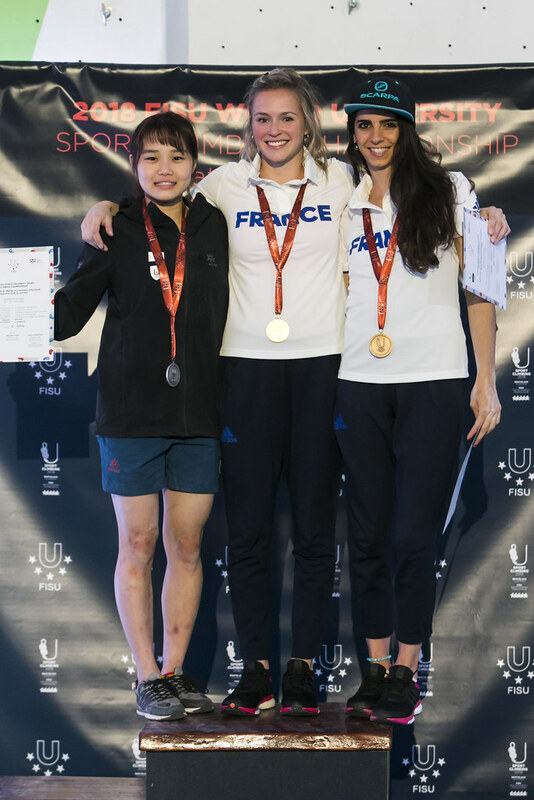 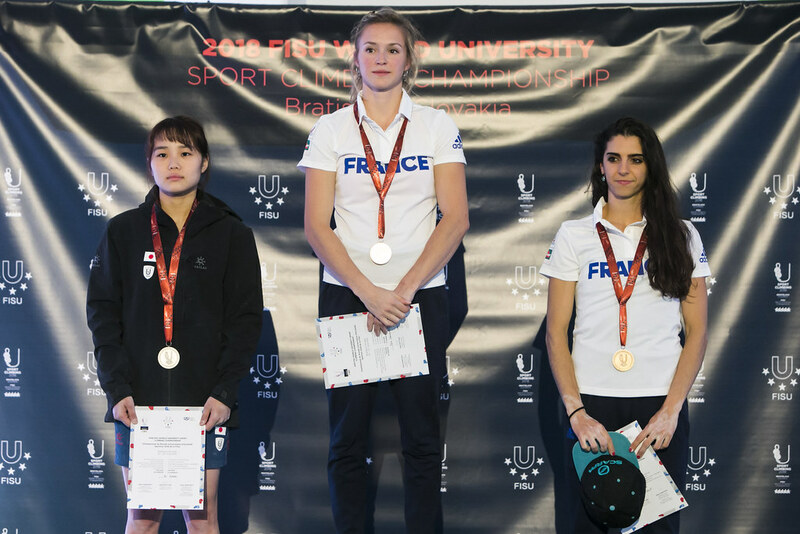 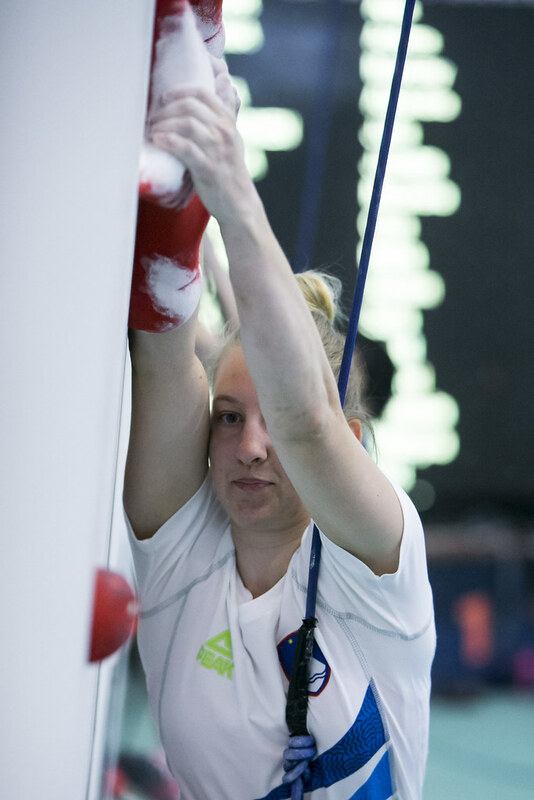 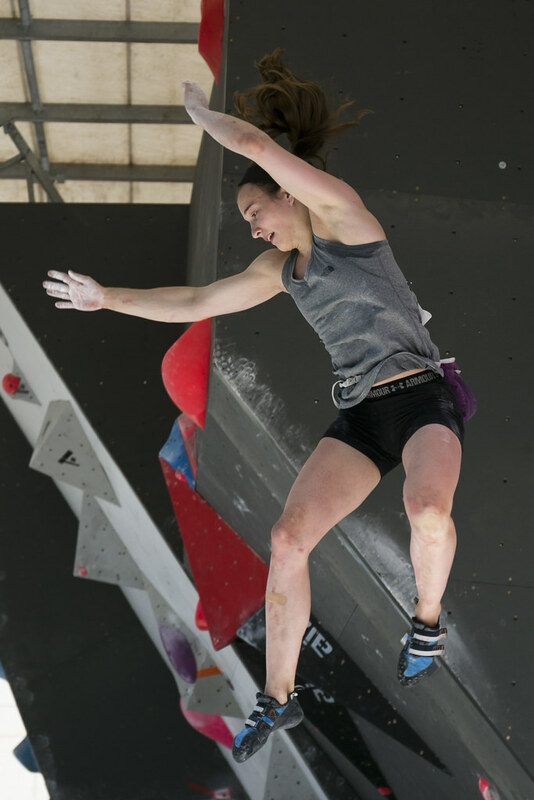 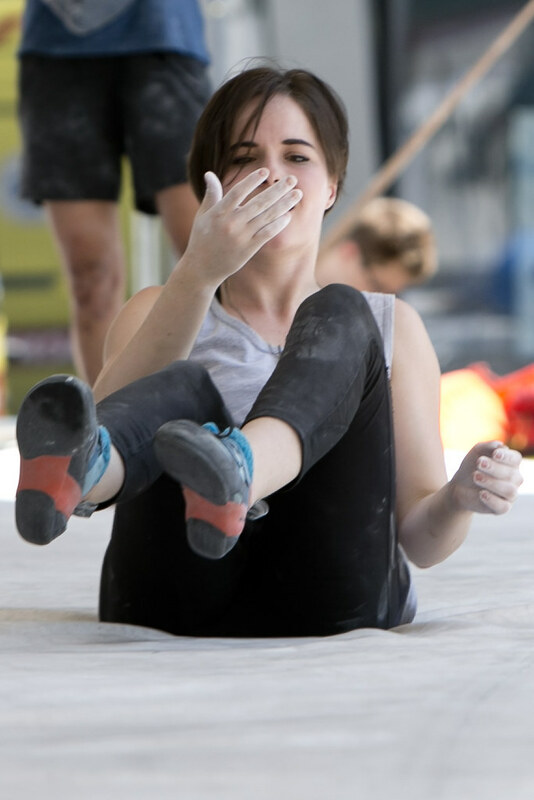 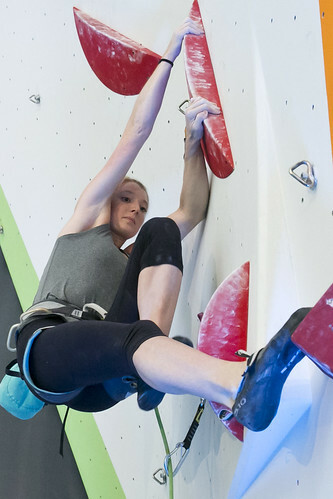 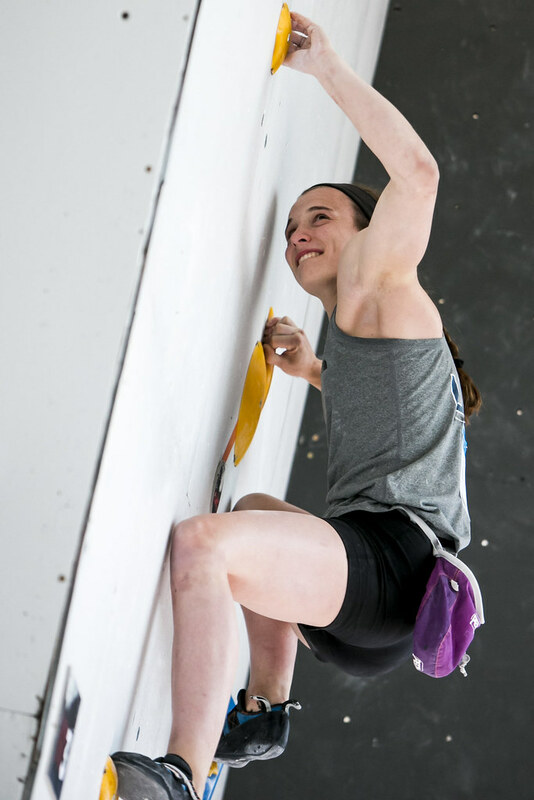 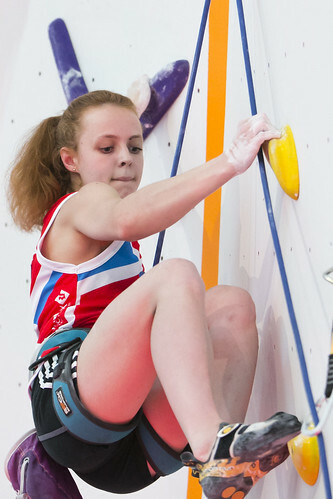 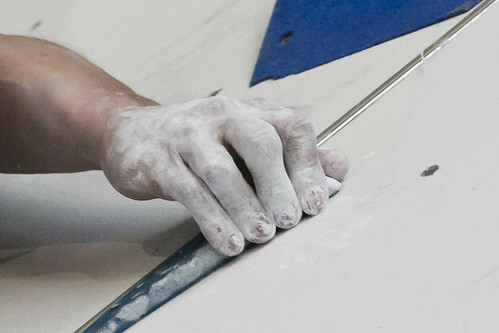 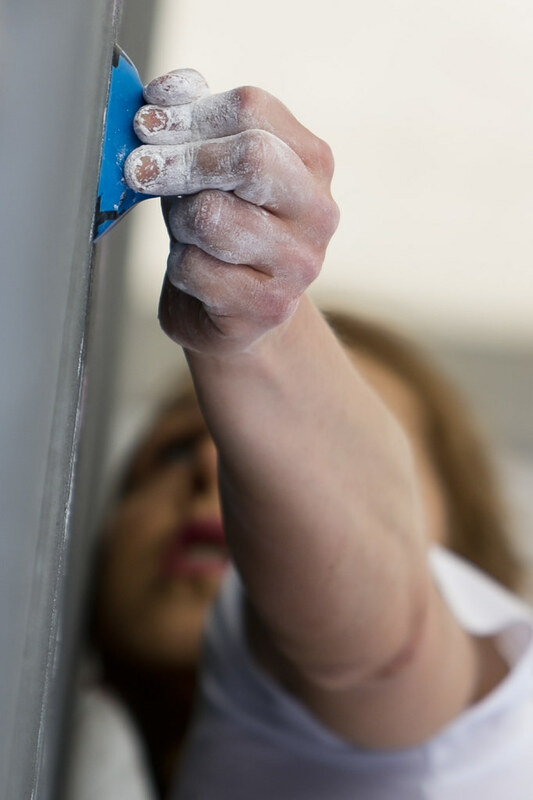 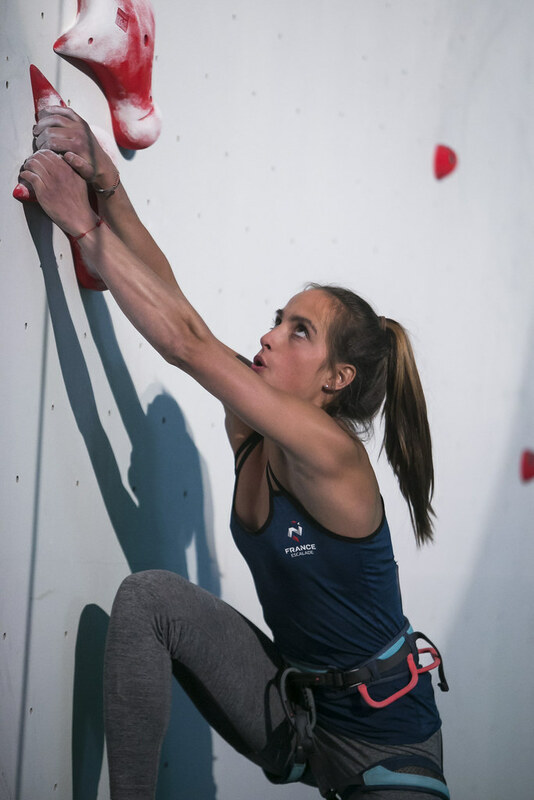 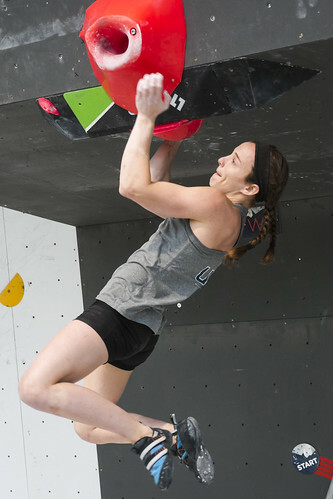 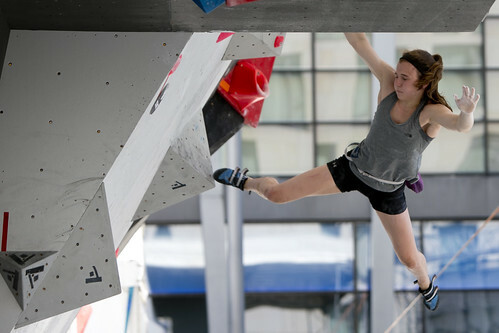 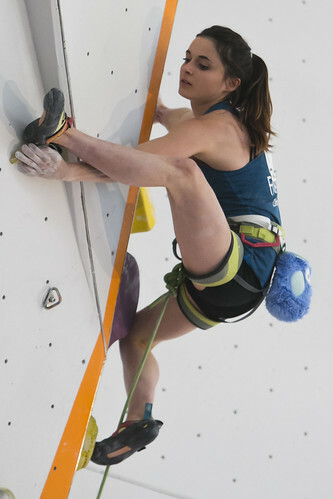 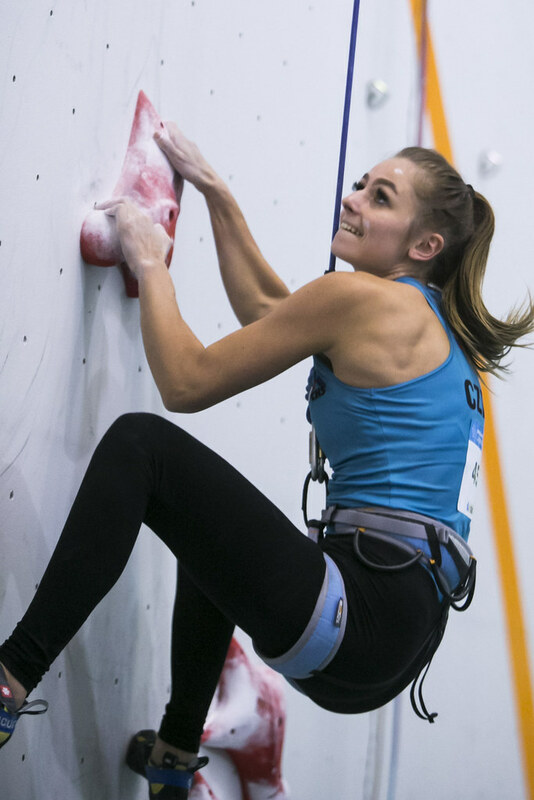 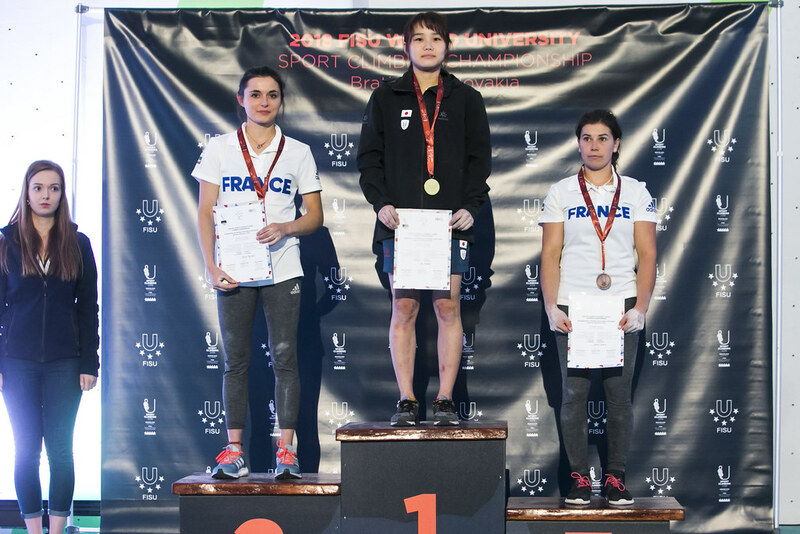 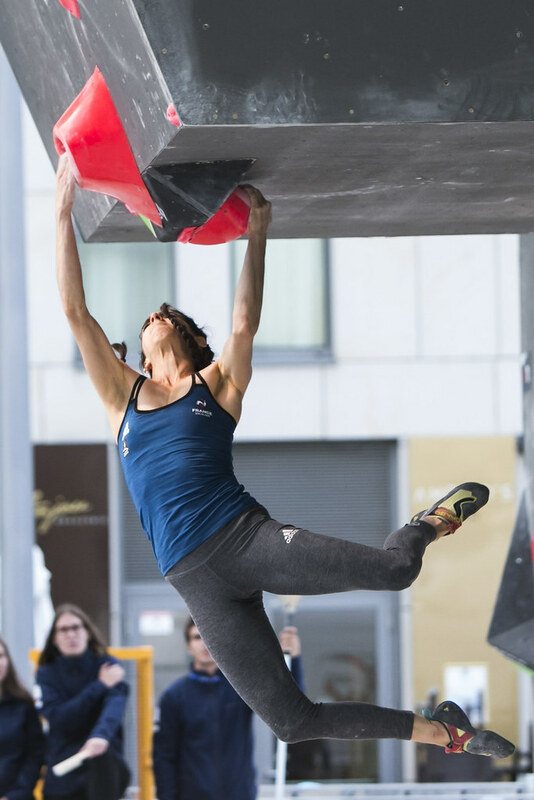 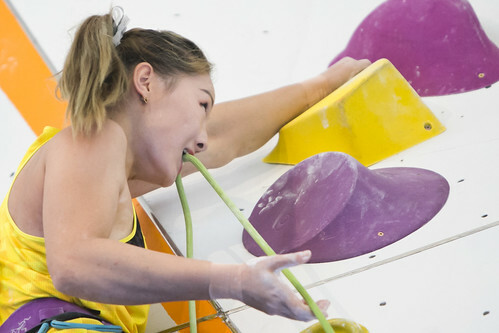 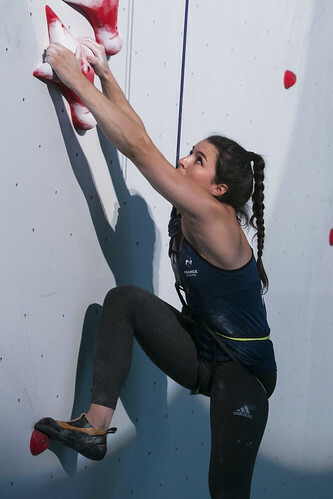 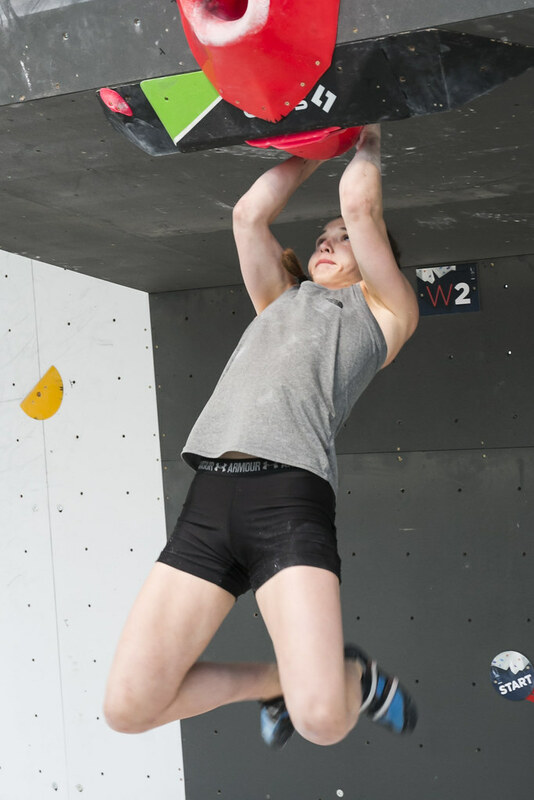 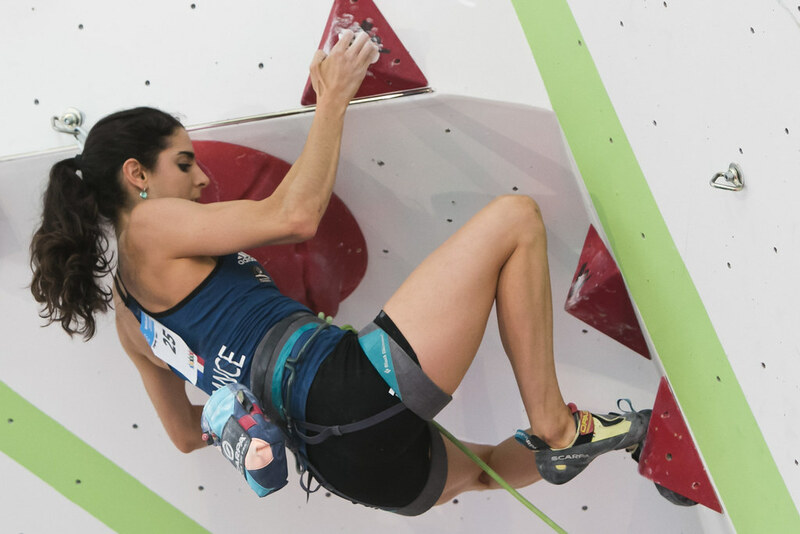 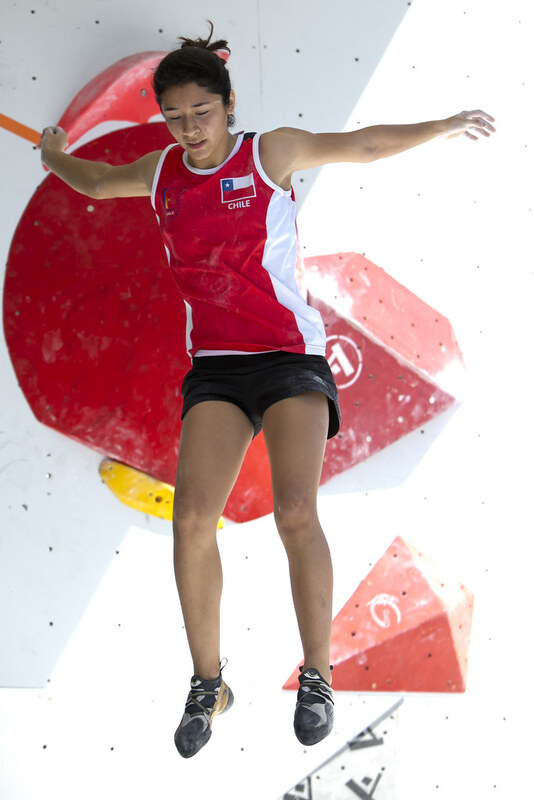 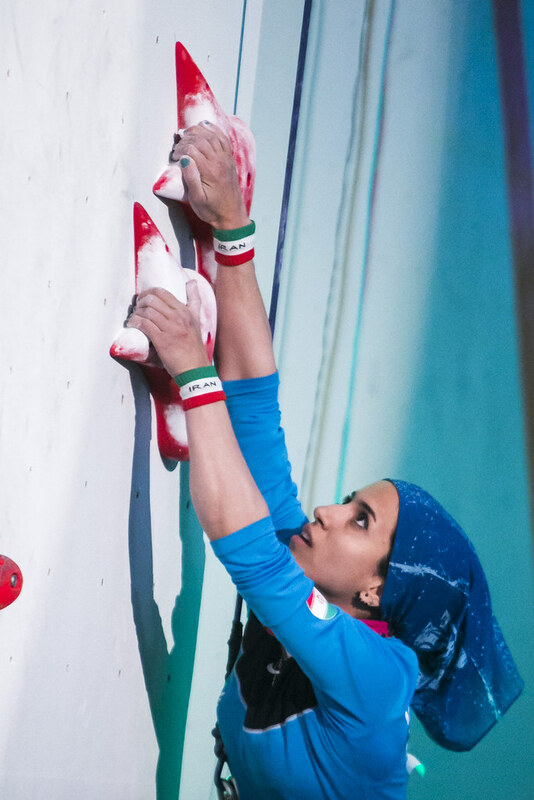 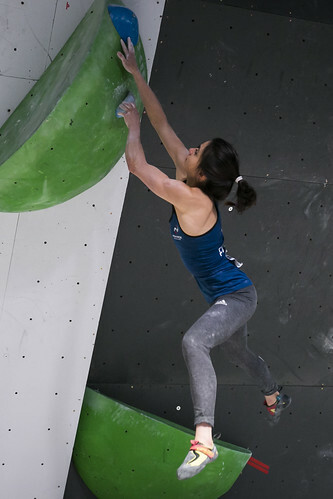 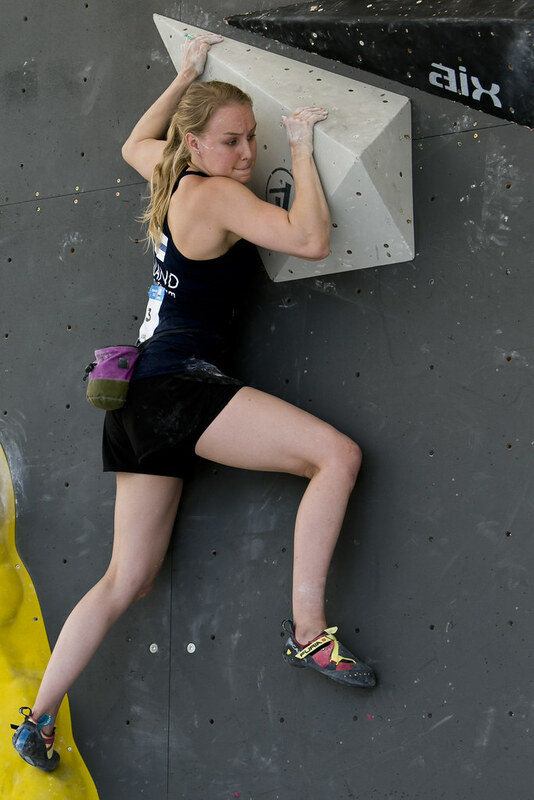 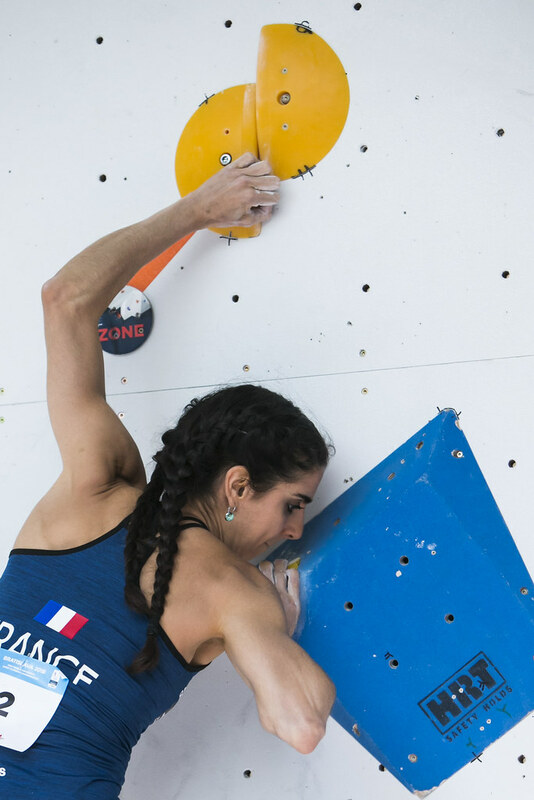 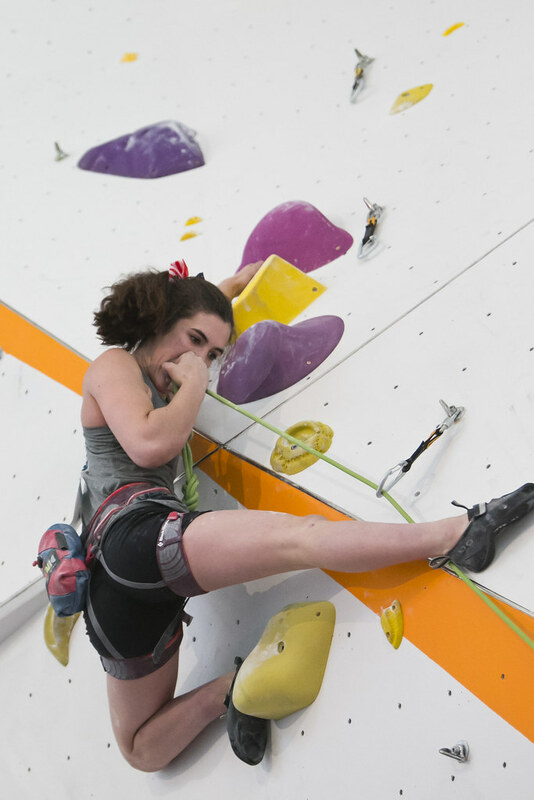 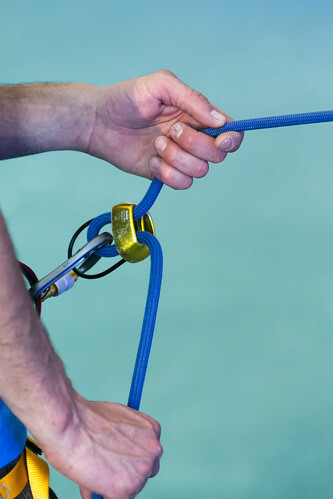 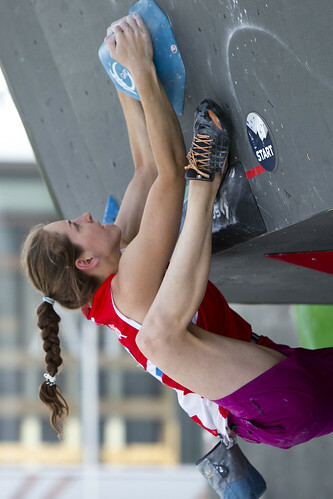 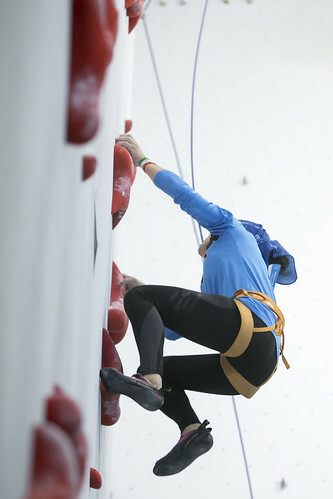 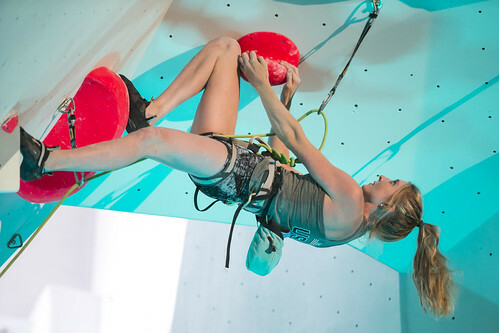 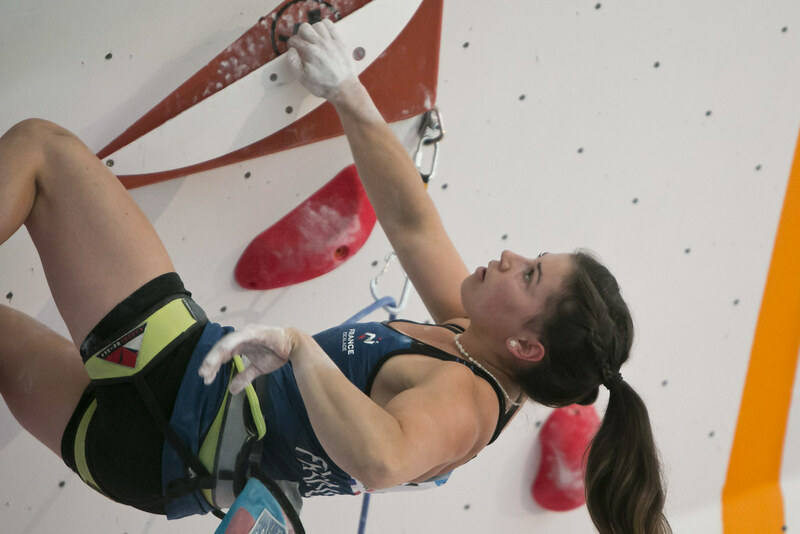 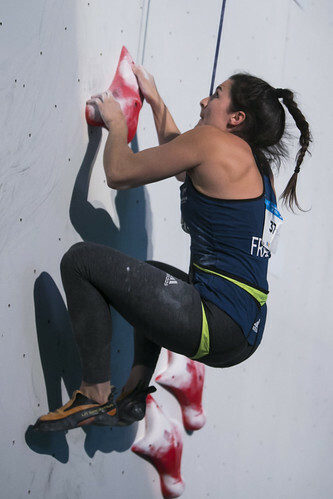 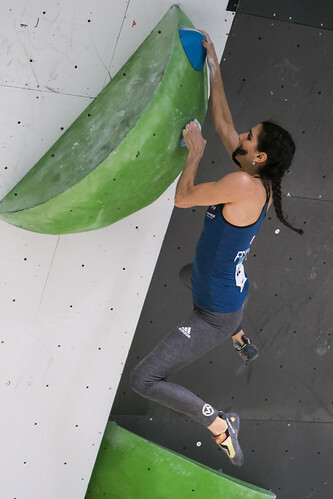 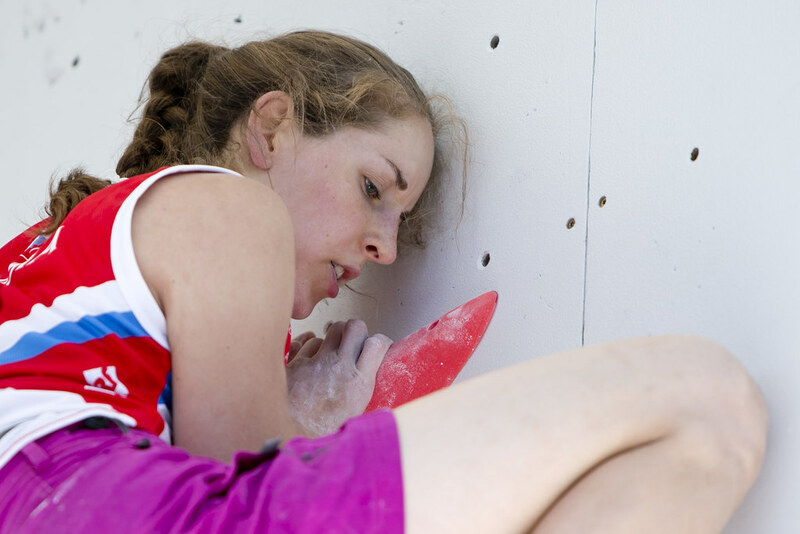 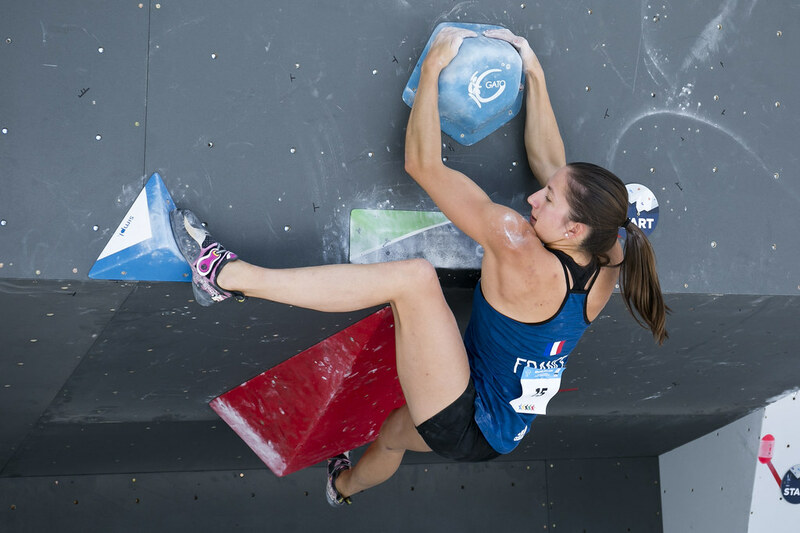 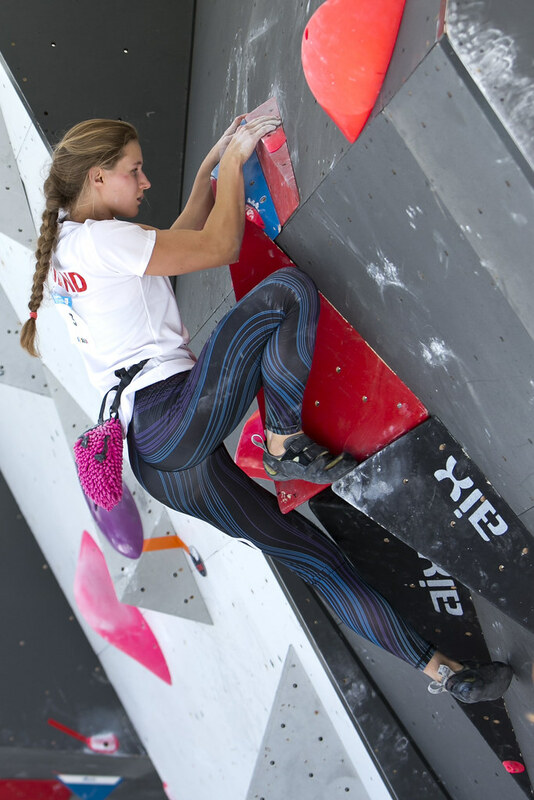 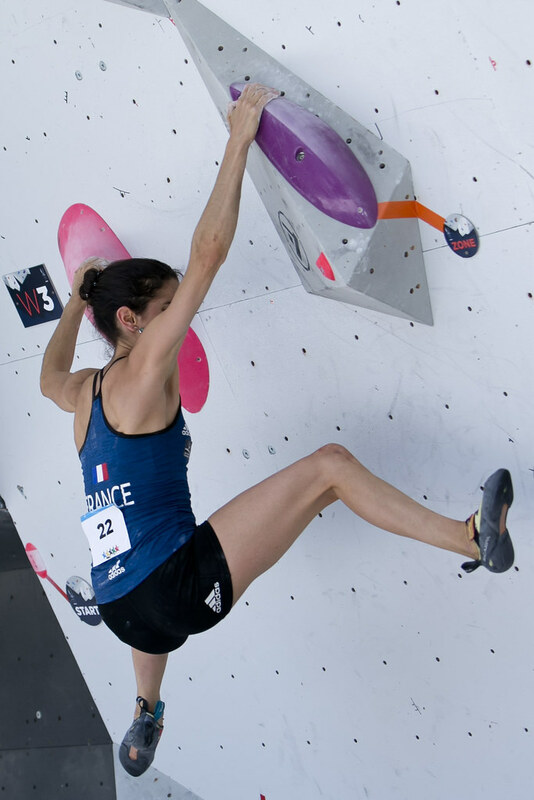 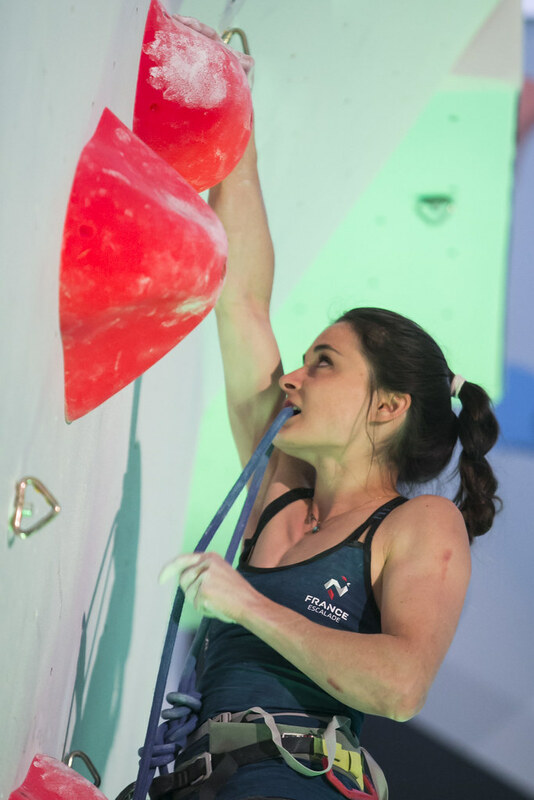 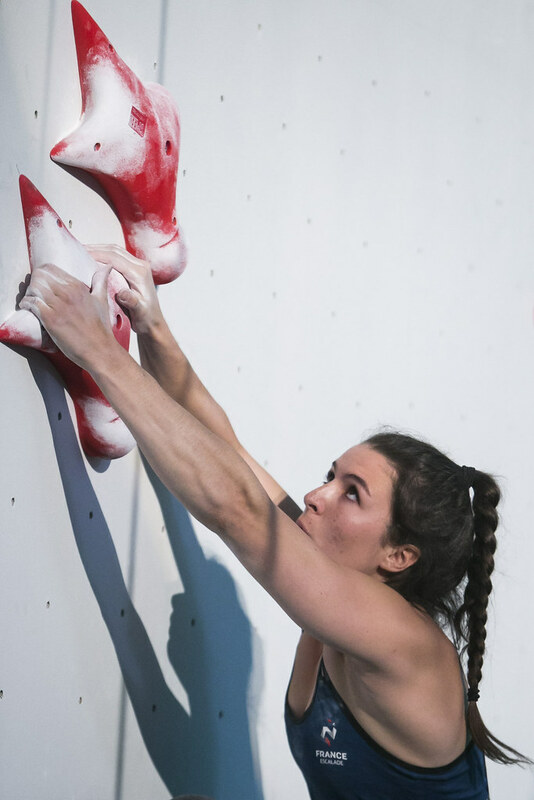 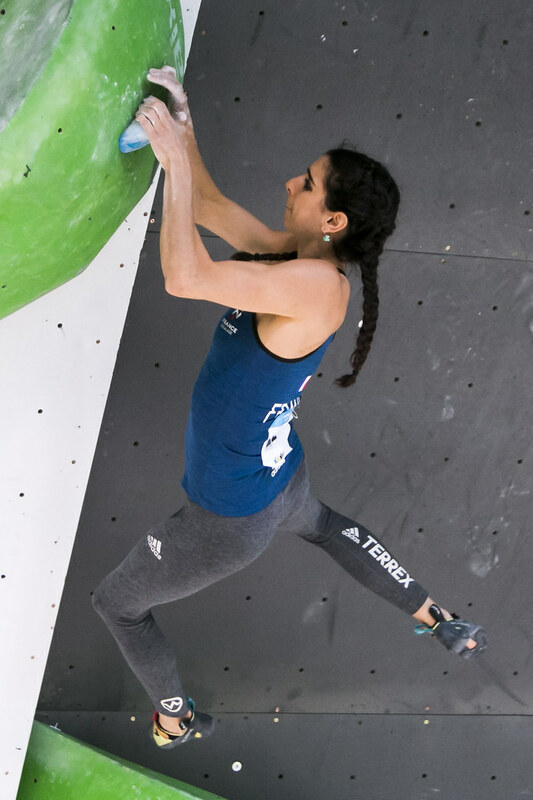 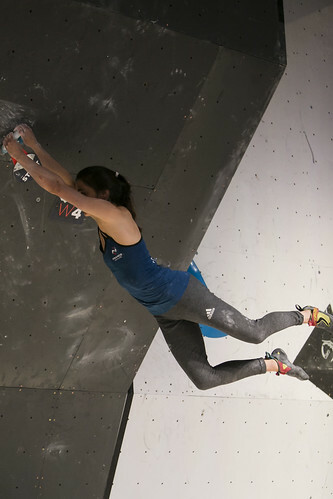 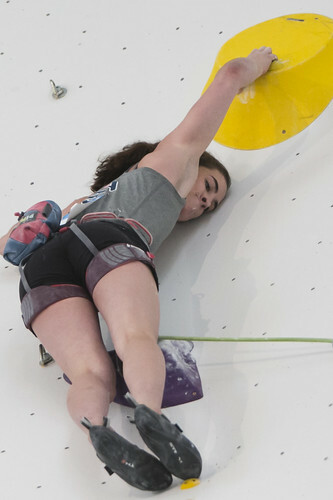 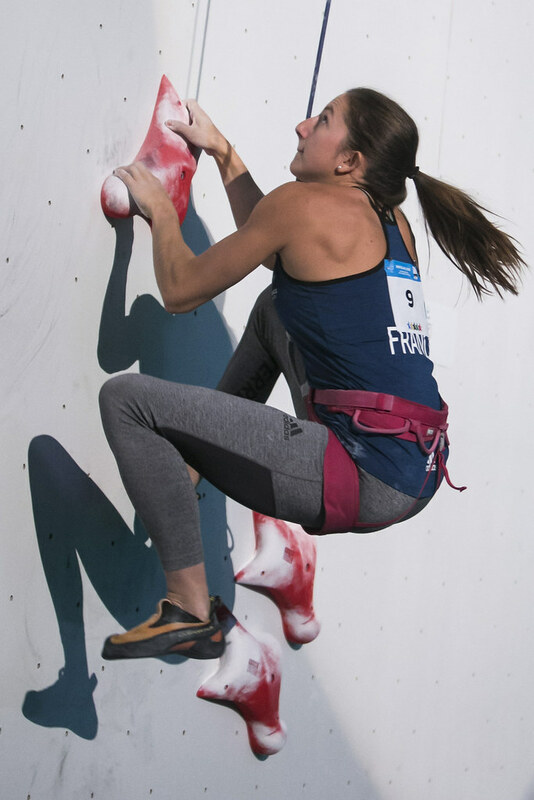 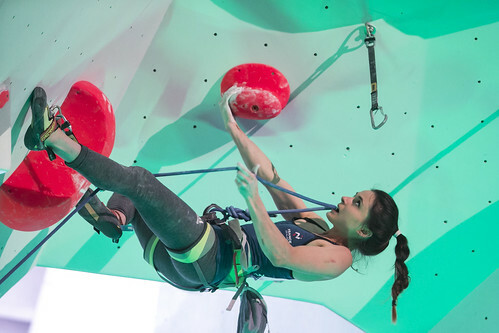 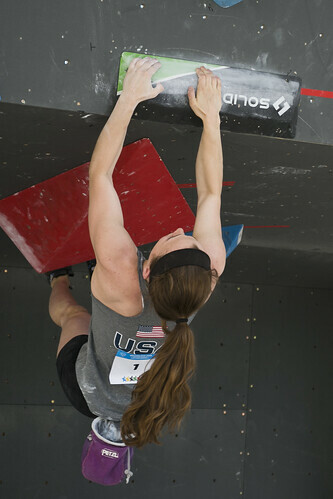 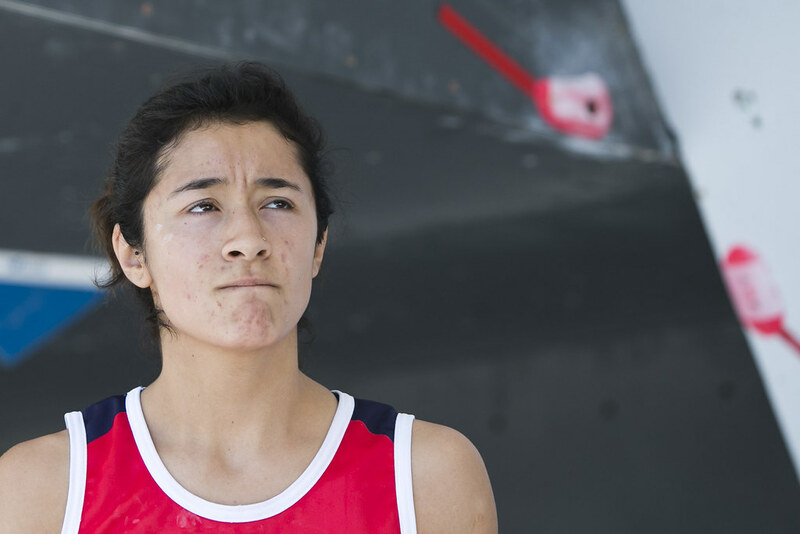 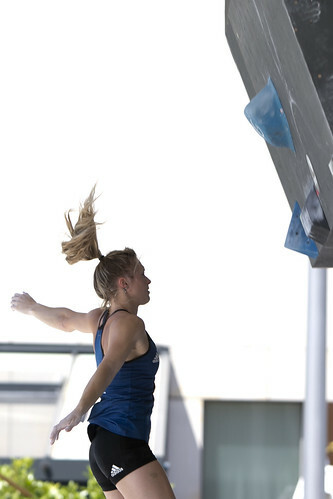 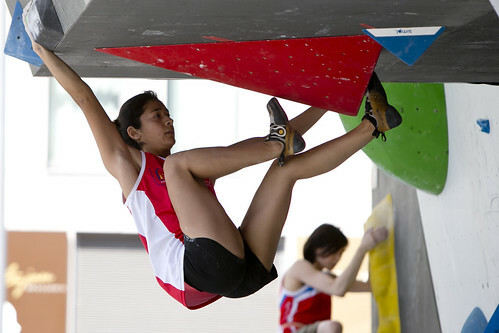 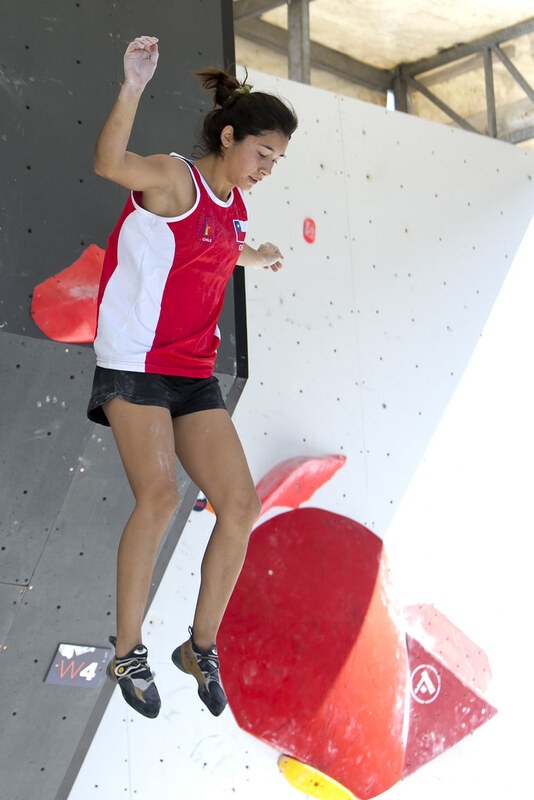 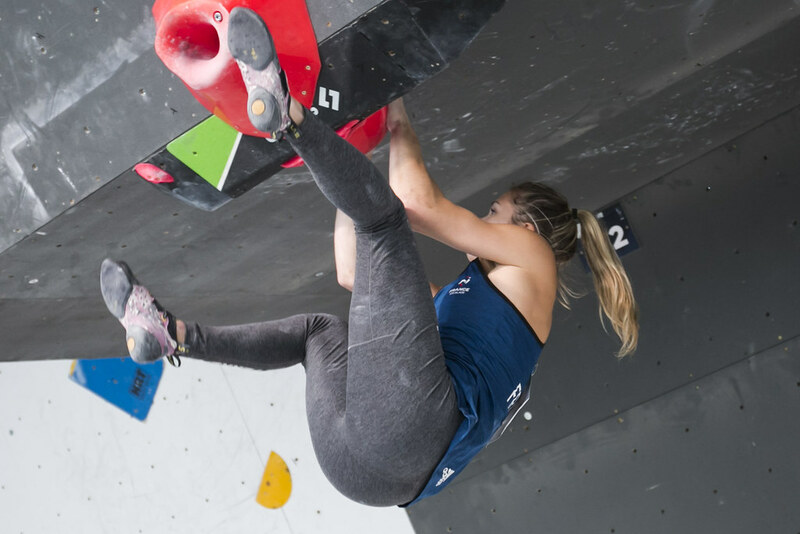 Julia Chanourdie also brought home a gold medal in the Combined on Saturday after consistently competing well in all three disciplines of Sport Climbing. 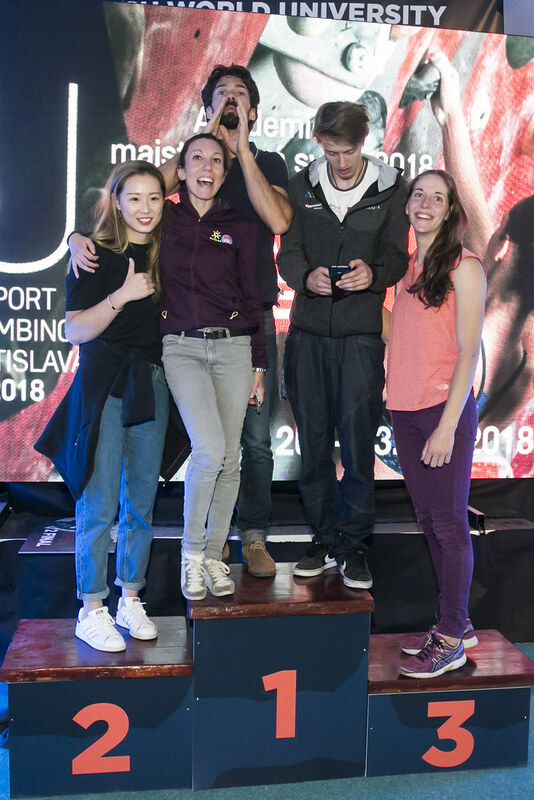 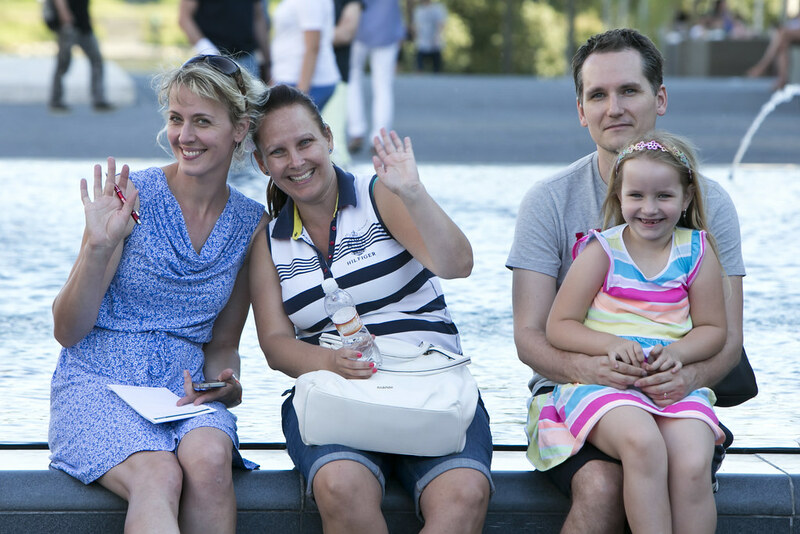 Full results, replays of final rounds, photos, interviews and more can be found on the Bratislava event page.